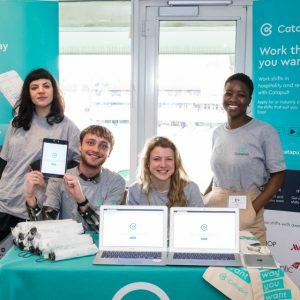 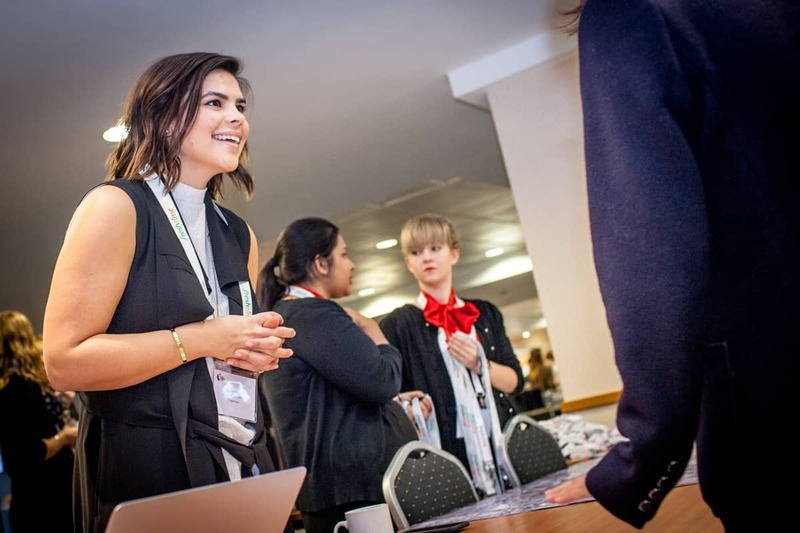 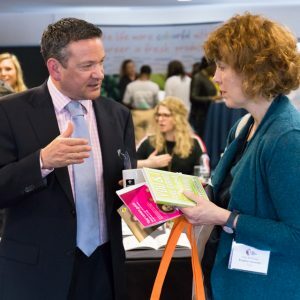 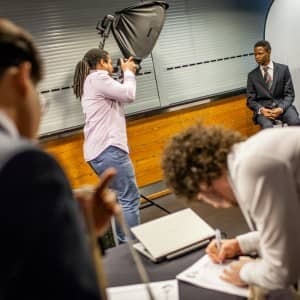 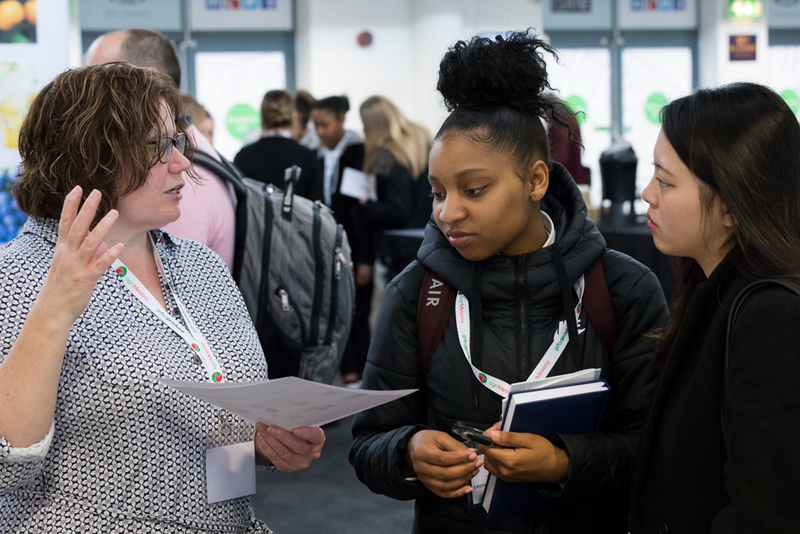 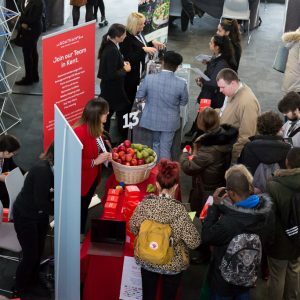 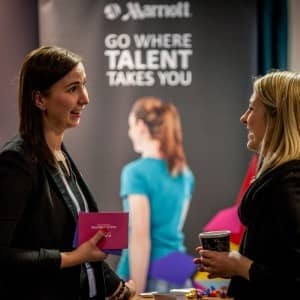 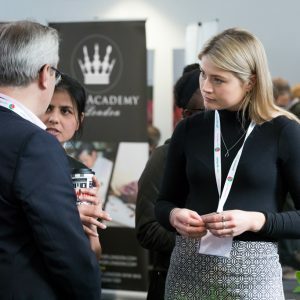 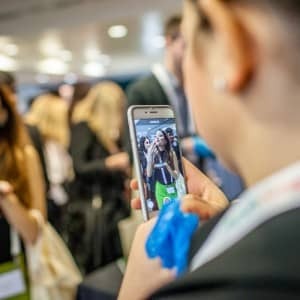 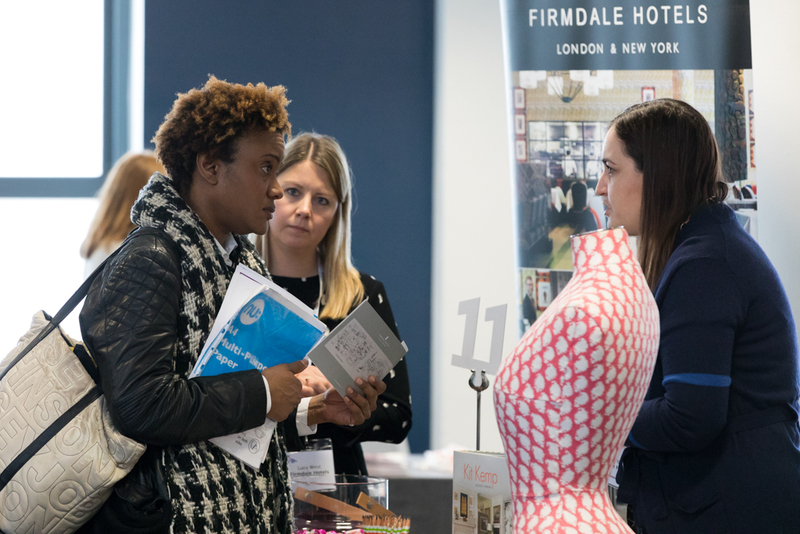 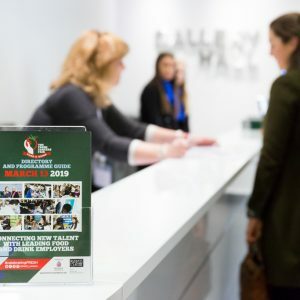 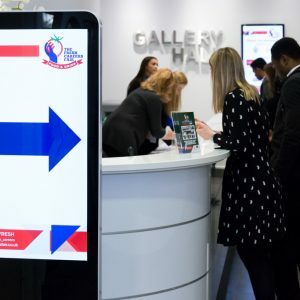 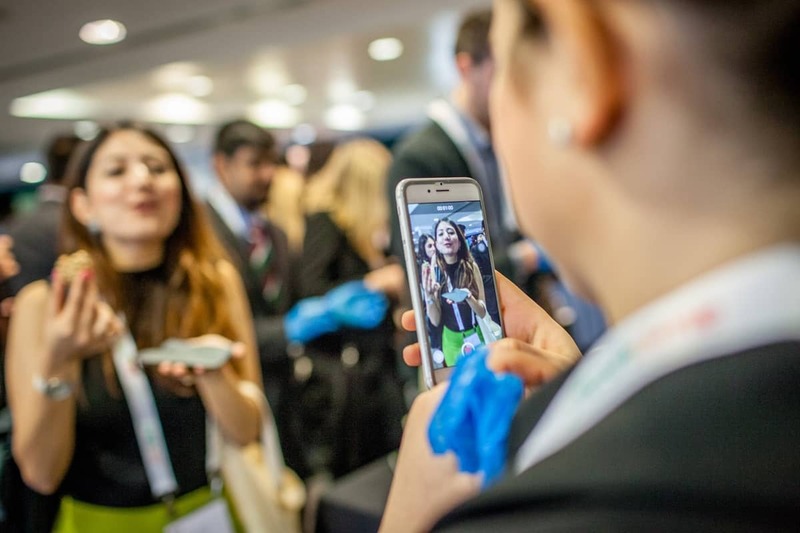 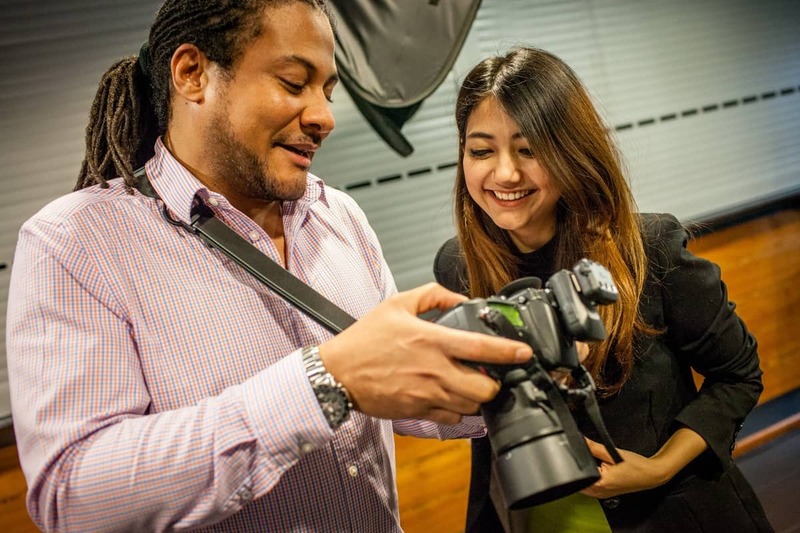 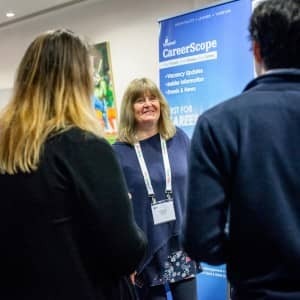 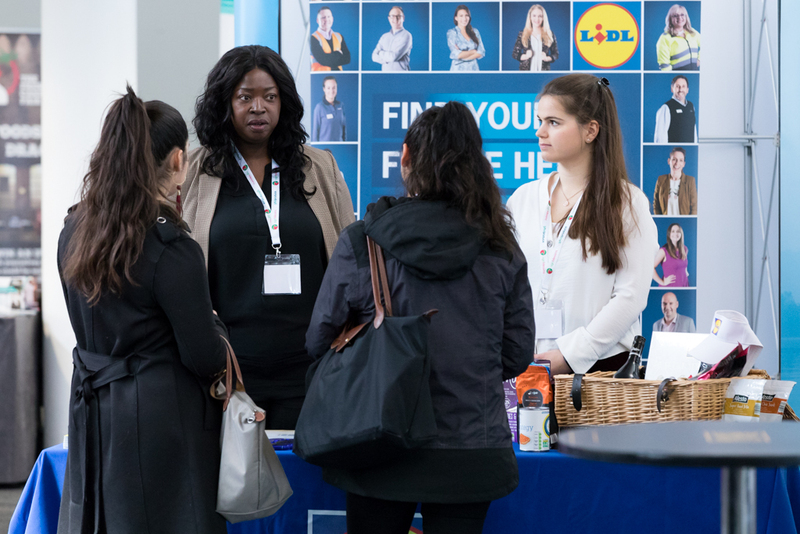 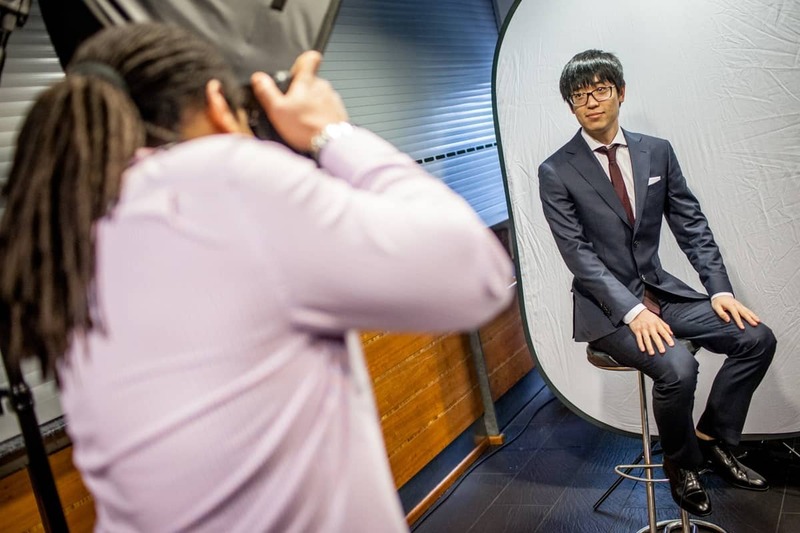 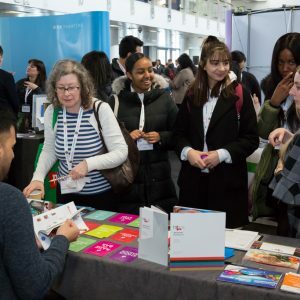 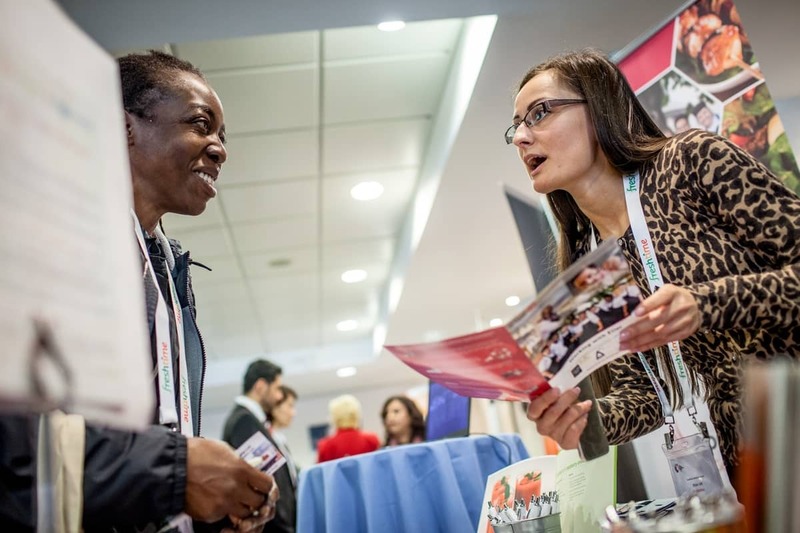 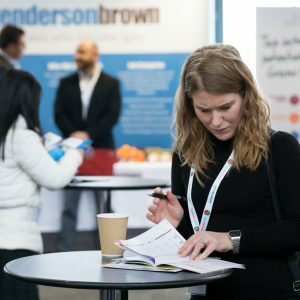 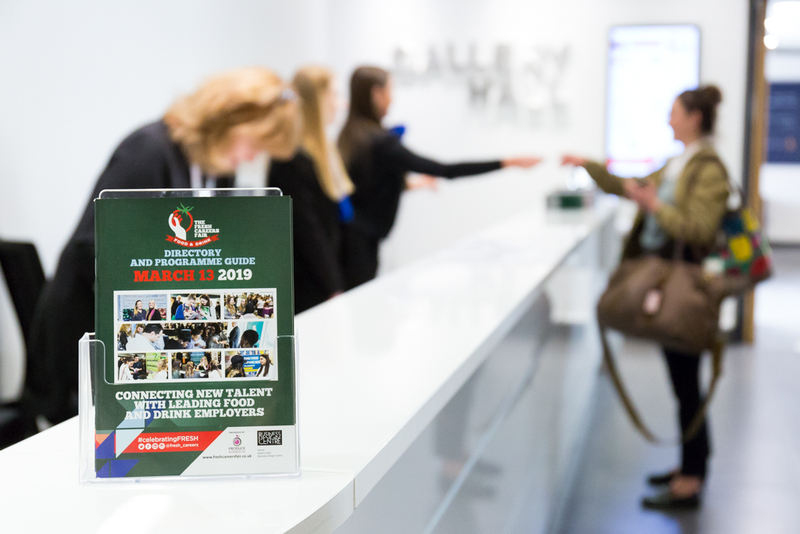 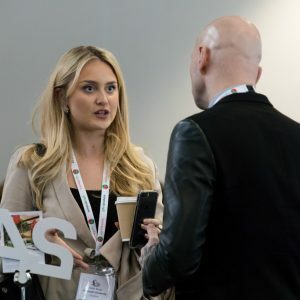 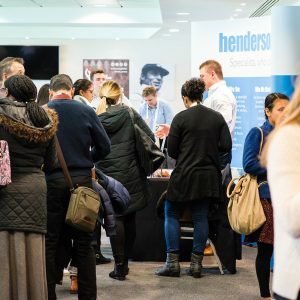 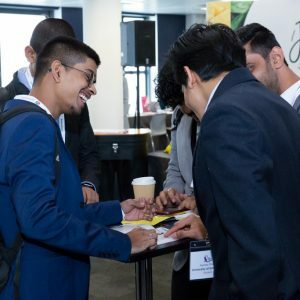 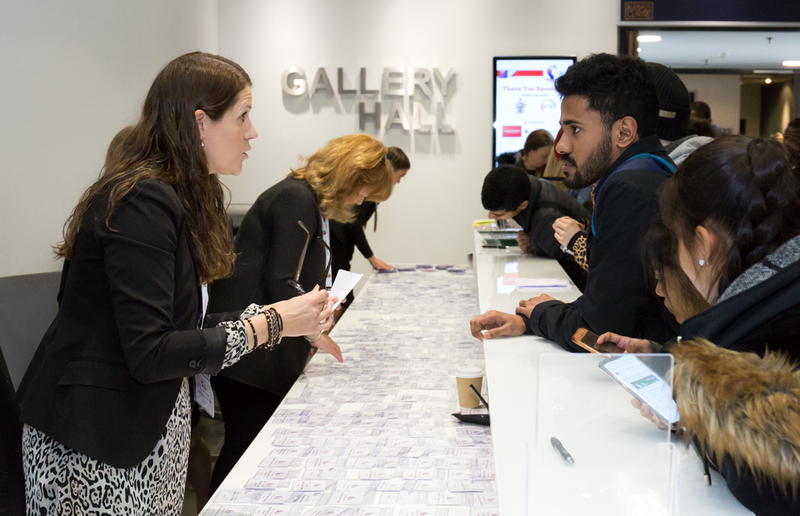 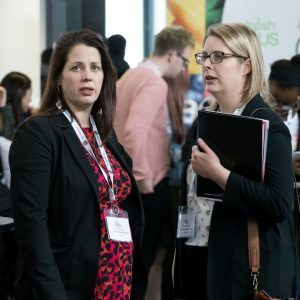 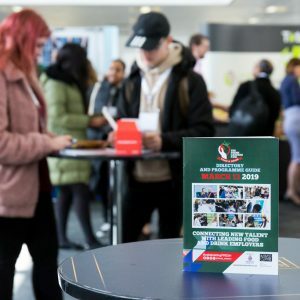 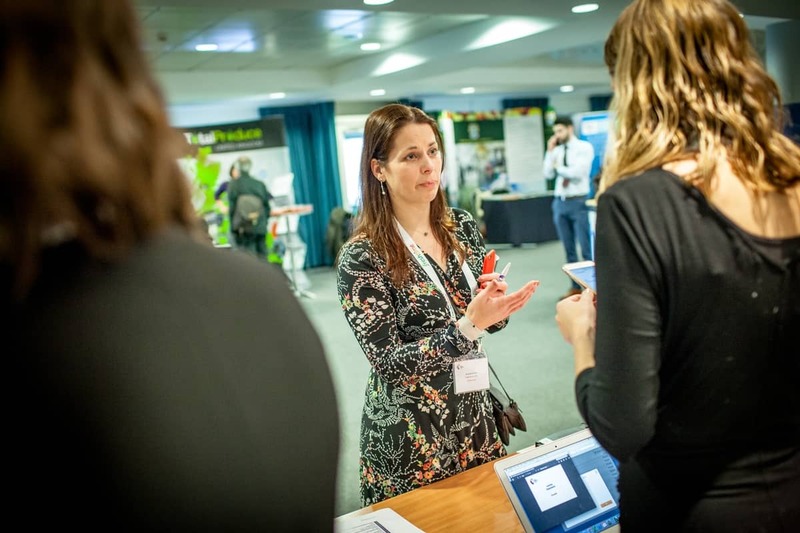 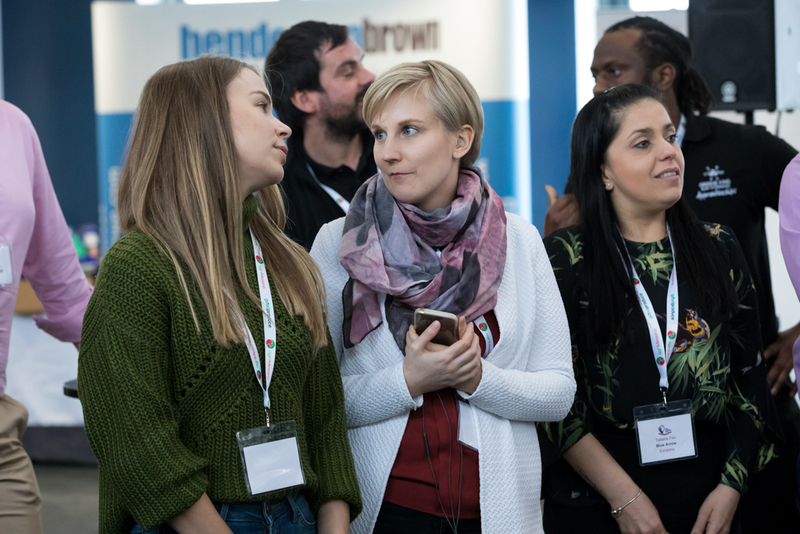 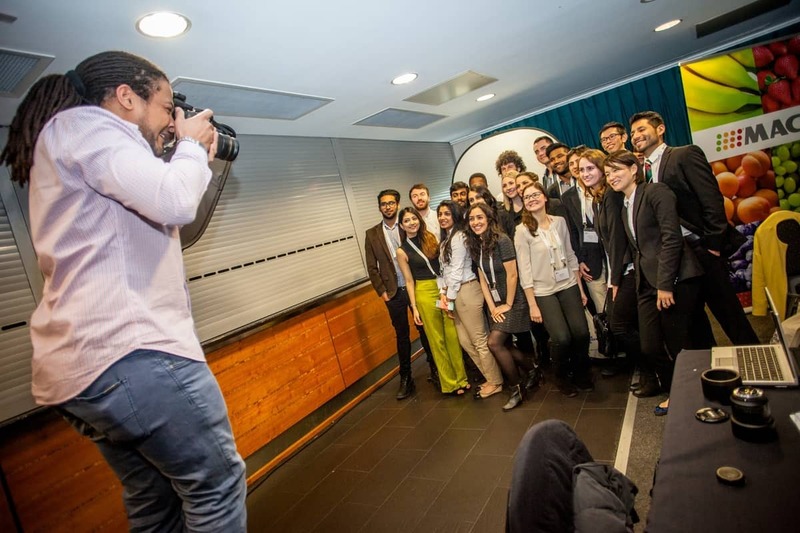 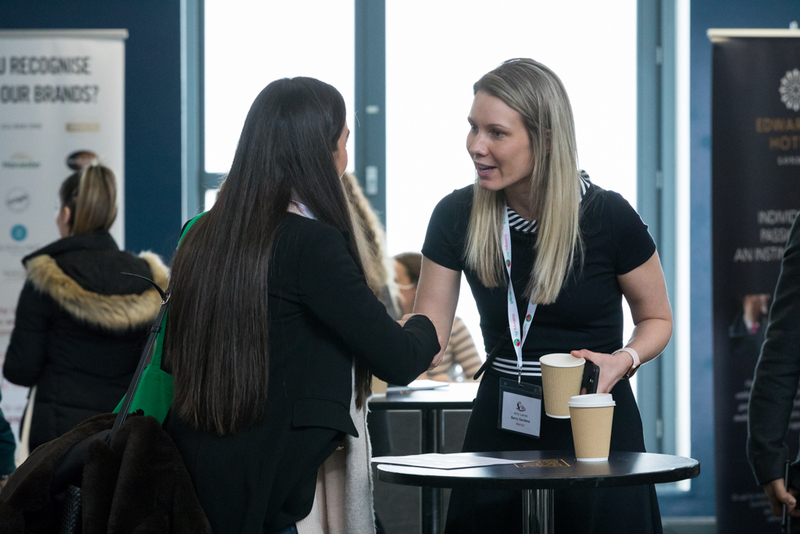 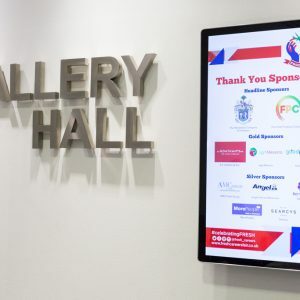 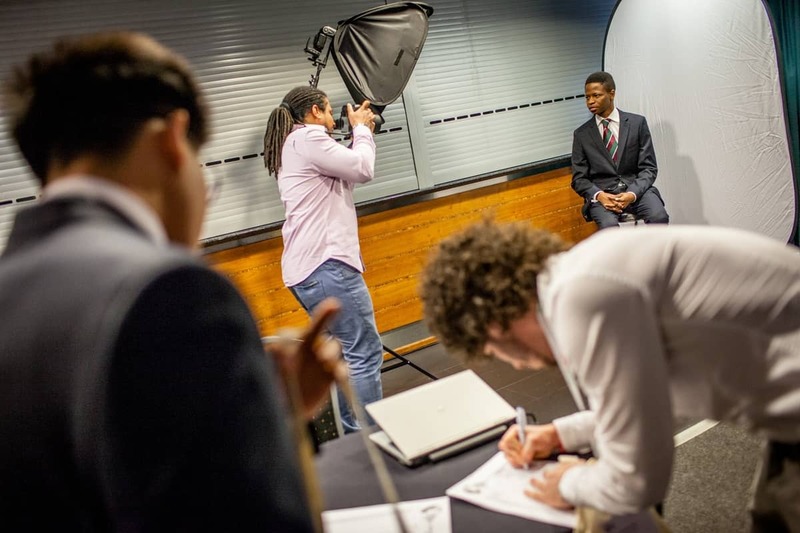 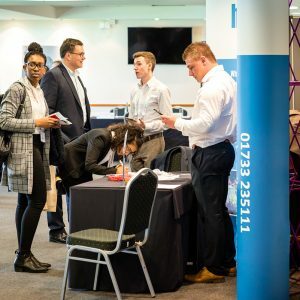 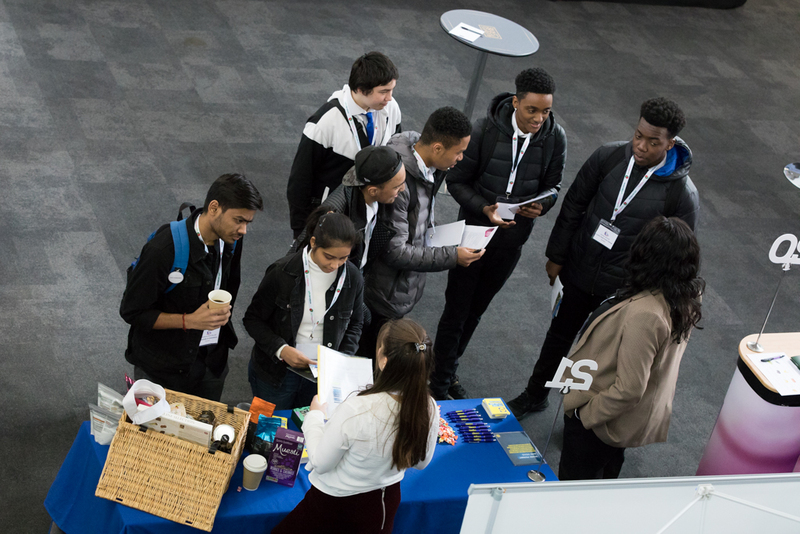 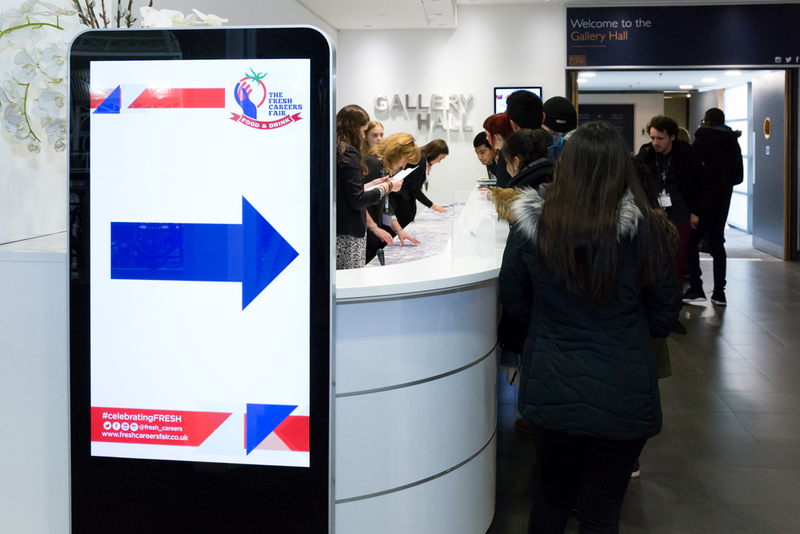 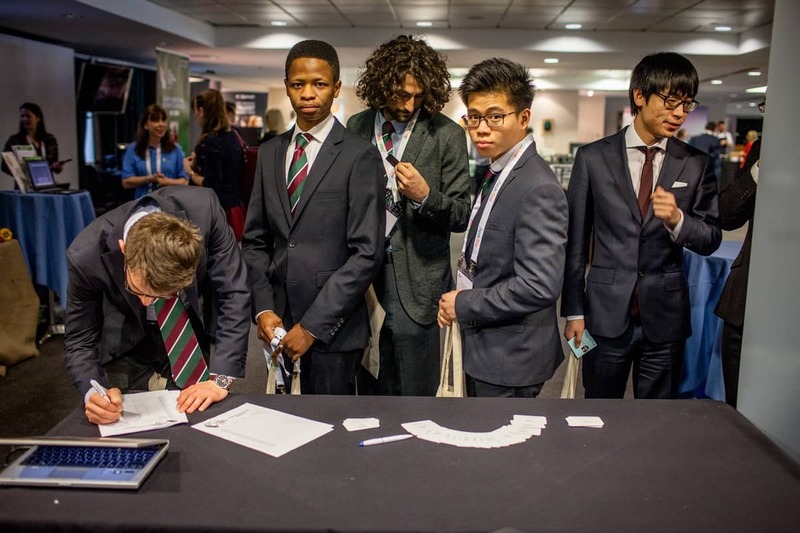 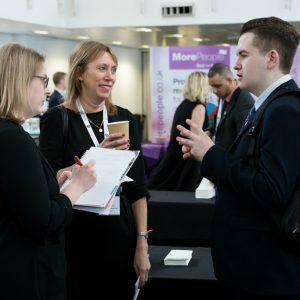 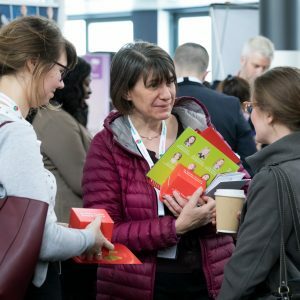 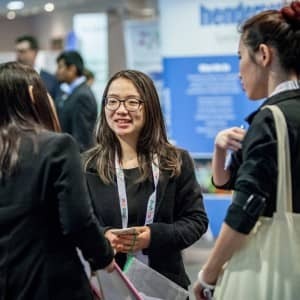 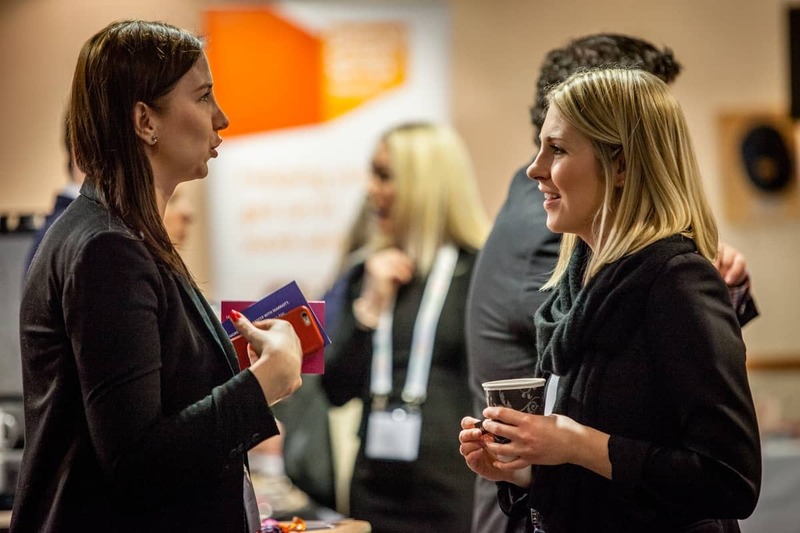 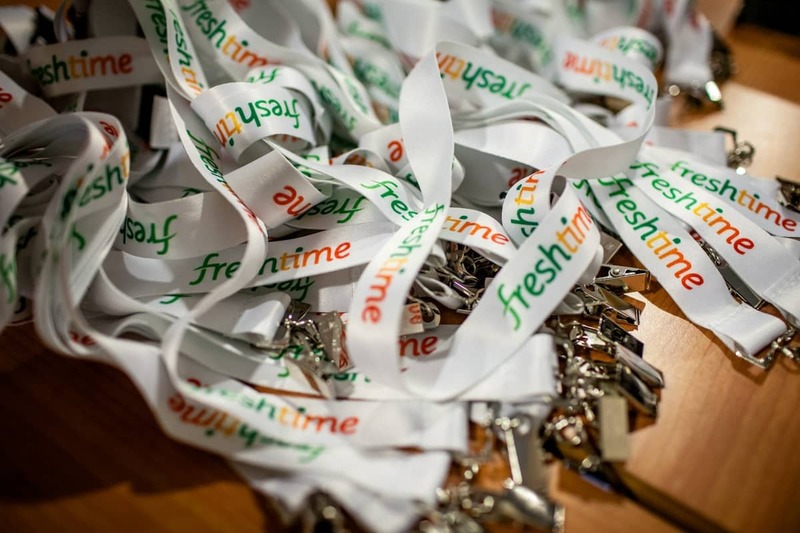 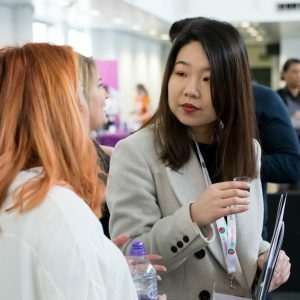 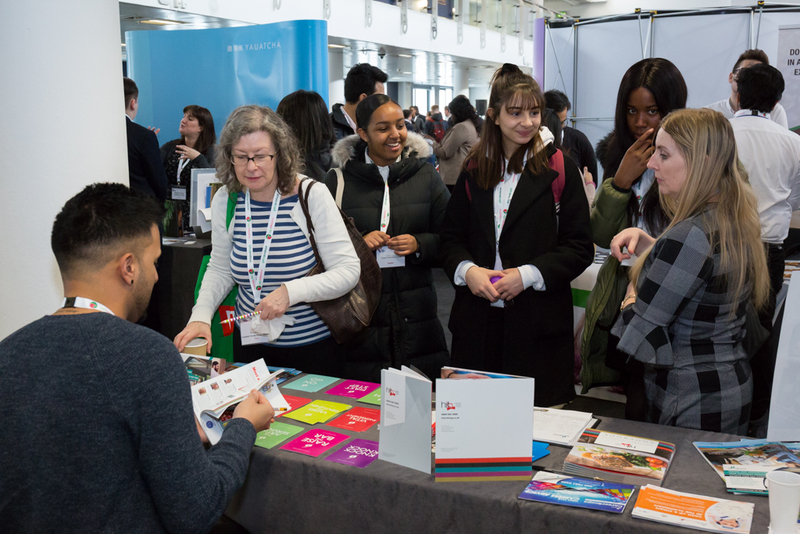 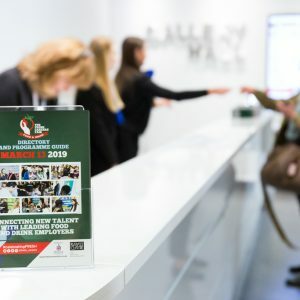 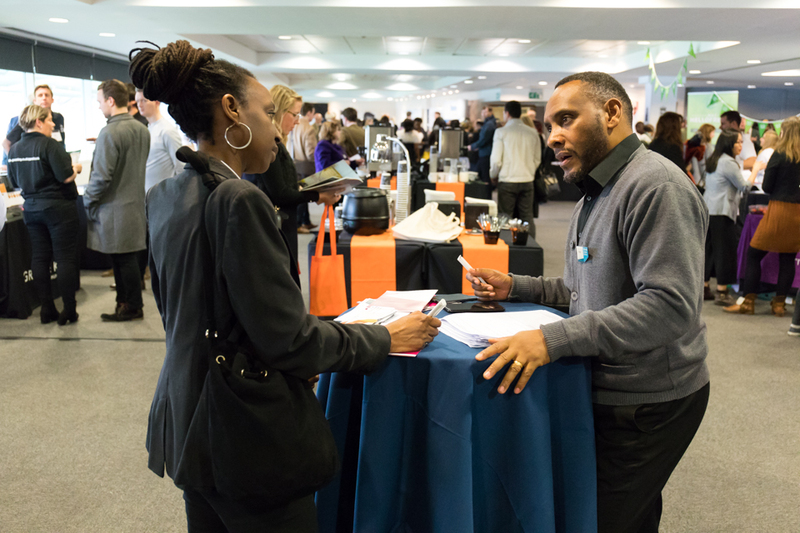 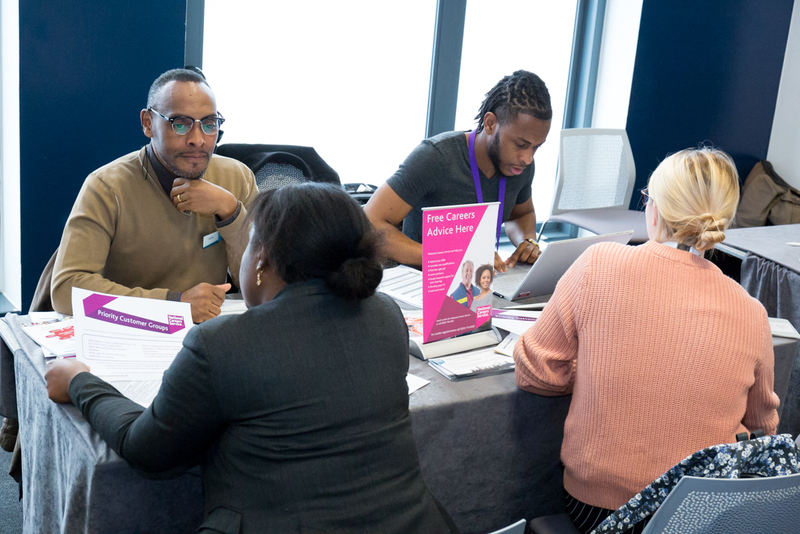 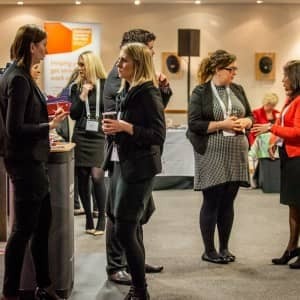 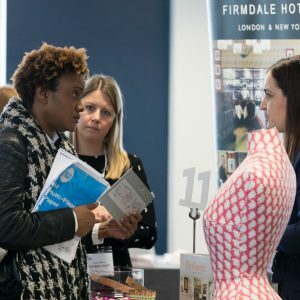 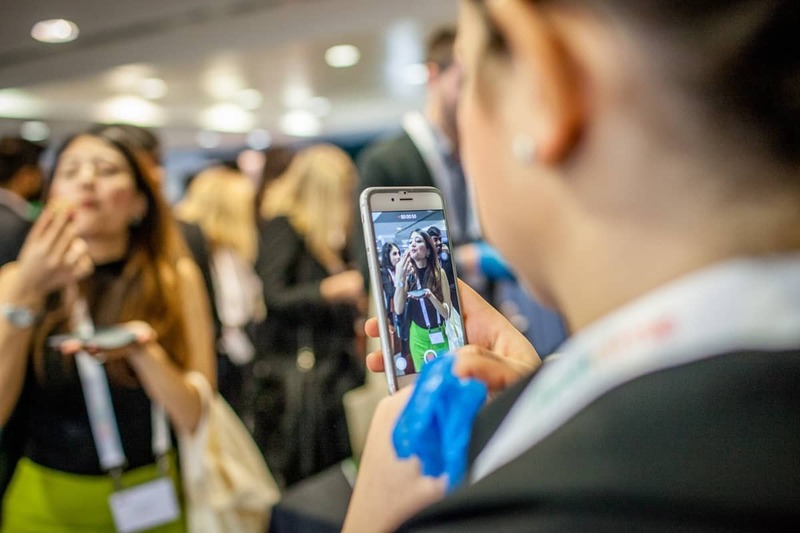 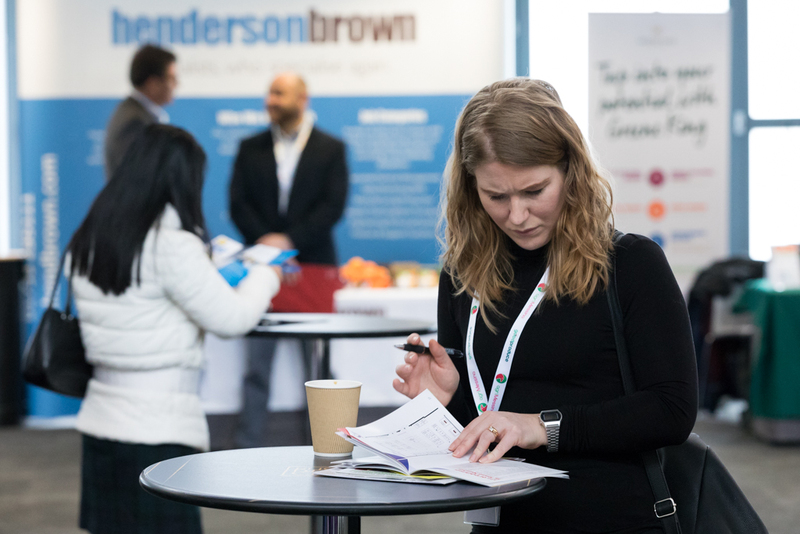 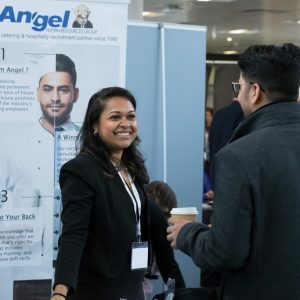 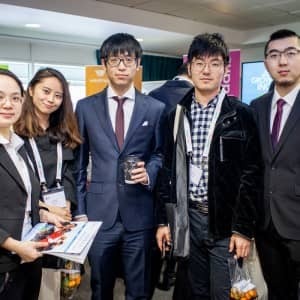 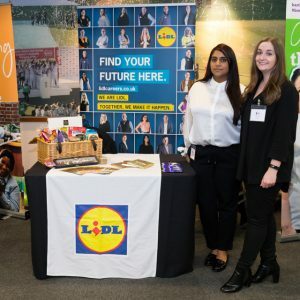 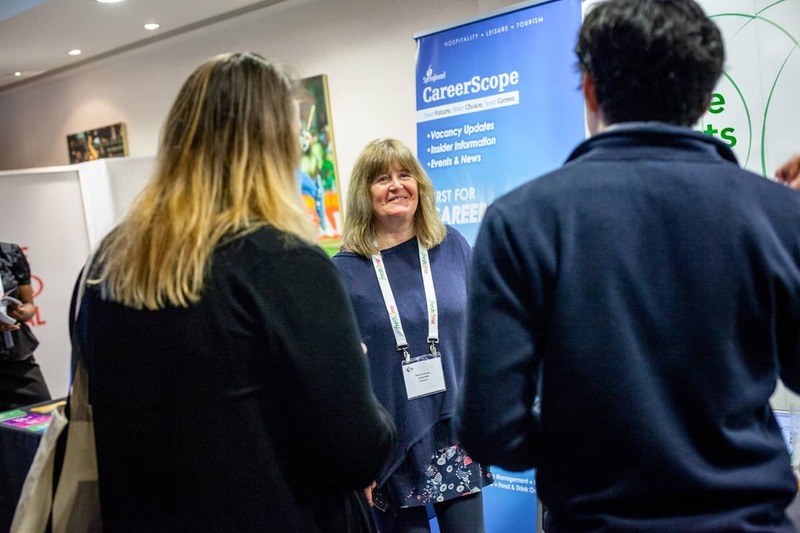 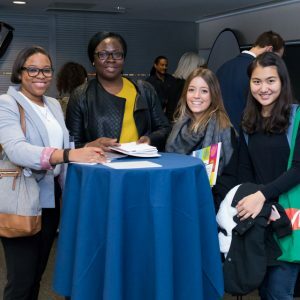 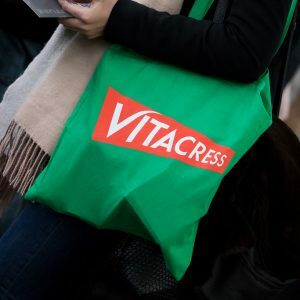 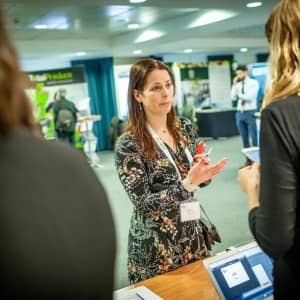 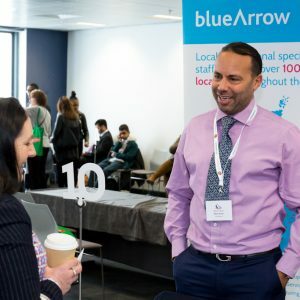 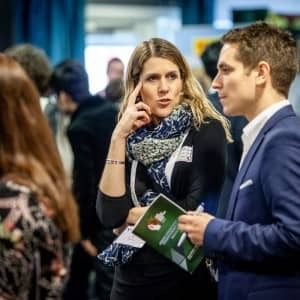 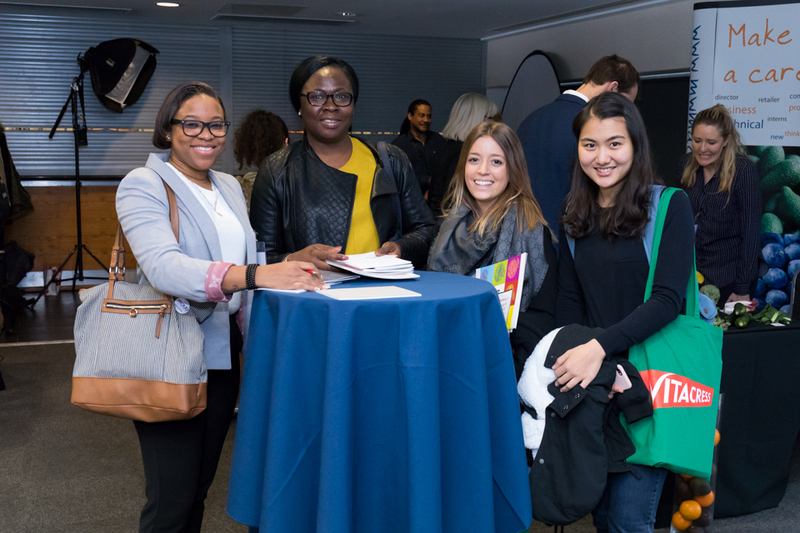 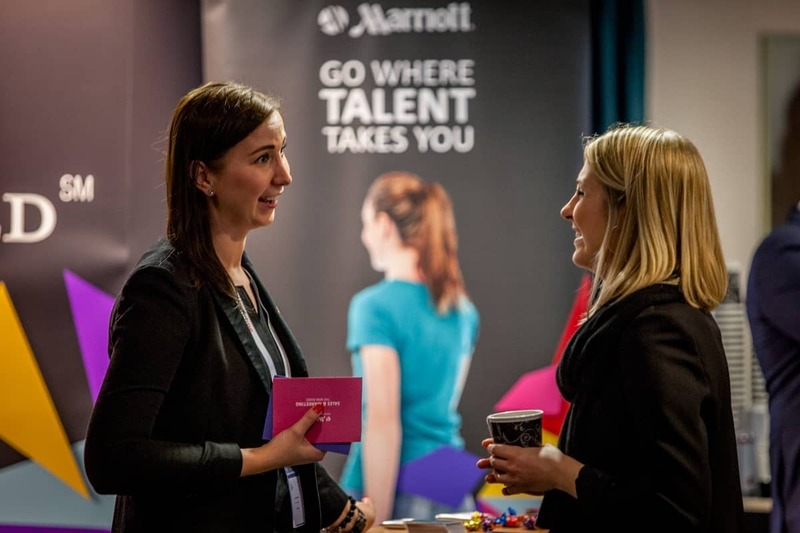 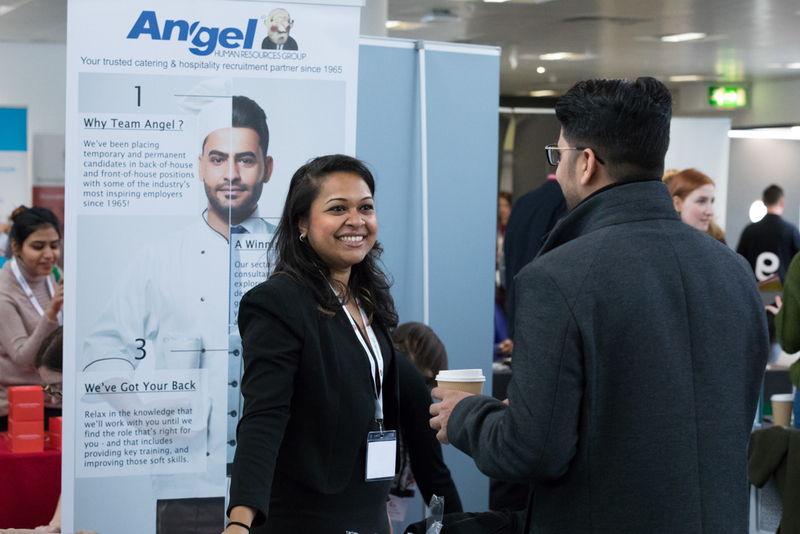 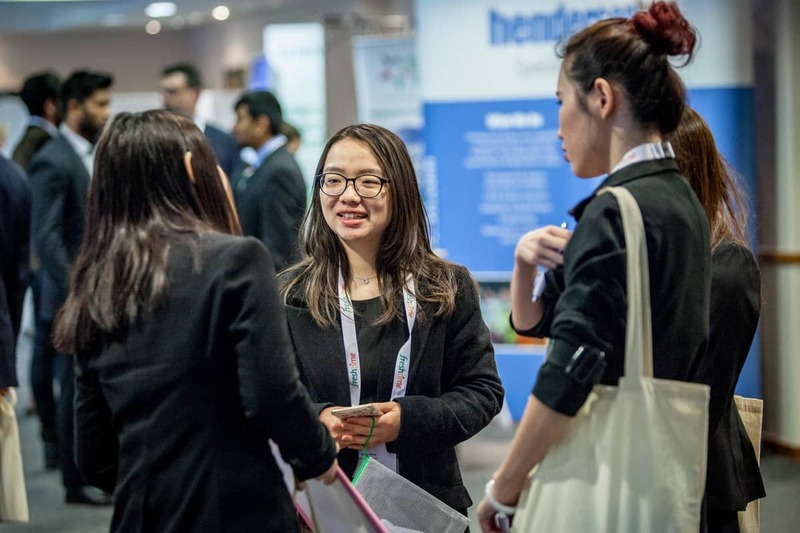 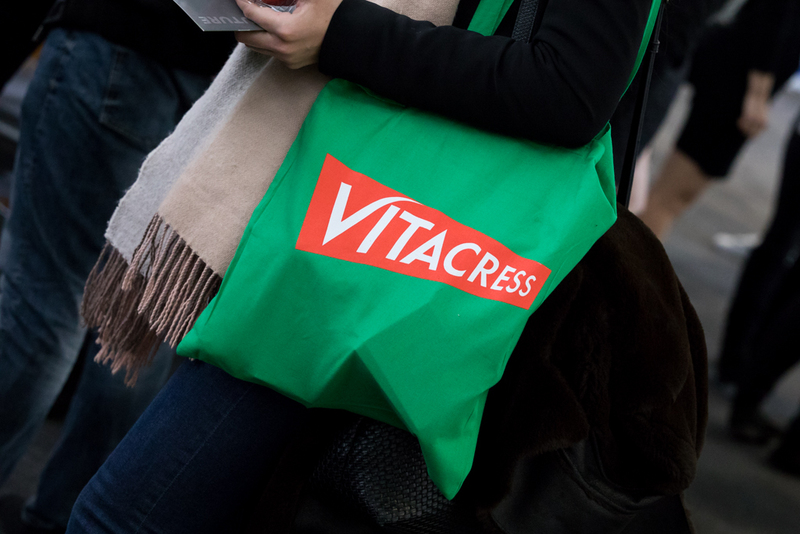 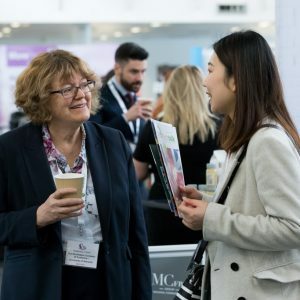 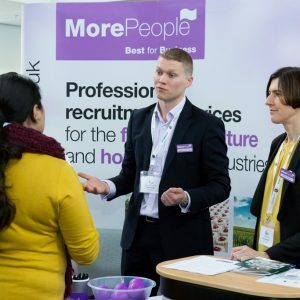 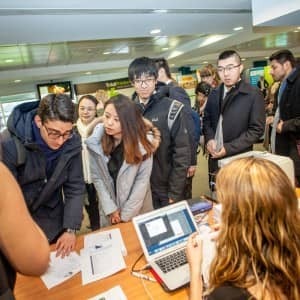 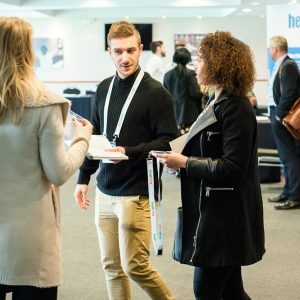 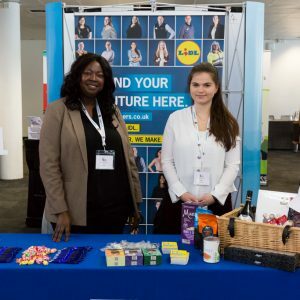 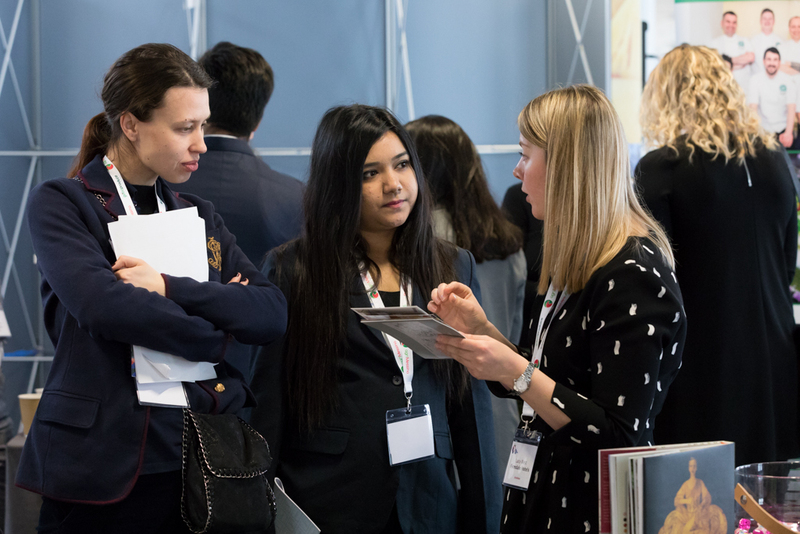 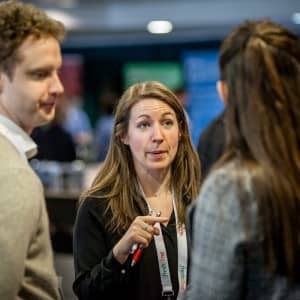 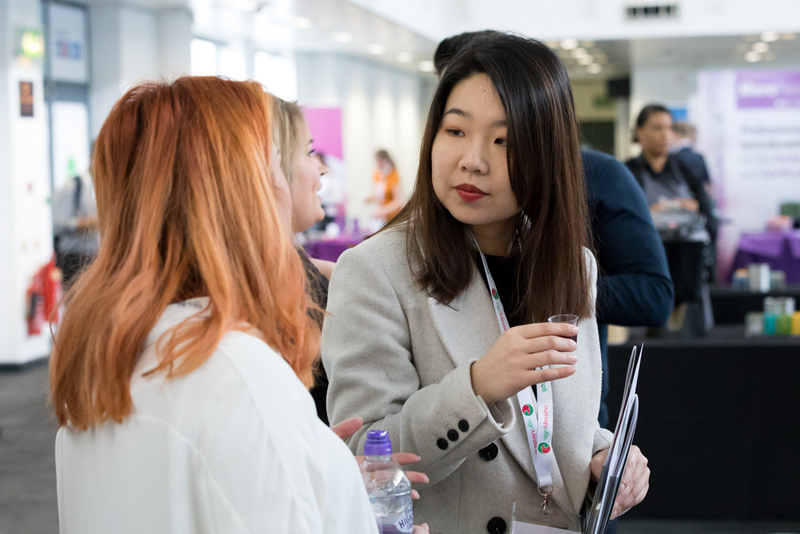 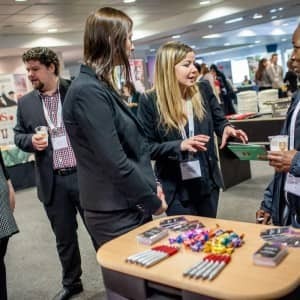 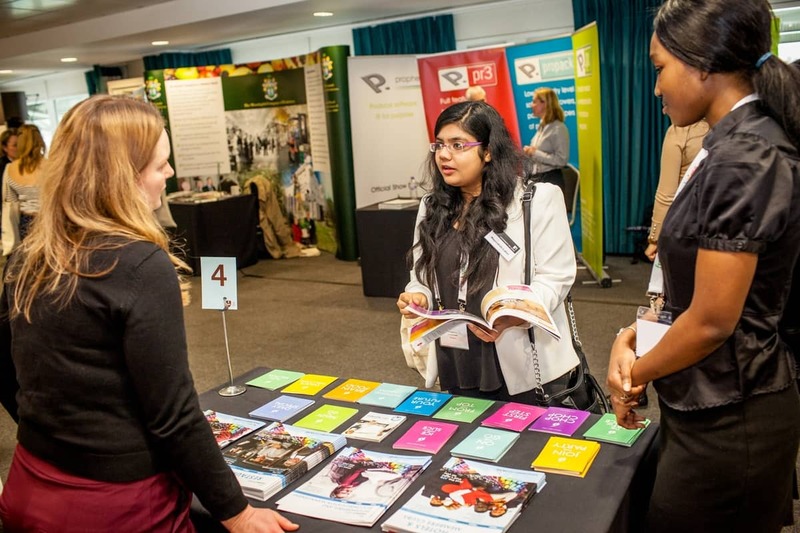 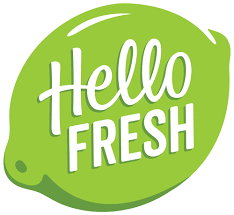 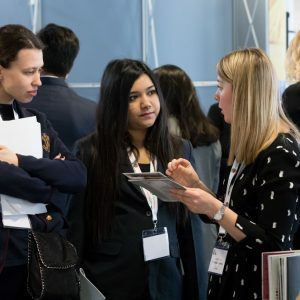 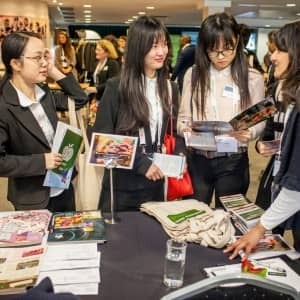 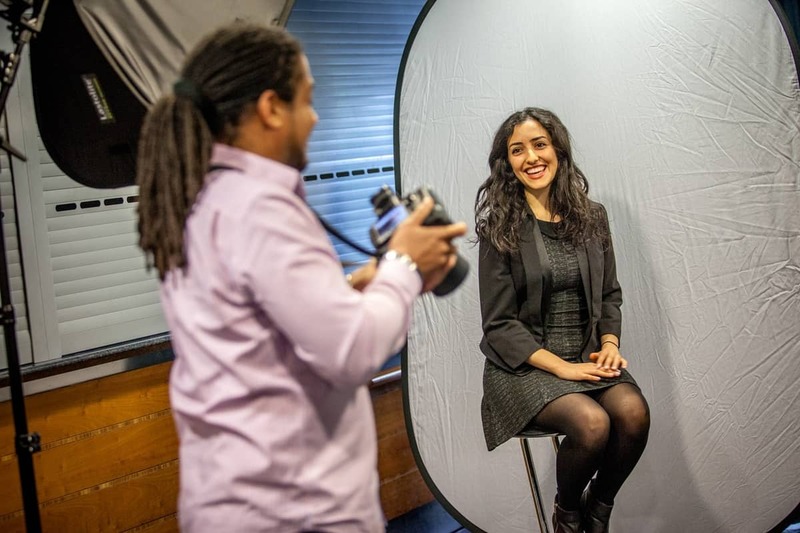 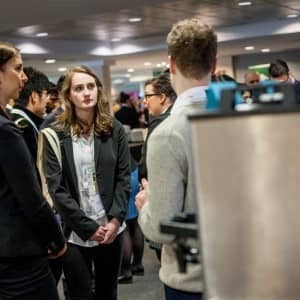 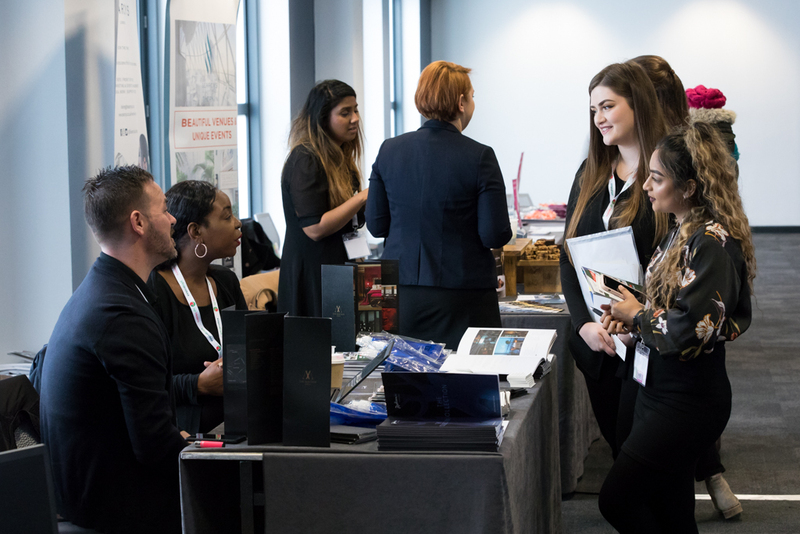 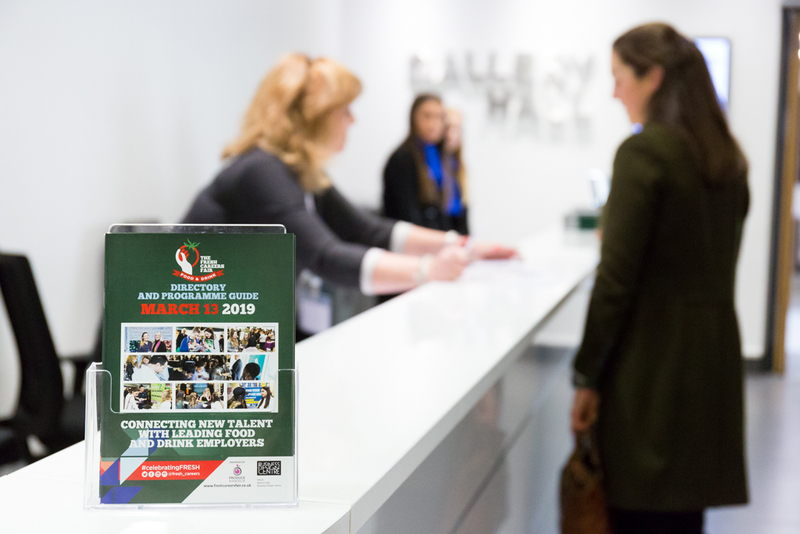 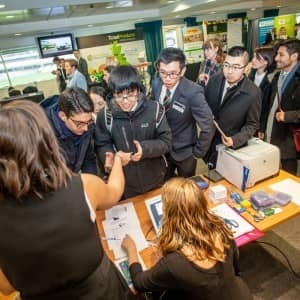 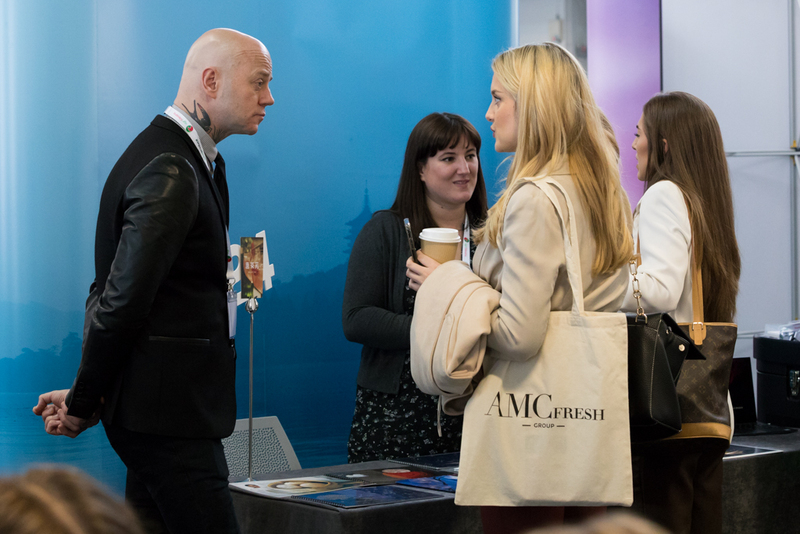 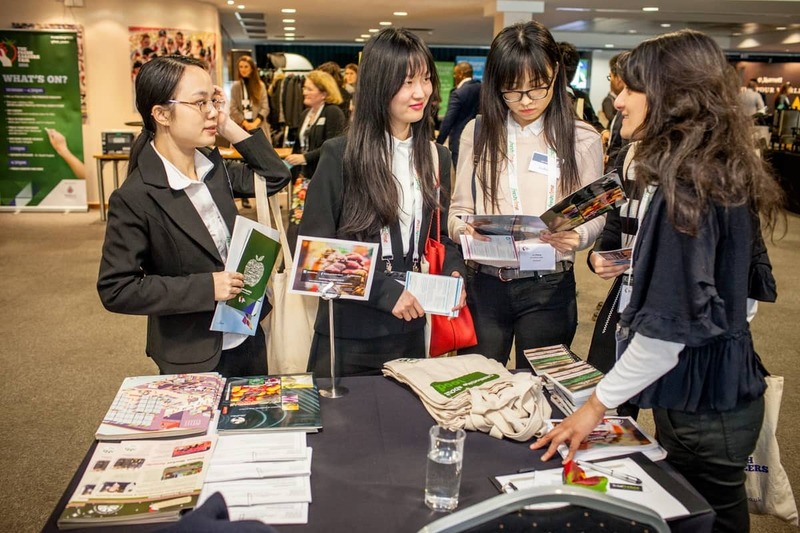 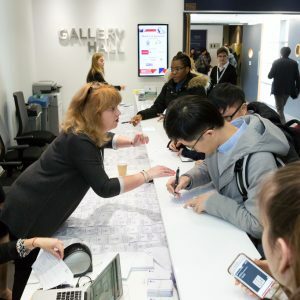 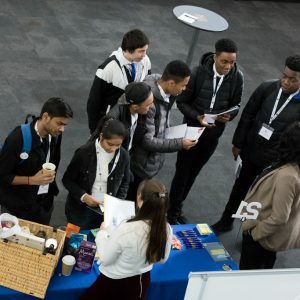 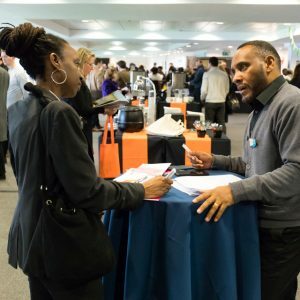 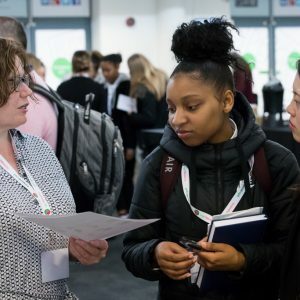 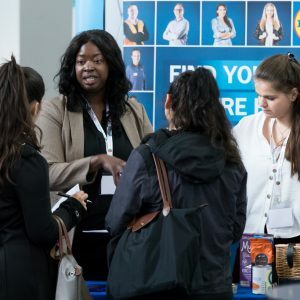 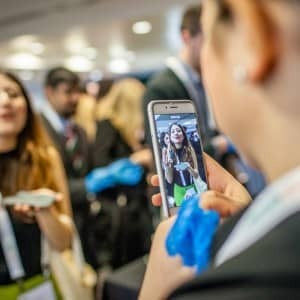 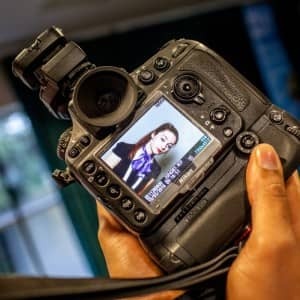 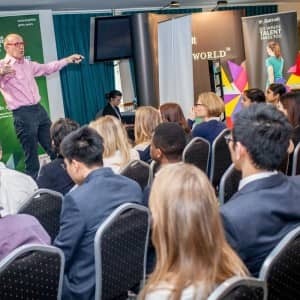 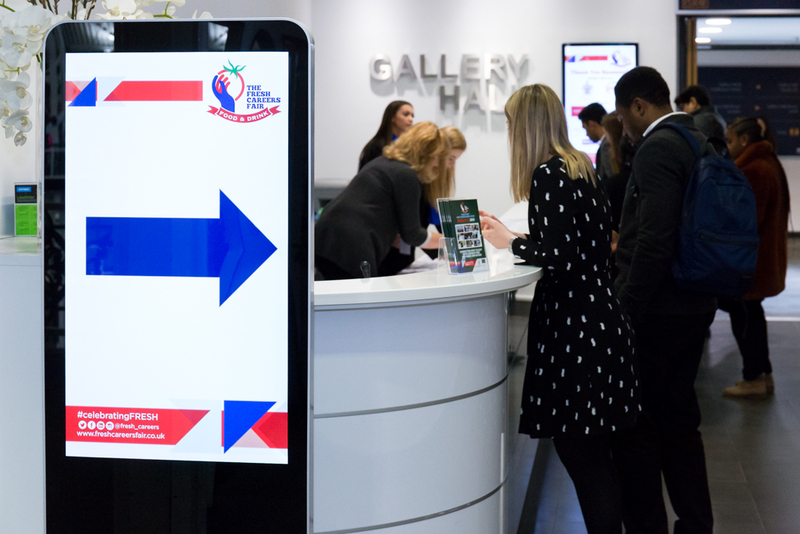 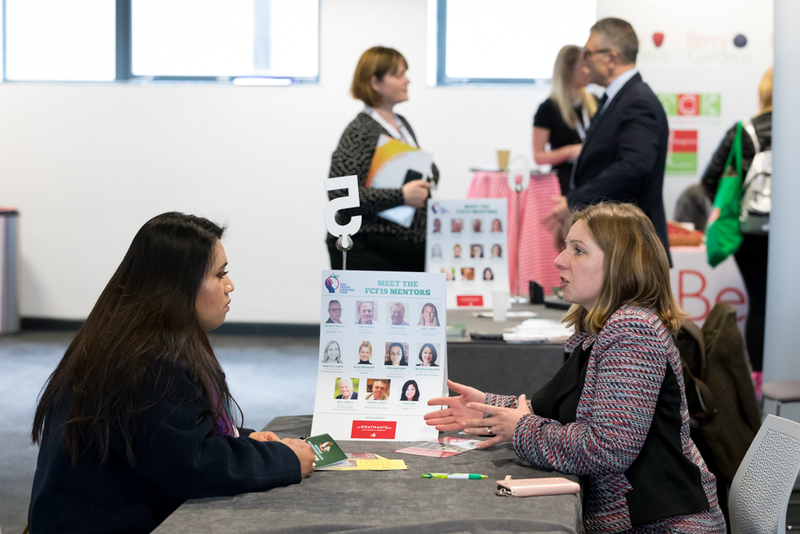 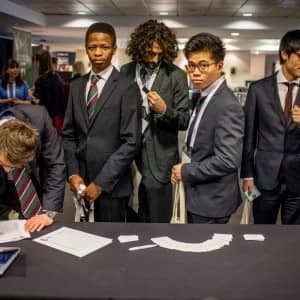 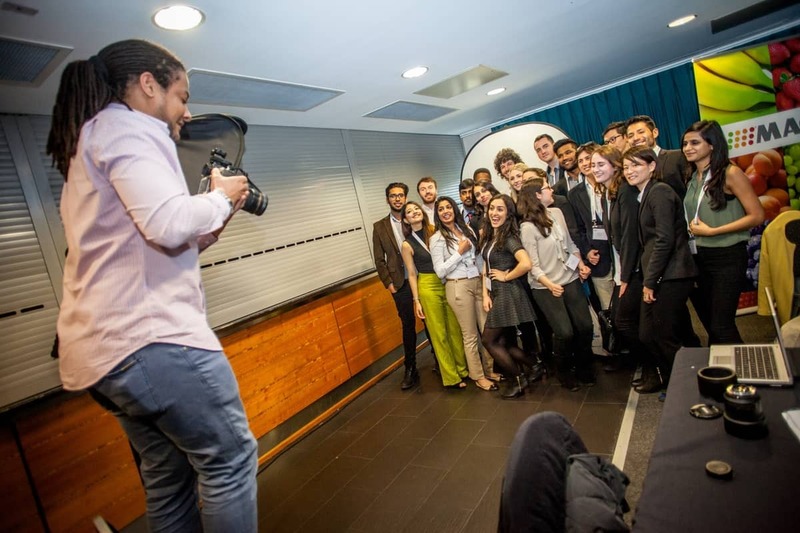 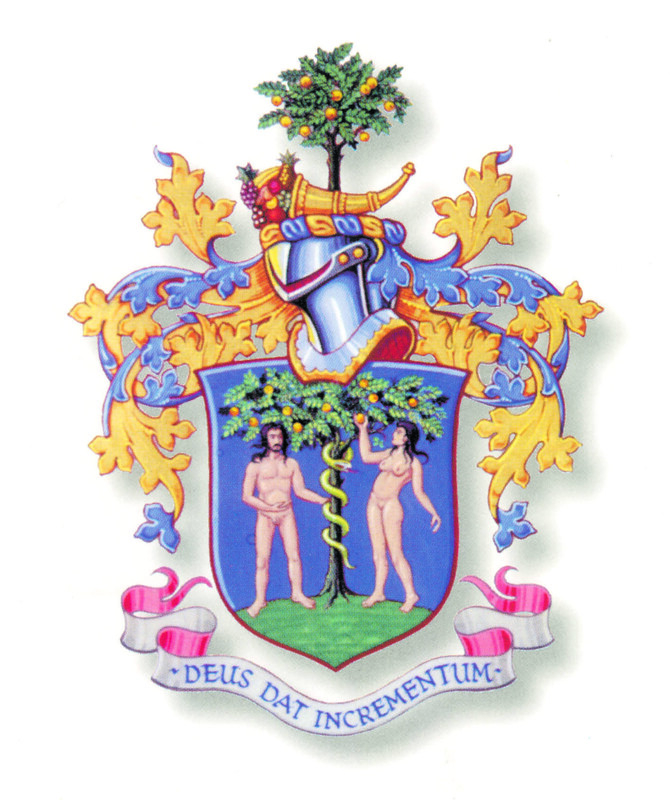 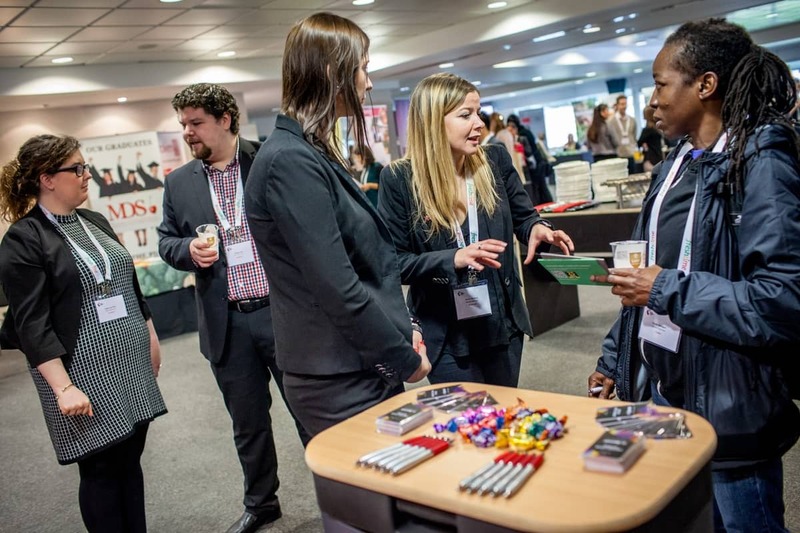 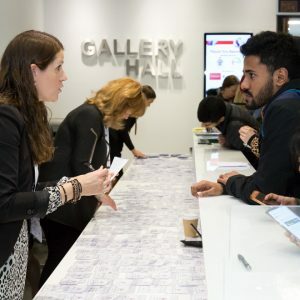 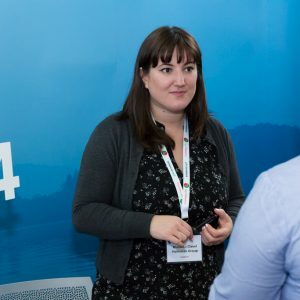 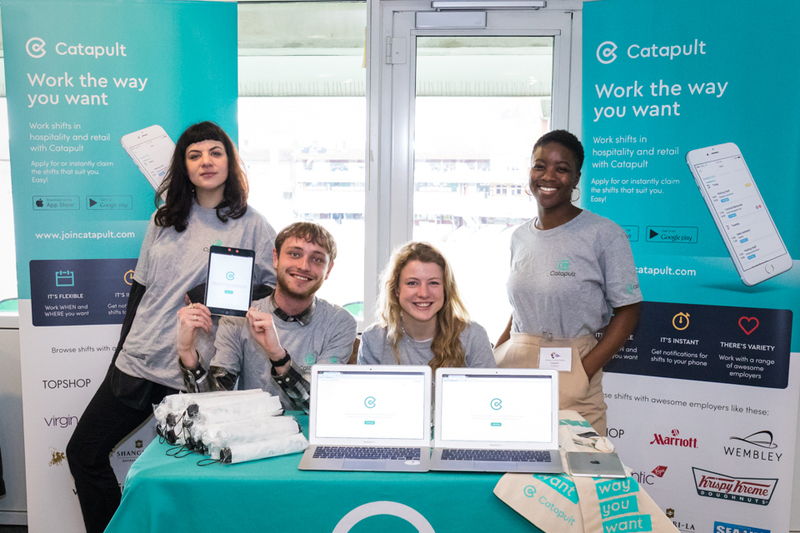 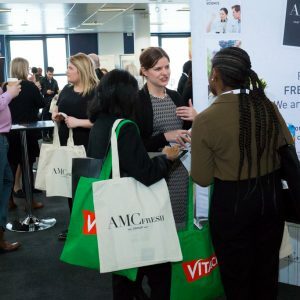 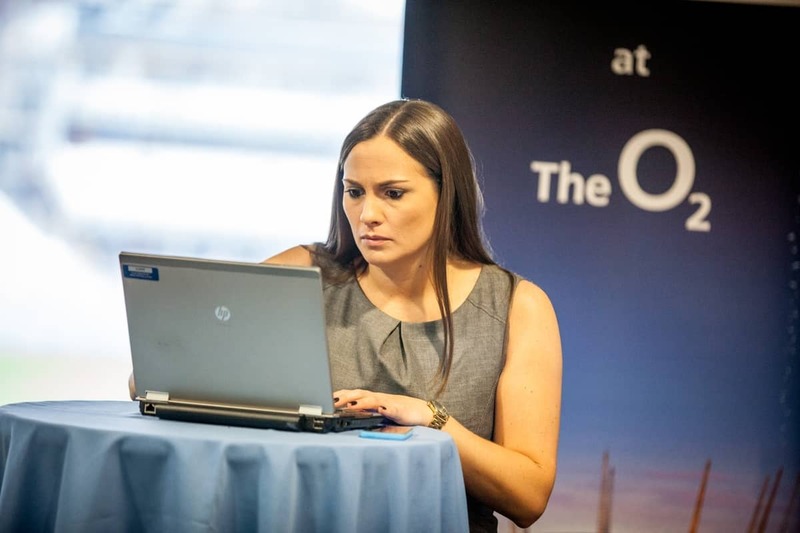 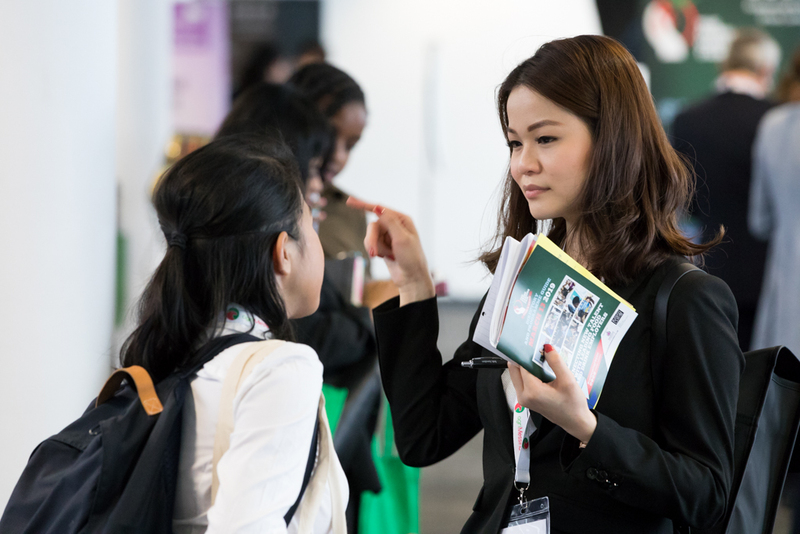 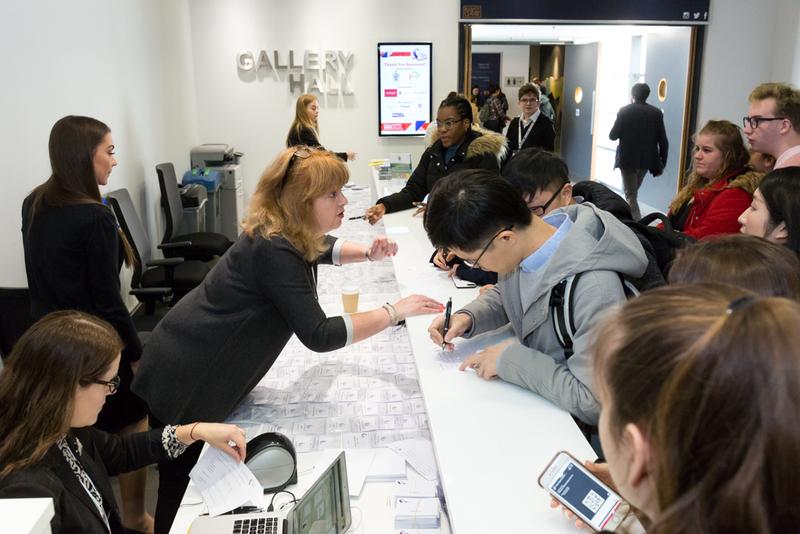 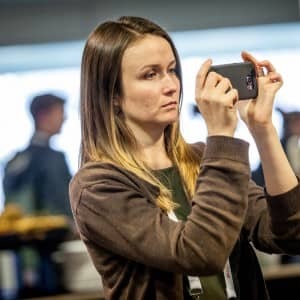 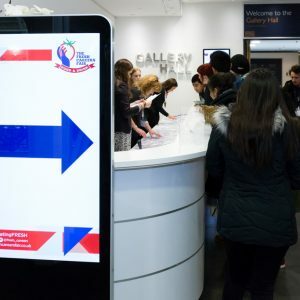 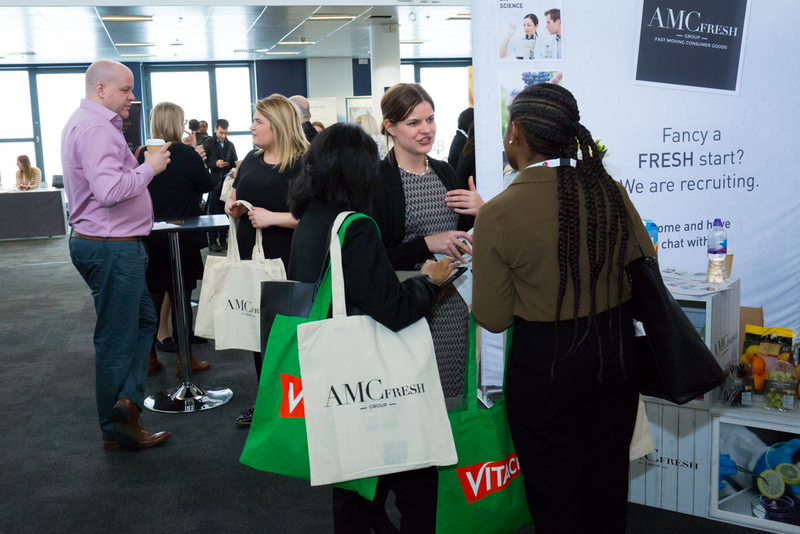 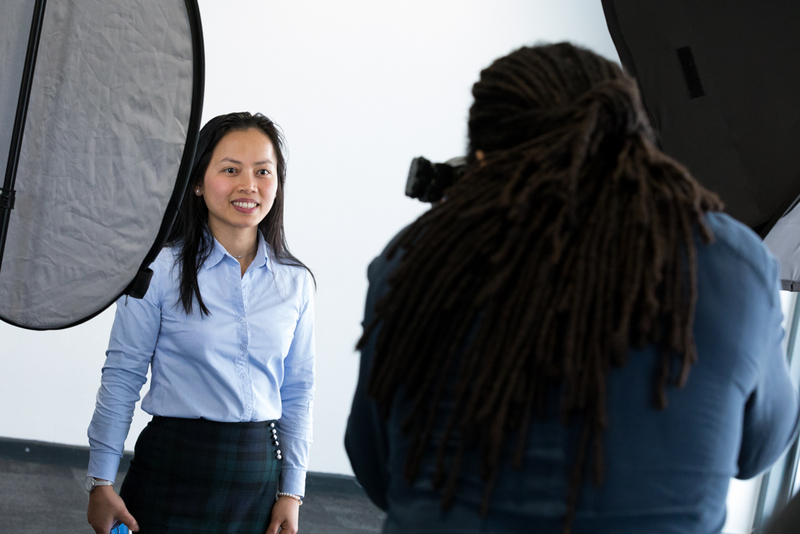 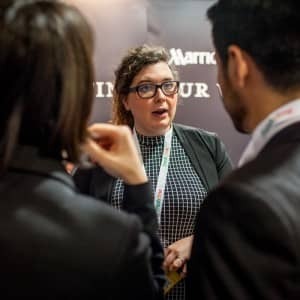 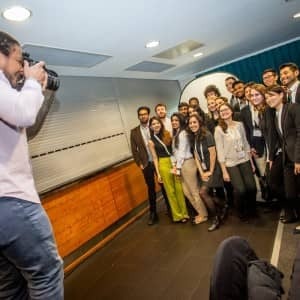 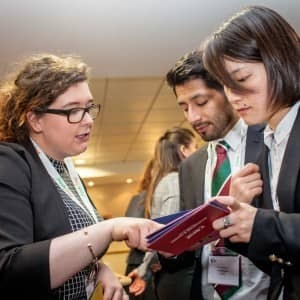 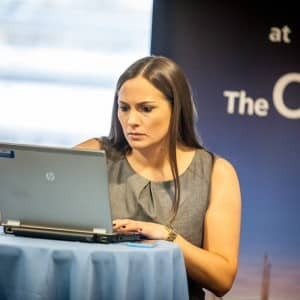 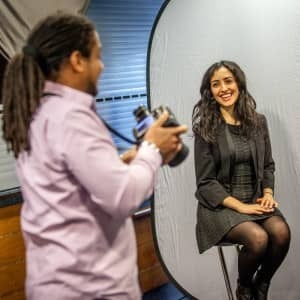 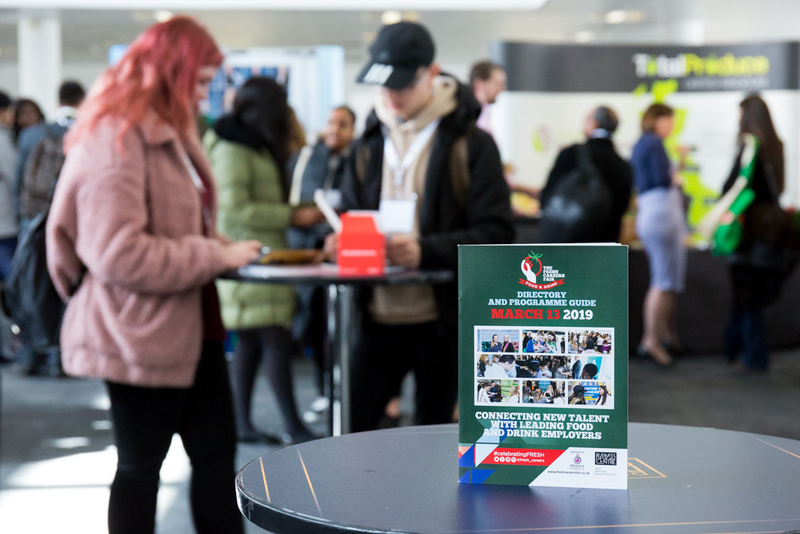 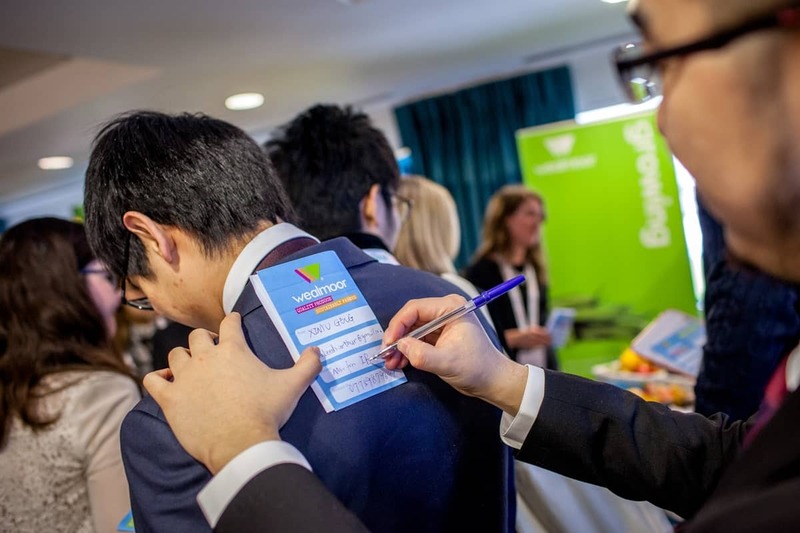 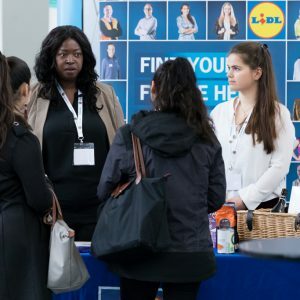 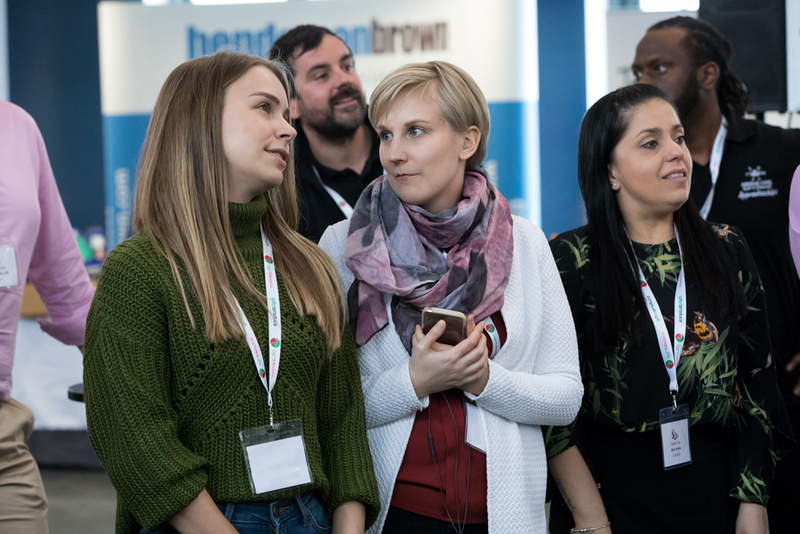 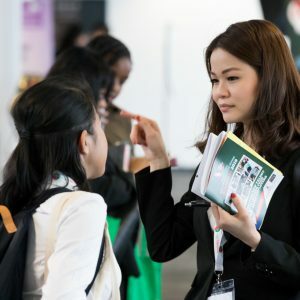 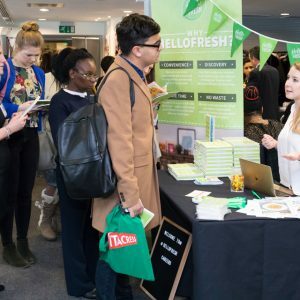 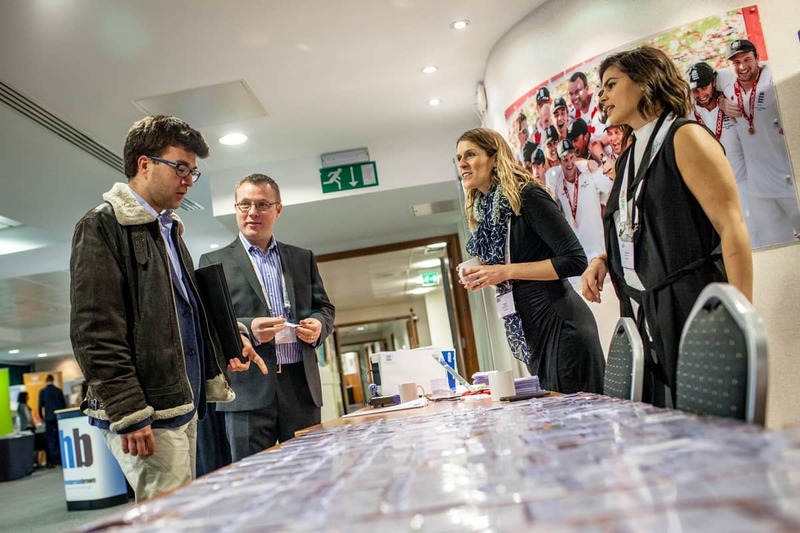 The Fresh Careers Fair takes place on Thursday March 12, 2020, 9:30am – 3pm at the Business Design Centre in Islington, London. 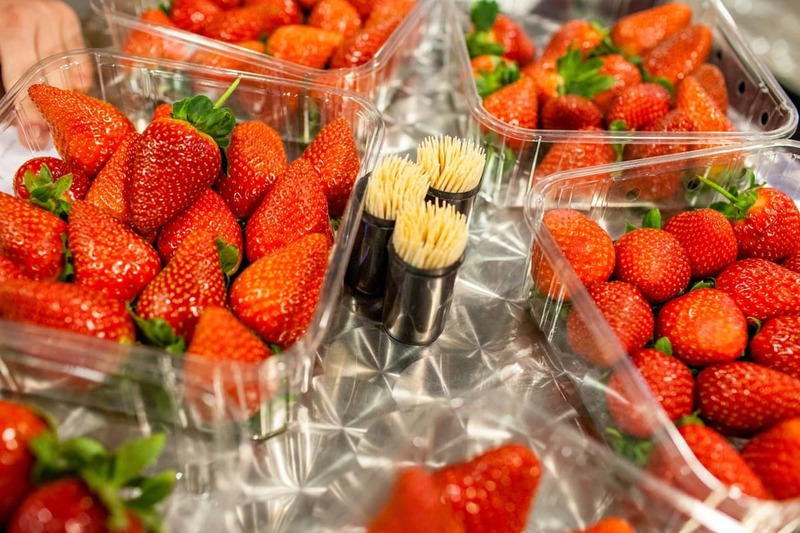 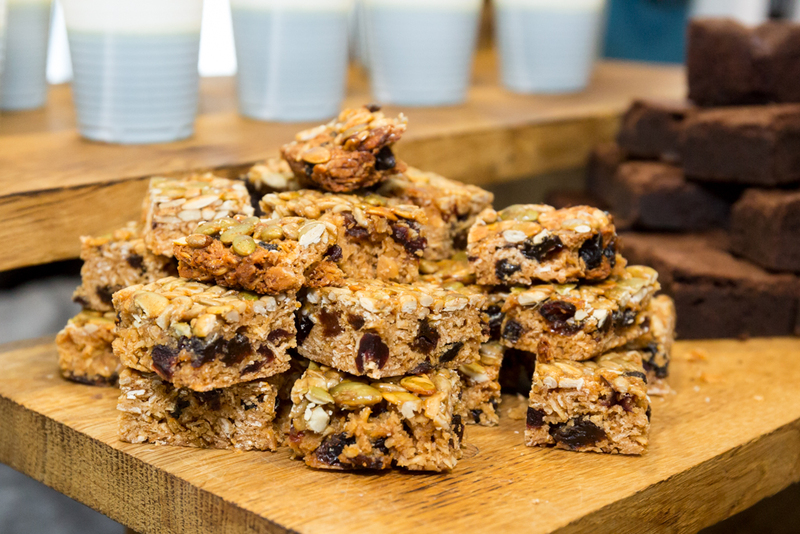 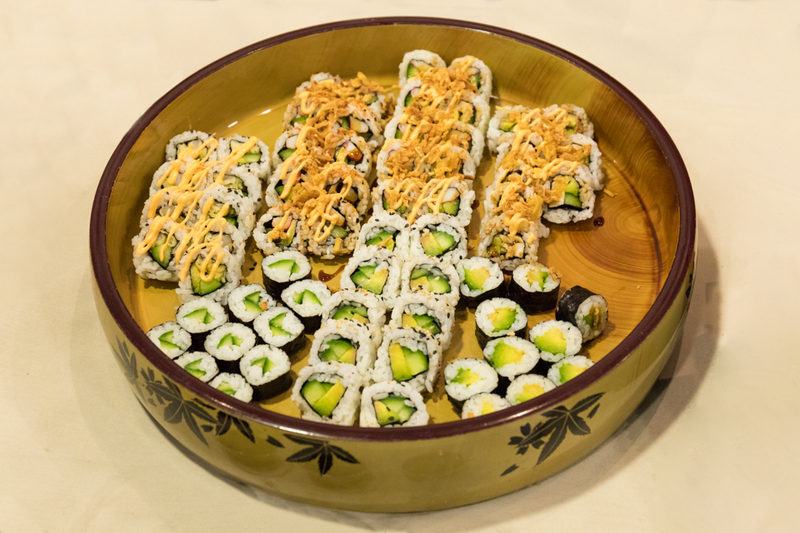 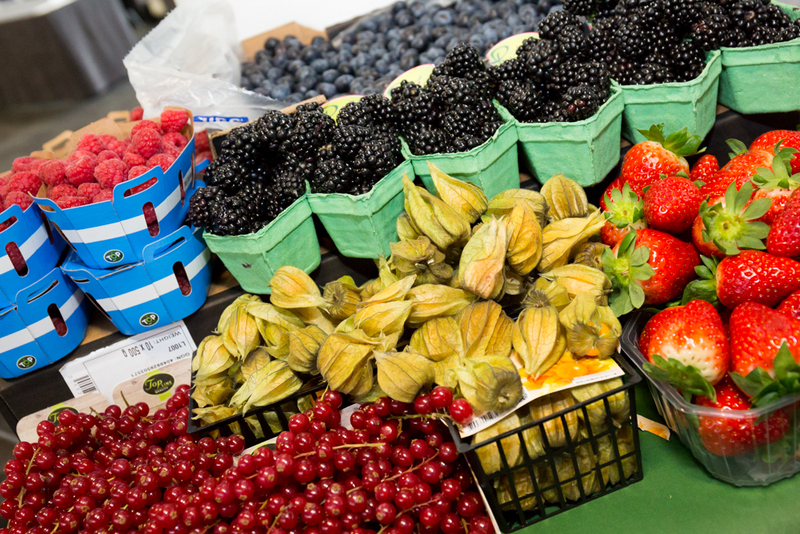 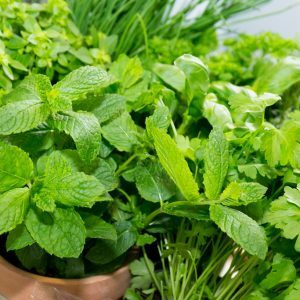 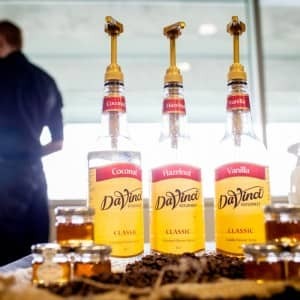 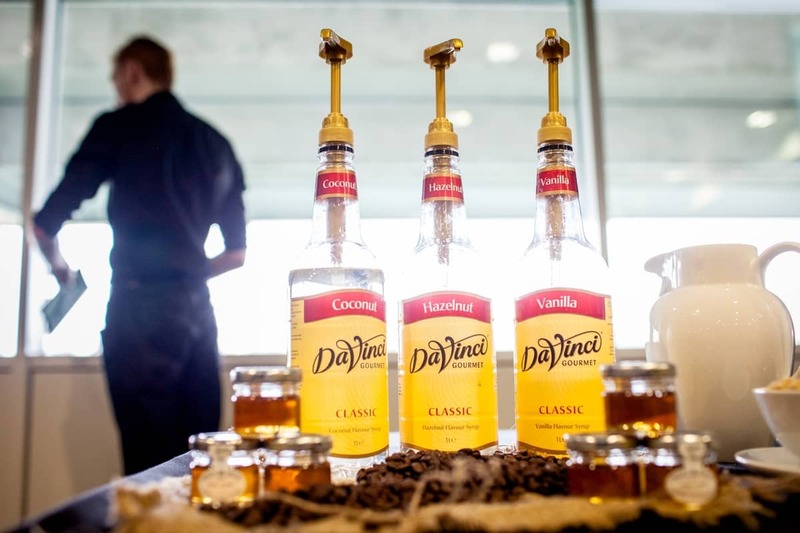 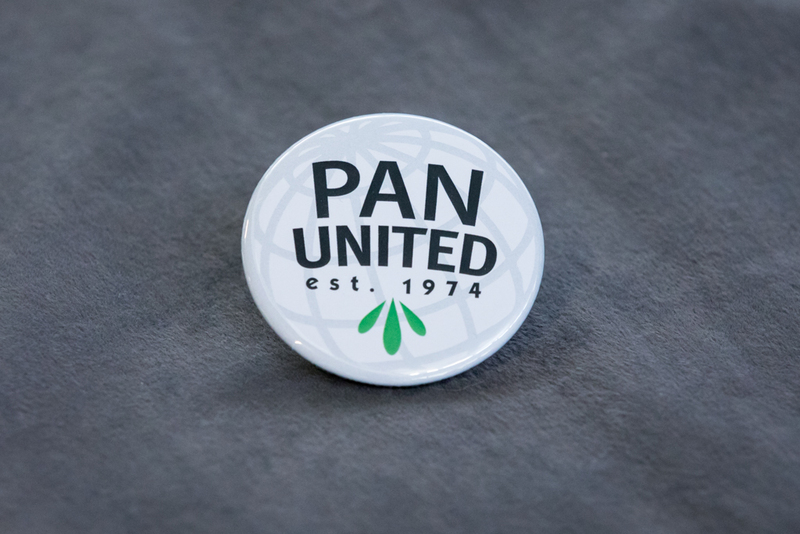 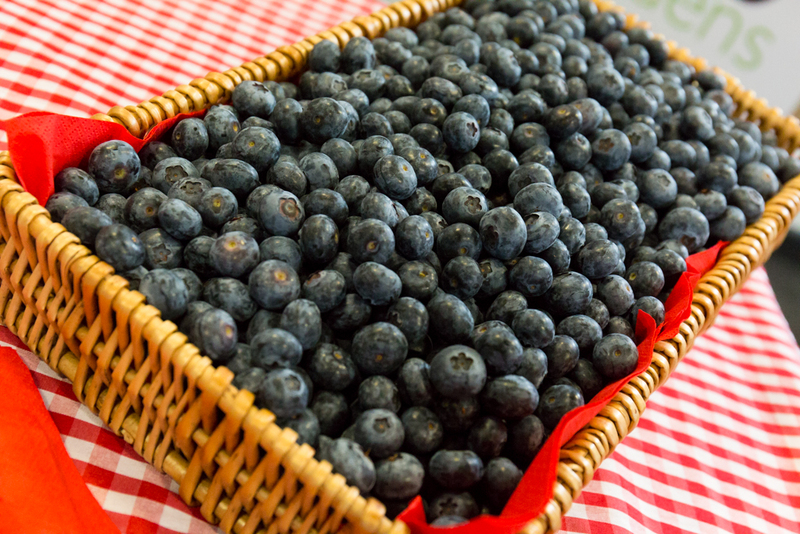 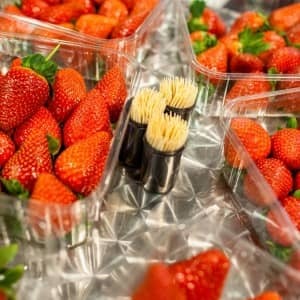 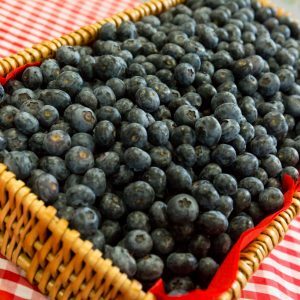 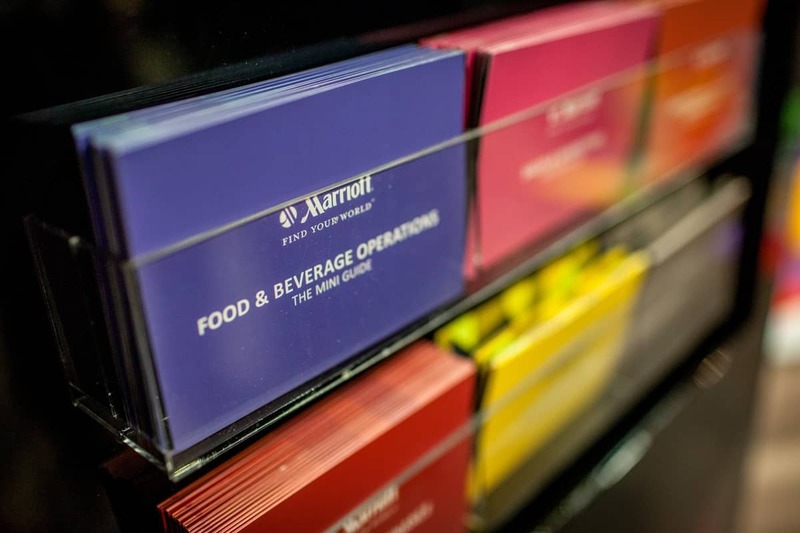 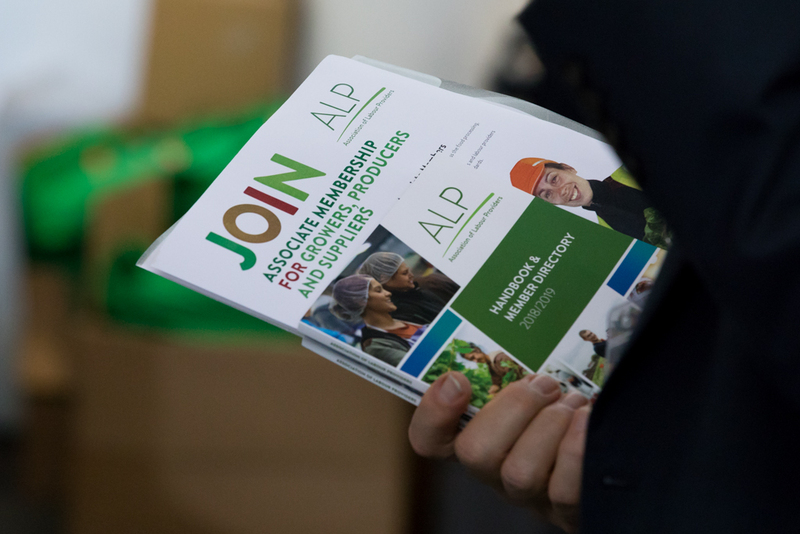 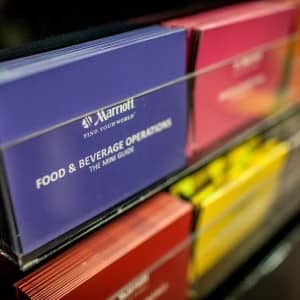 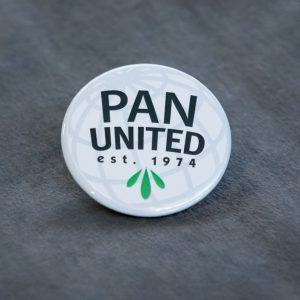 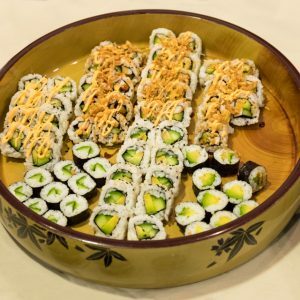 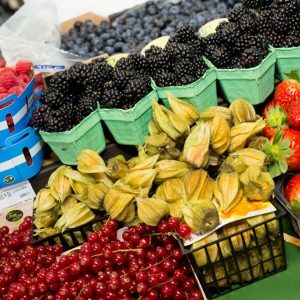 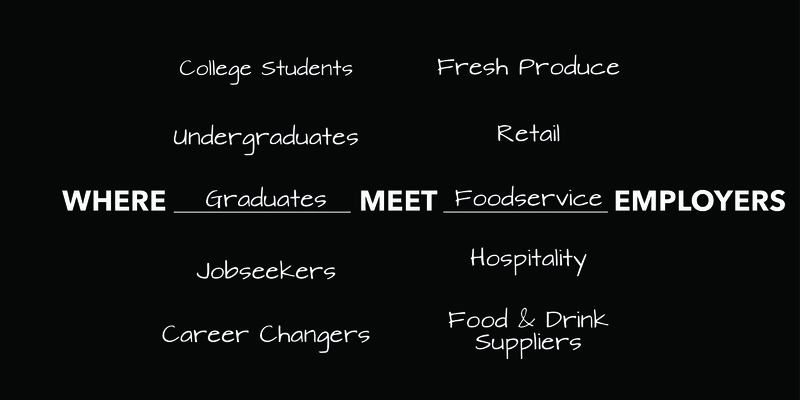 By 2024, the food and drink industry needs 130,000 new employees! 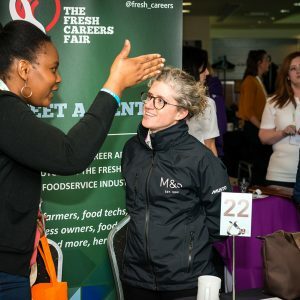 Jobs vary extensively, experience isn’t necessary for many roles, the benefits are enviable and careers can be for life. 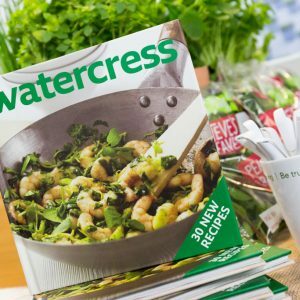 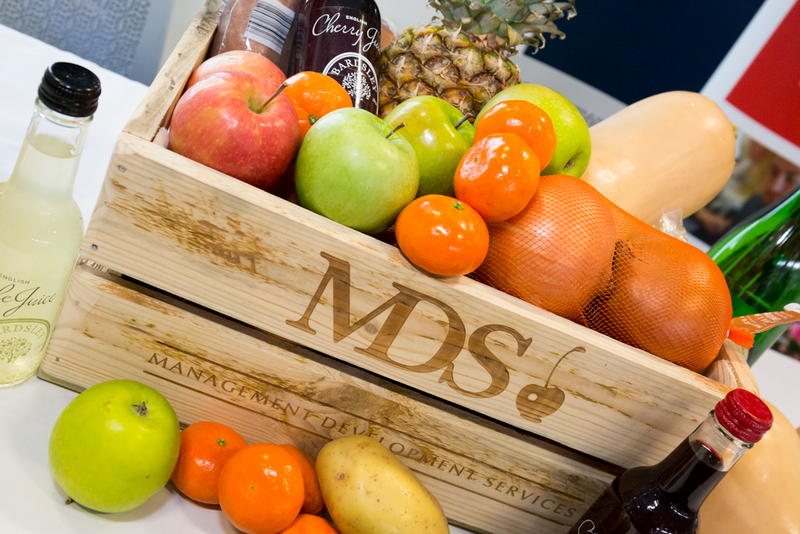 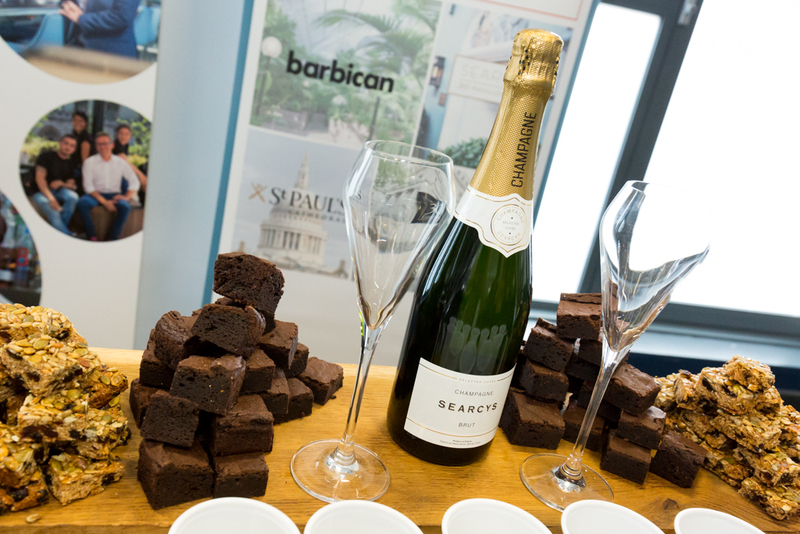 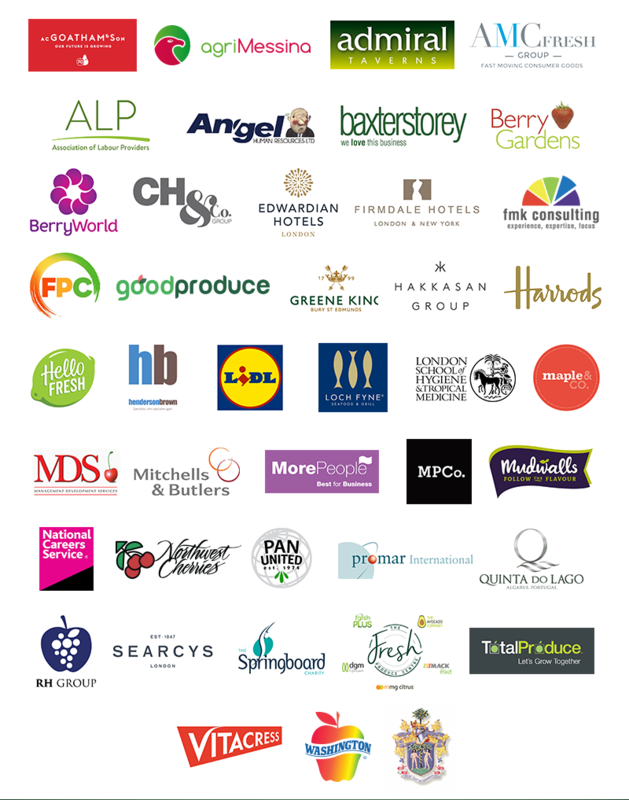 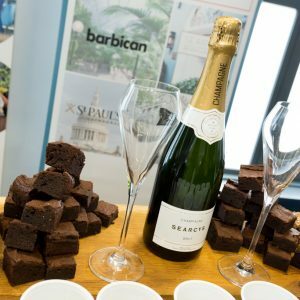 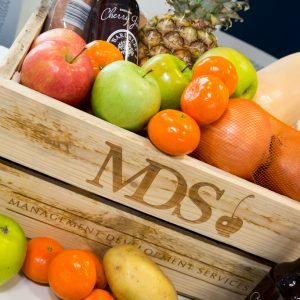 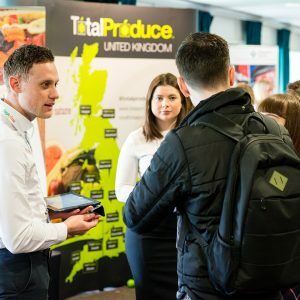 Are you looking for a job in food and drink? 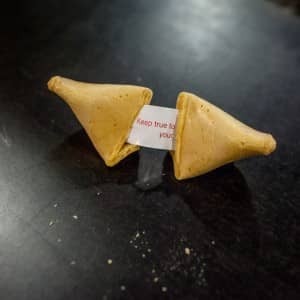 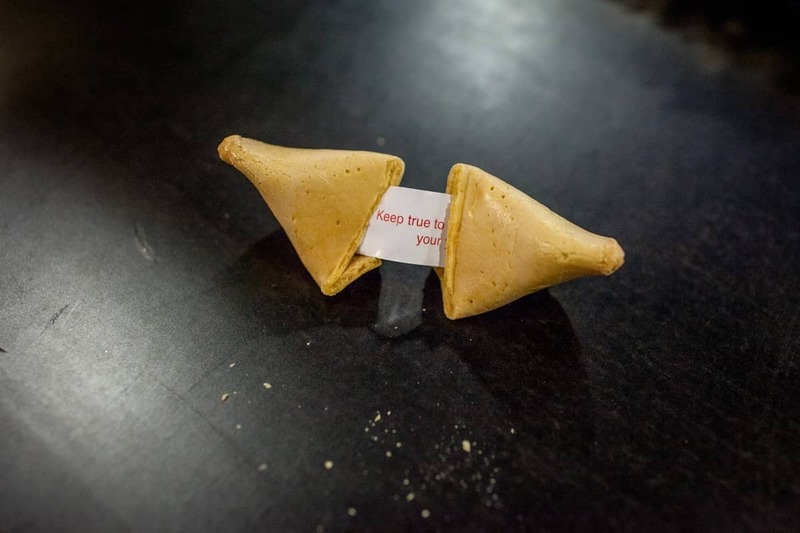 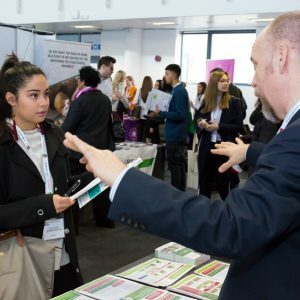 Are you unsure where your career path lies? 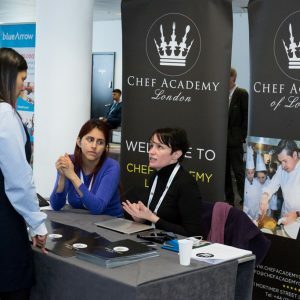 Or, are you working in another industry and fancy a change? 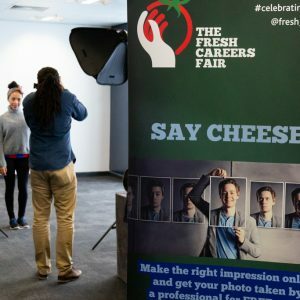 TURN UP, FOR FREE & GET HIRED! 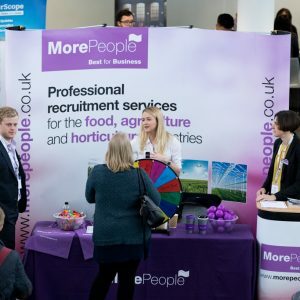 Are you an employer looking to fill roles? 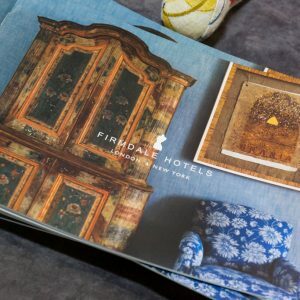 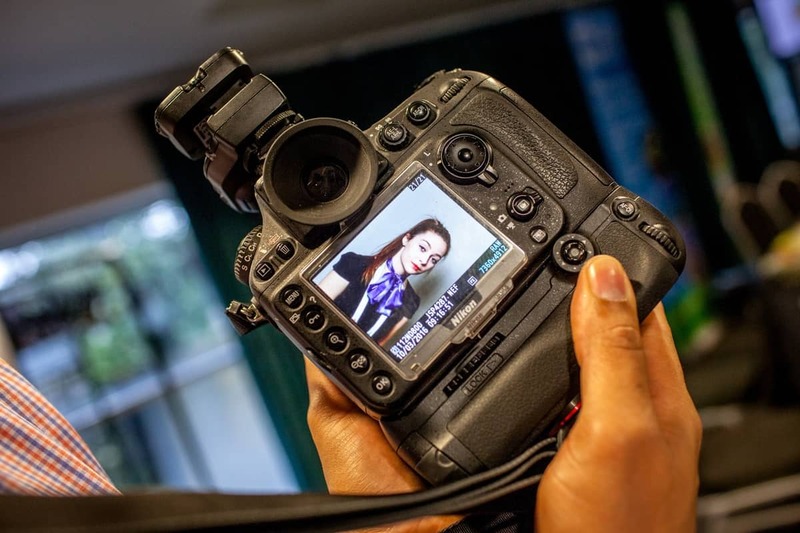 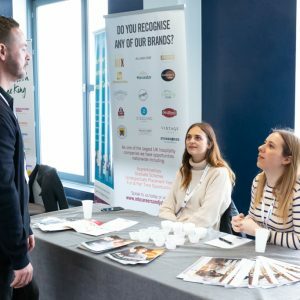 Are you keen to promote your brand to the next generation? 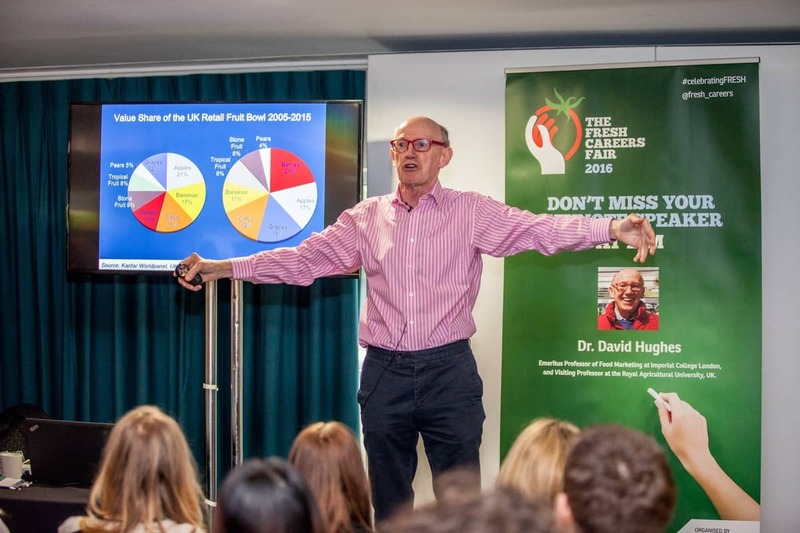 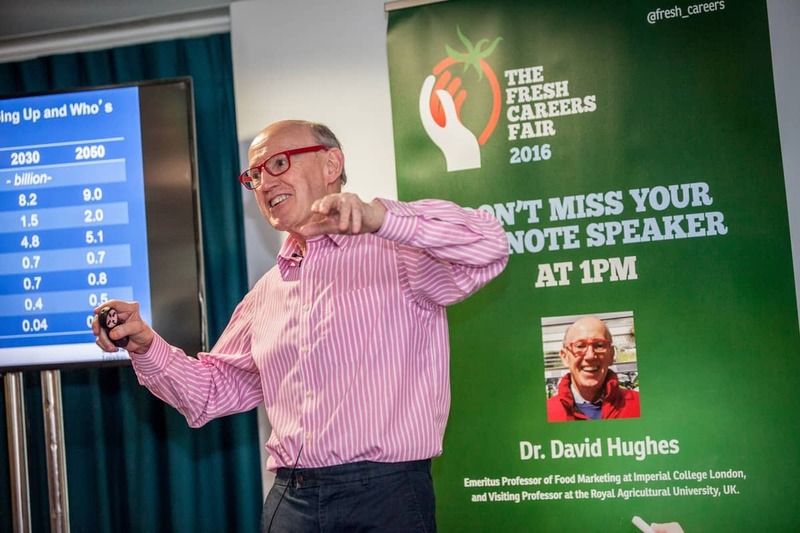 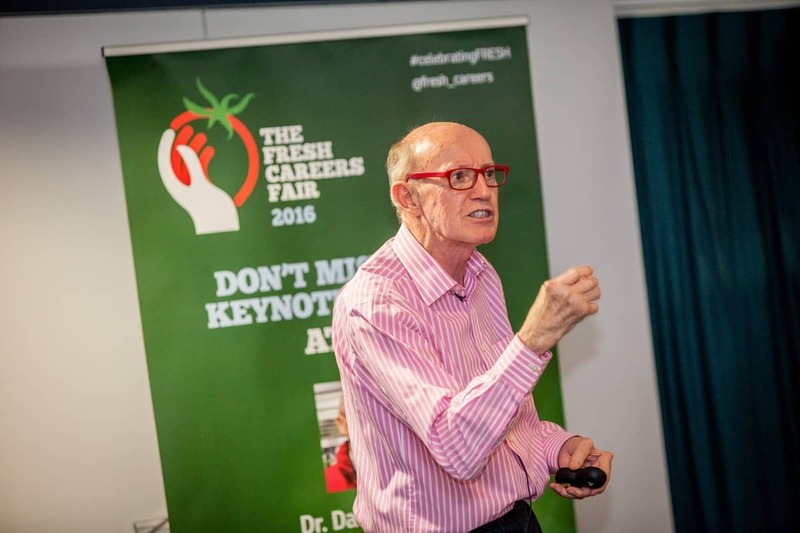 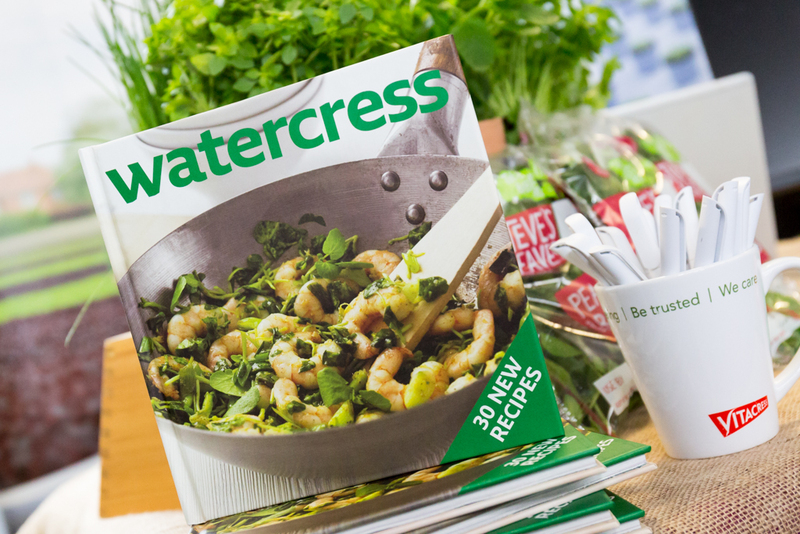 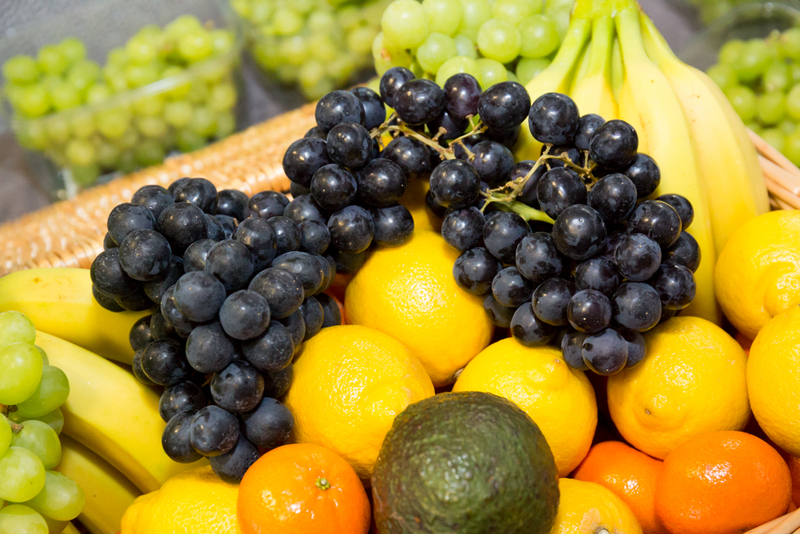 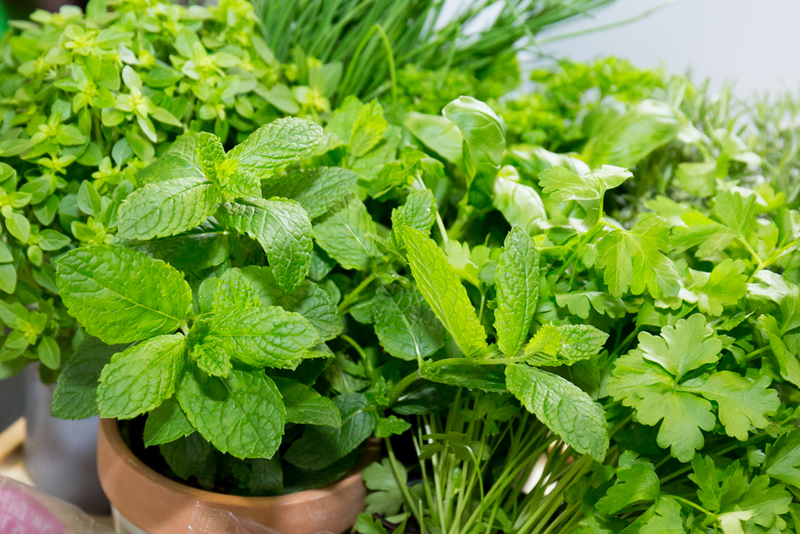 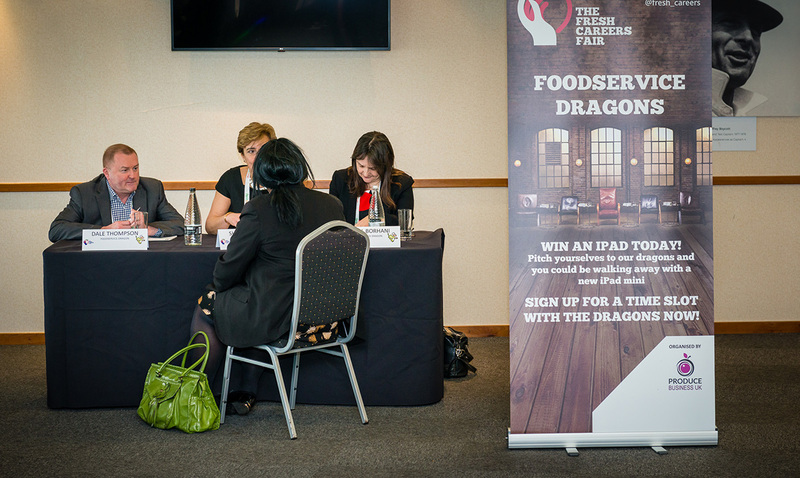 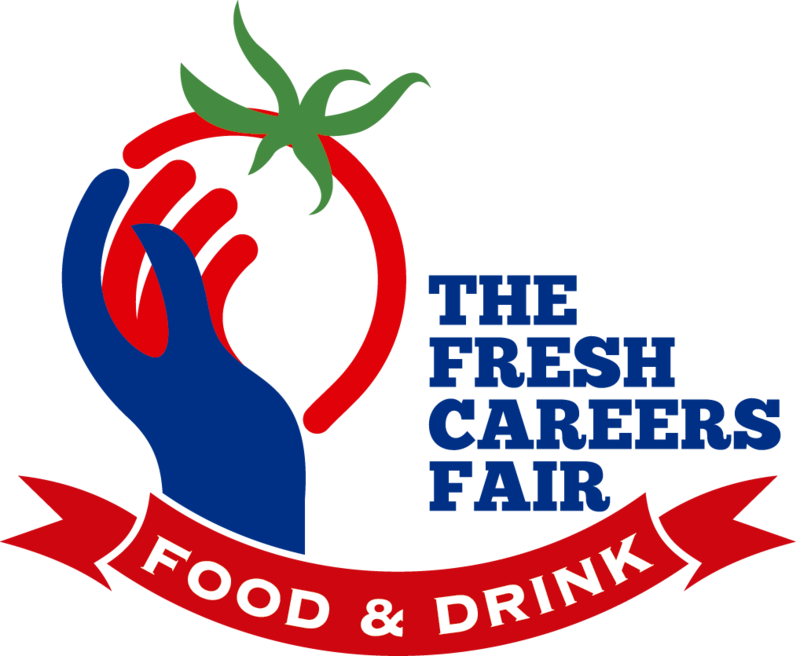 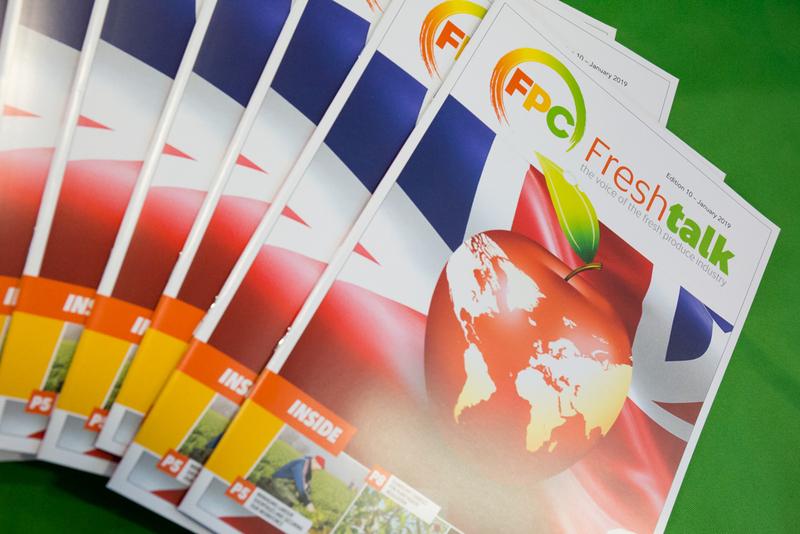 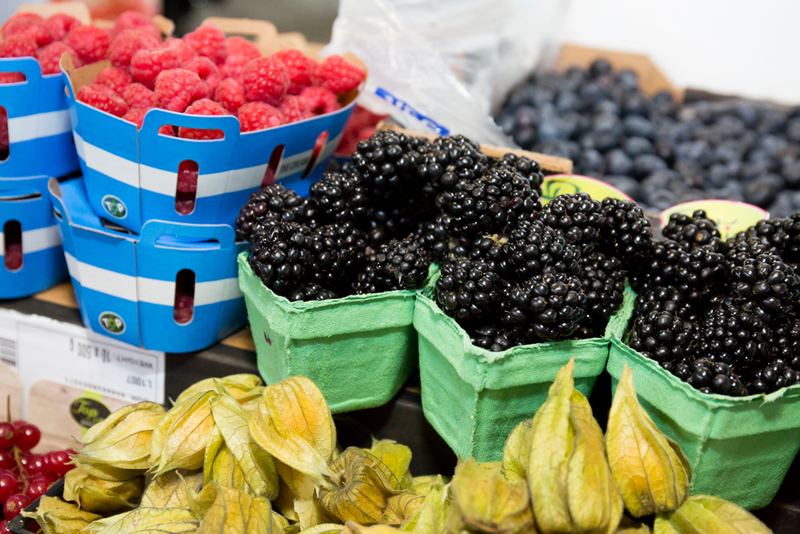 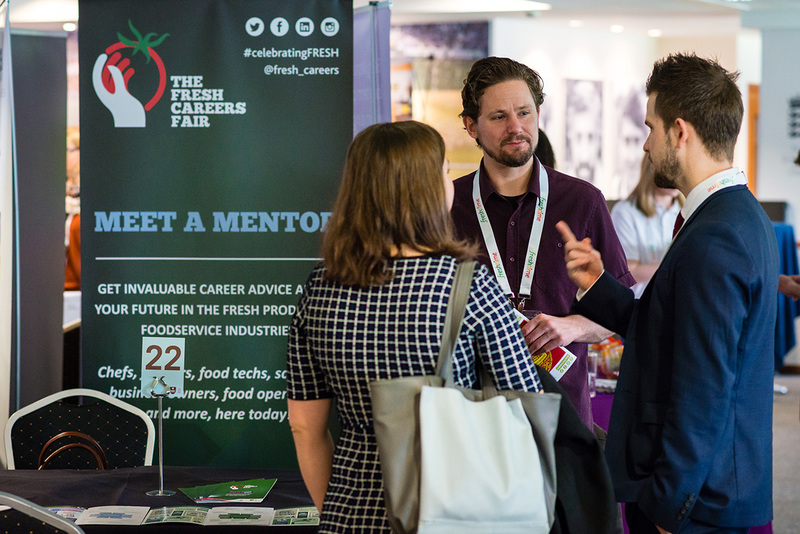 Or, do you want to raise awareness of careers in the fresh food and drink industry? 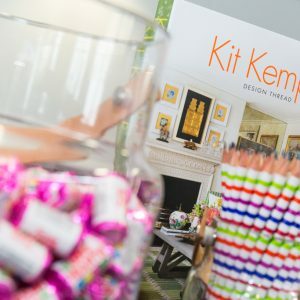 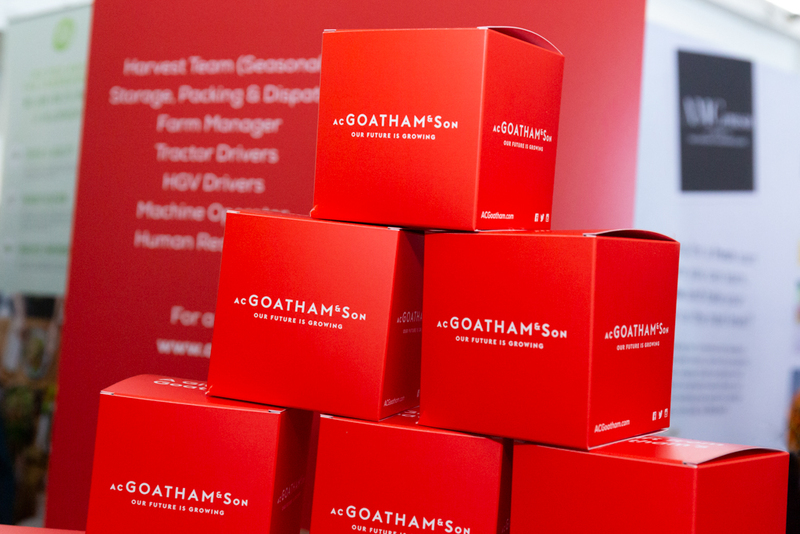 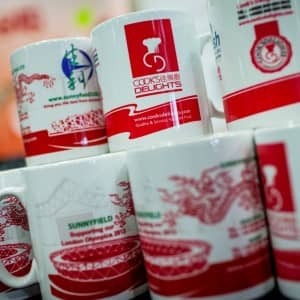 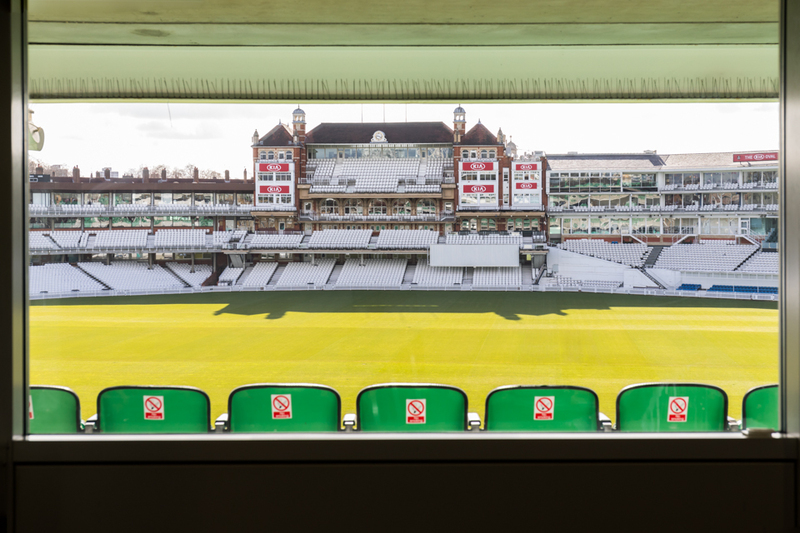 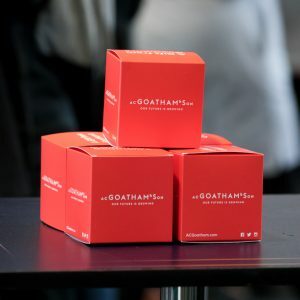 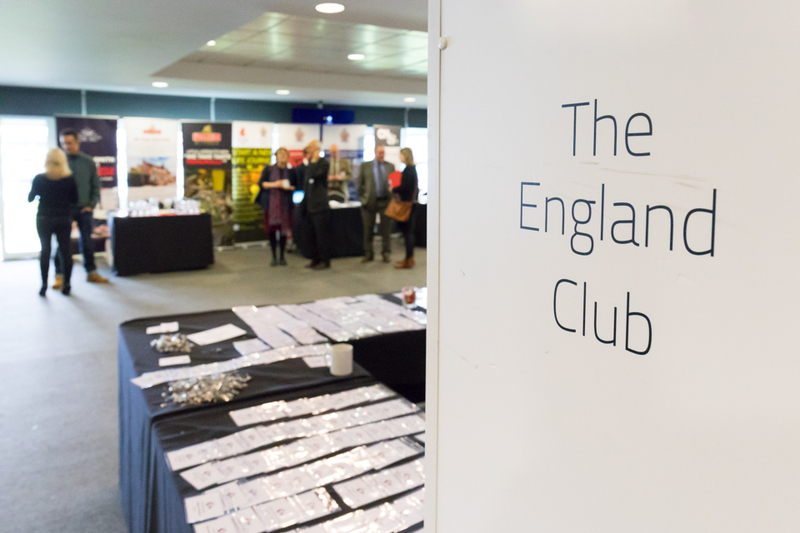 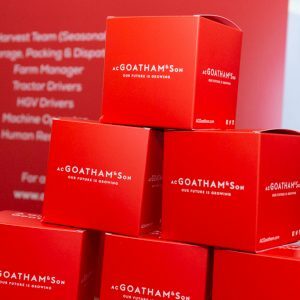 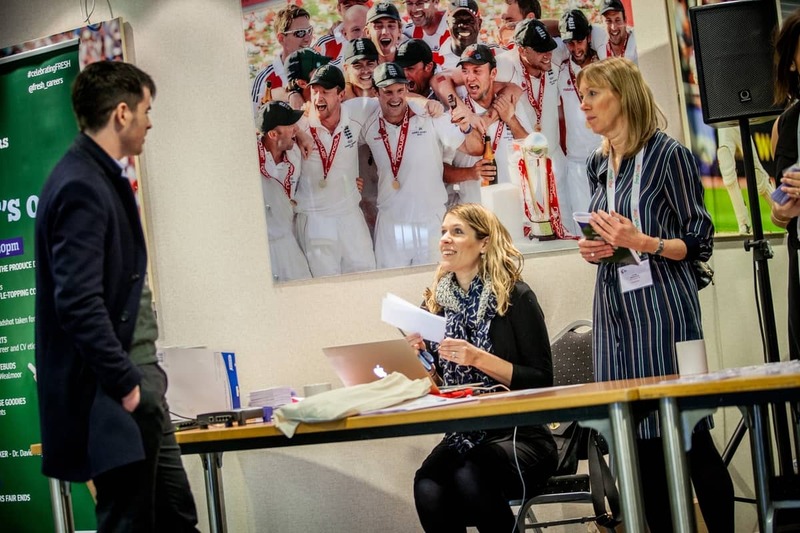 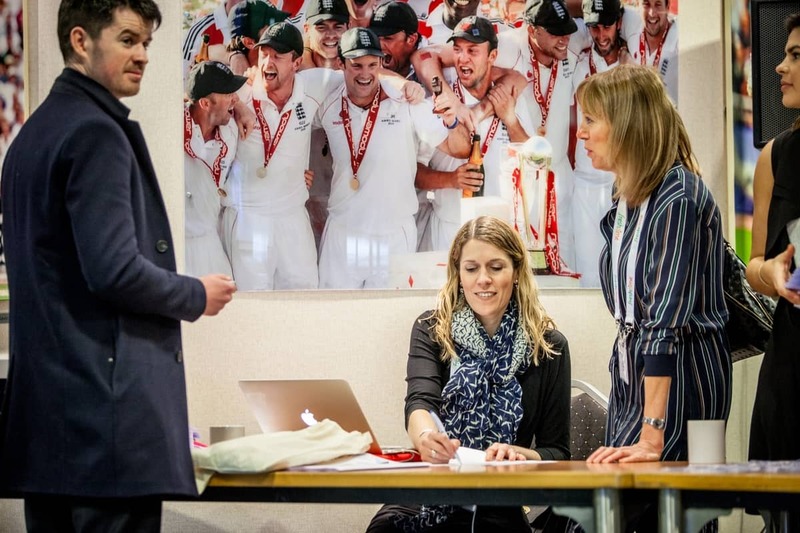 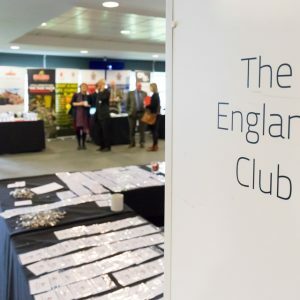 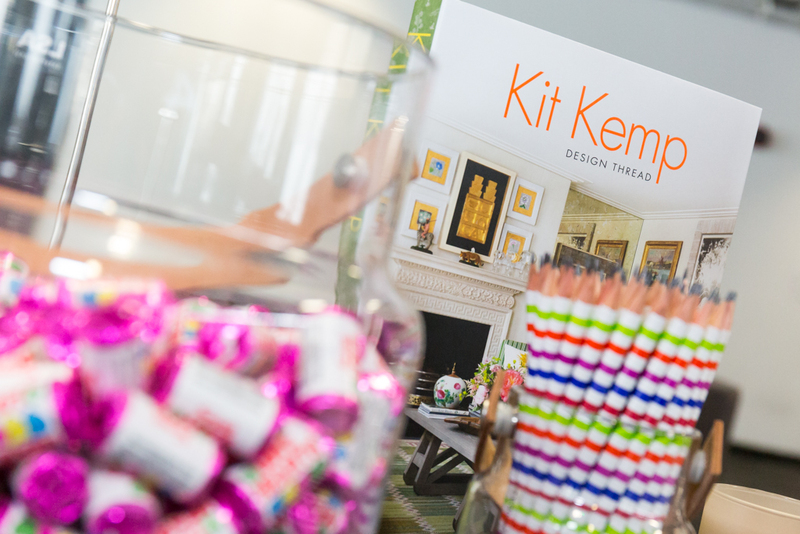 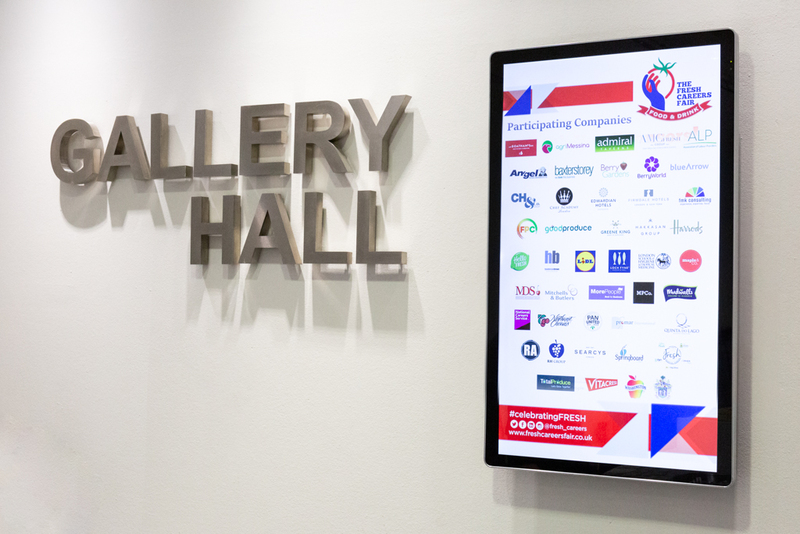 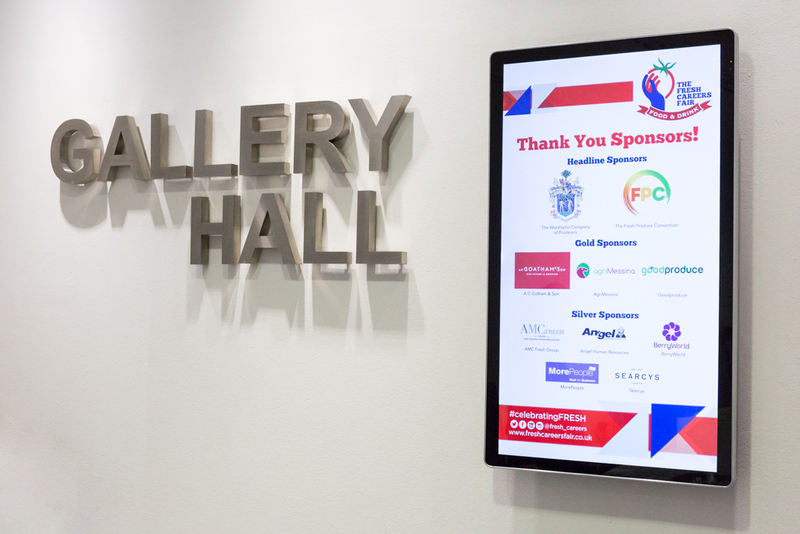 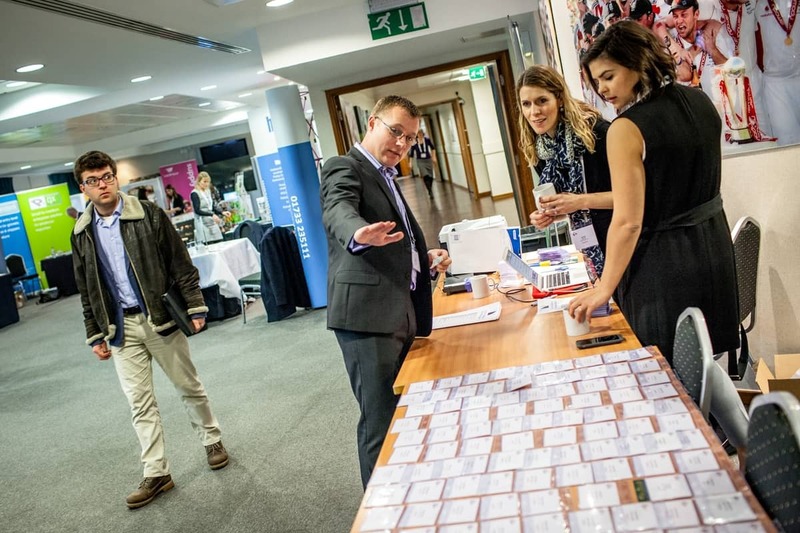 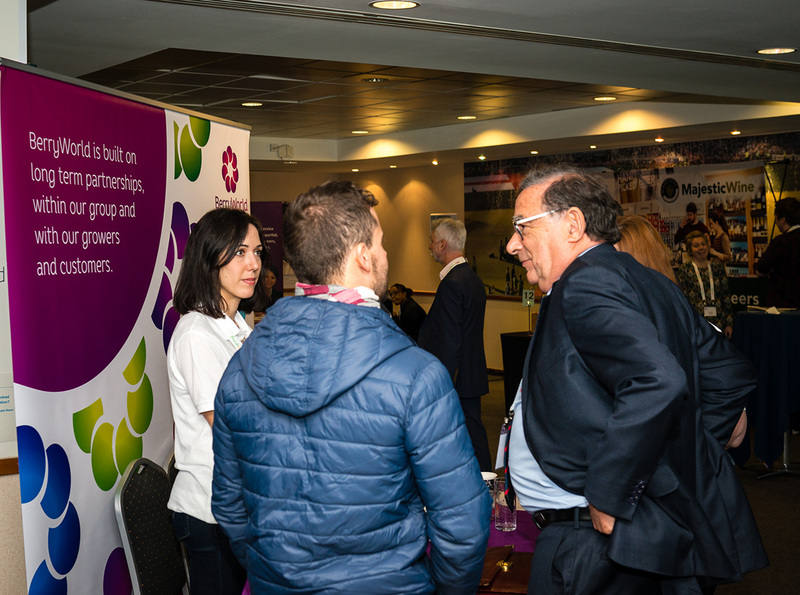 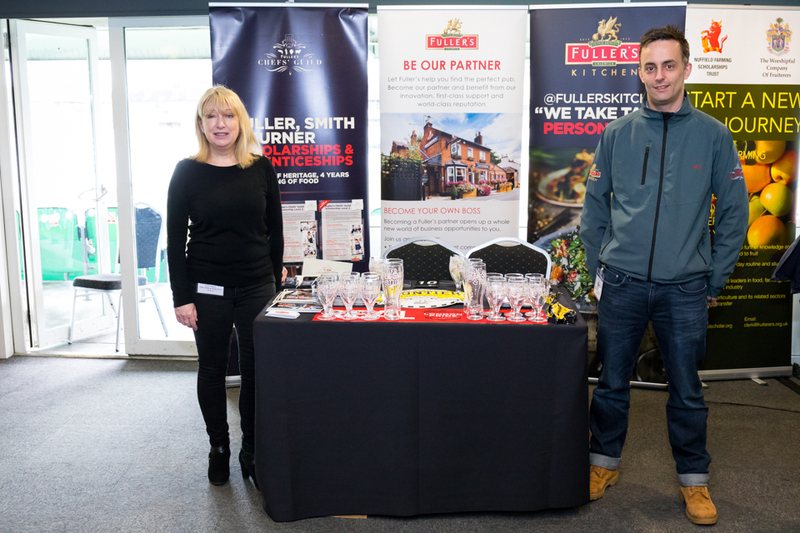 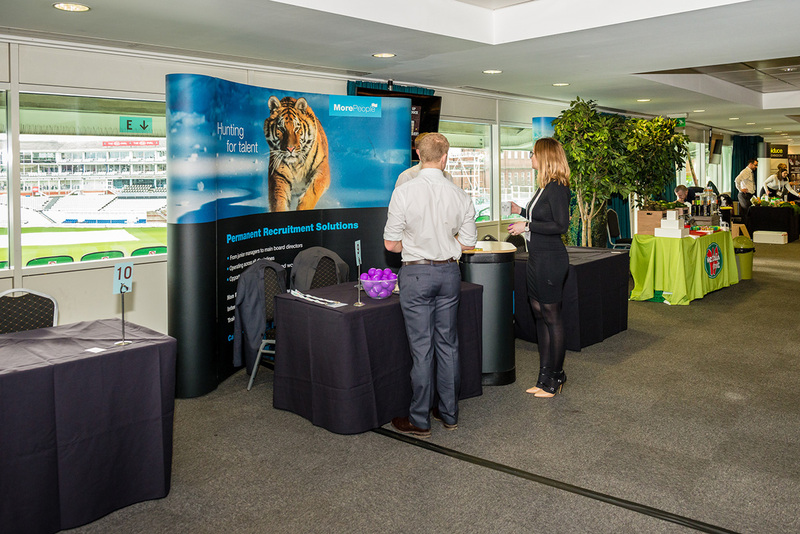 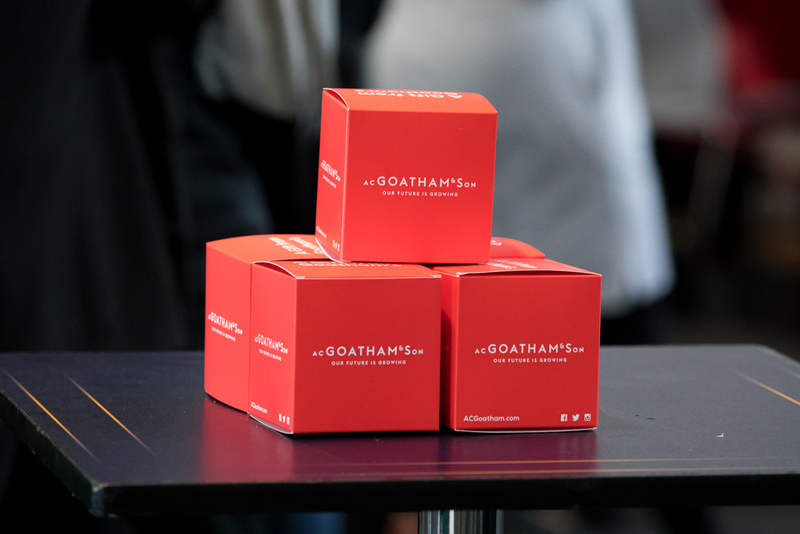 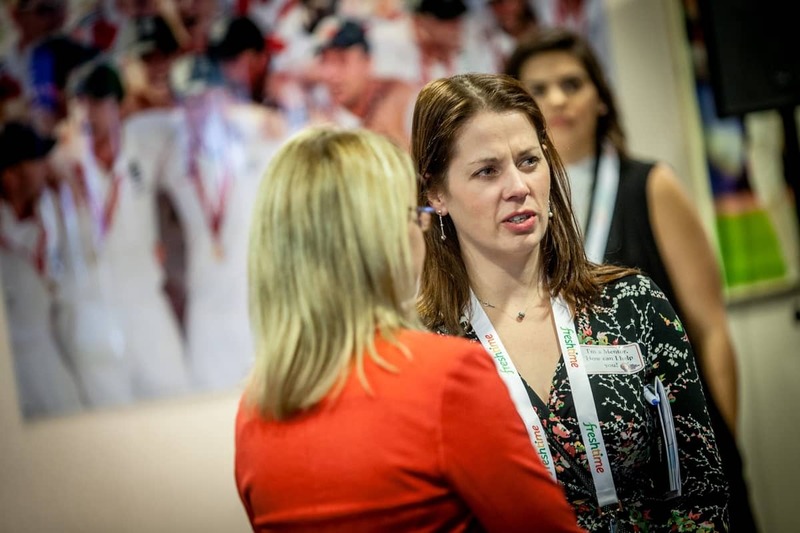 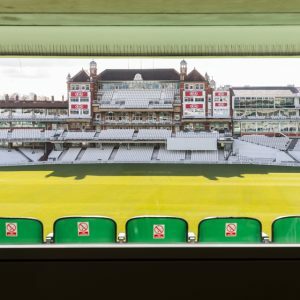 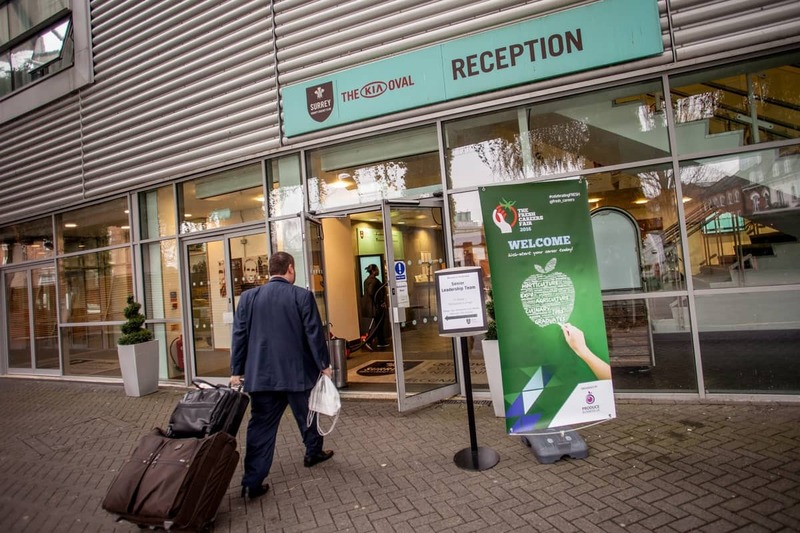 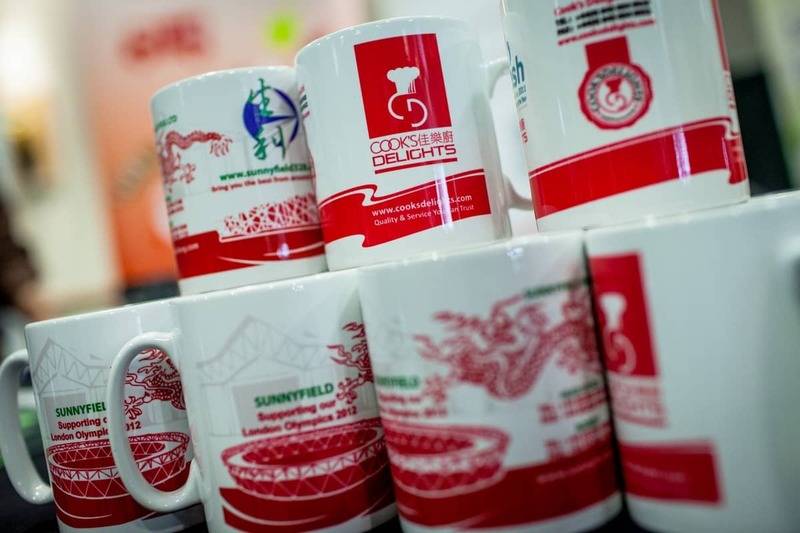 Take an exhibition stand and/or put your name to one of our bespoke sponsorship packages. 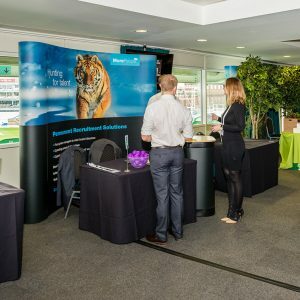 Stand prices start at £1,000 + VAT. 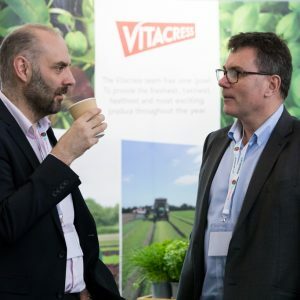 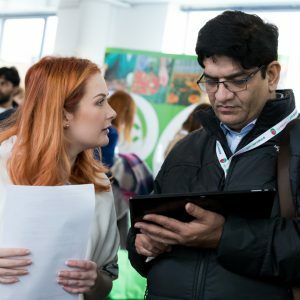 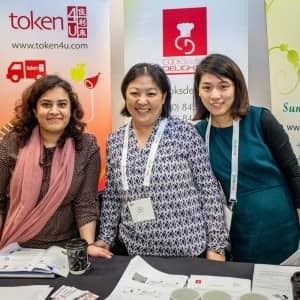 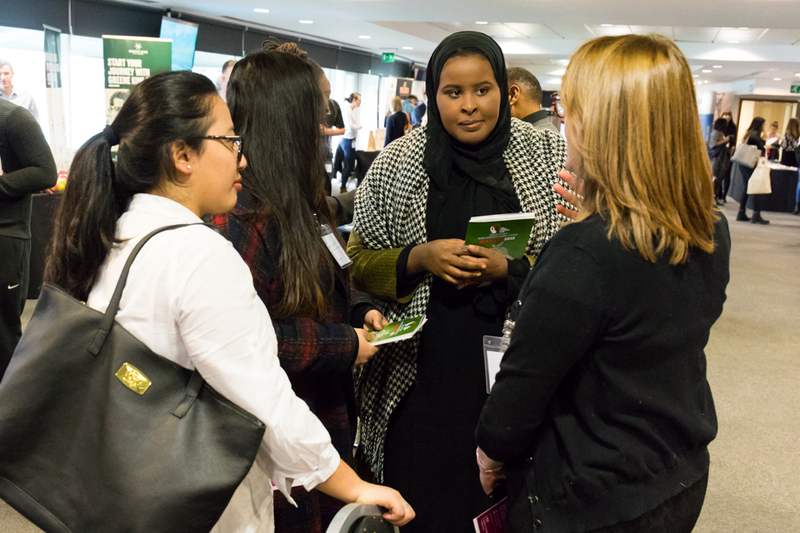 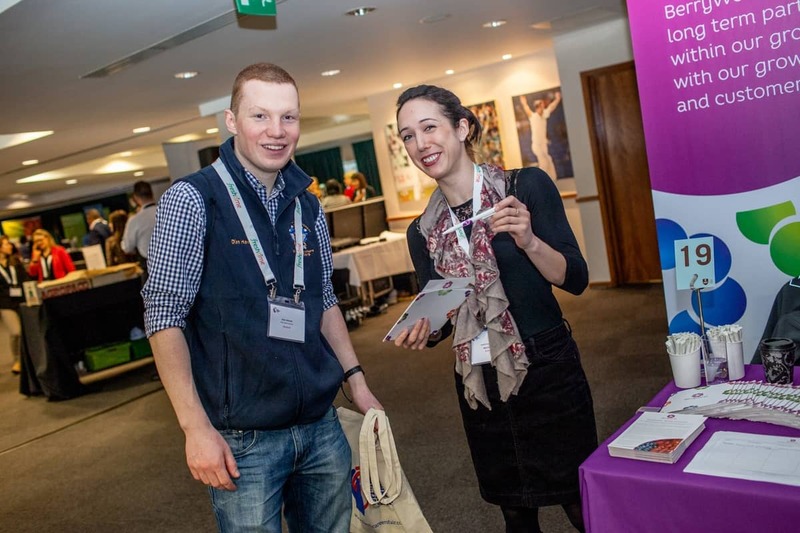 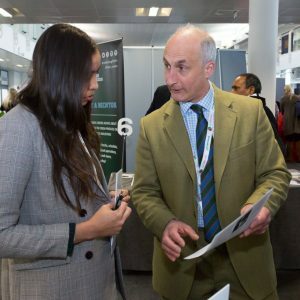 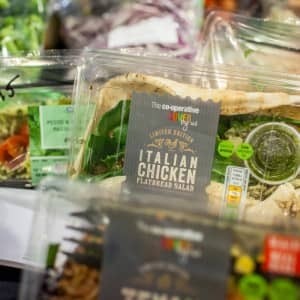 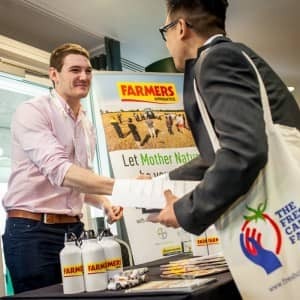 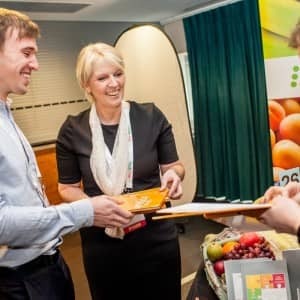 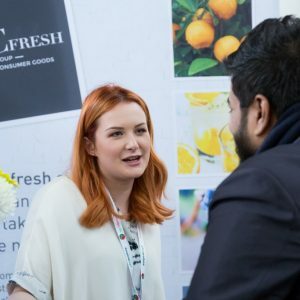 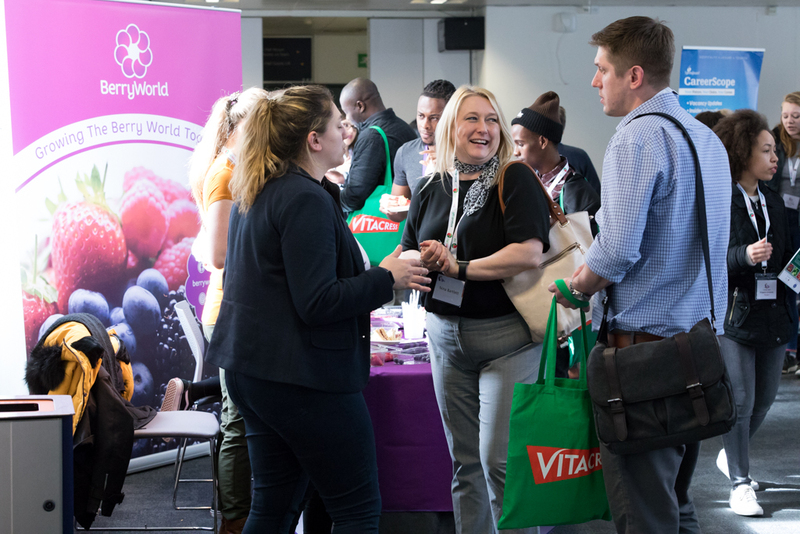 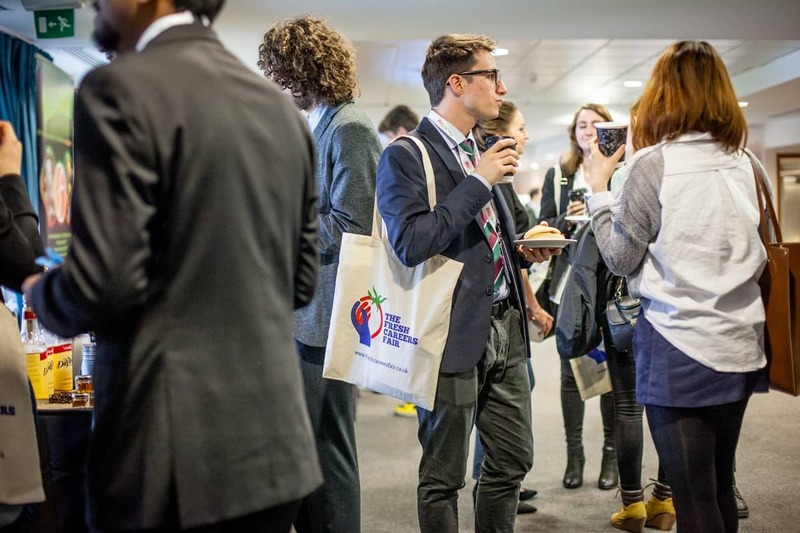 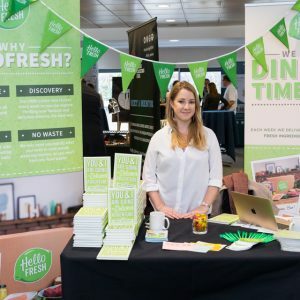 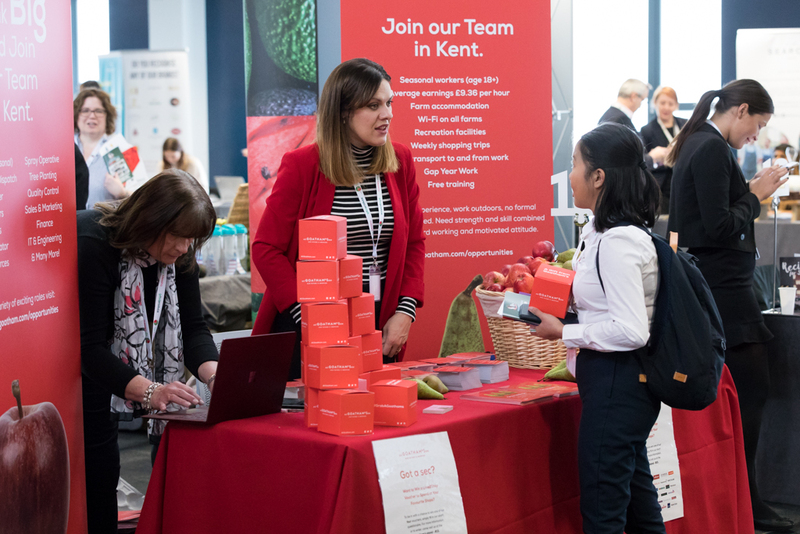 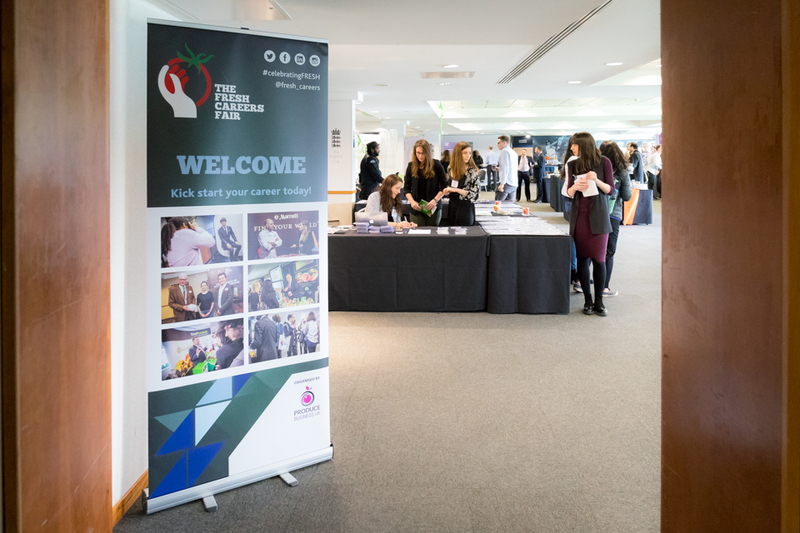 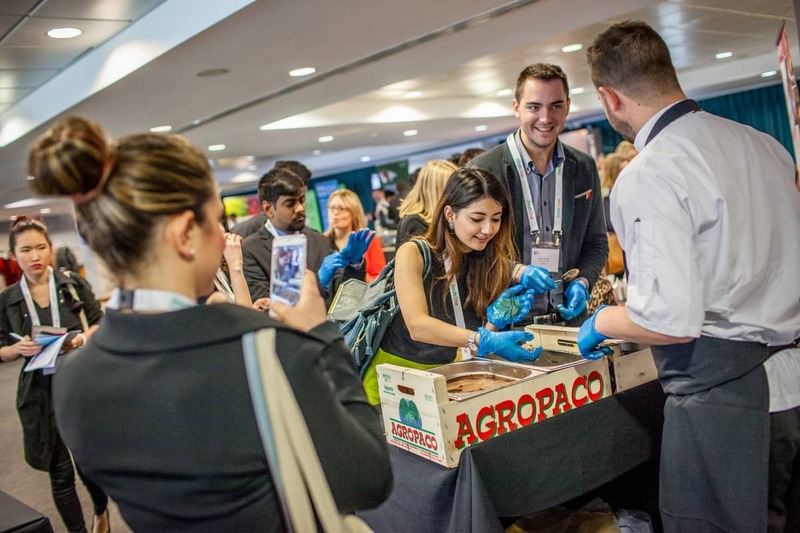 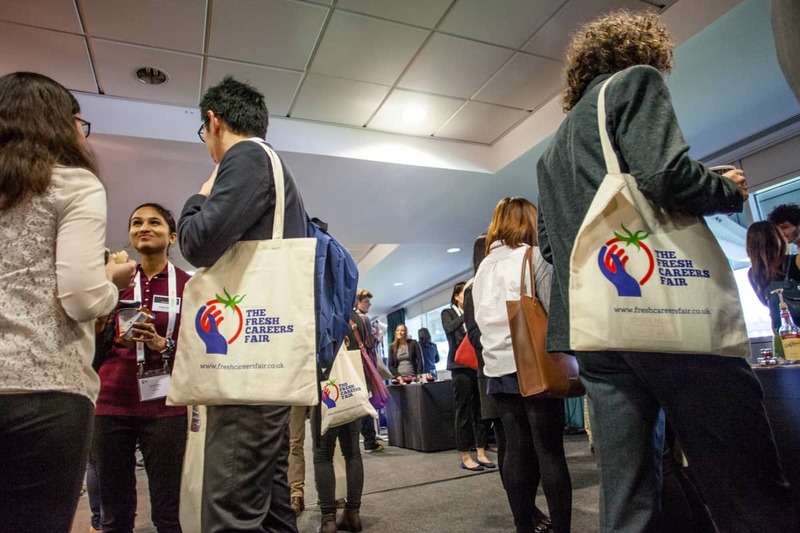 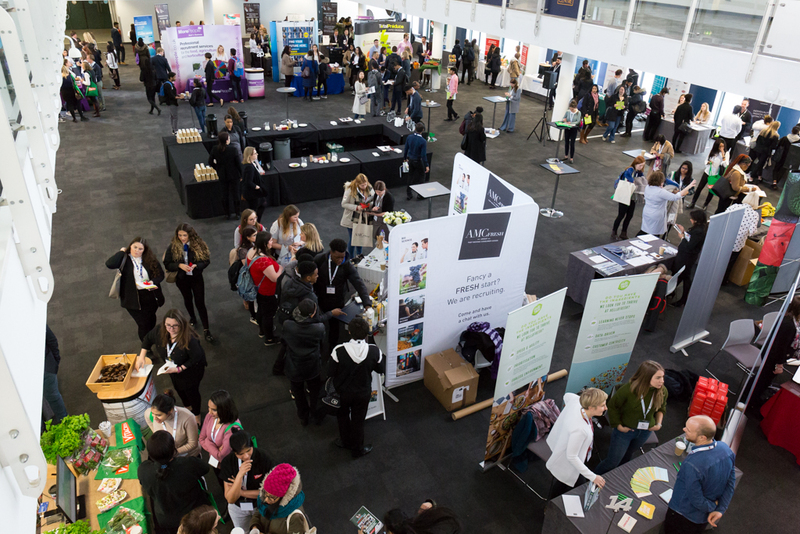 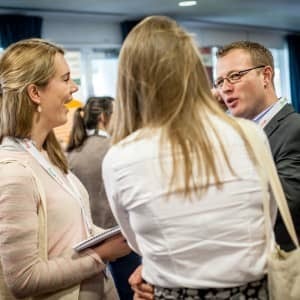 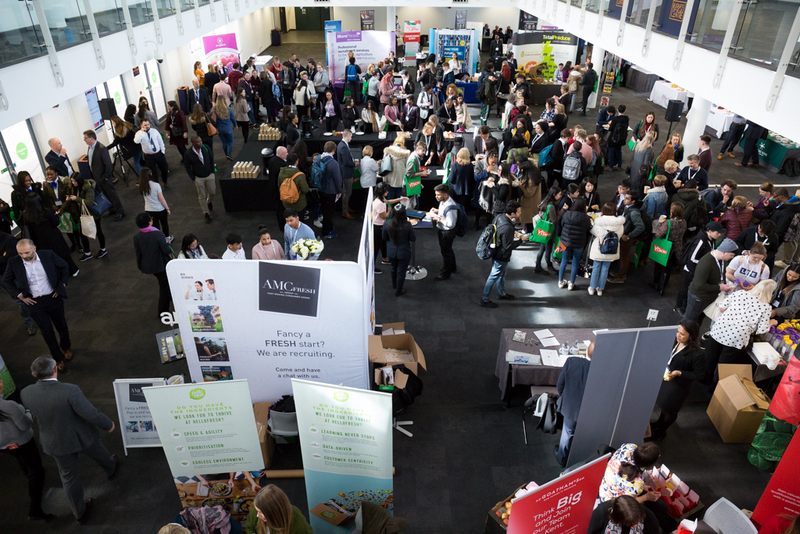 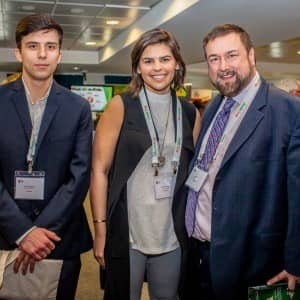 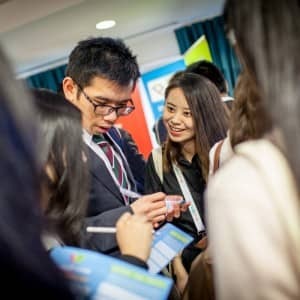 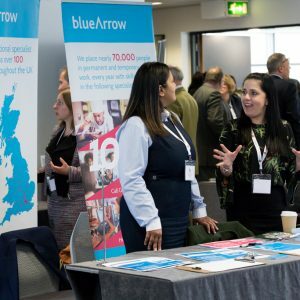 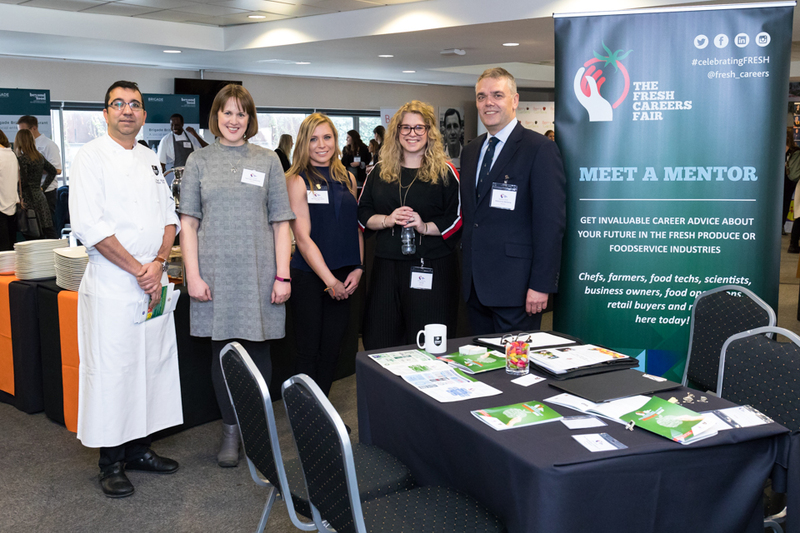 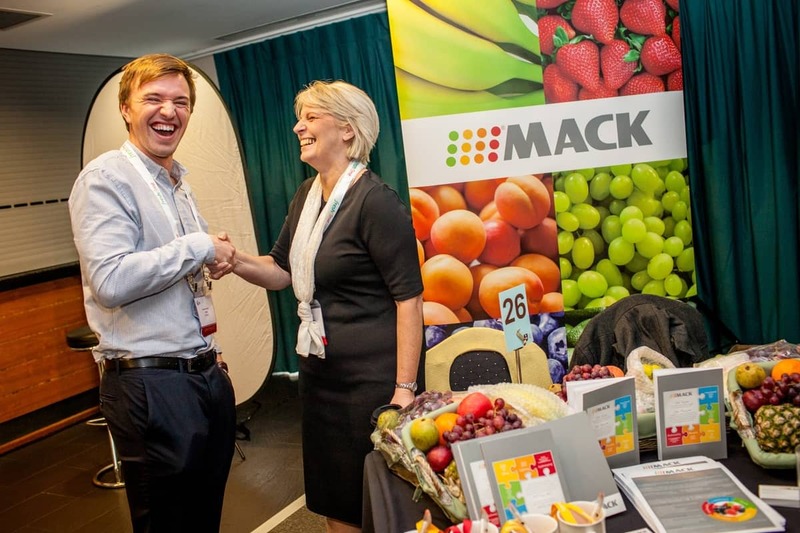 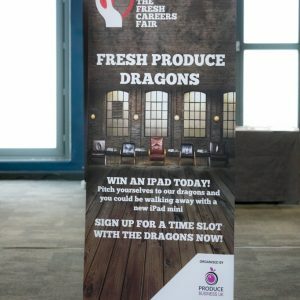 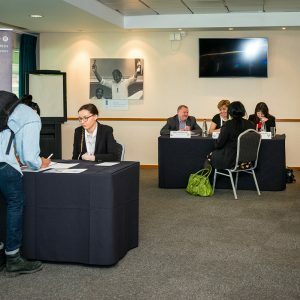 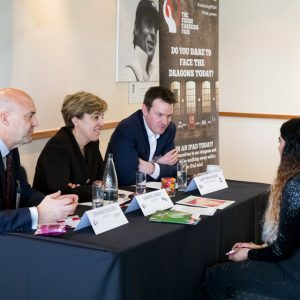 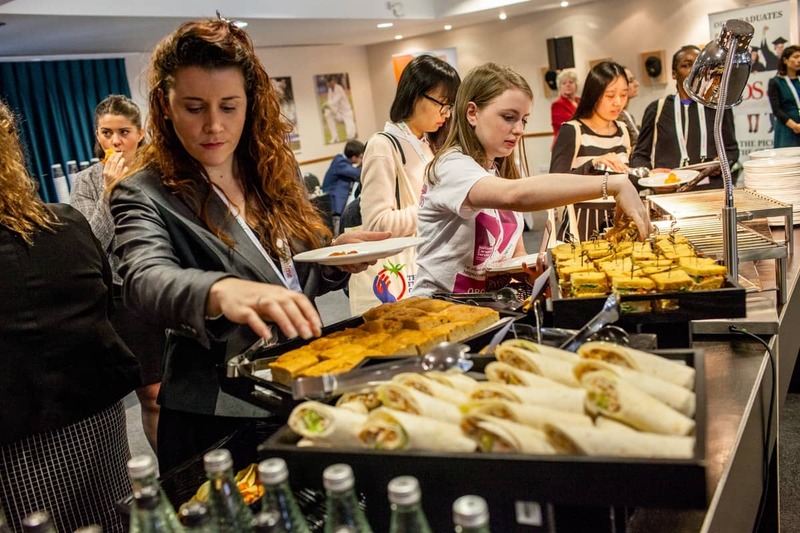 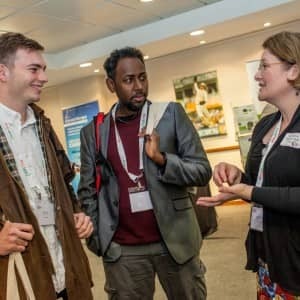 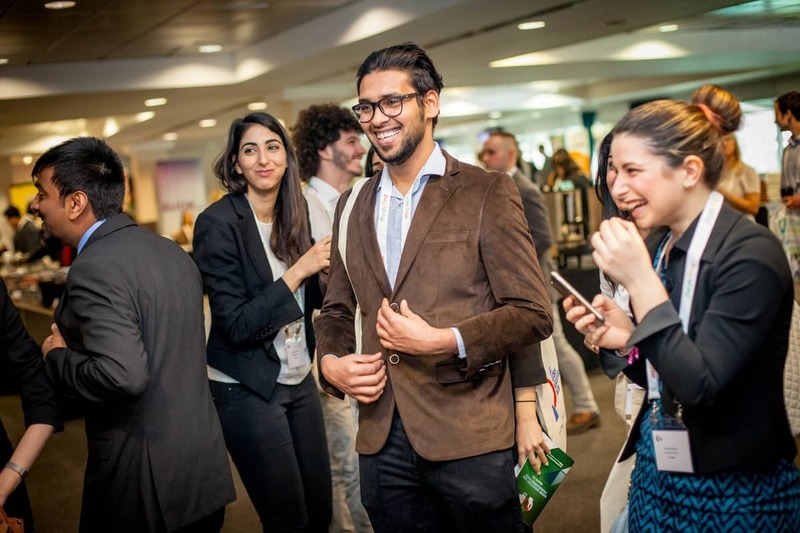 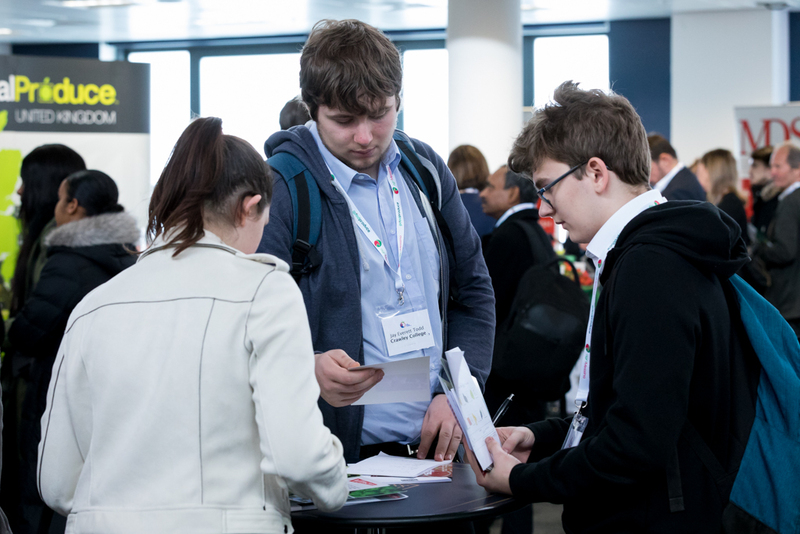 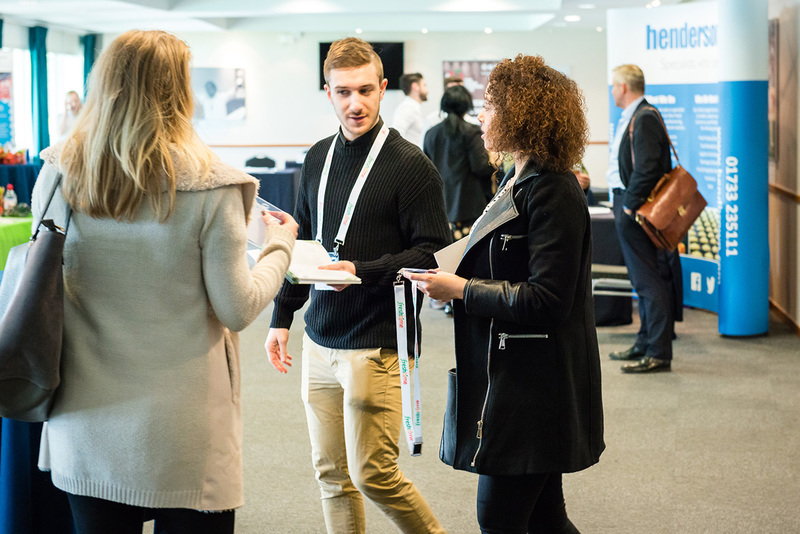 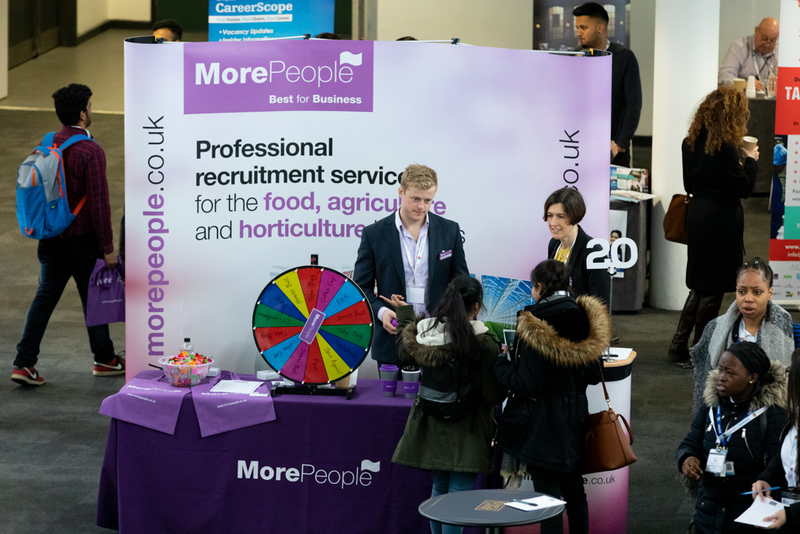 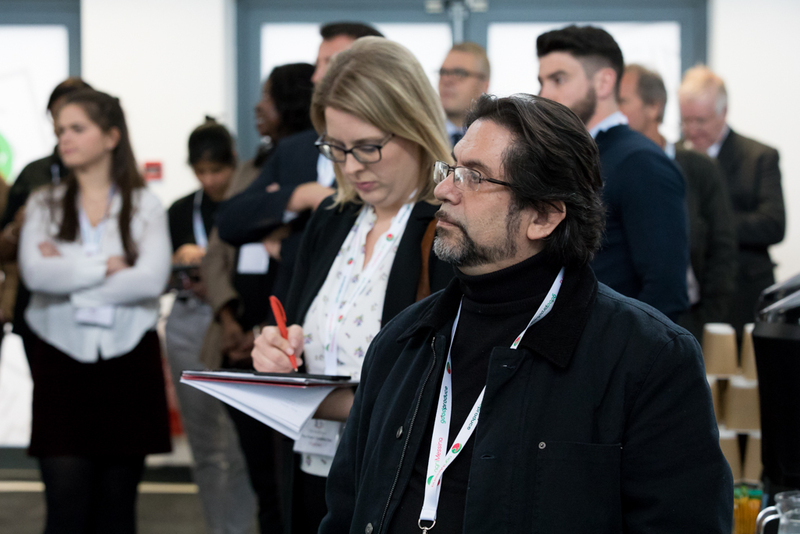 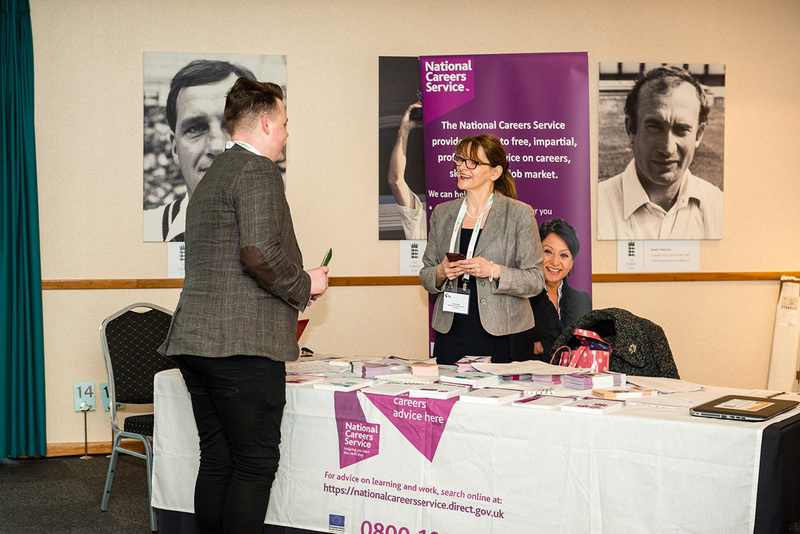 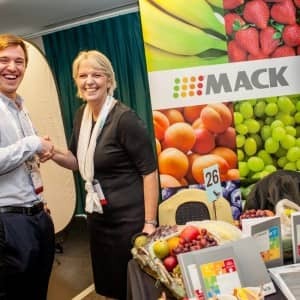 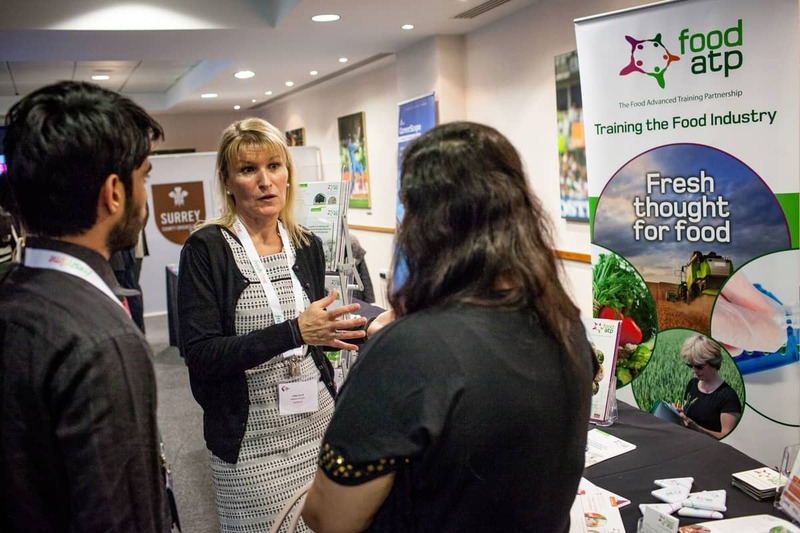 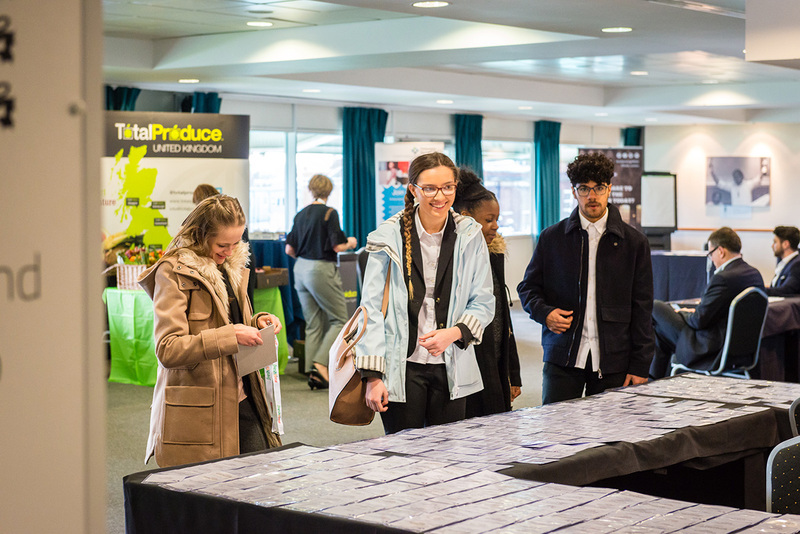 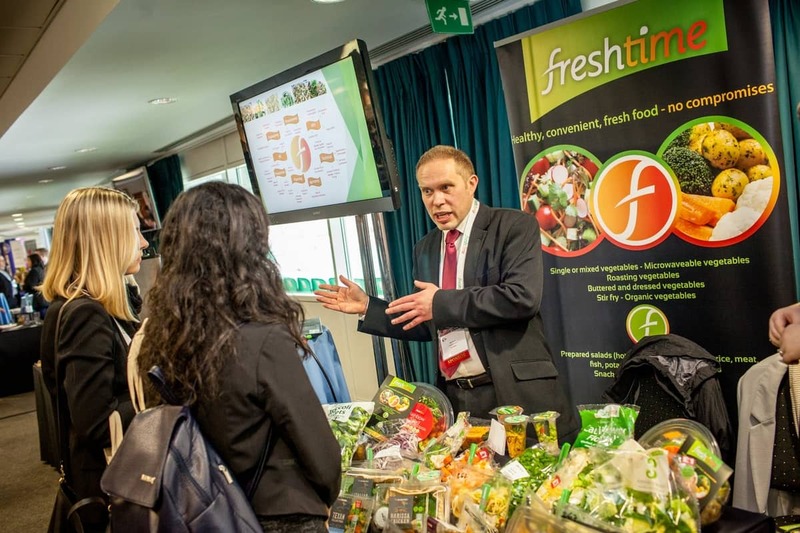 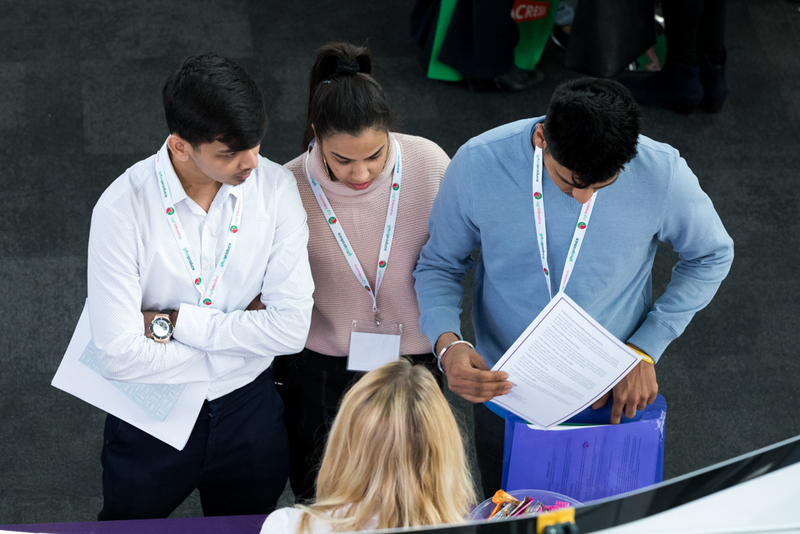 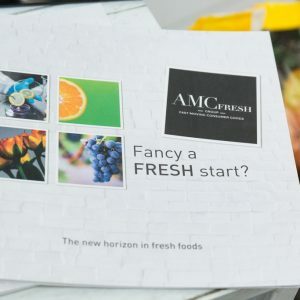 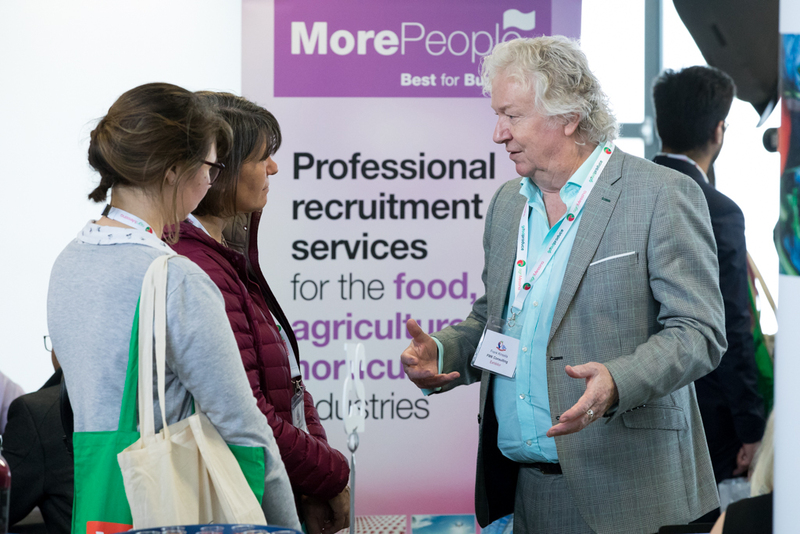 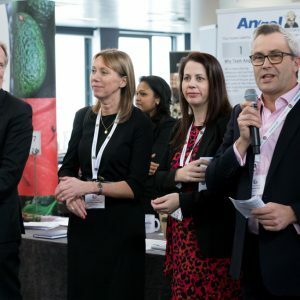 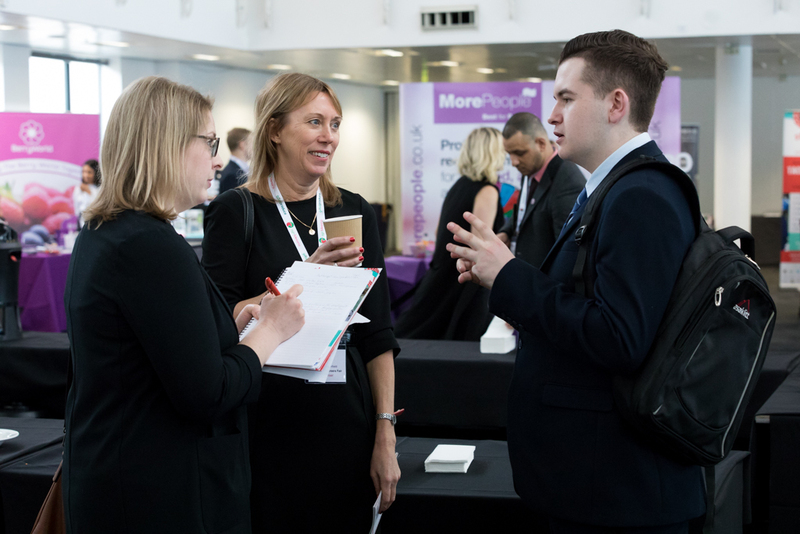 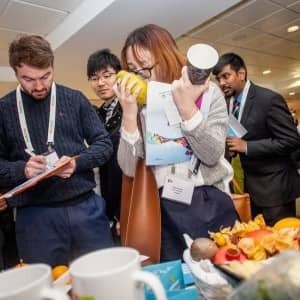 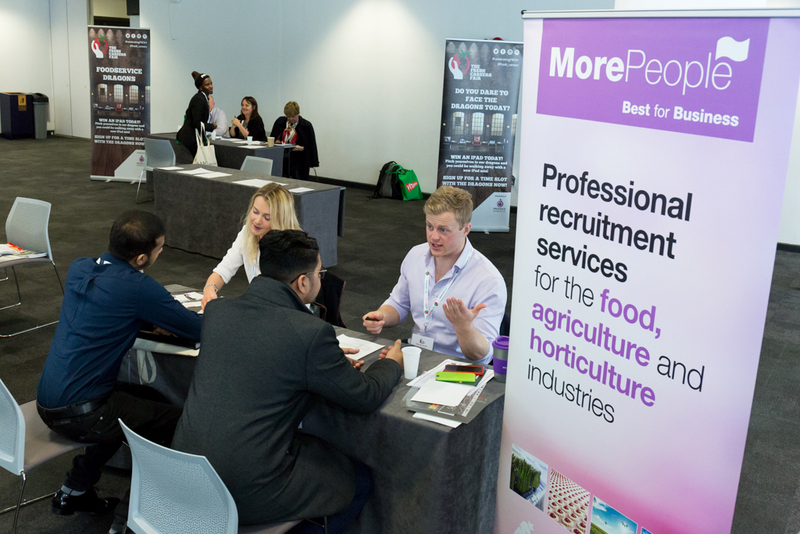 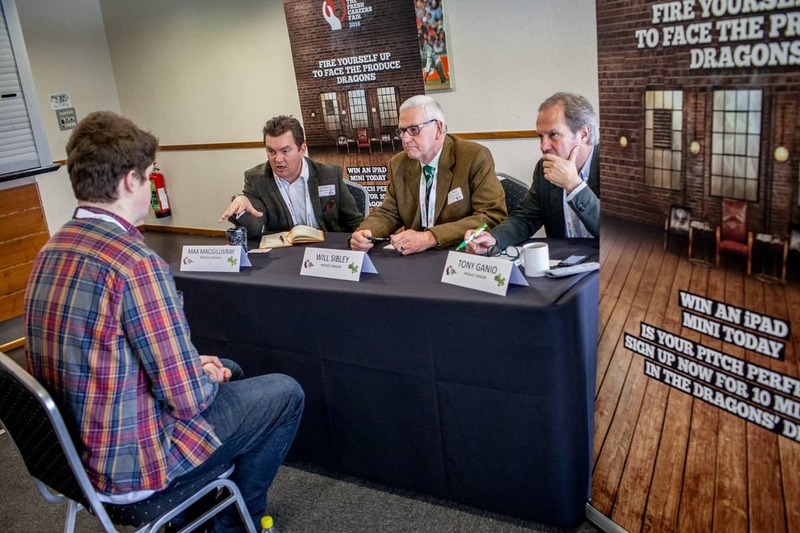 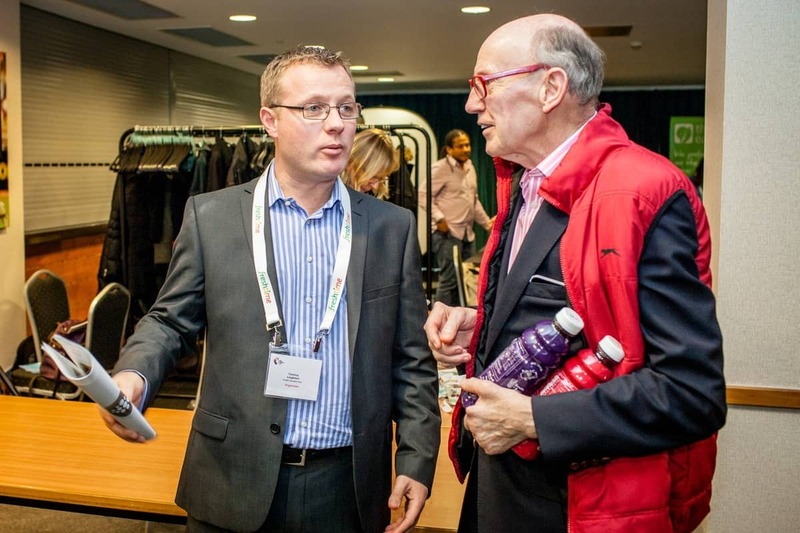 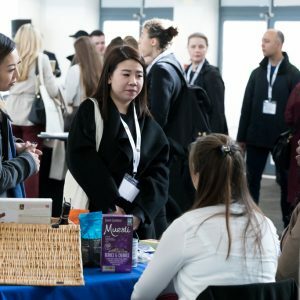 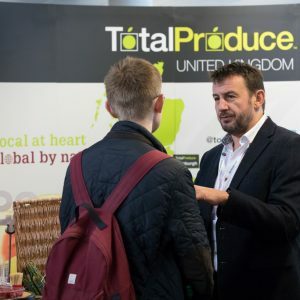 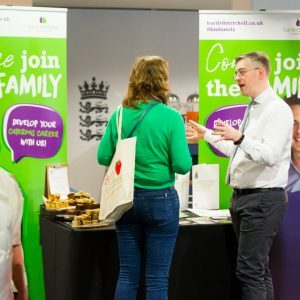 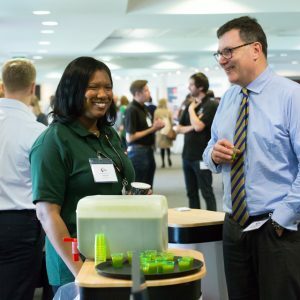 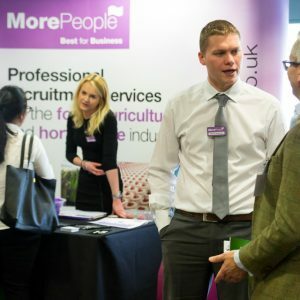 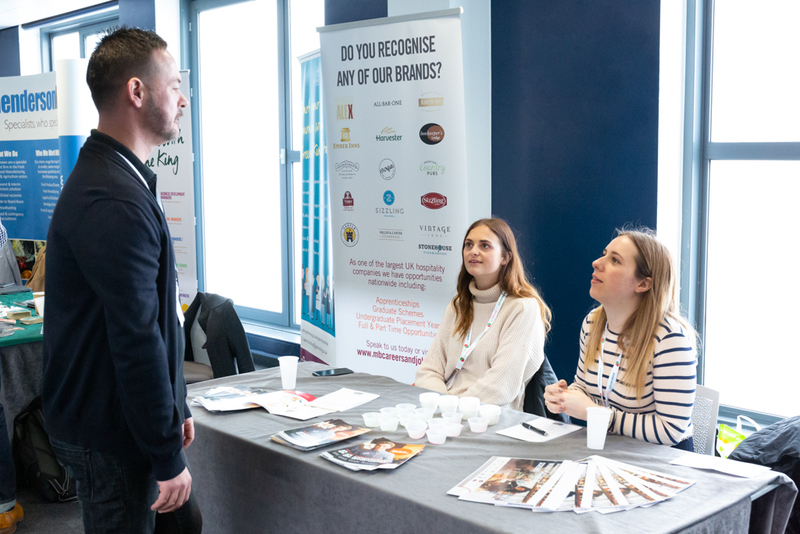 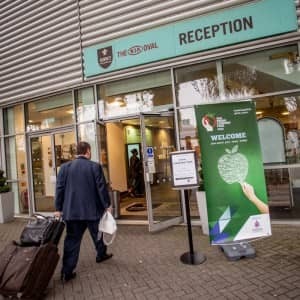 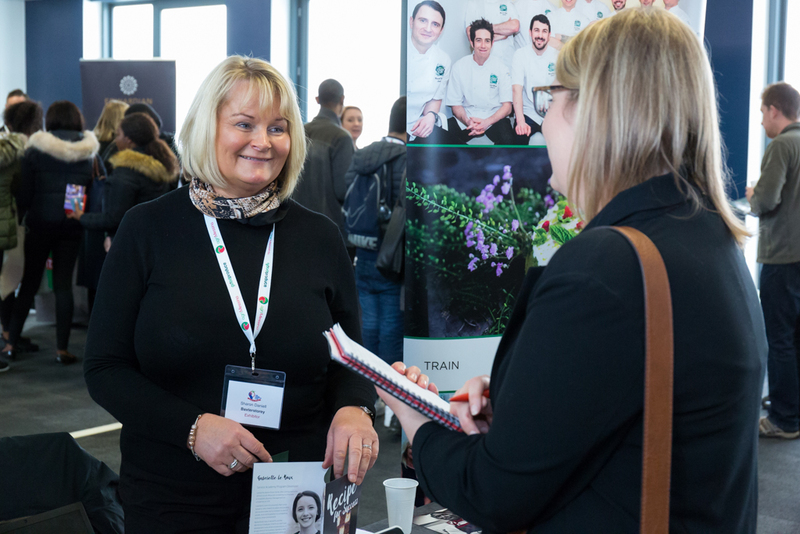 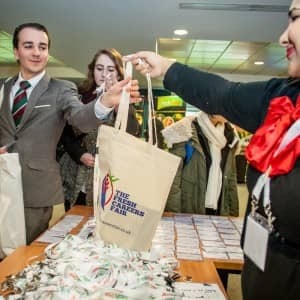 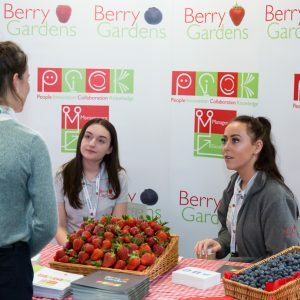 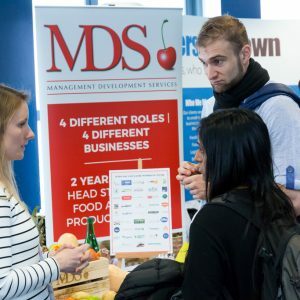 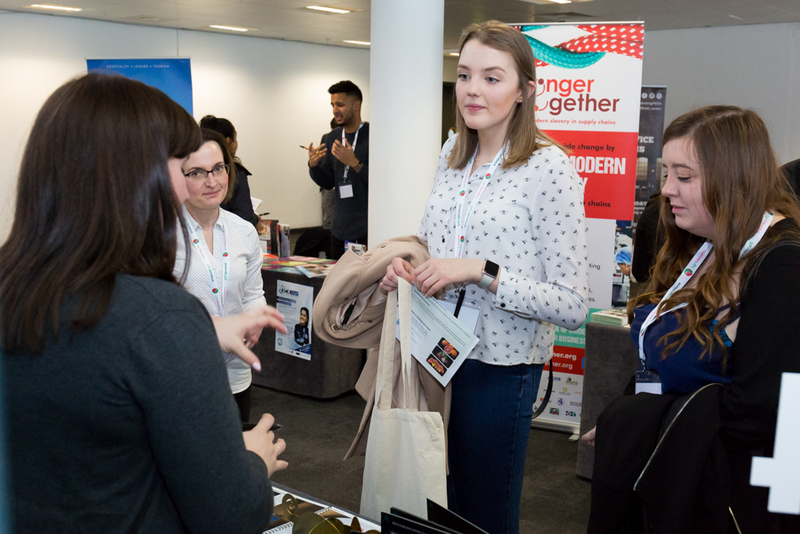 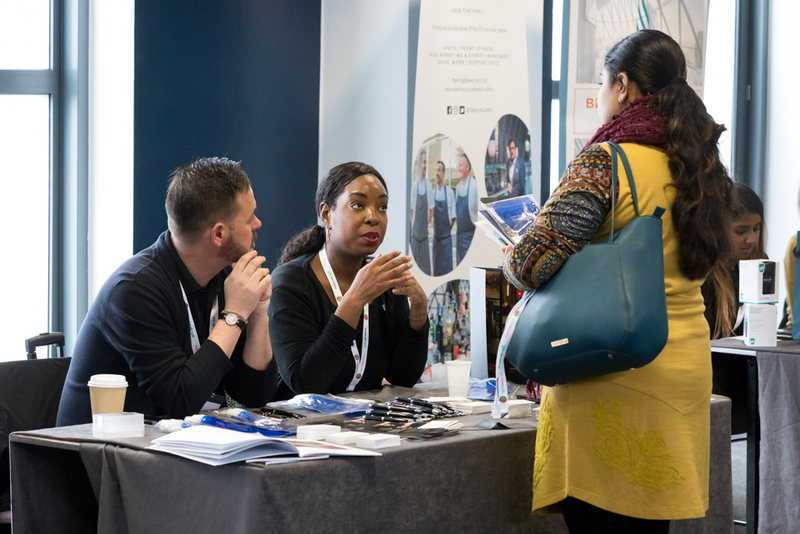 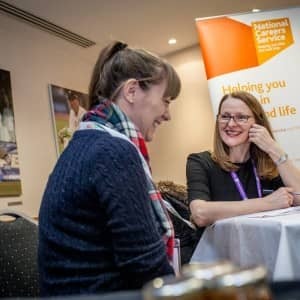 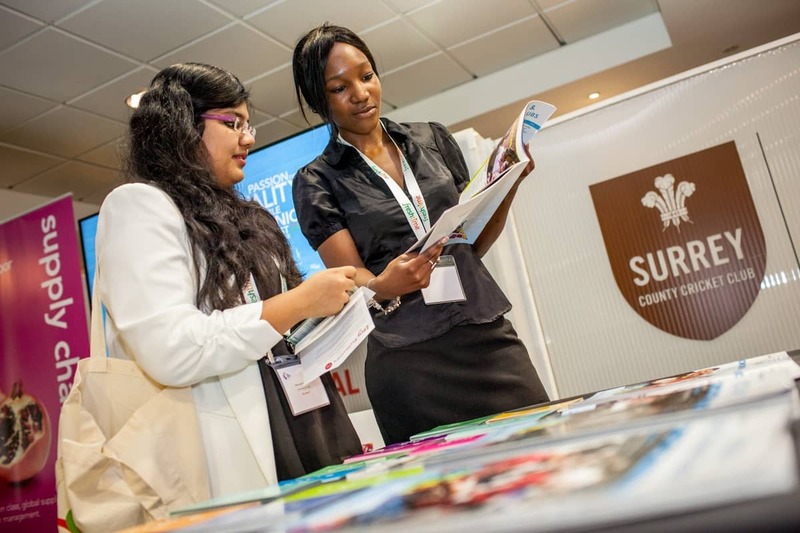 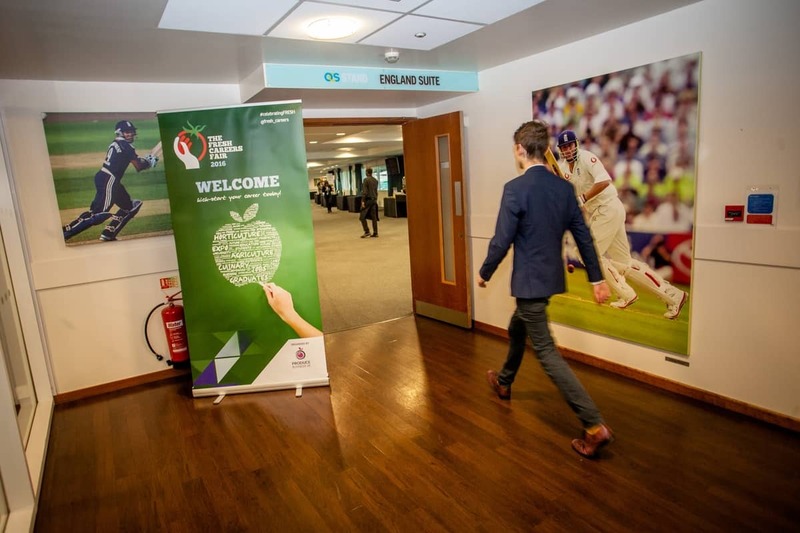 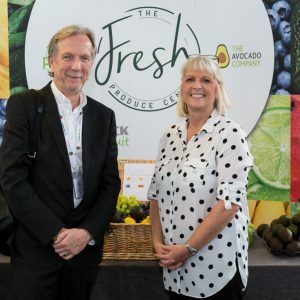 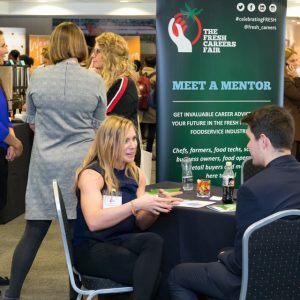 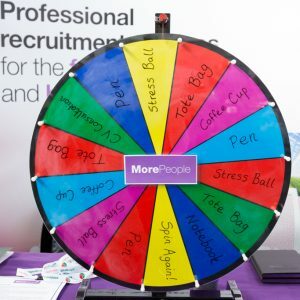 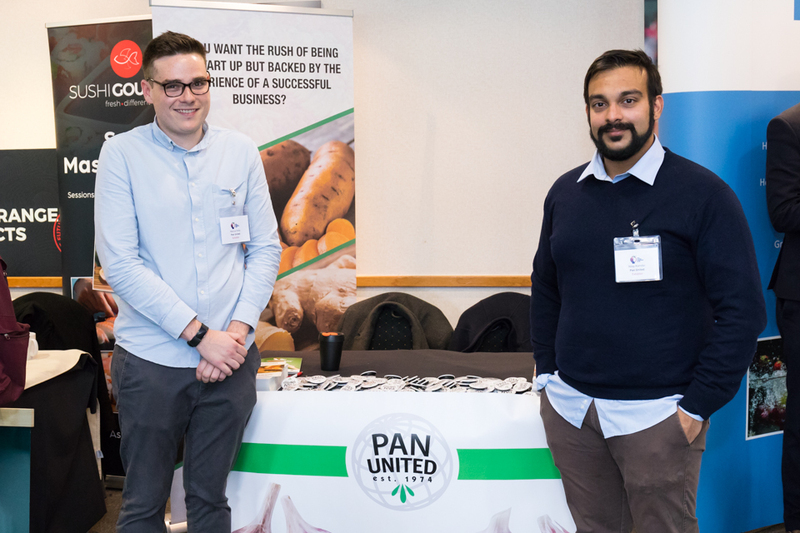 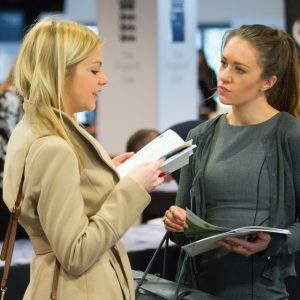 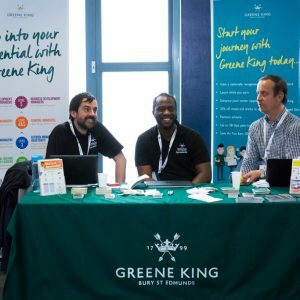 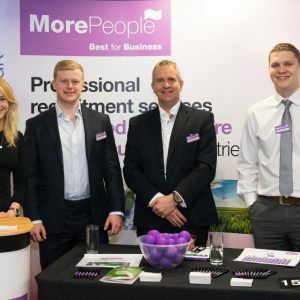 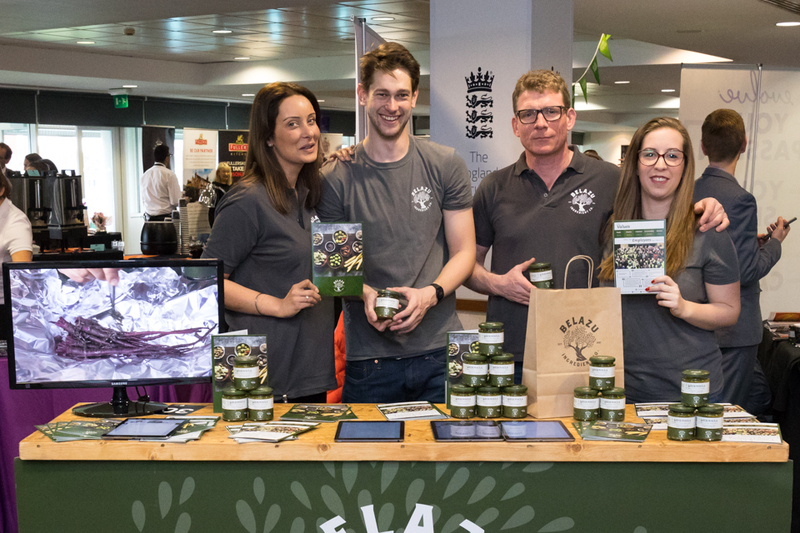 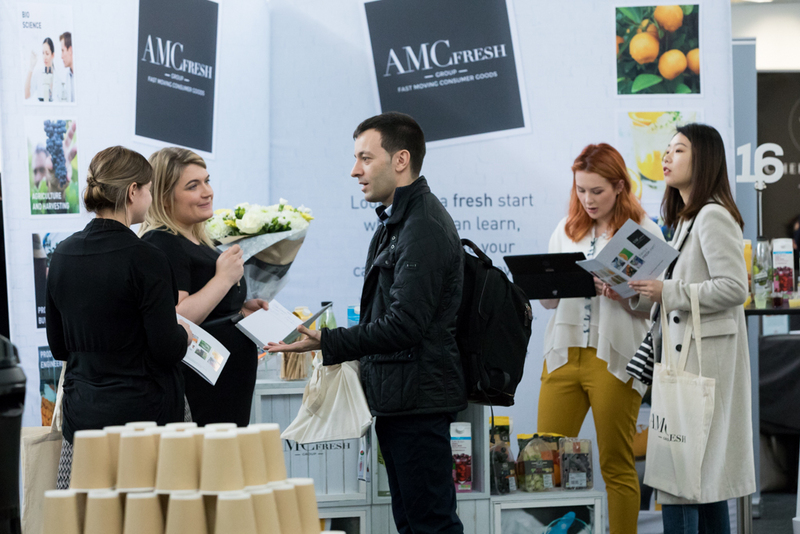 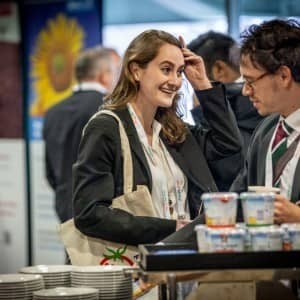 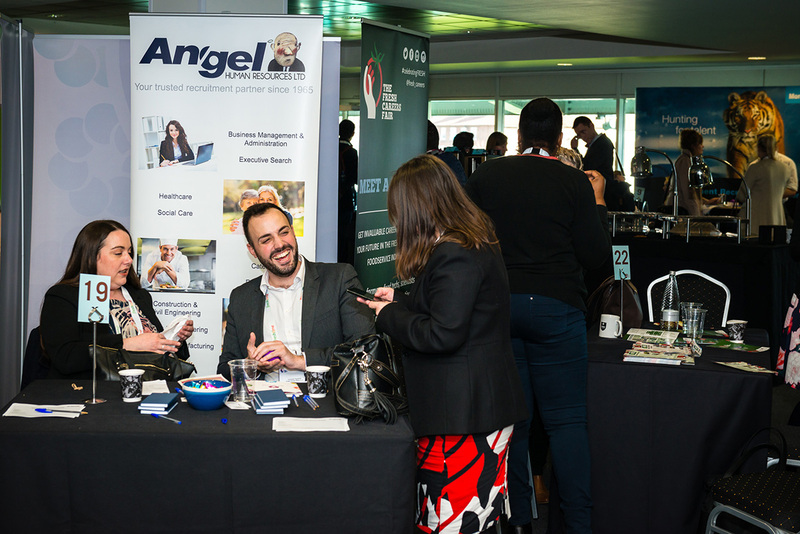 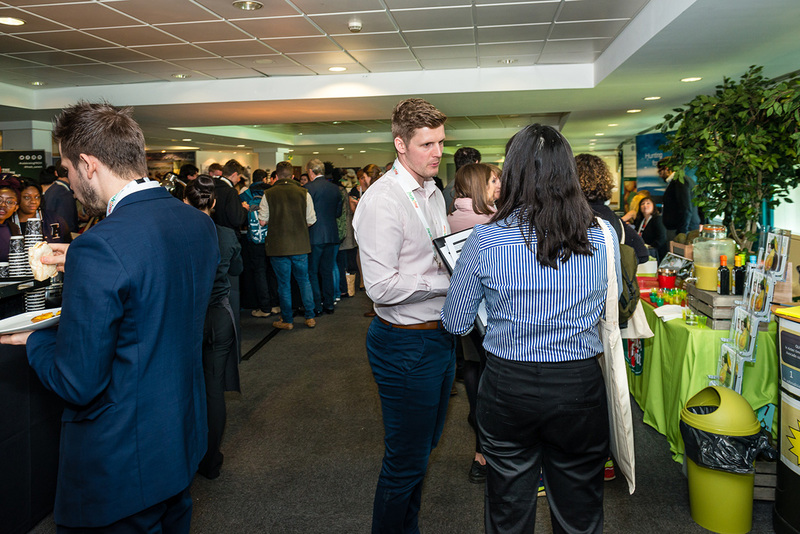 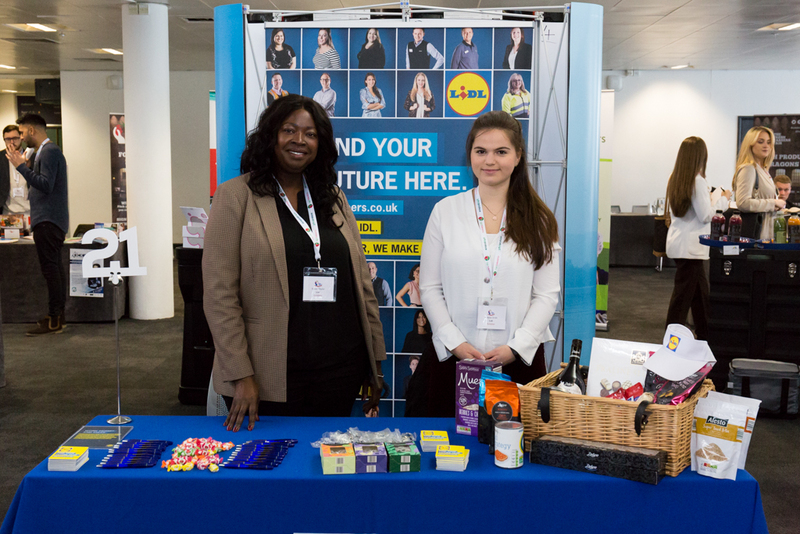 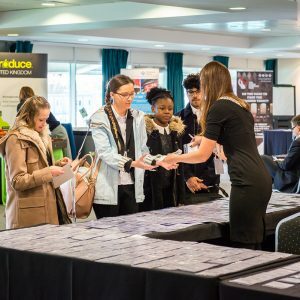 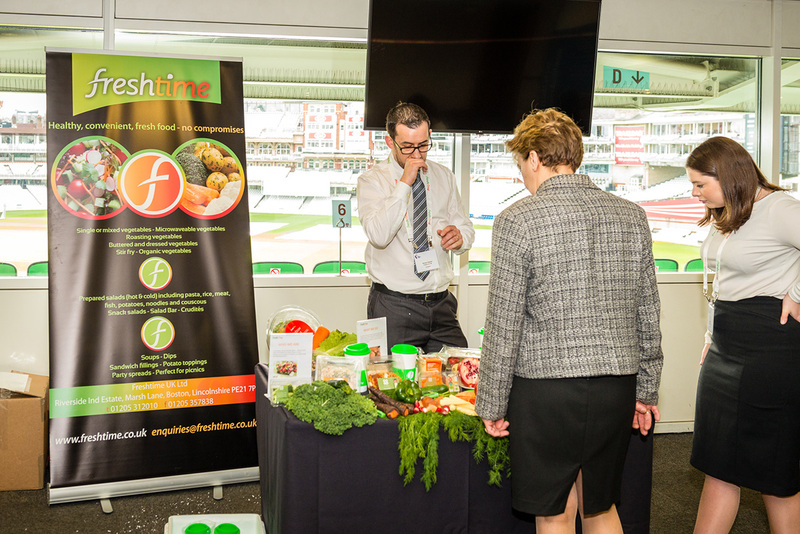 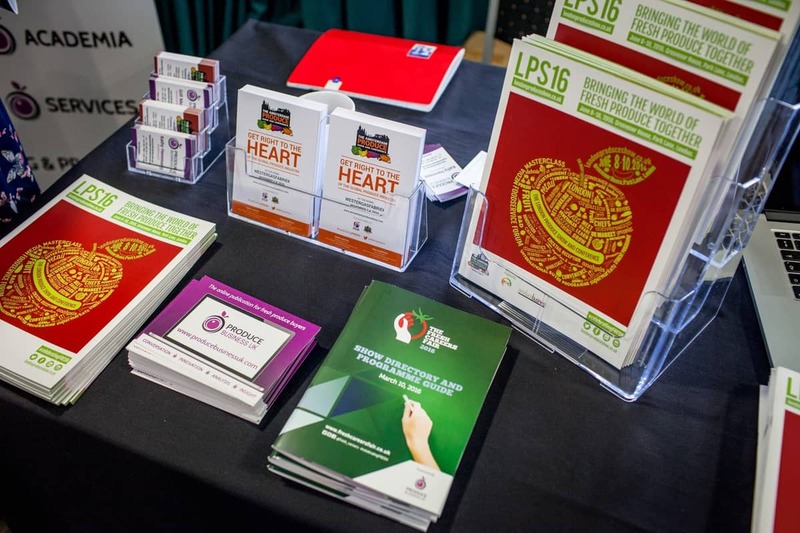 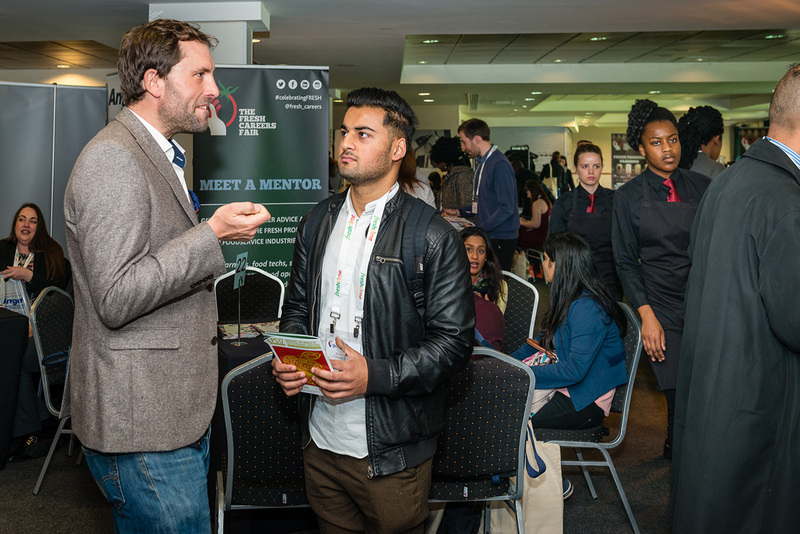 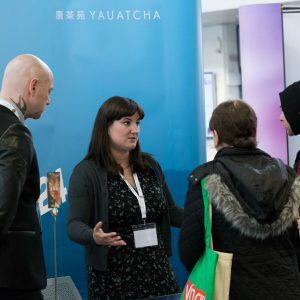 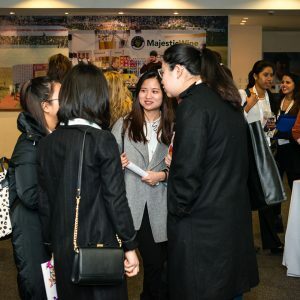 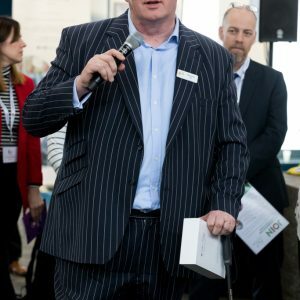 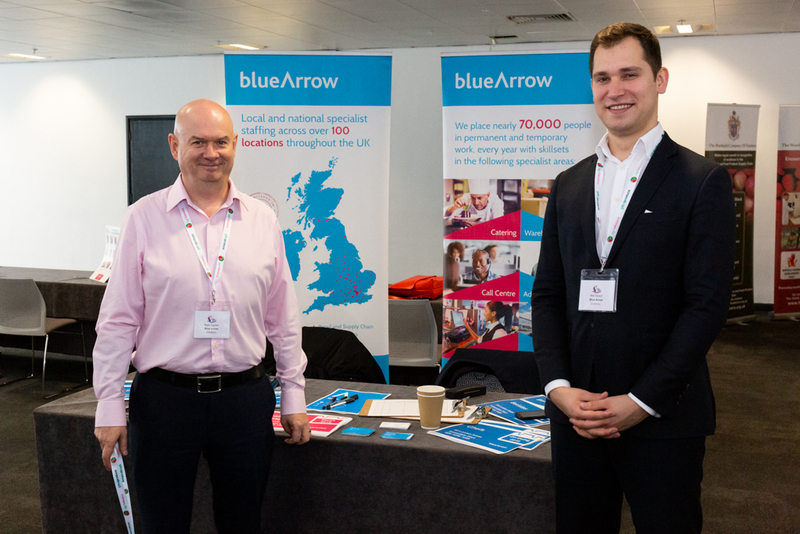 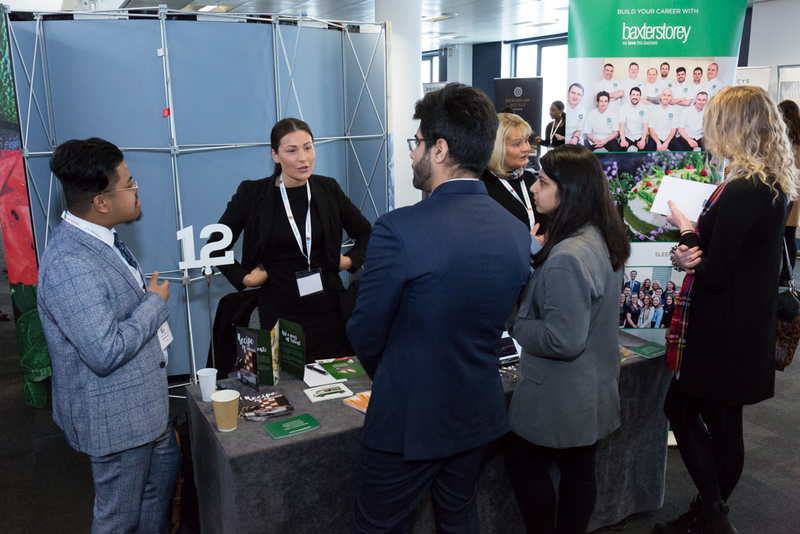 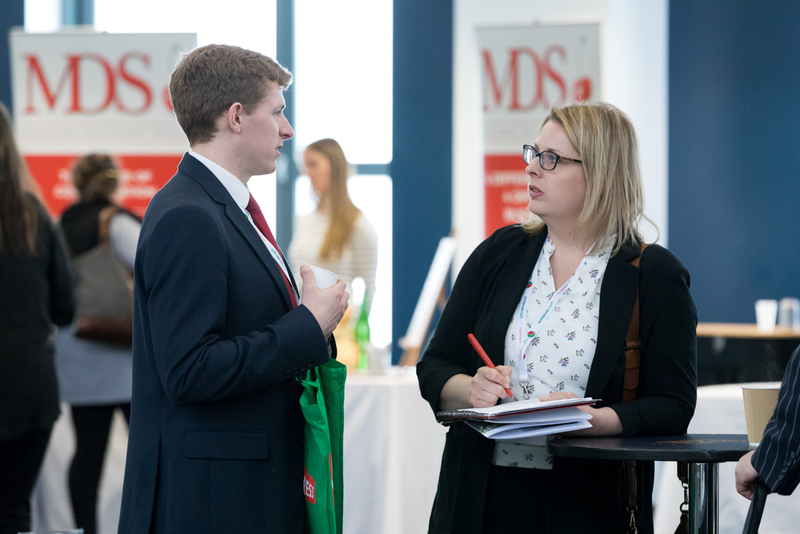 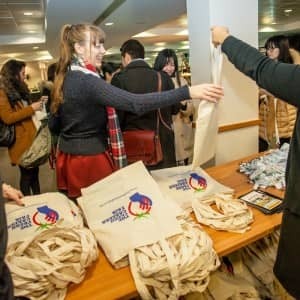 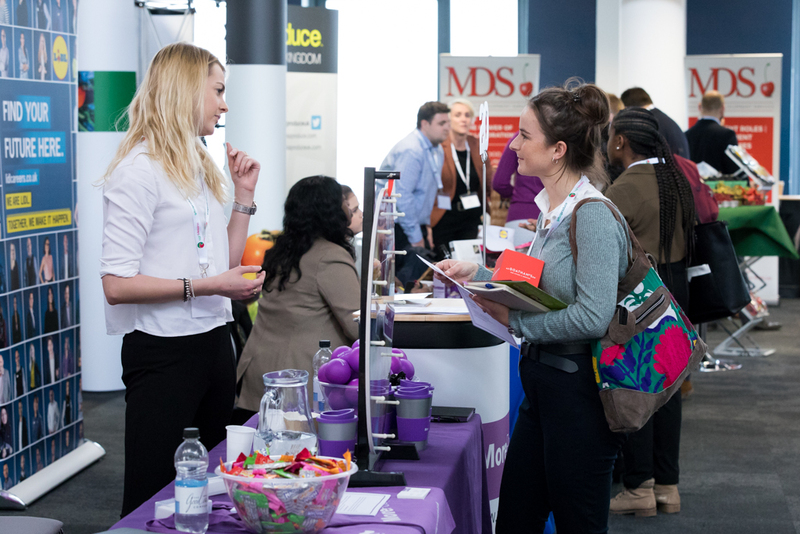 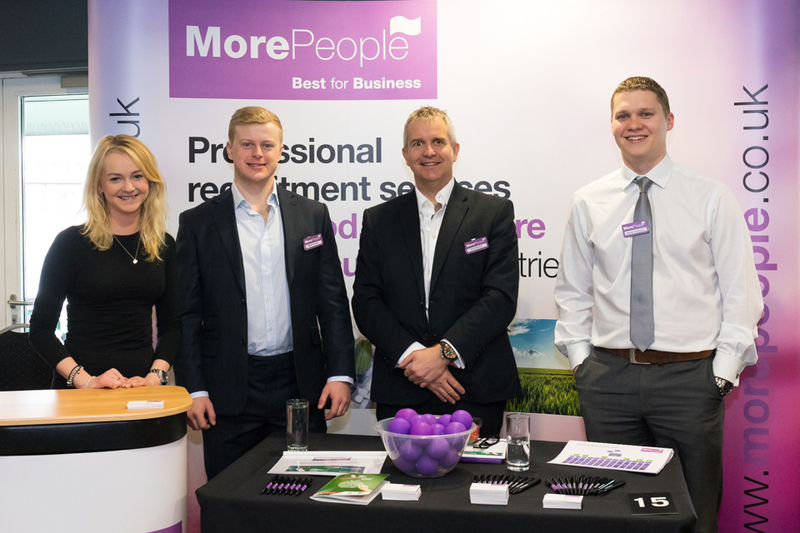 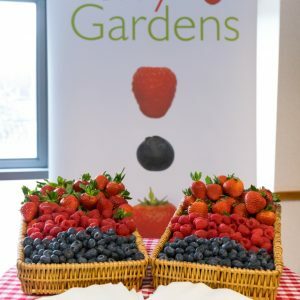 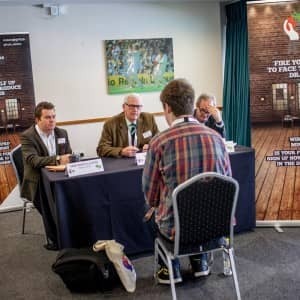 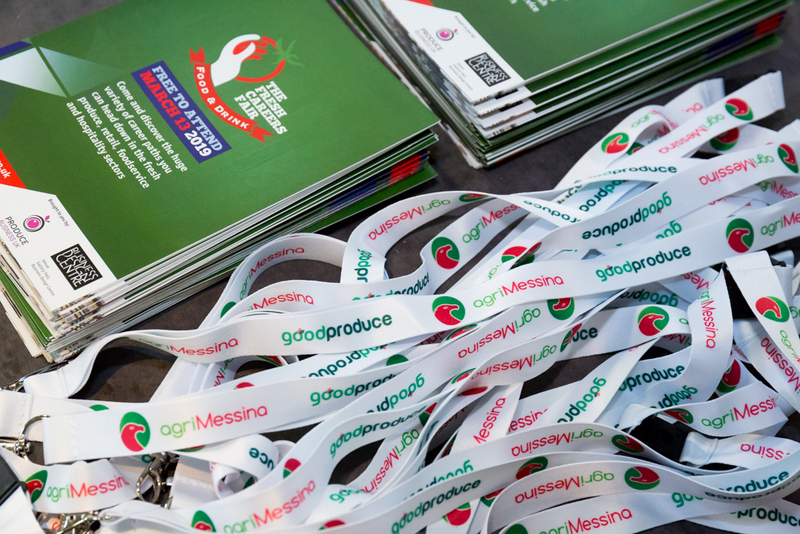 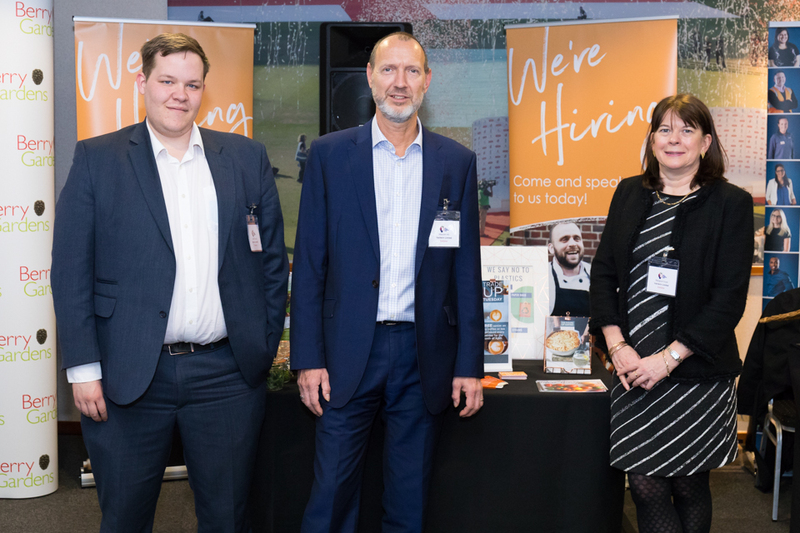 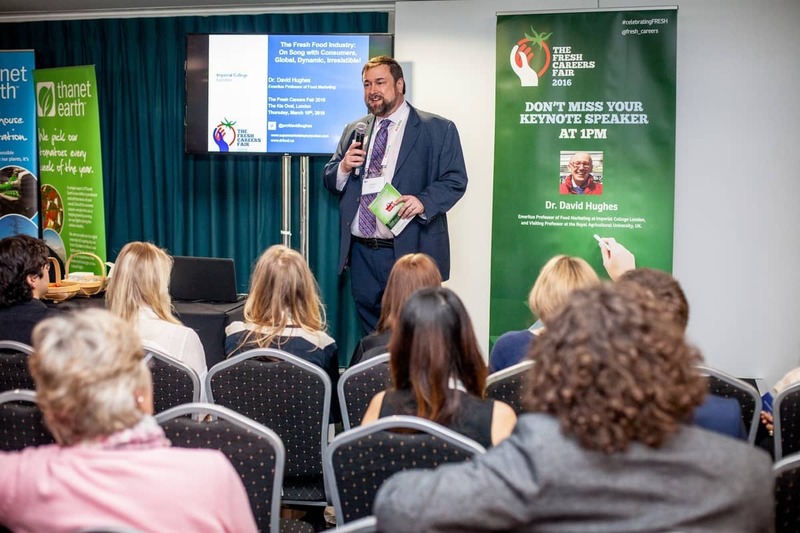 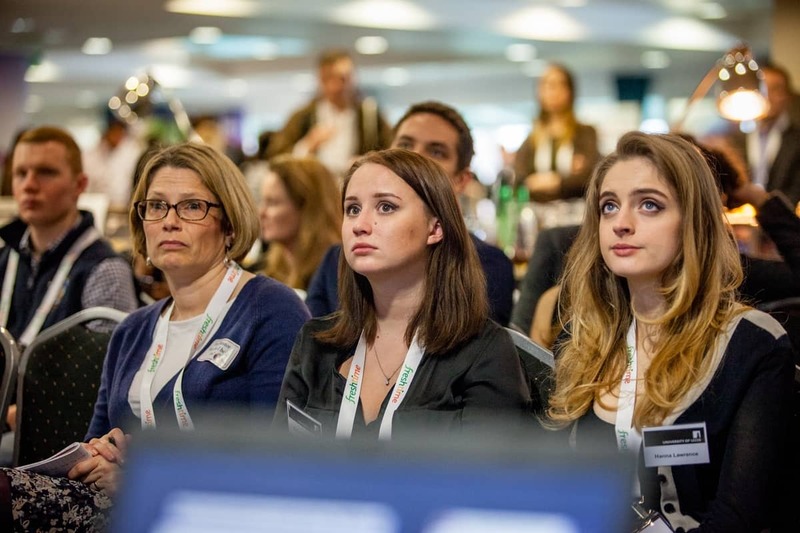 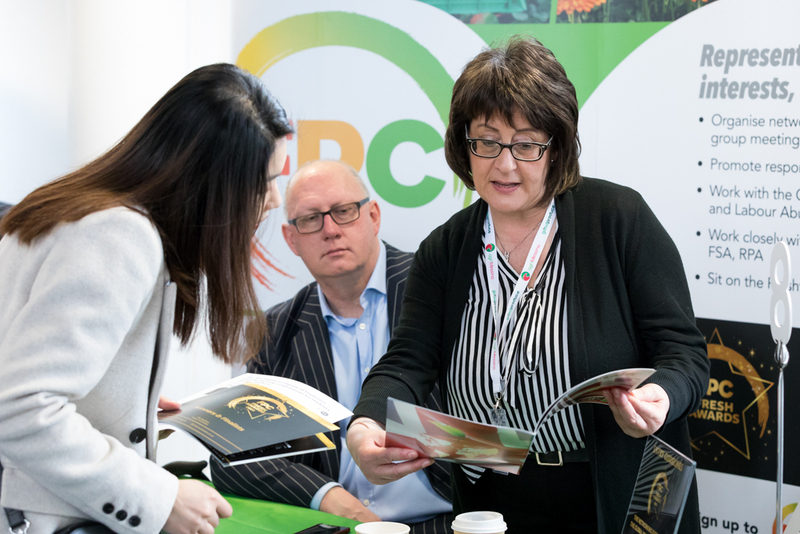 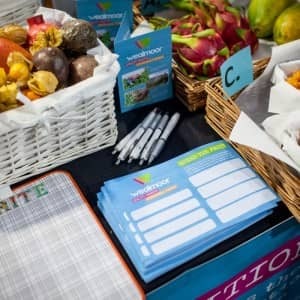 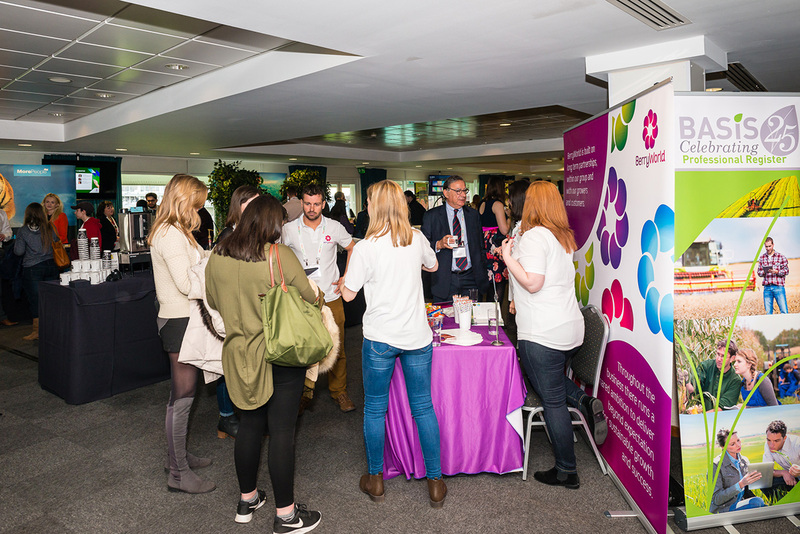 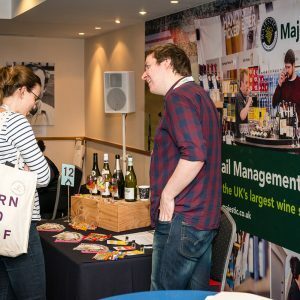 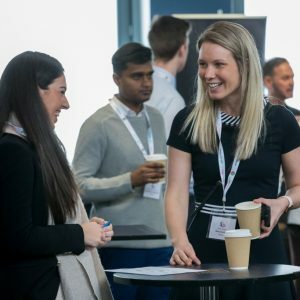 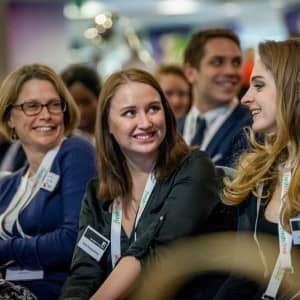 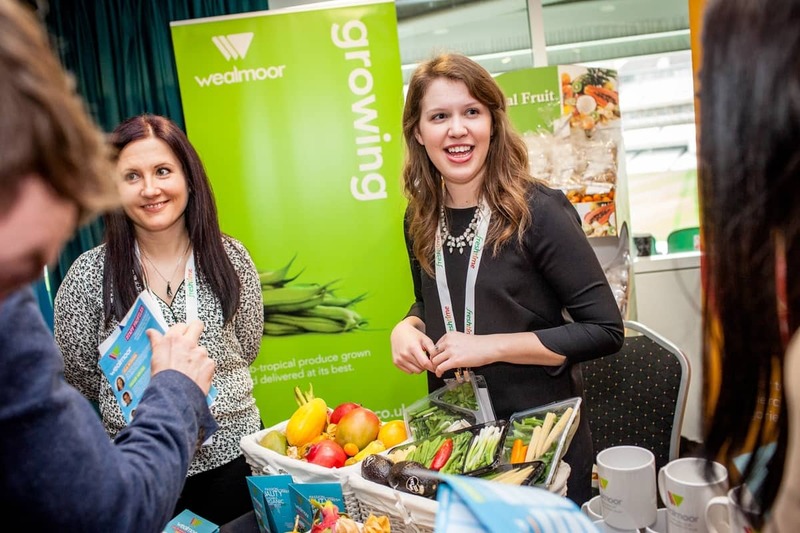 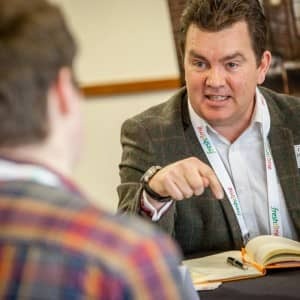 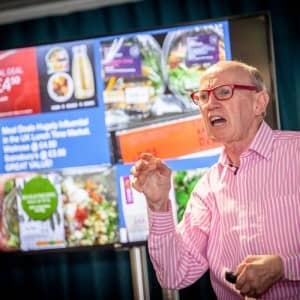 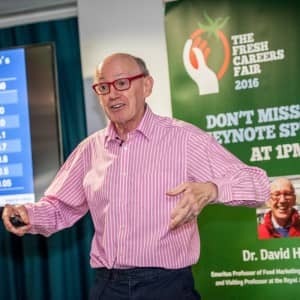 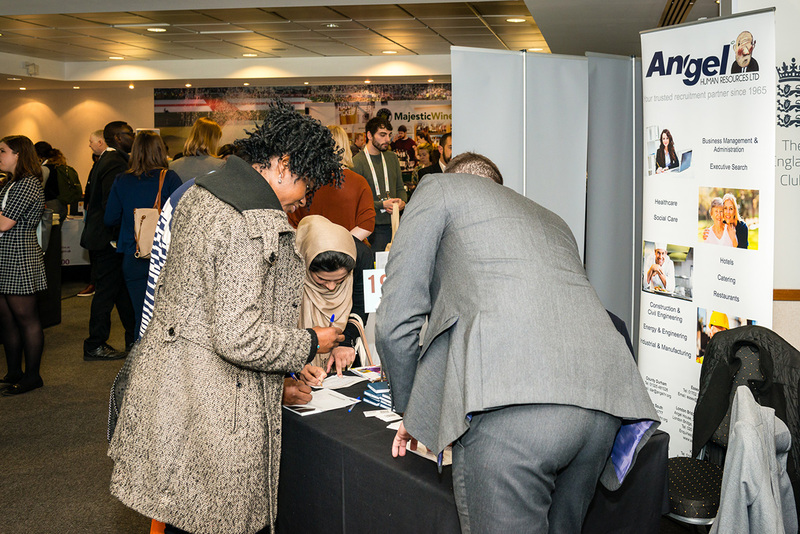 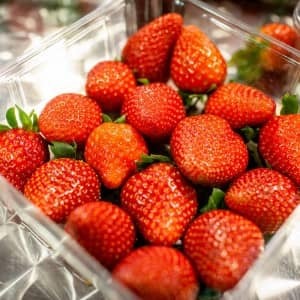 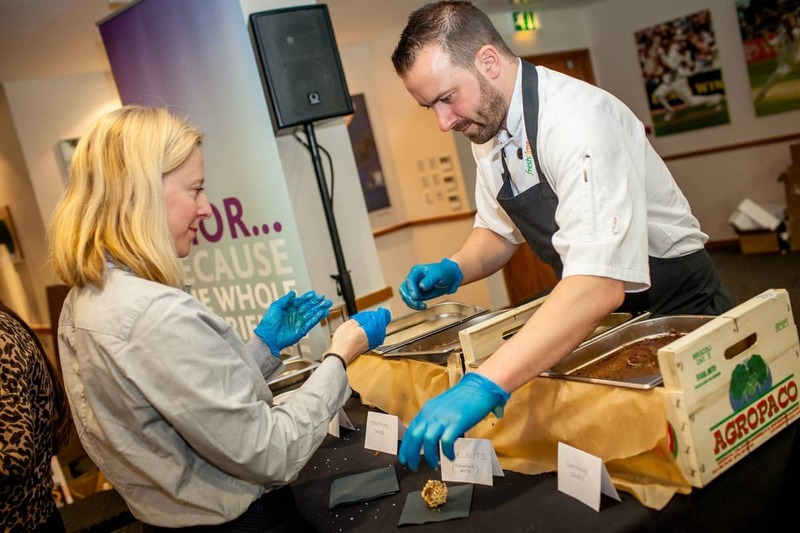 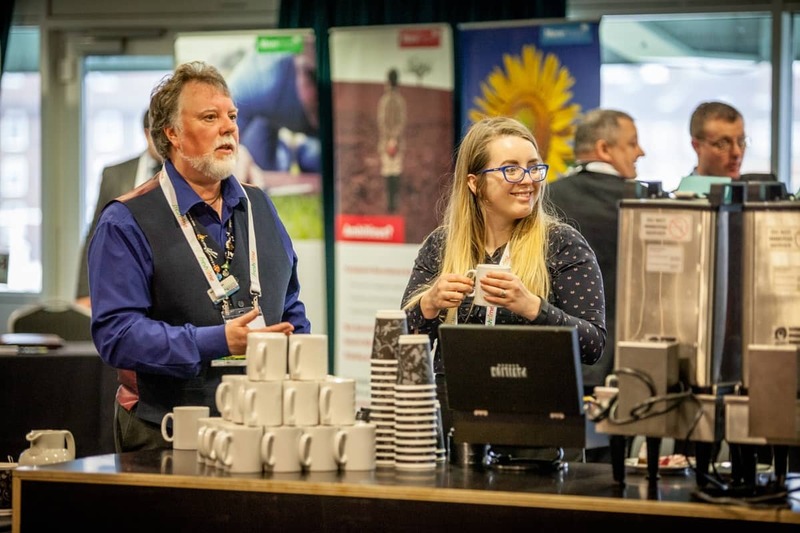 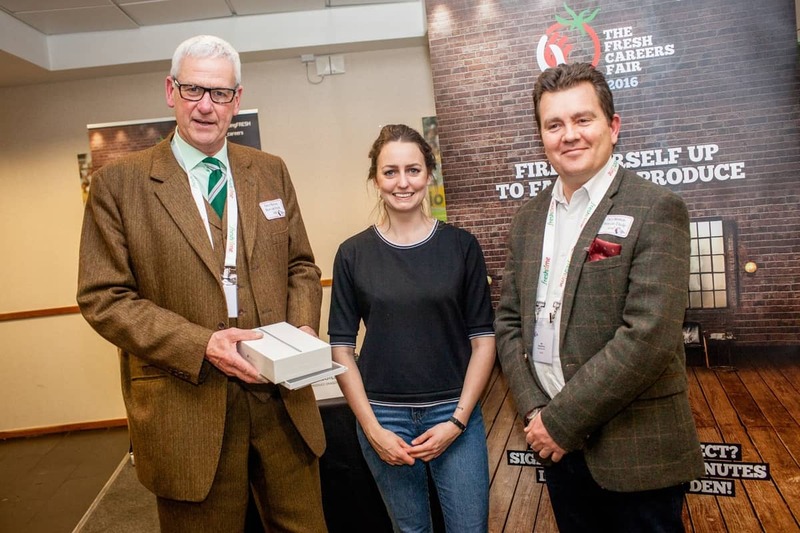 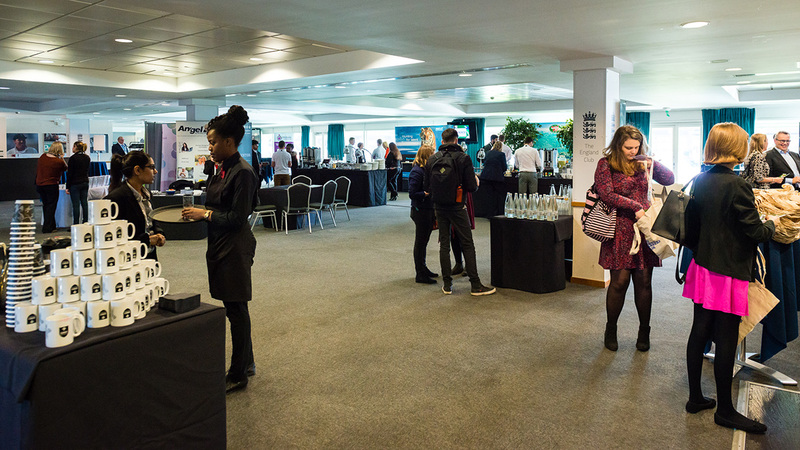 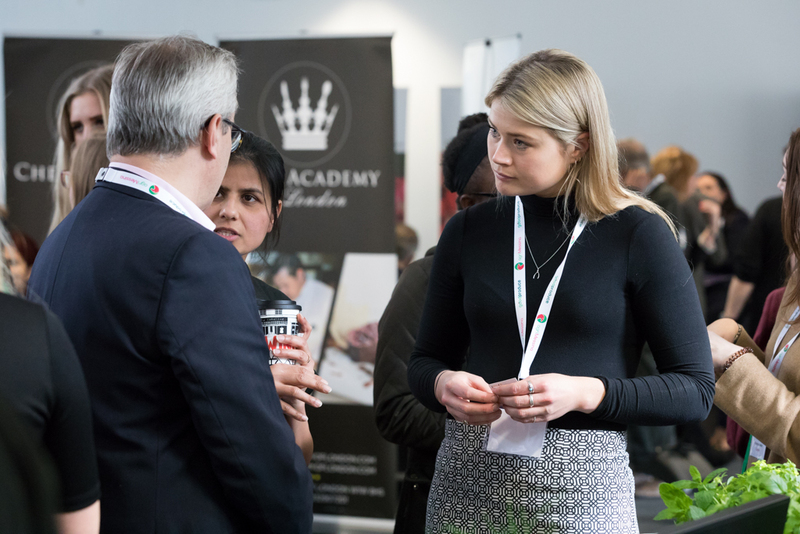 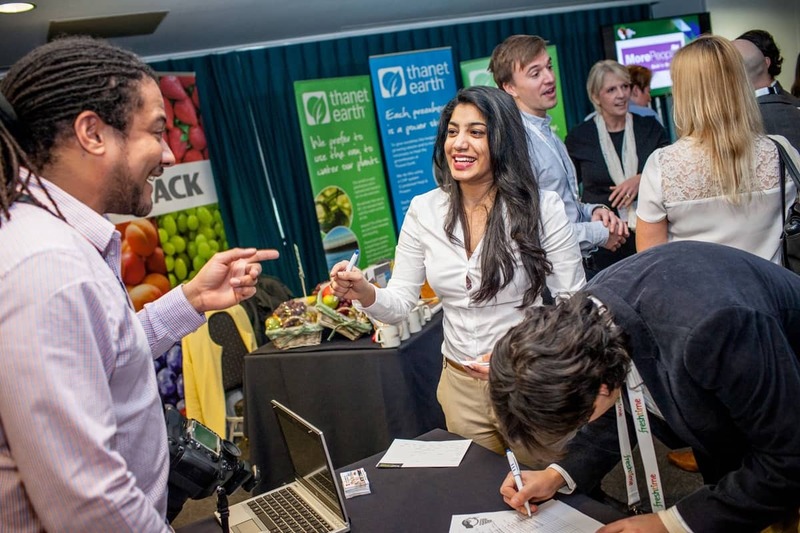 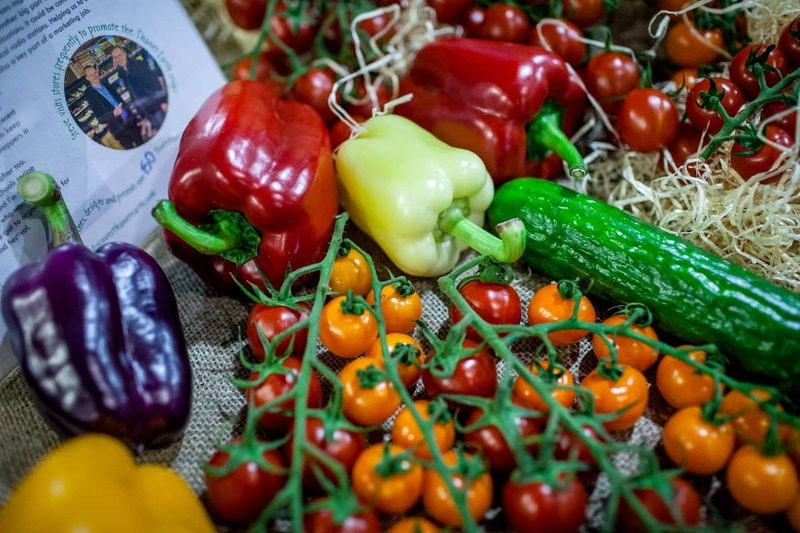 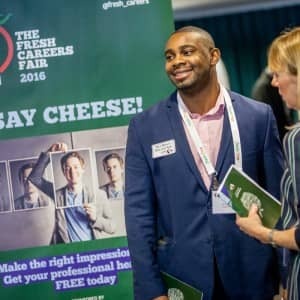 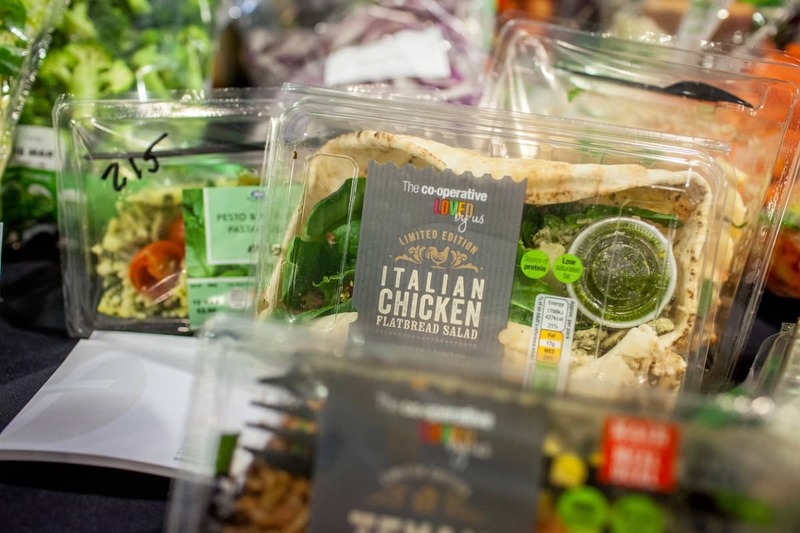 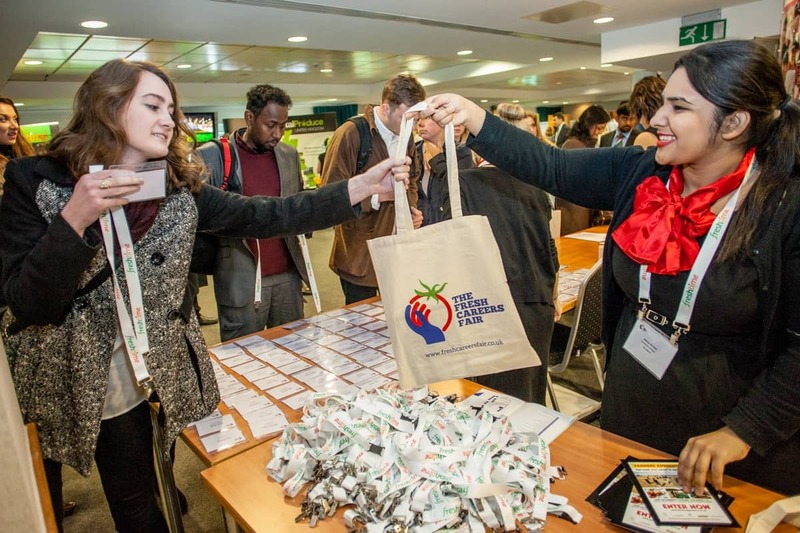 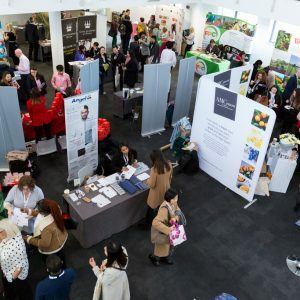 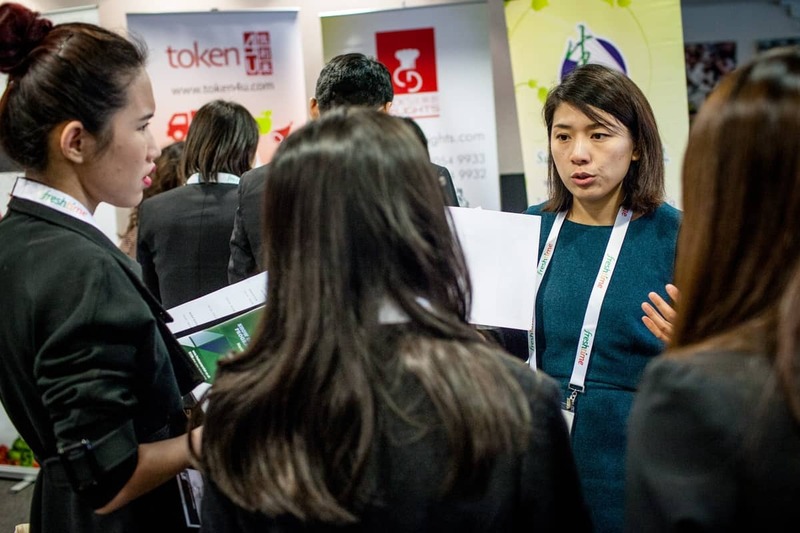 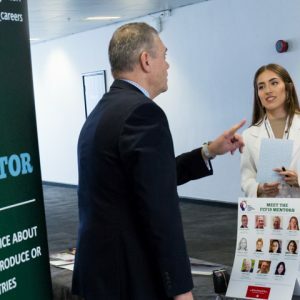 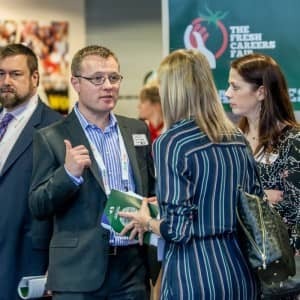 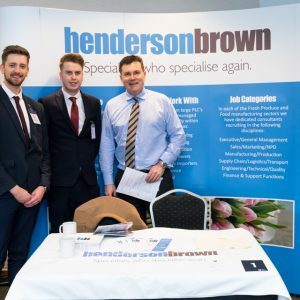 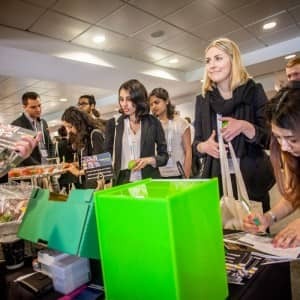 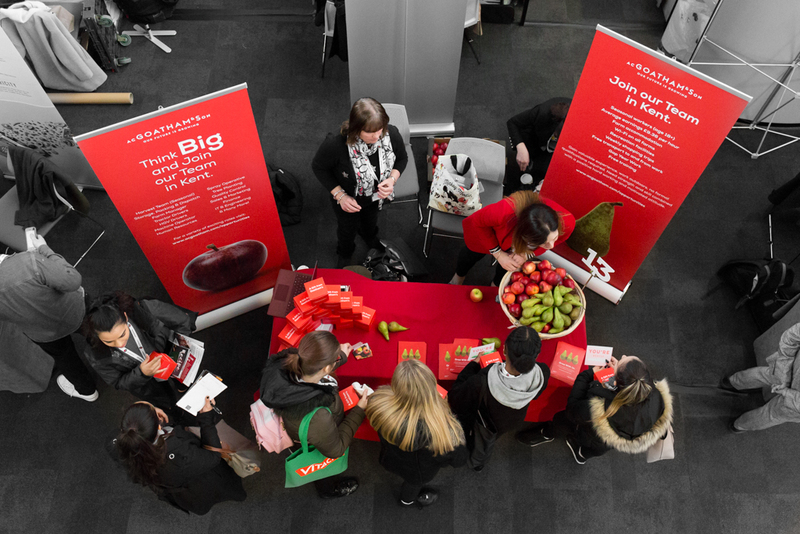 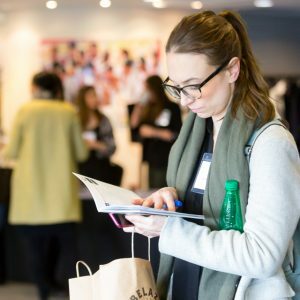 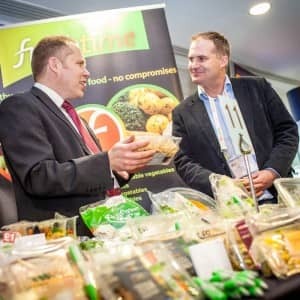 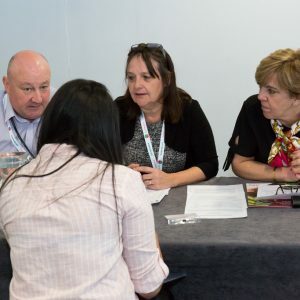 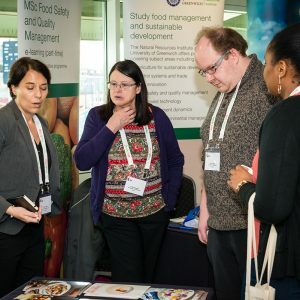 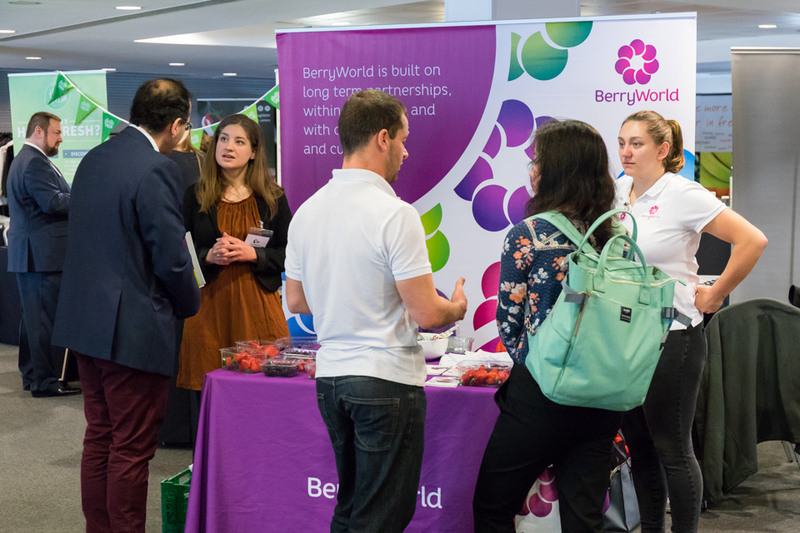 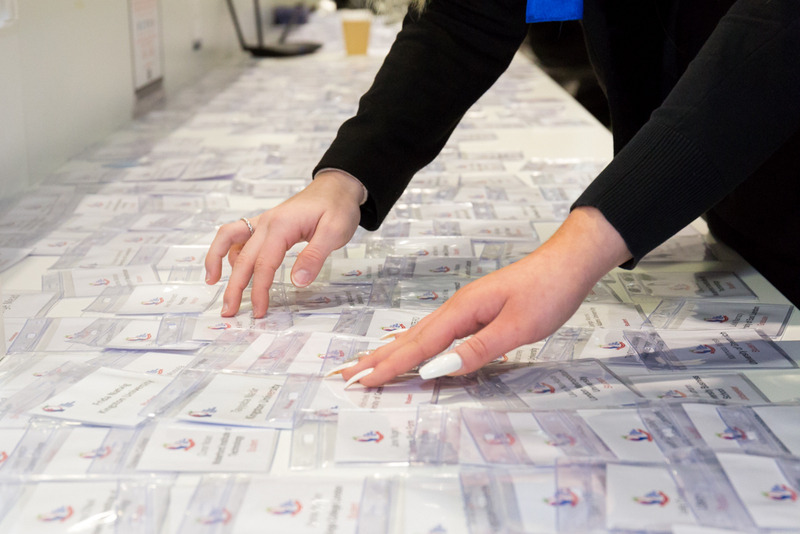 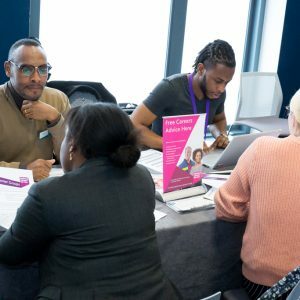 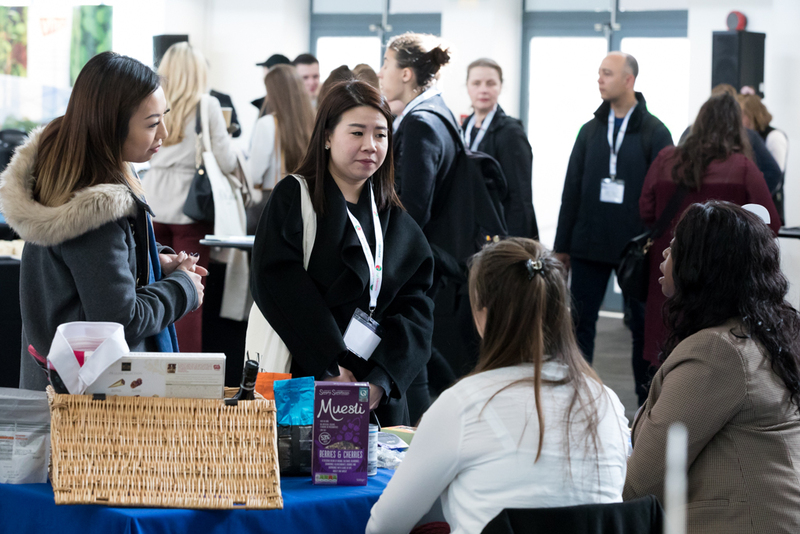 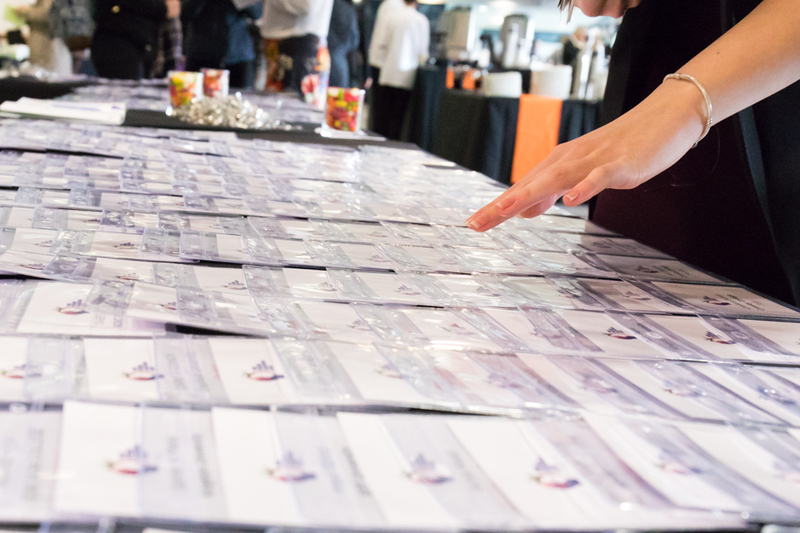 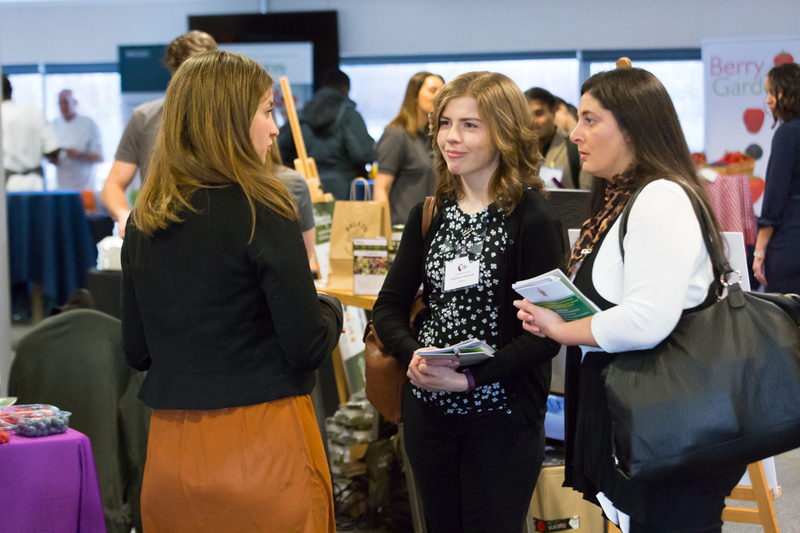 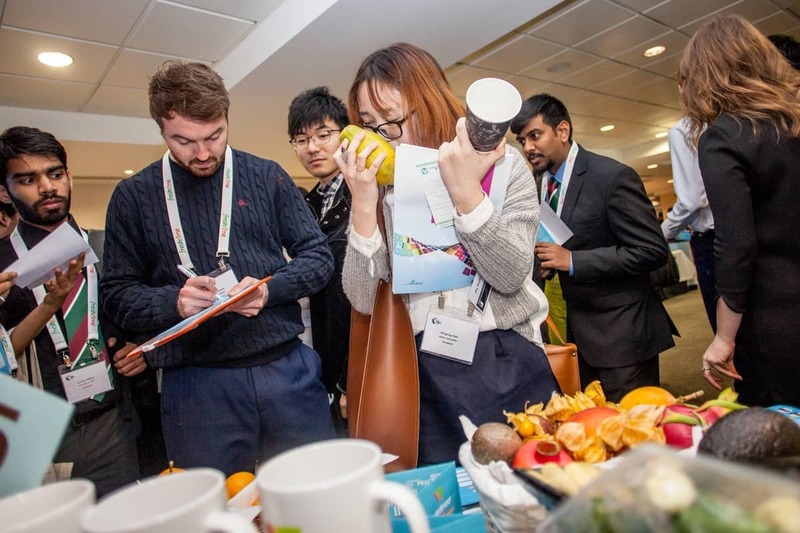 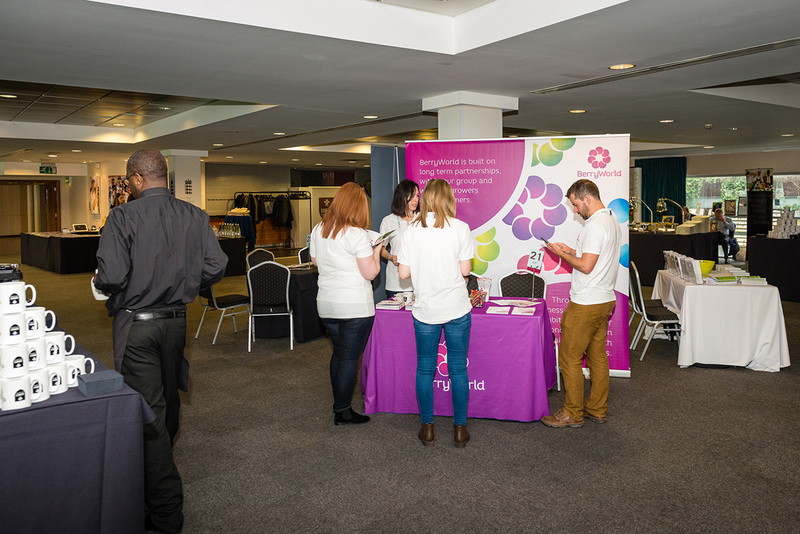 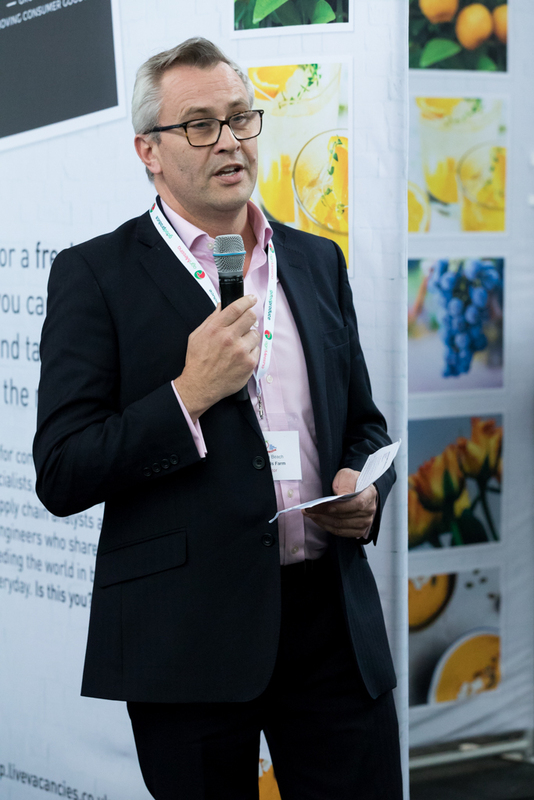 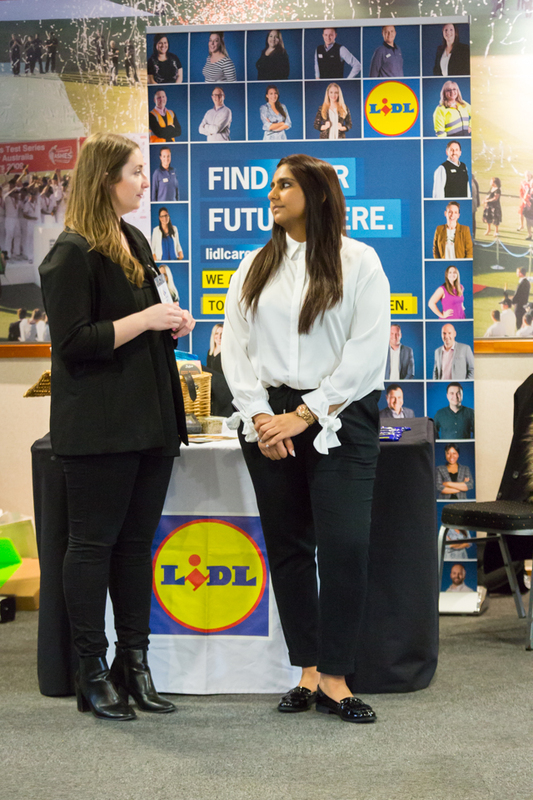 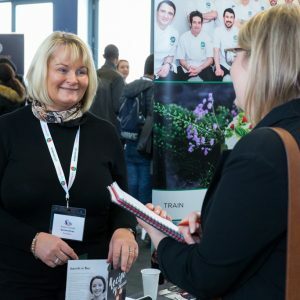 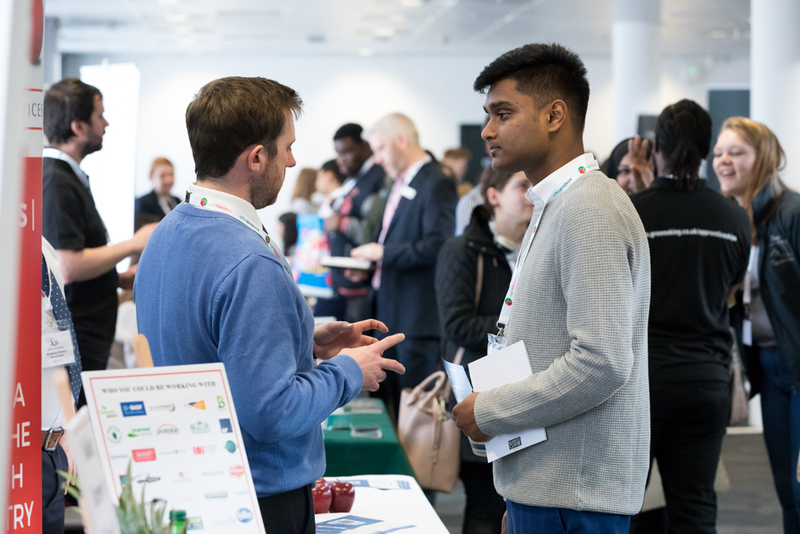 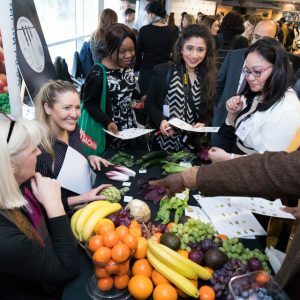 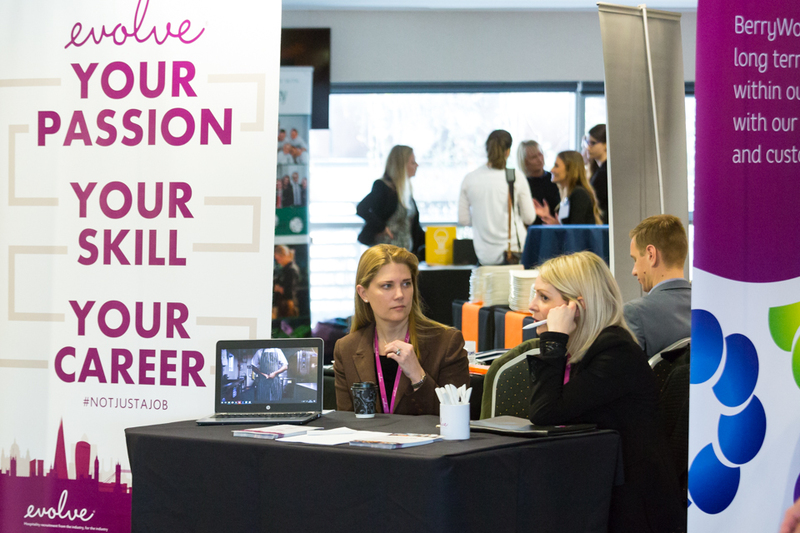 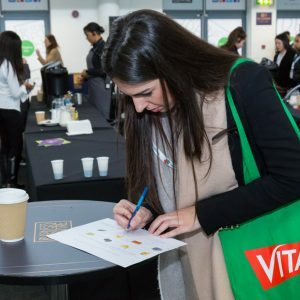 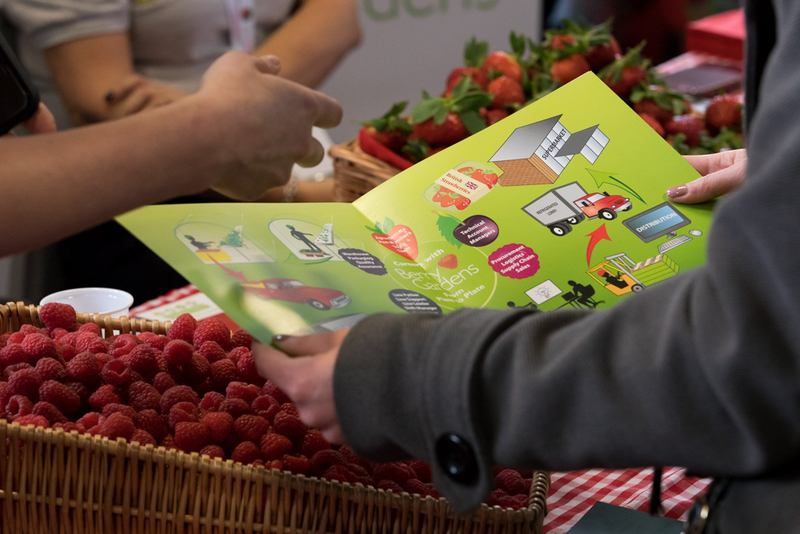 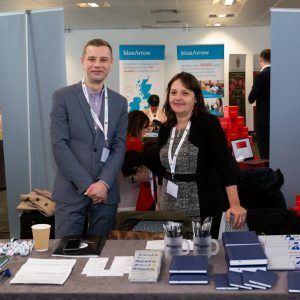 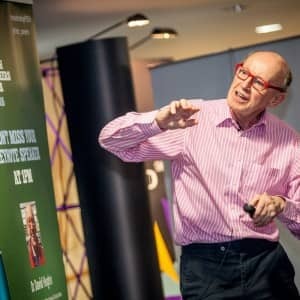 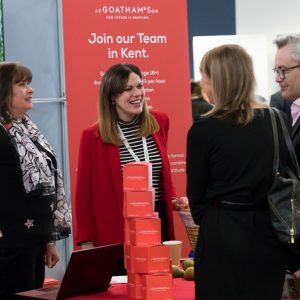 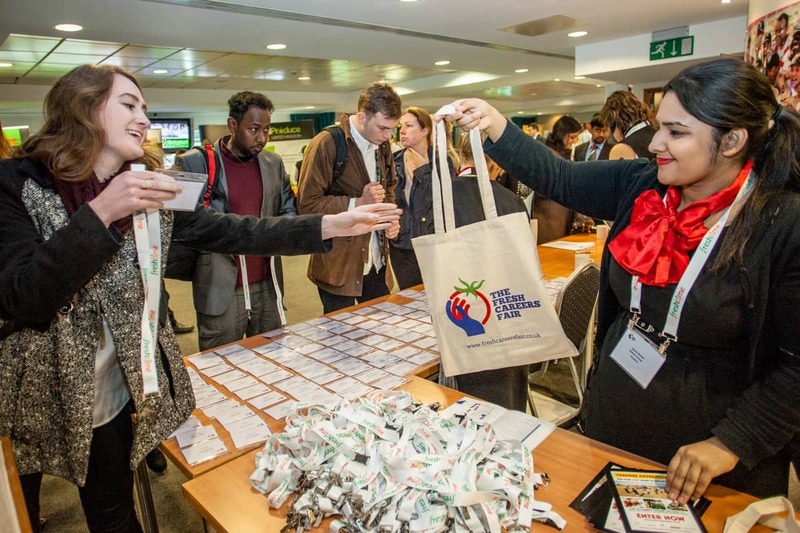 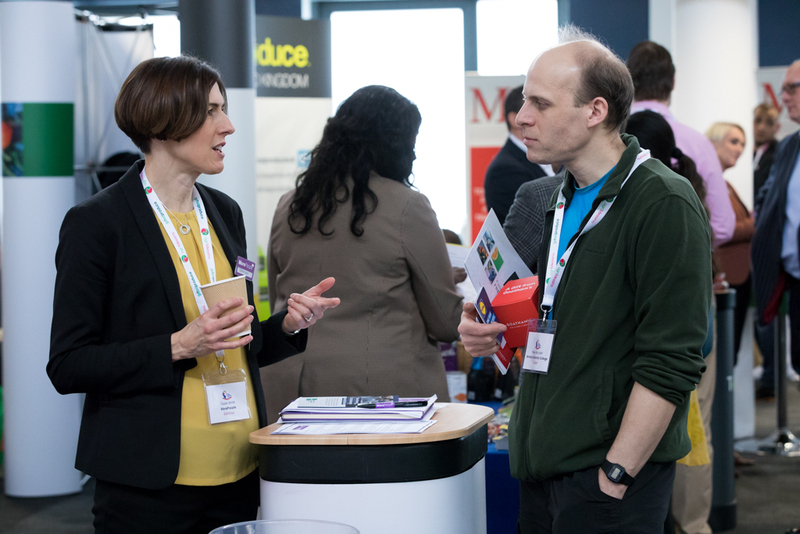 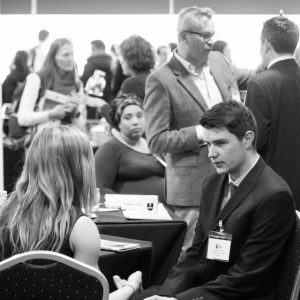 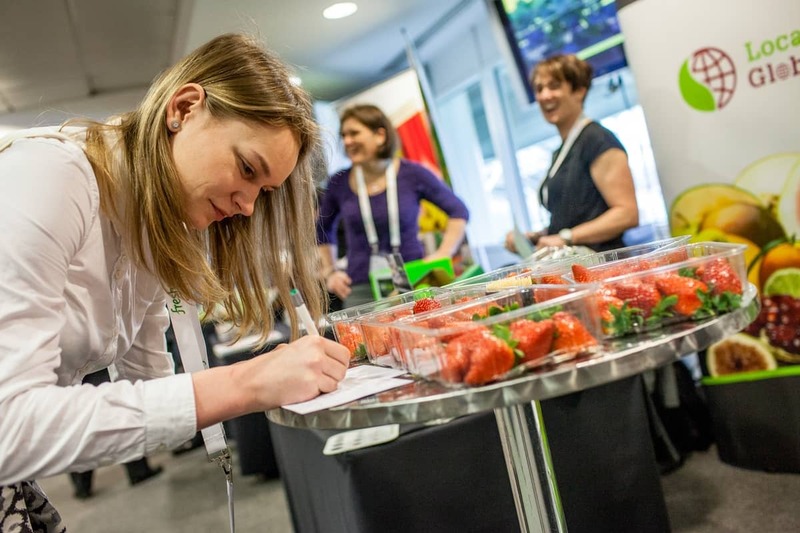 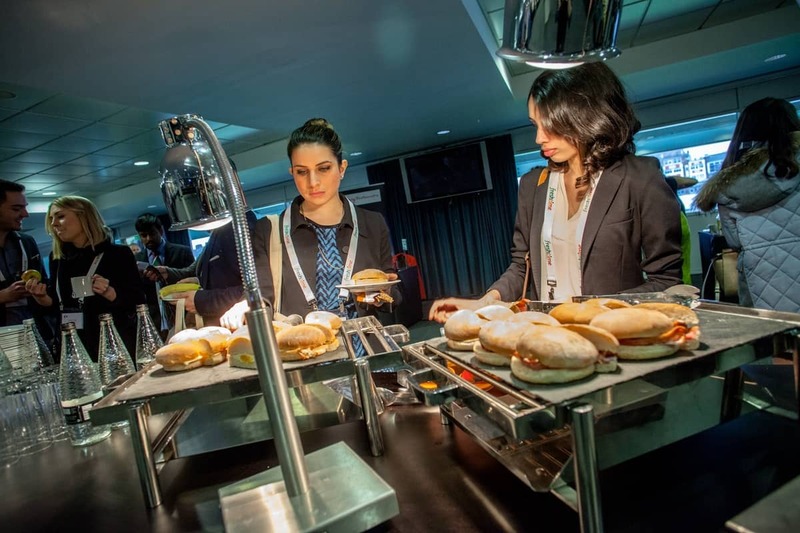 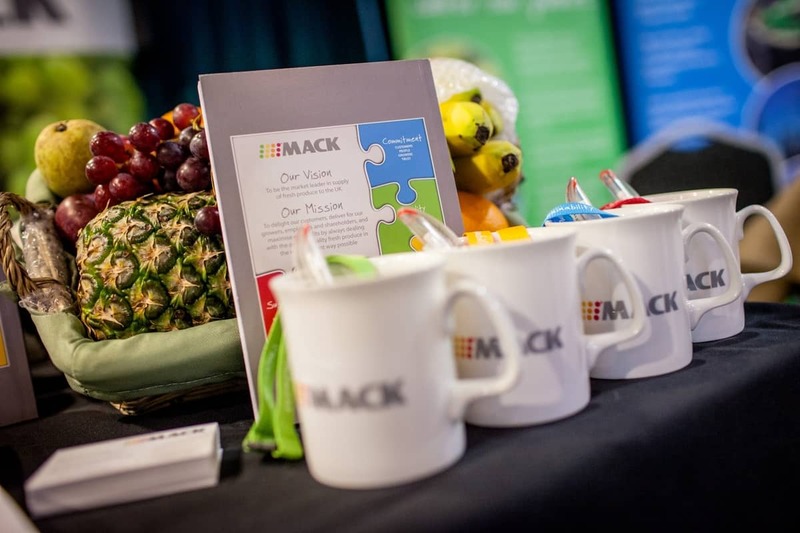 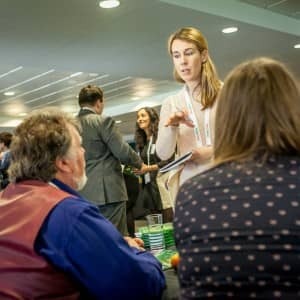 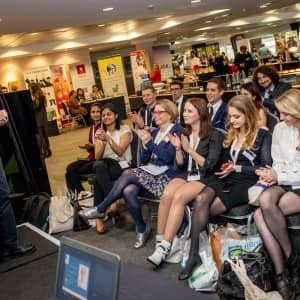 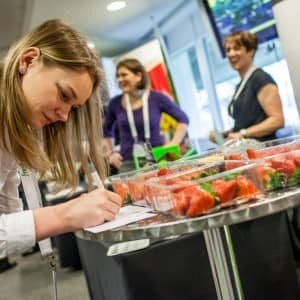 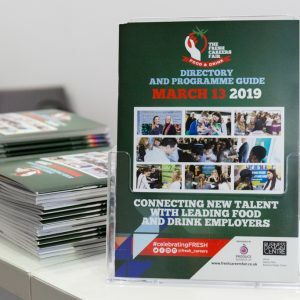 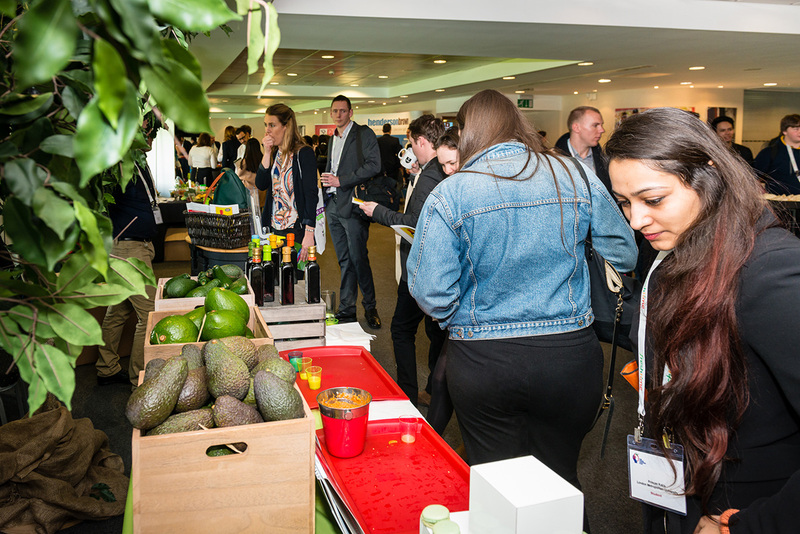 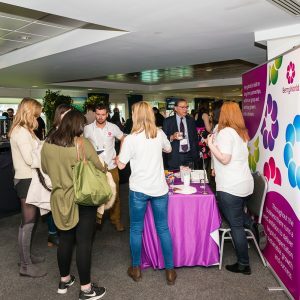 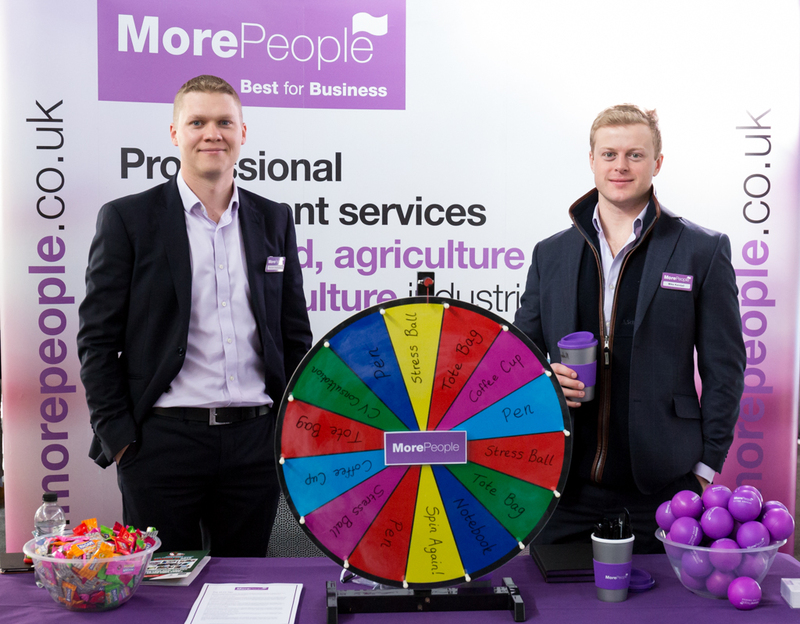 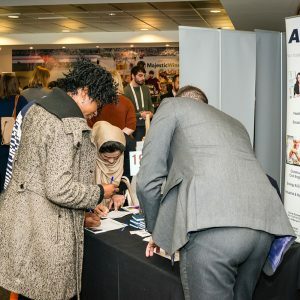 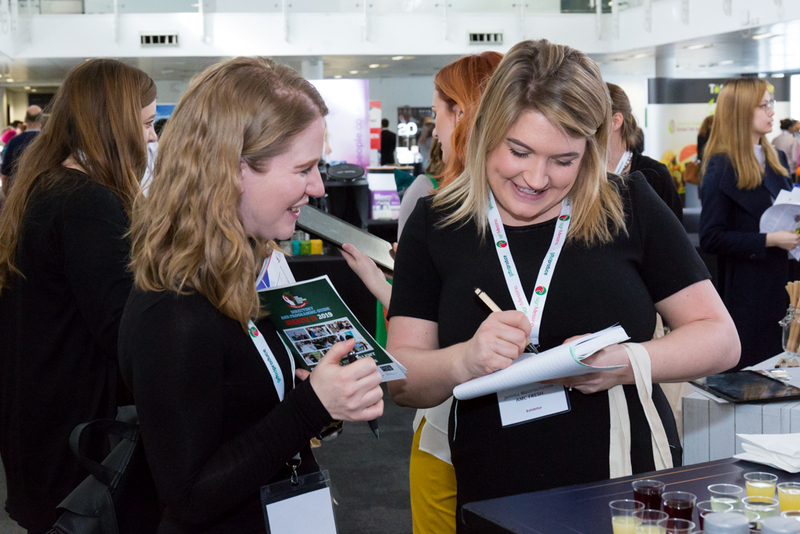 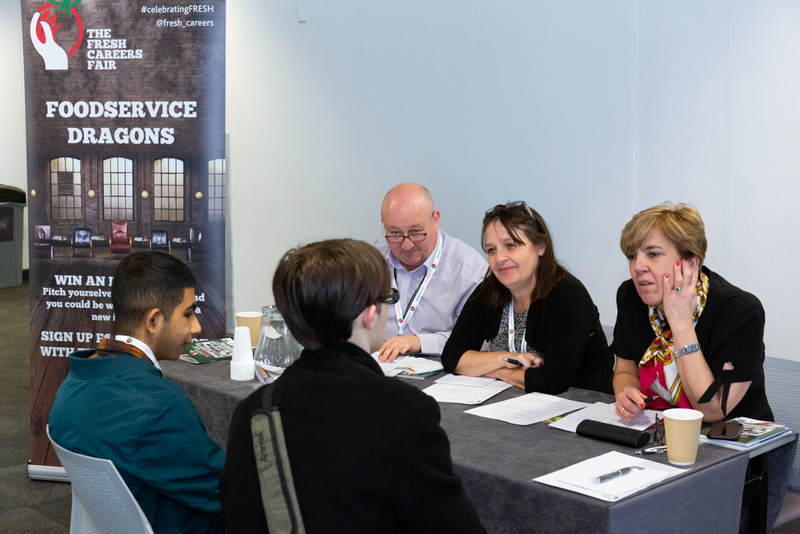 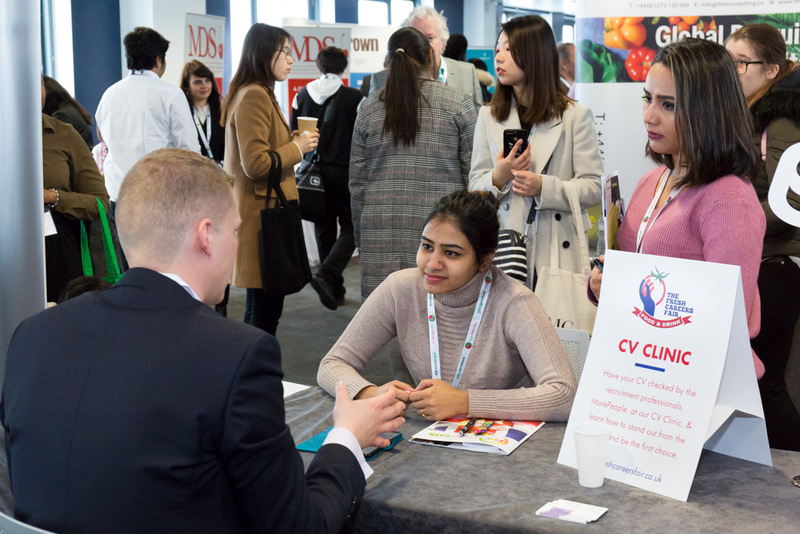 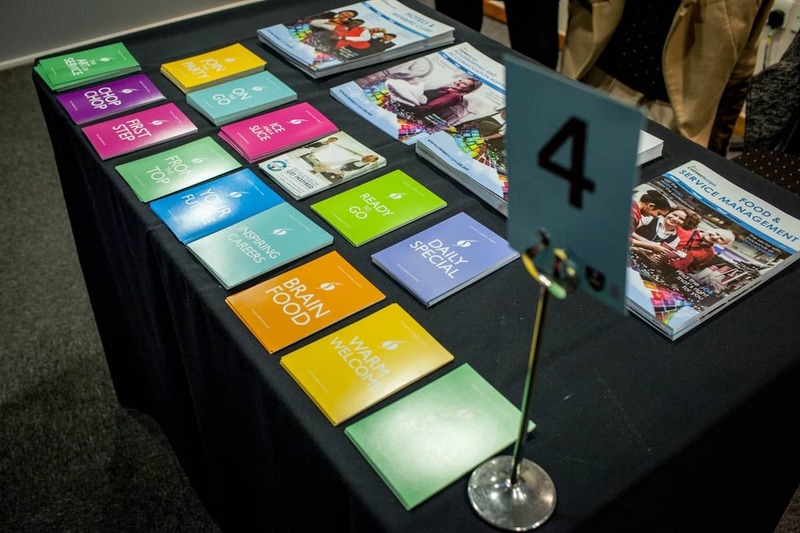 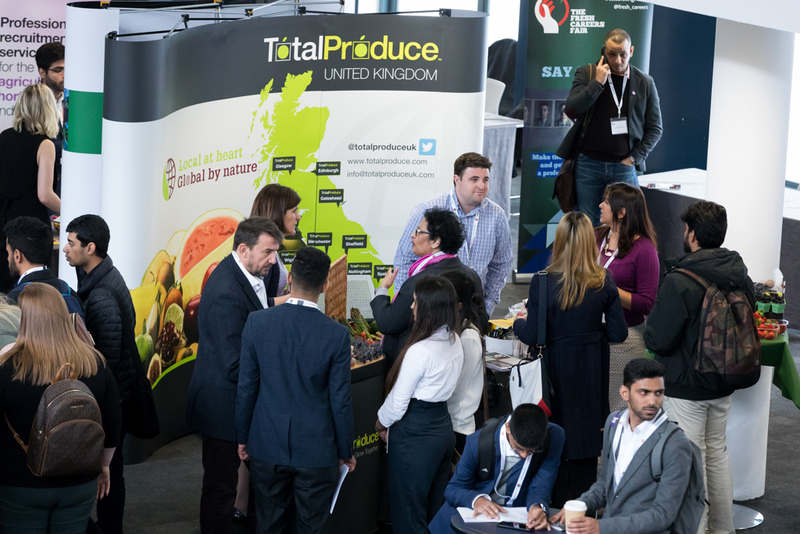 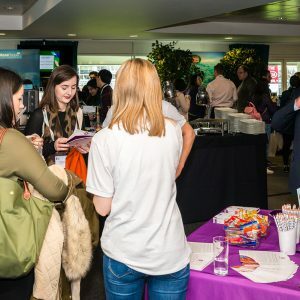 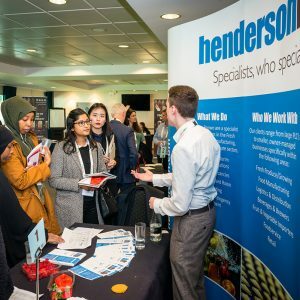 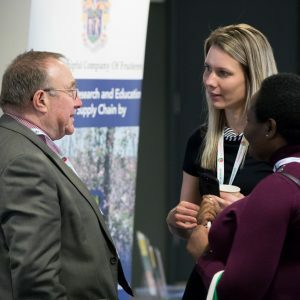 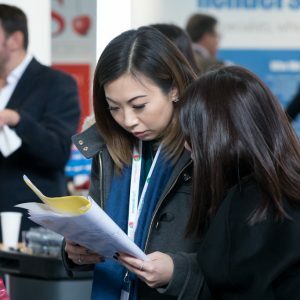 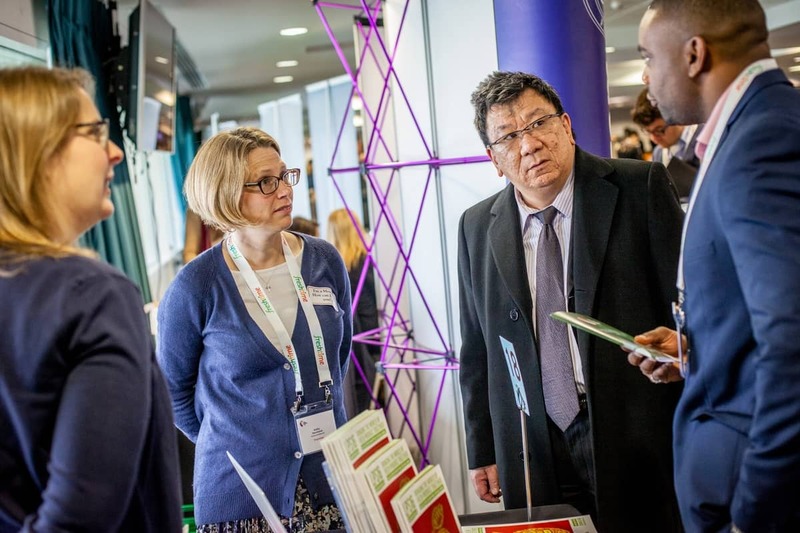 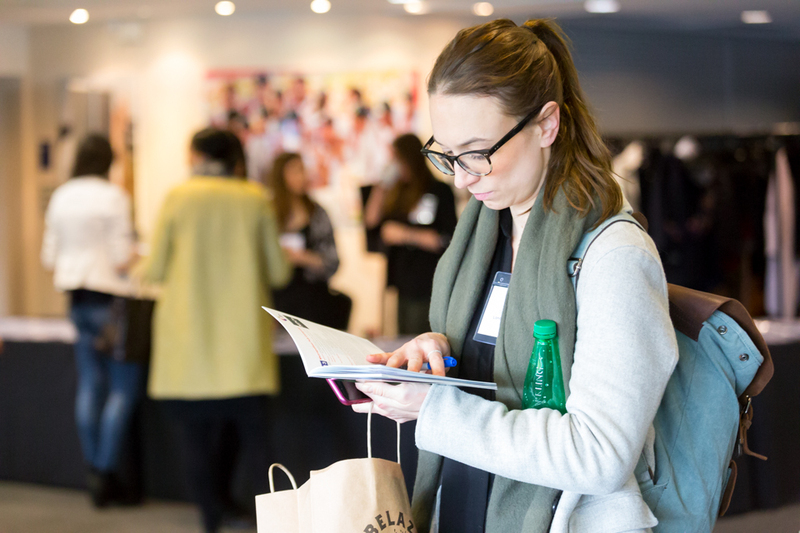 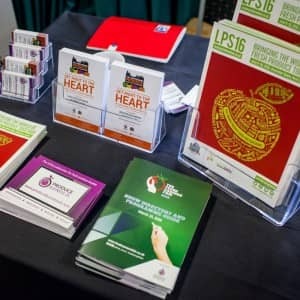 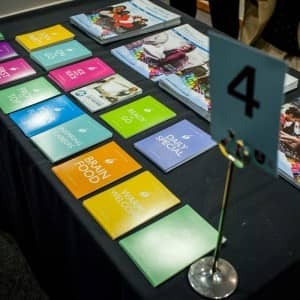 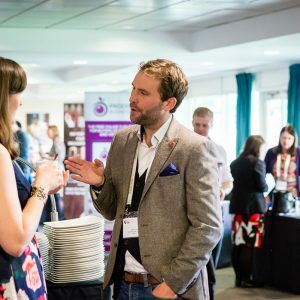 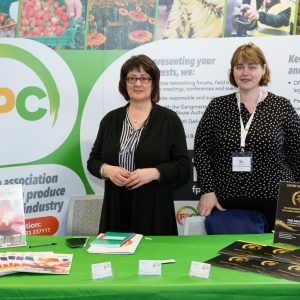 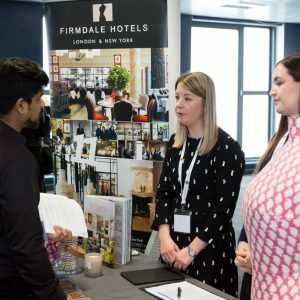 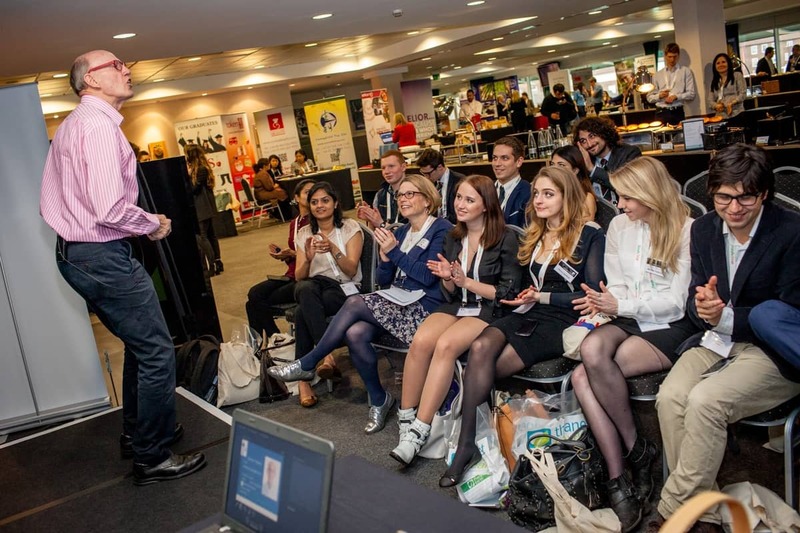 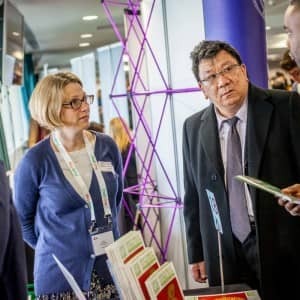 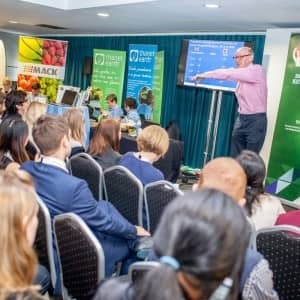 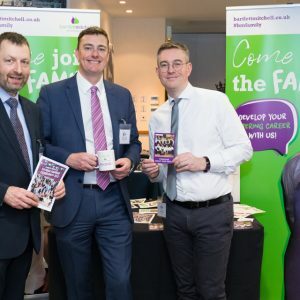 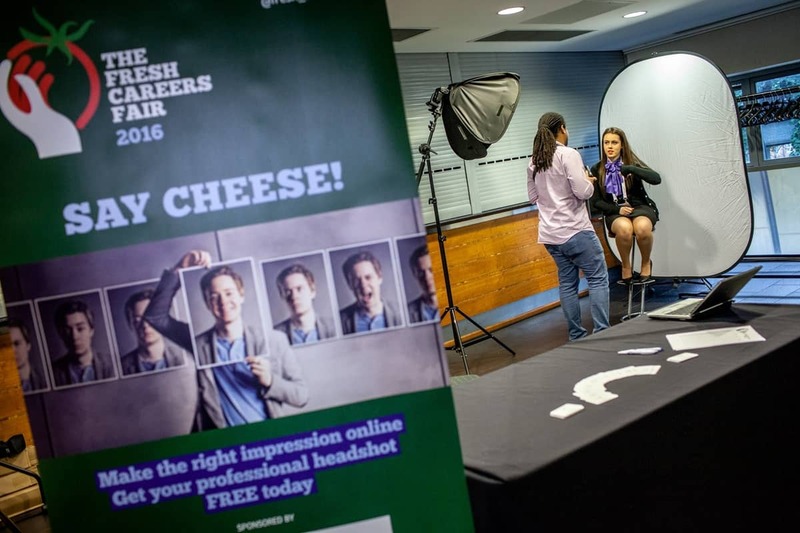 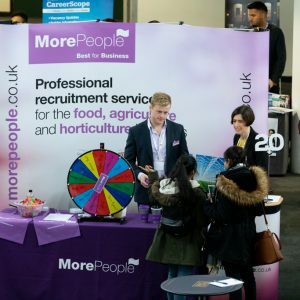 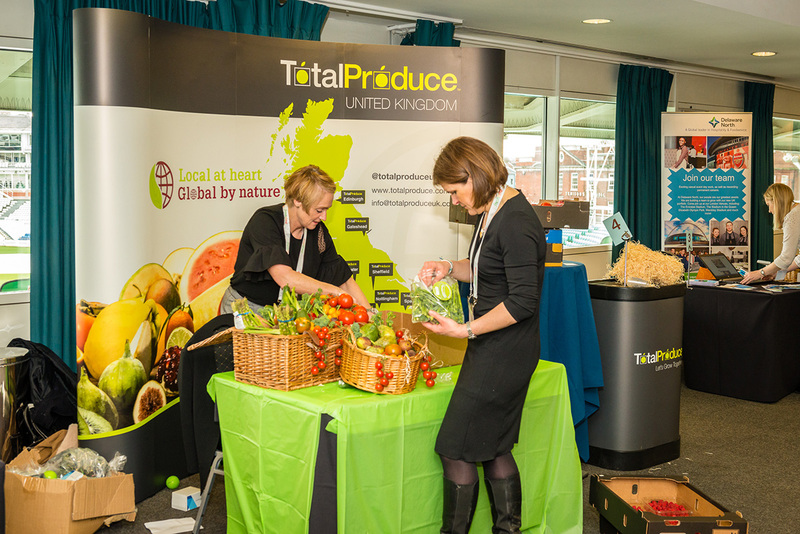 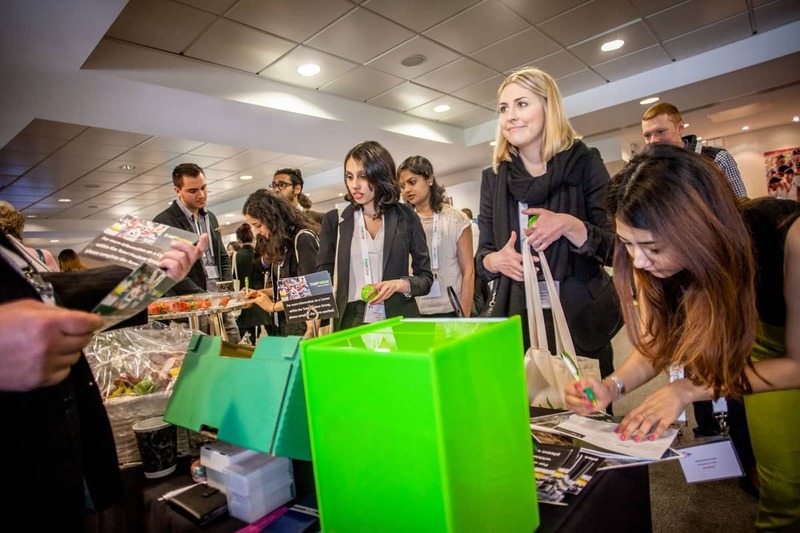 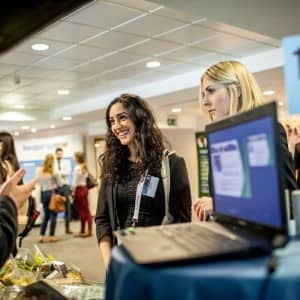 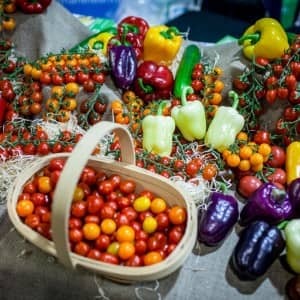 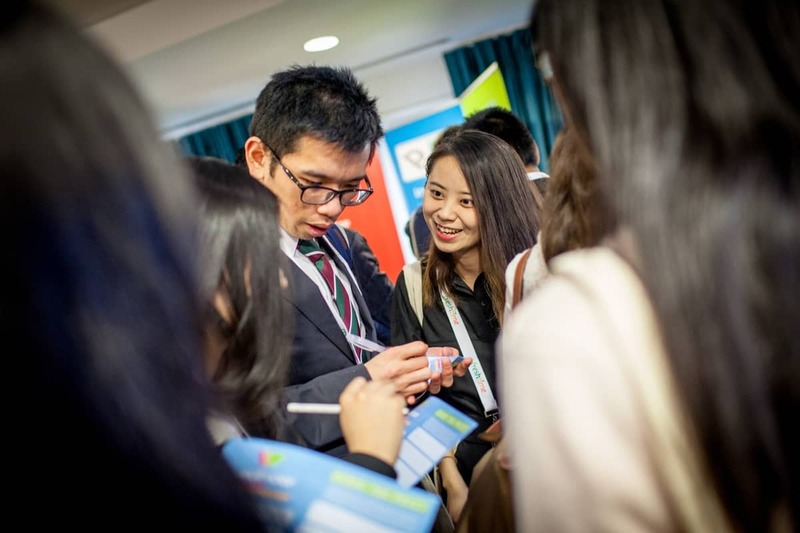 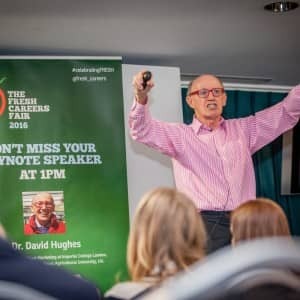 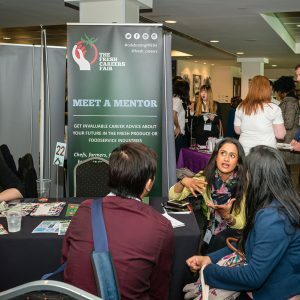 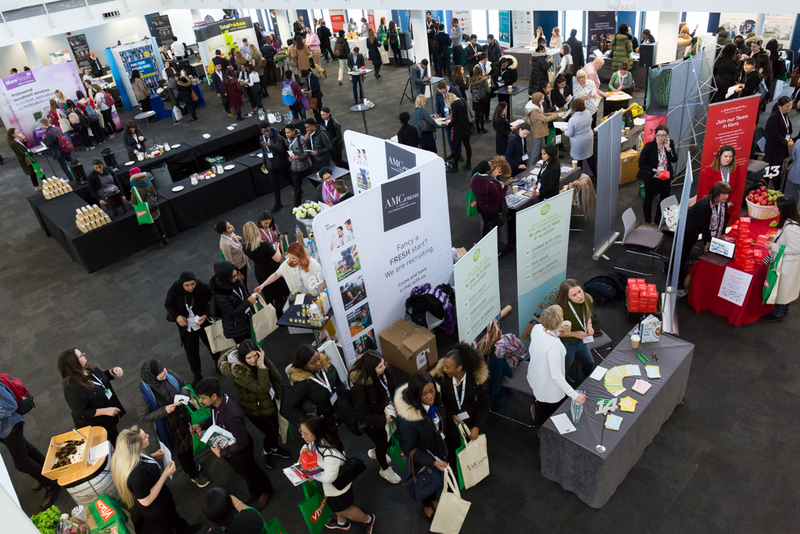 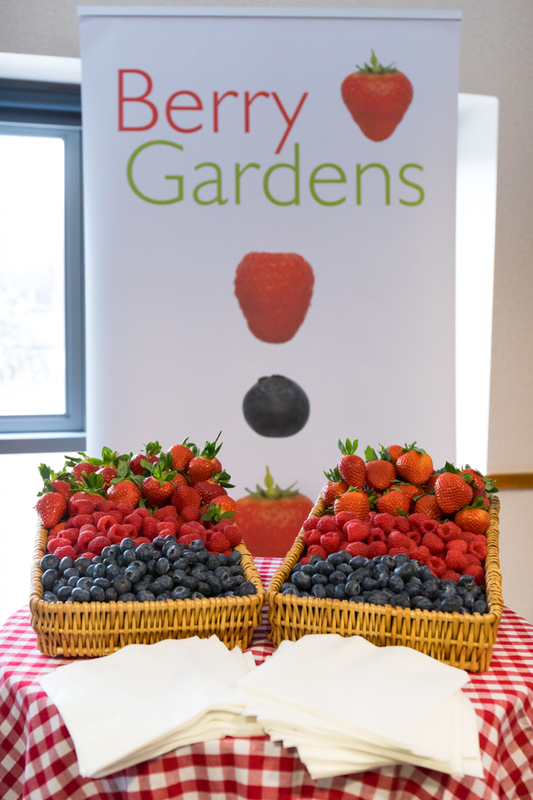 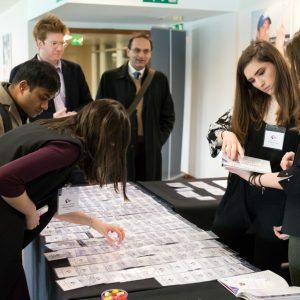 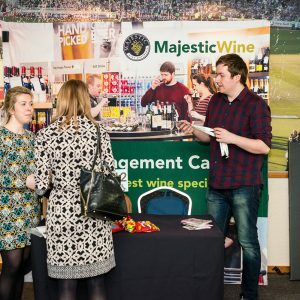 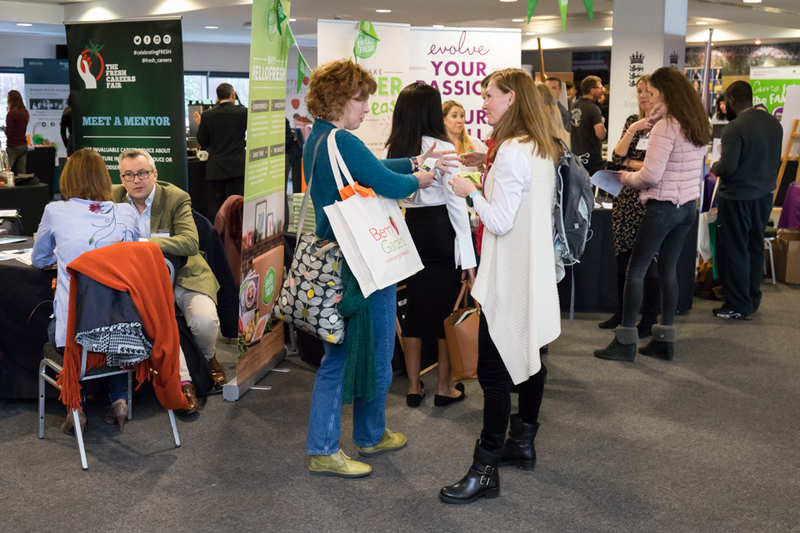 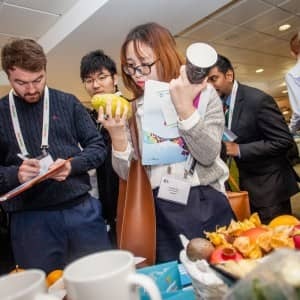 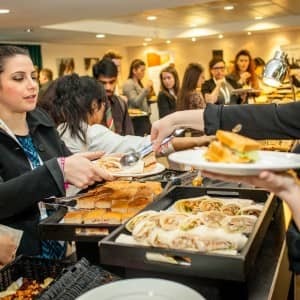 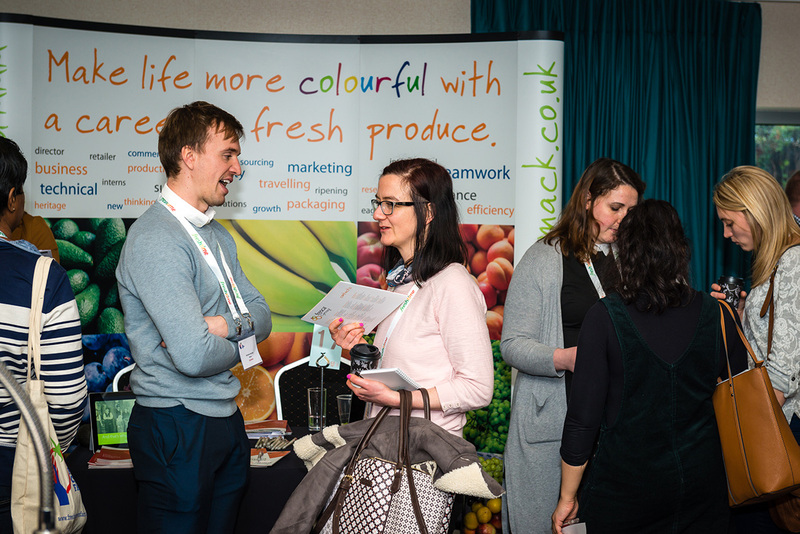 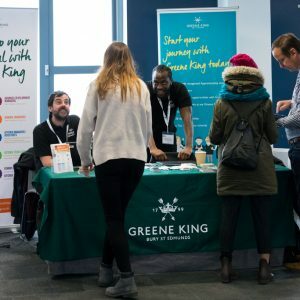 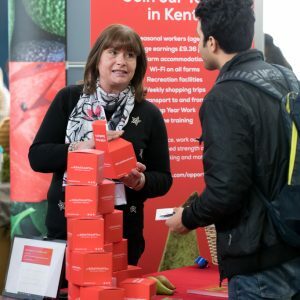 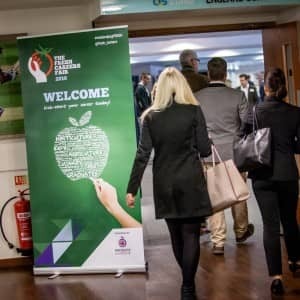 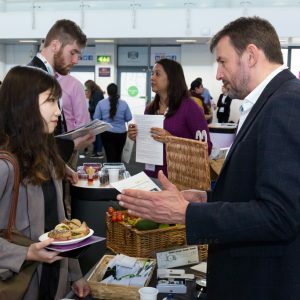 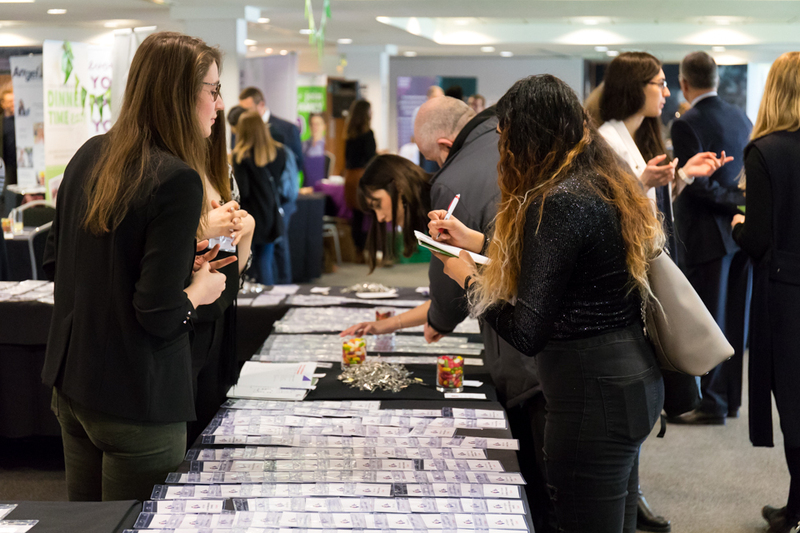 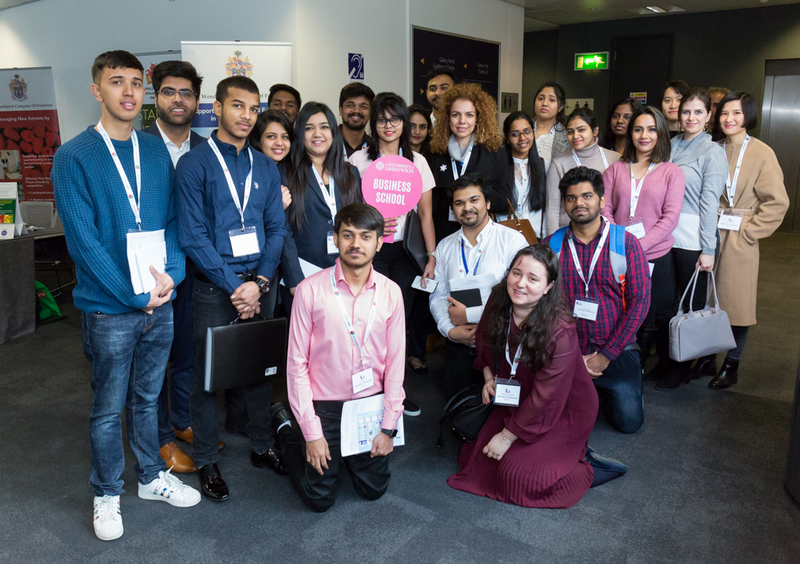 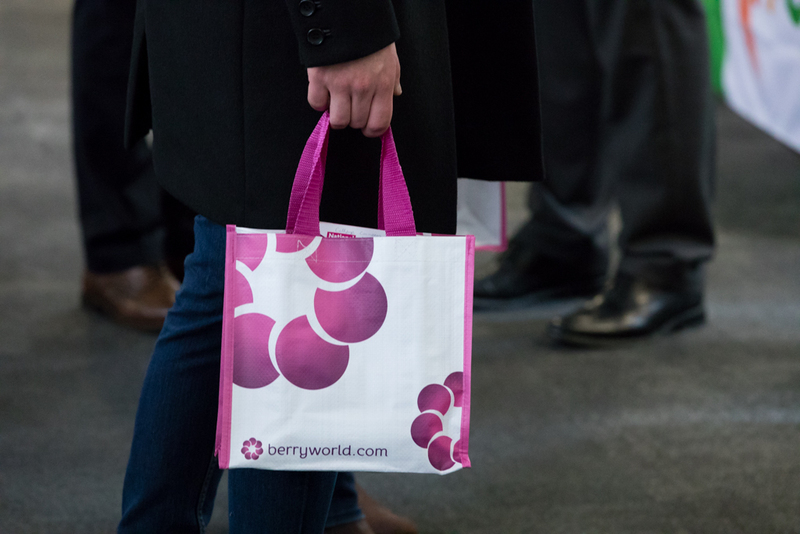 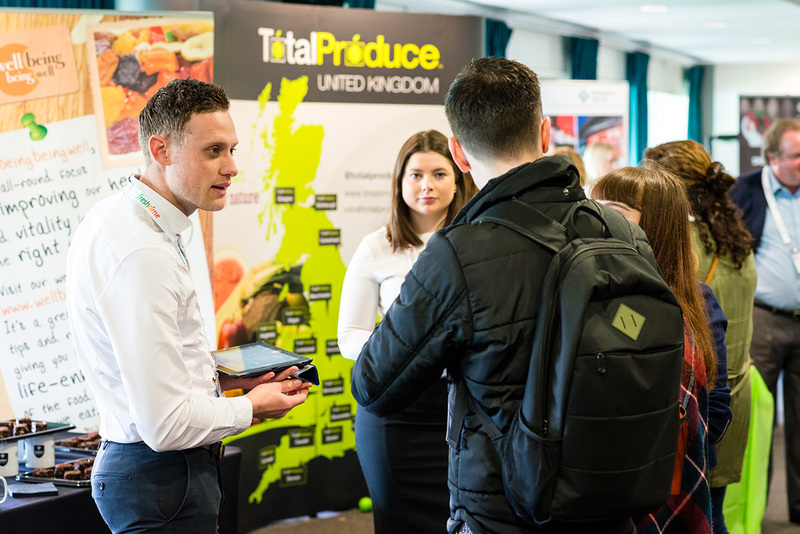 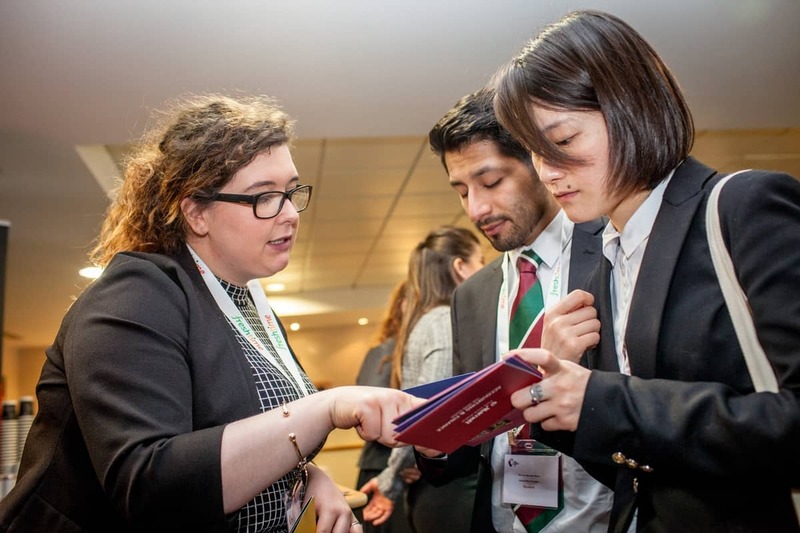 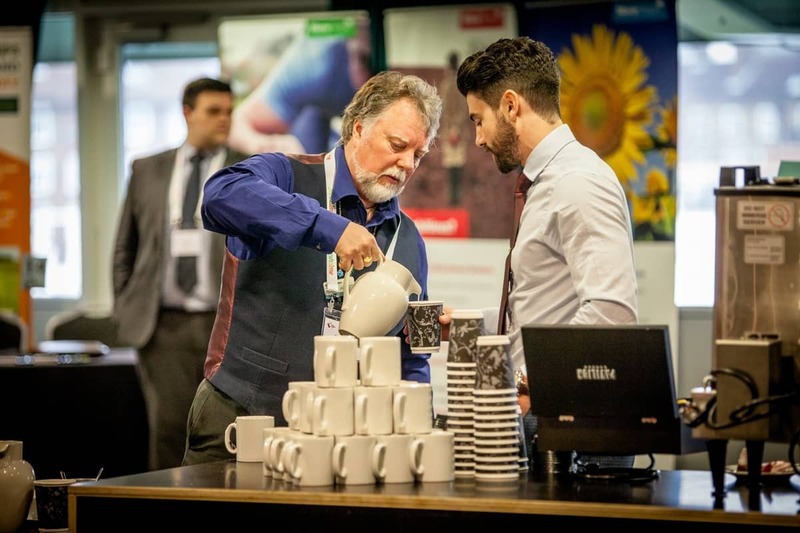 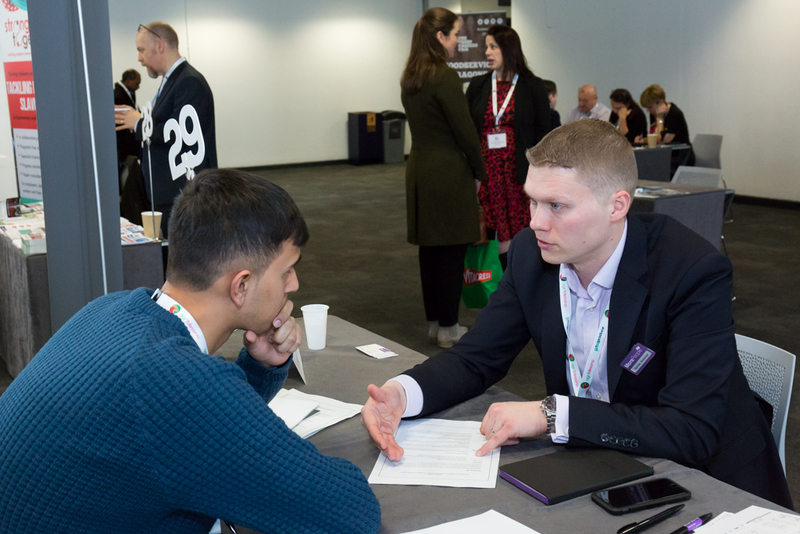 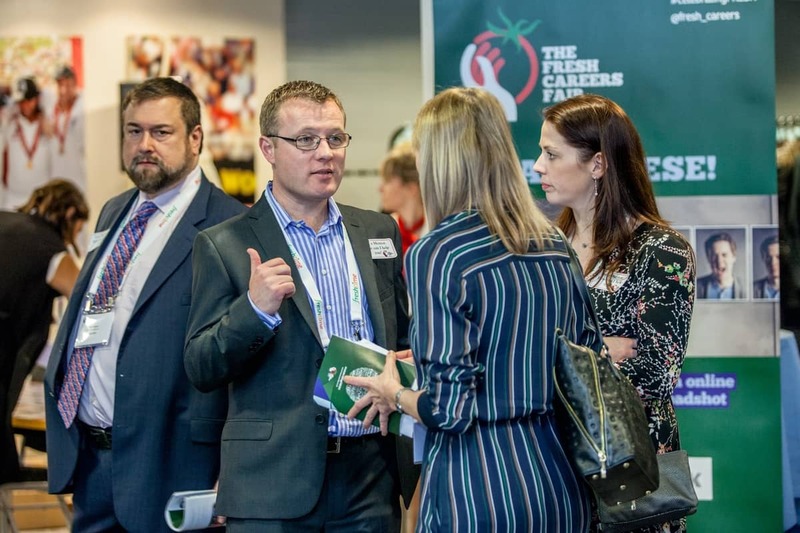 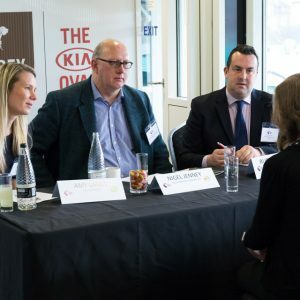 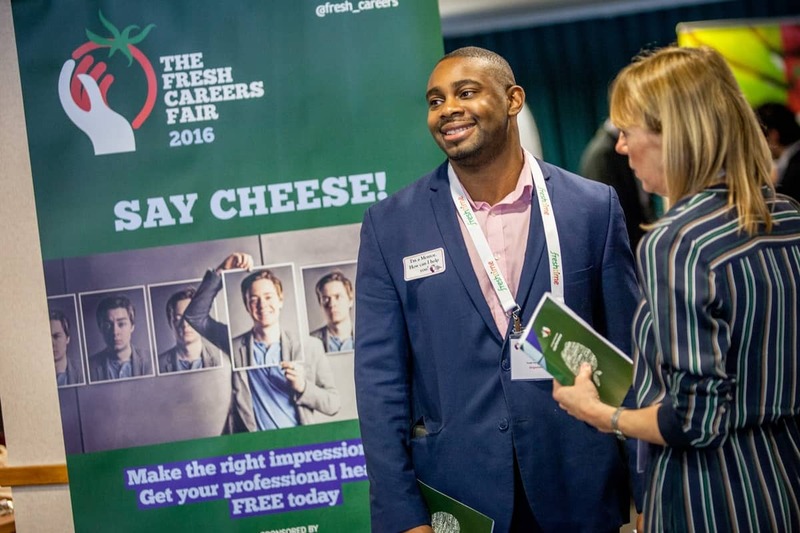 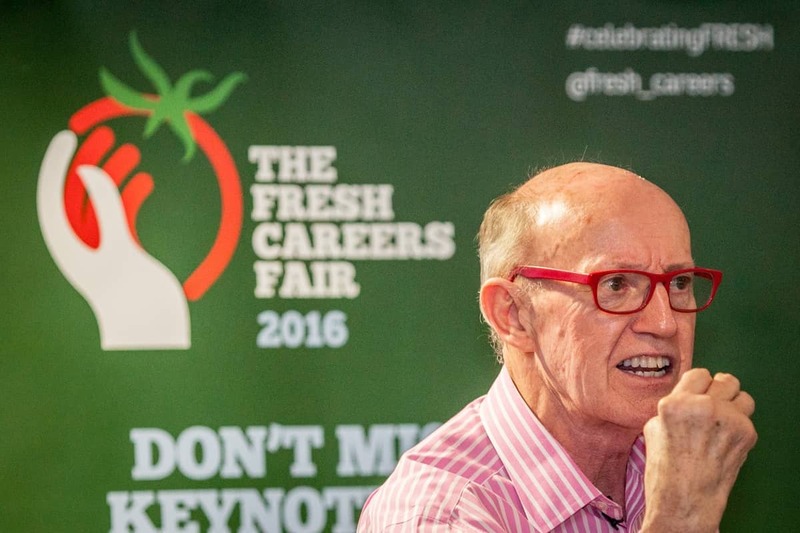 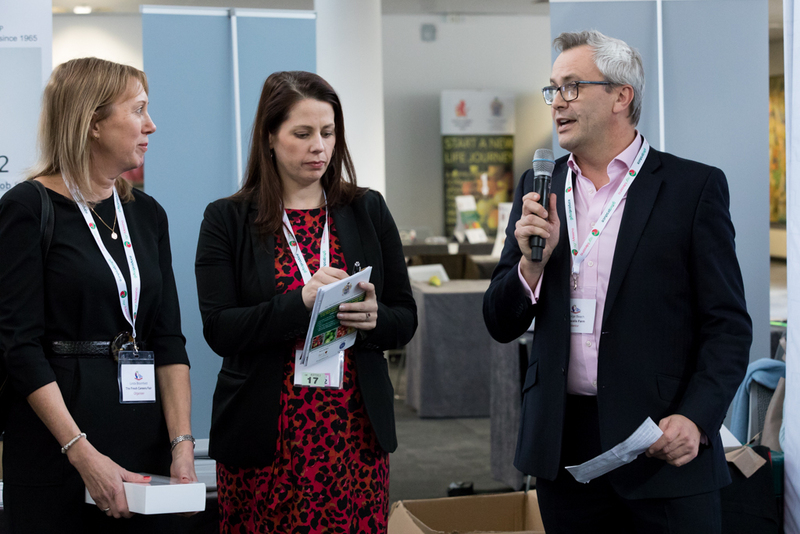 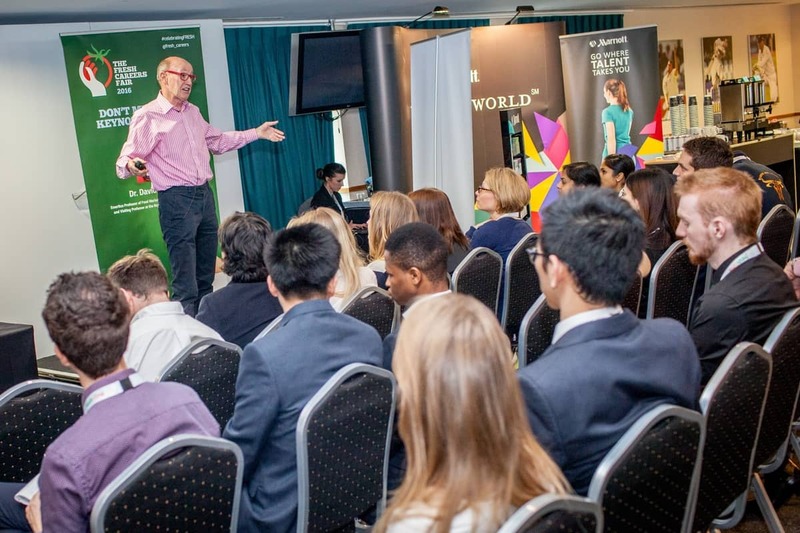 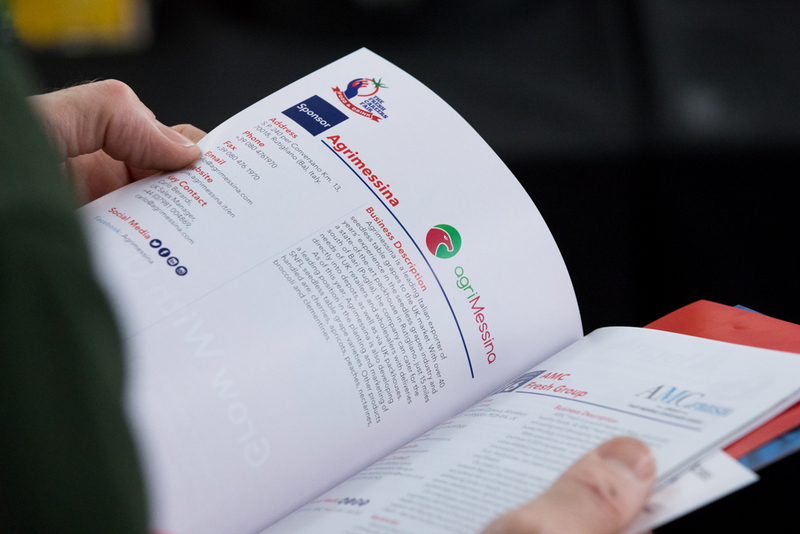 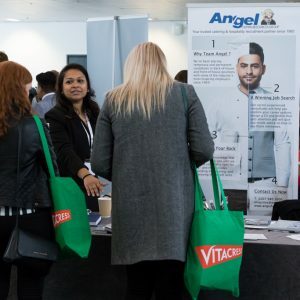 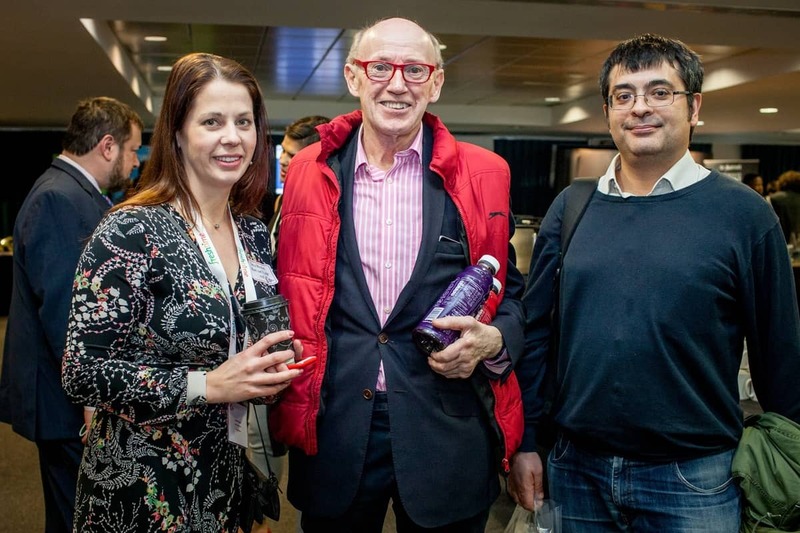 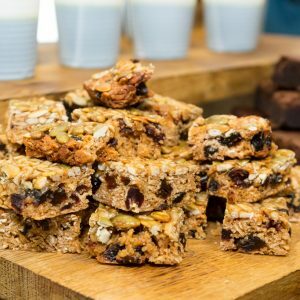 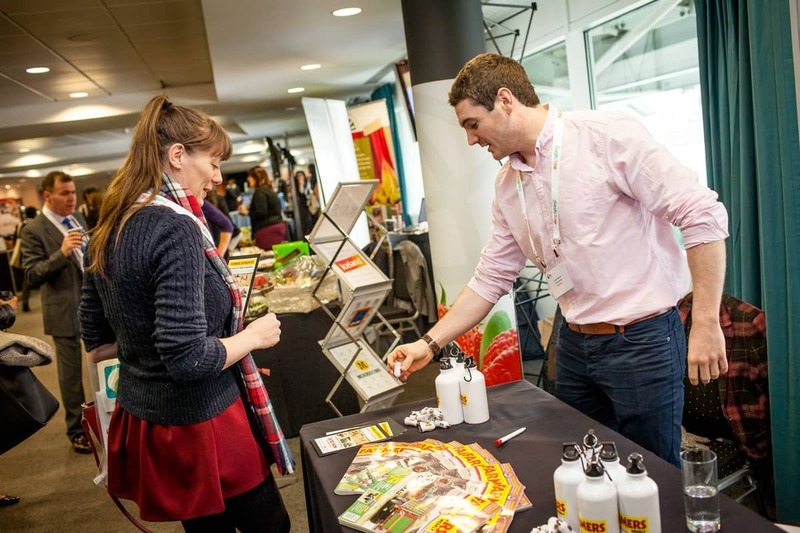 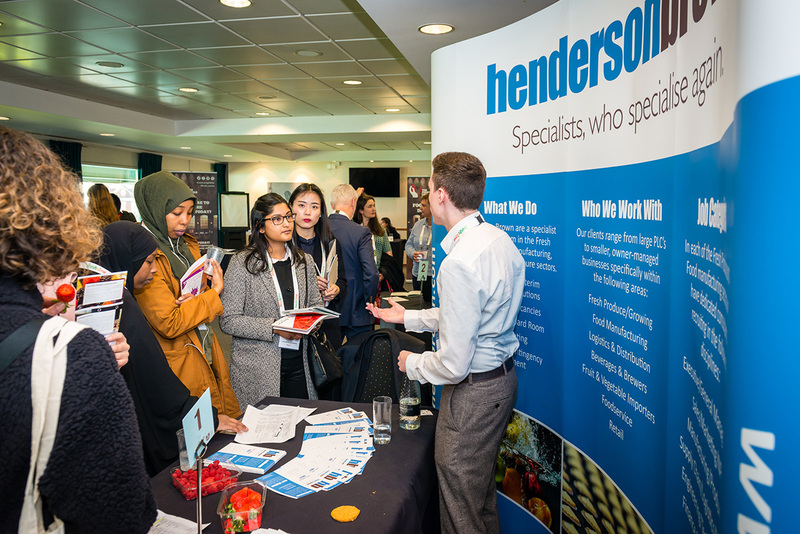 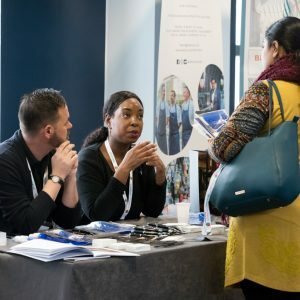 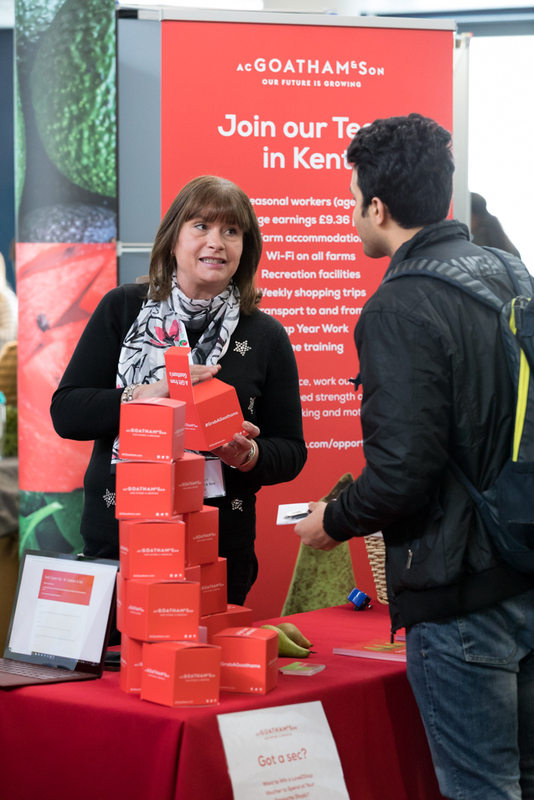 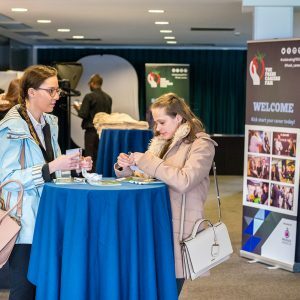 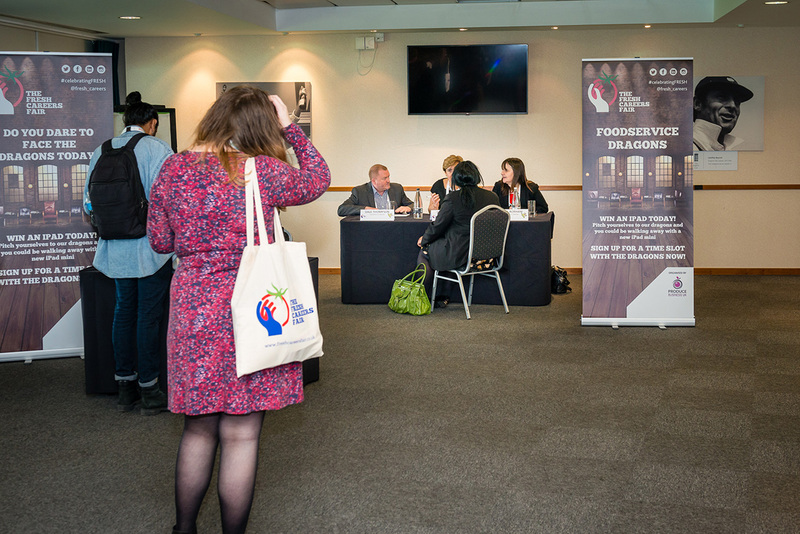 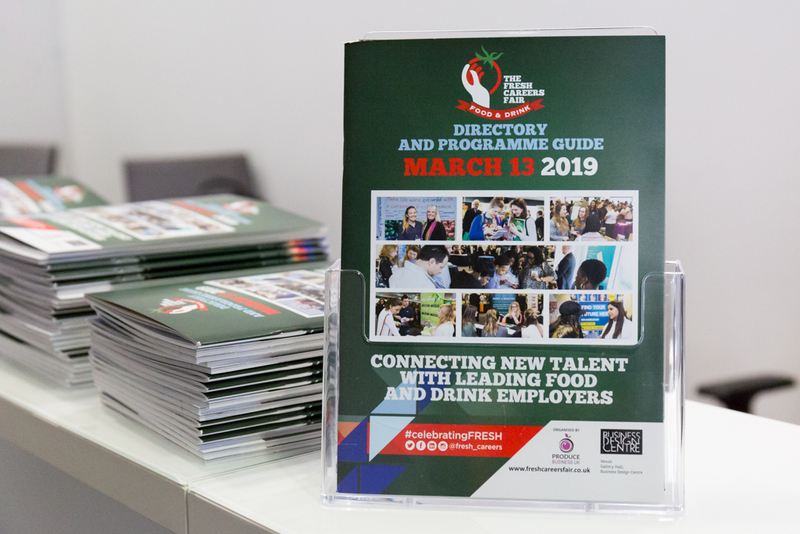 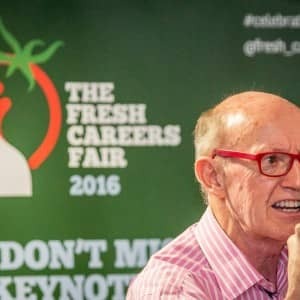 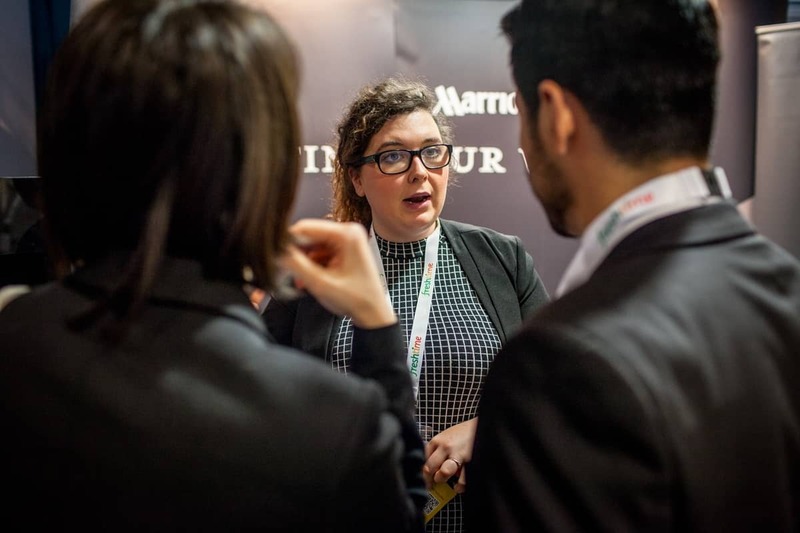 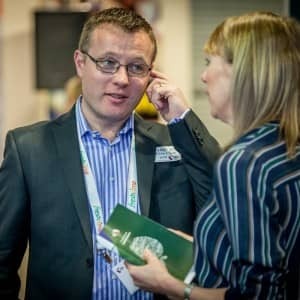 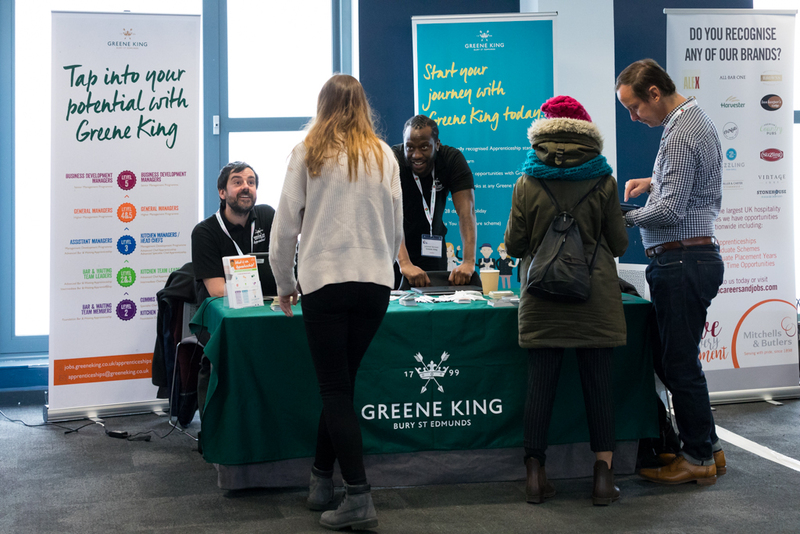 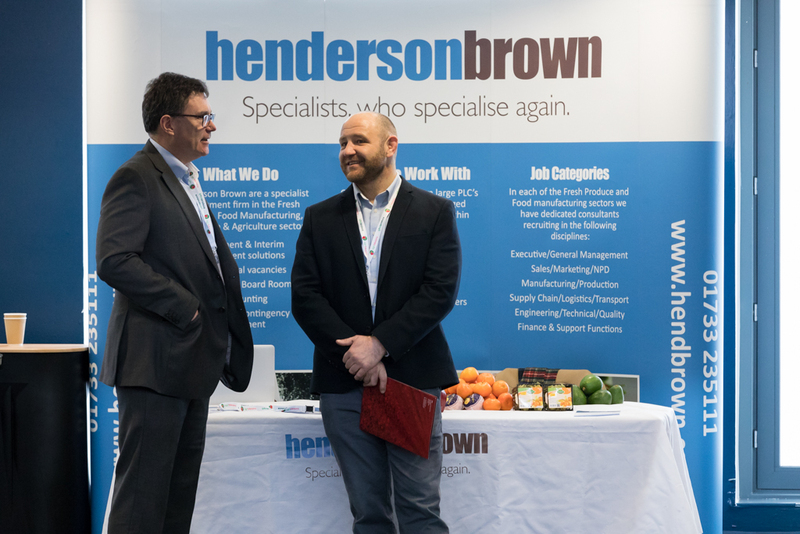 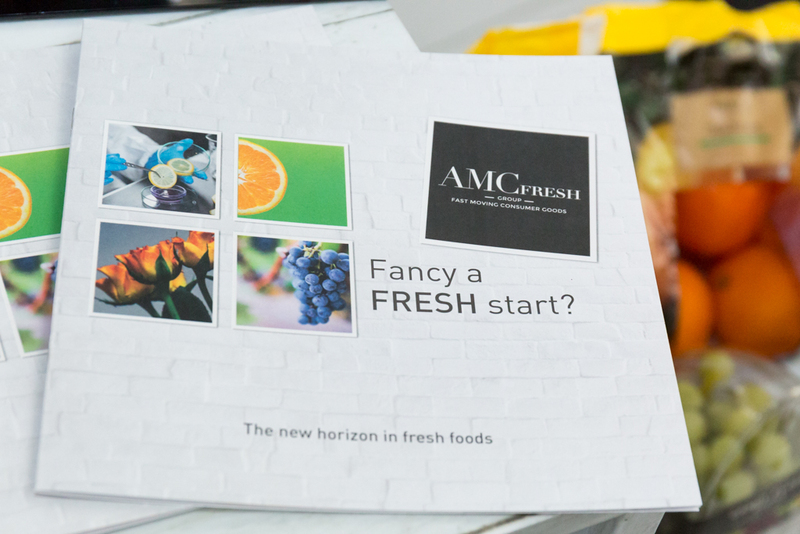 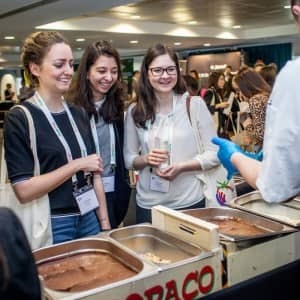 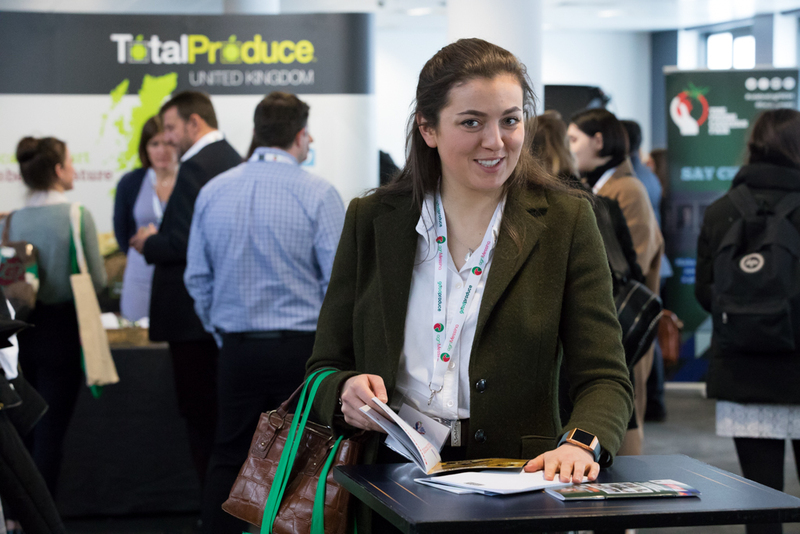 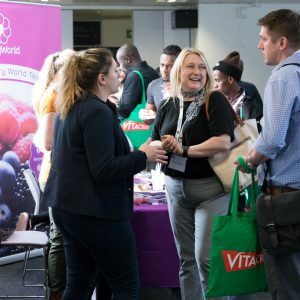 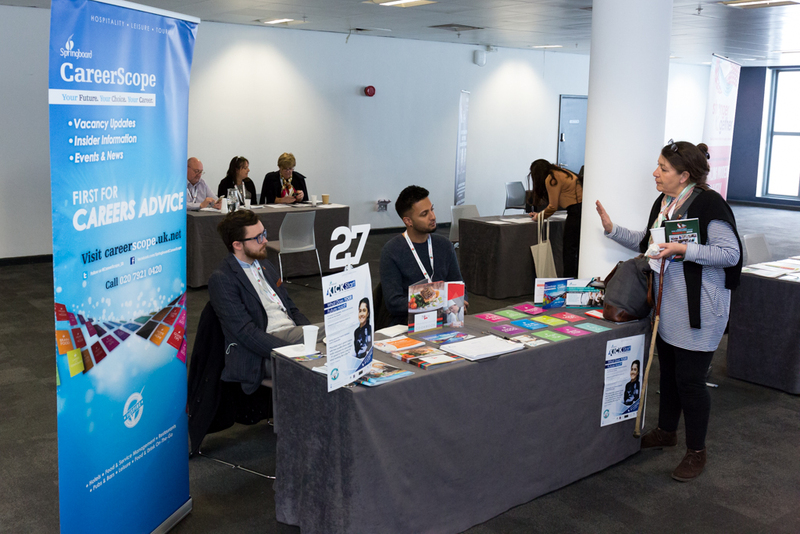 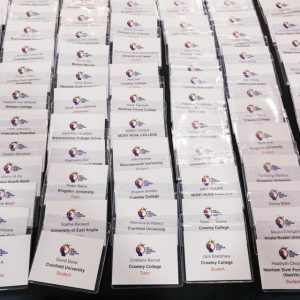 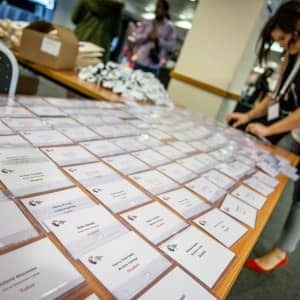 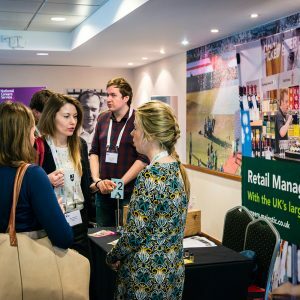 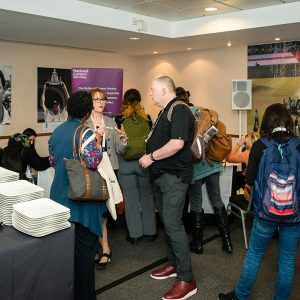 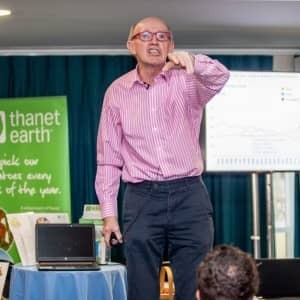 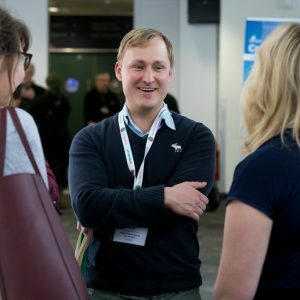 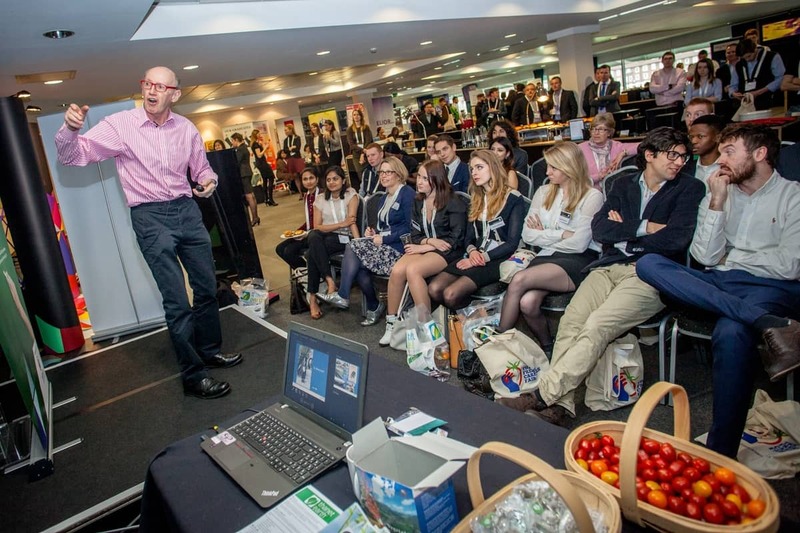 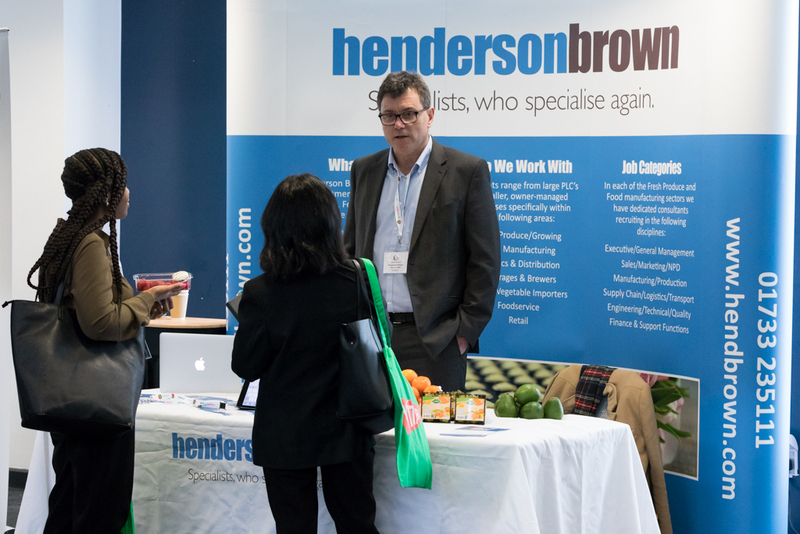 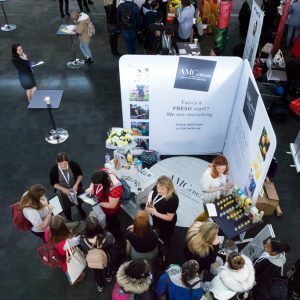 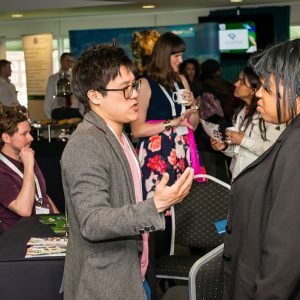 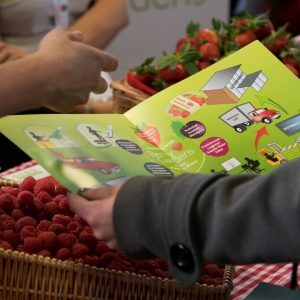 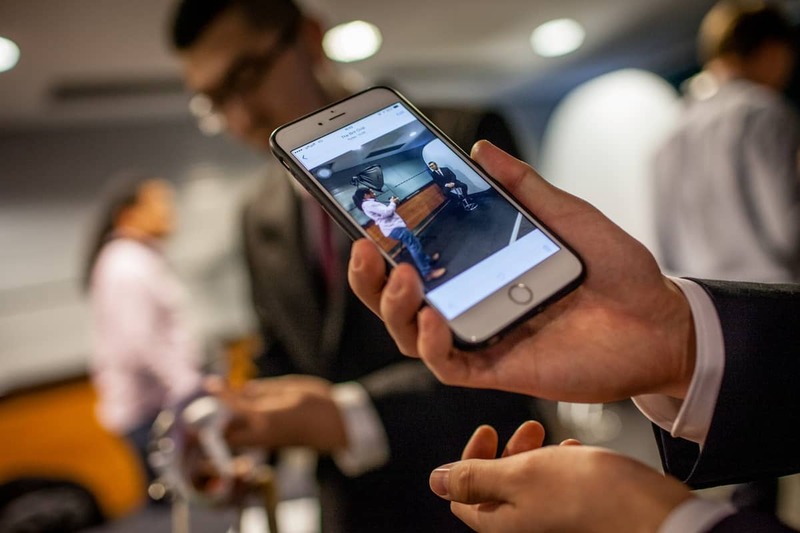 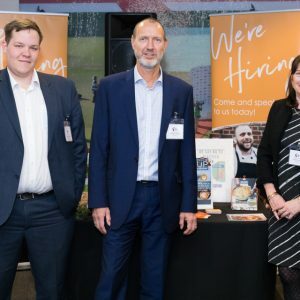 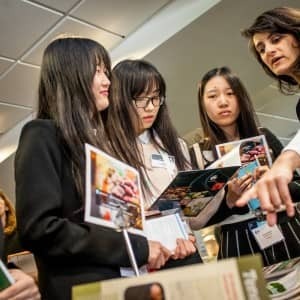 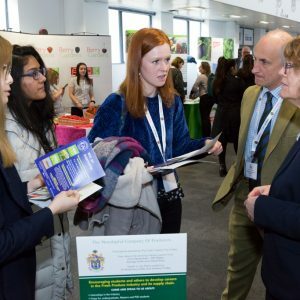 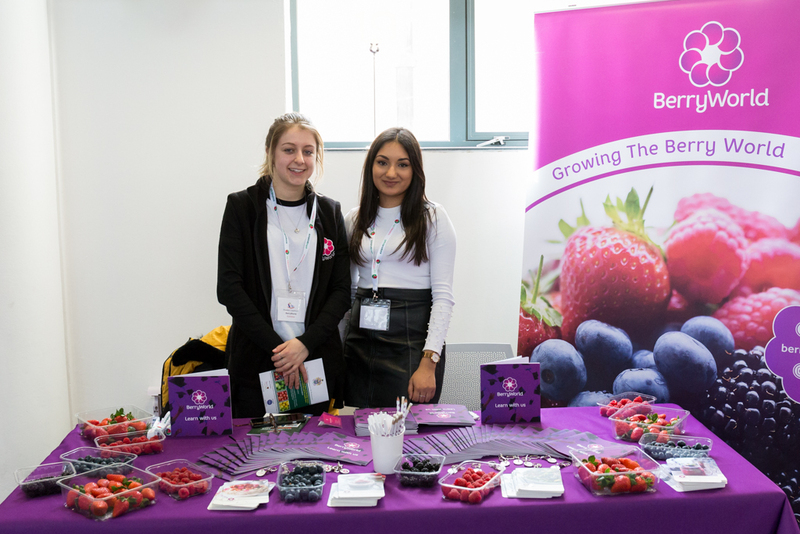 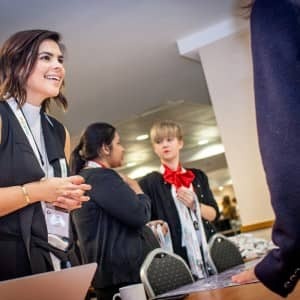 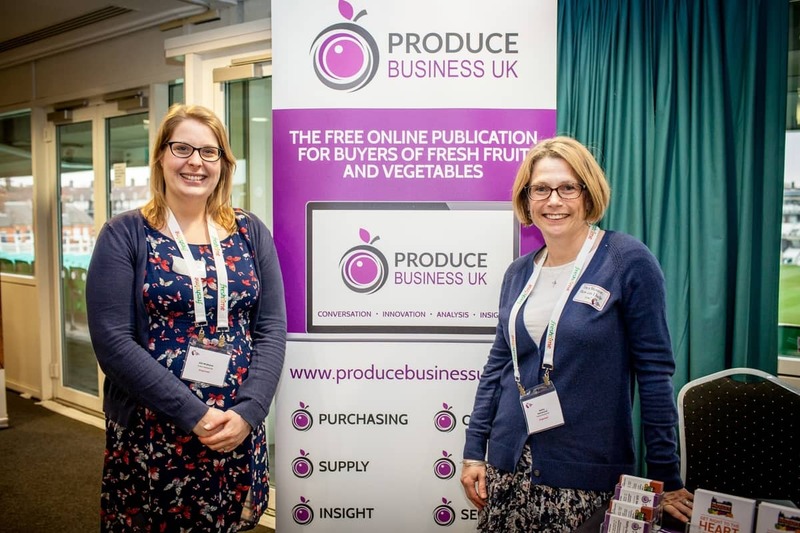 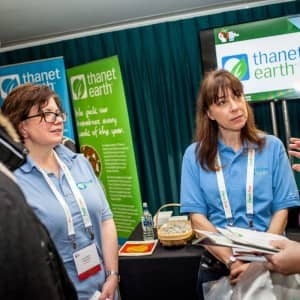 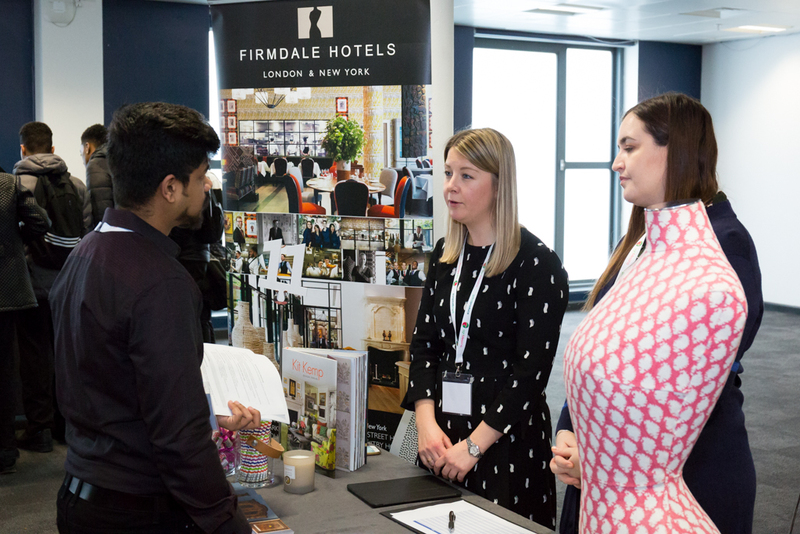 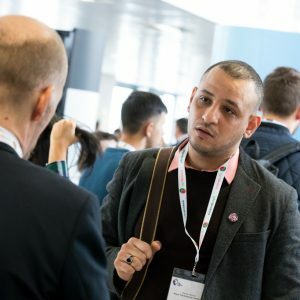 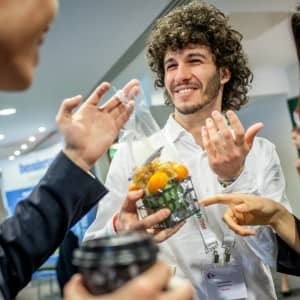 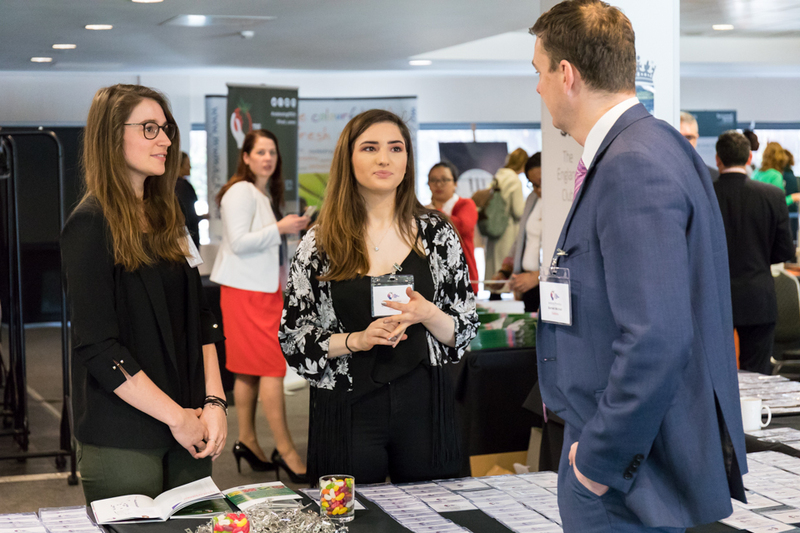 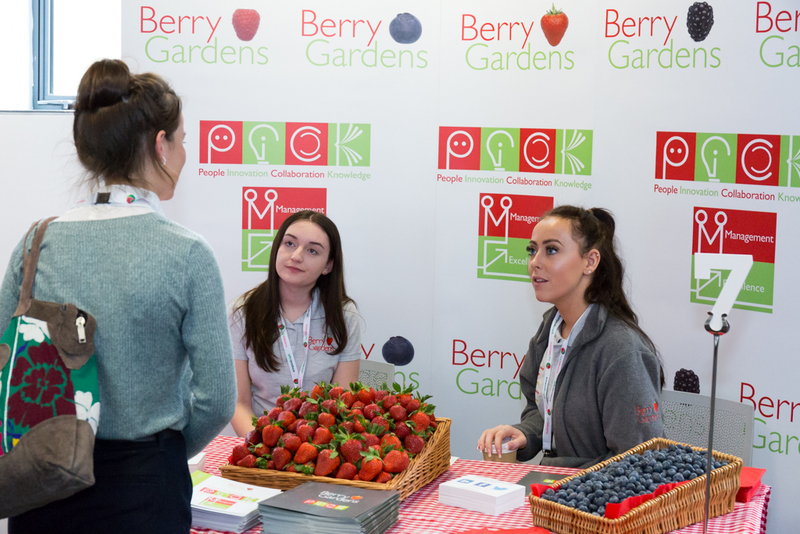 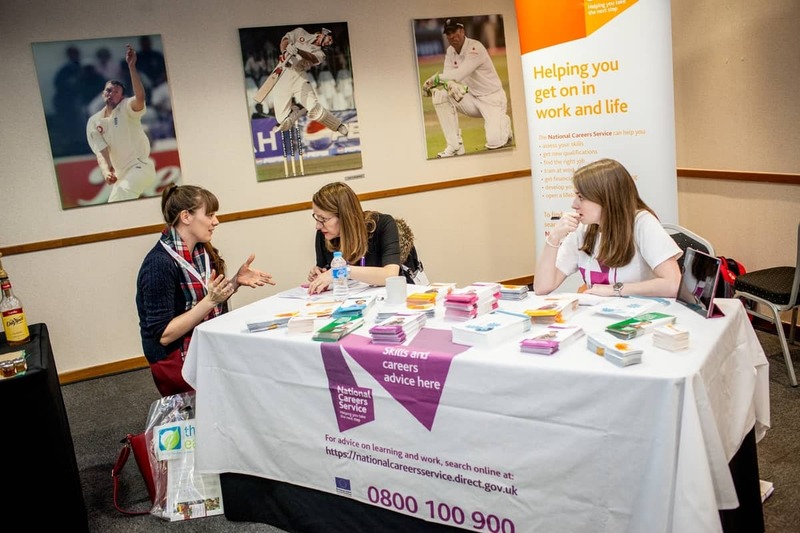 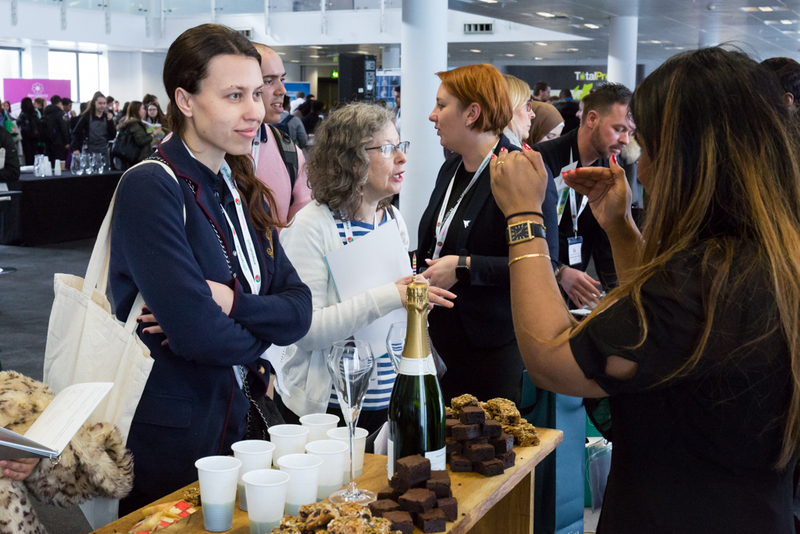 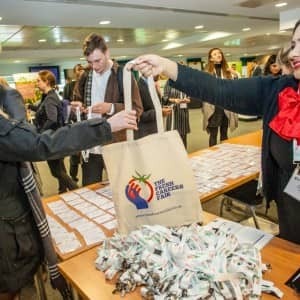 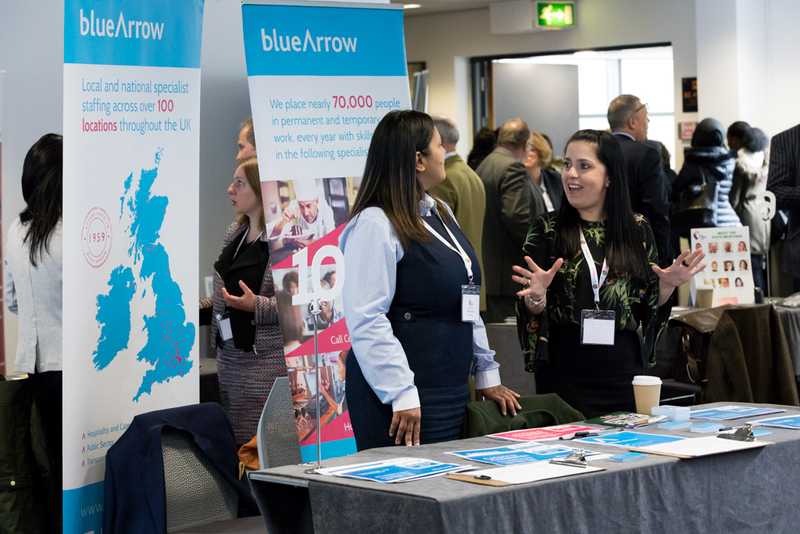 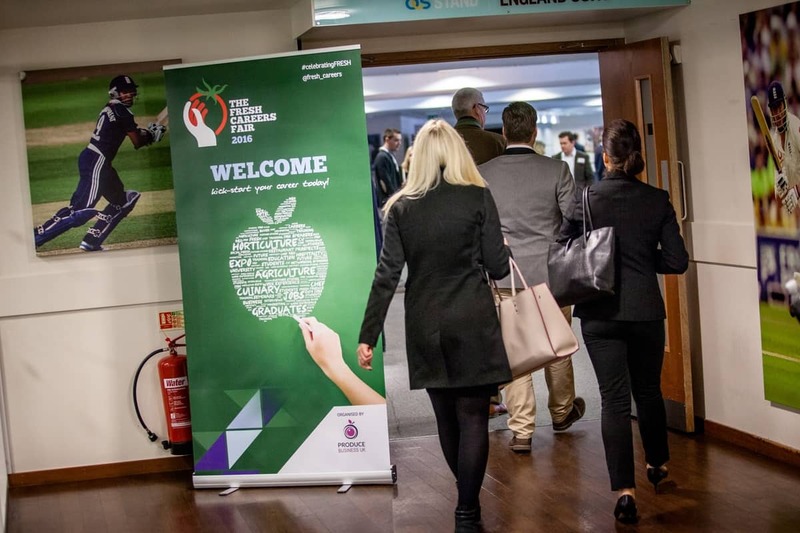 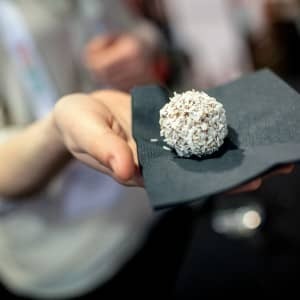 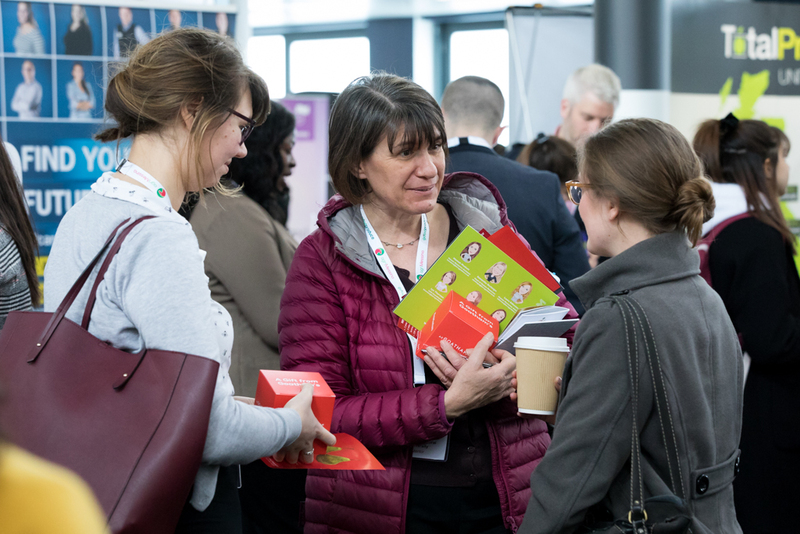 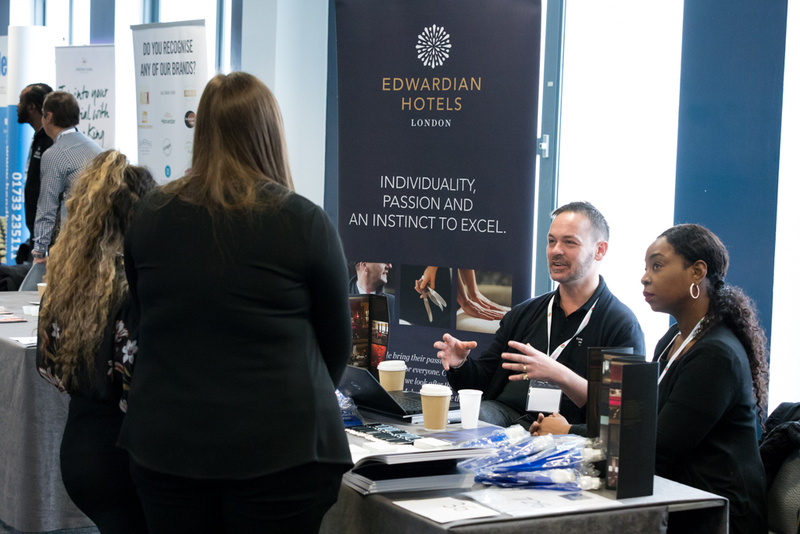 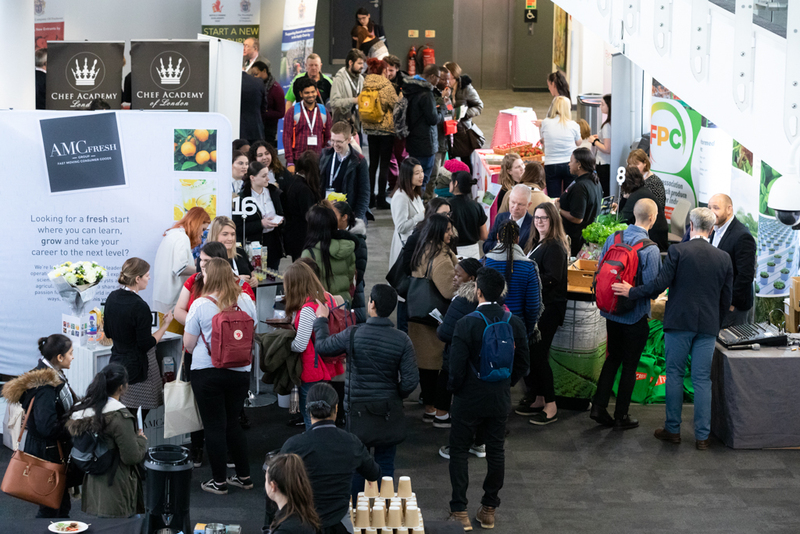 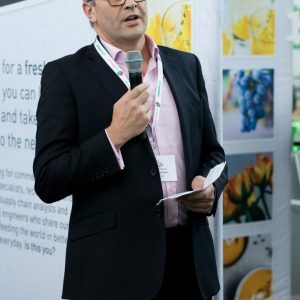 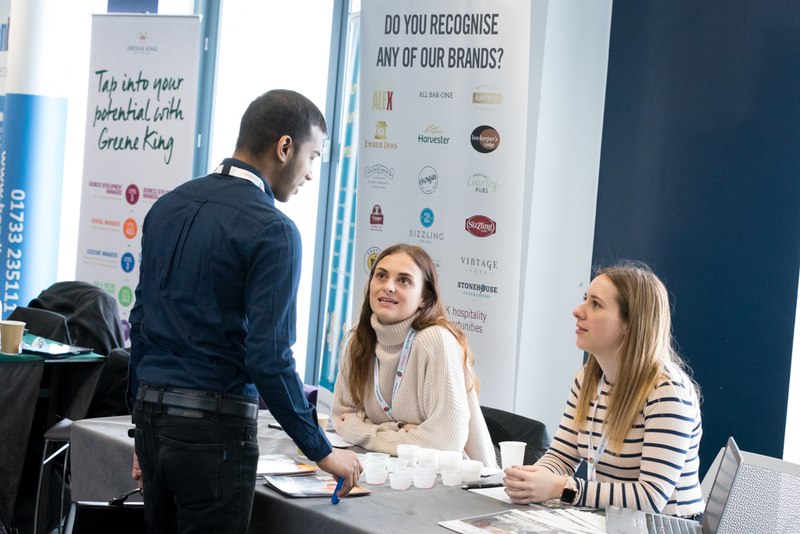 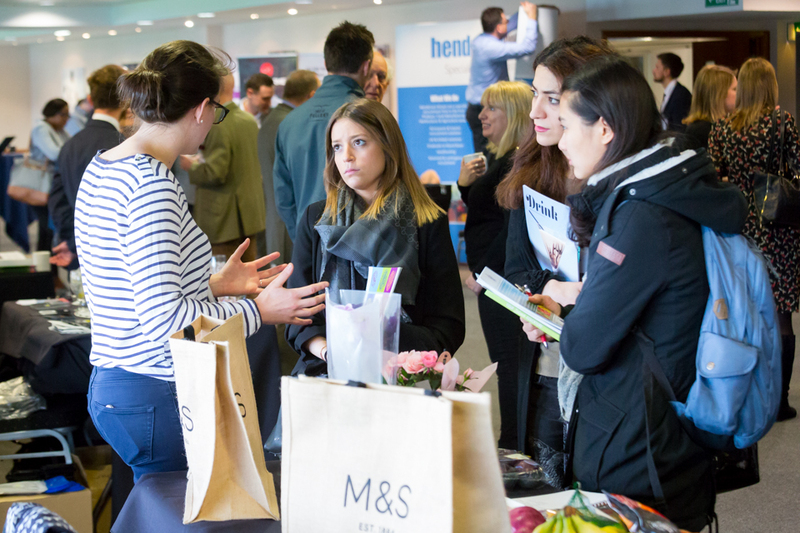 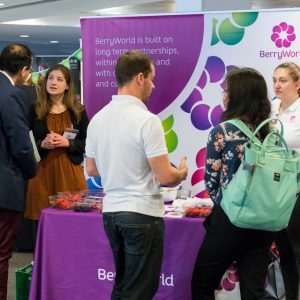 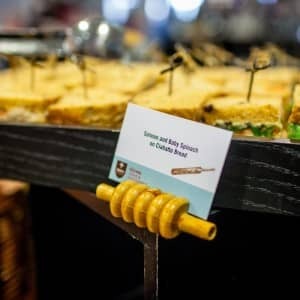 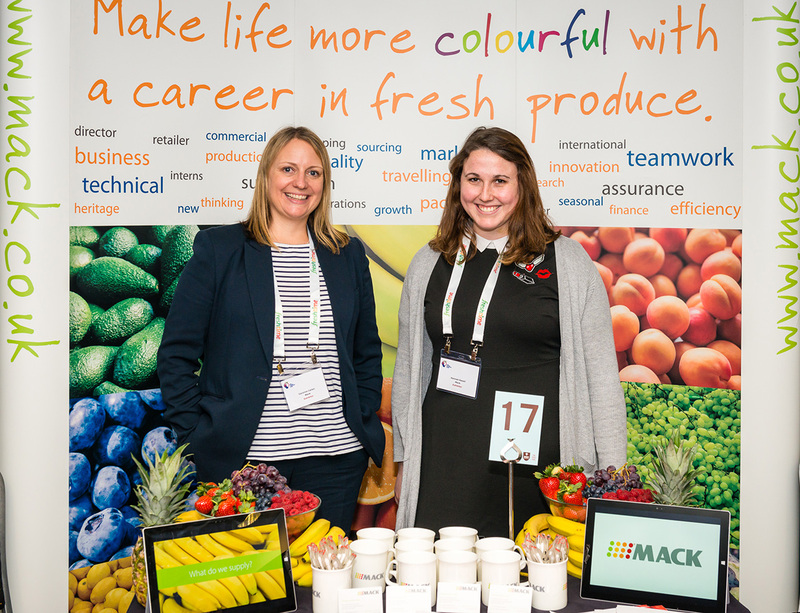 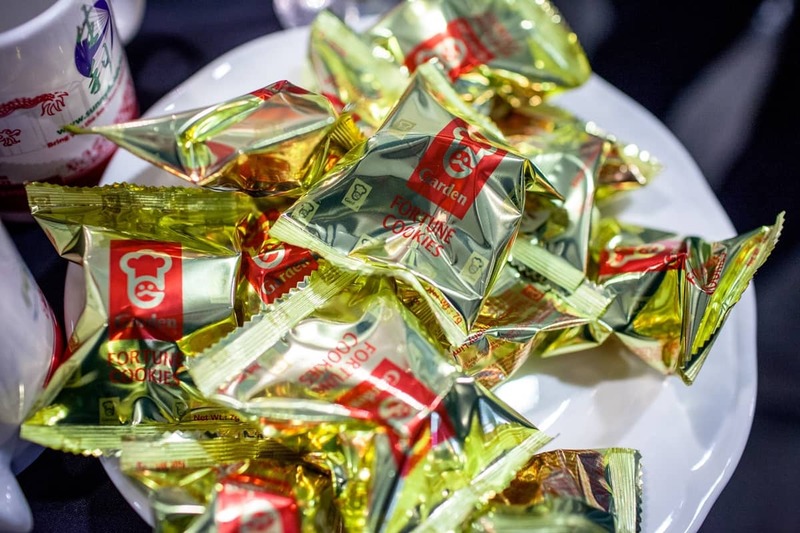 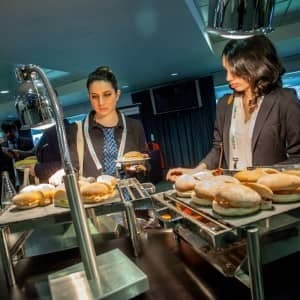 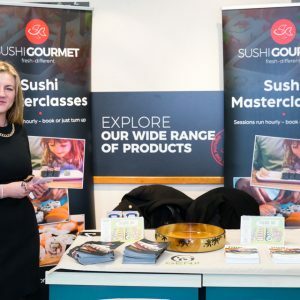 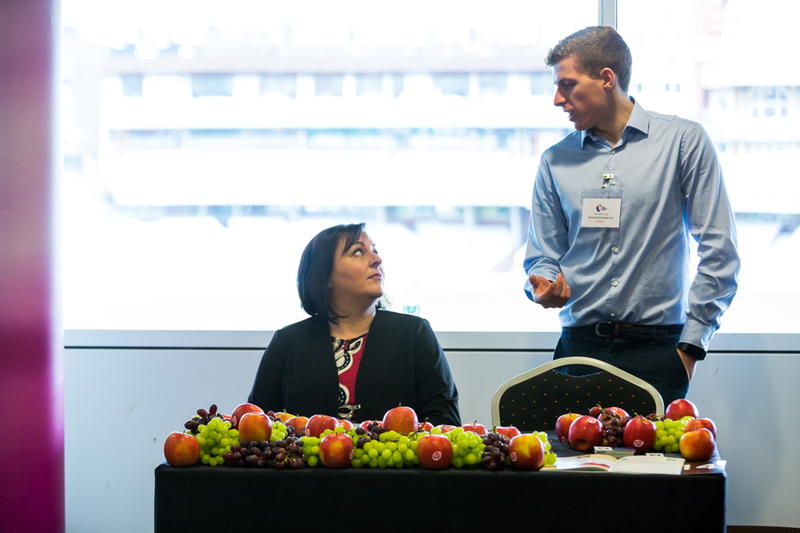 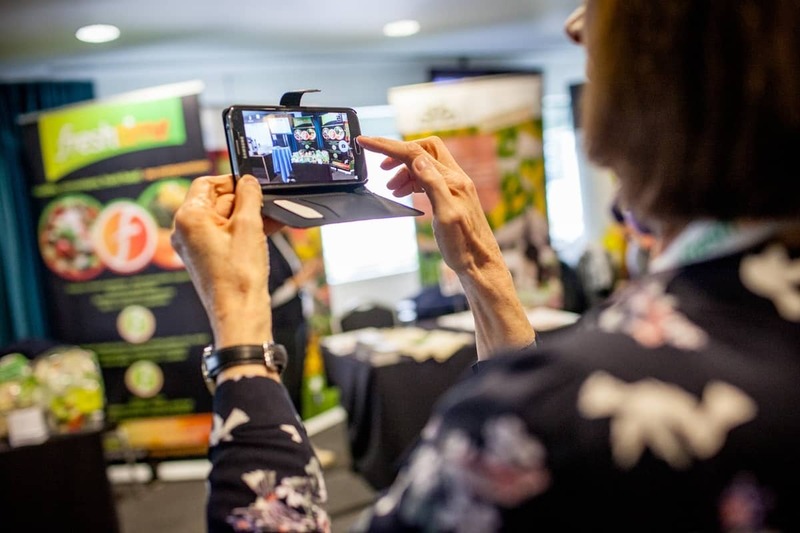 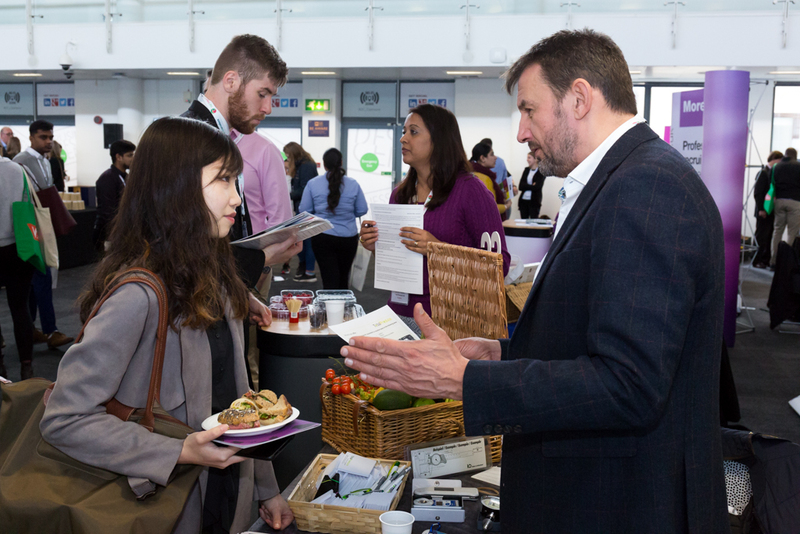 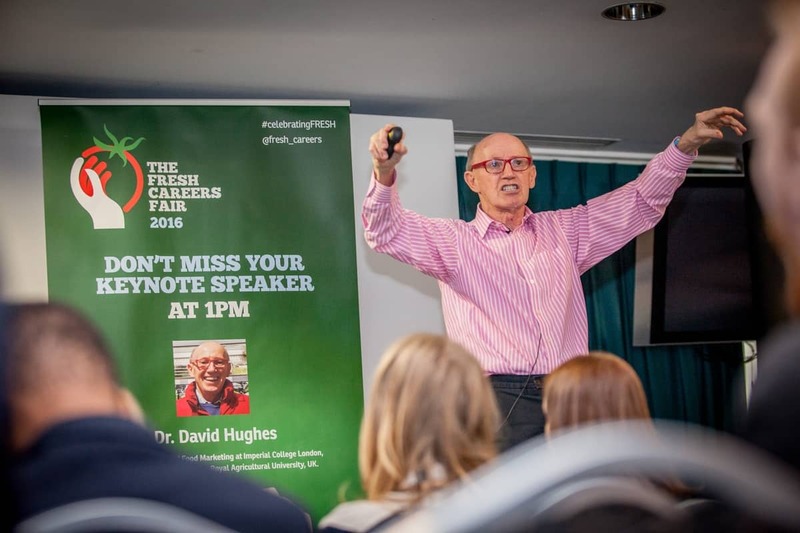 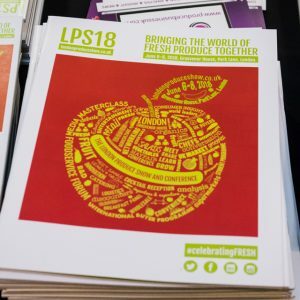 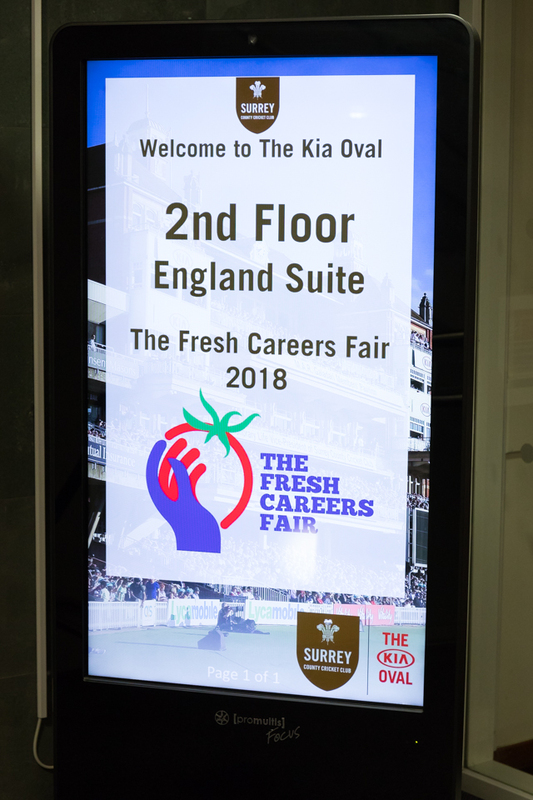 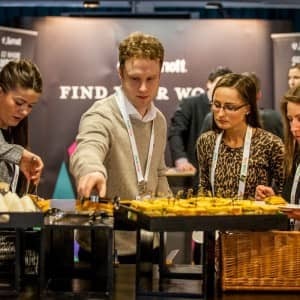 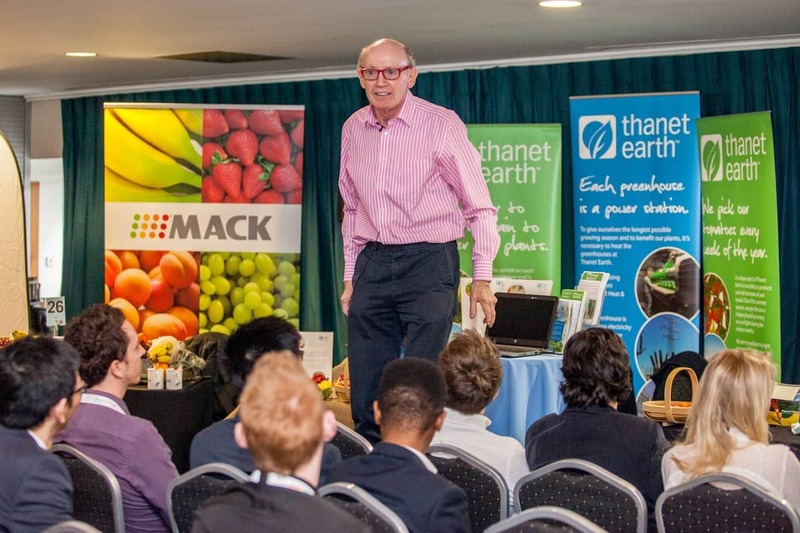 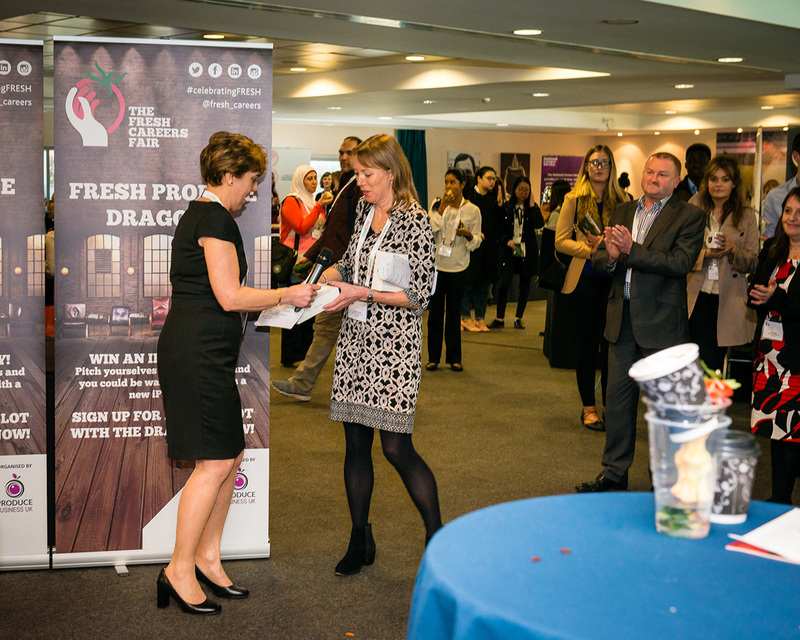 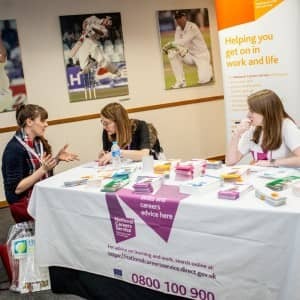 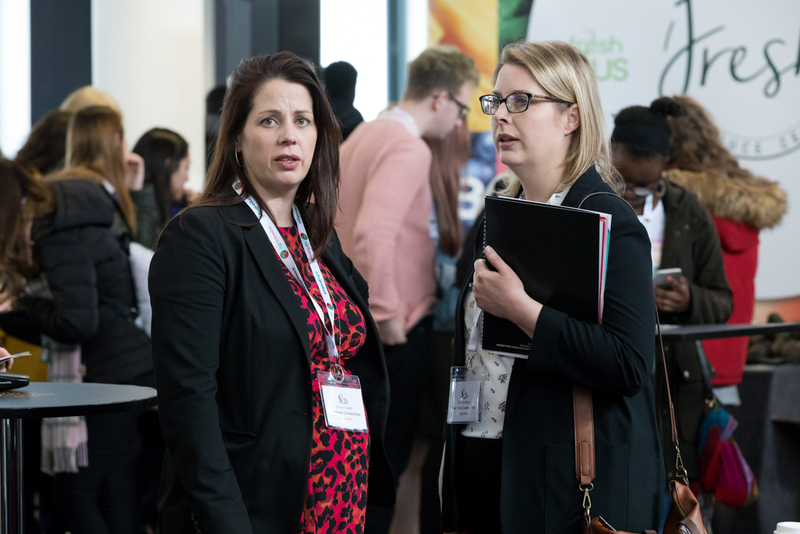 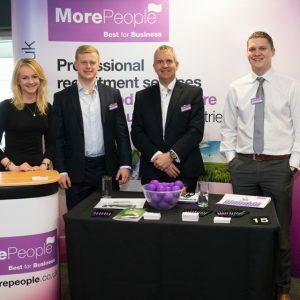 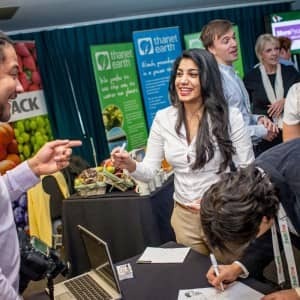 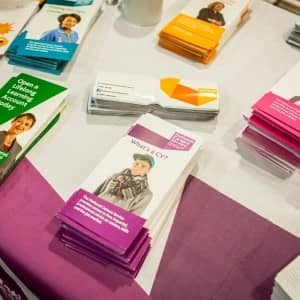 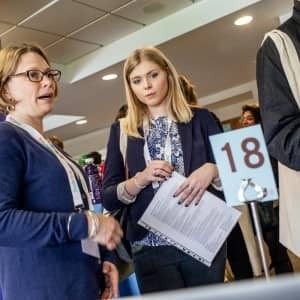 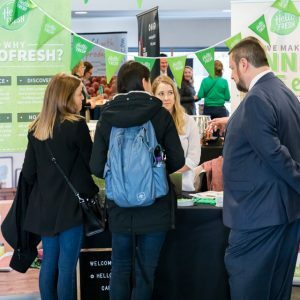 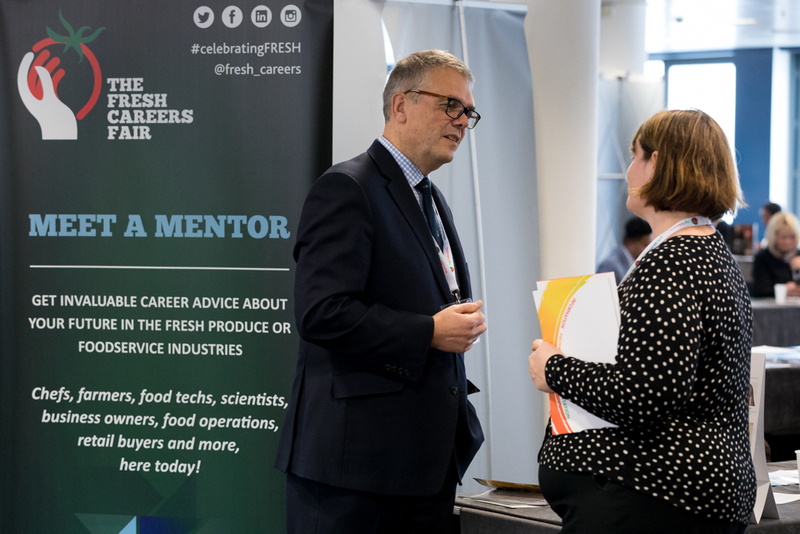 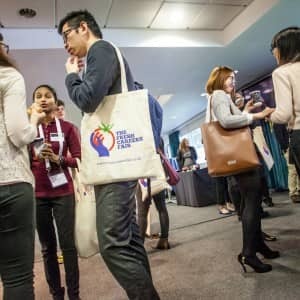 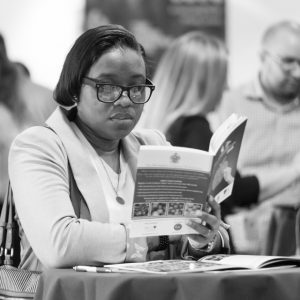 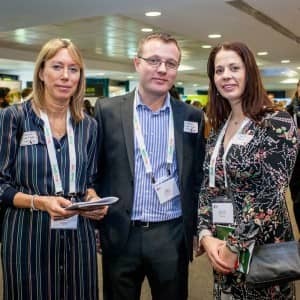 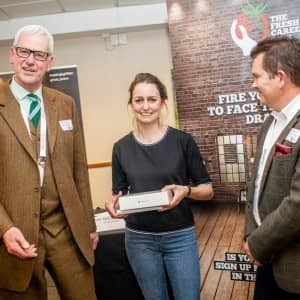 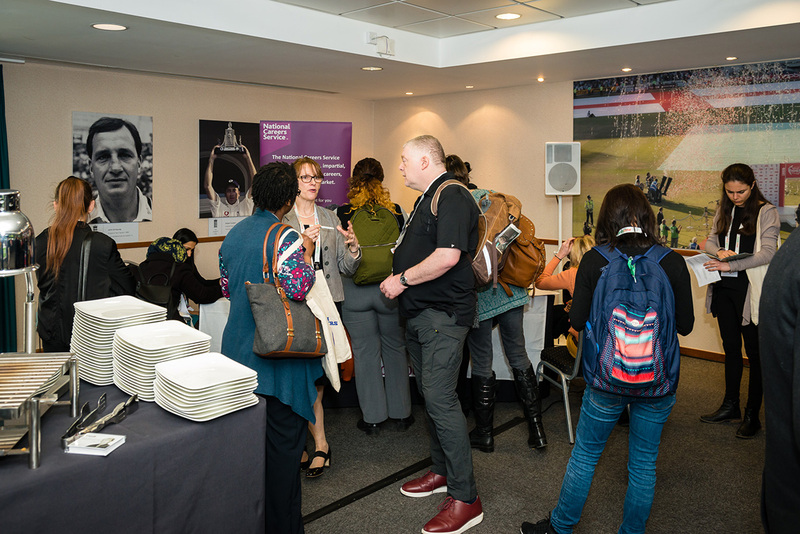 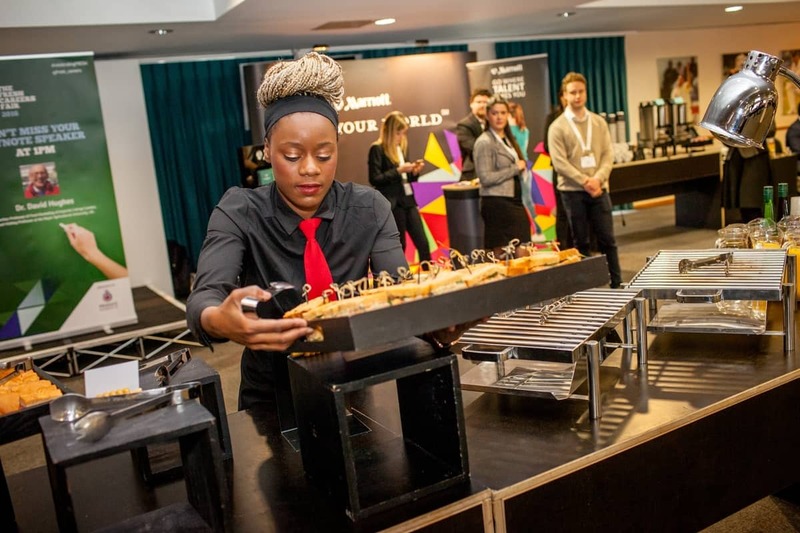 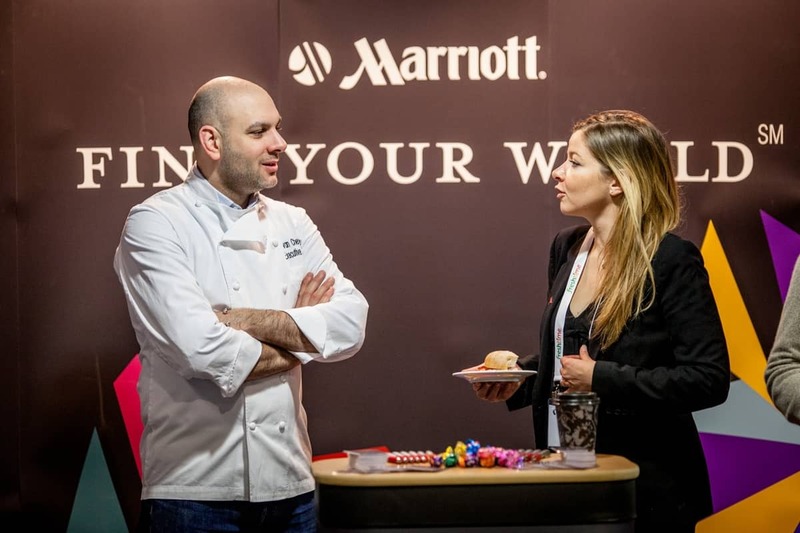 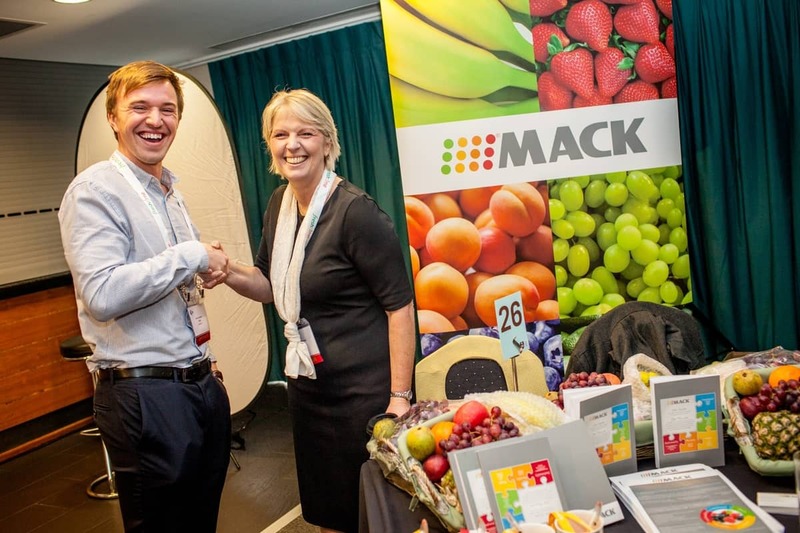 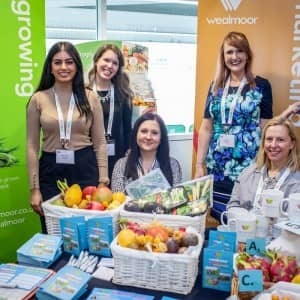 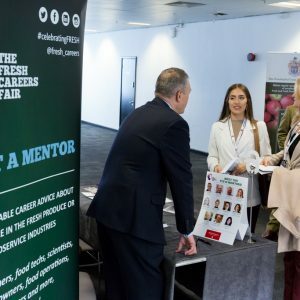 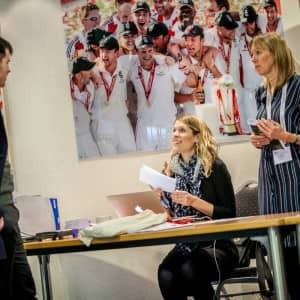 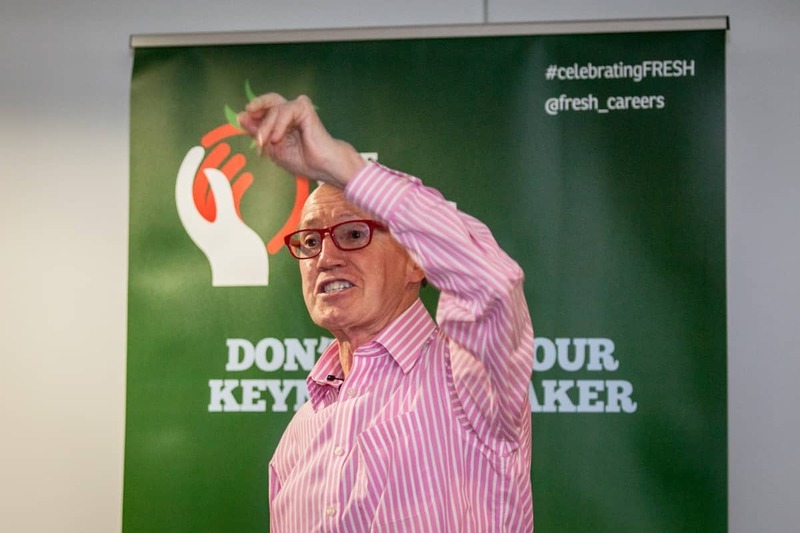 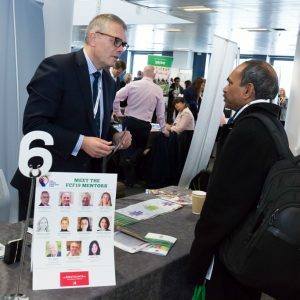 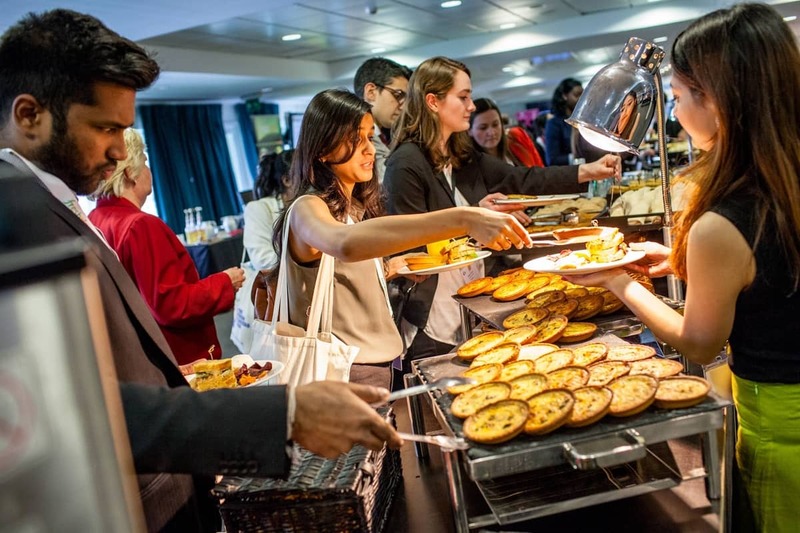 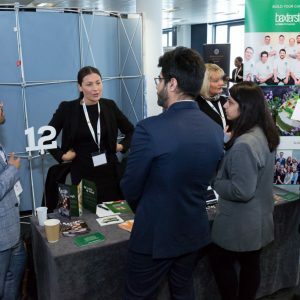 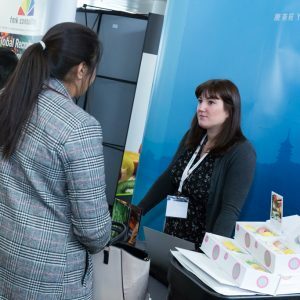 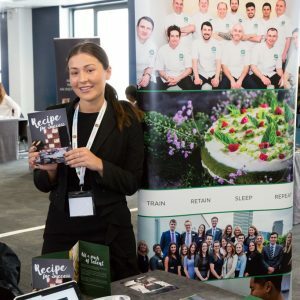 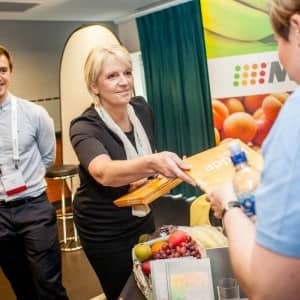 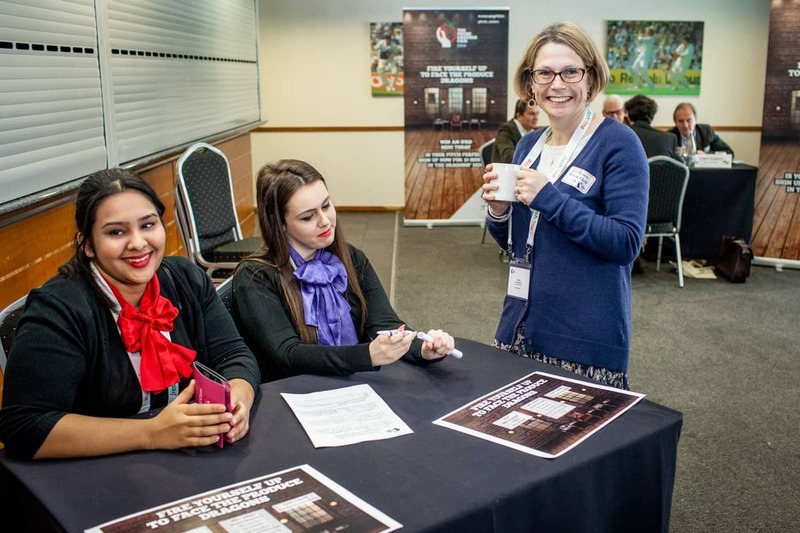 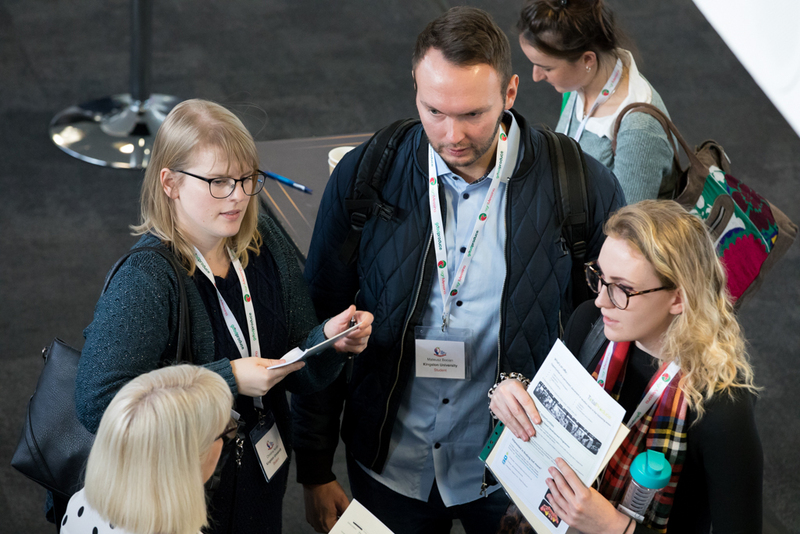 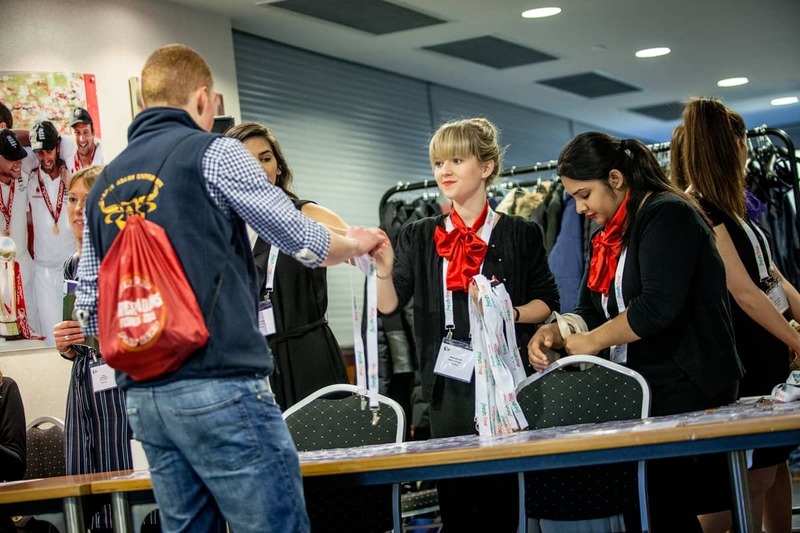 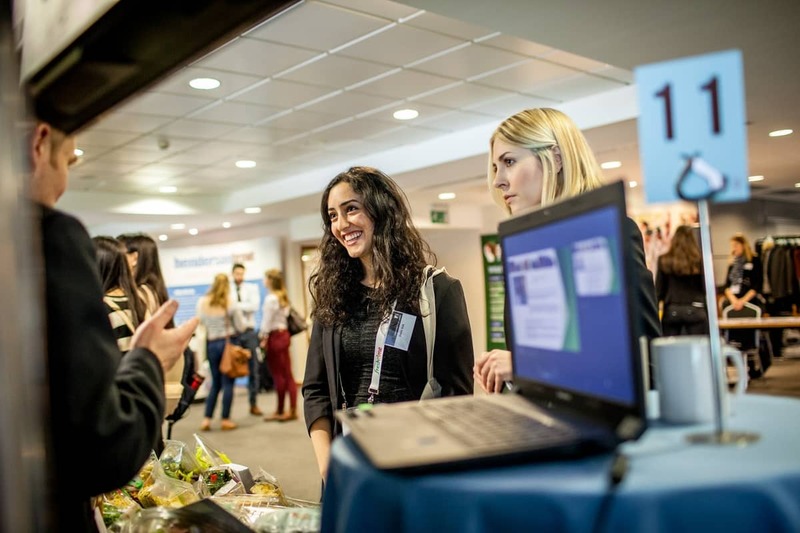 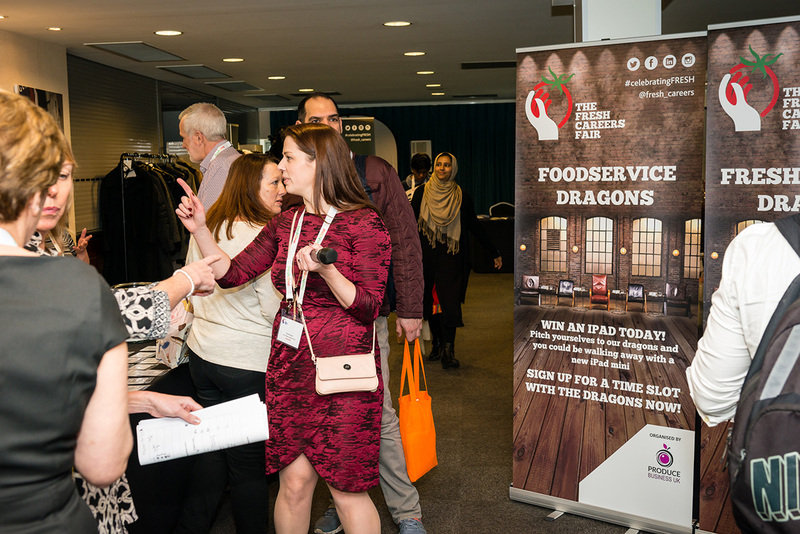 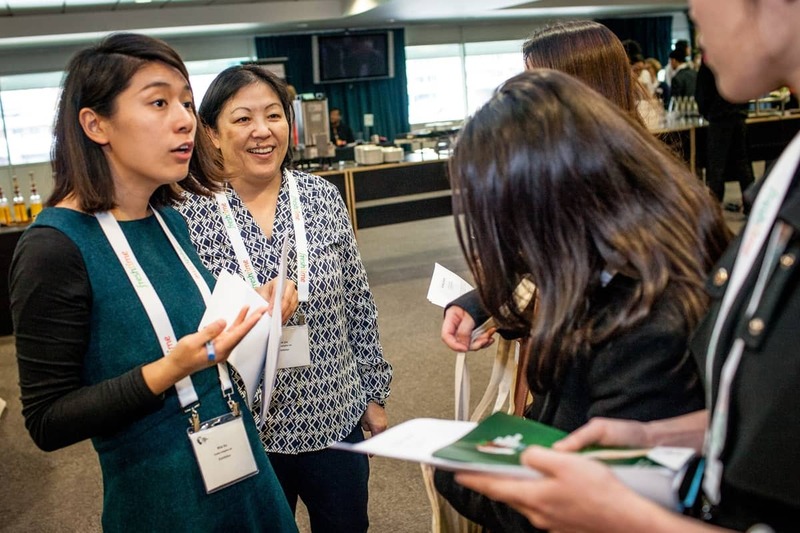 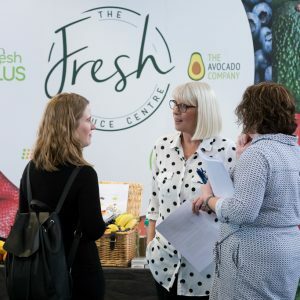 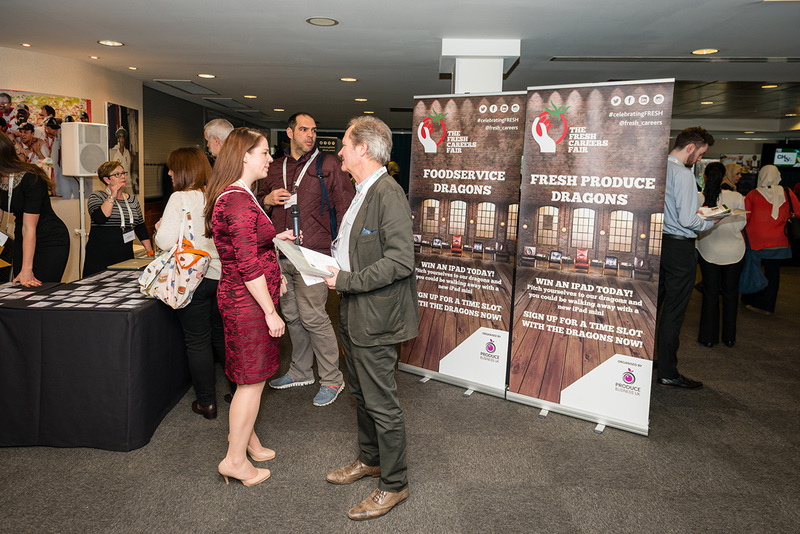 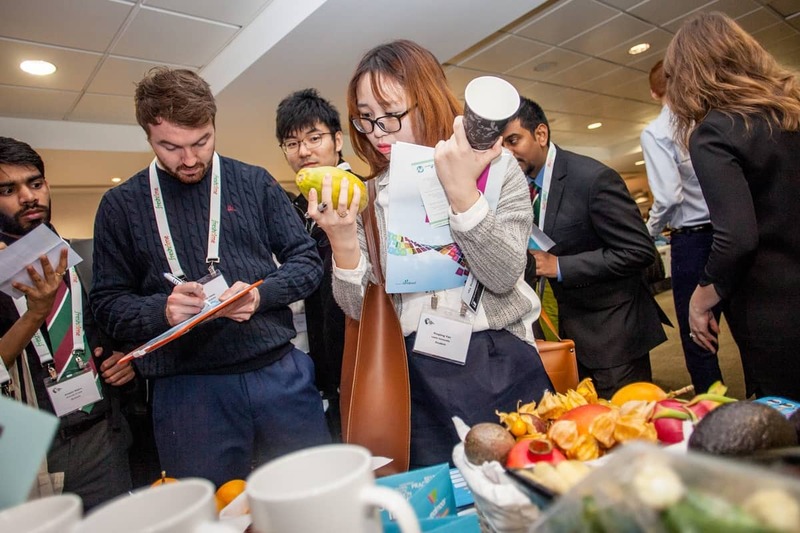 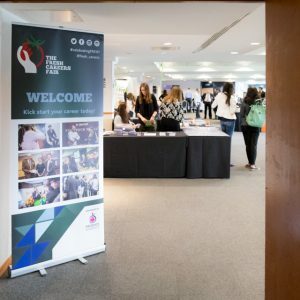 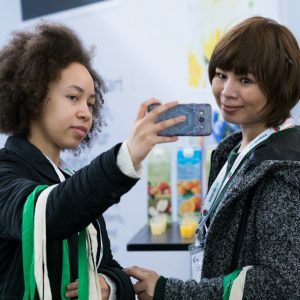 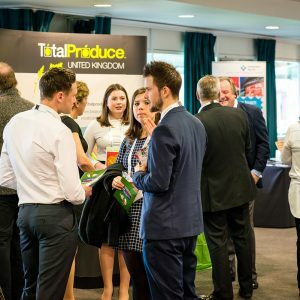 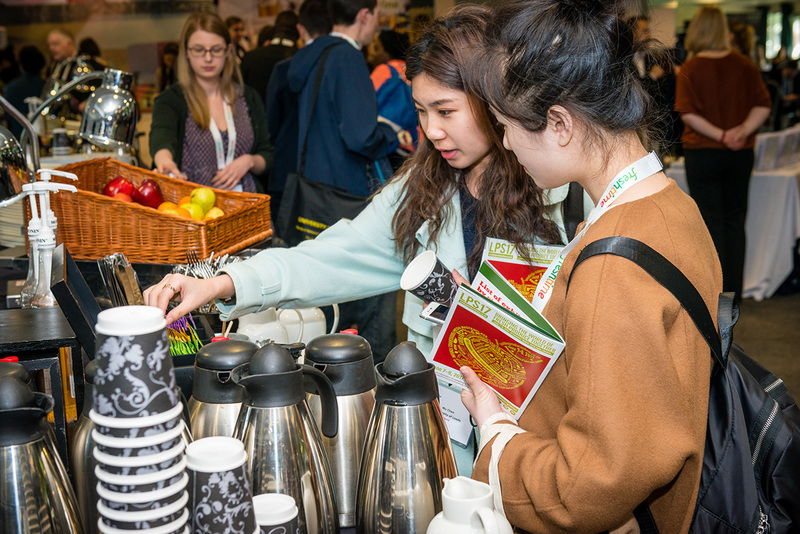 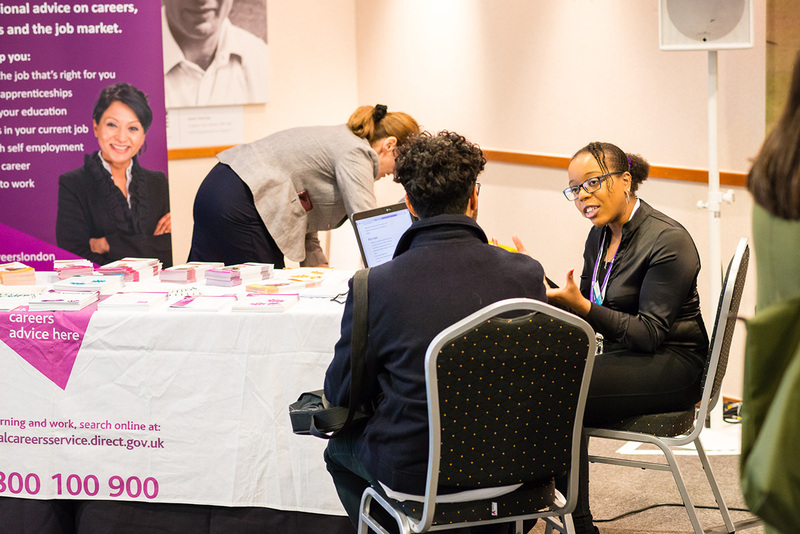 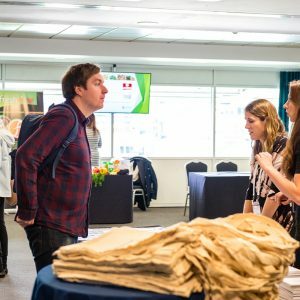 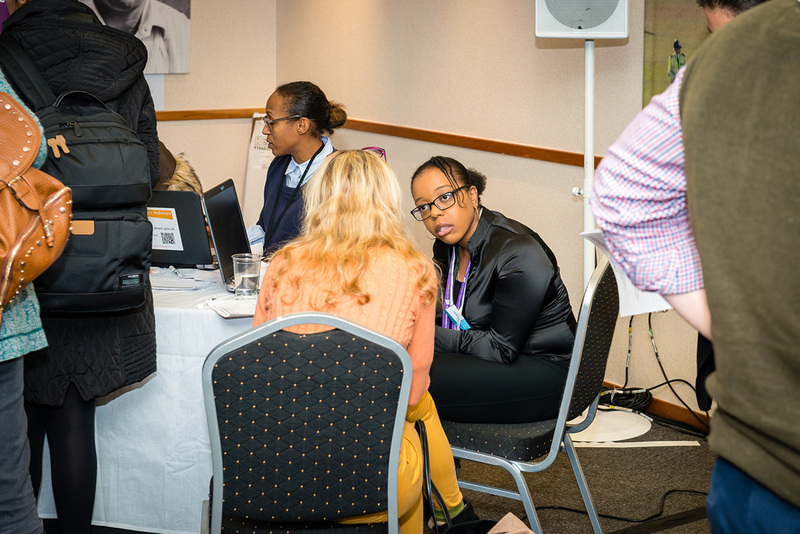 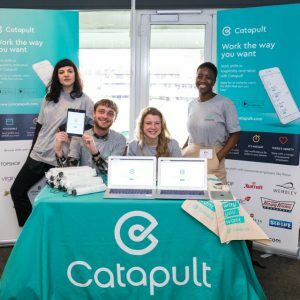 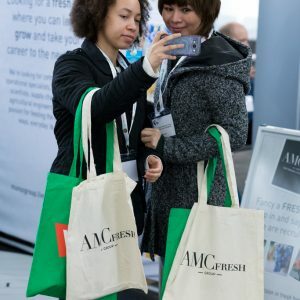 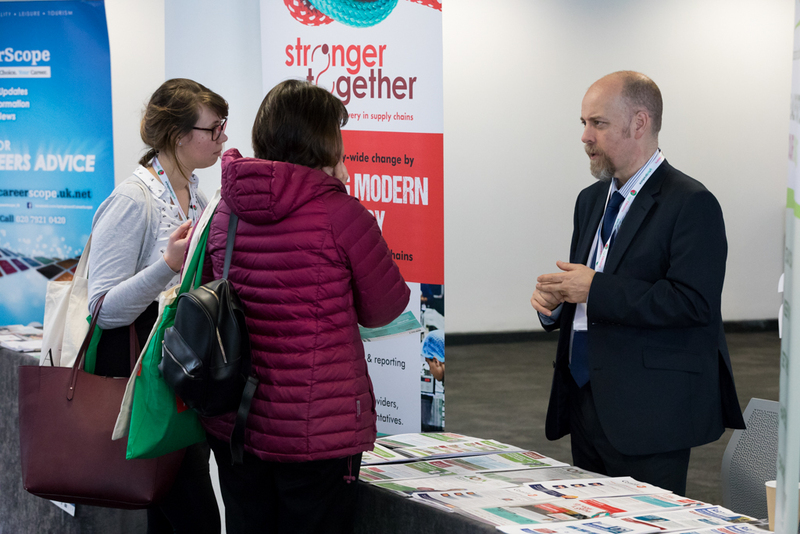 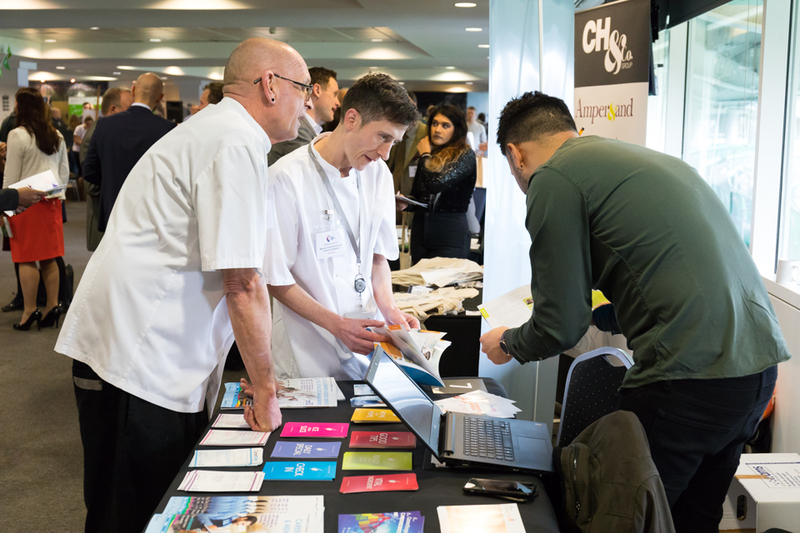 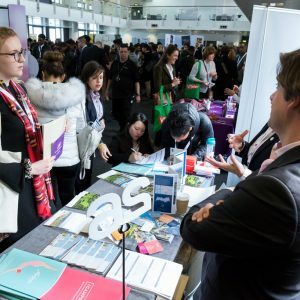 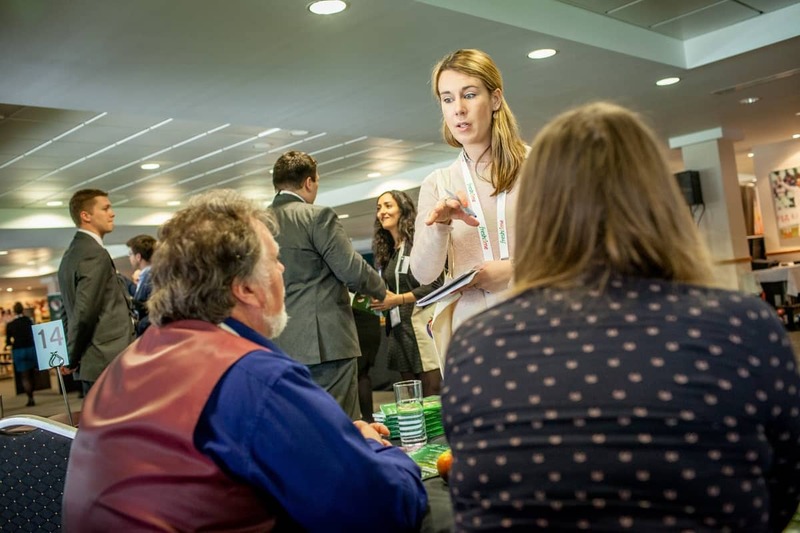 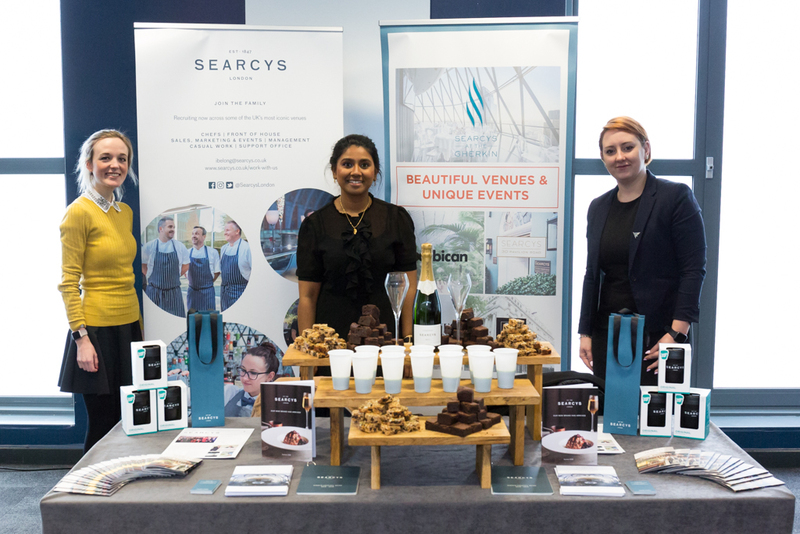 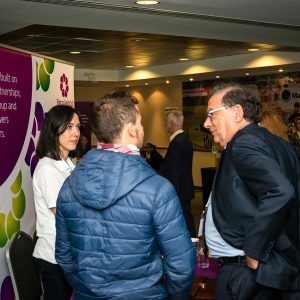 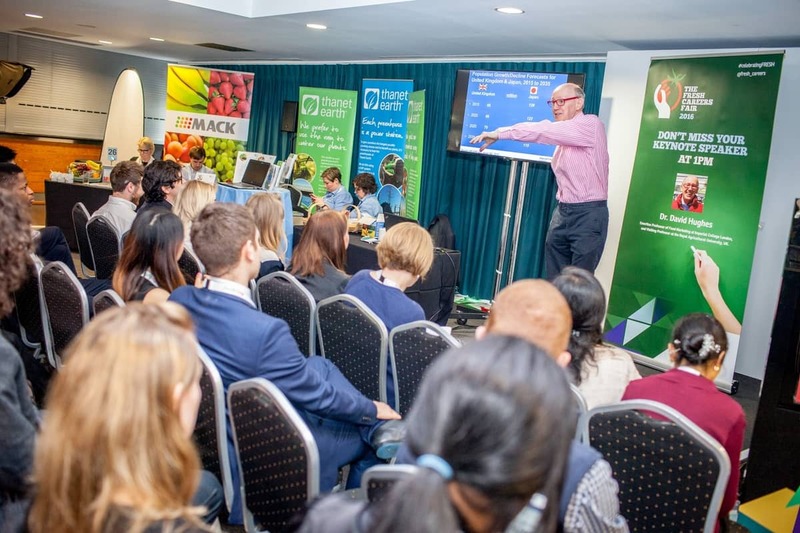 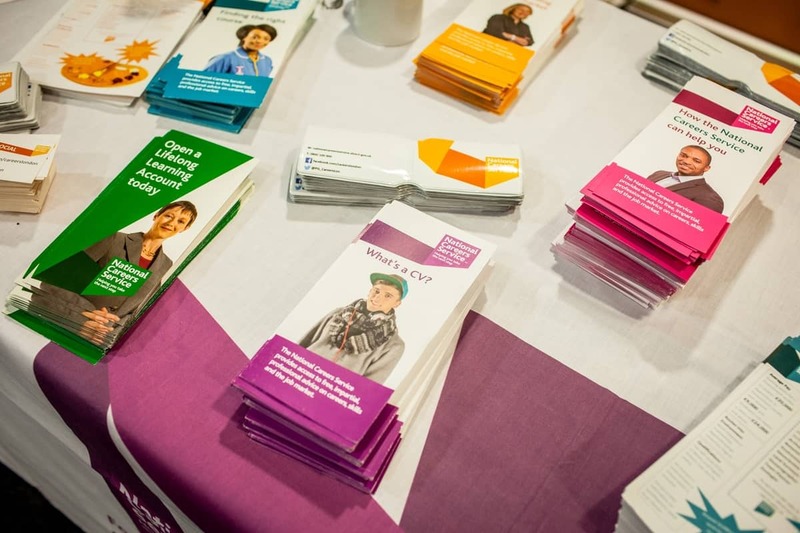 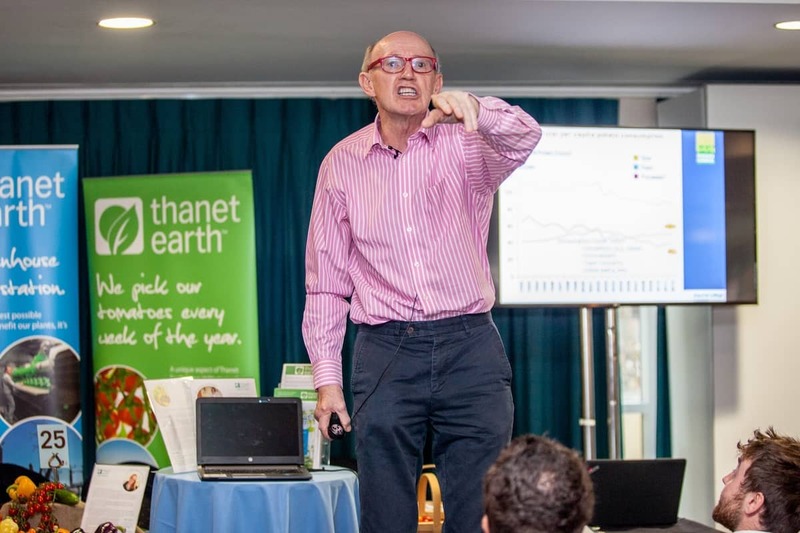 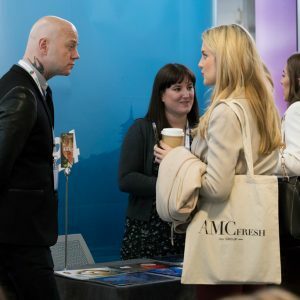 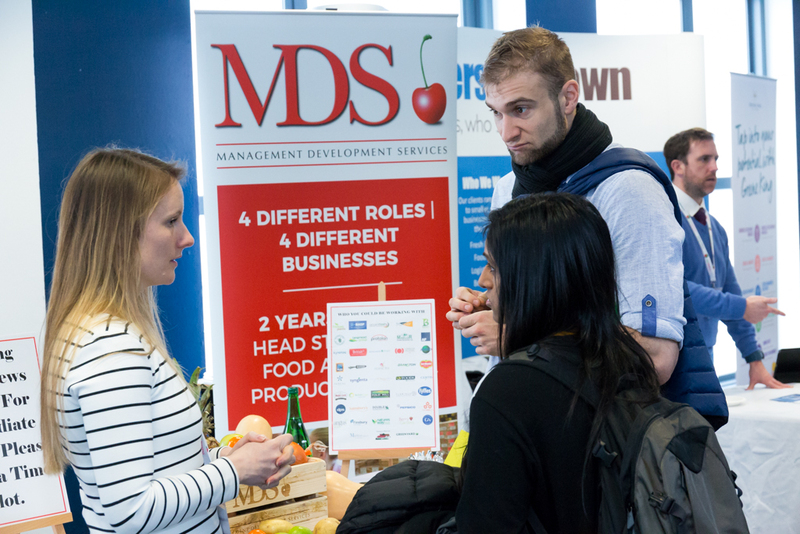 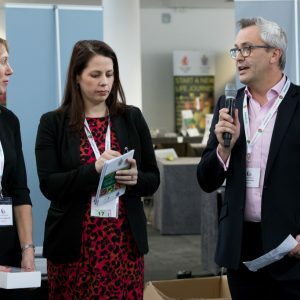 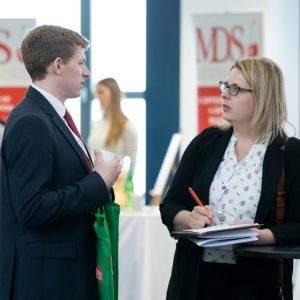 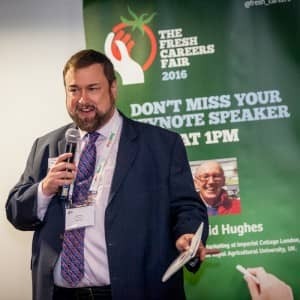 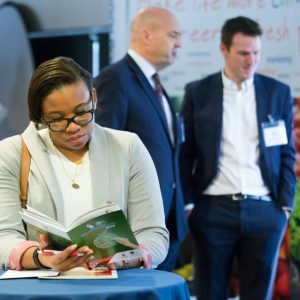 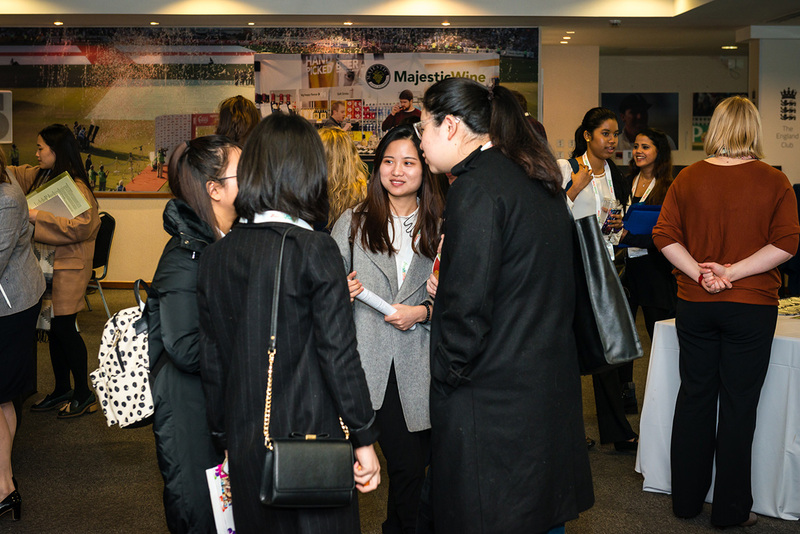 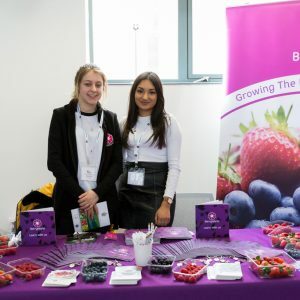 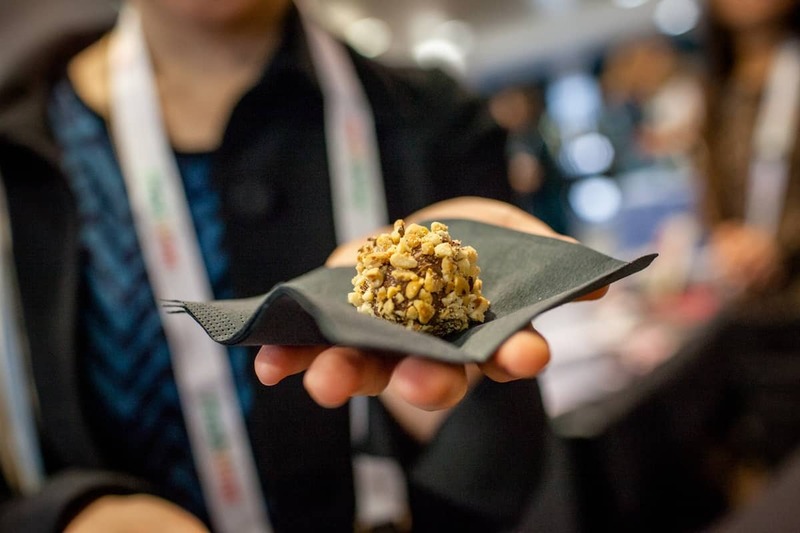 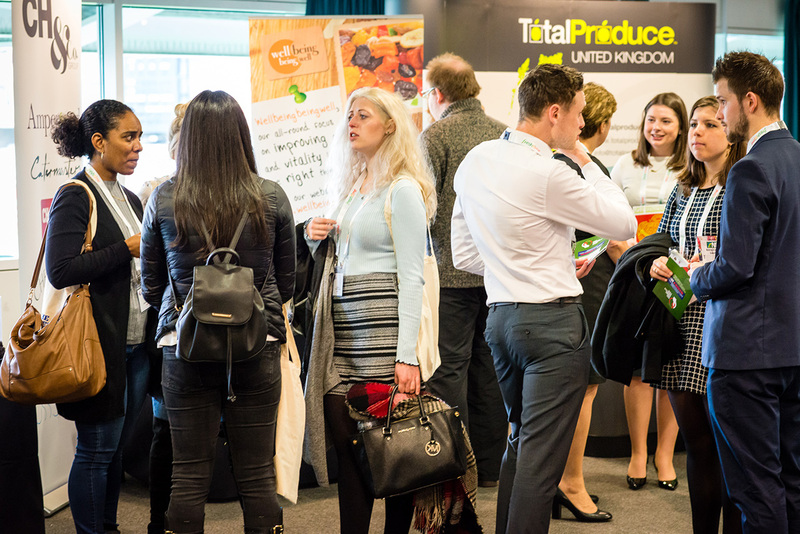 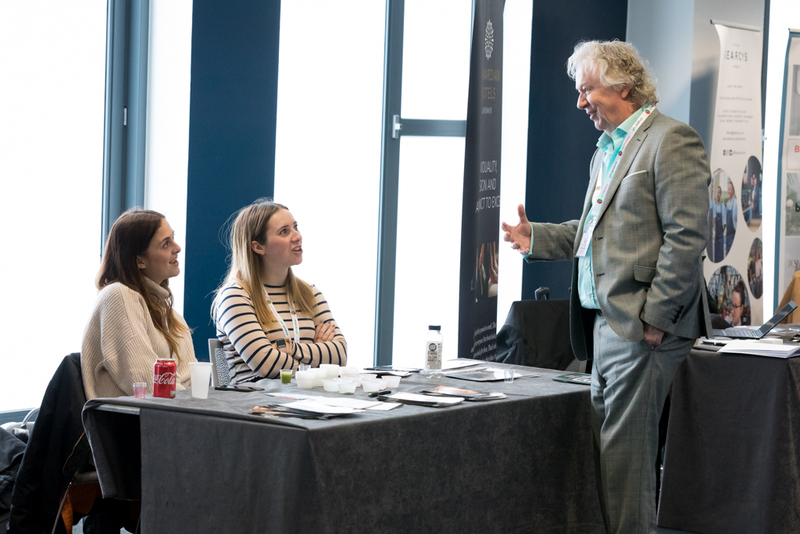 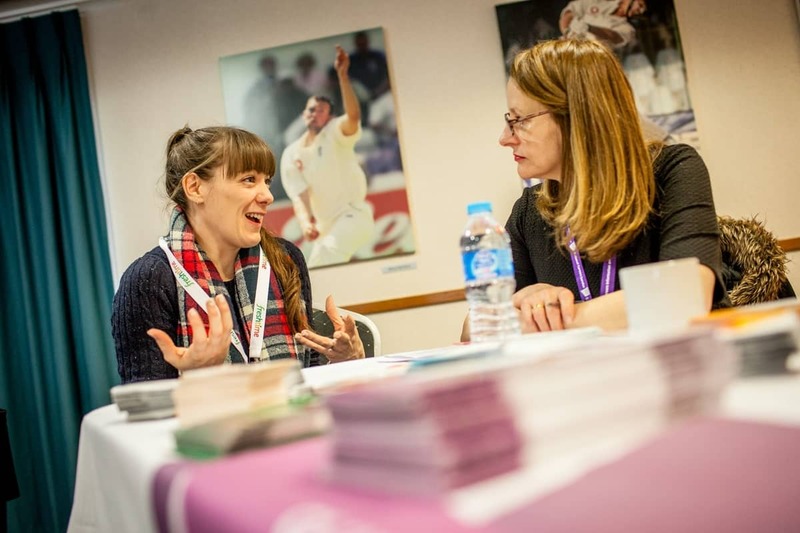 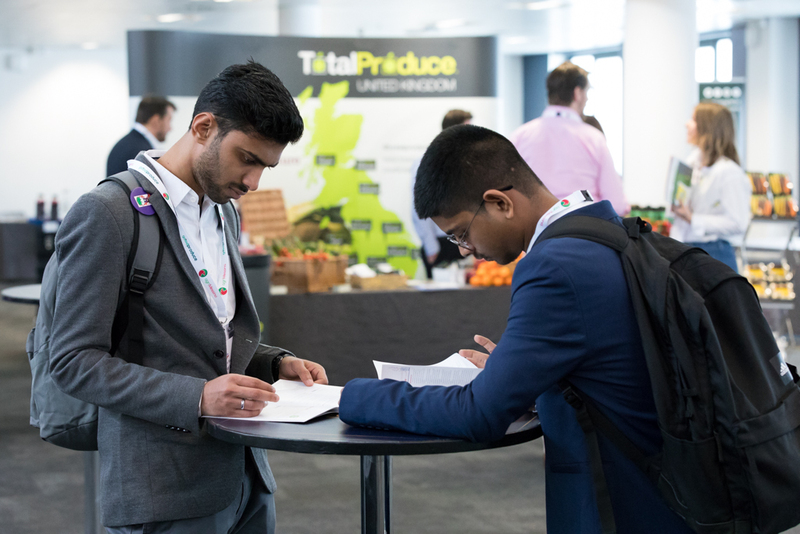 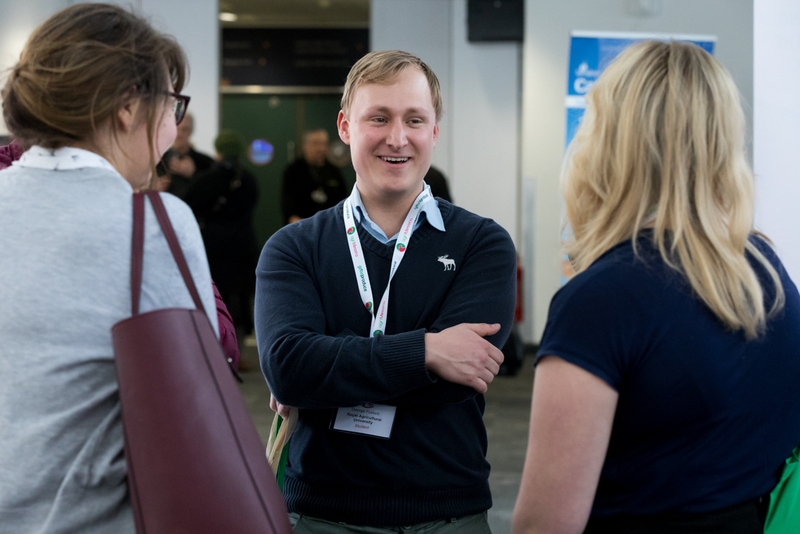 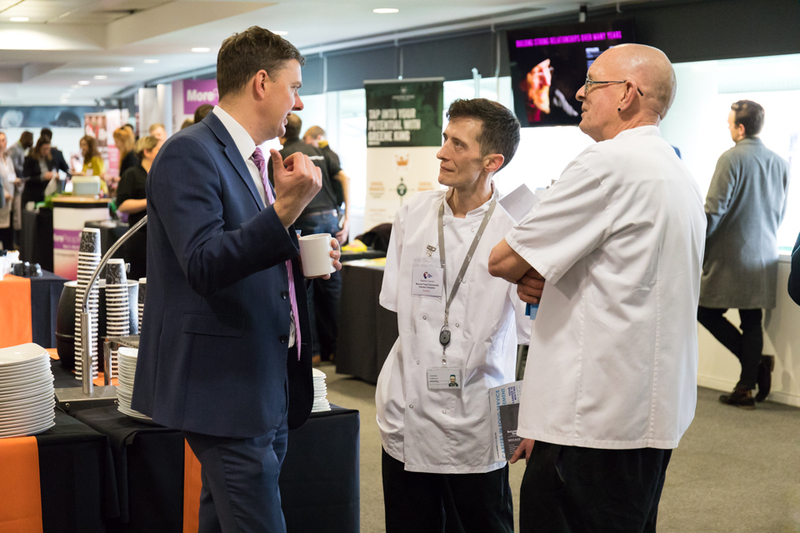 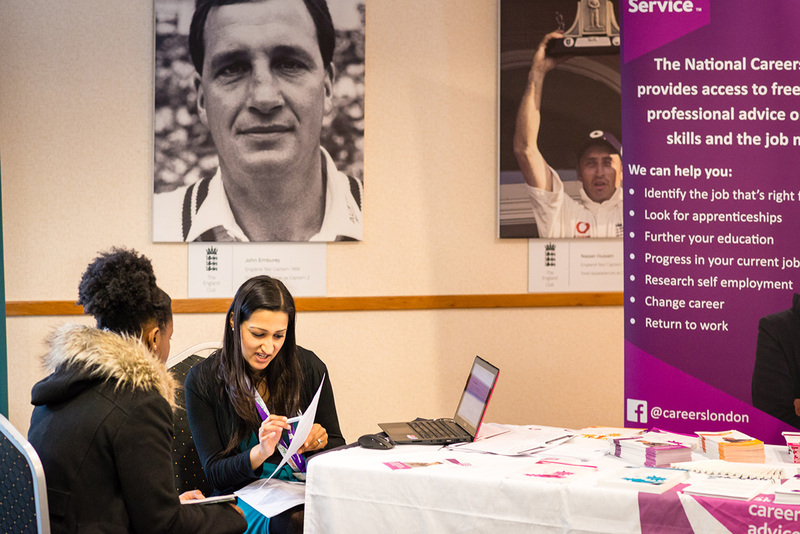 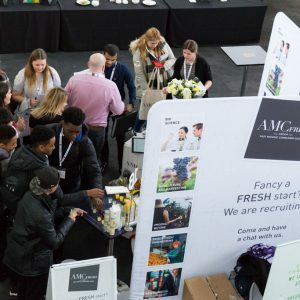 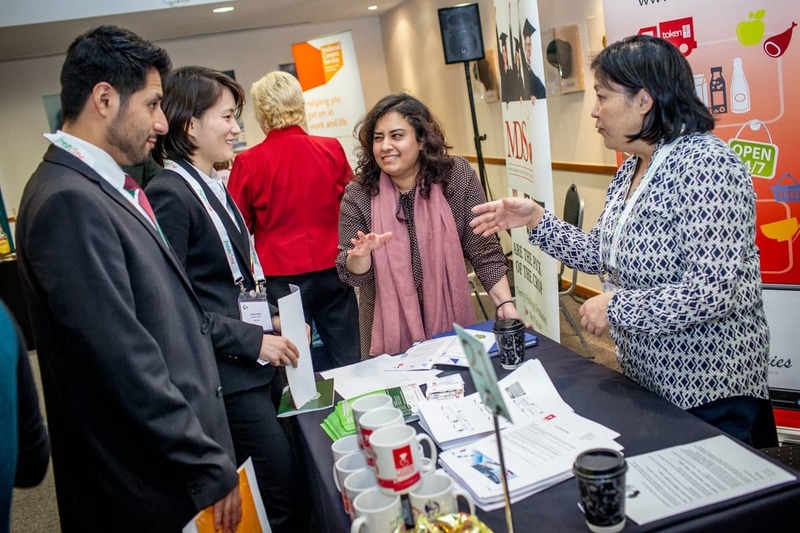 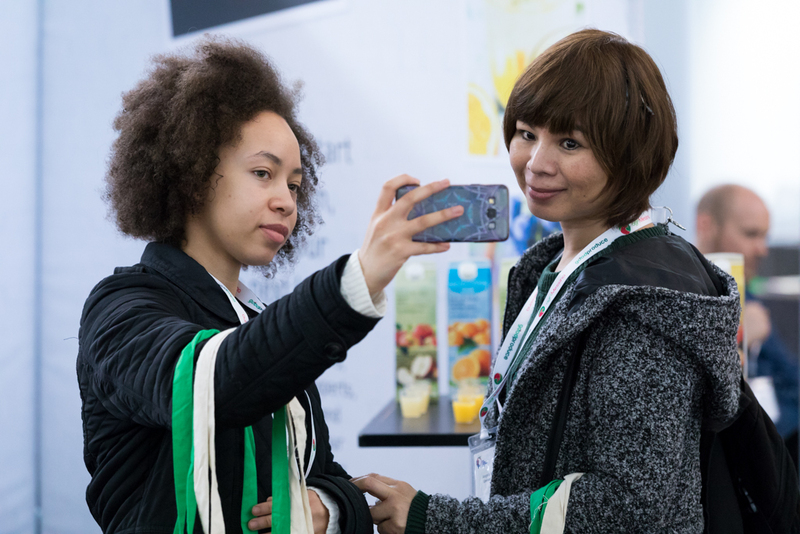 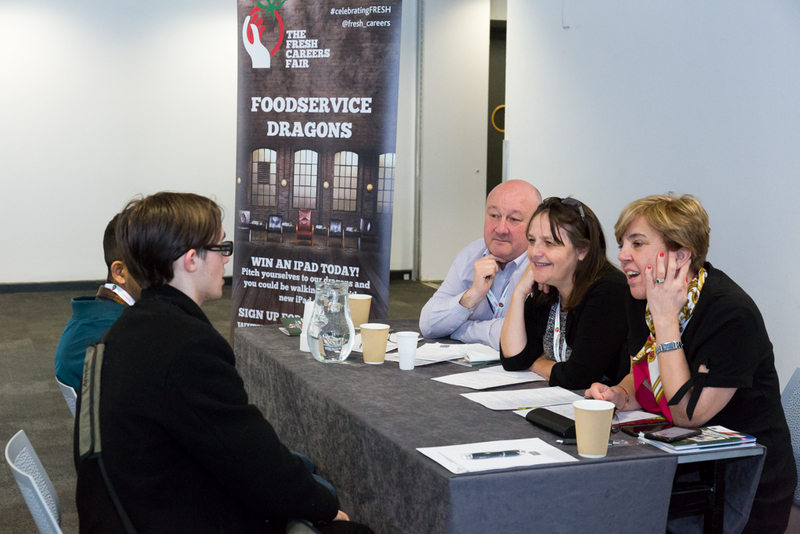 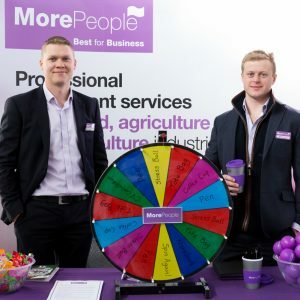 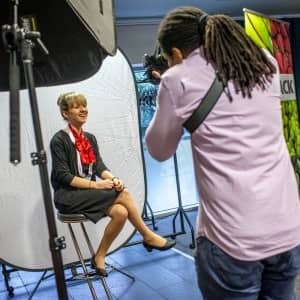 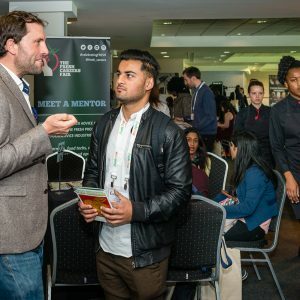 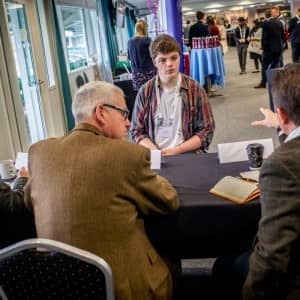 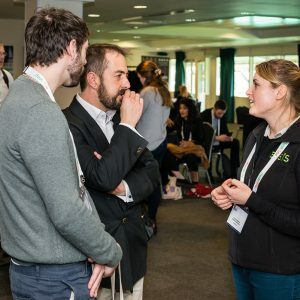 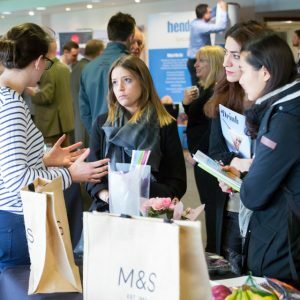 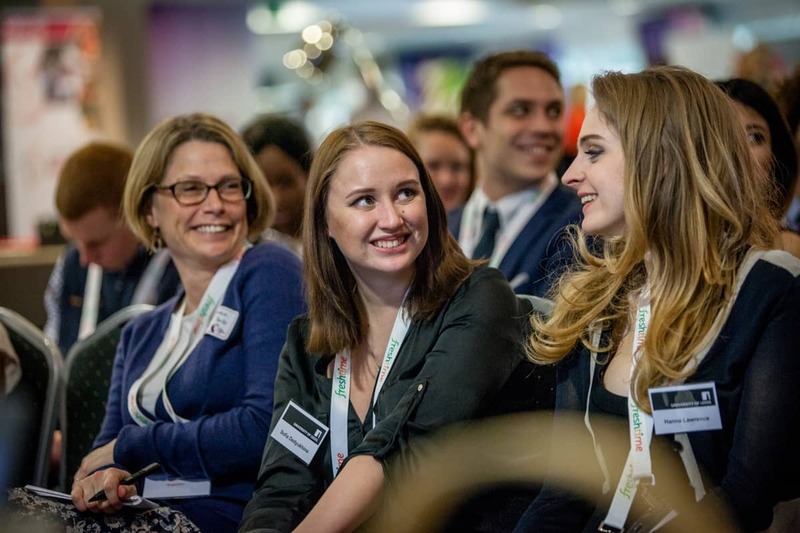 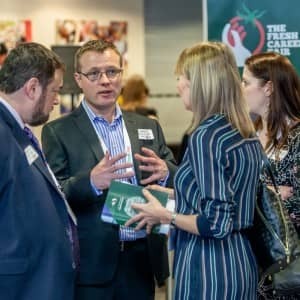 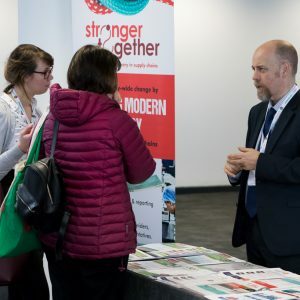 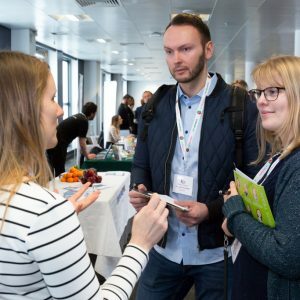 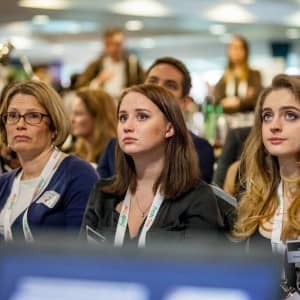 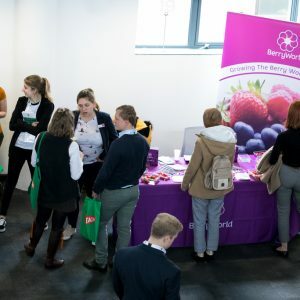 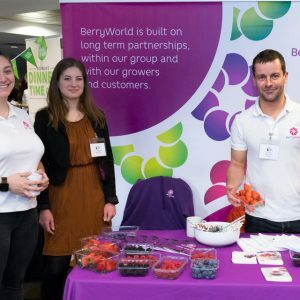 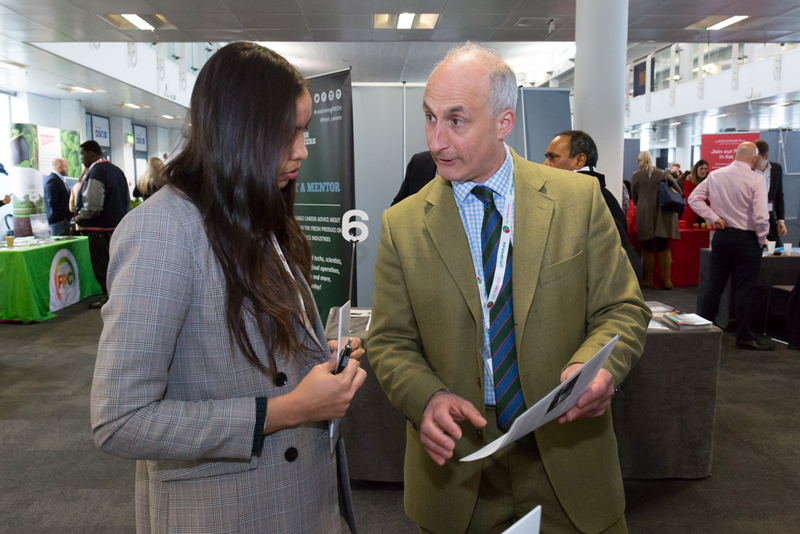 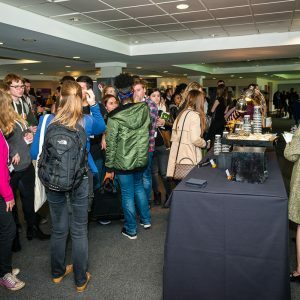 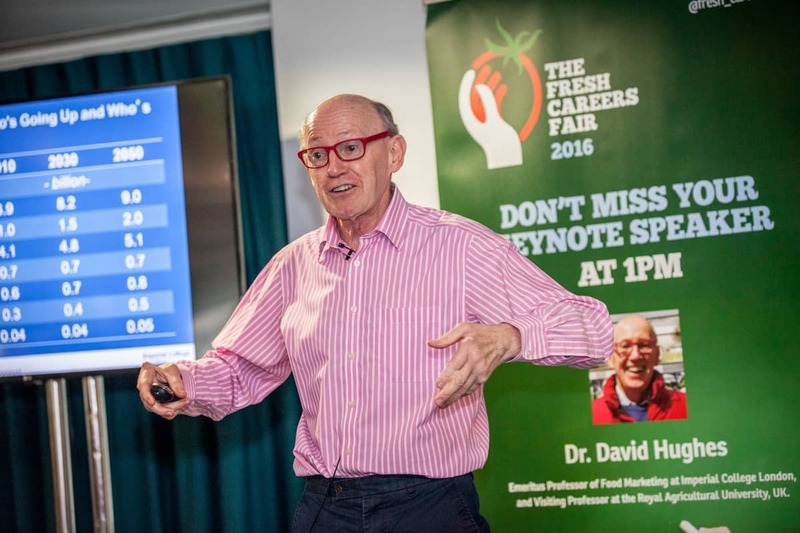 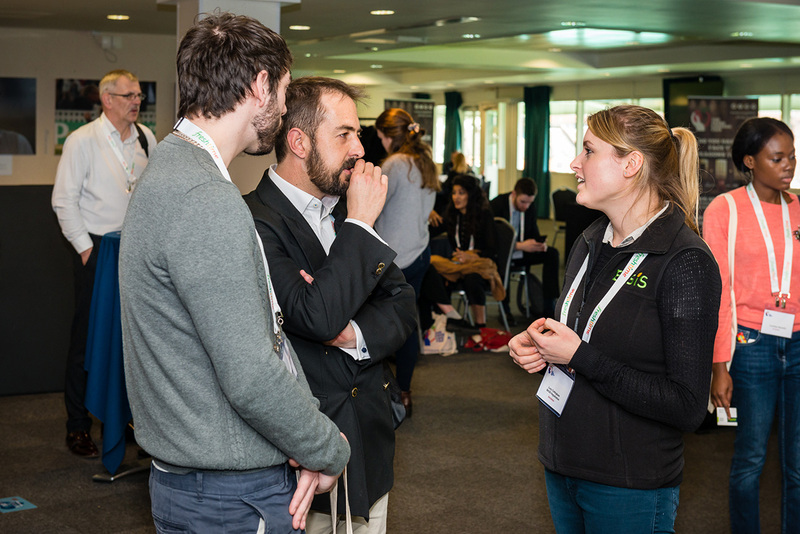 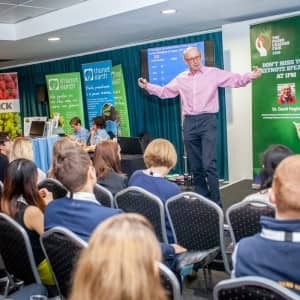 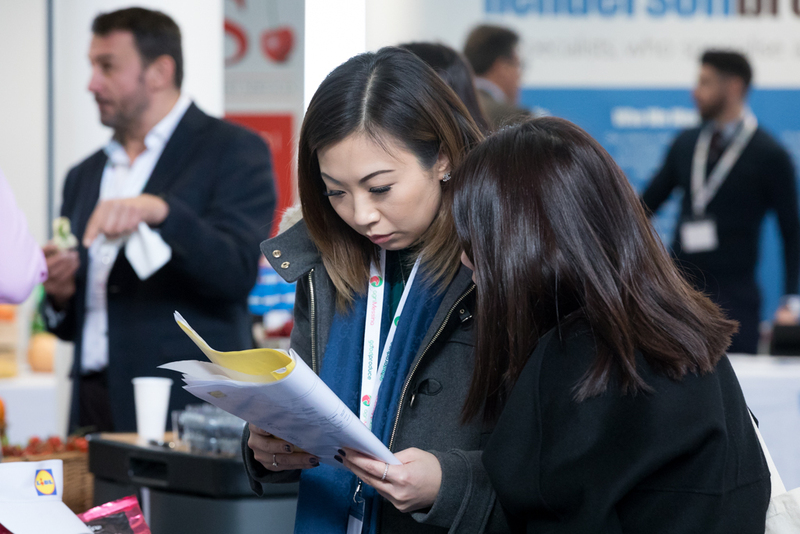 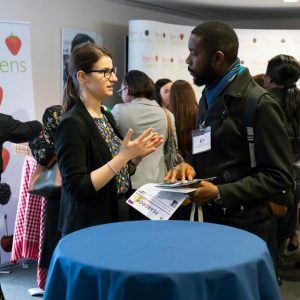 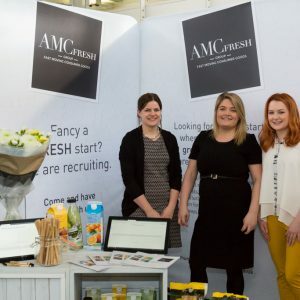 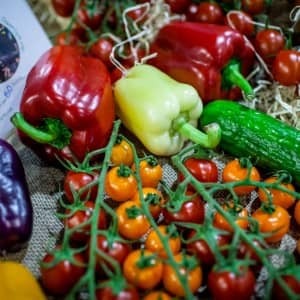 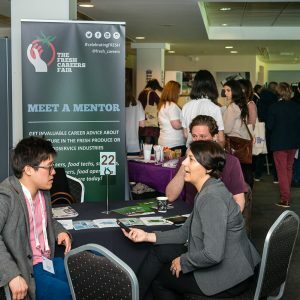 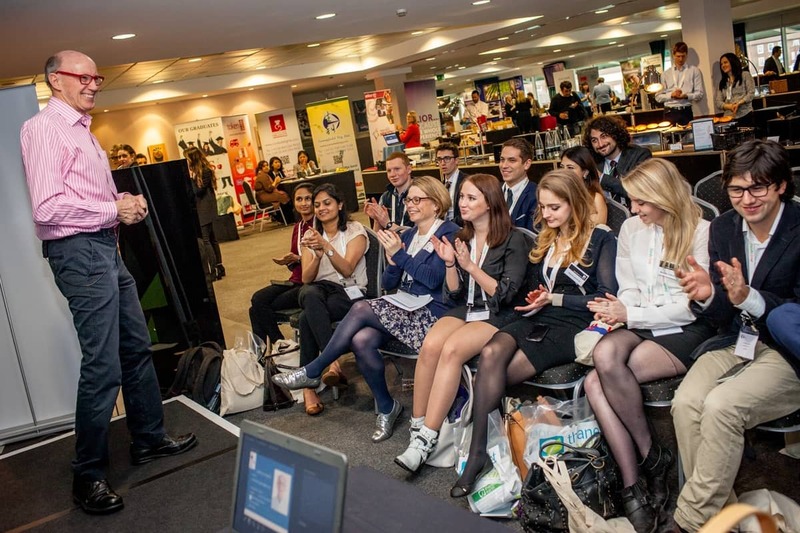 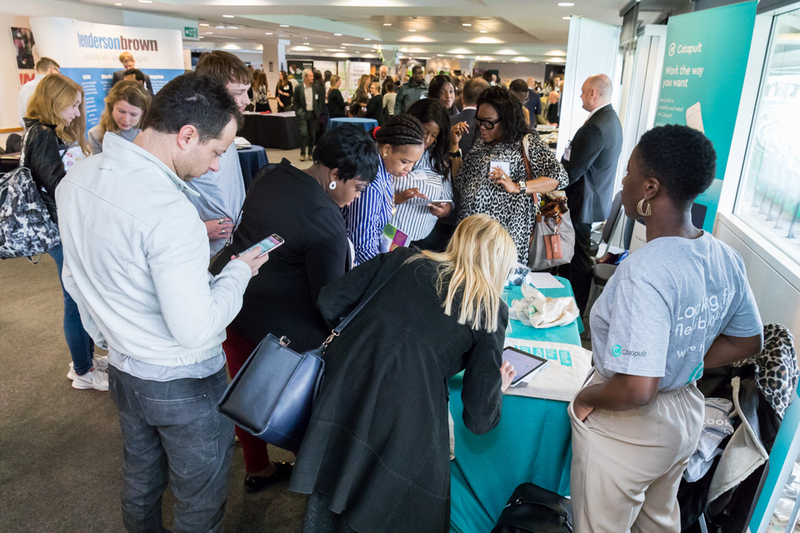 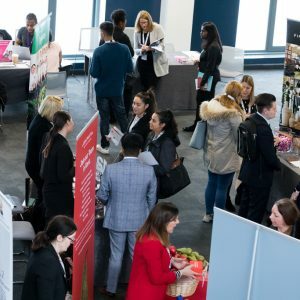 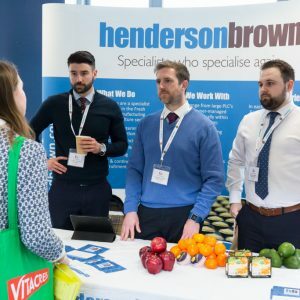 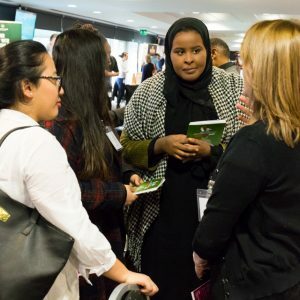 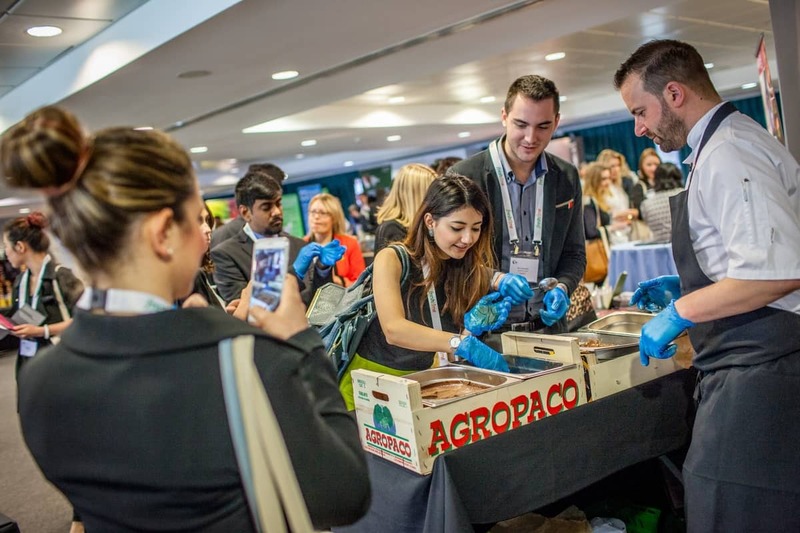 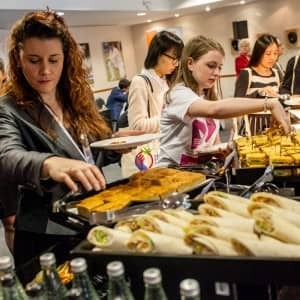 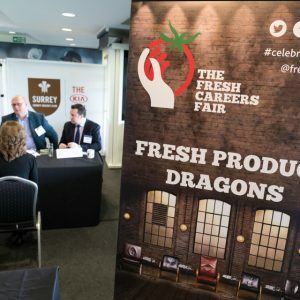 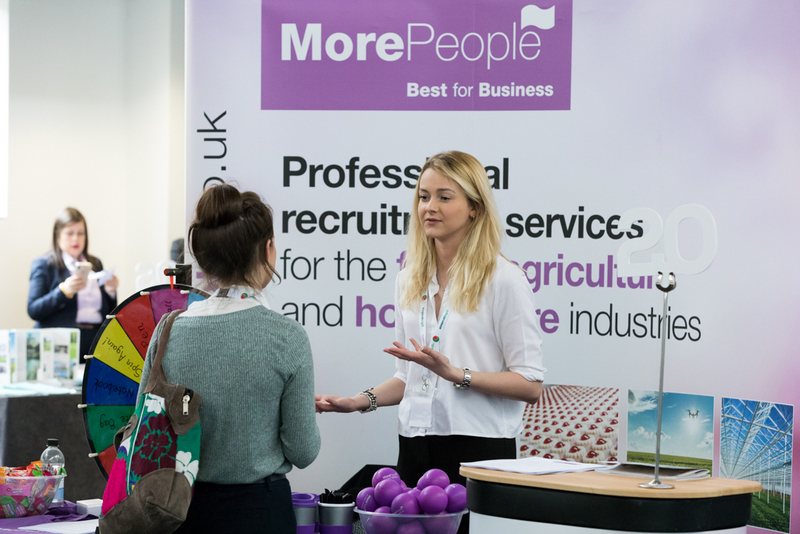 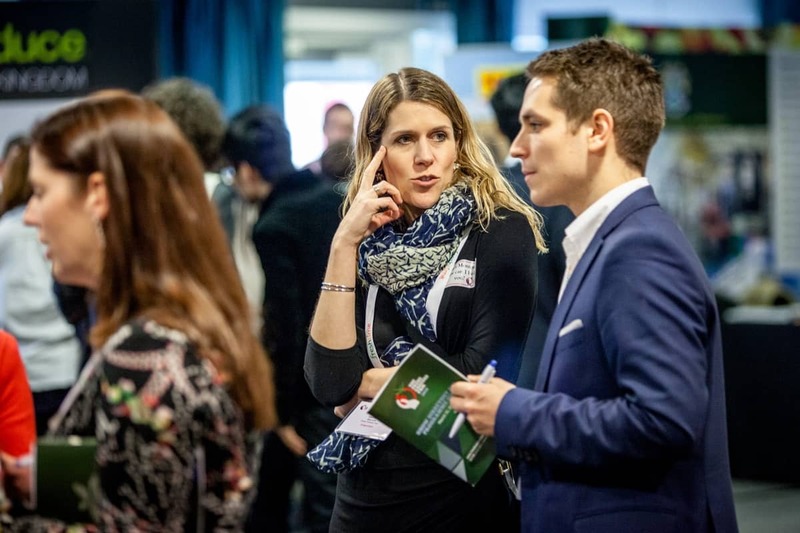 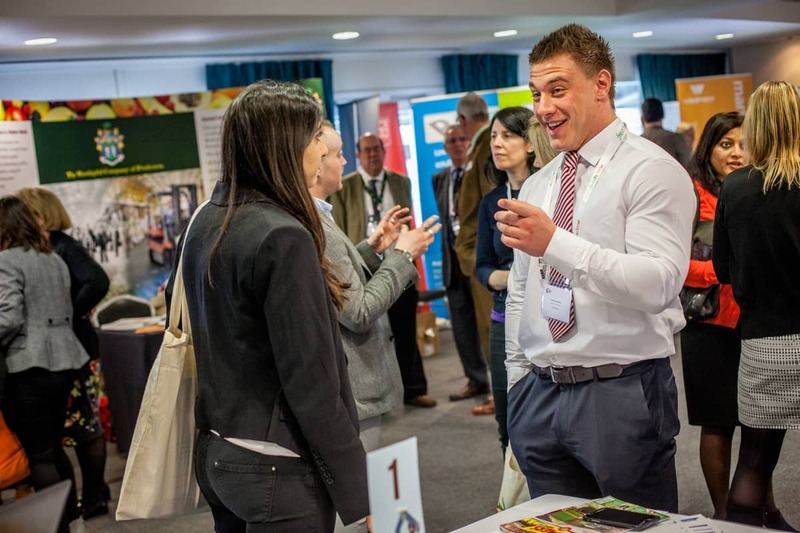 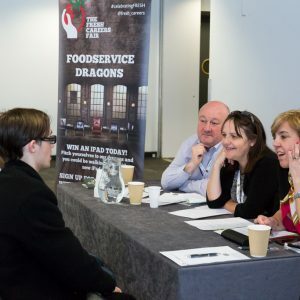 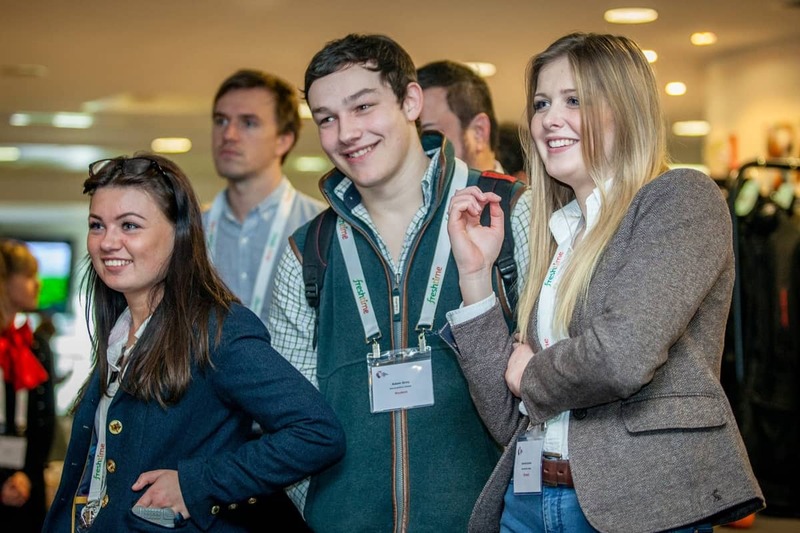 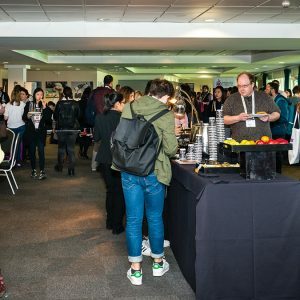 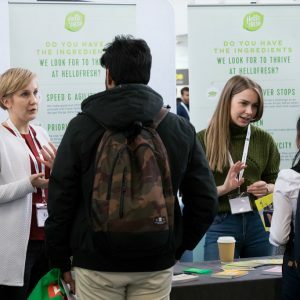 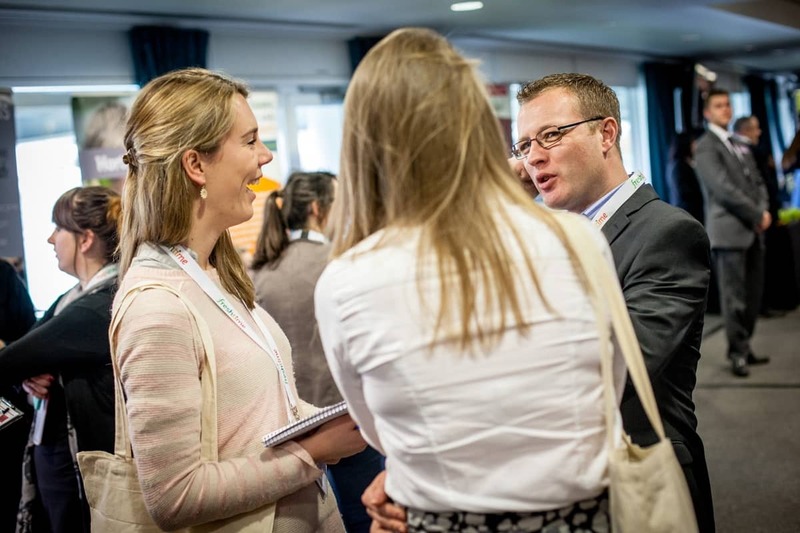 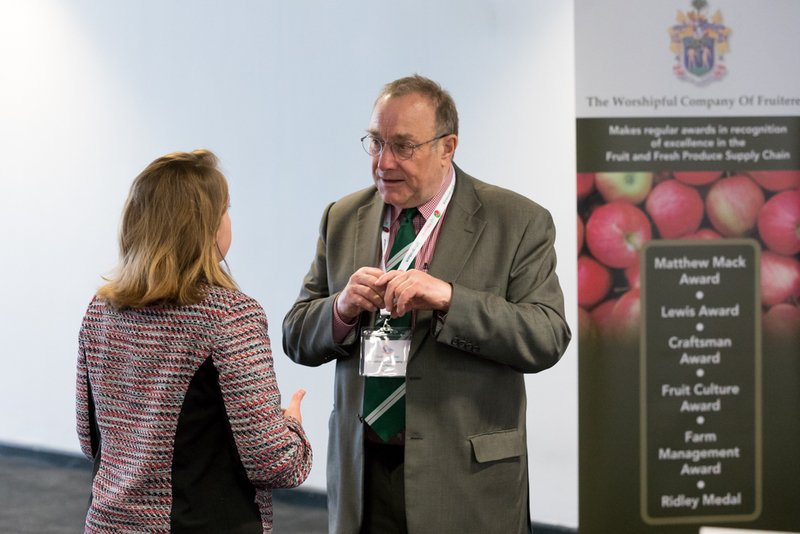 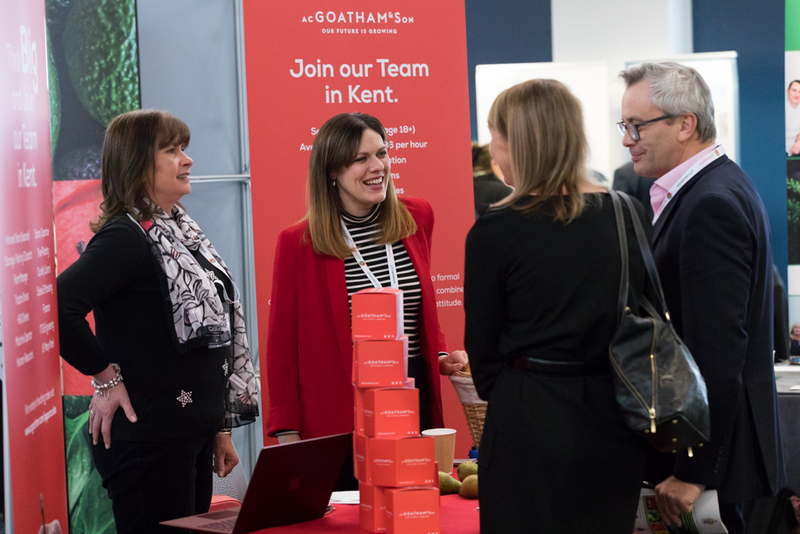 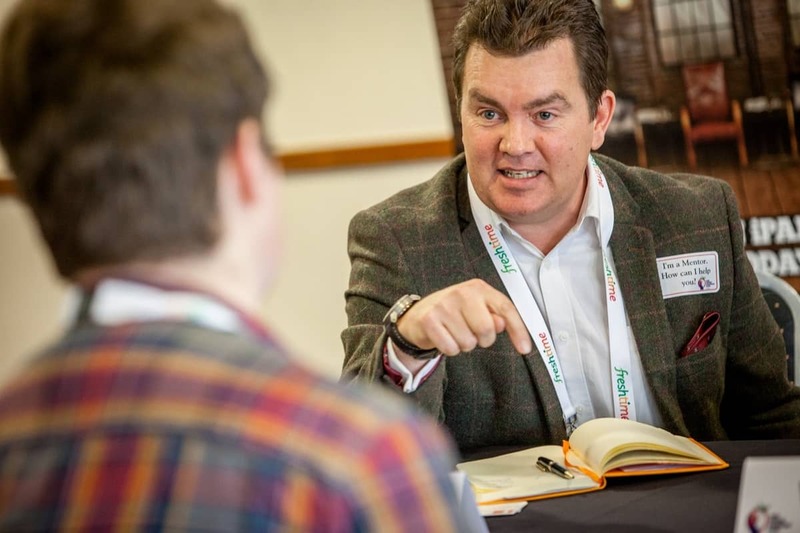 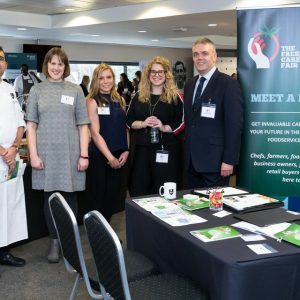 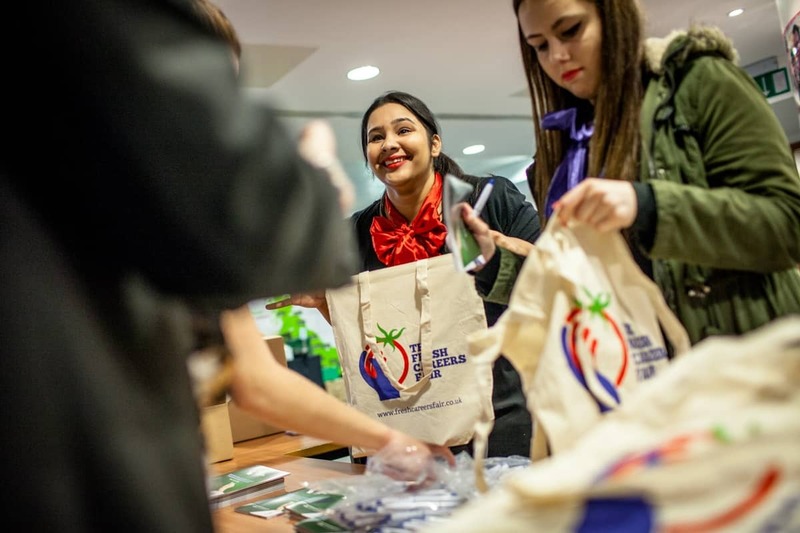 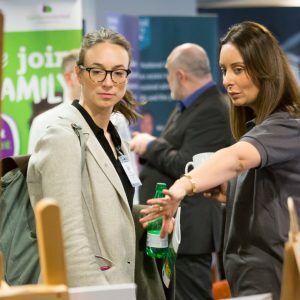 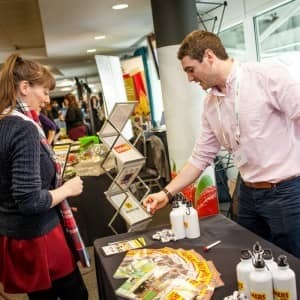 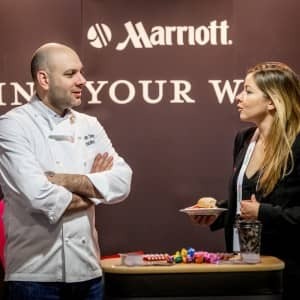 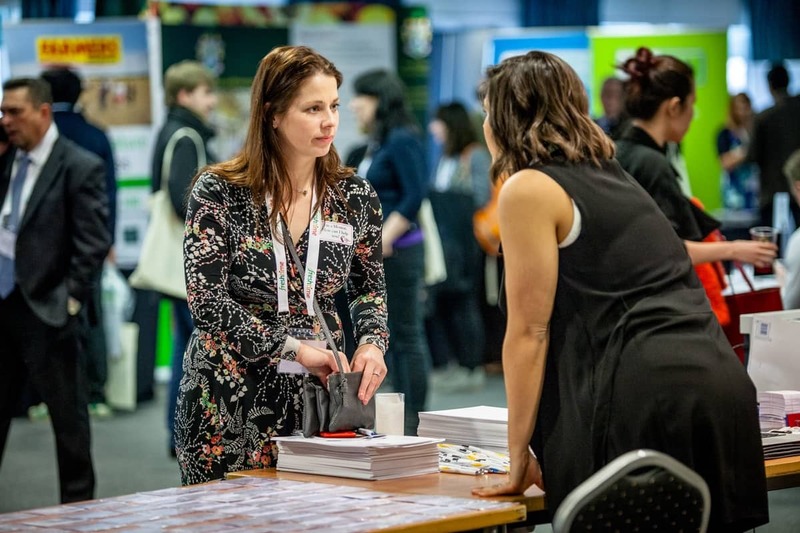 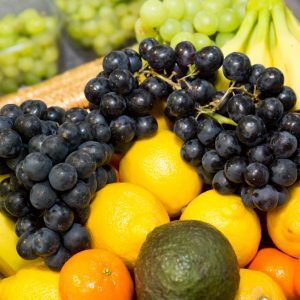 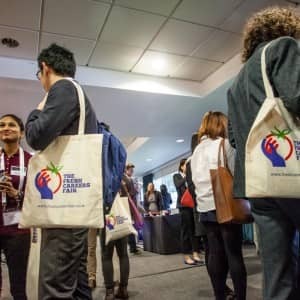 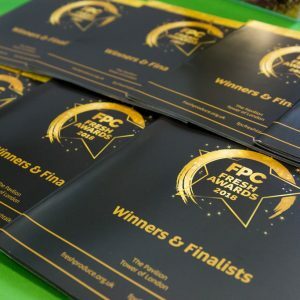 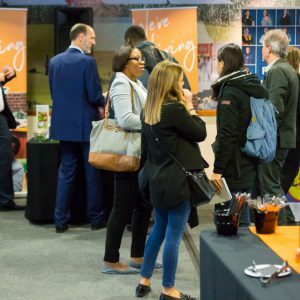 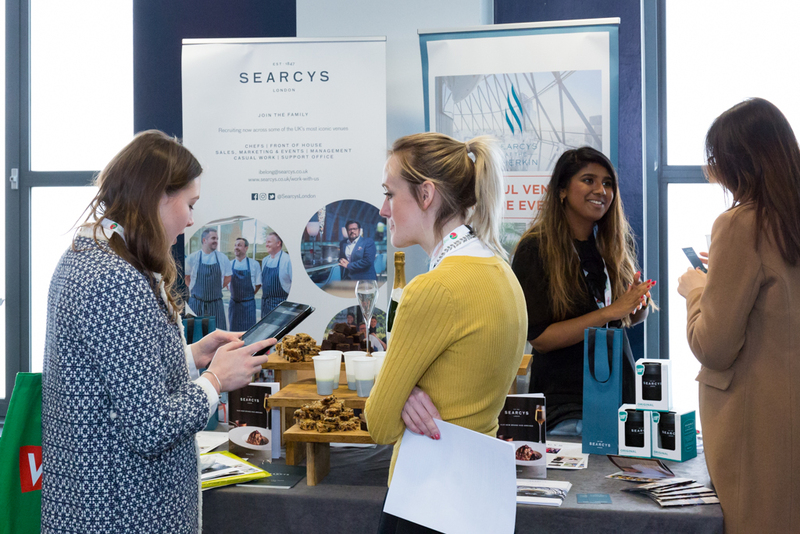 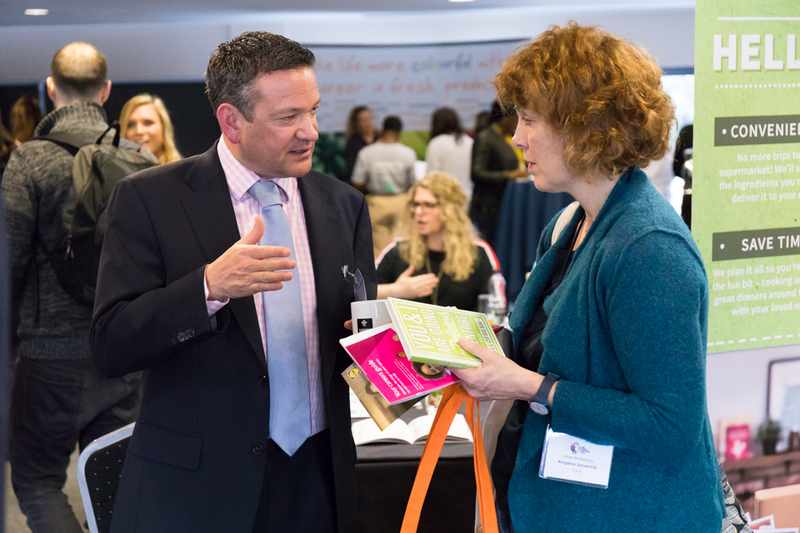 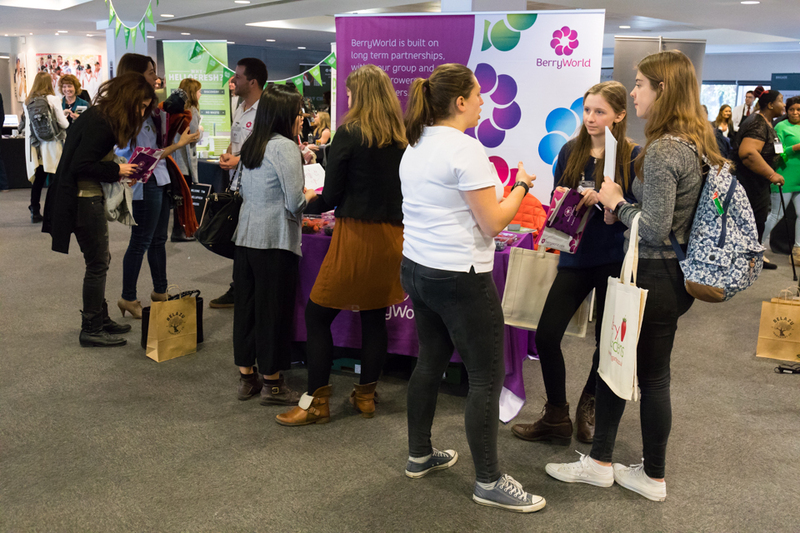 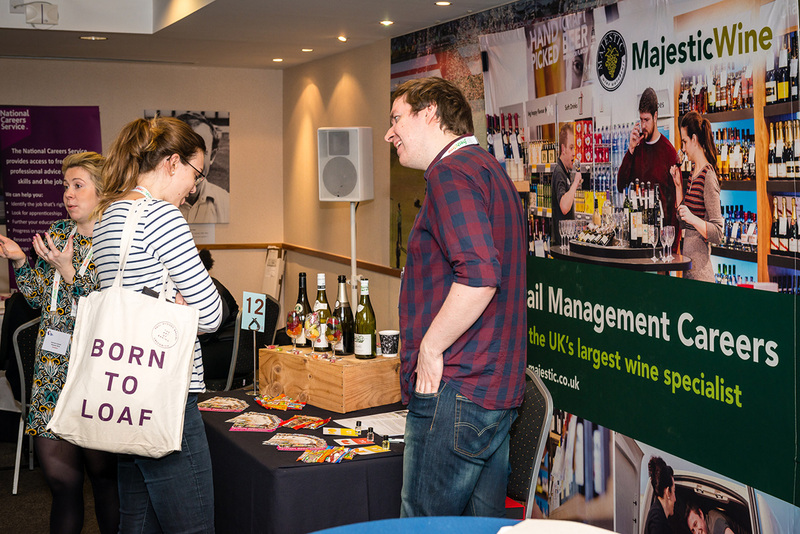 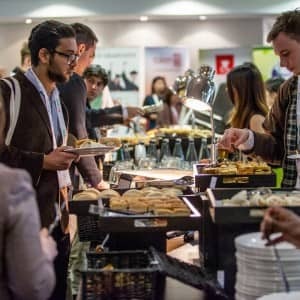 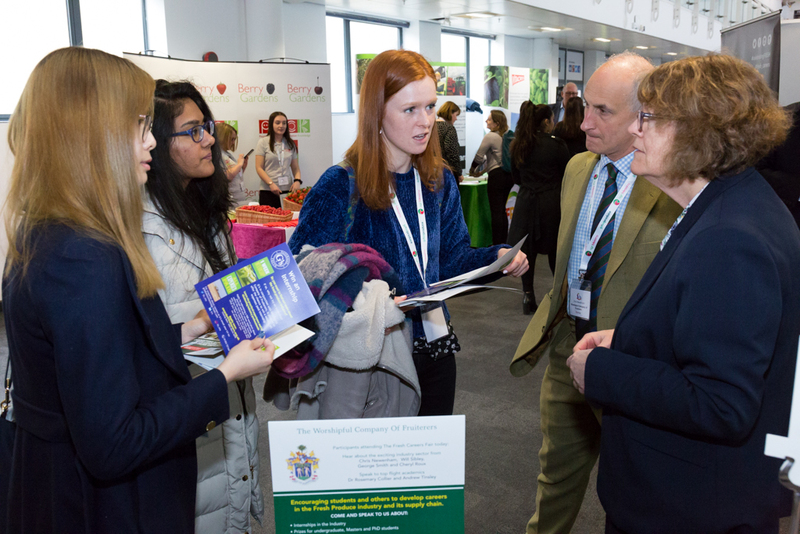 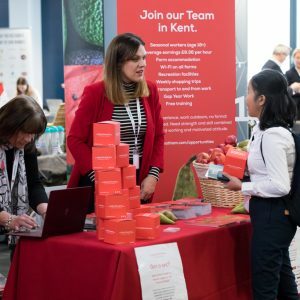 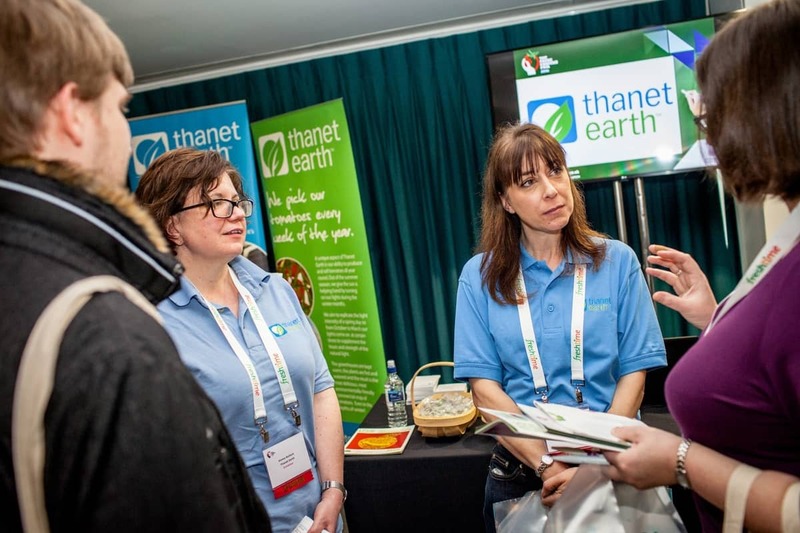 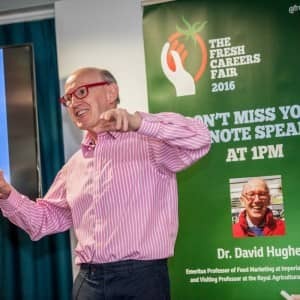 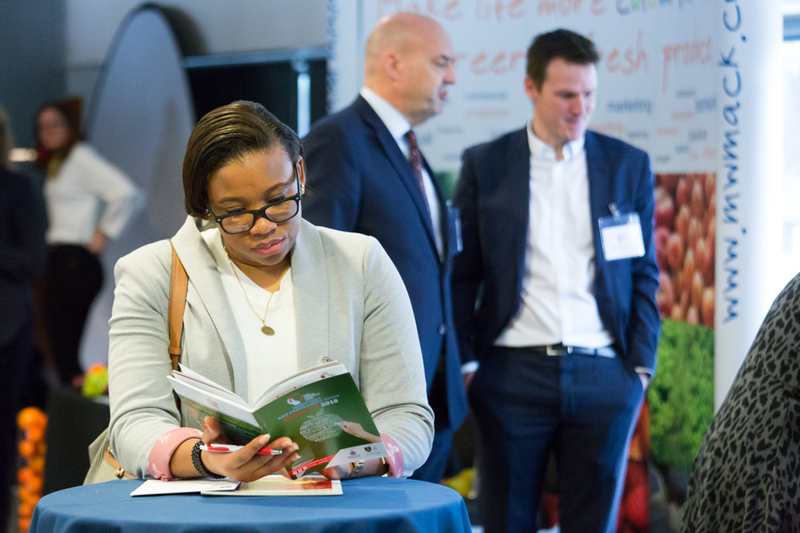 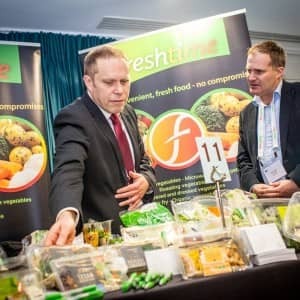 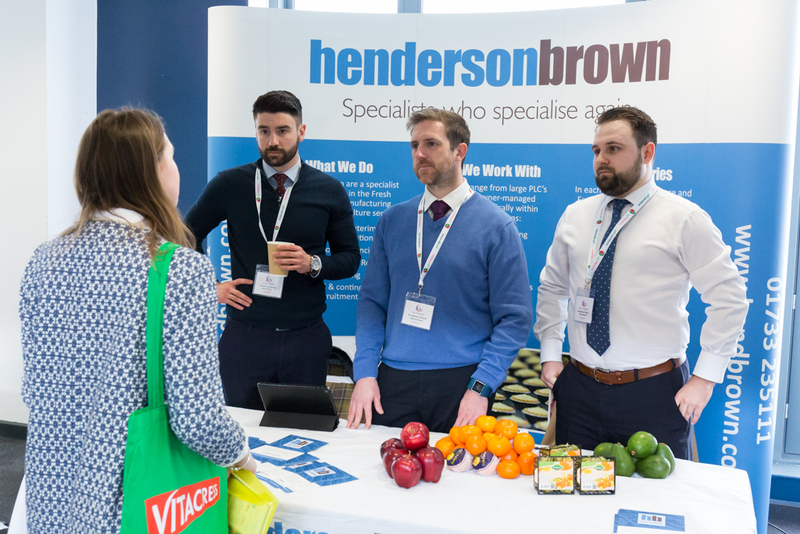 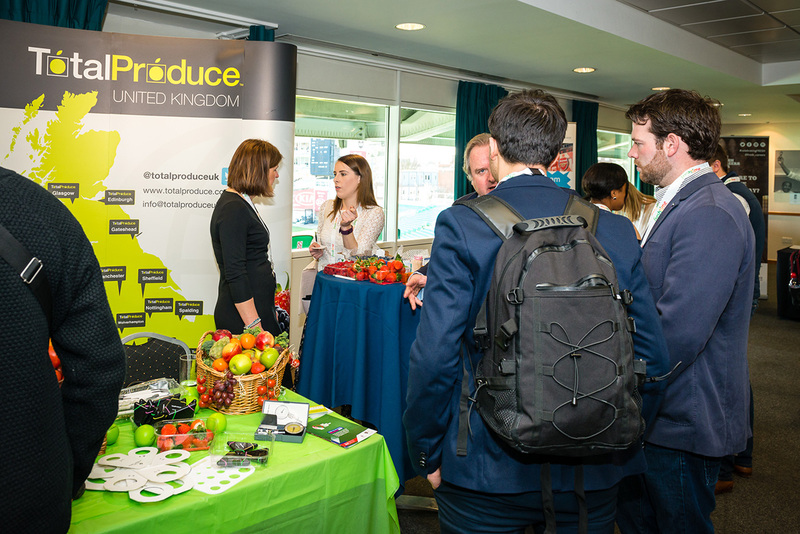 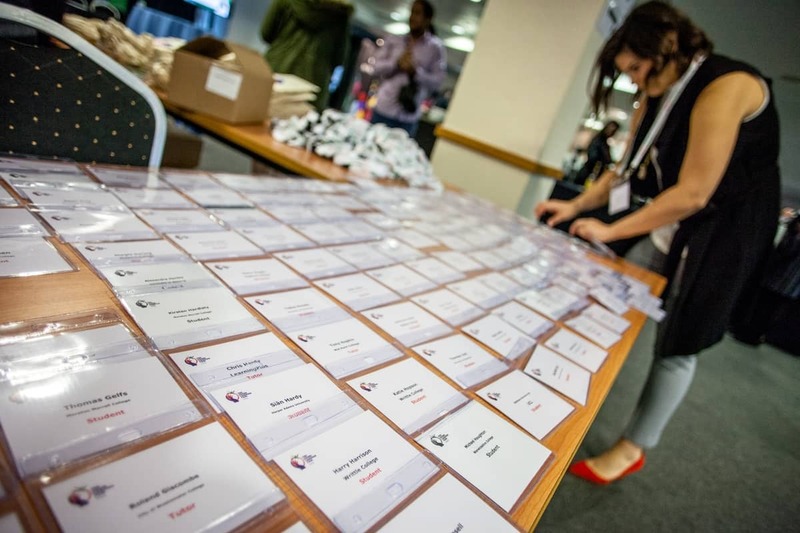 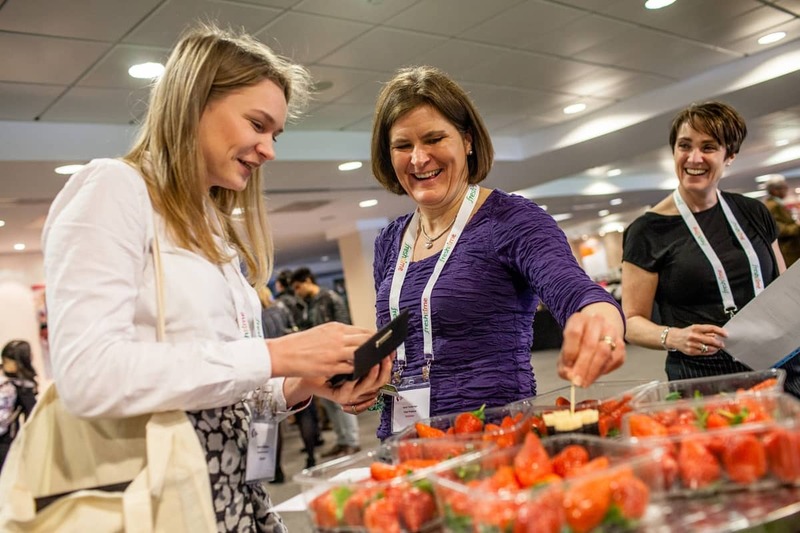 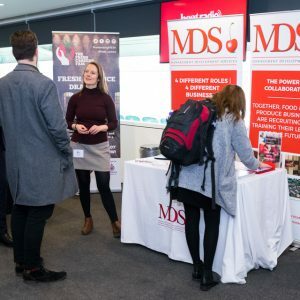 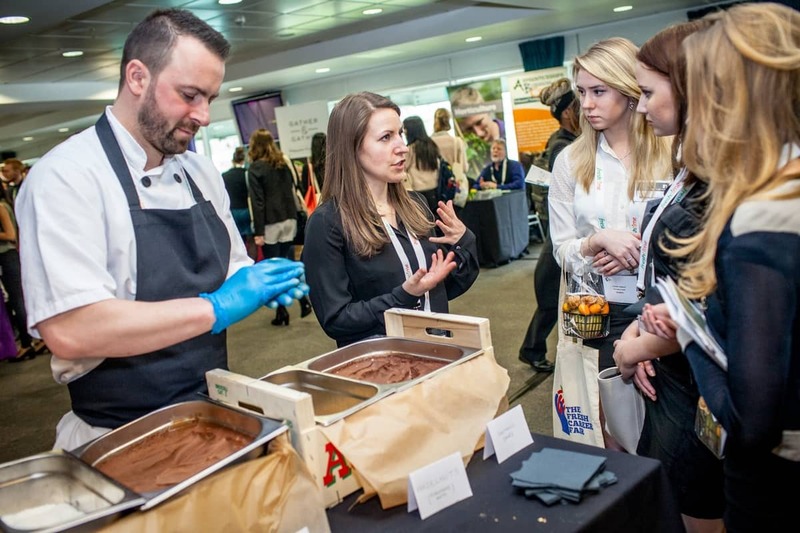 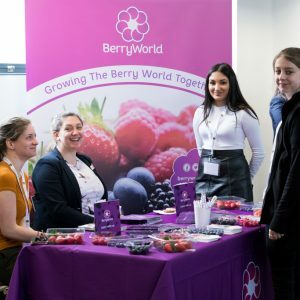 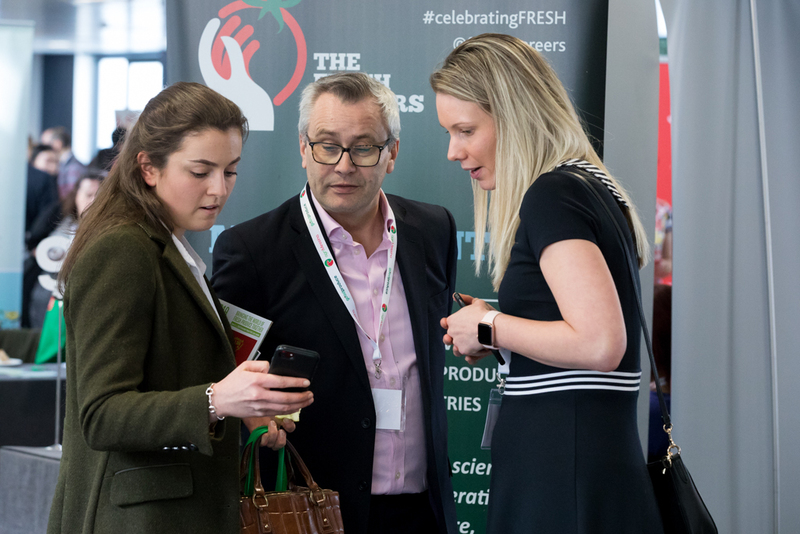 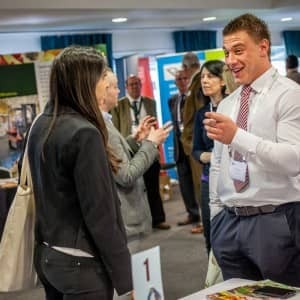 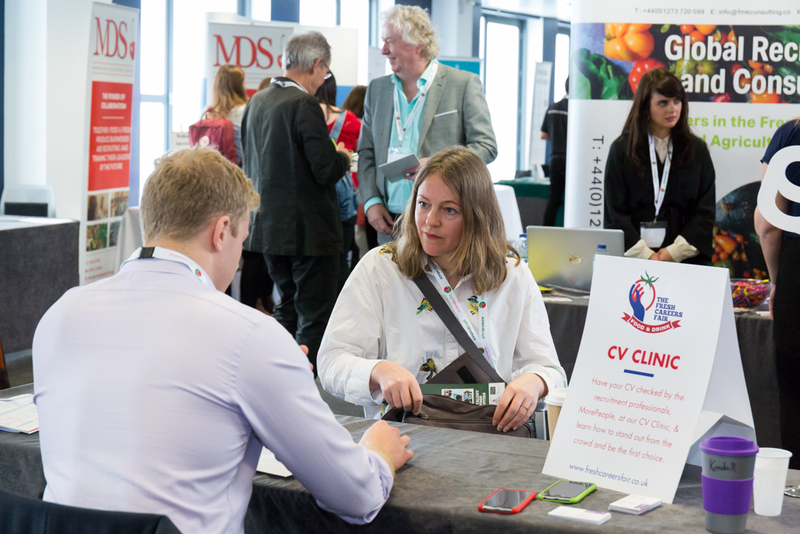 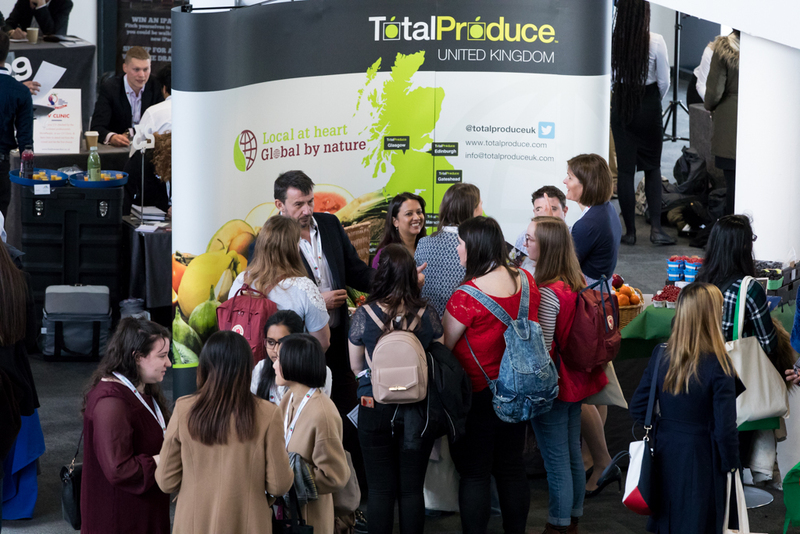 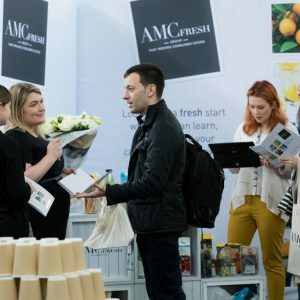 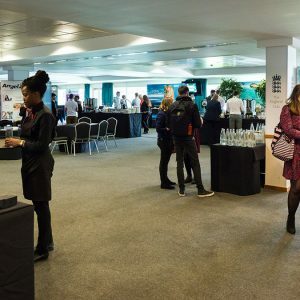 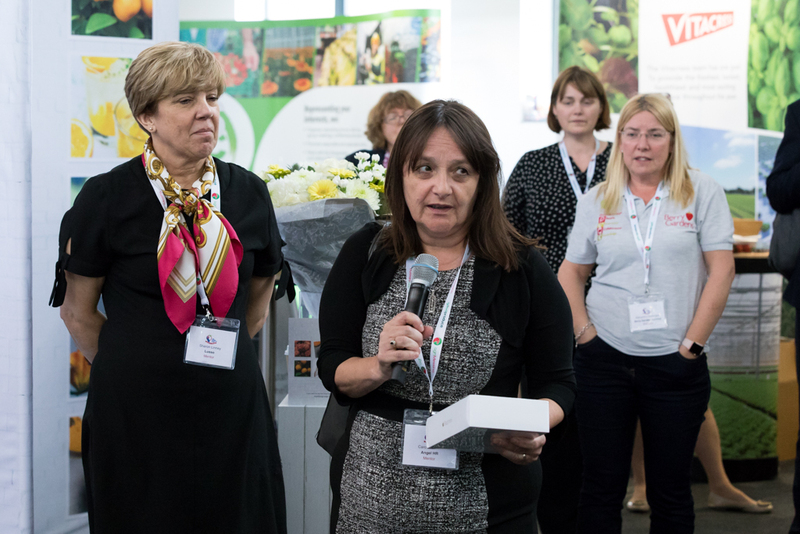 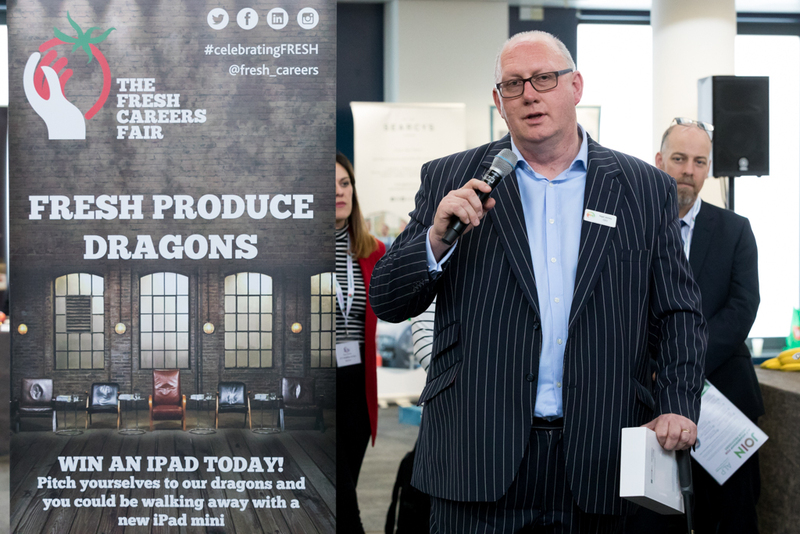 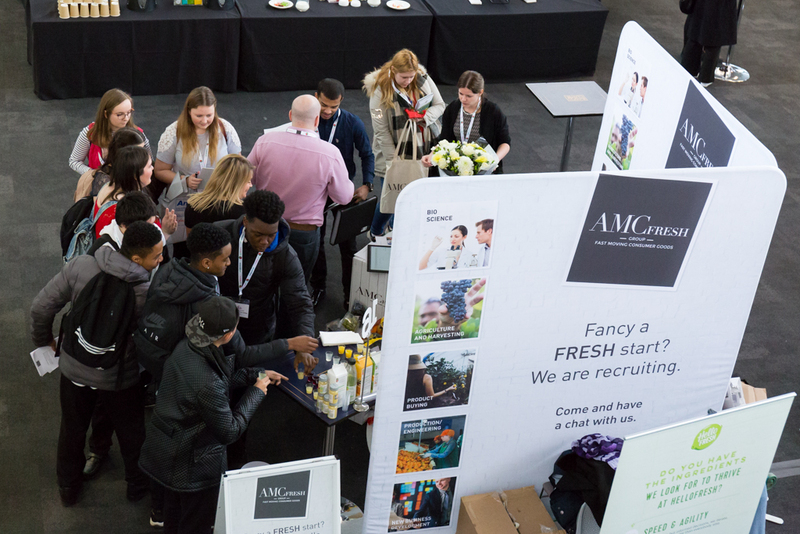 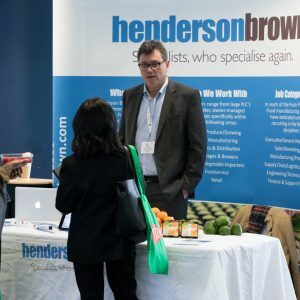 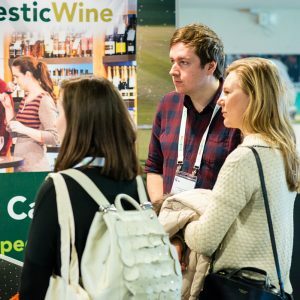 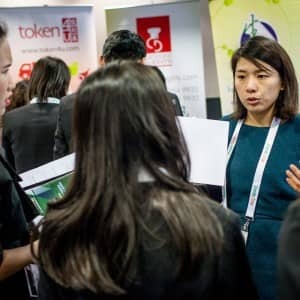 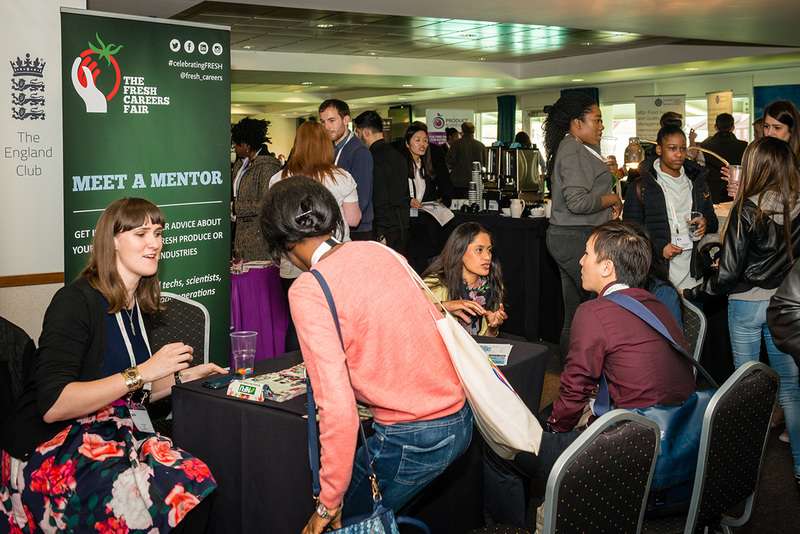 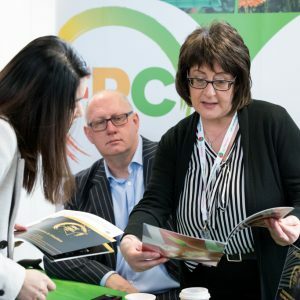 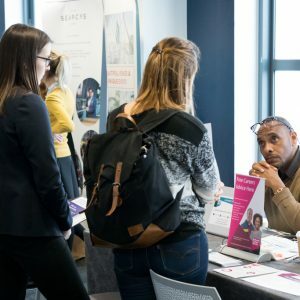 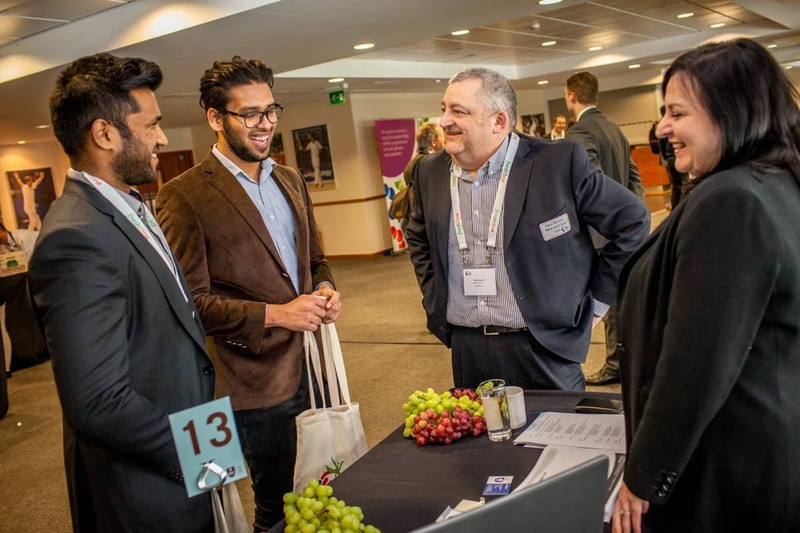 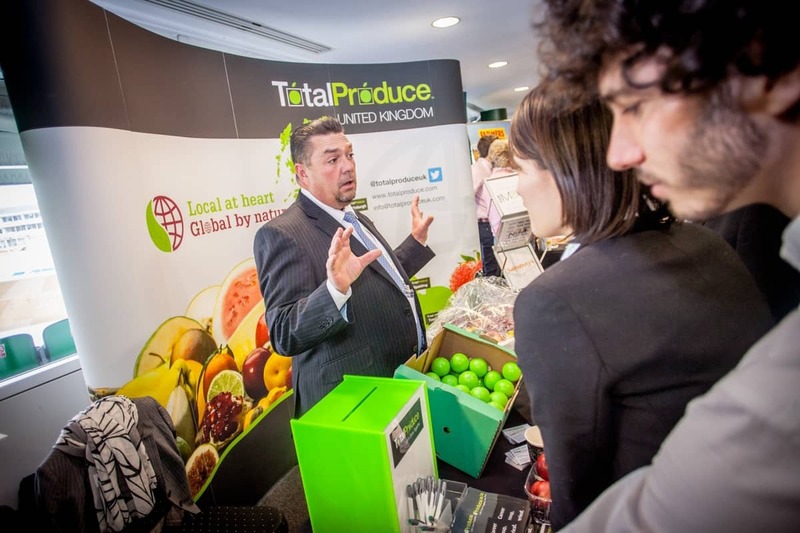 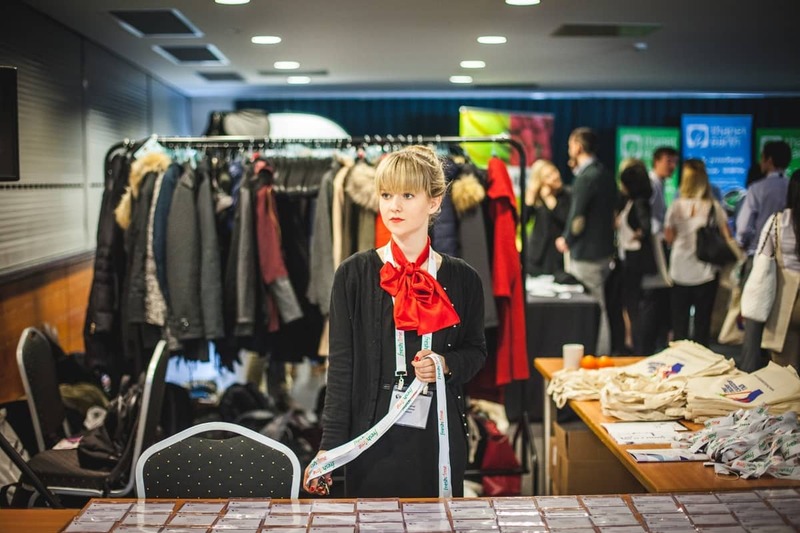 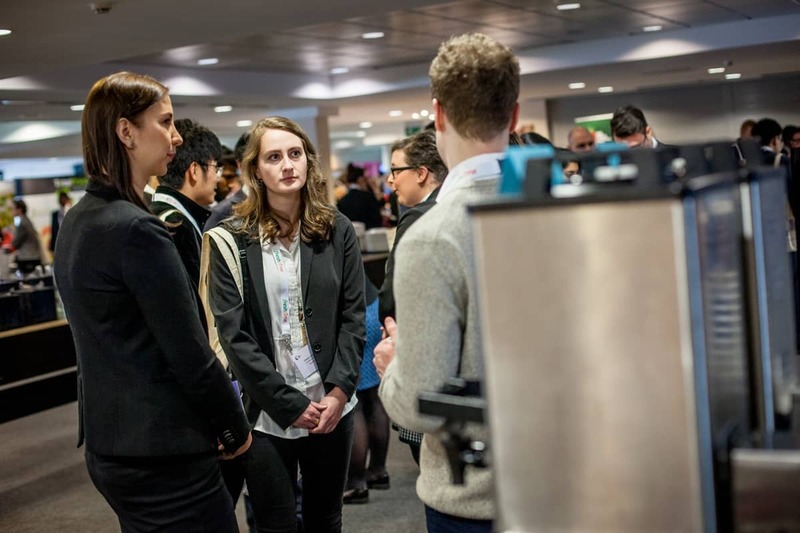 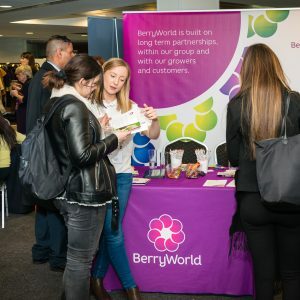 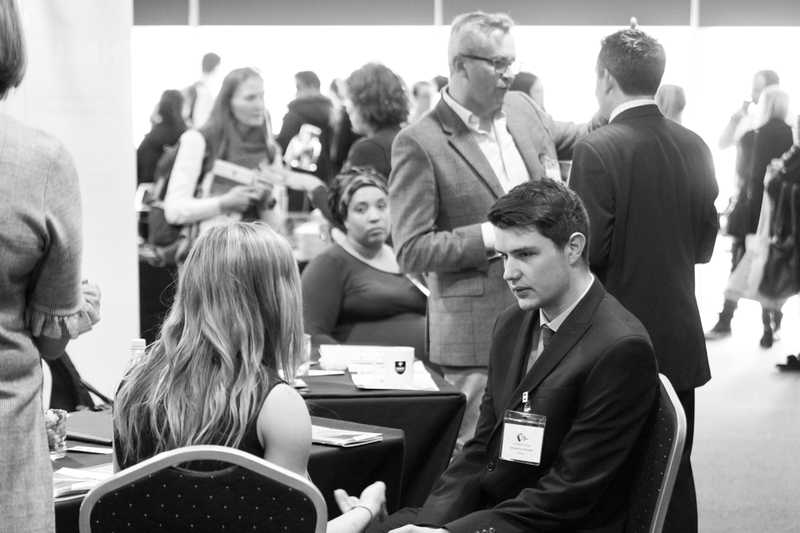 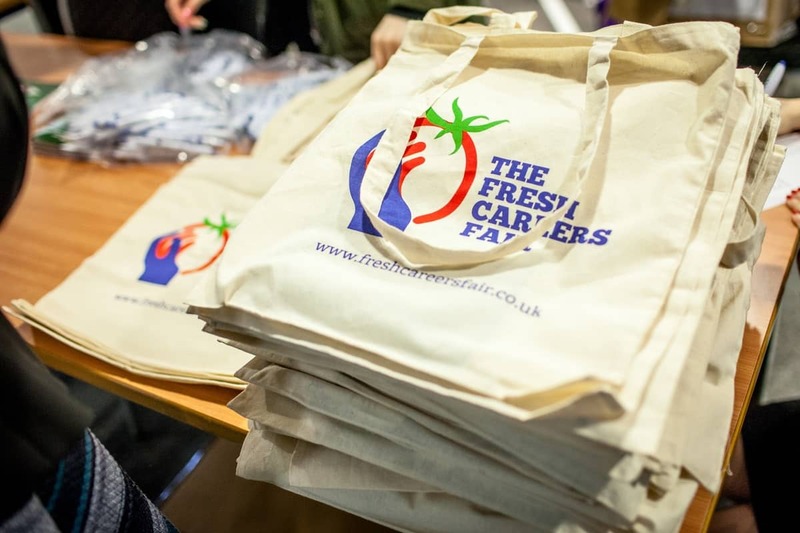 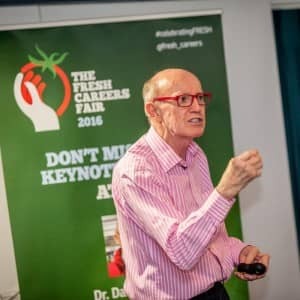 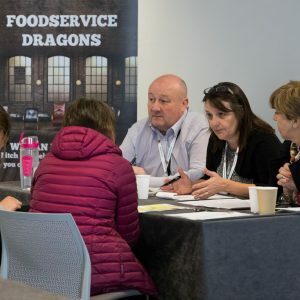 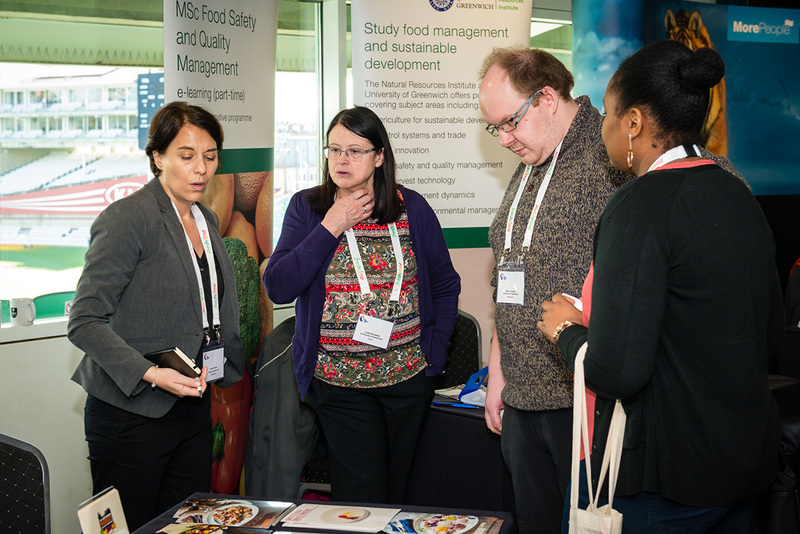 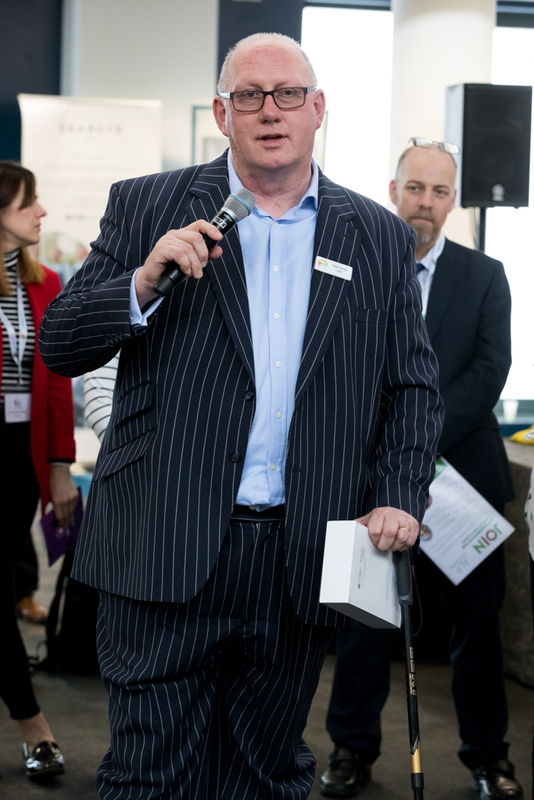 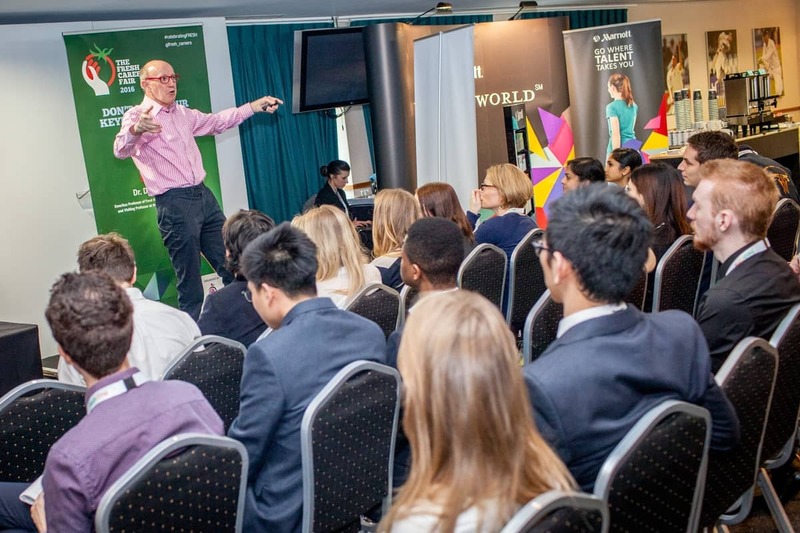 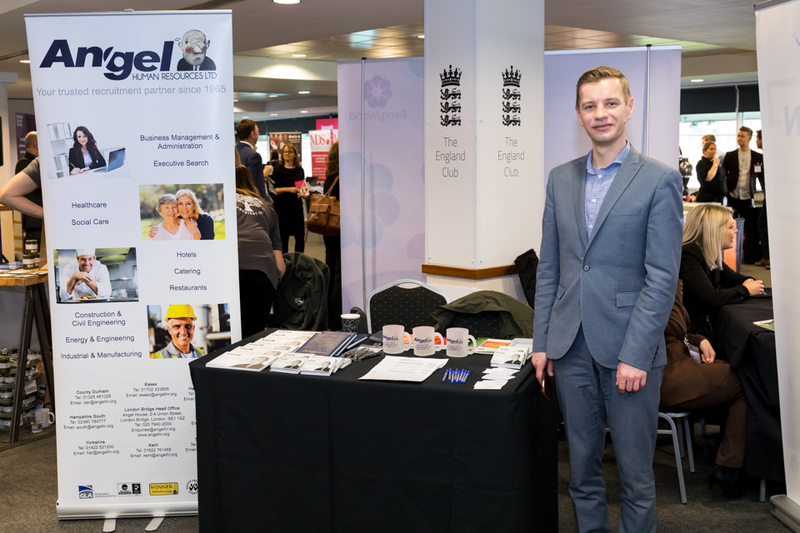 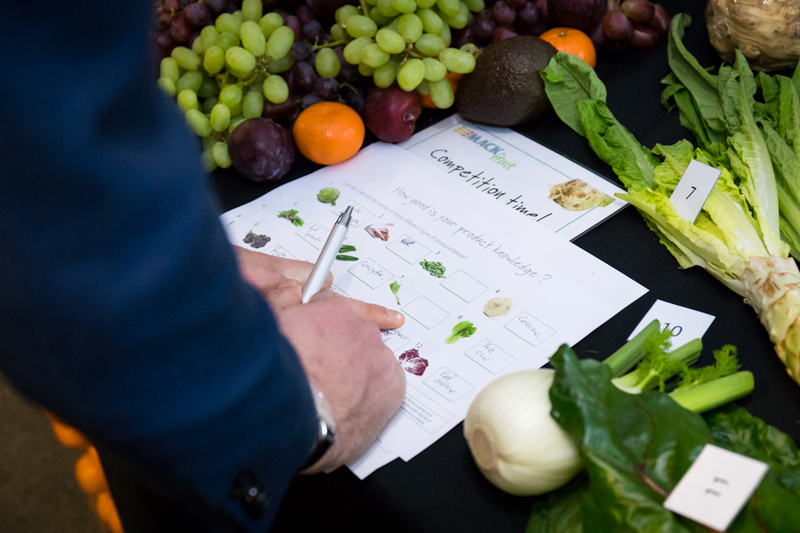 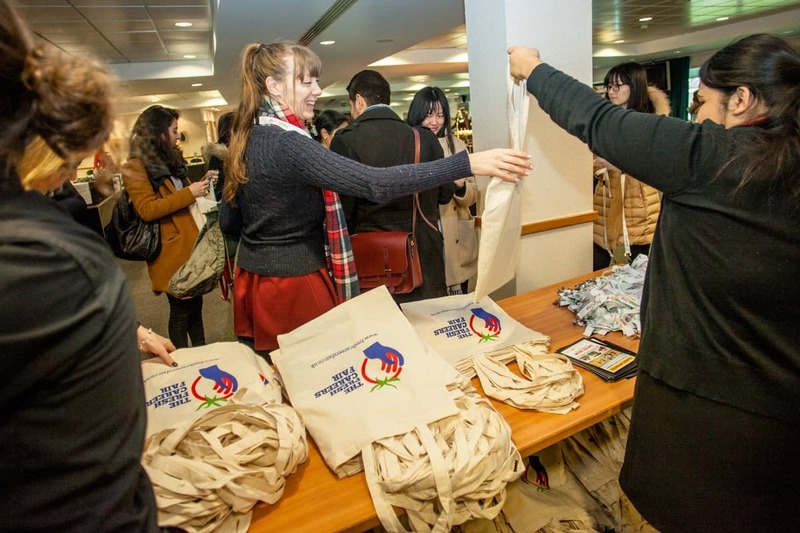 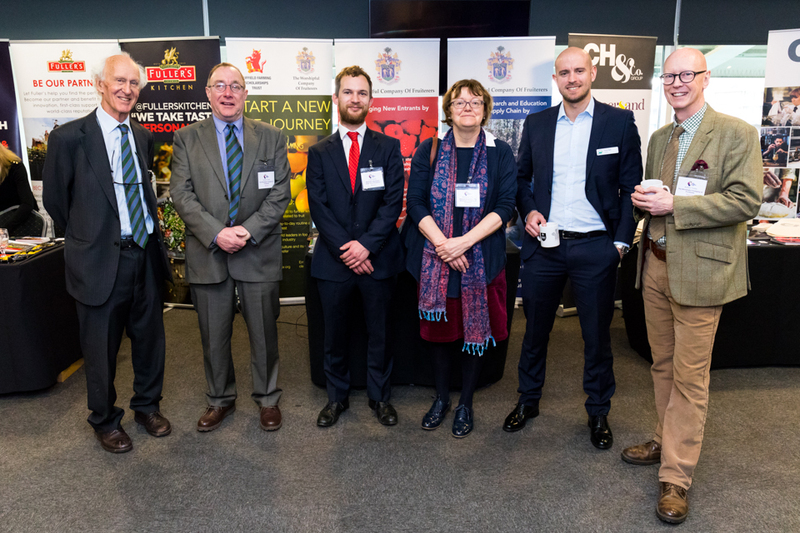 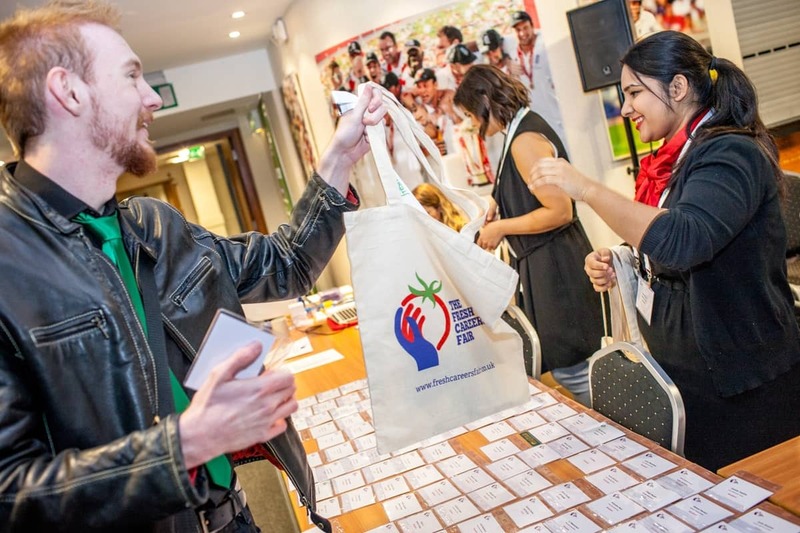 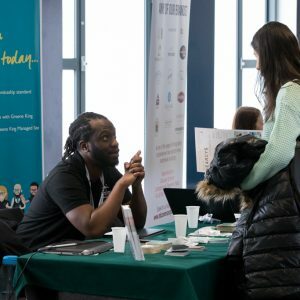 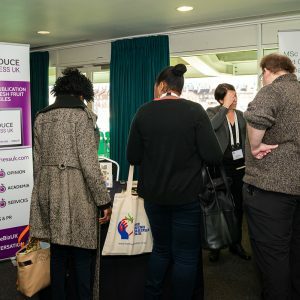 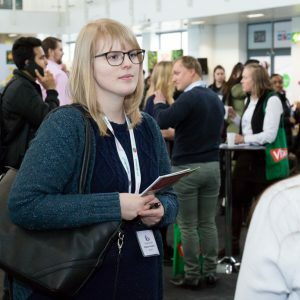 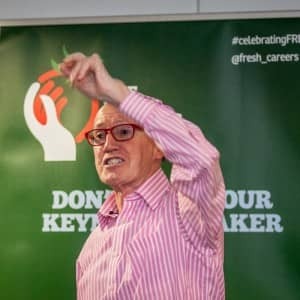 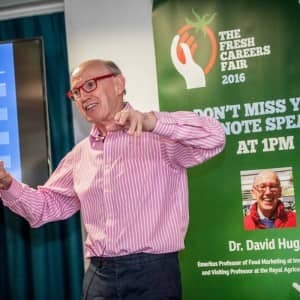 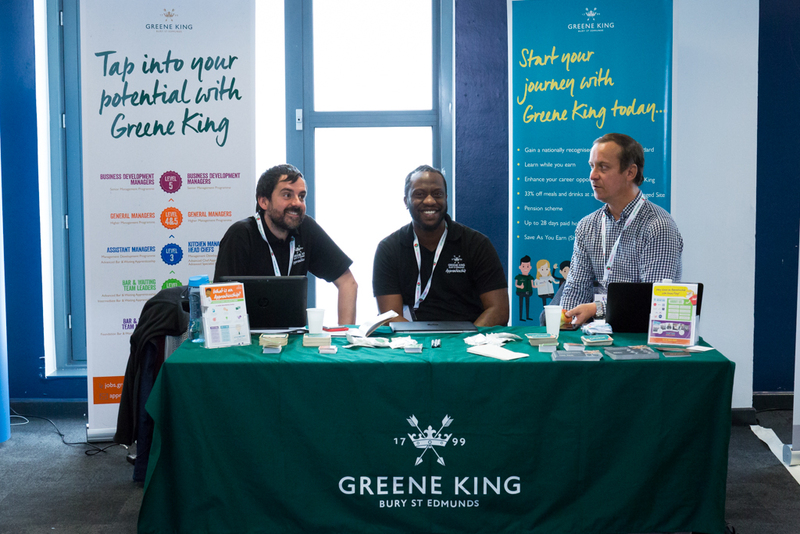 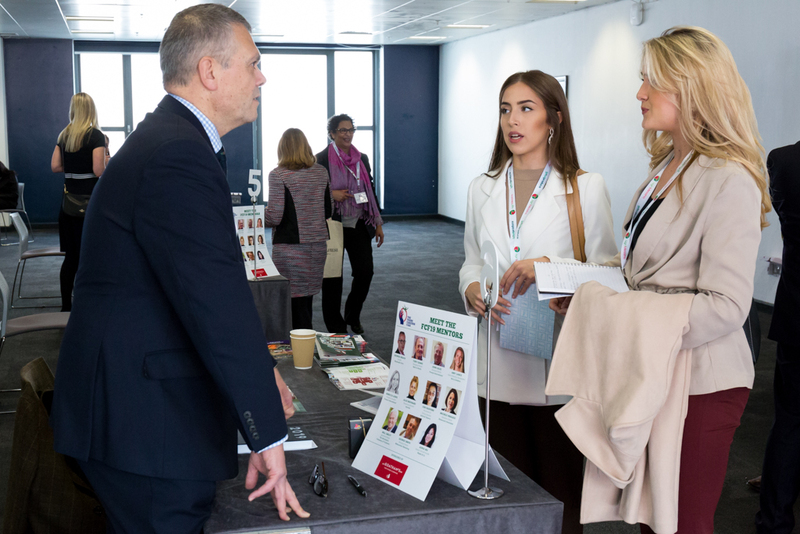 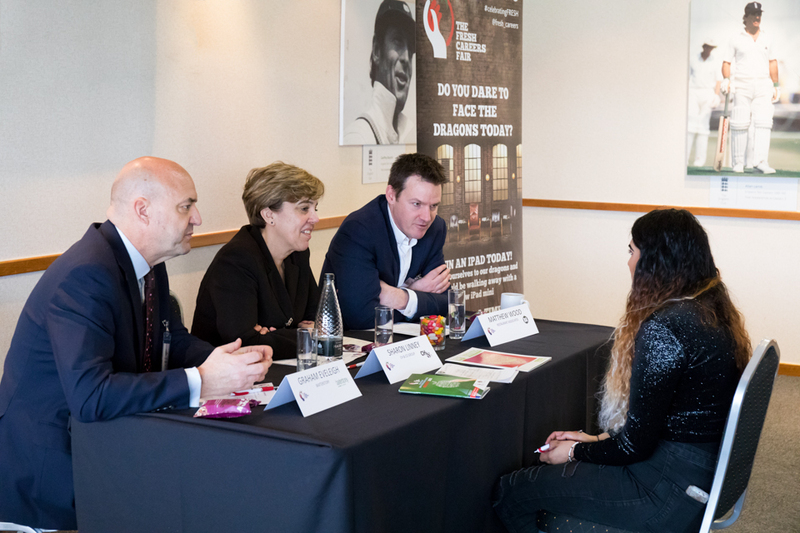 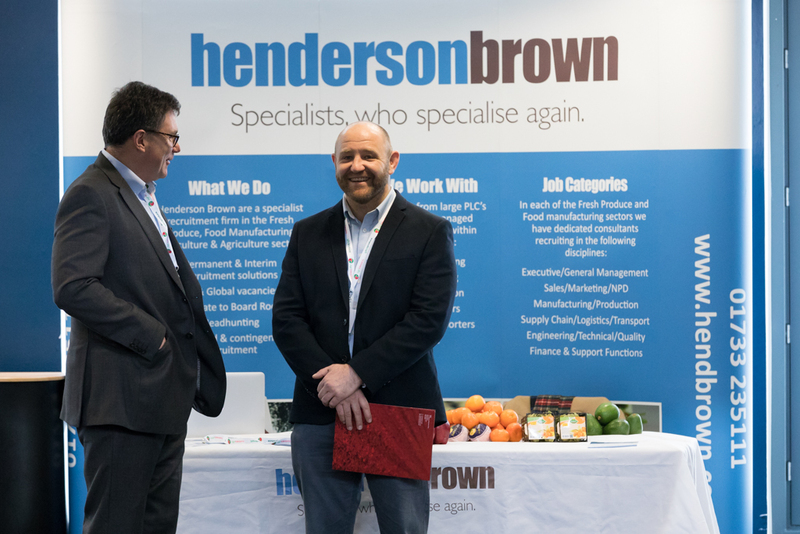 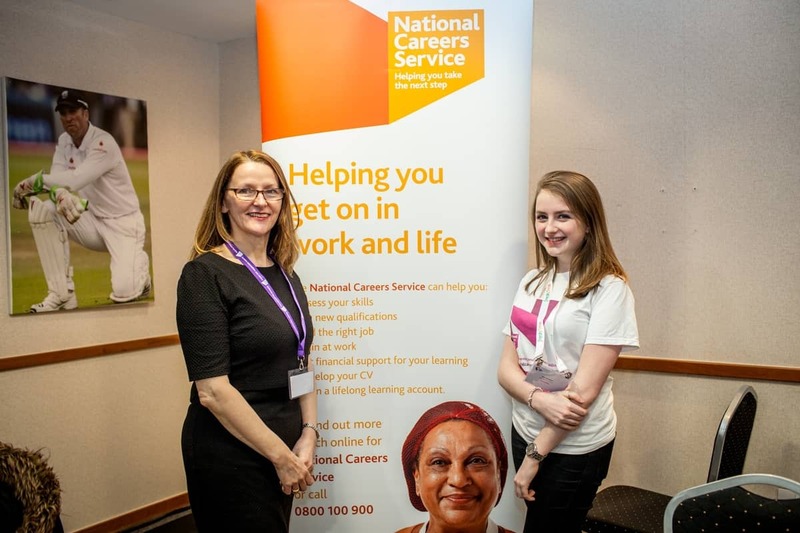 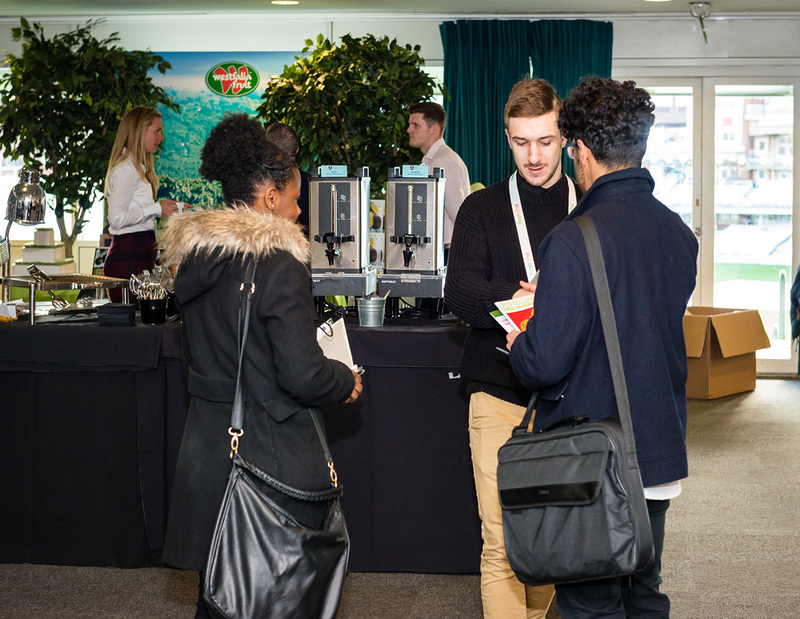 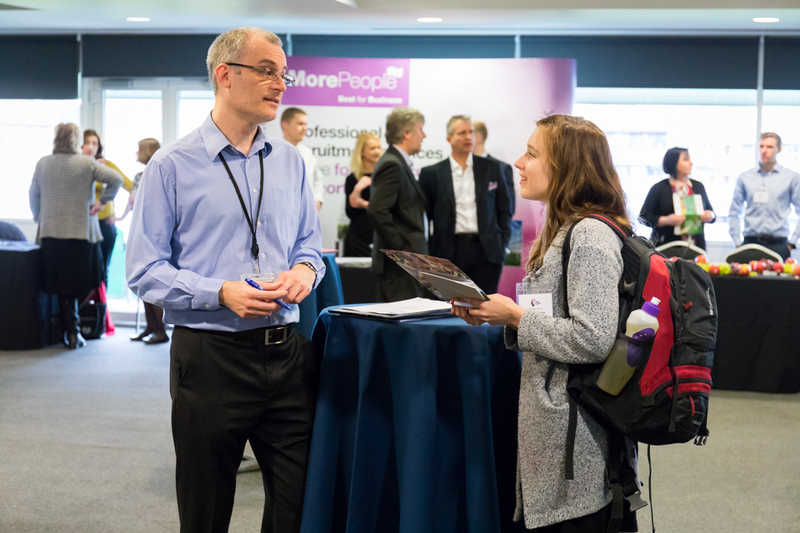 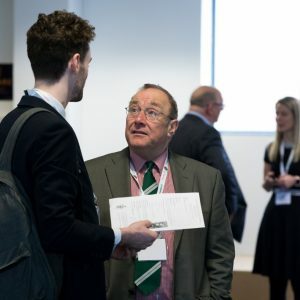 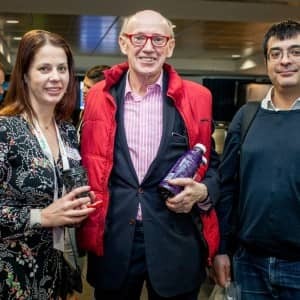 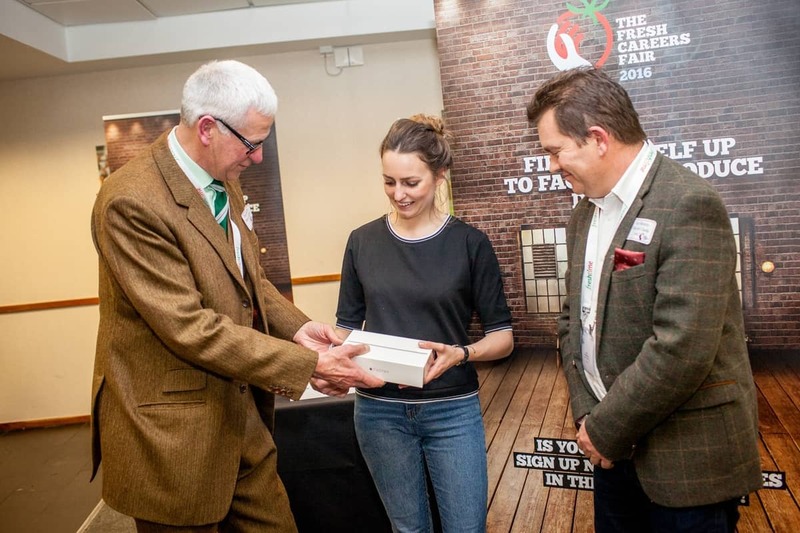 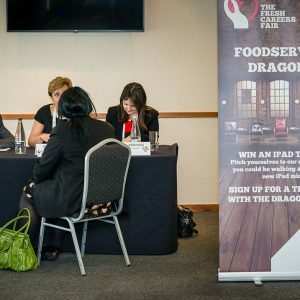 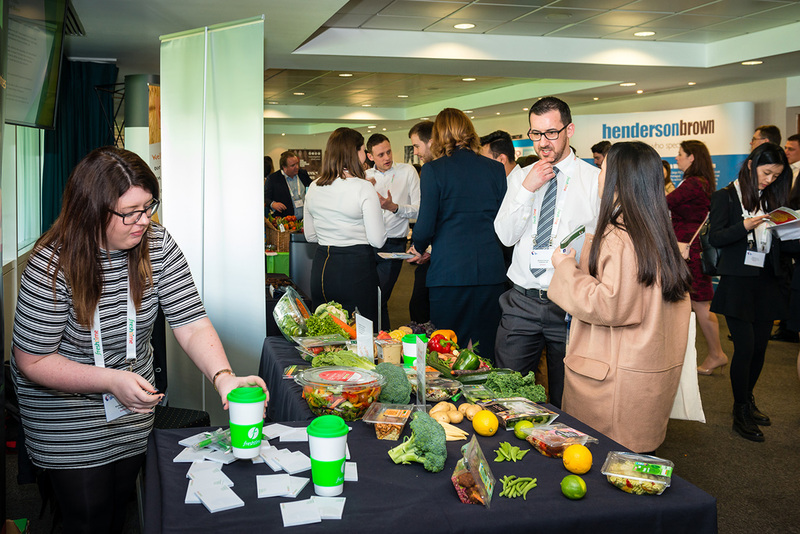 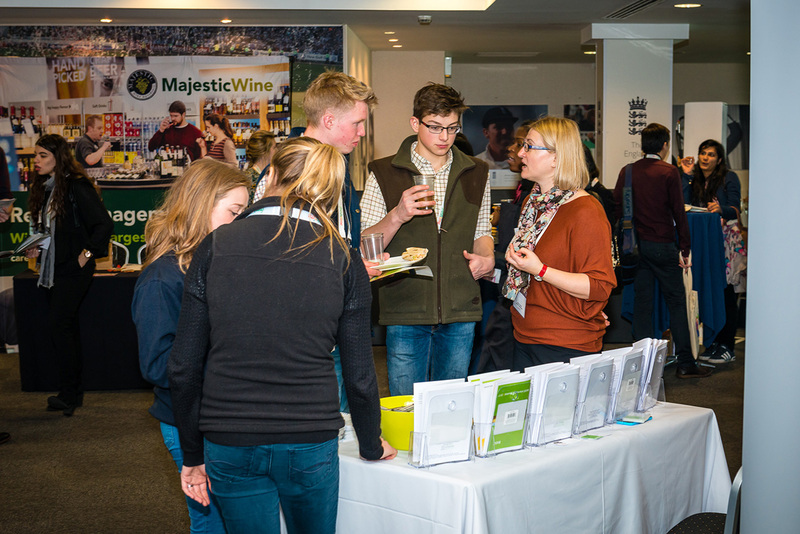 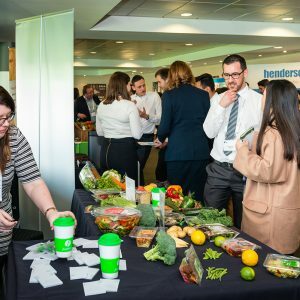 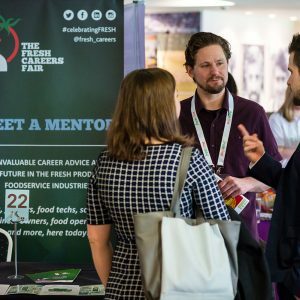 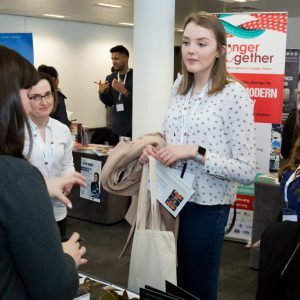 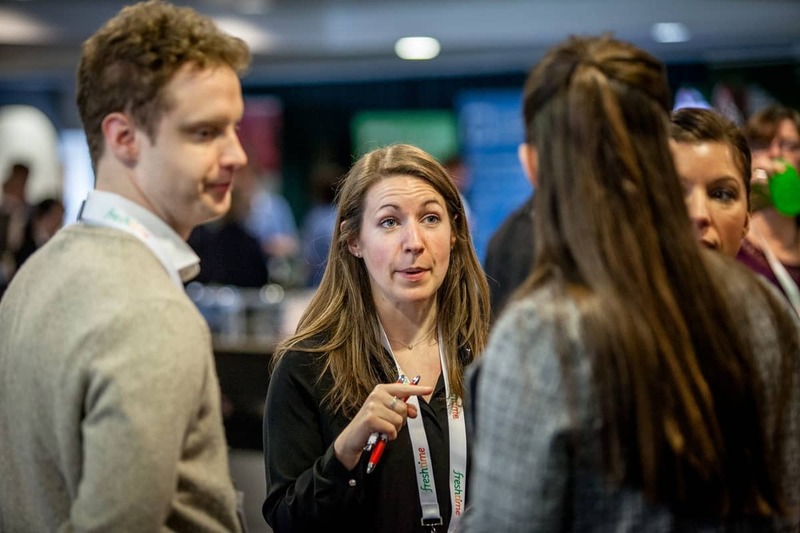 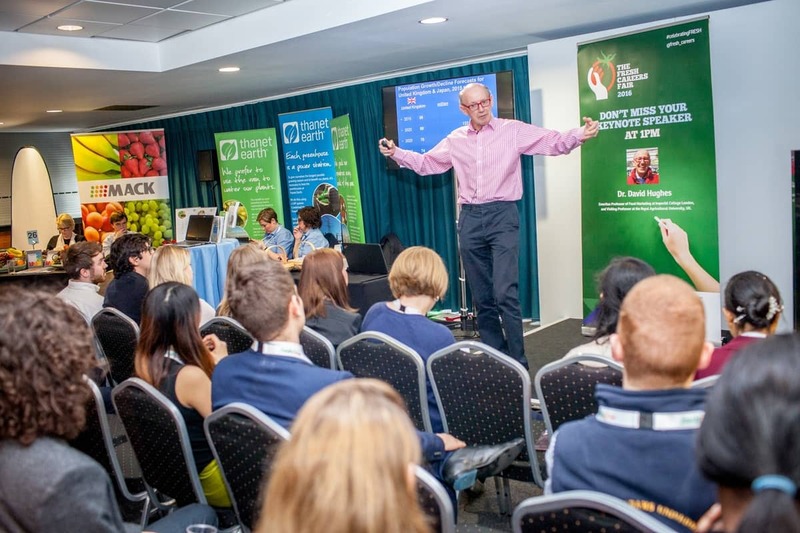 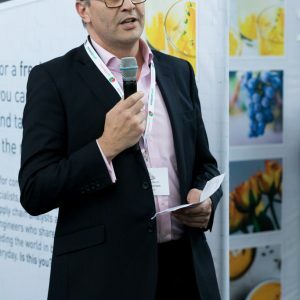 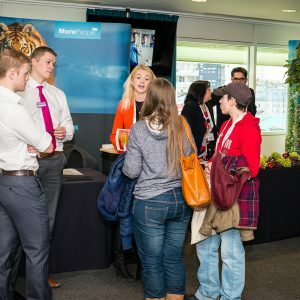 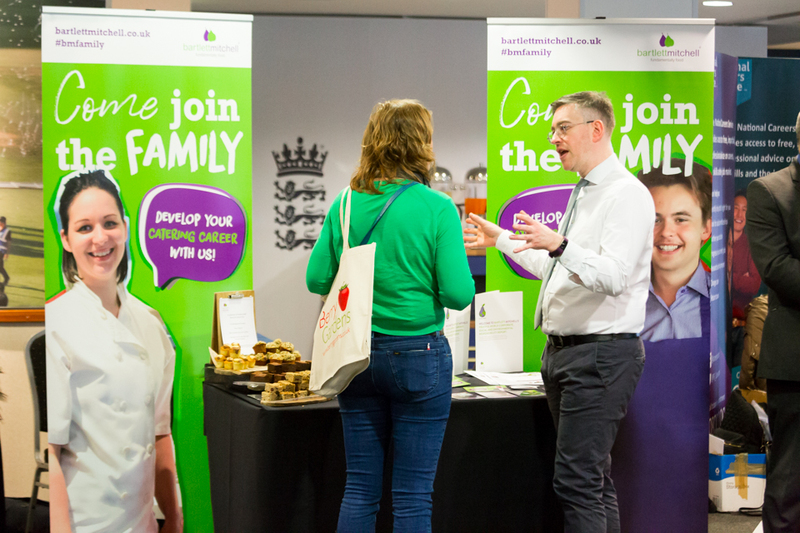 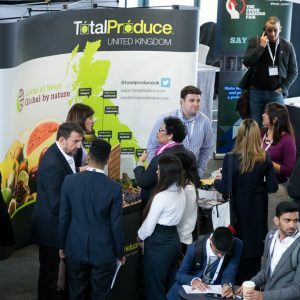 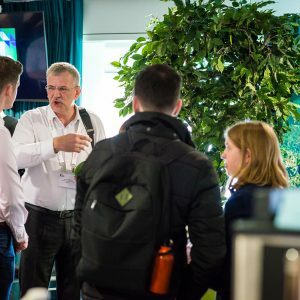 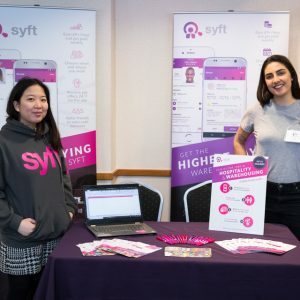 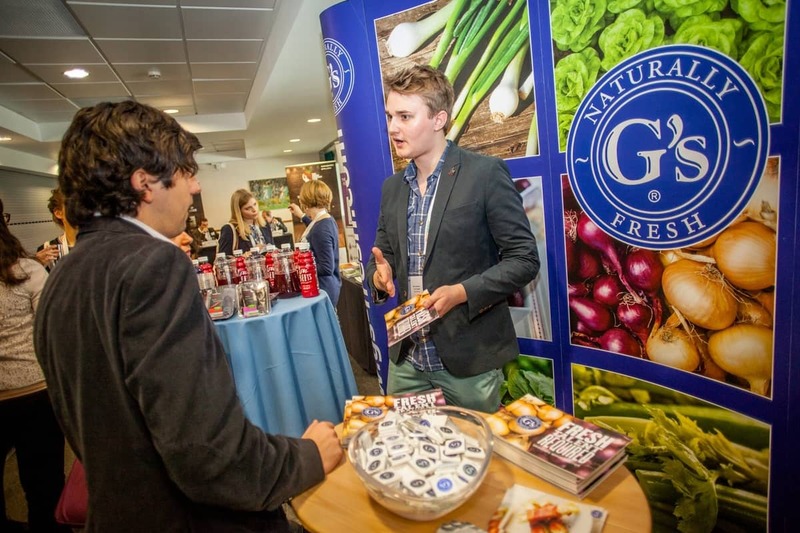 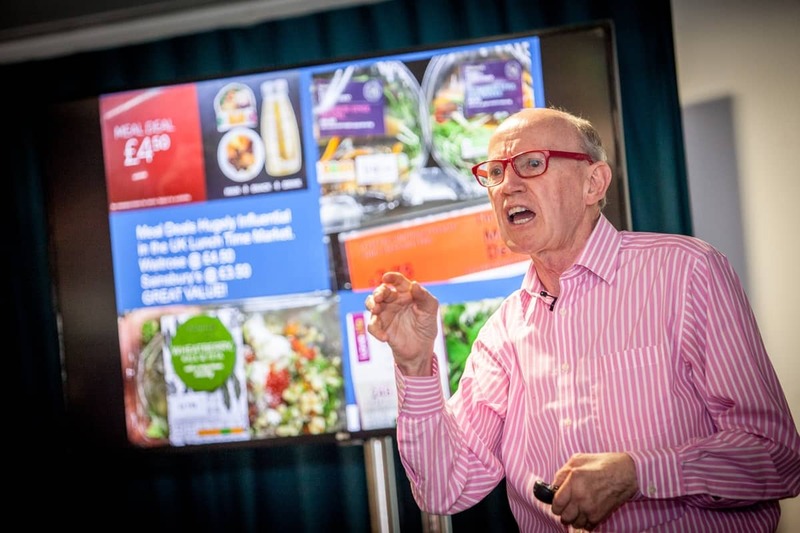 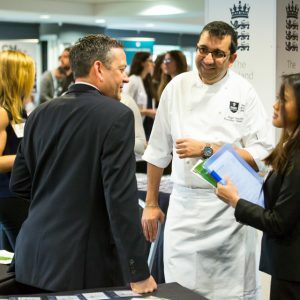 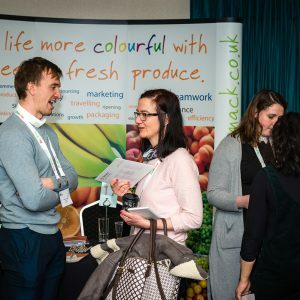 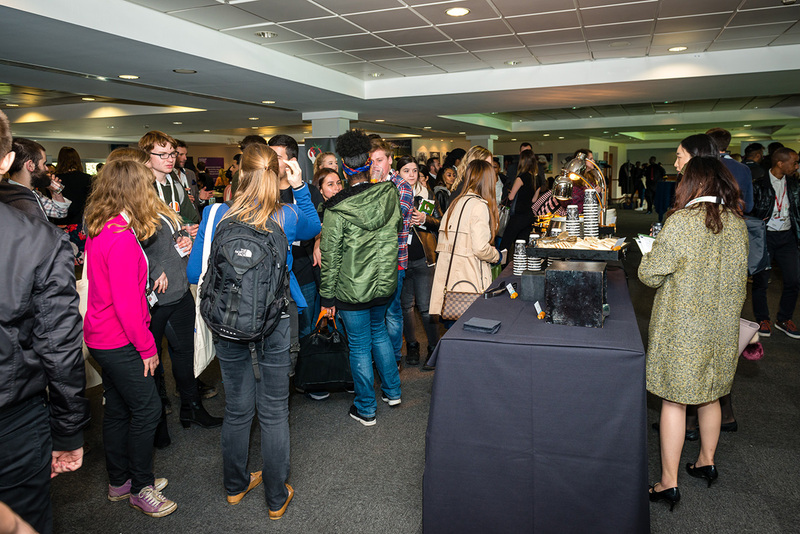 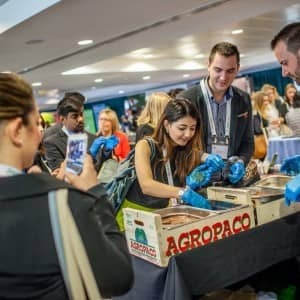 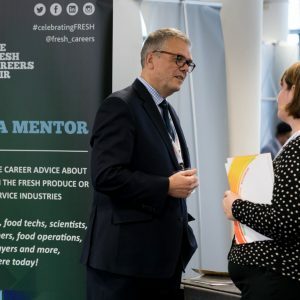 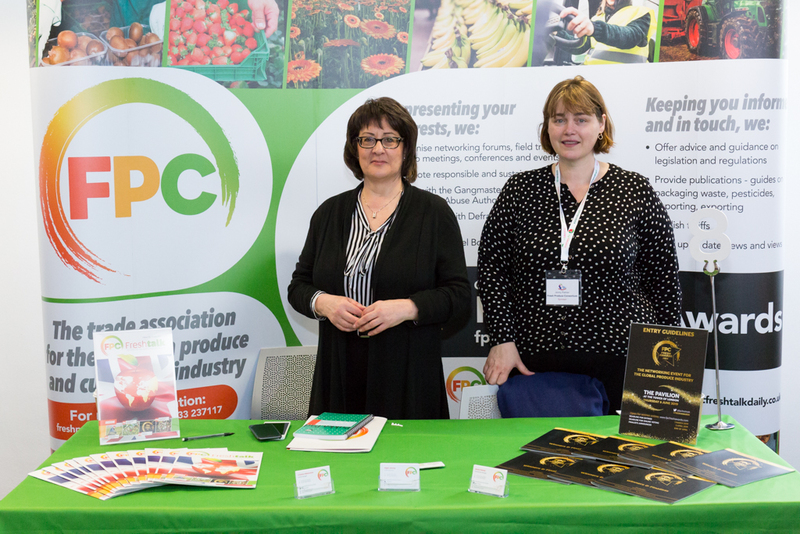 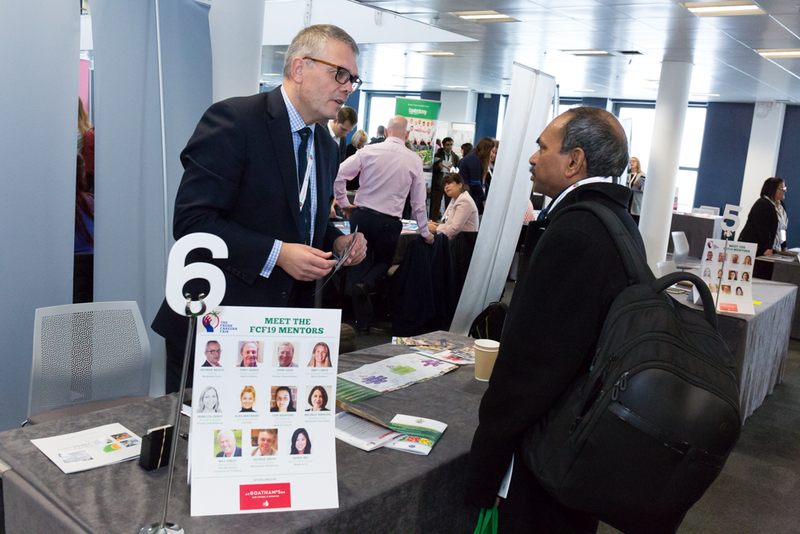 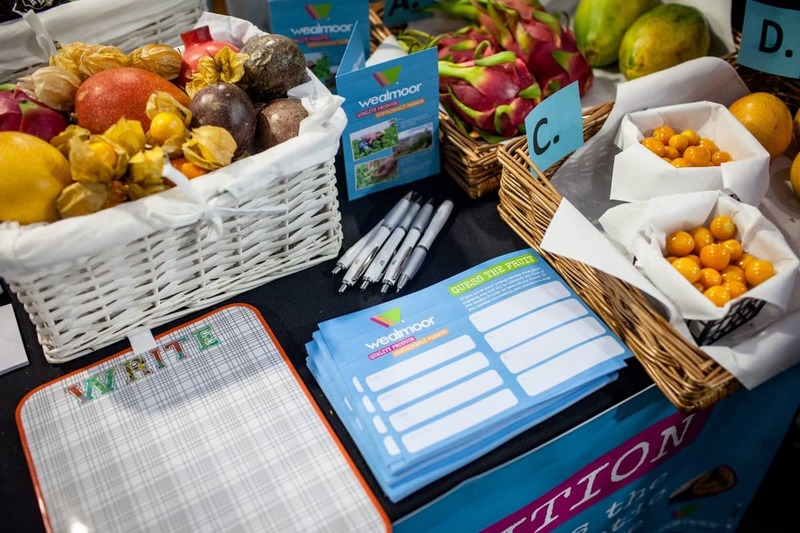 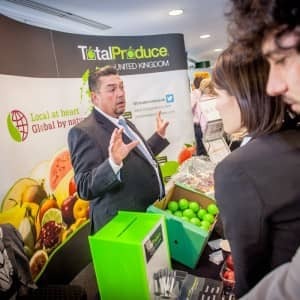 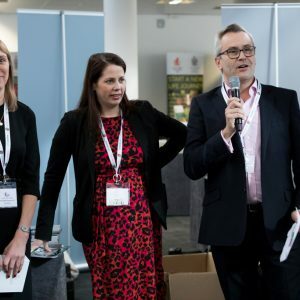 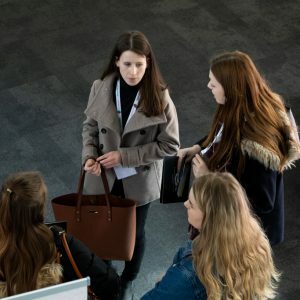 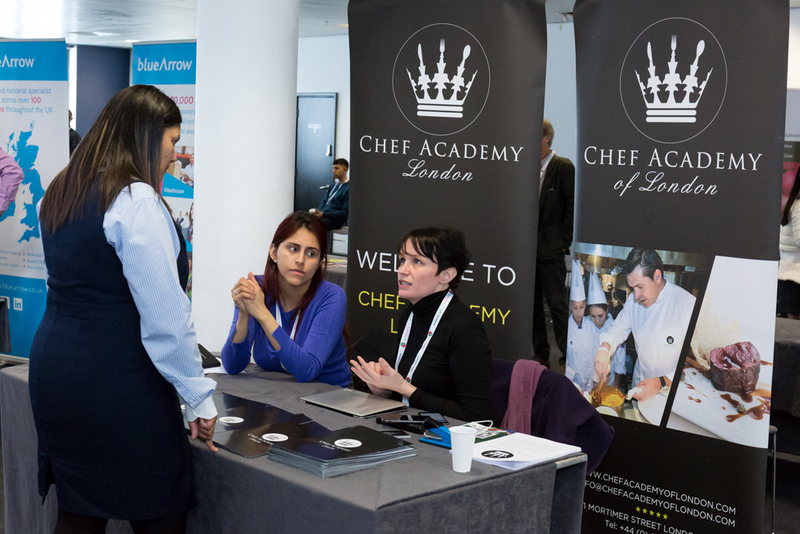 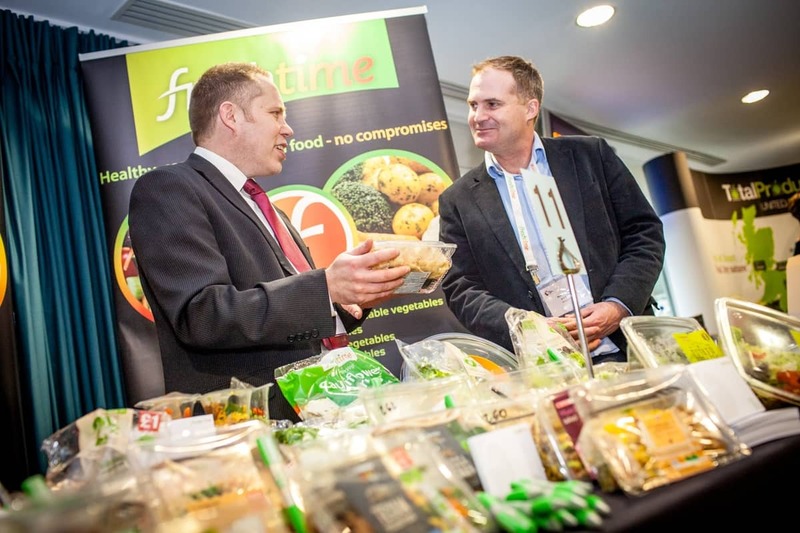 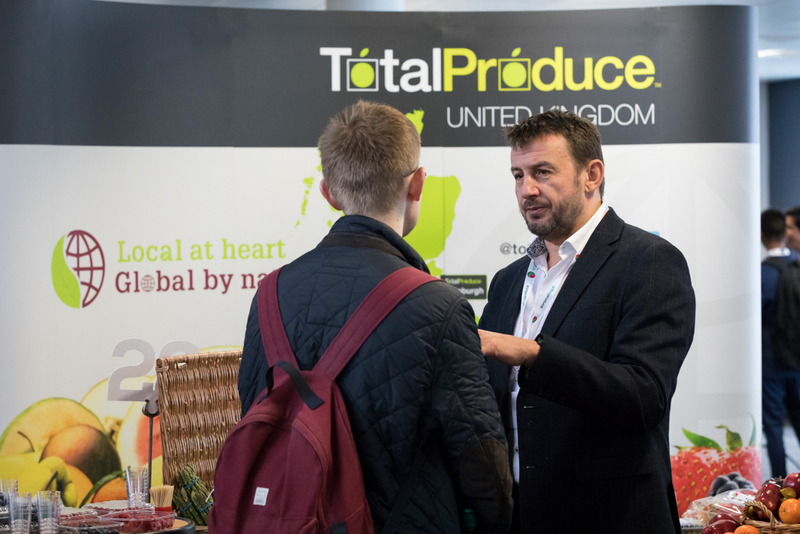 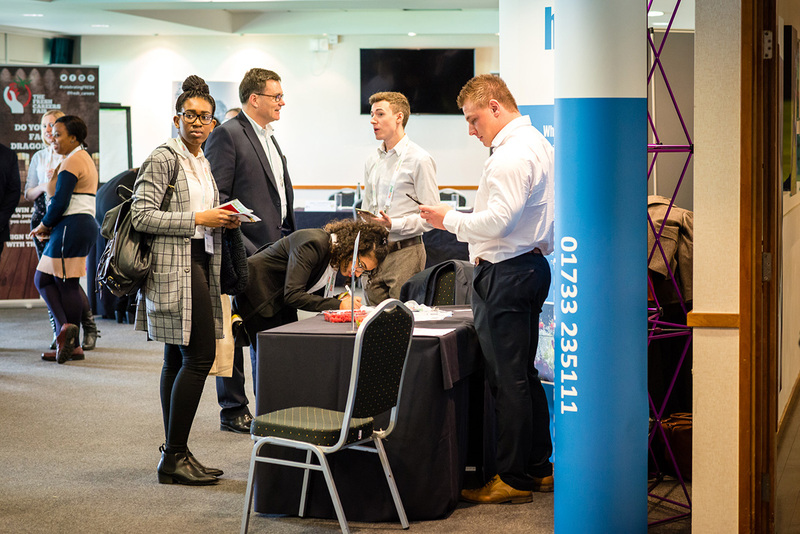 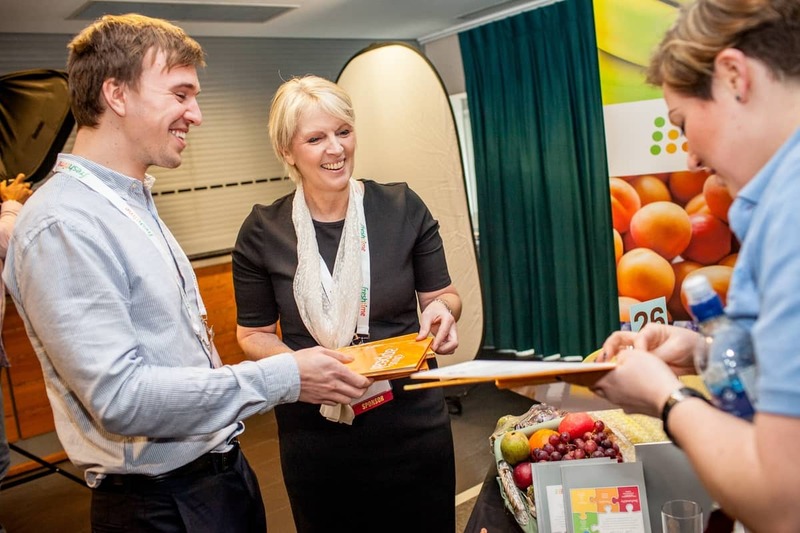 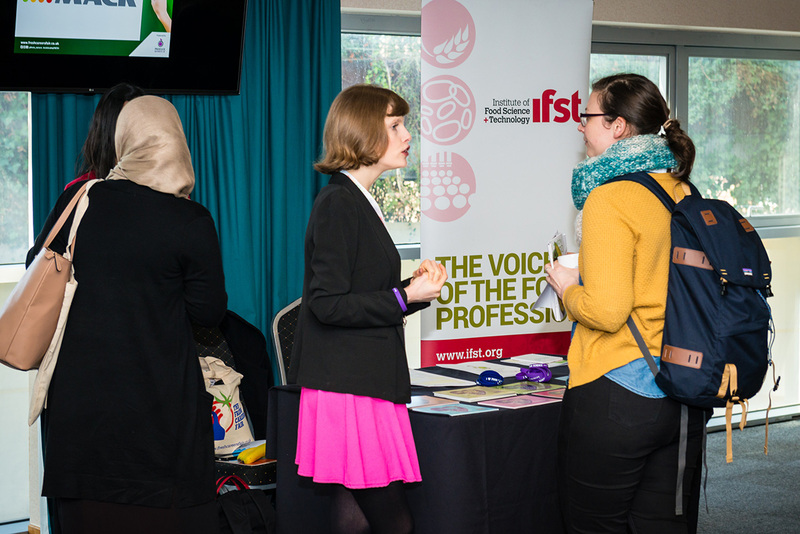 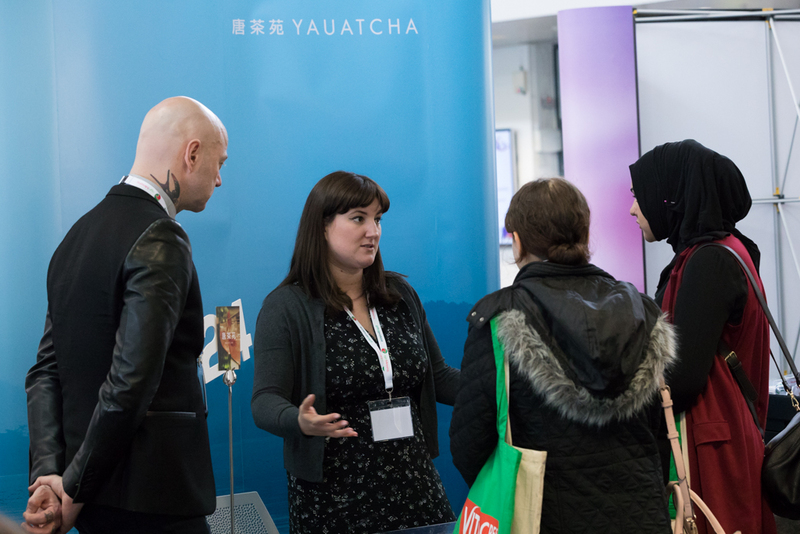 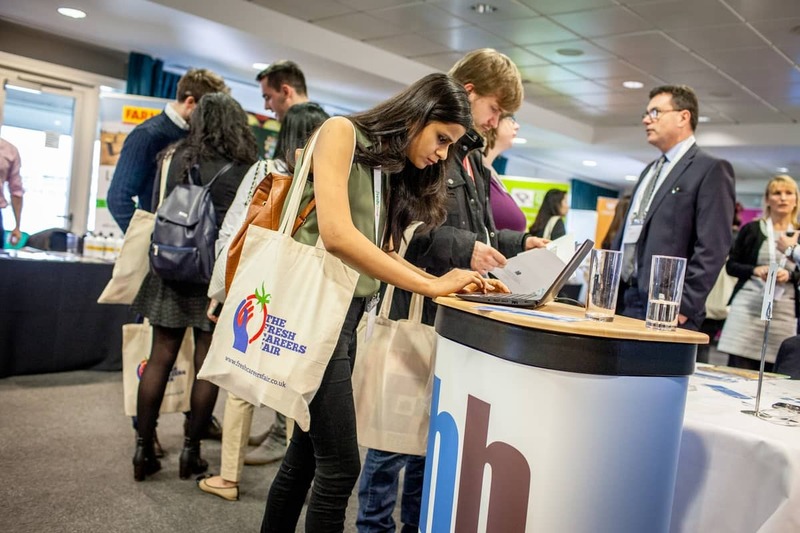 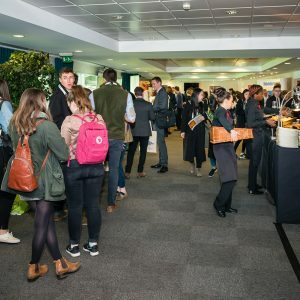 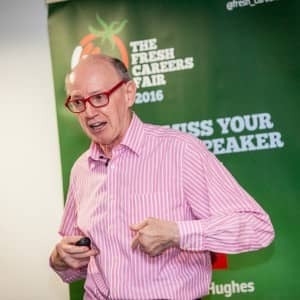 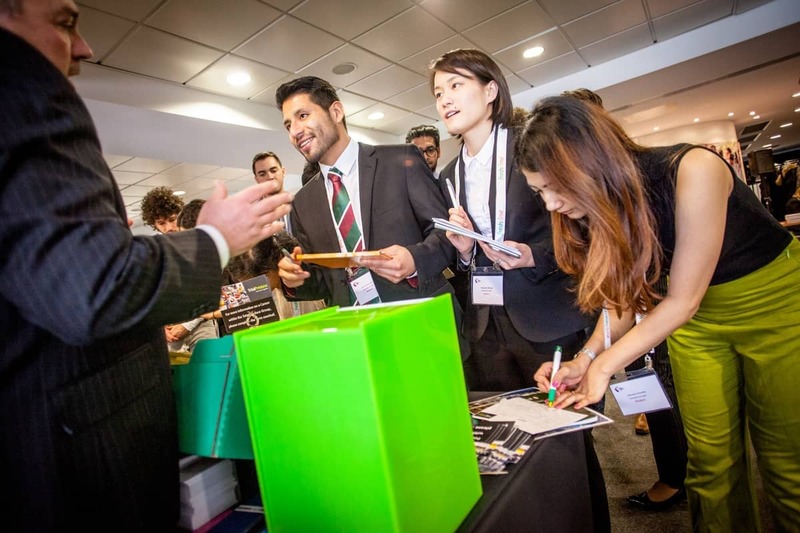 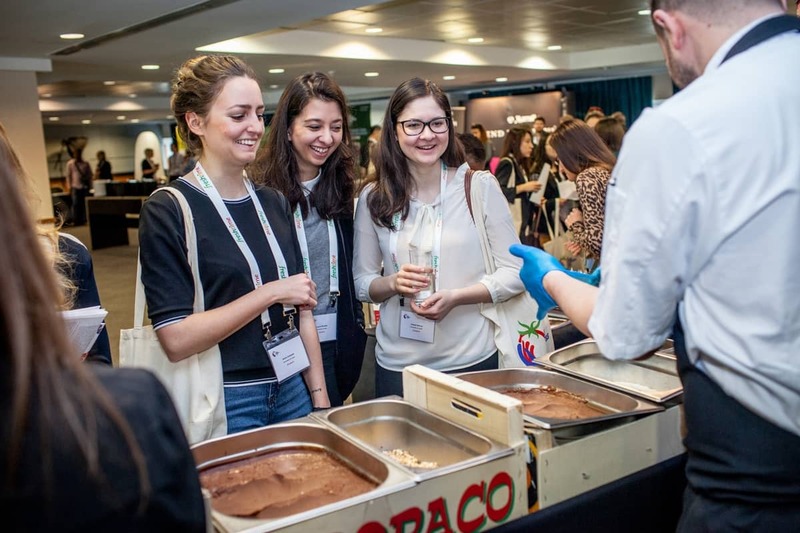 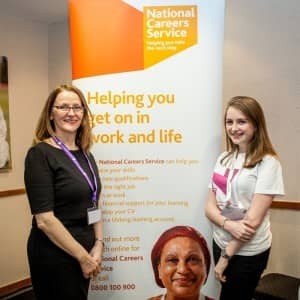 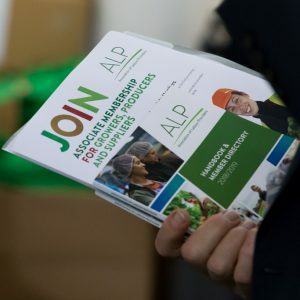 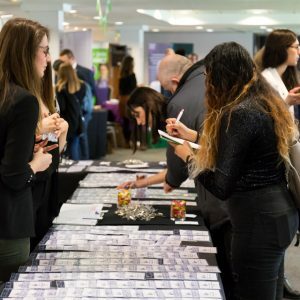 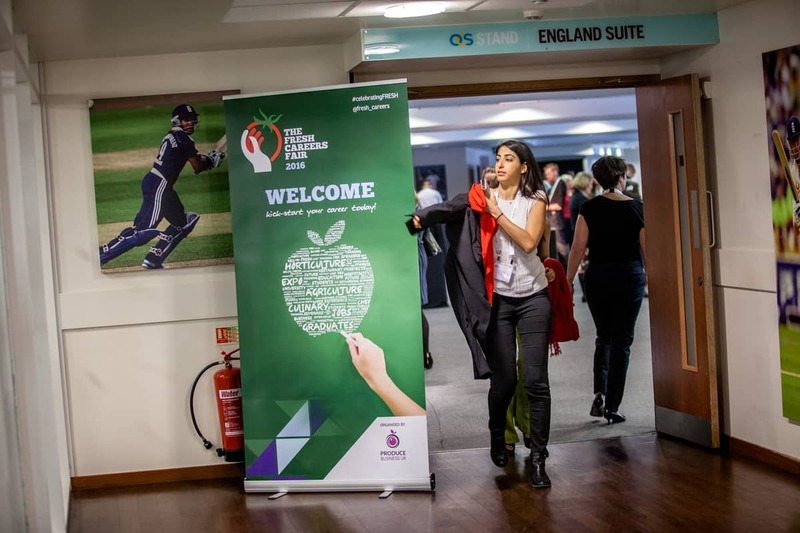 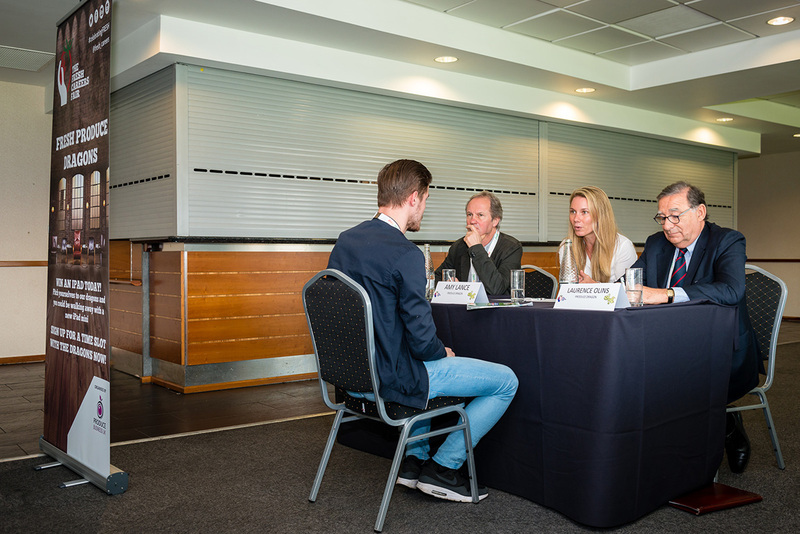 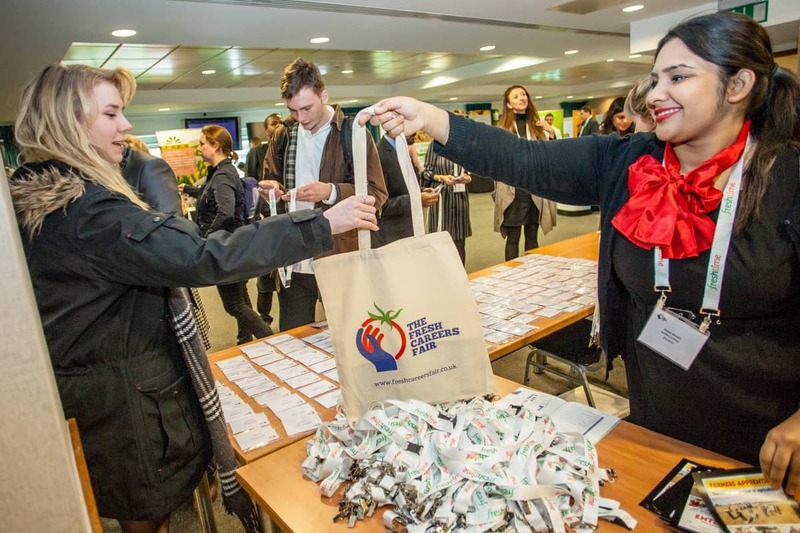 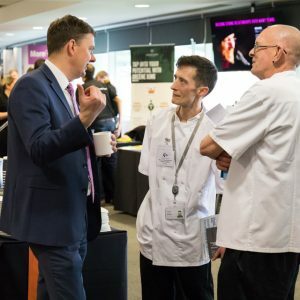 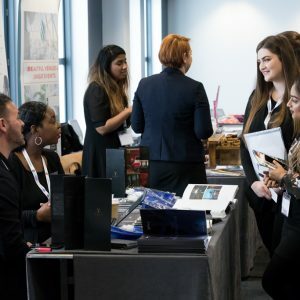 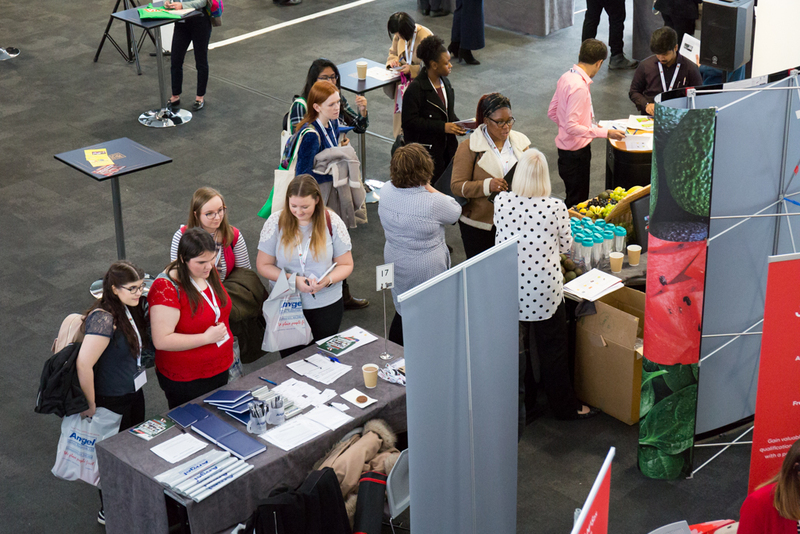 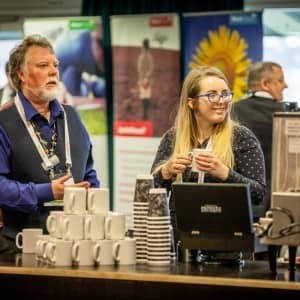 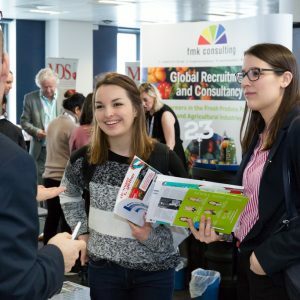 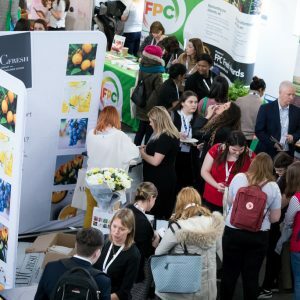 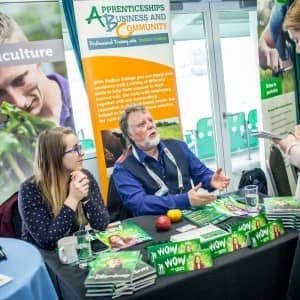 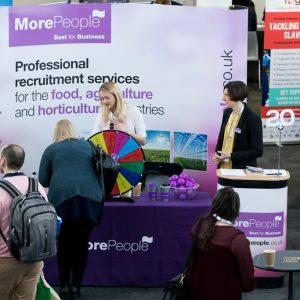 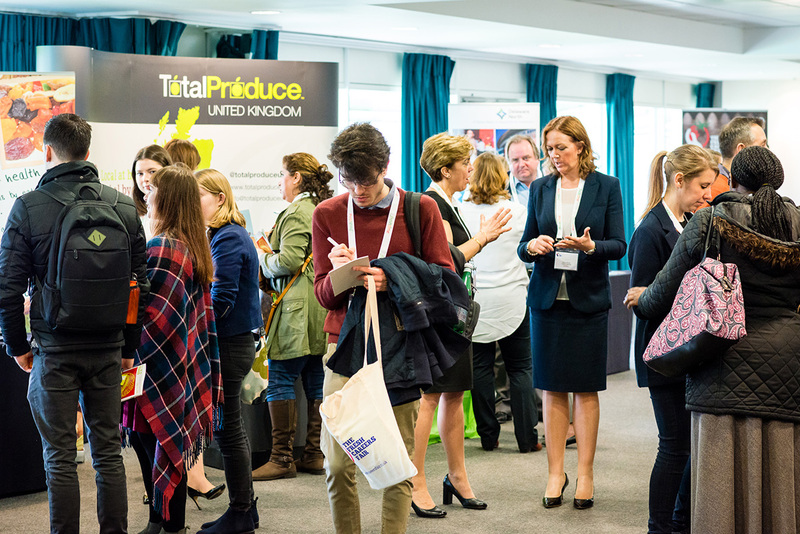 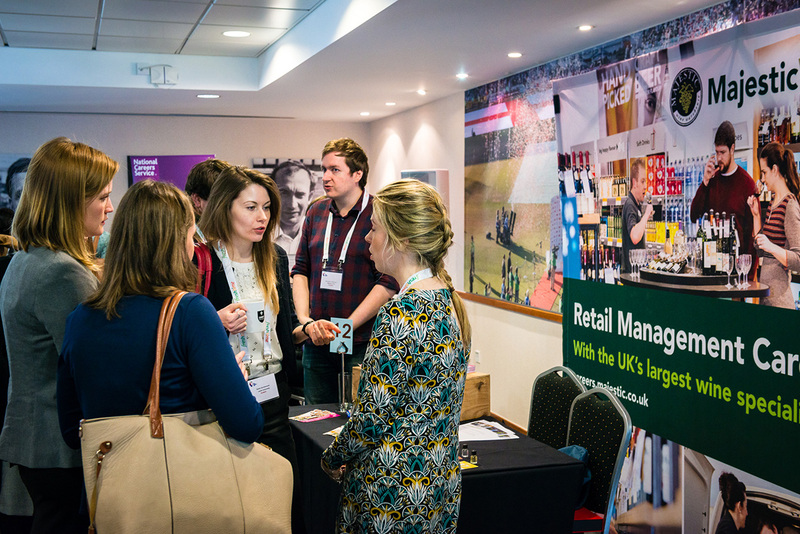 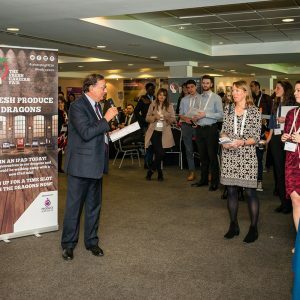 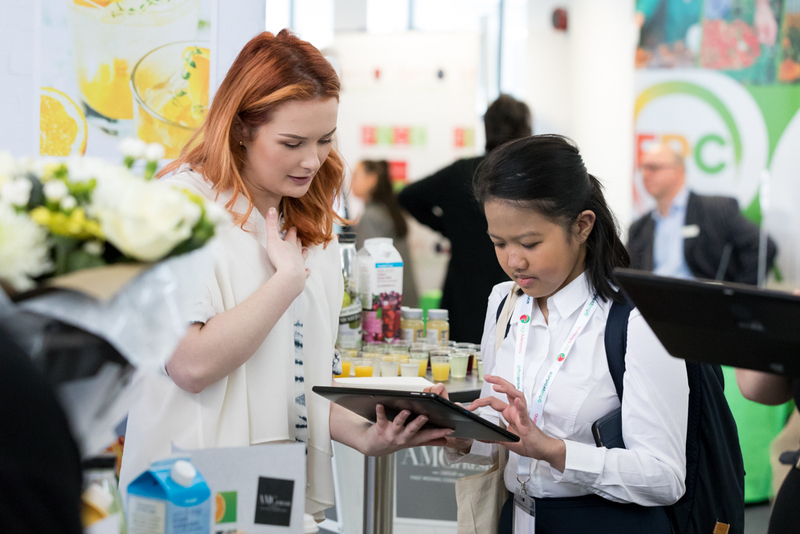 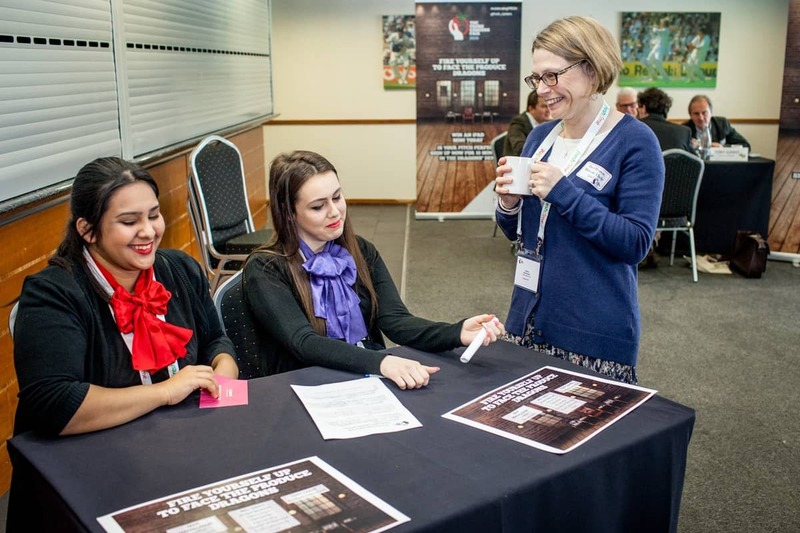 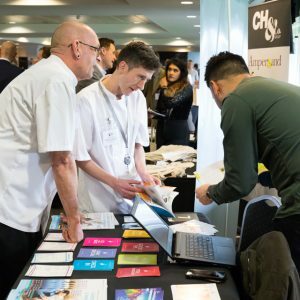 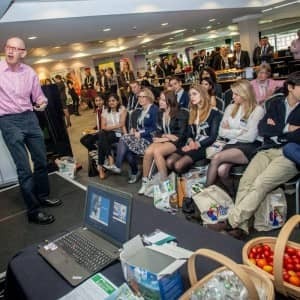 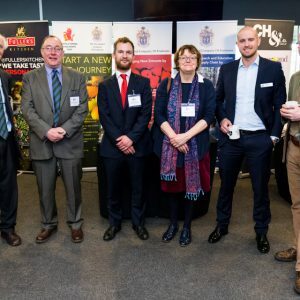 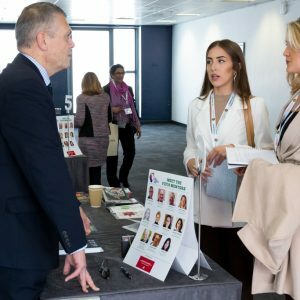 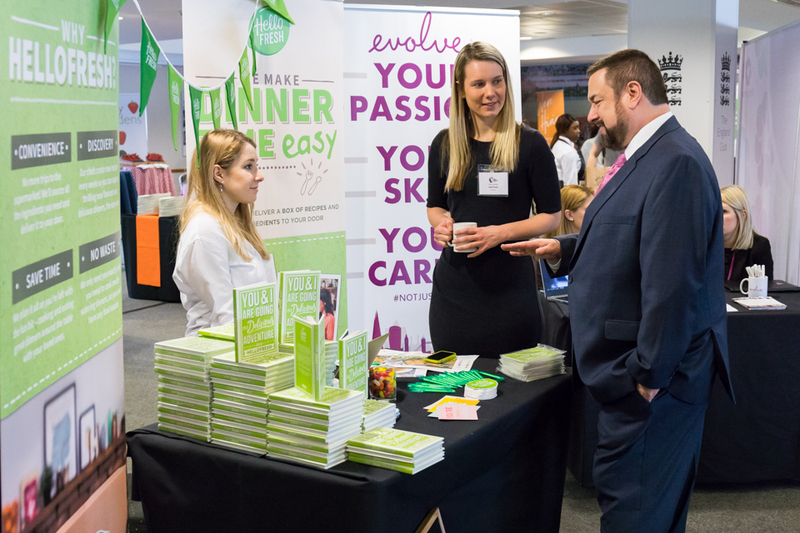 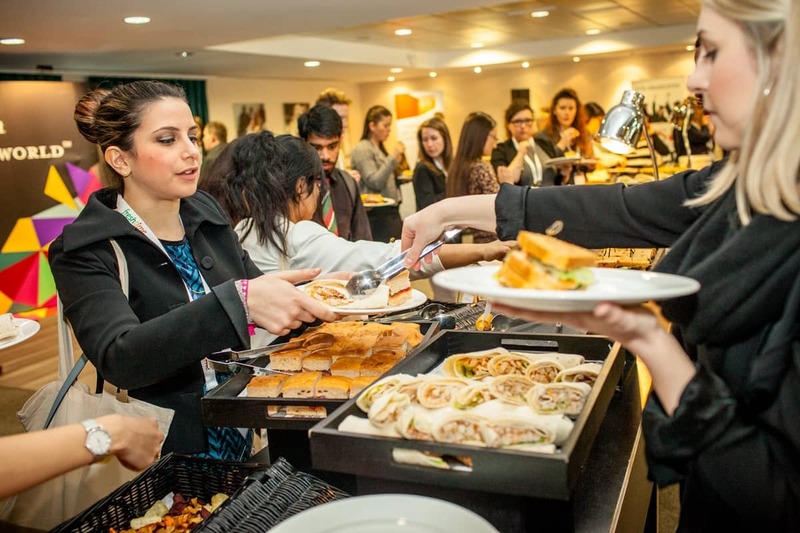 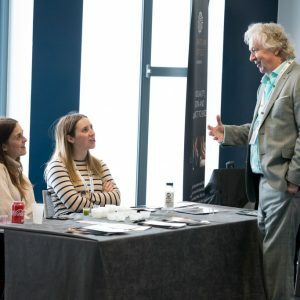 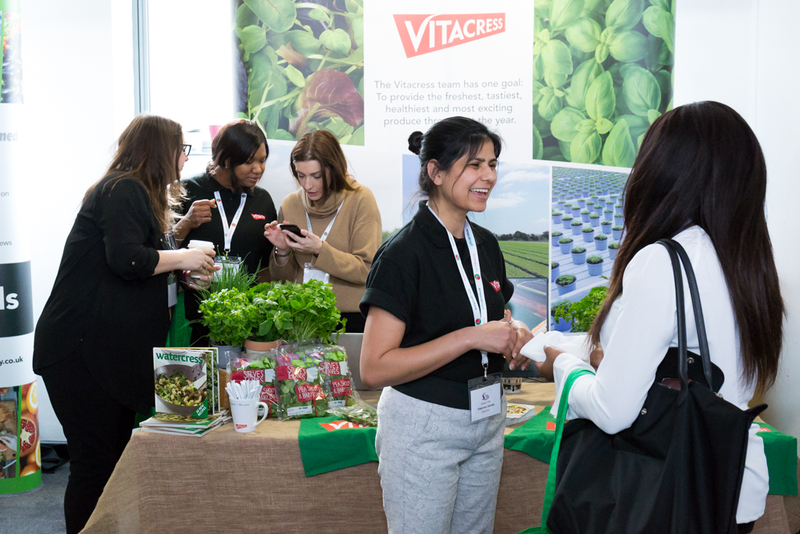 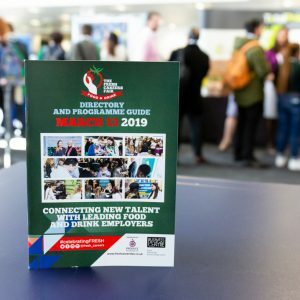 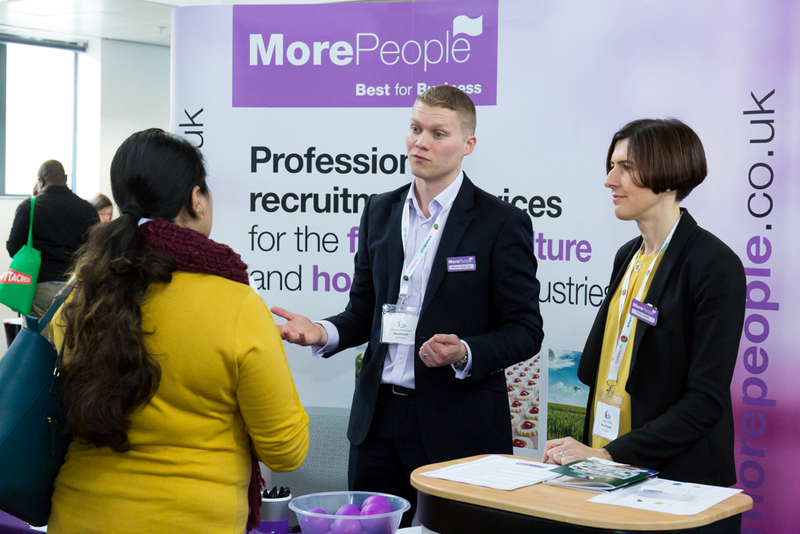 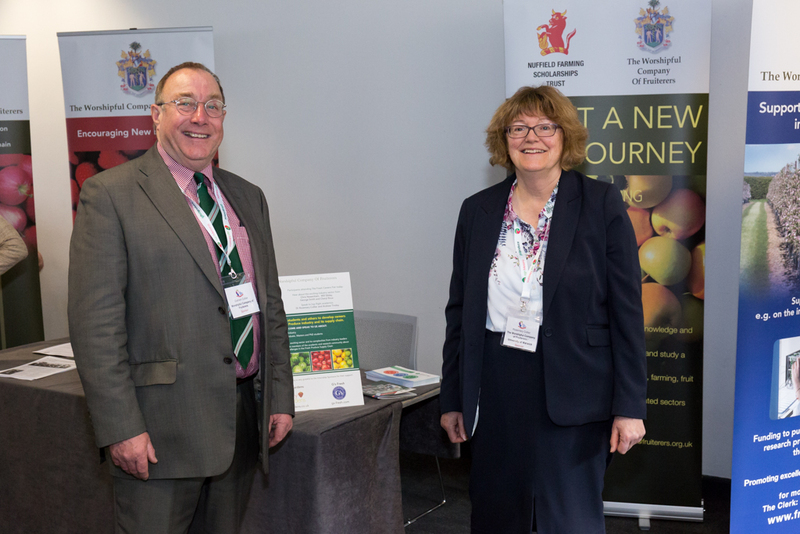 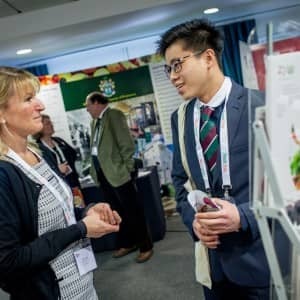 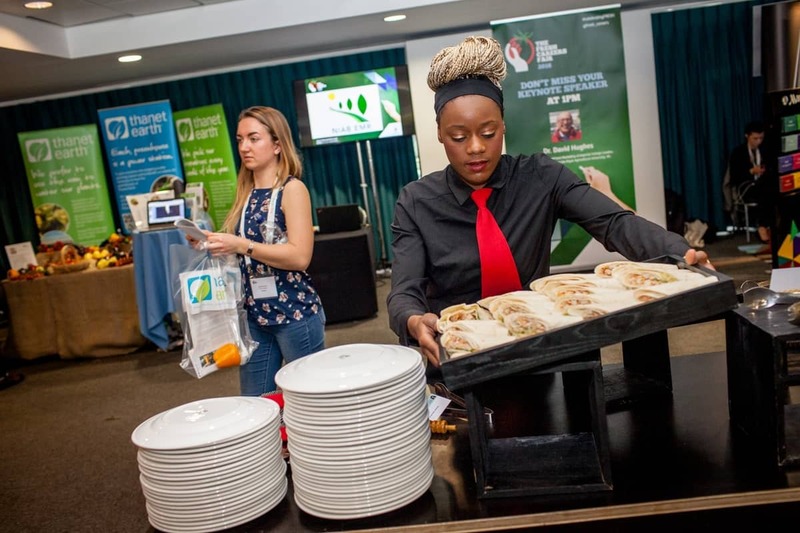 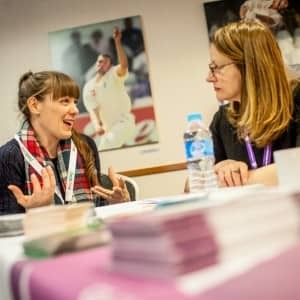 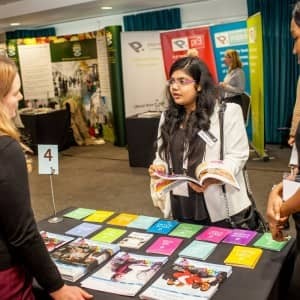 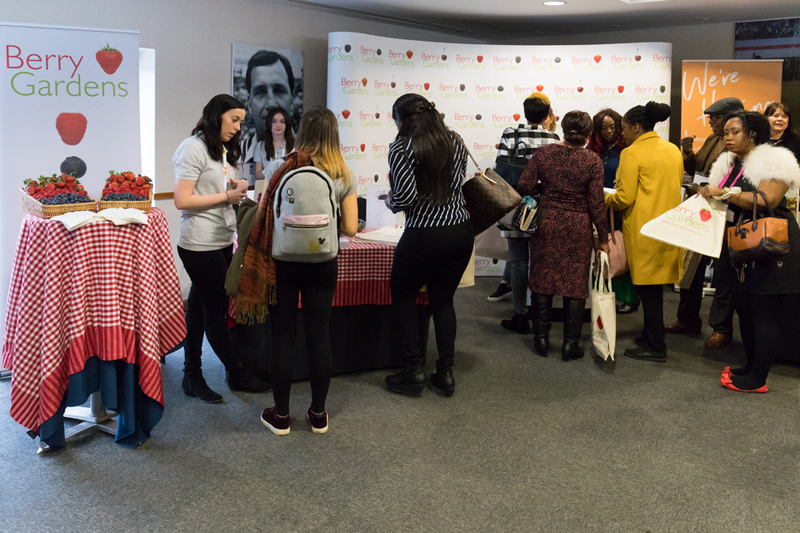 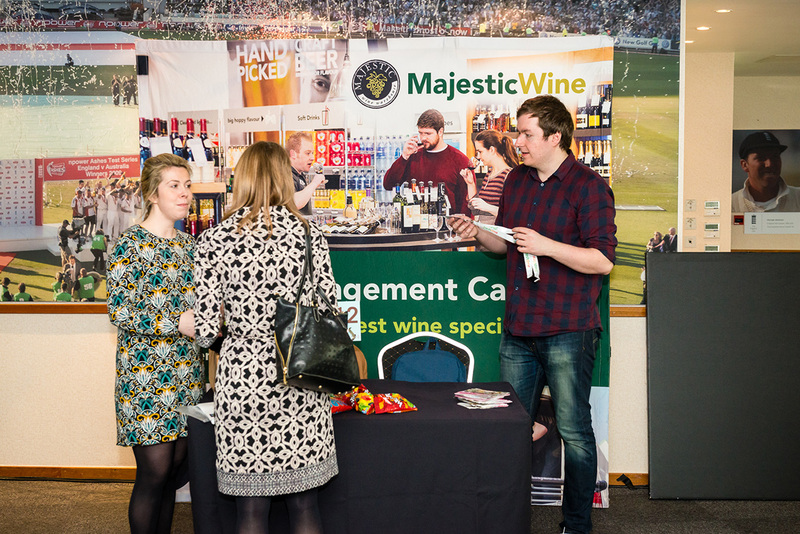 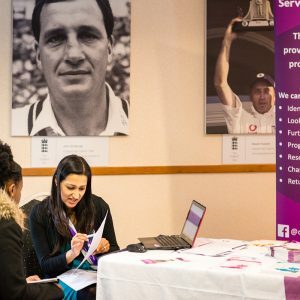 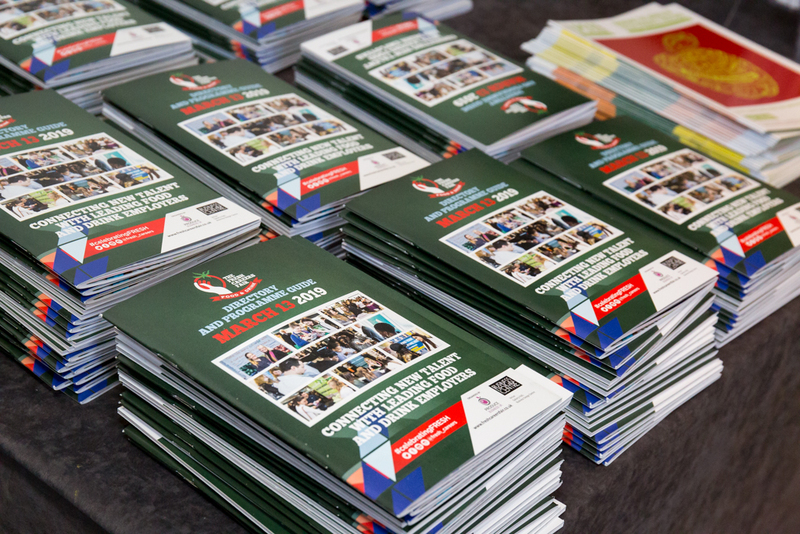 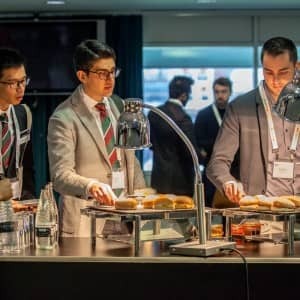 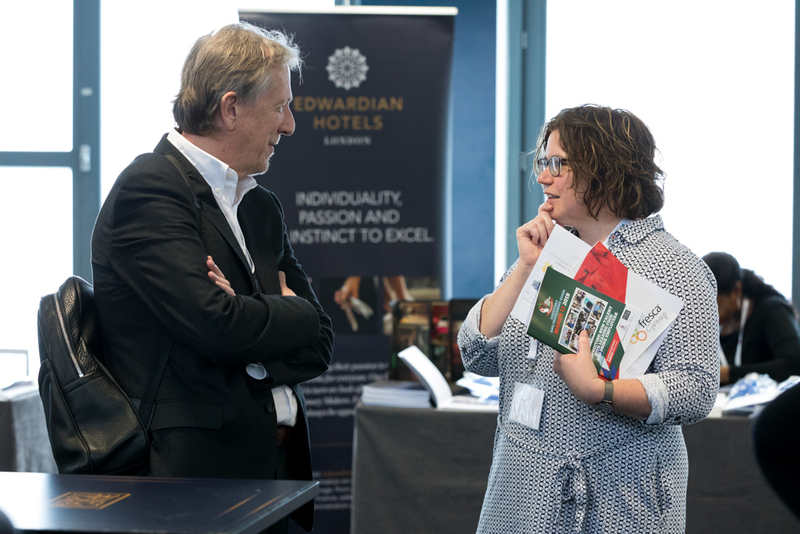 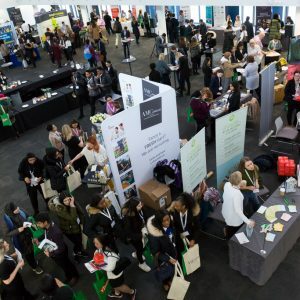 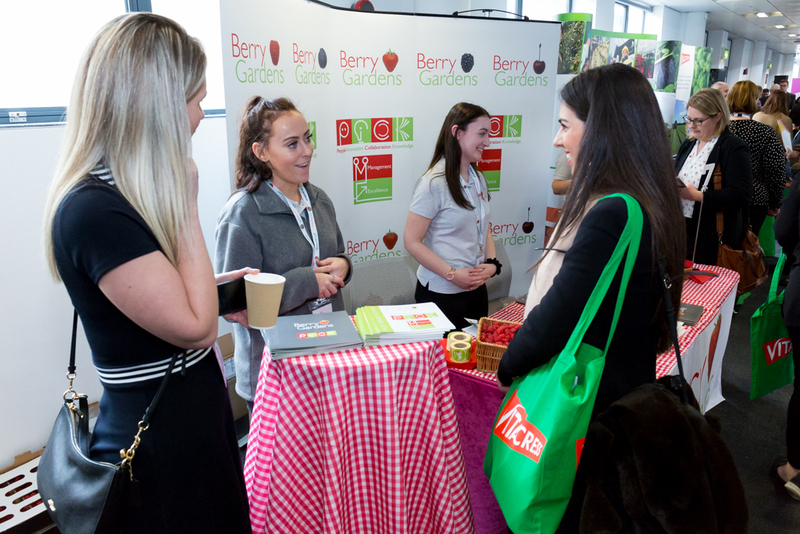 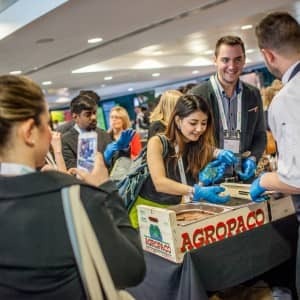 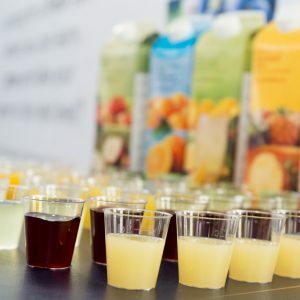 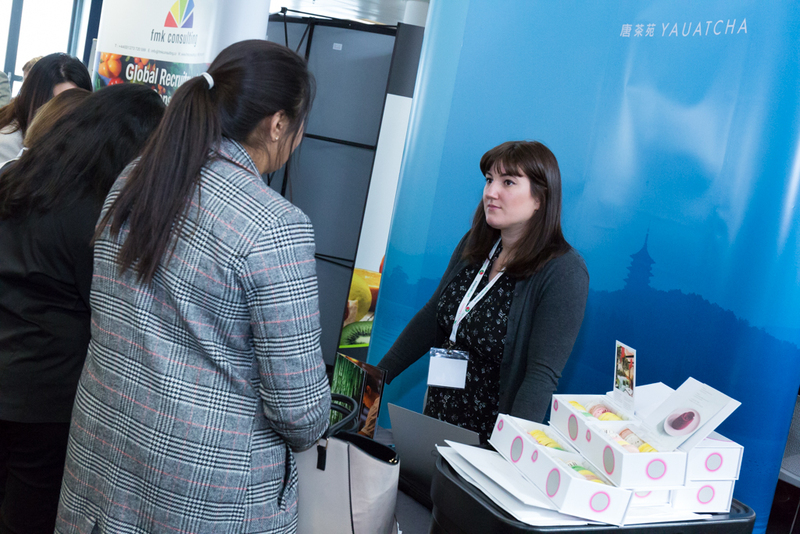 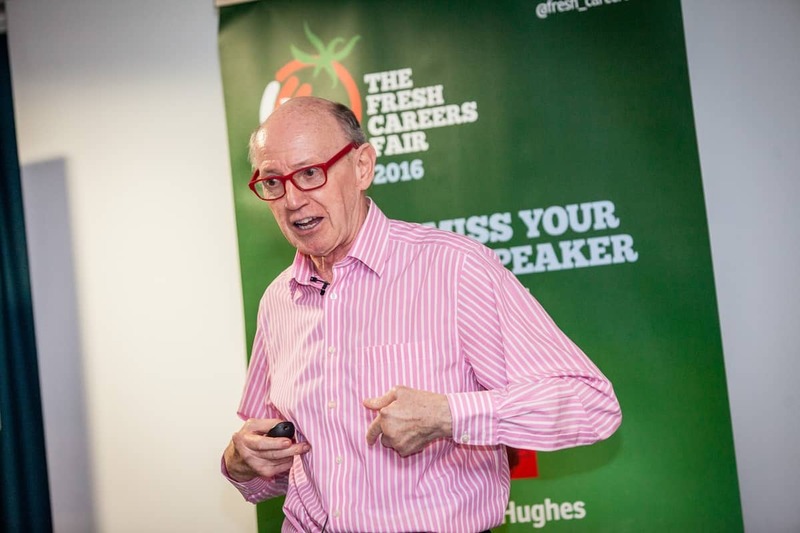 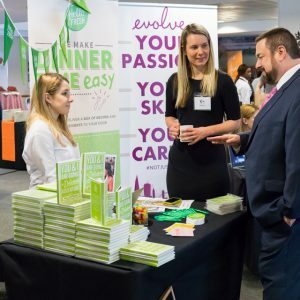 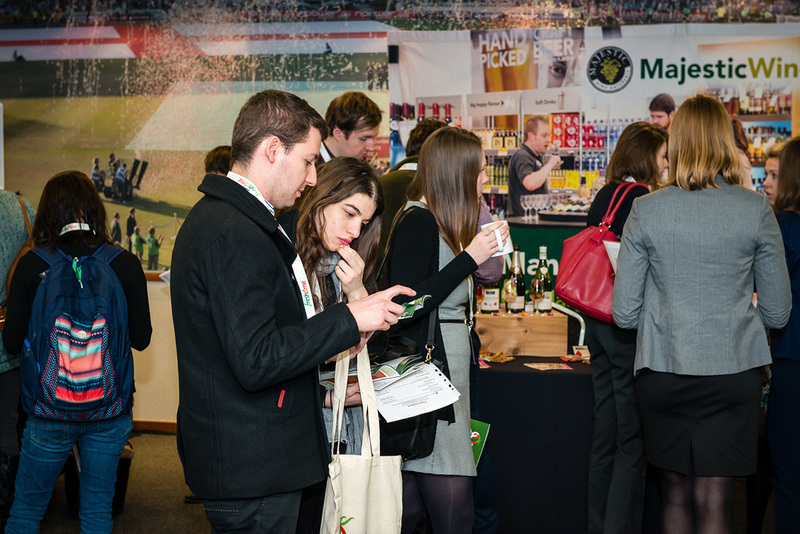 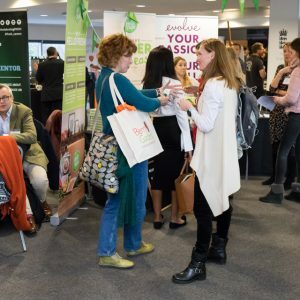 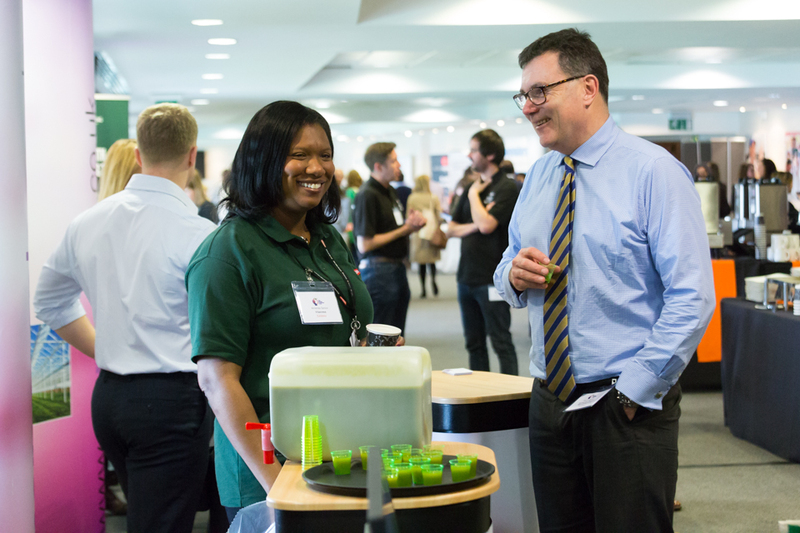 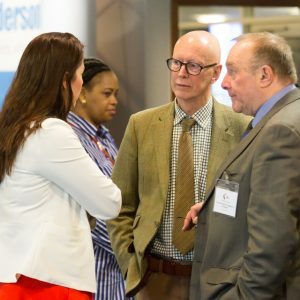 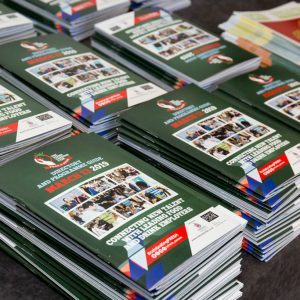 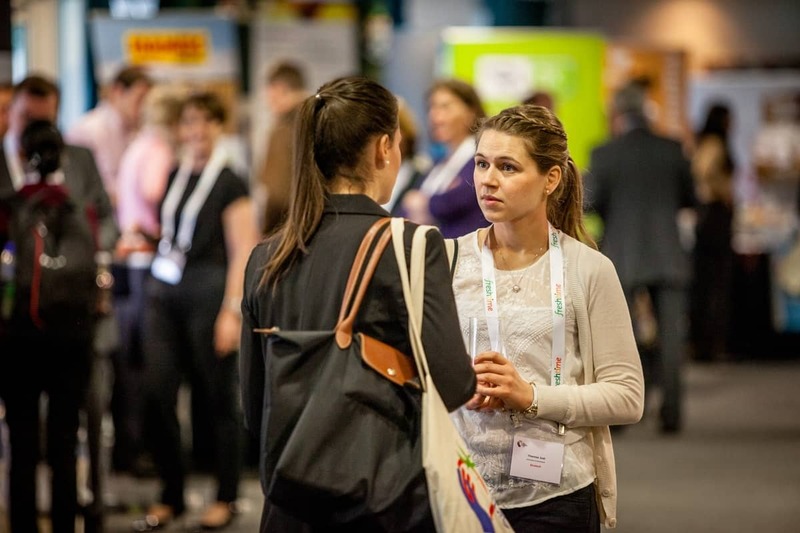 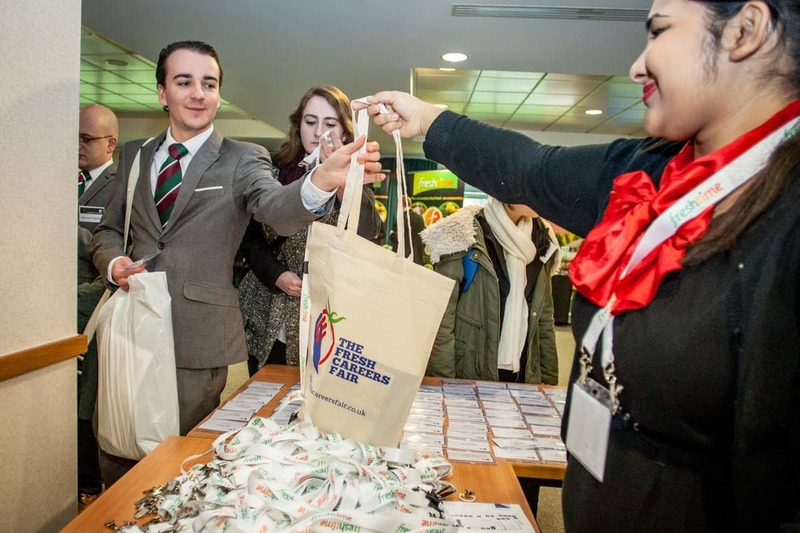 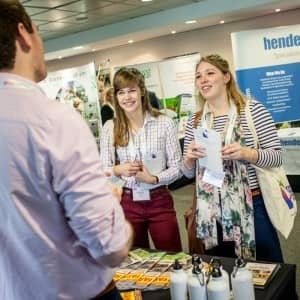 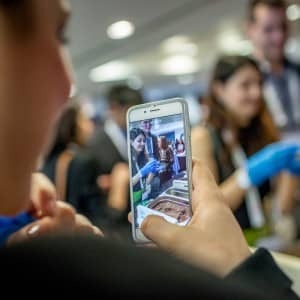 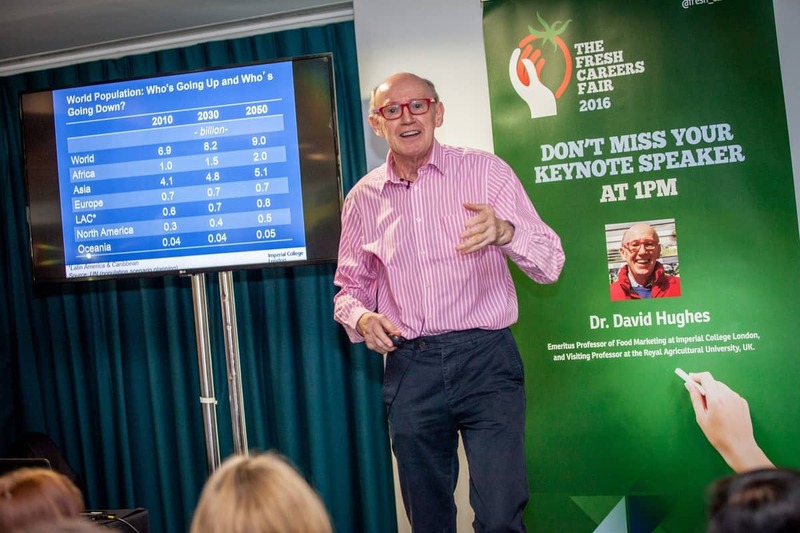 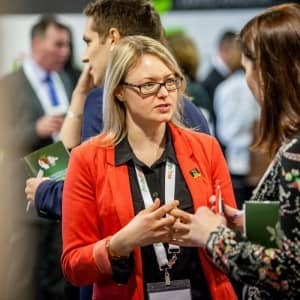 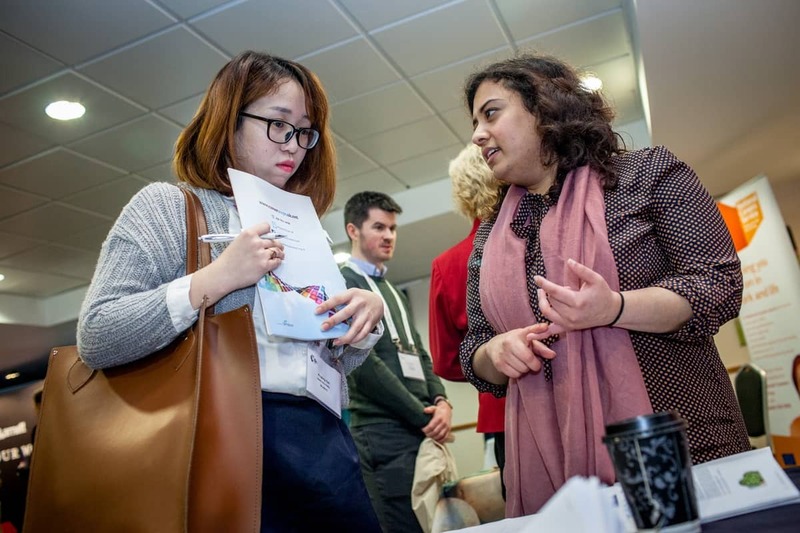 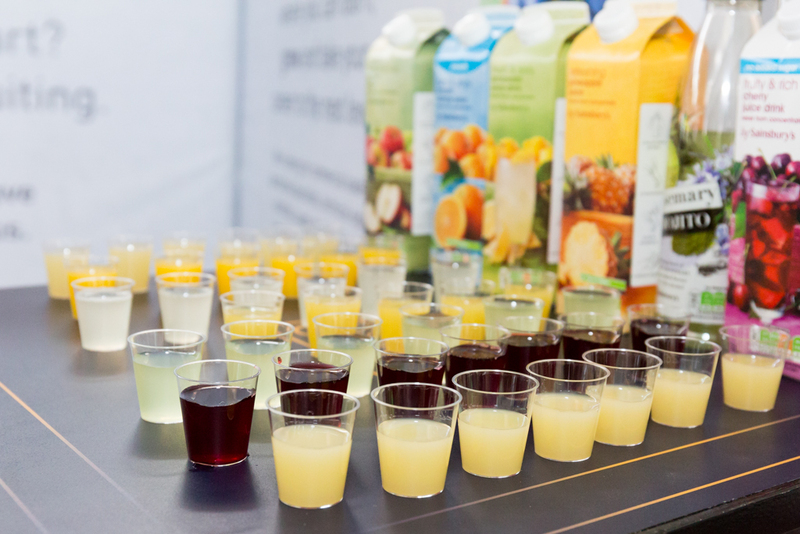 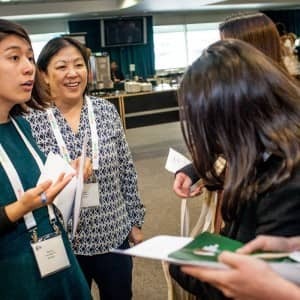 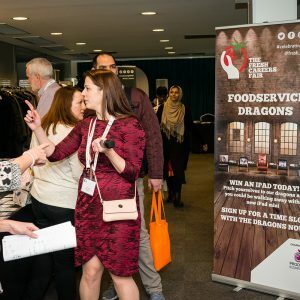 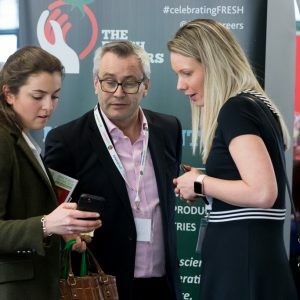 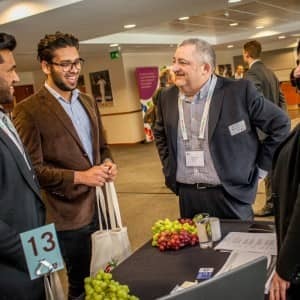 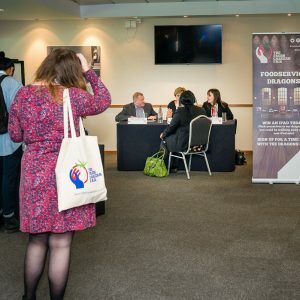 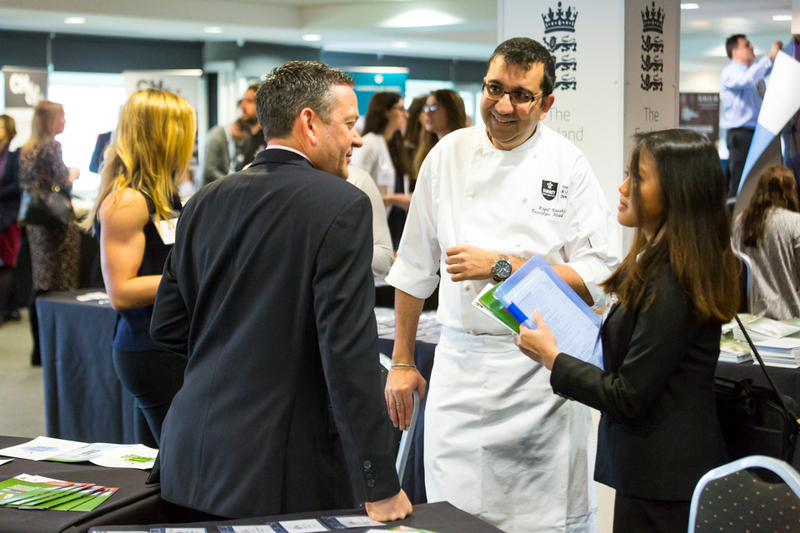 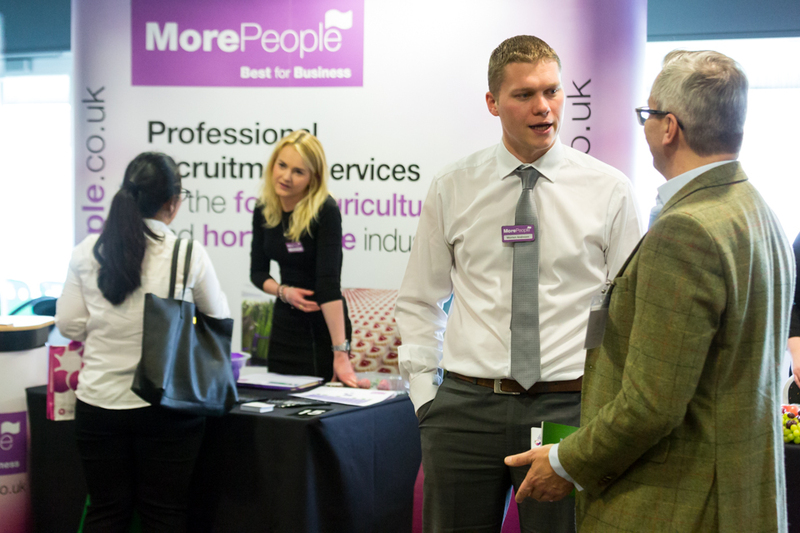 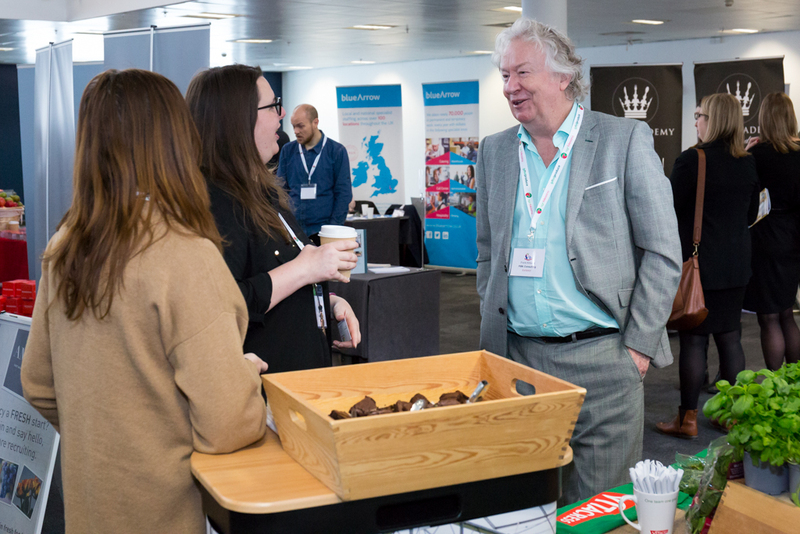 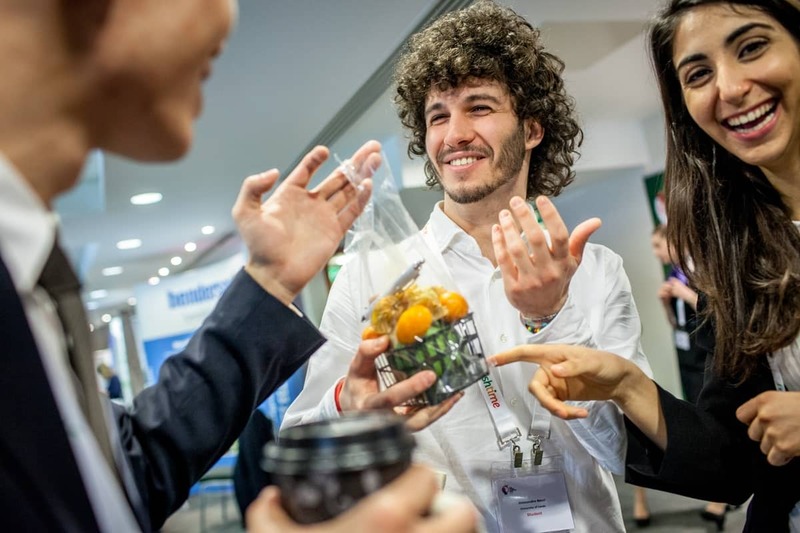 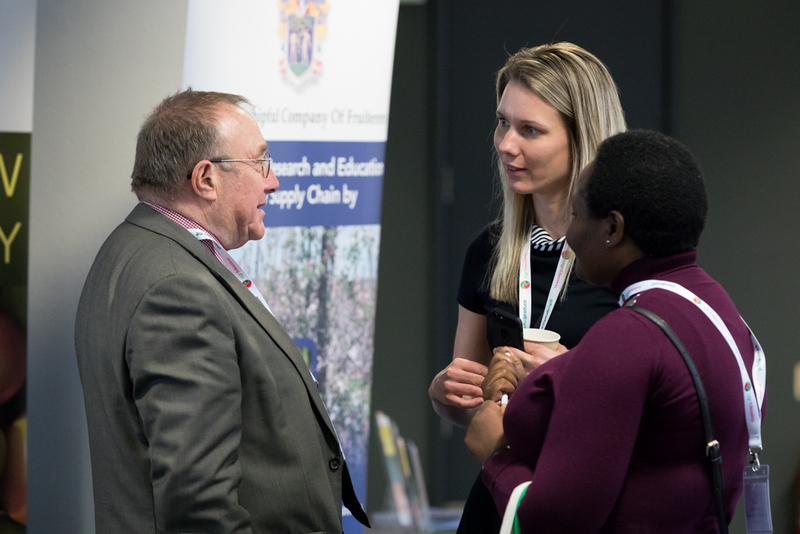 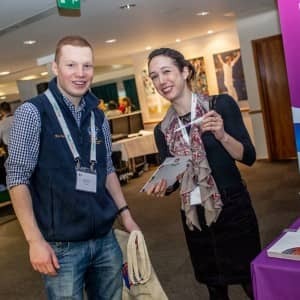 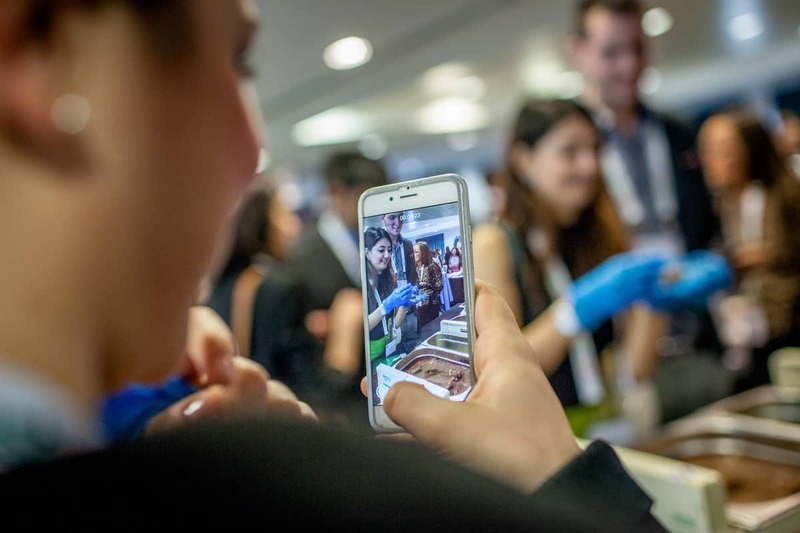 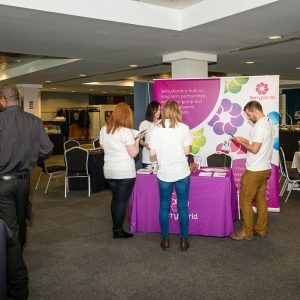 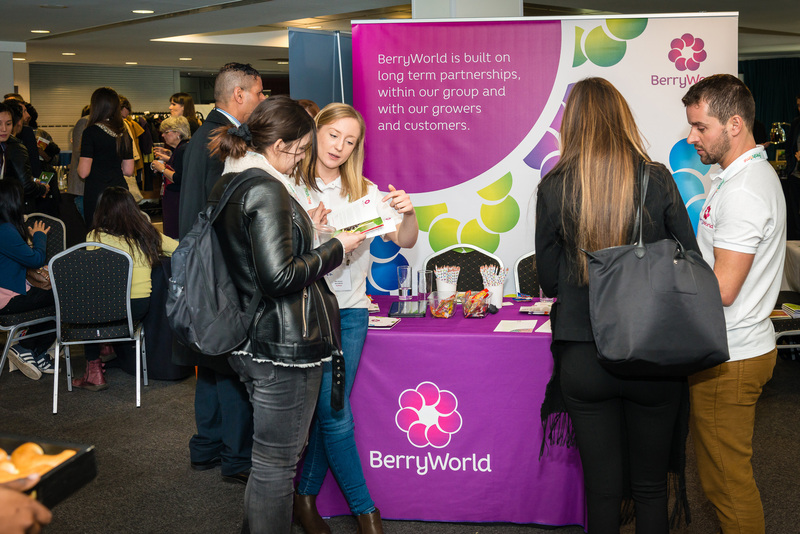 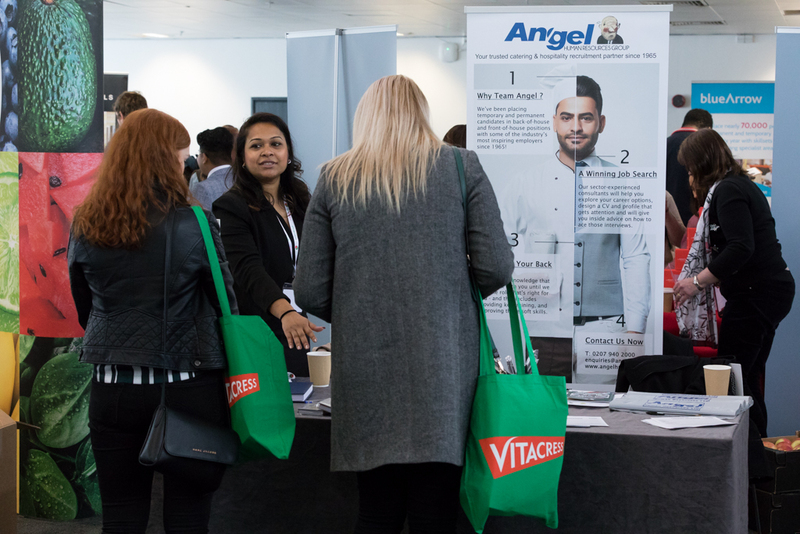 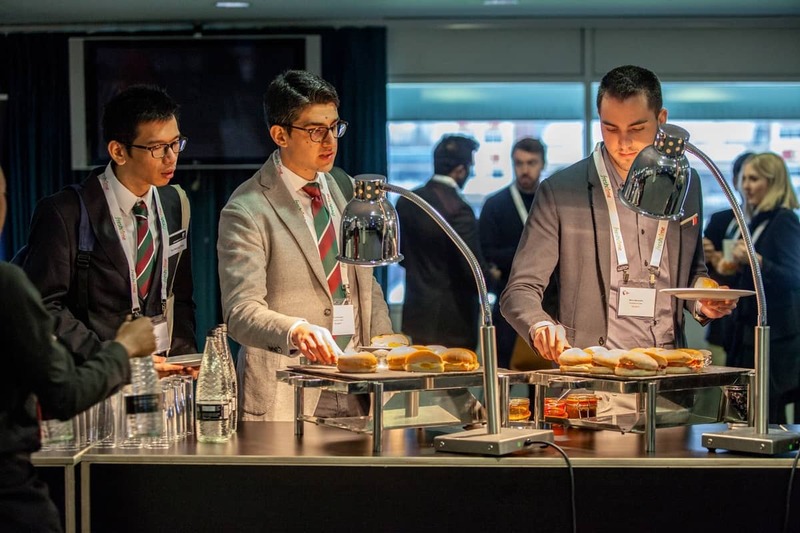 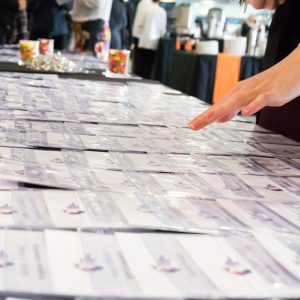 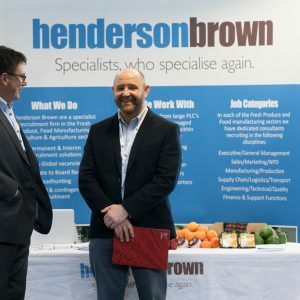 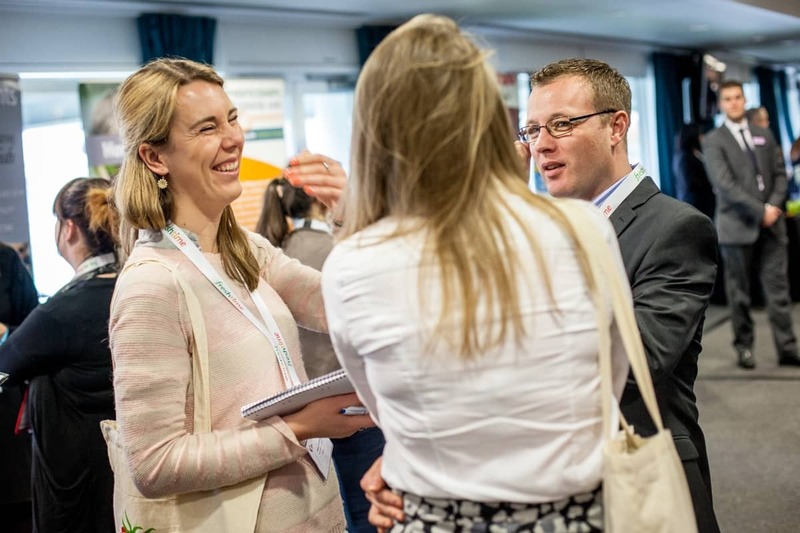 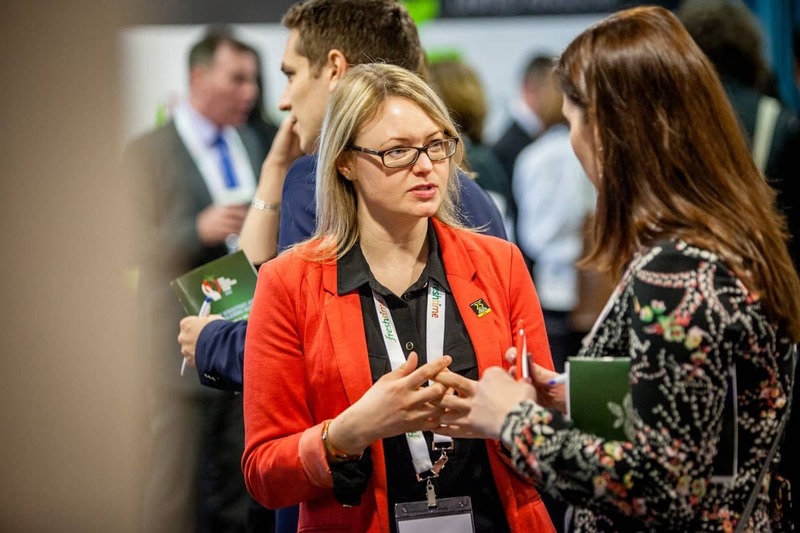 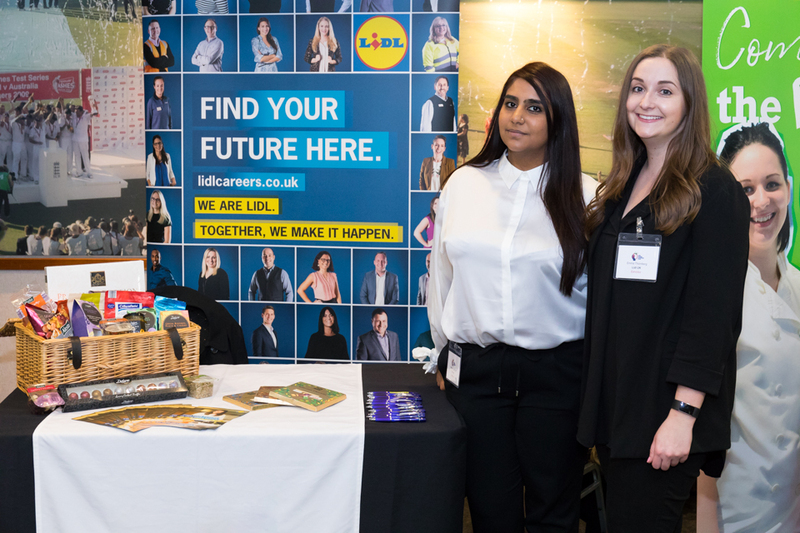 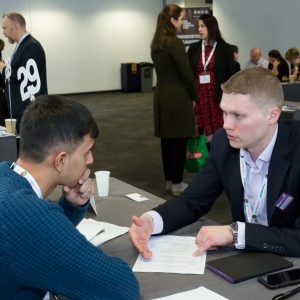 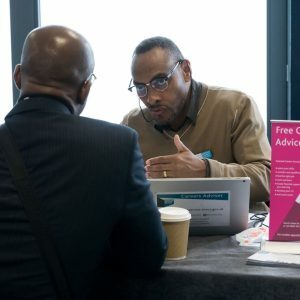 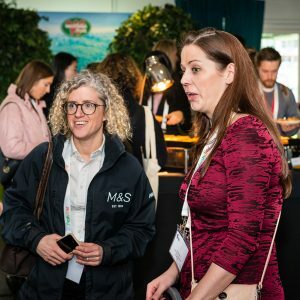 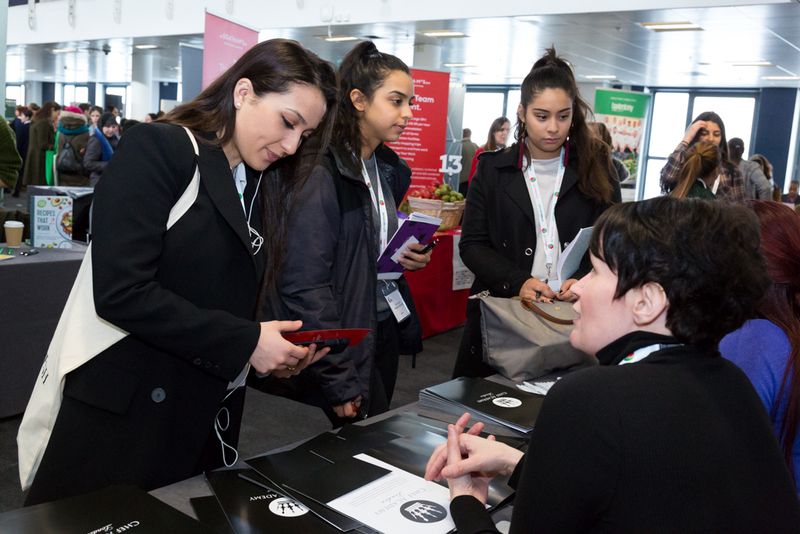 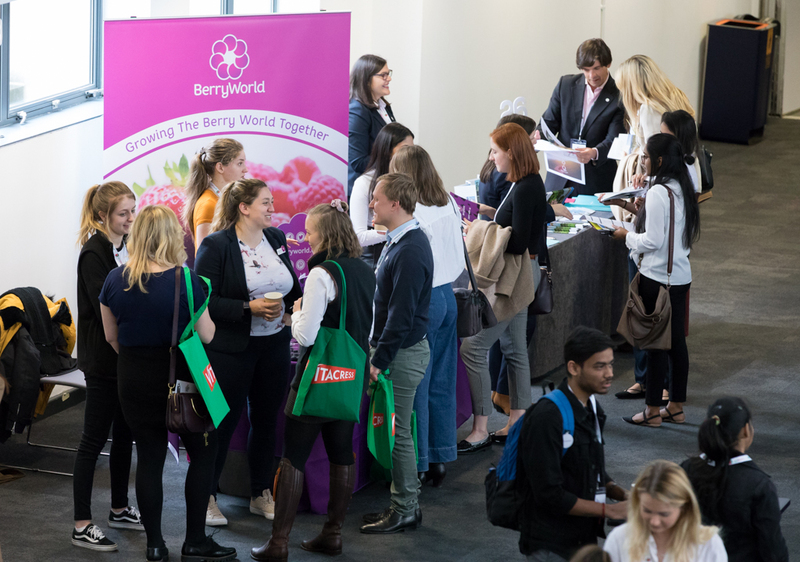 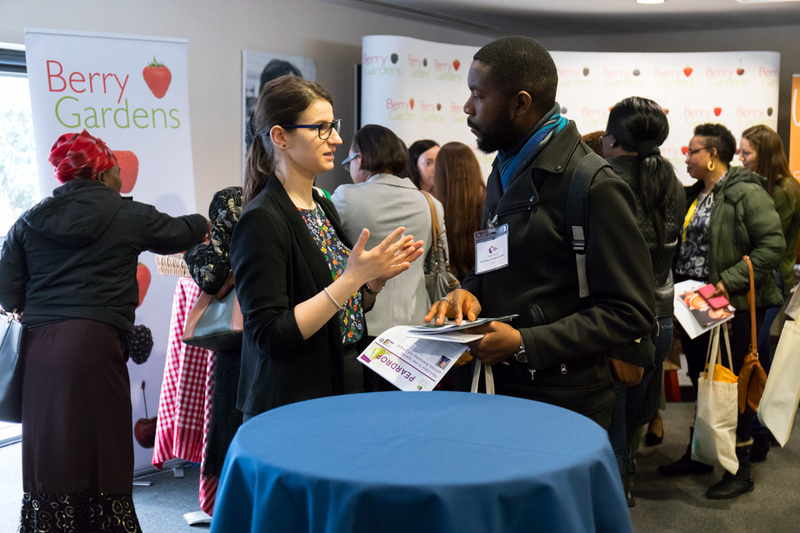 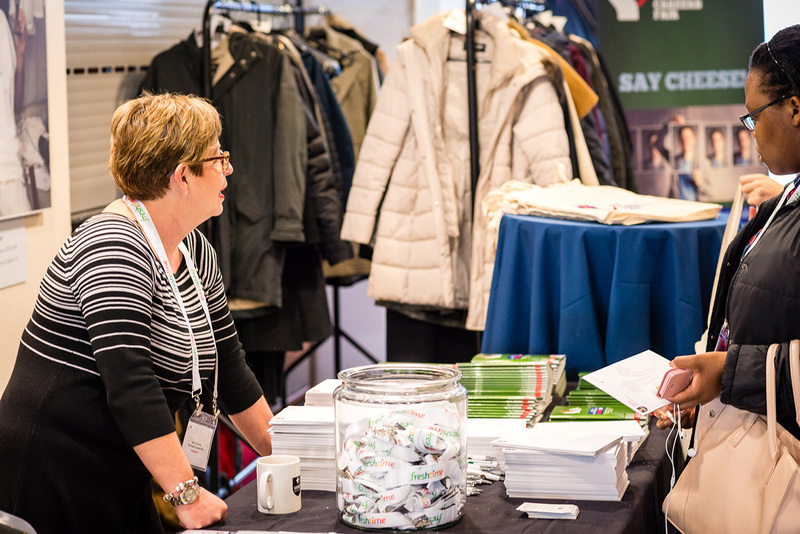 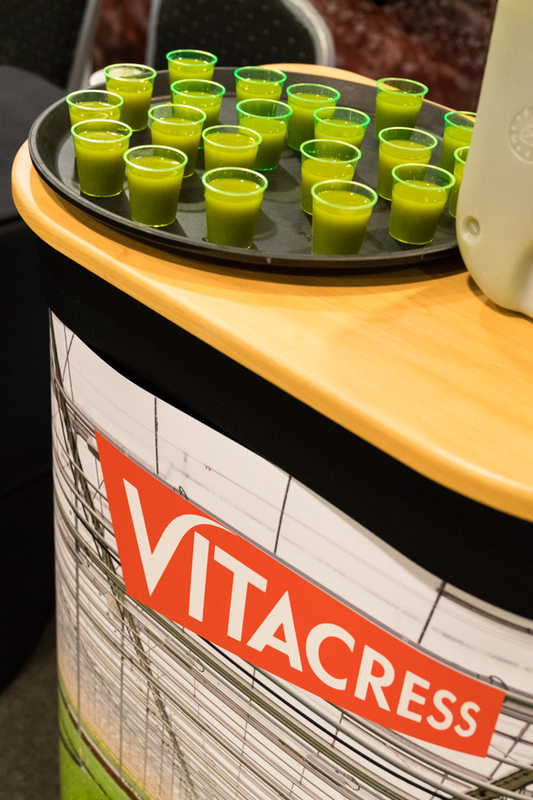 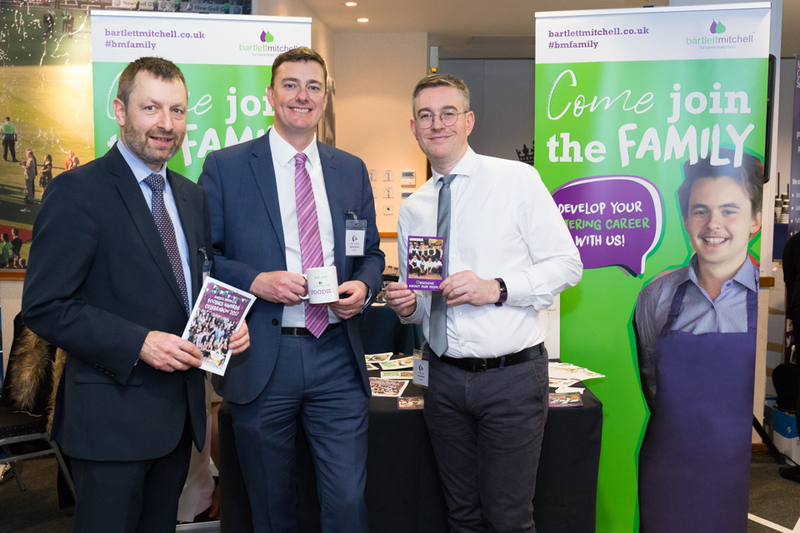 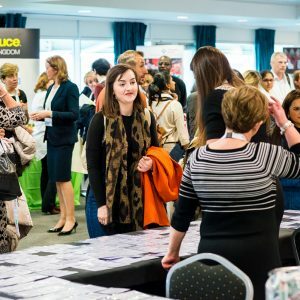 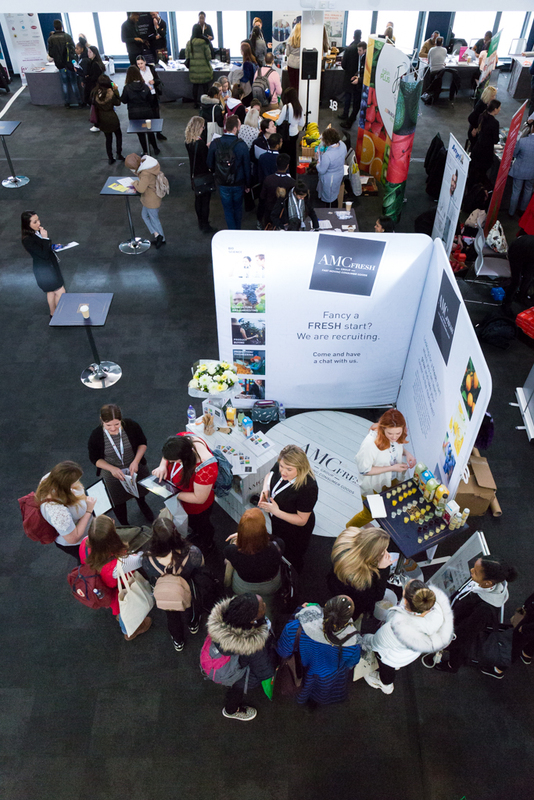 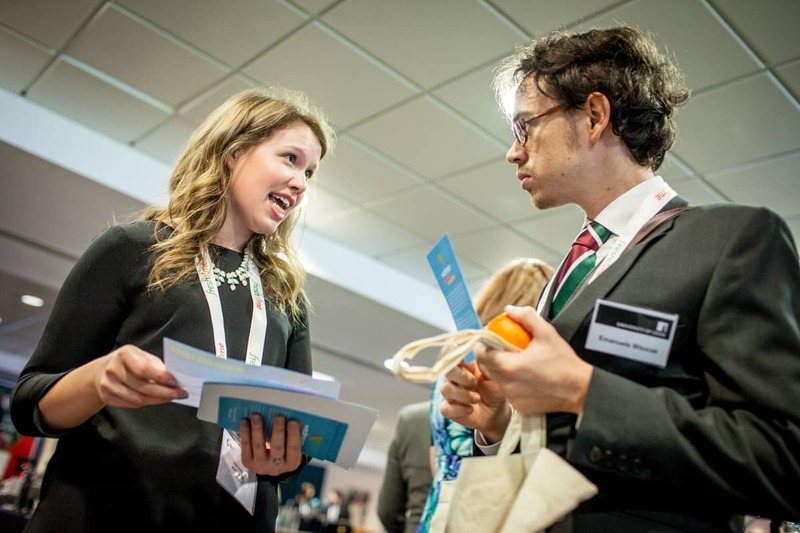 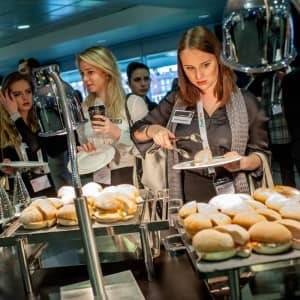 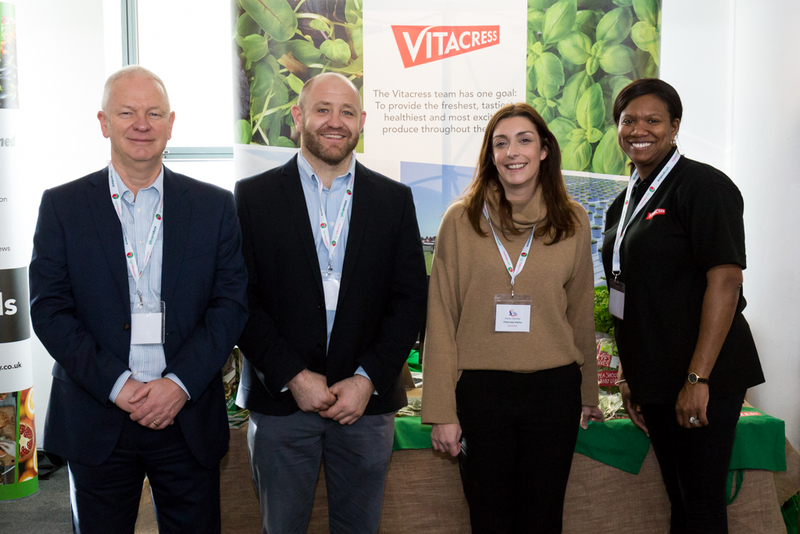 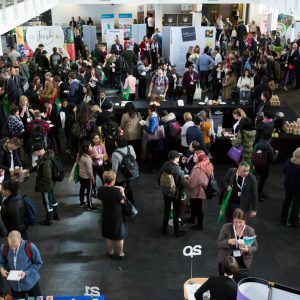 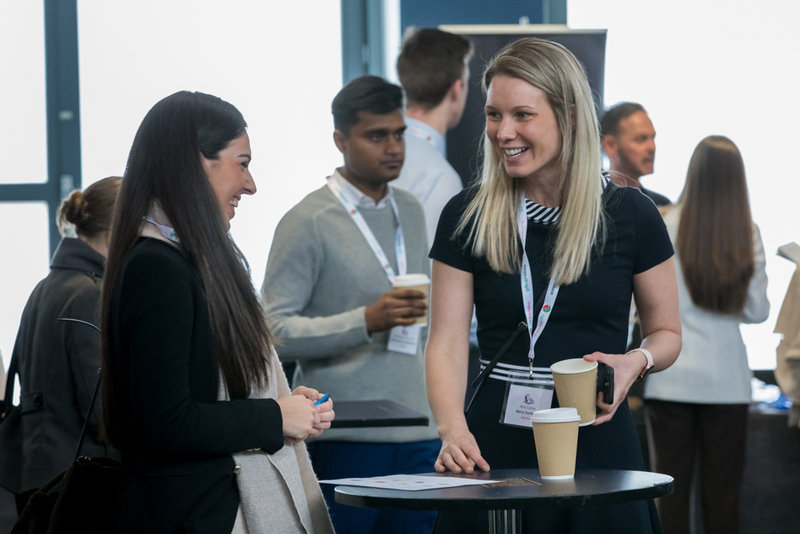 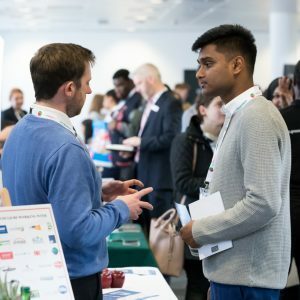 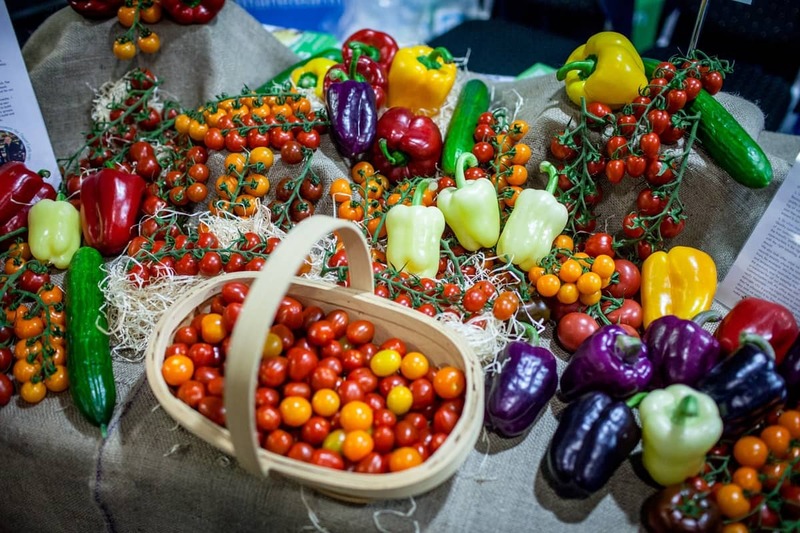 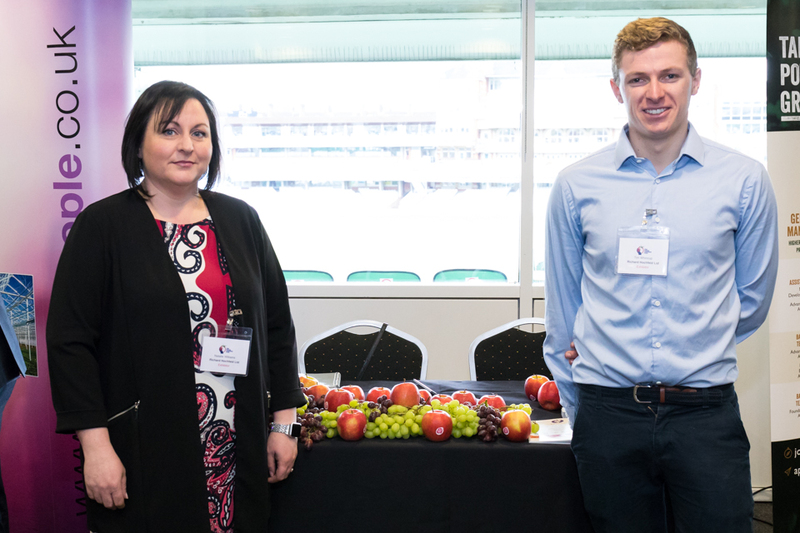 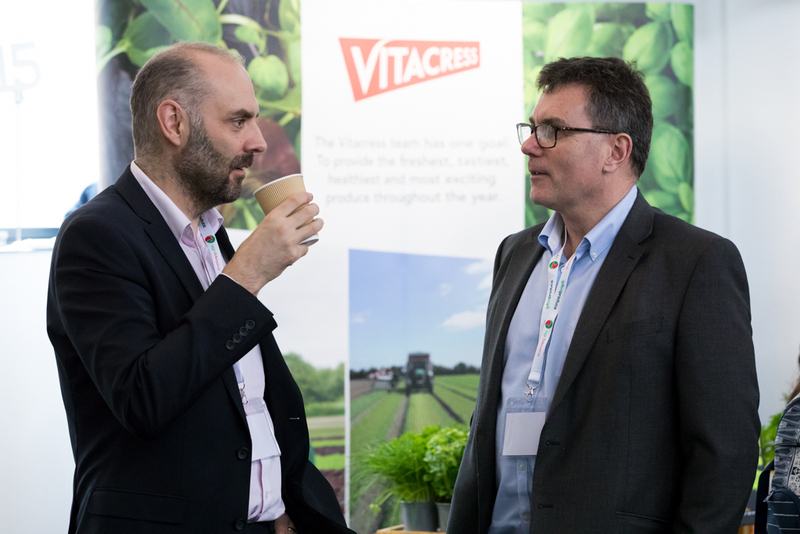 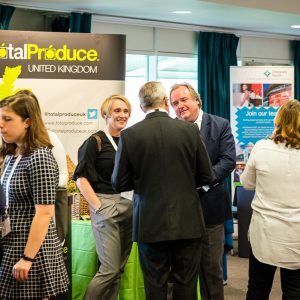 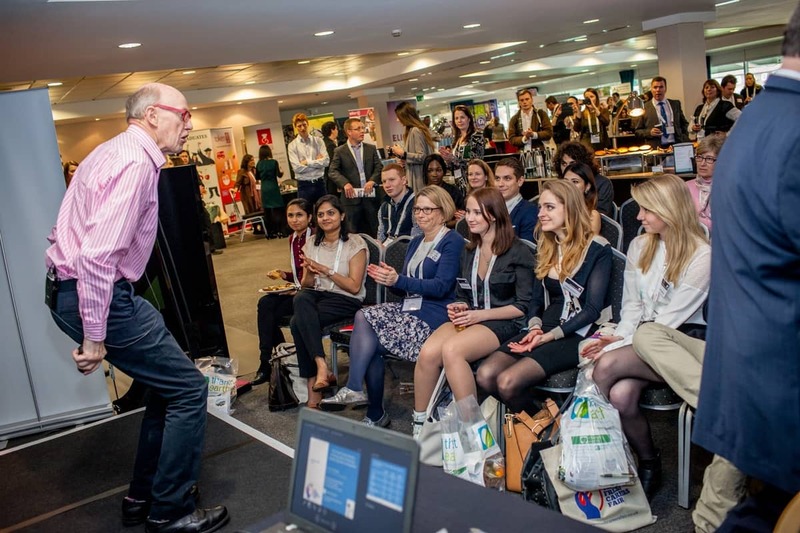 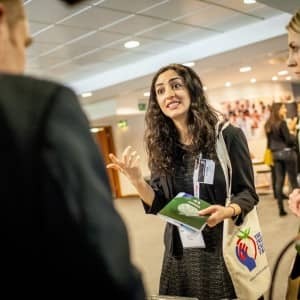 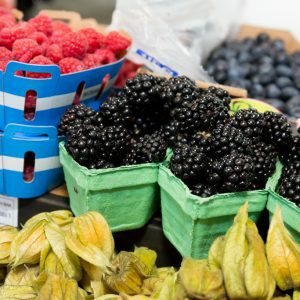 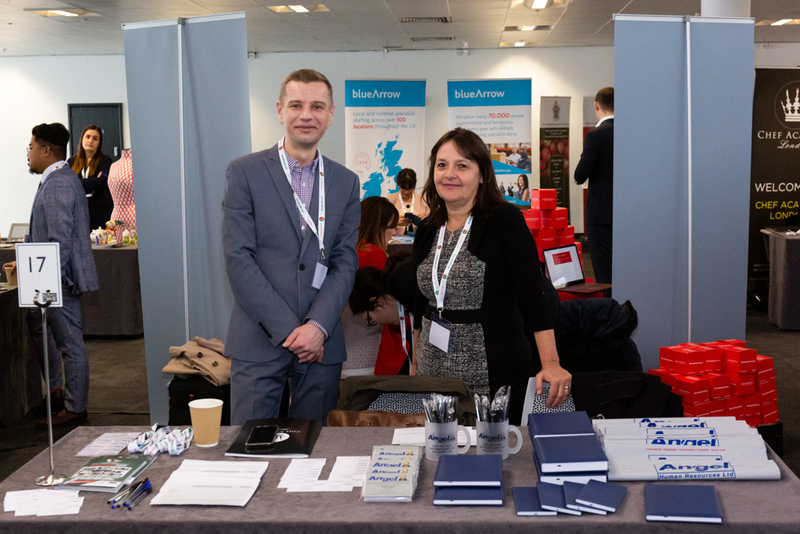 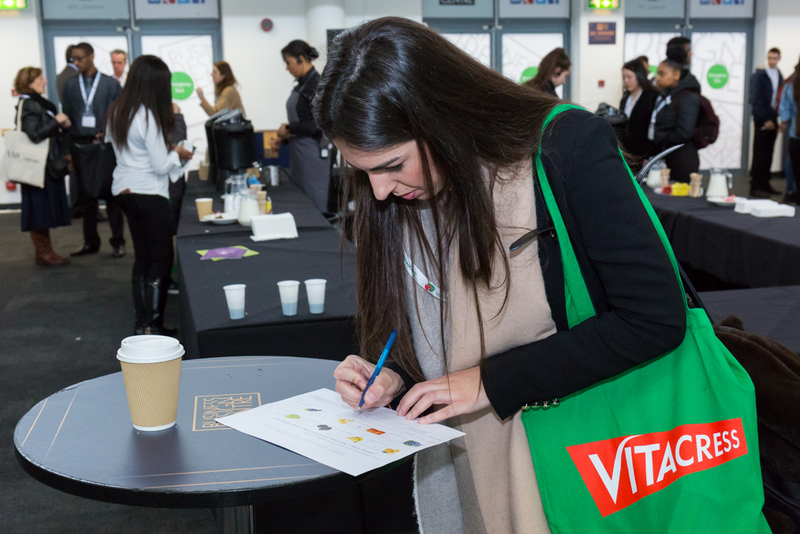 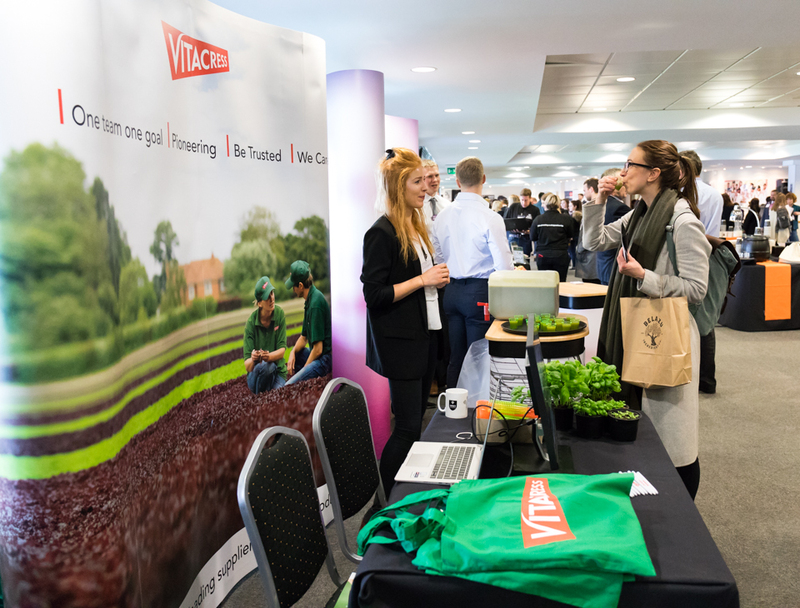 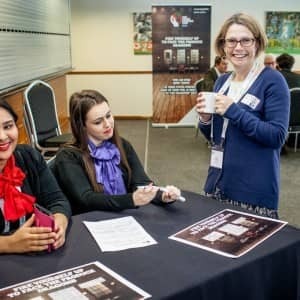 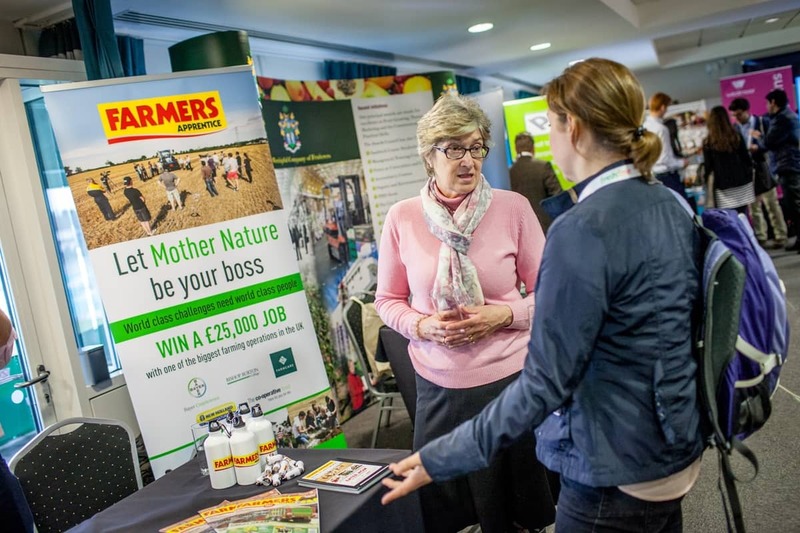 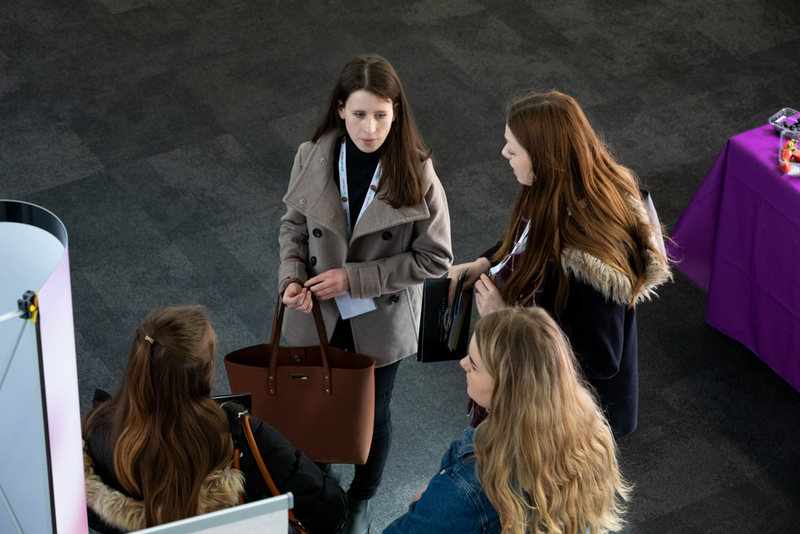 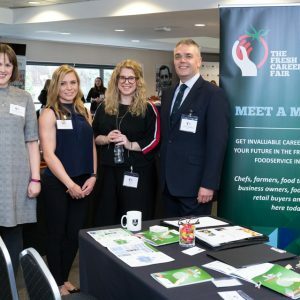 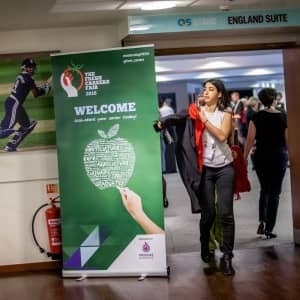 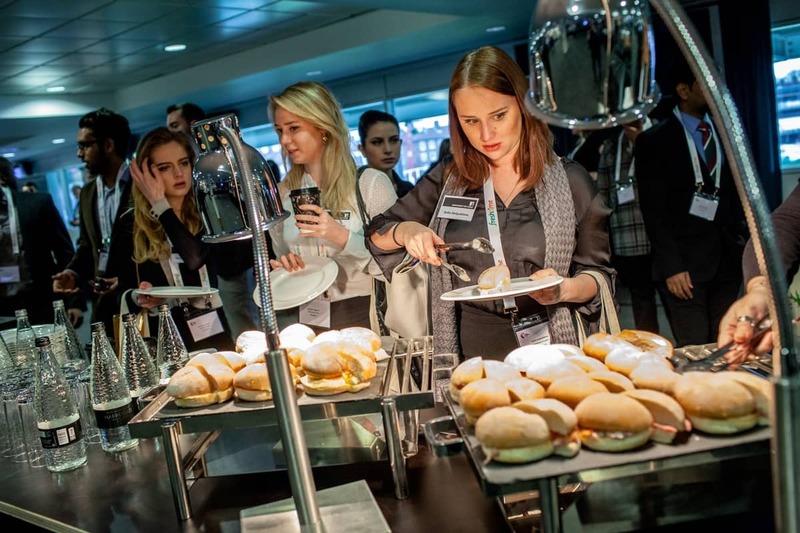 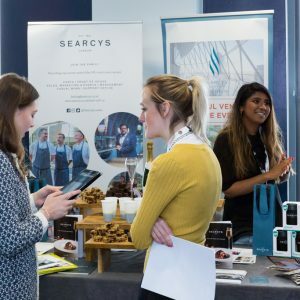 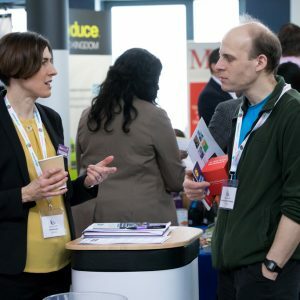 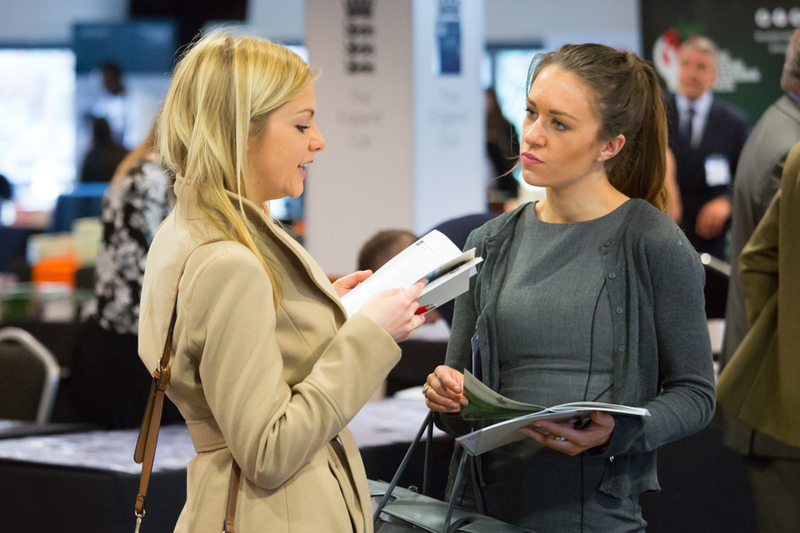 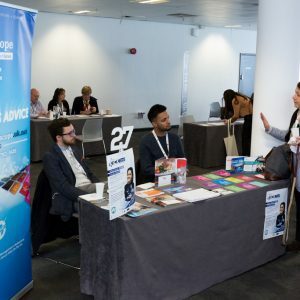 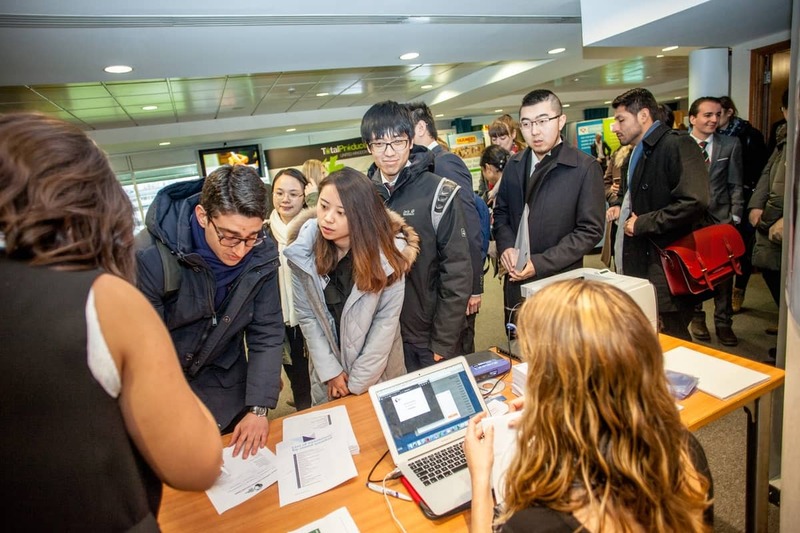 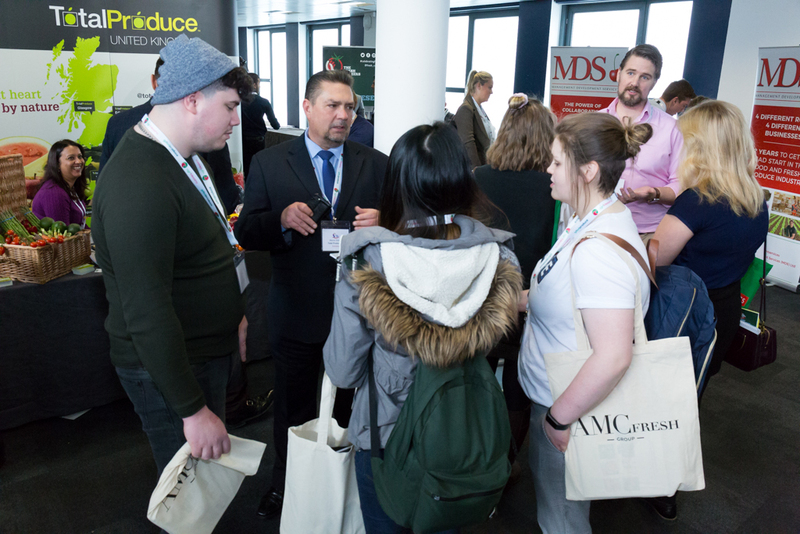 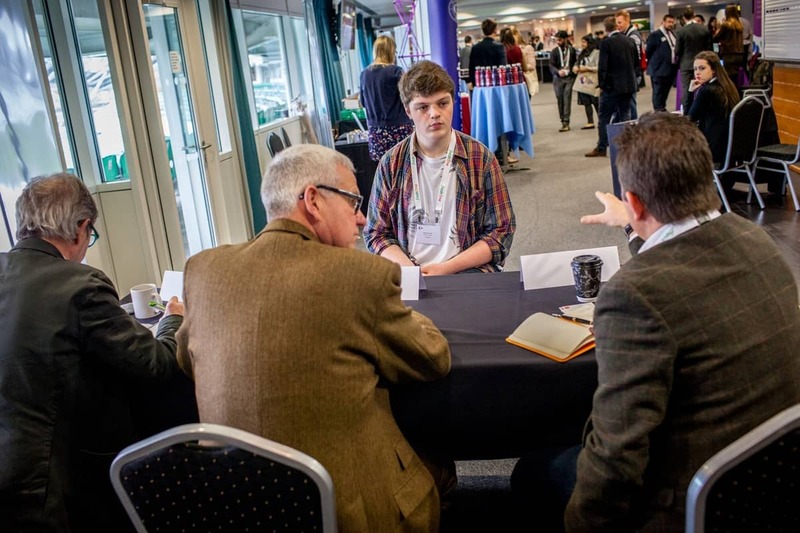 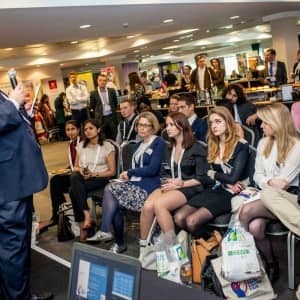 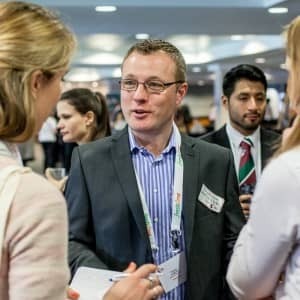 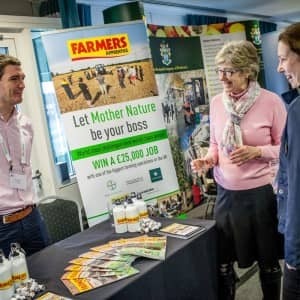 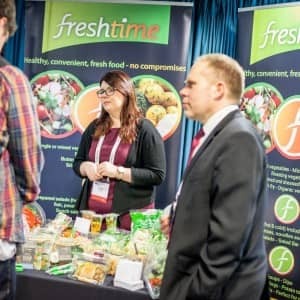 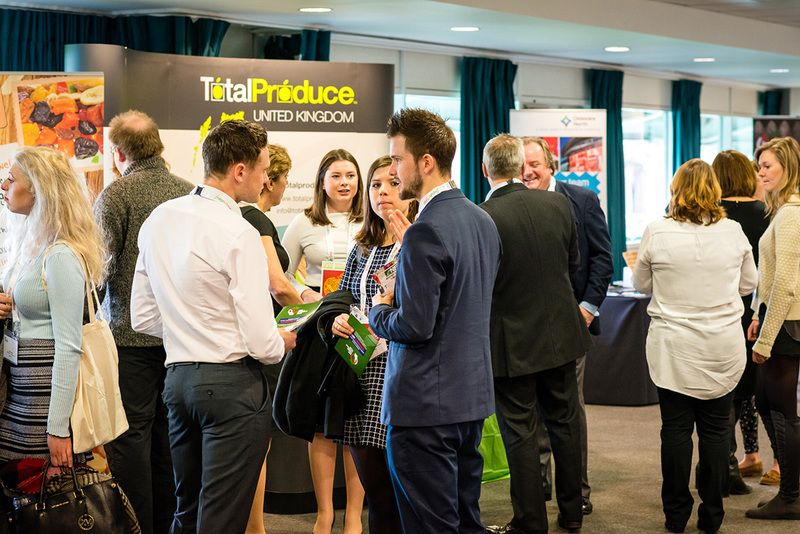 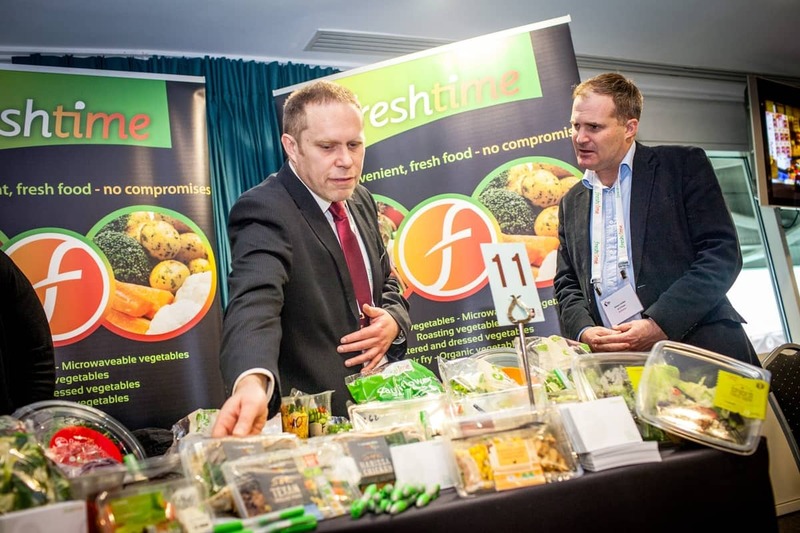 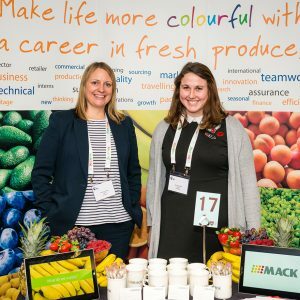 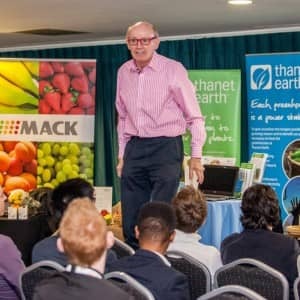 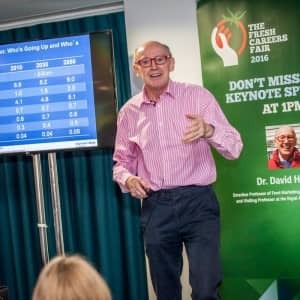 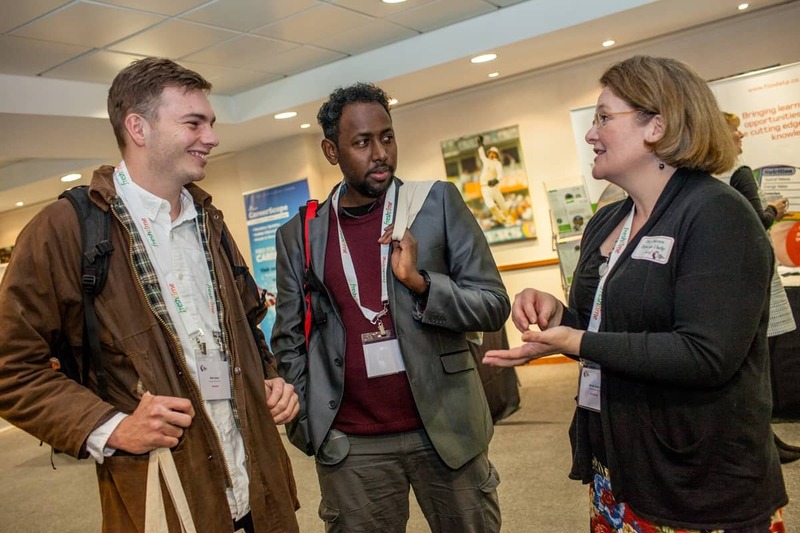 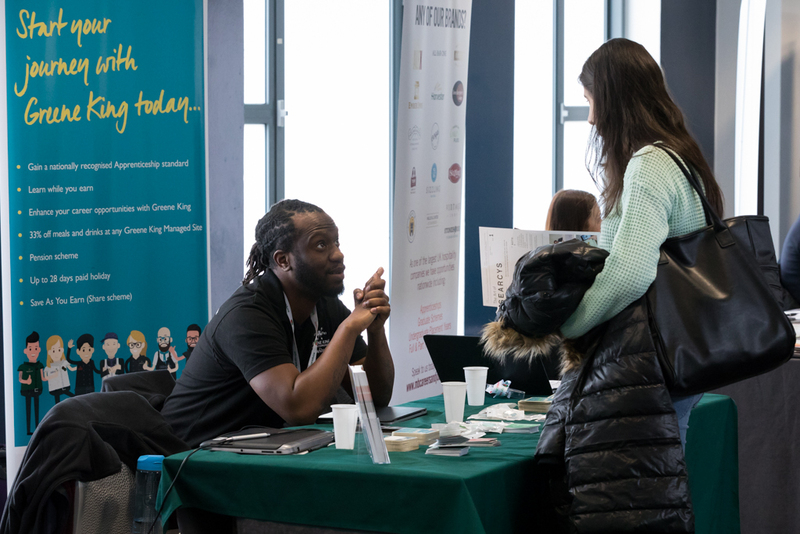 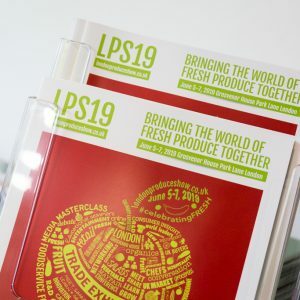 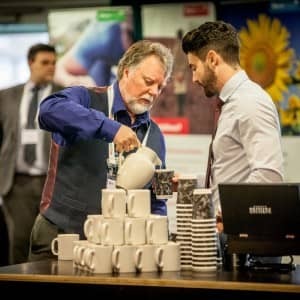 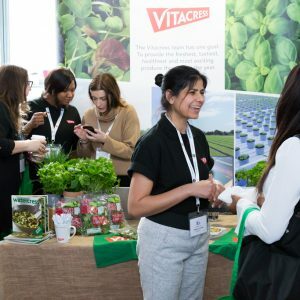 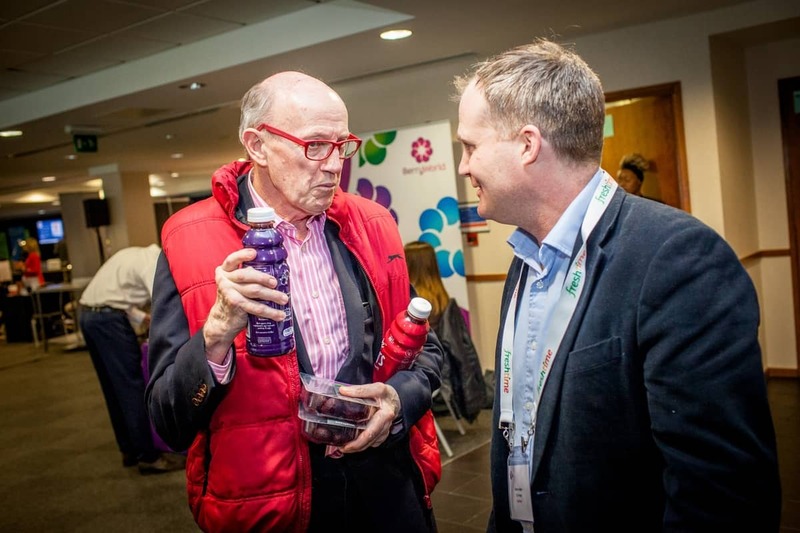 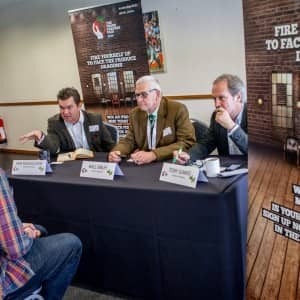 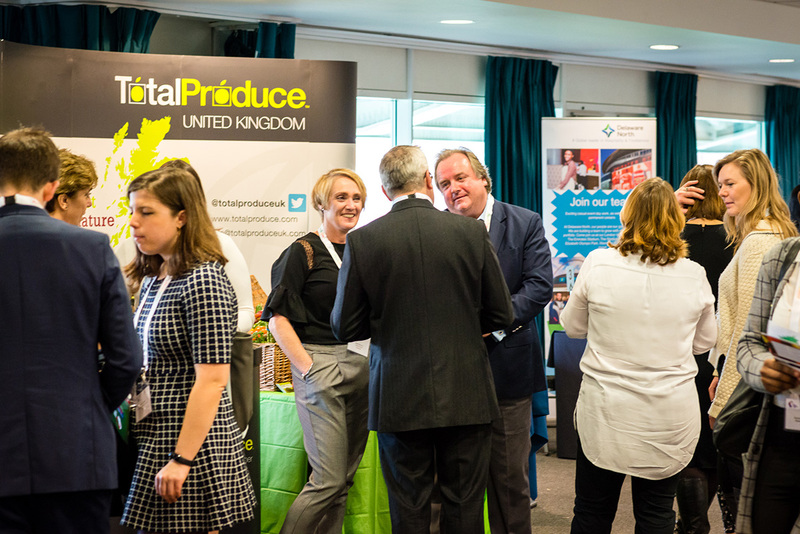 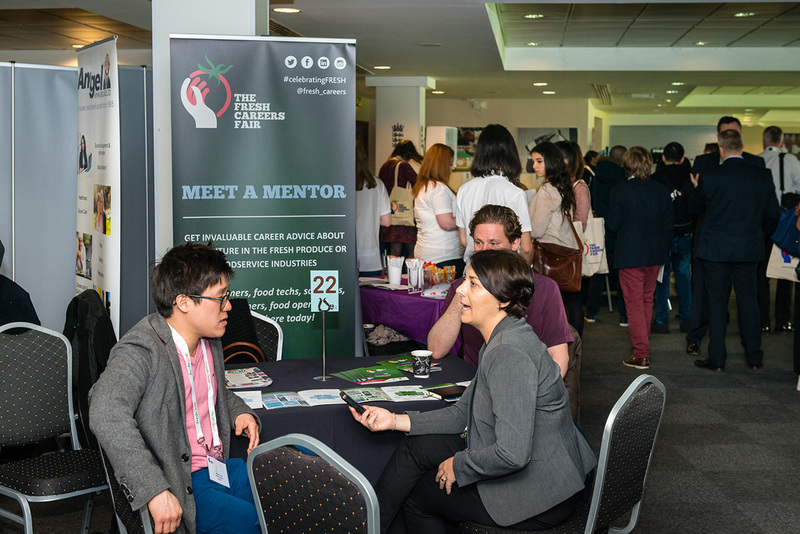 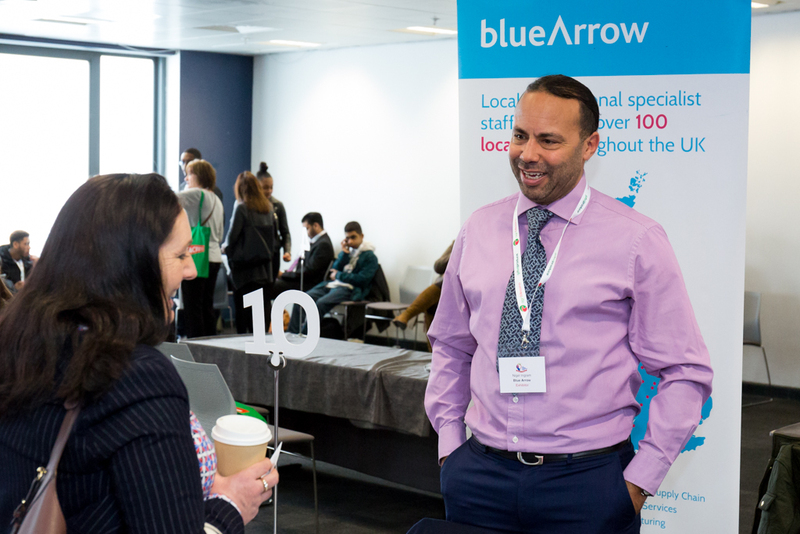 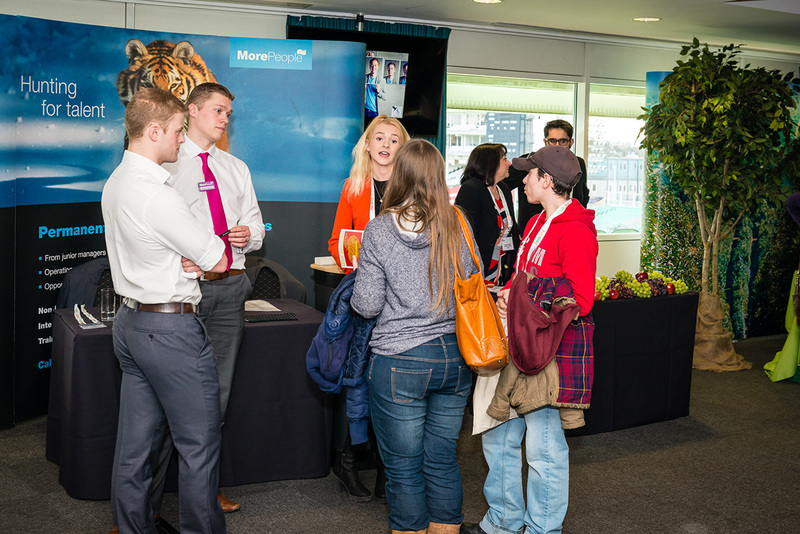 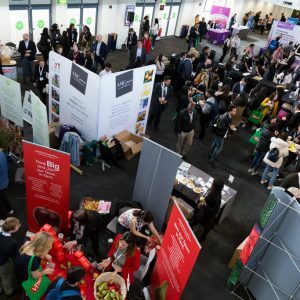 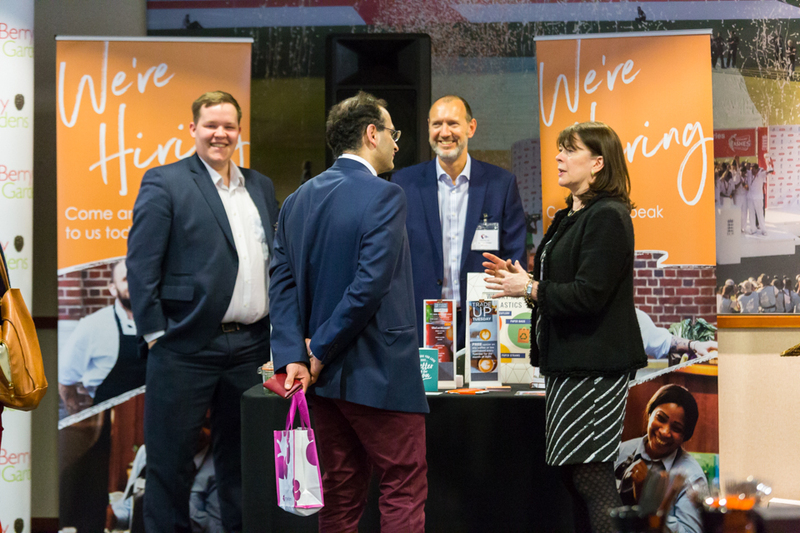 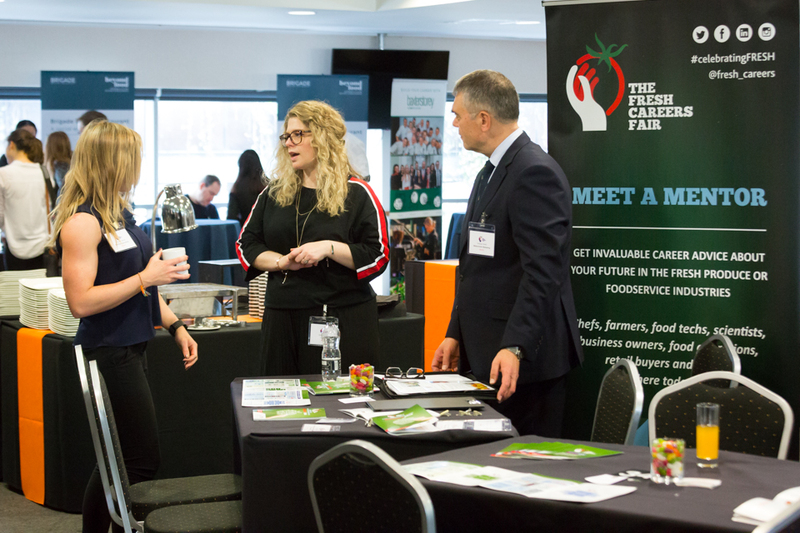 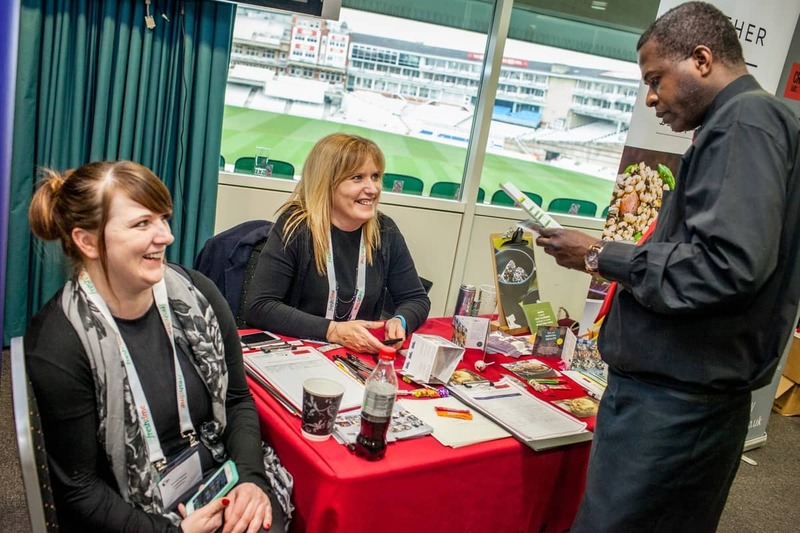 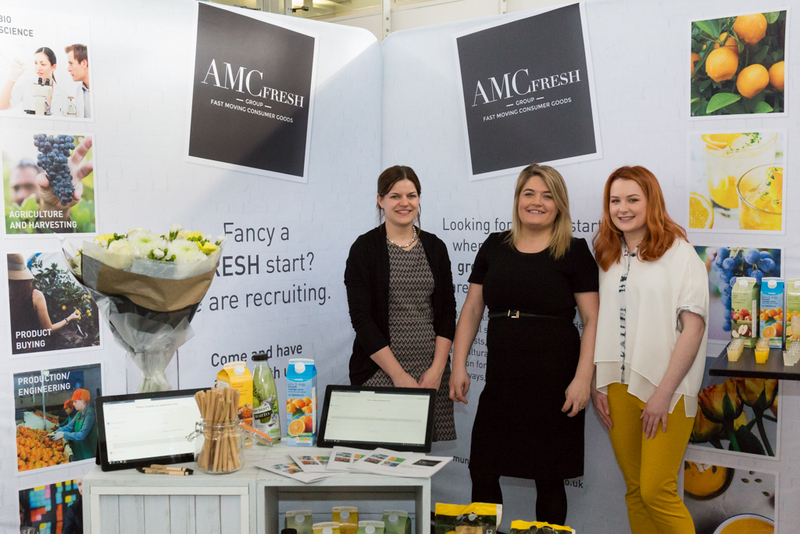 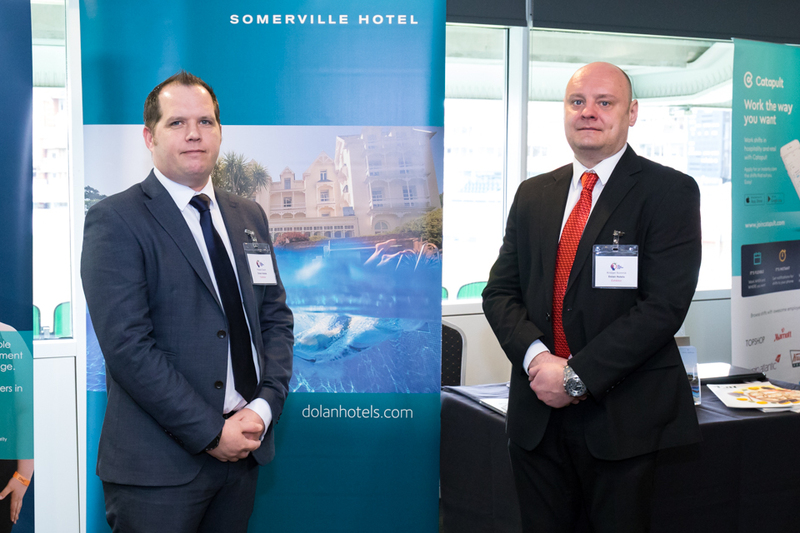 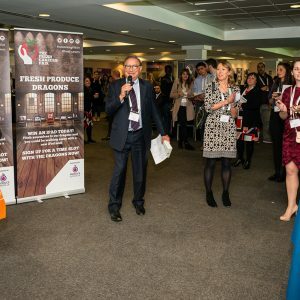 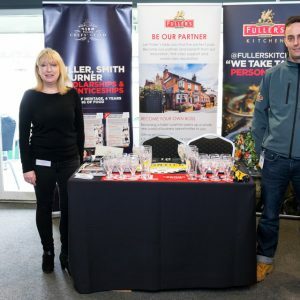 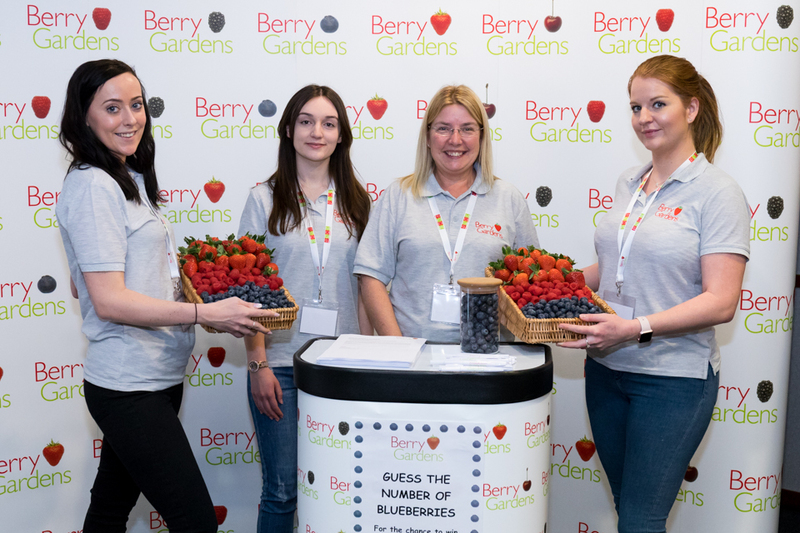 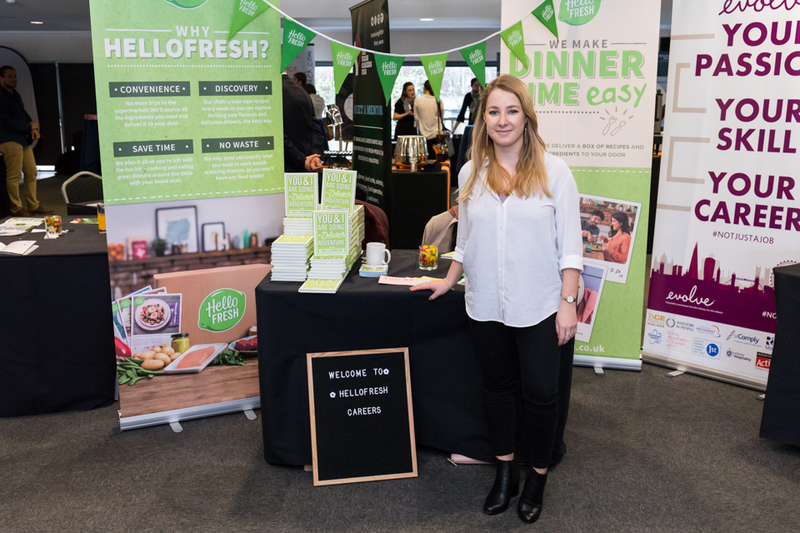 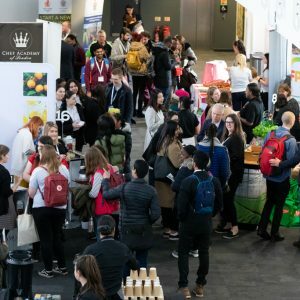 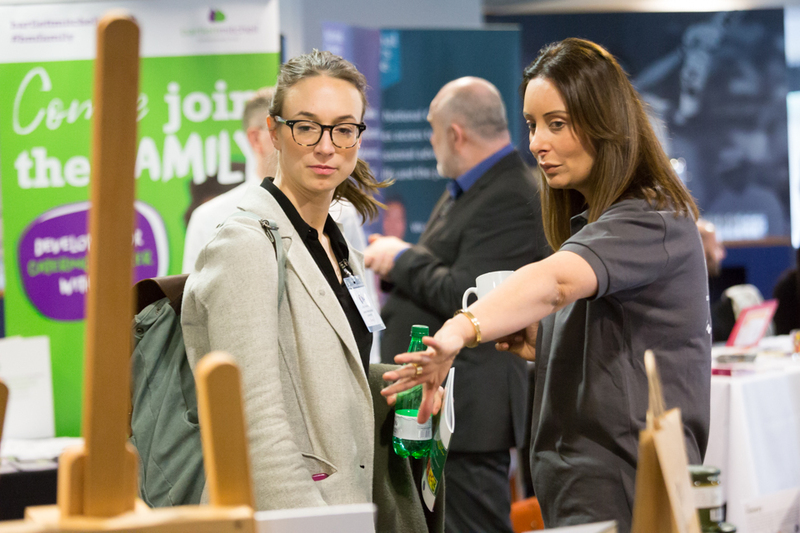 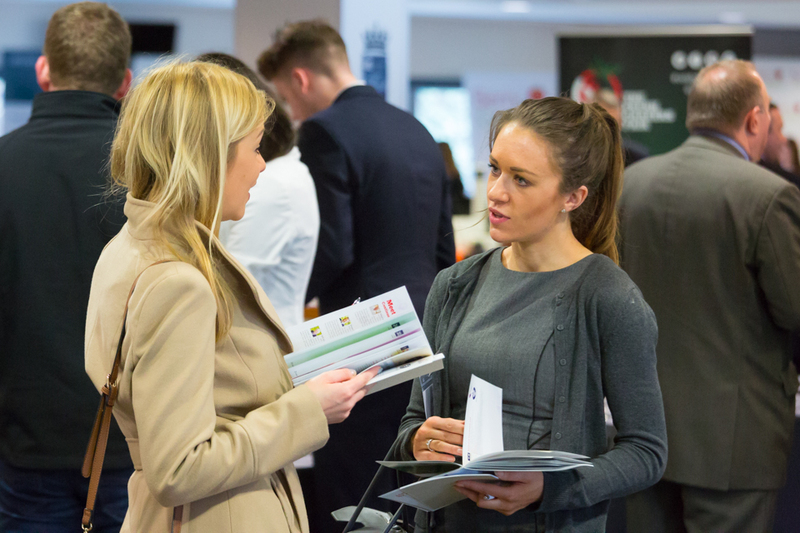 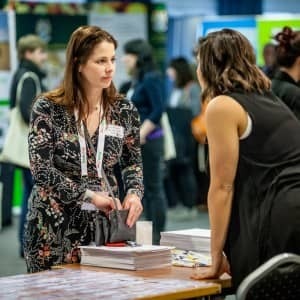 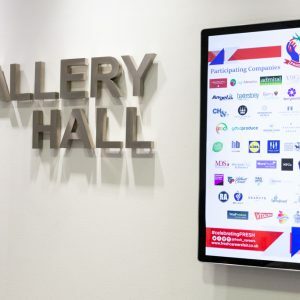 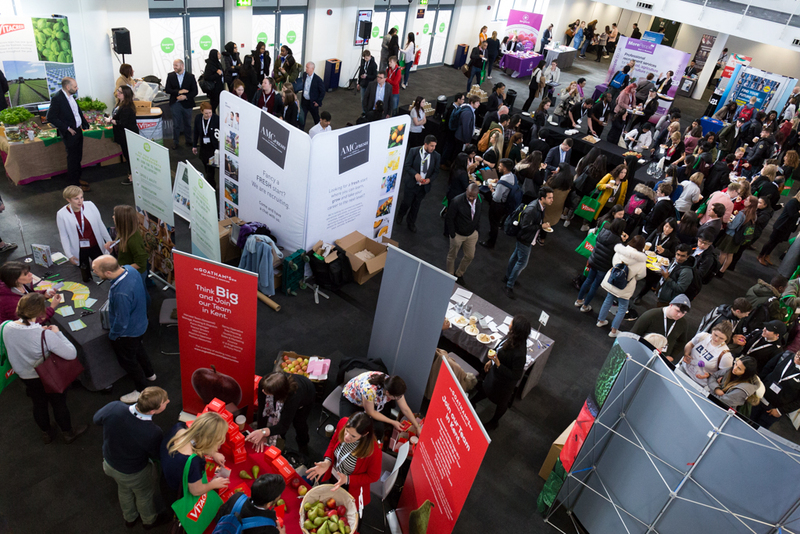 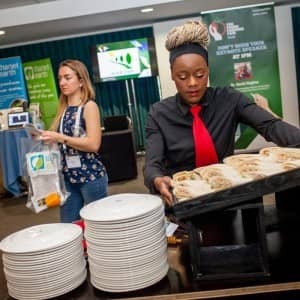 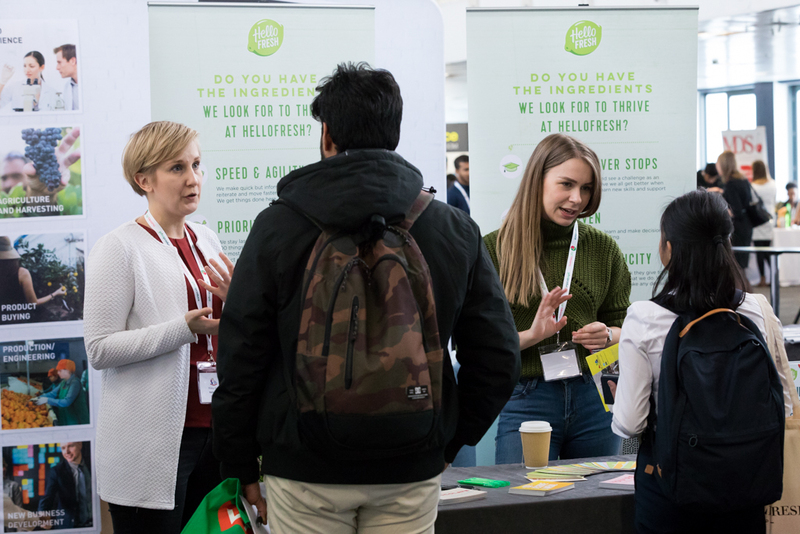 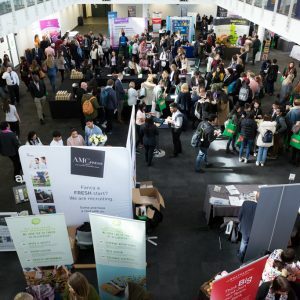 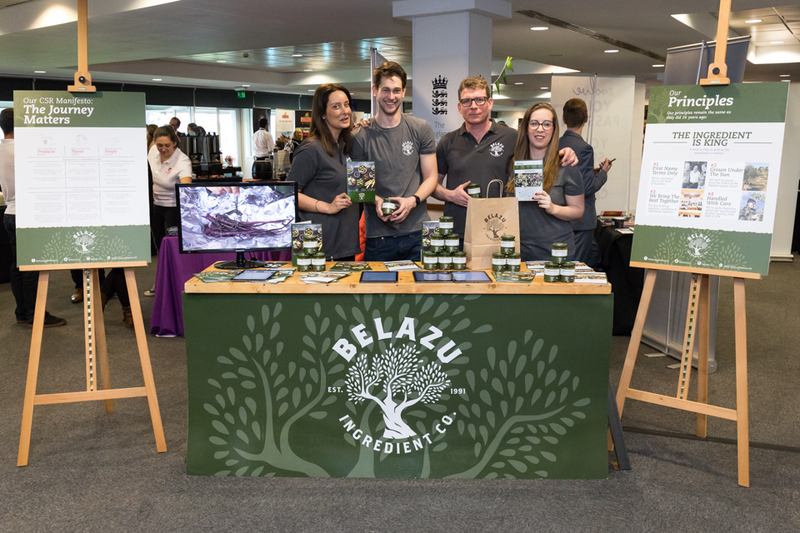 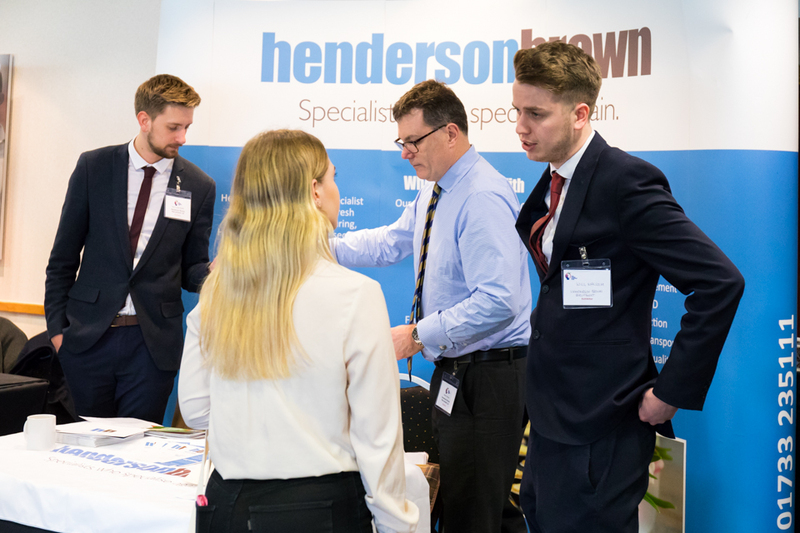 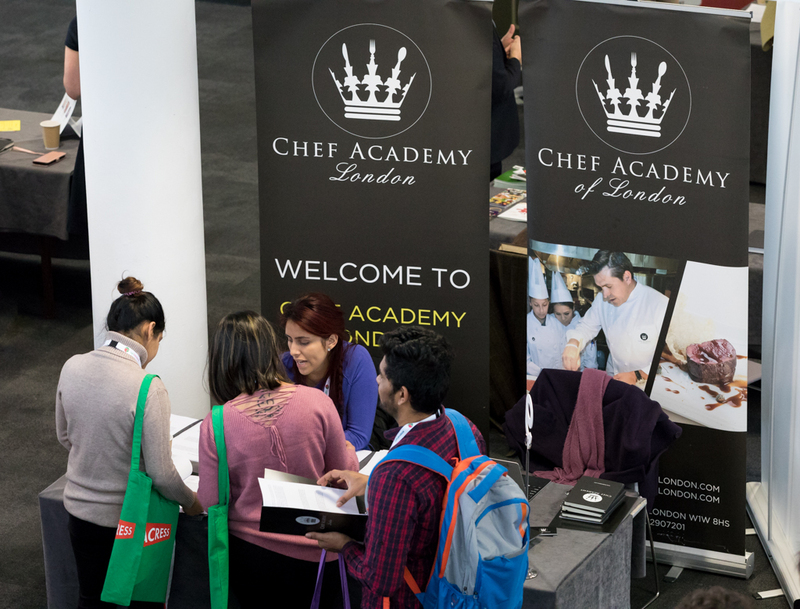 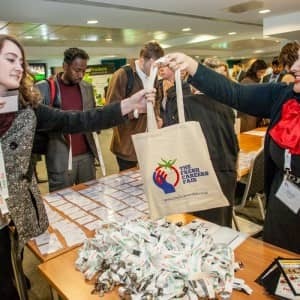 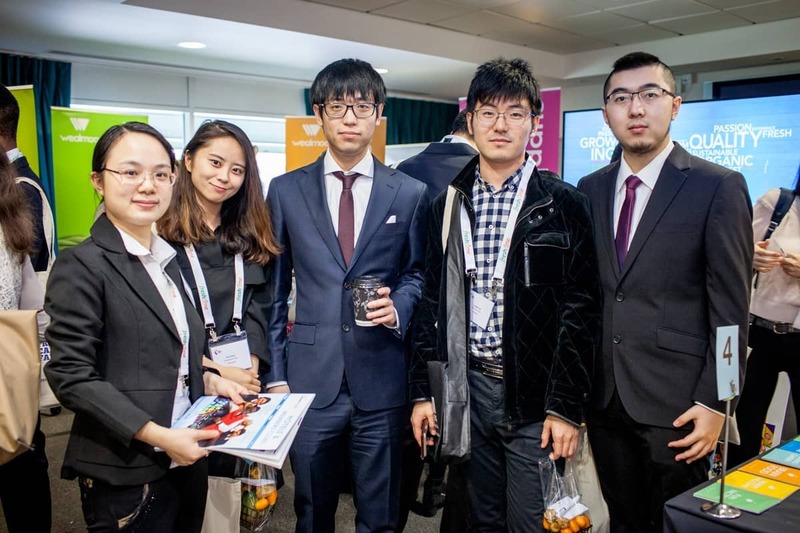 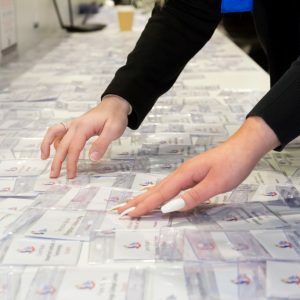 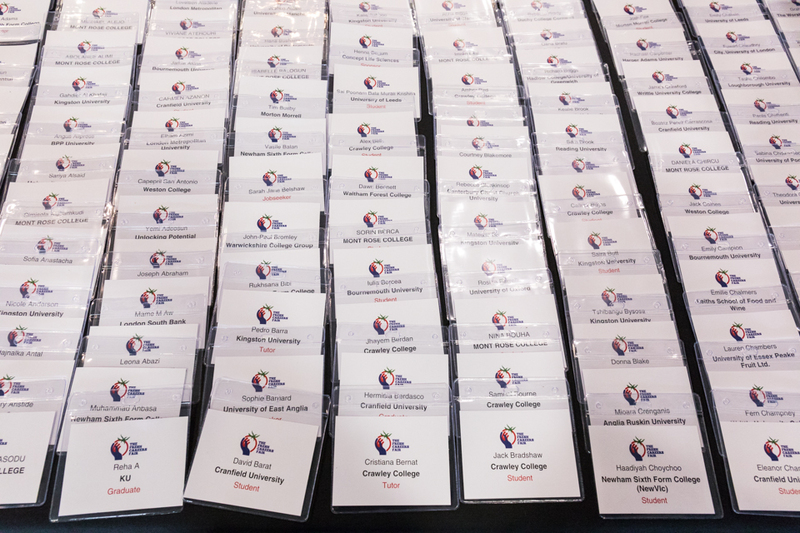 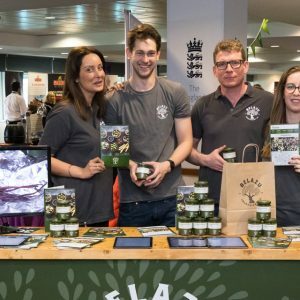 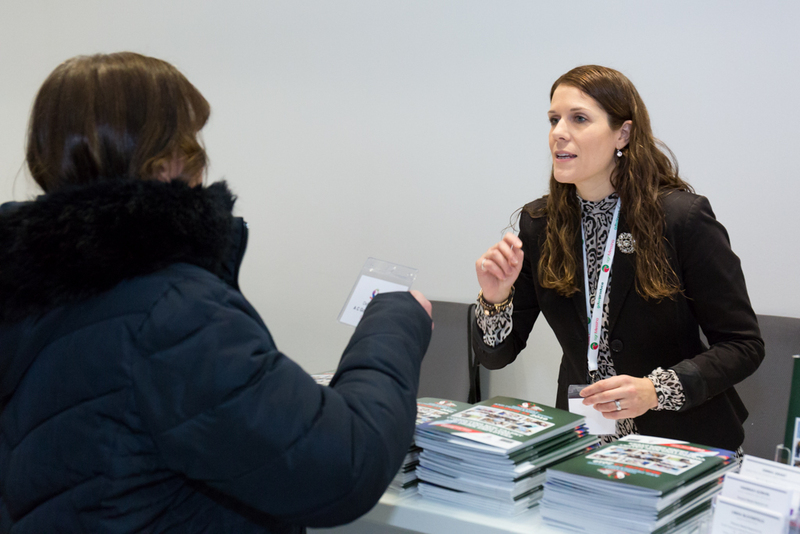 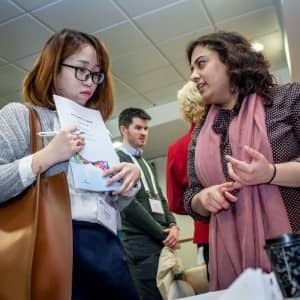 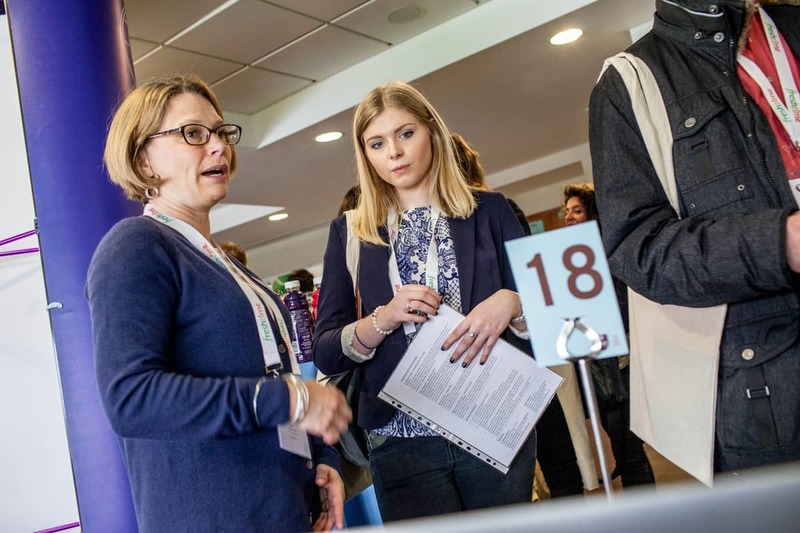 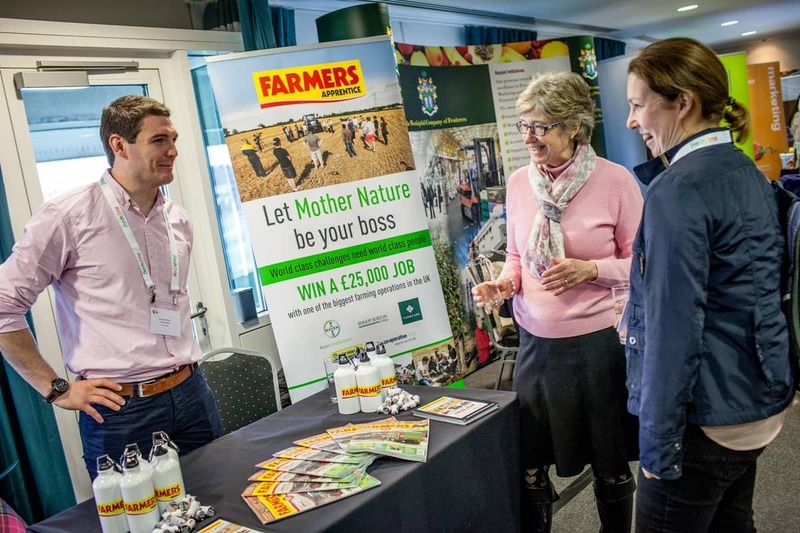 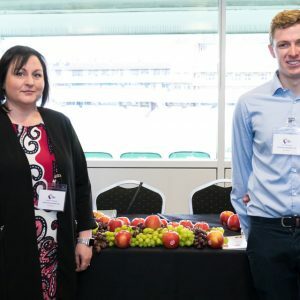 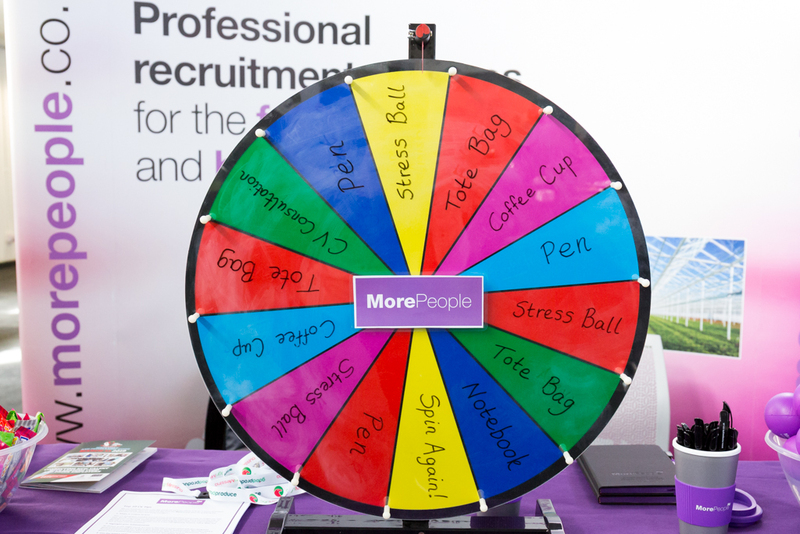 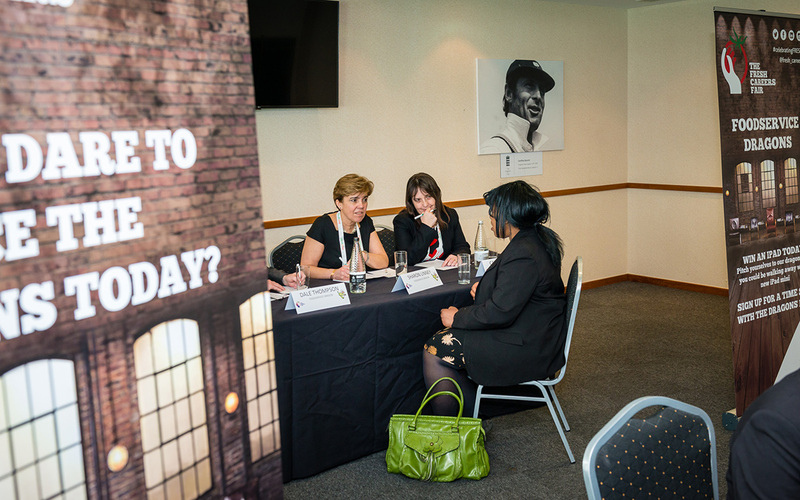 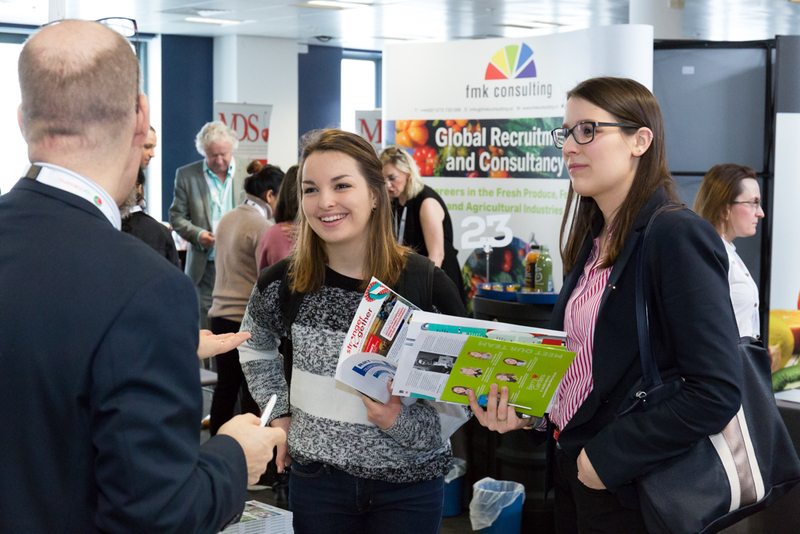 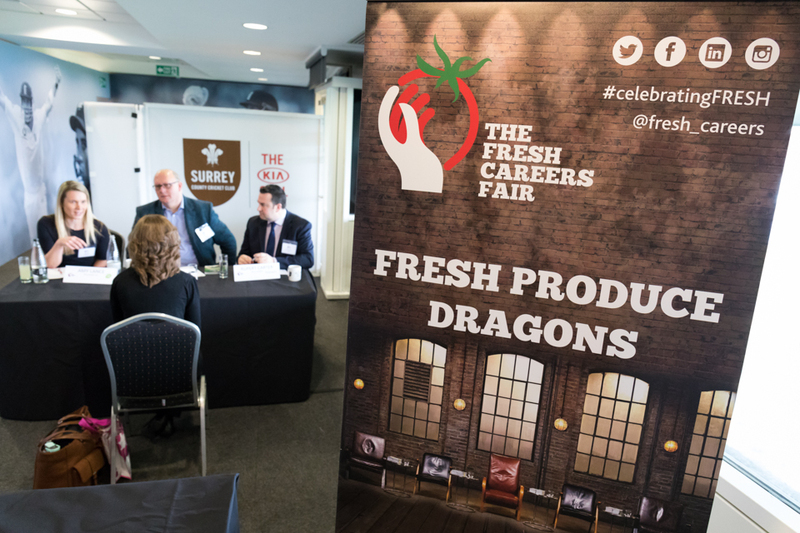 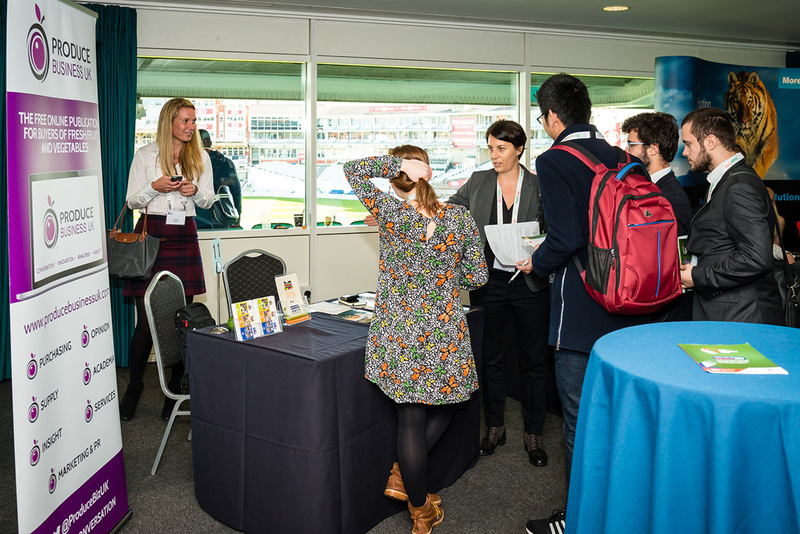 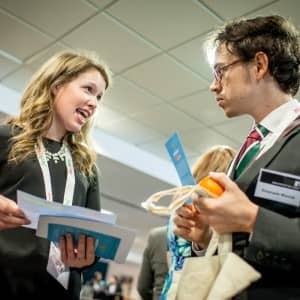 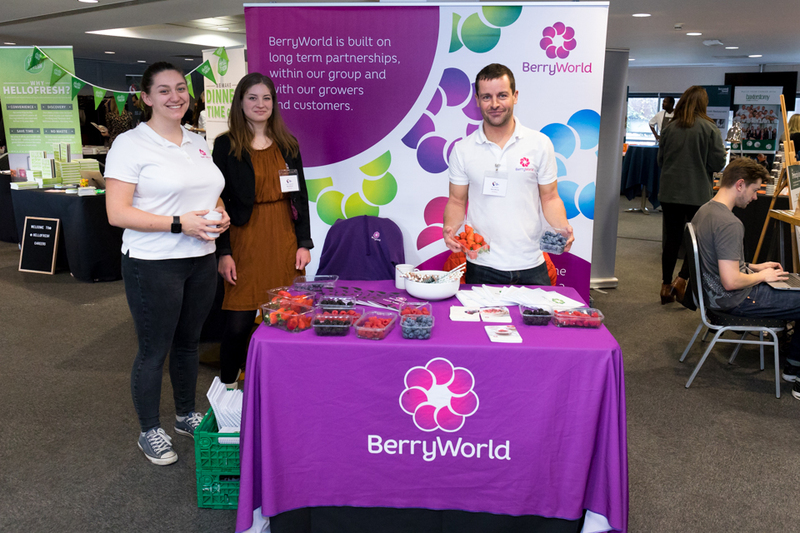 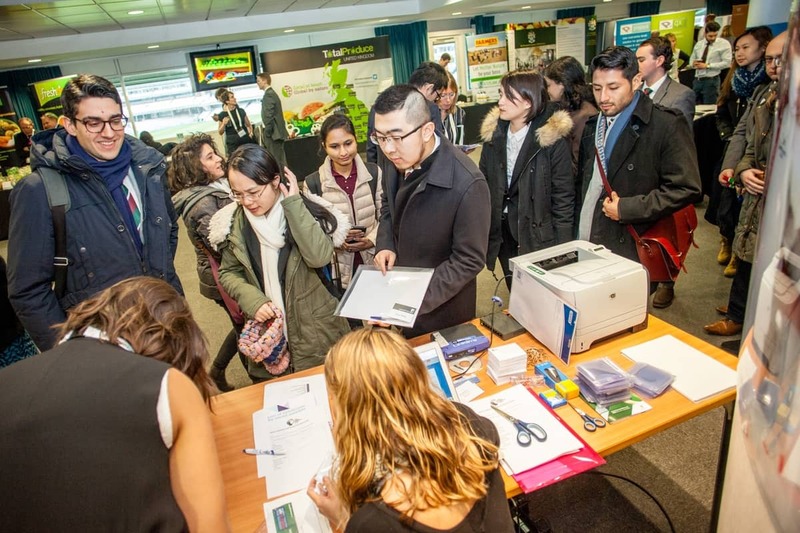 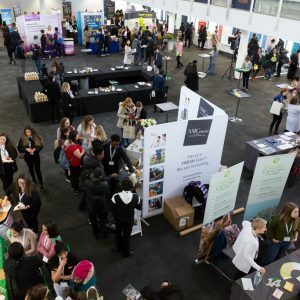 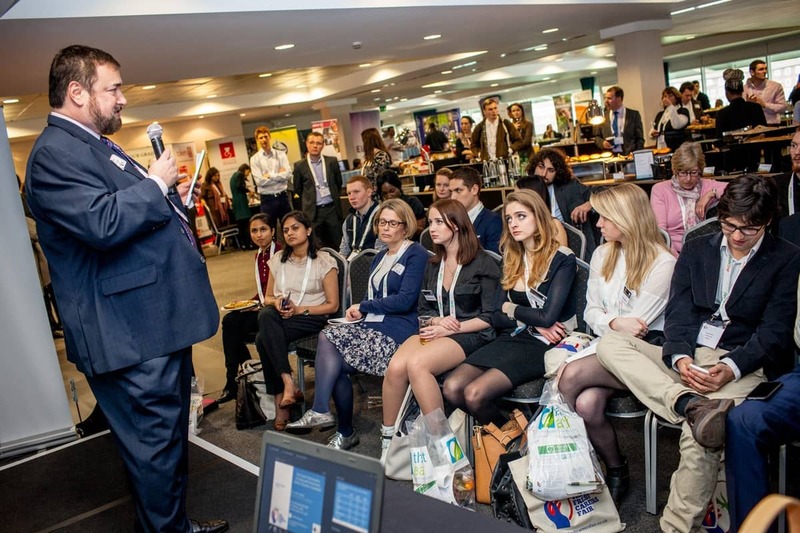 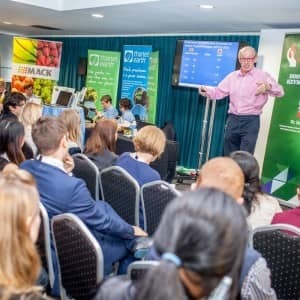 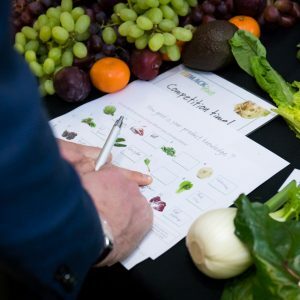 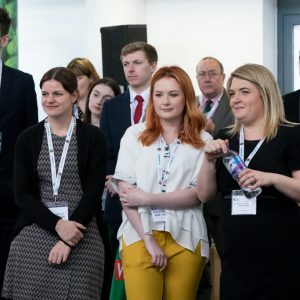 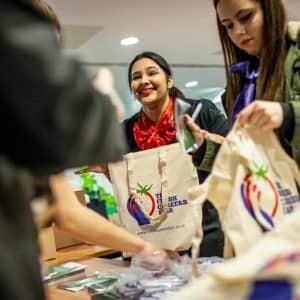 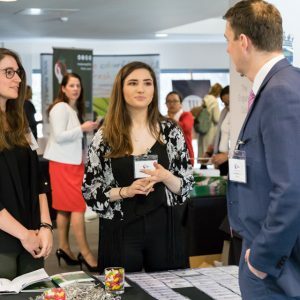 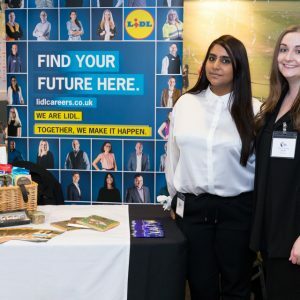 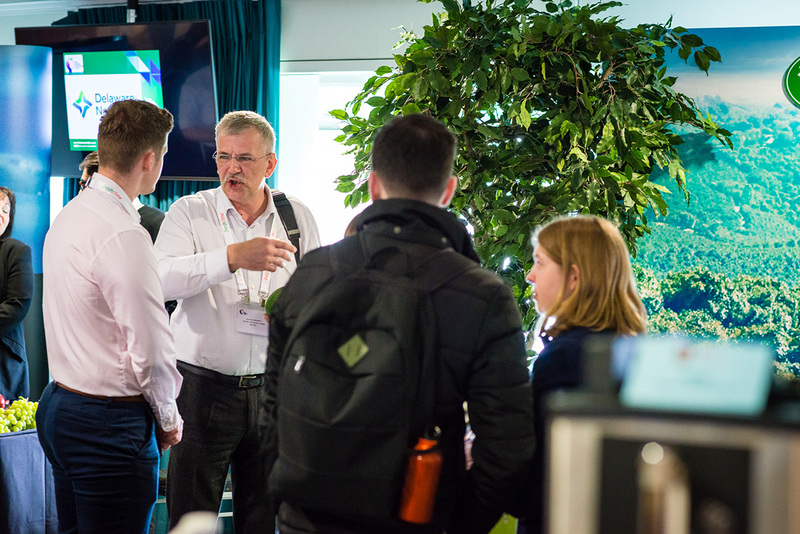 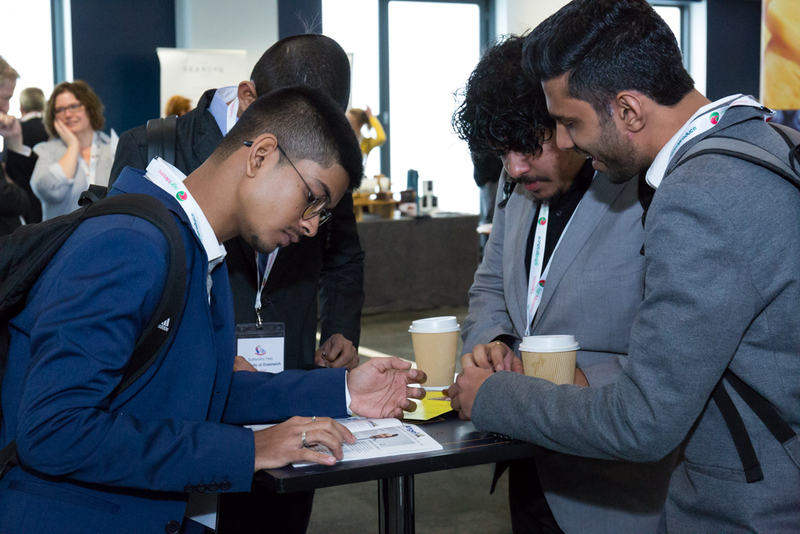 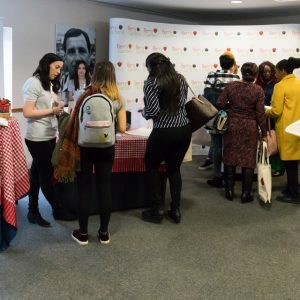 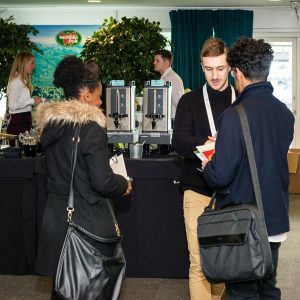 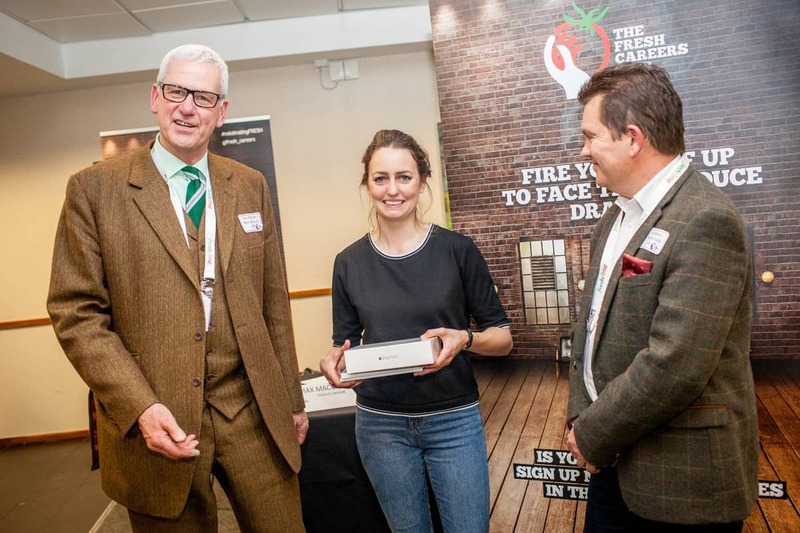 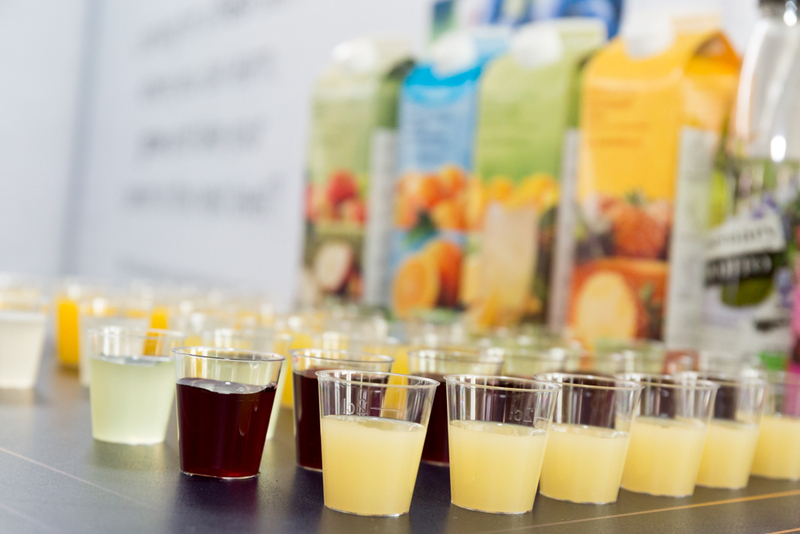 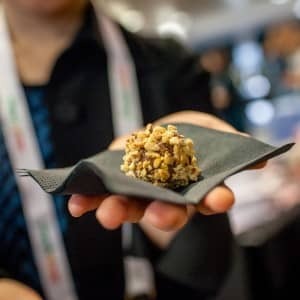 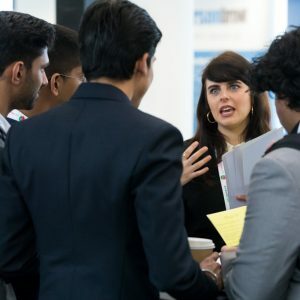 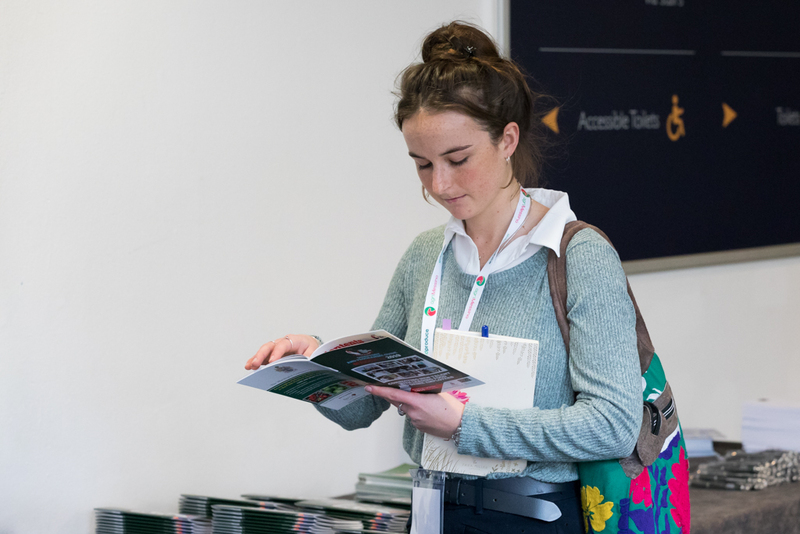 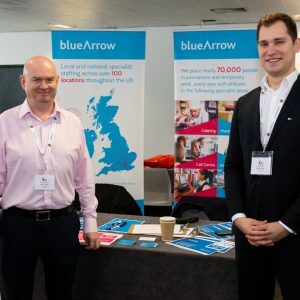 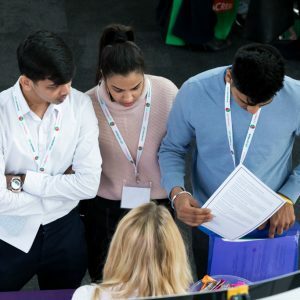 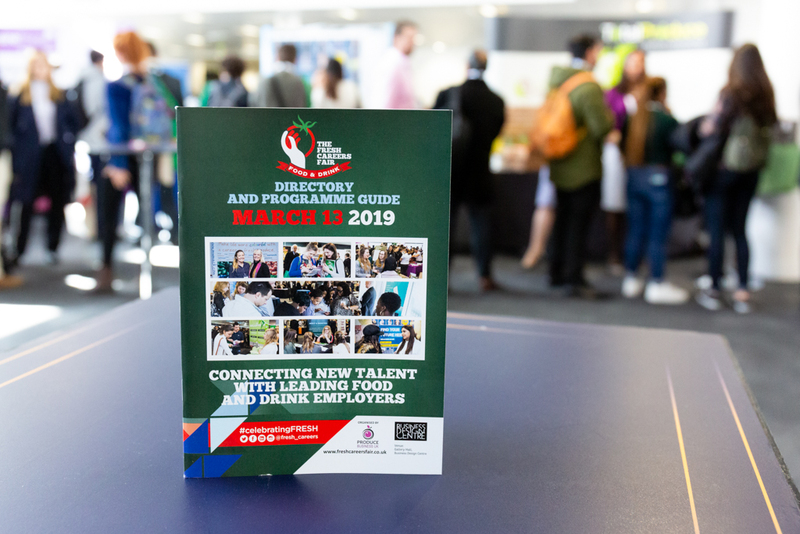 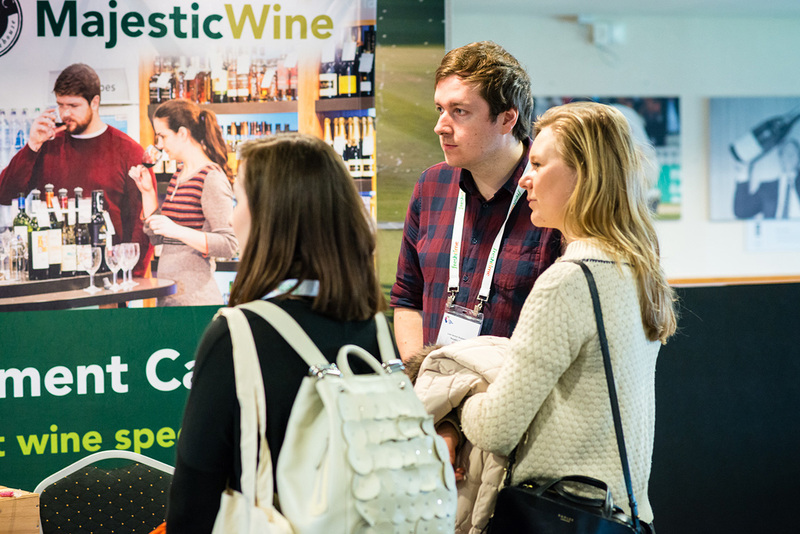 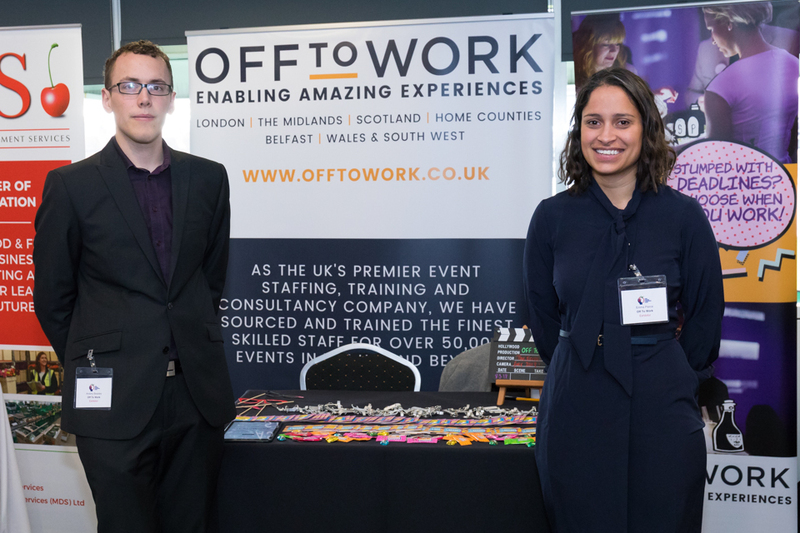 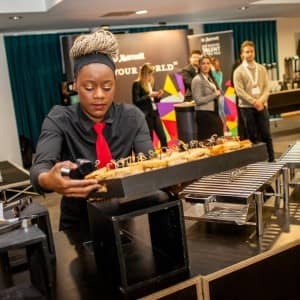 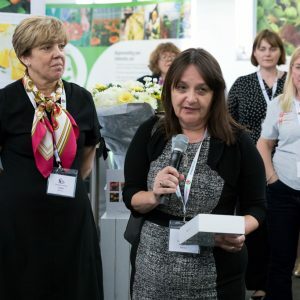 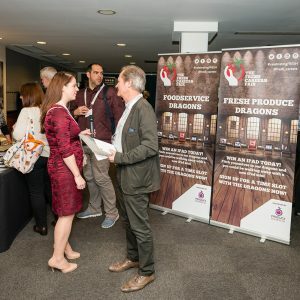 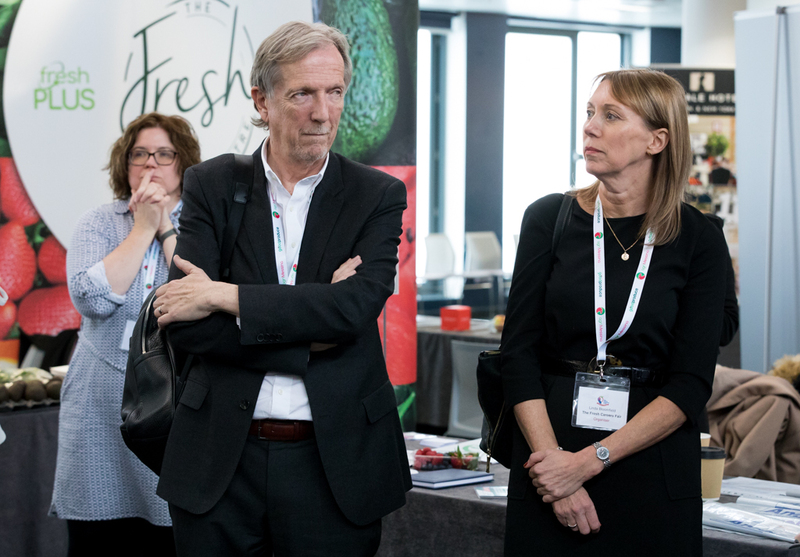 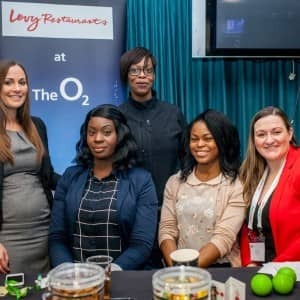 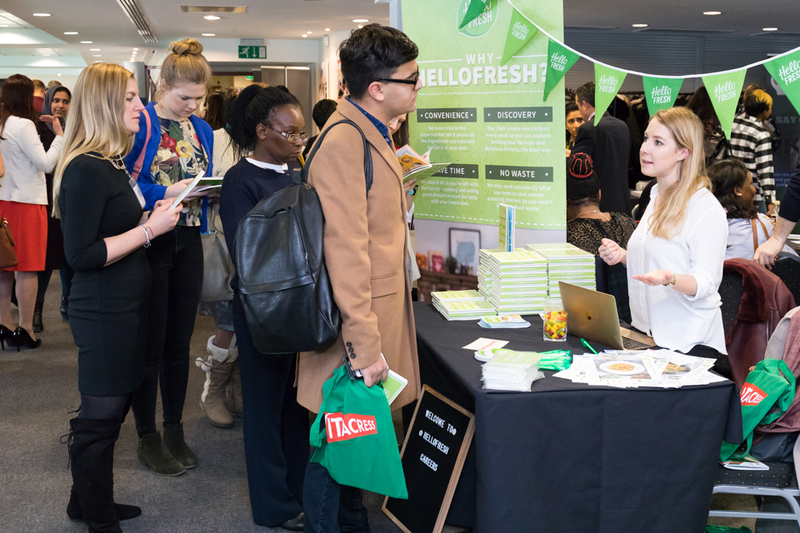 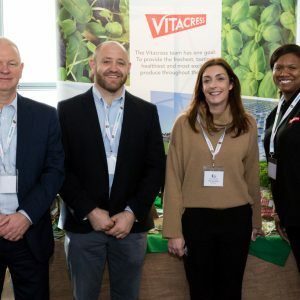 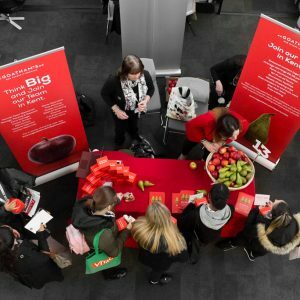 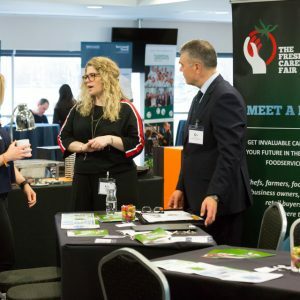 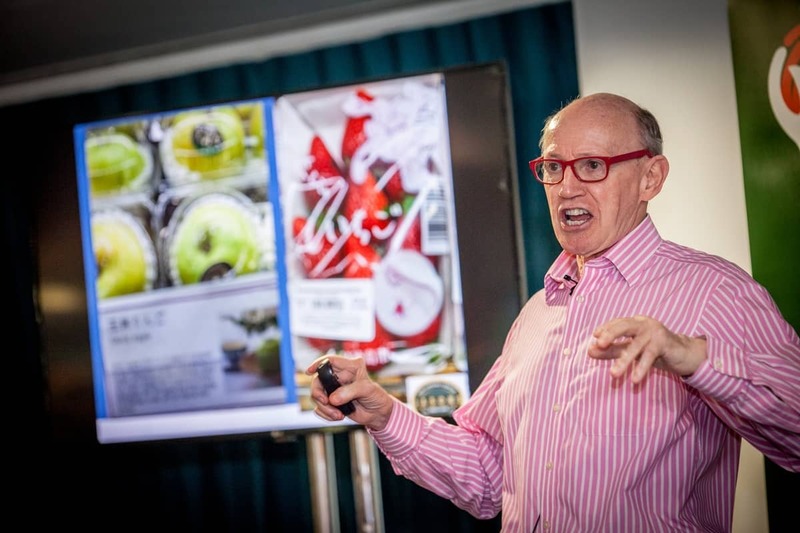 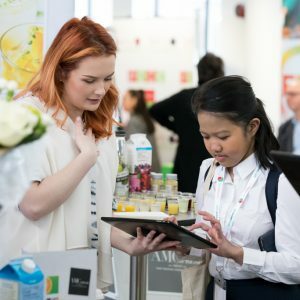 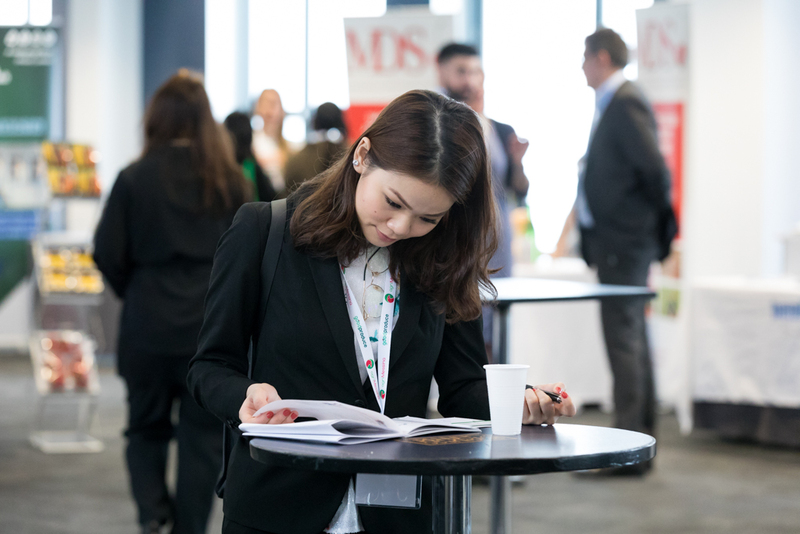 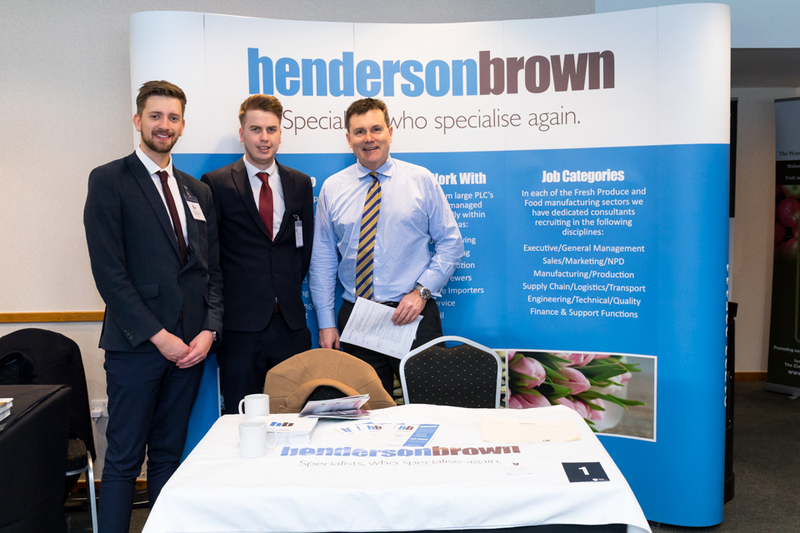 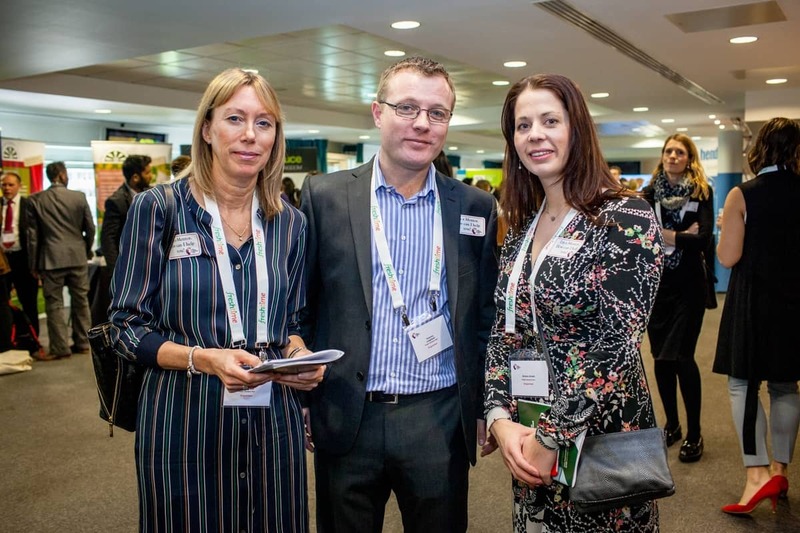 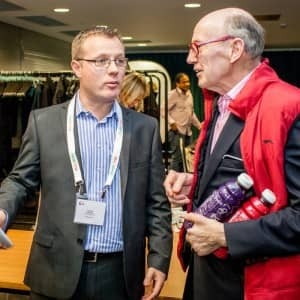 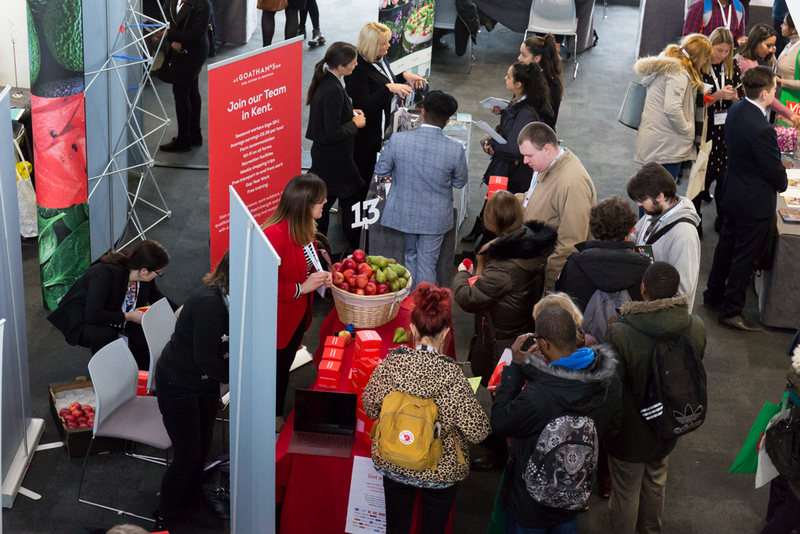 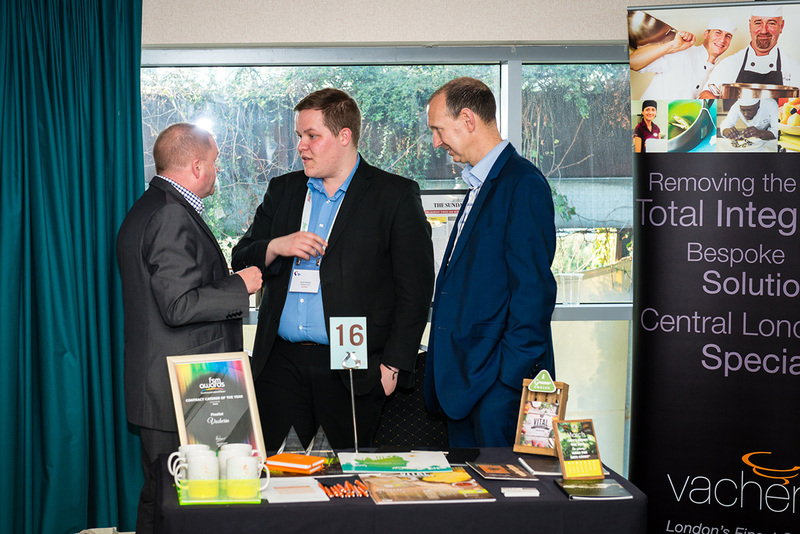 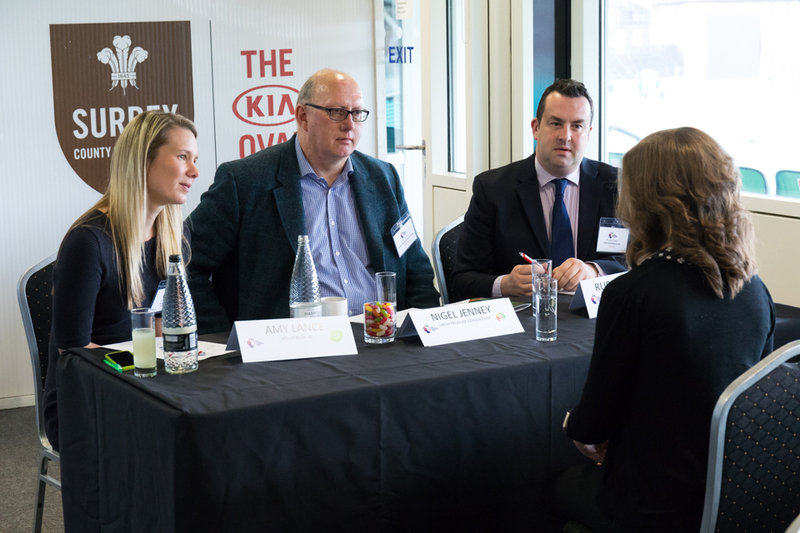 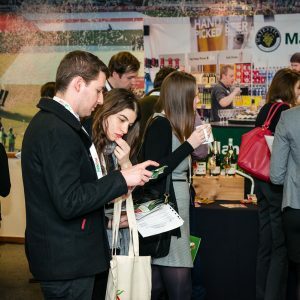 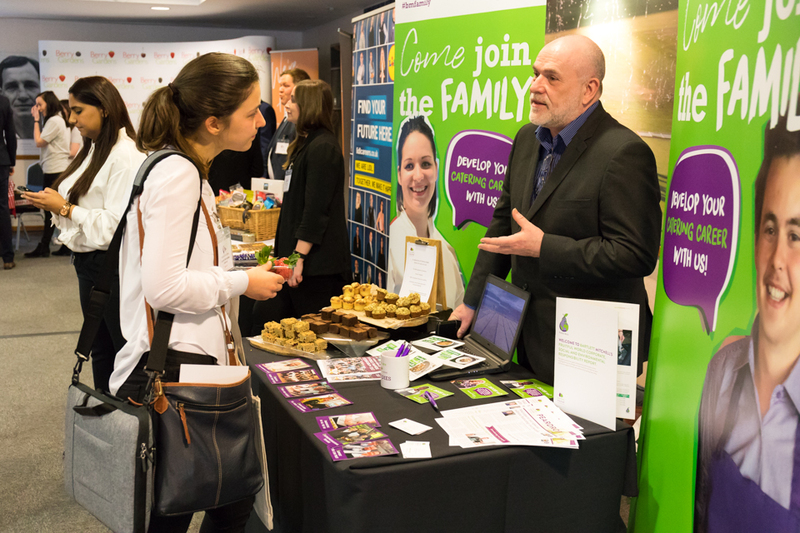 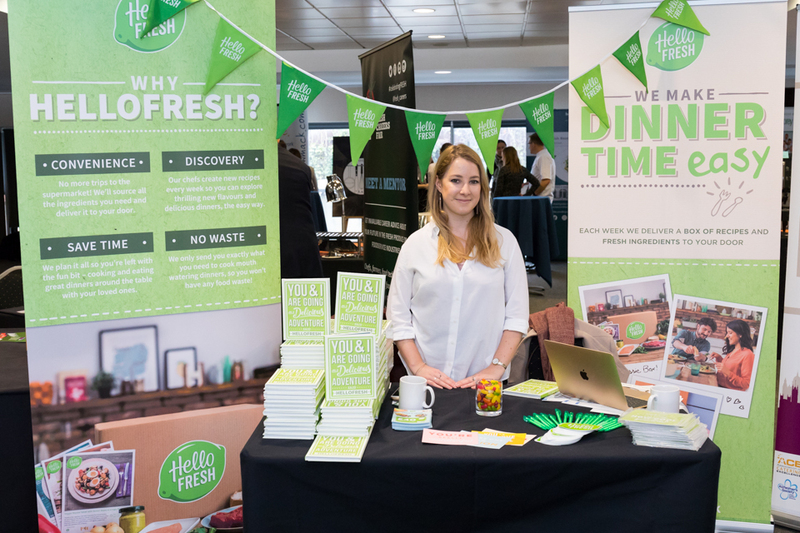 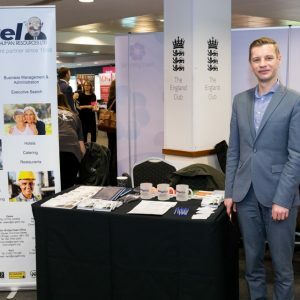 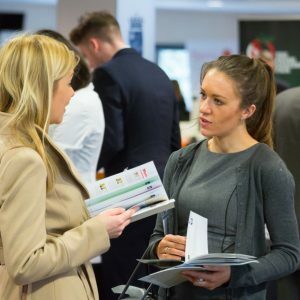 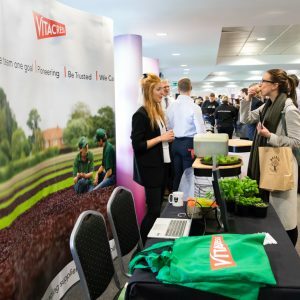 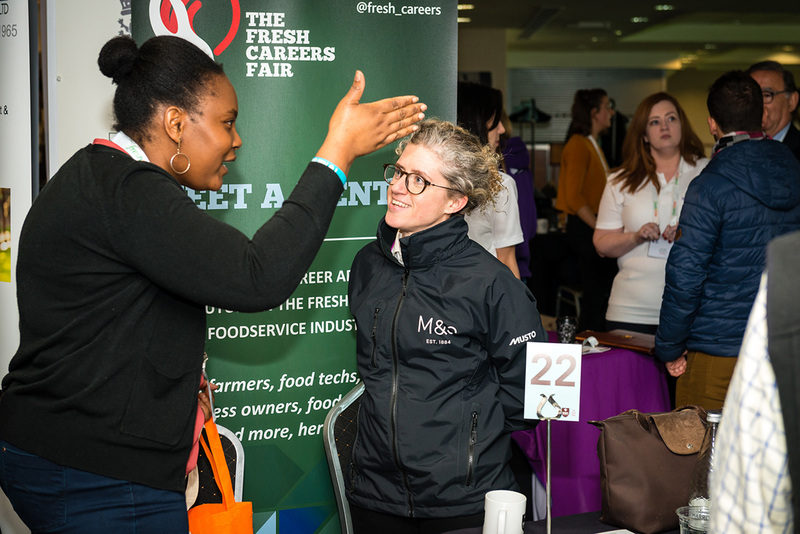 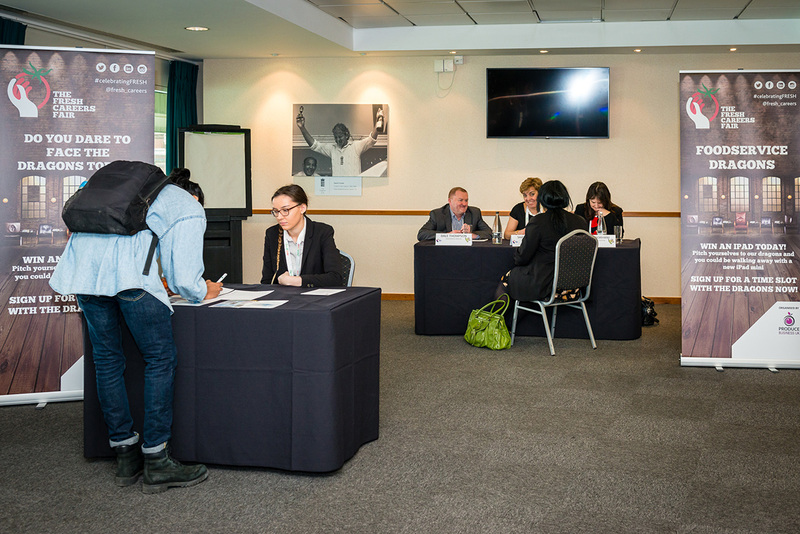 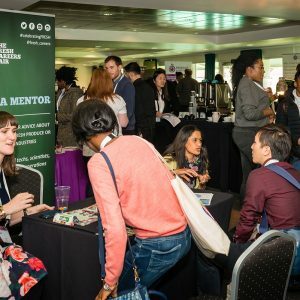 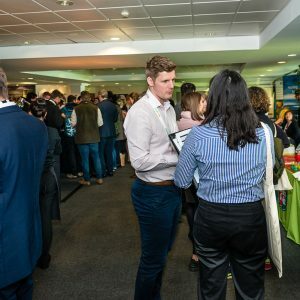 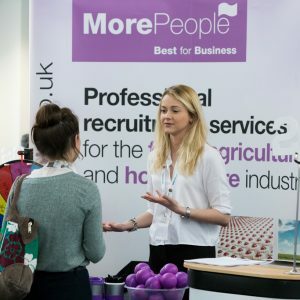 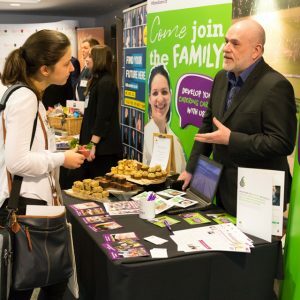 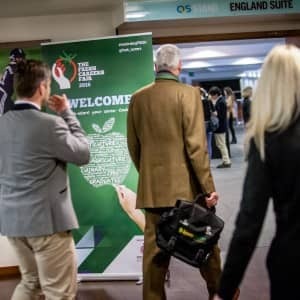 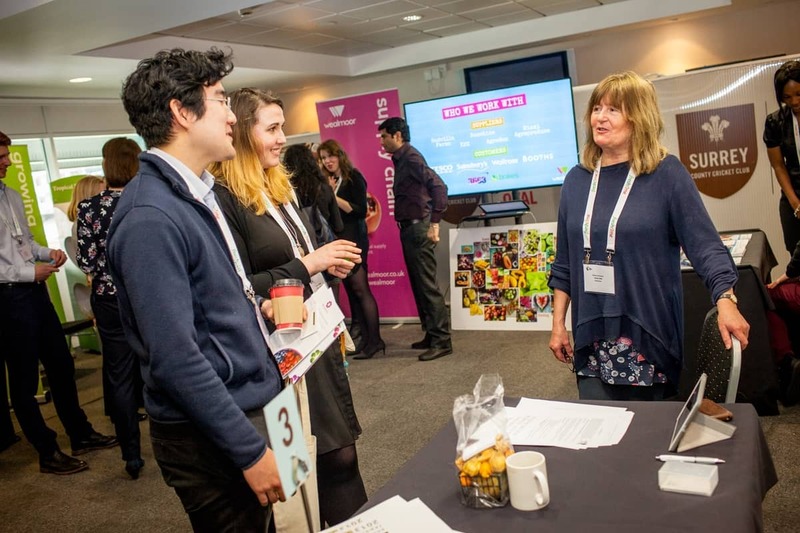 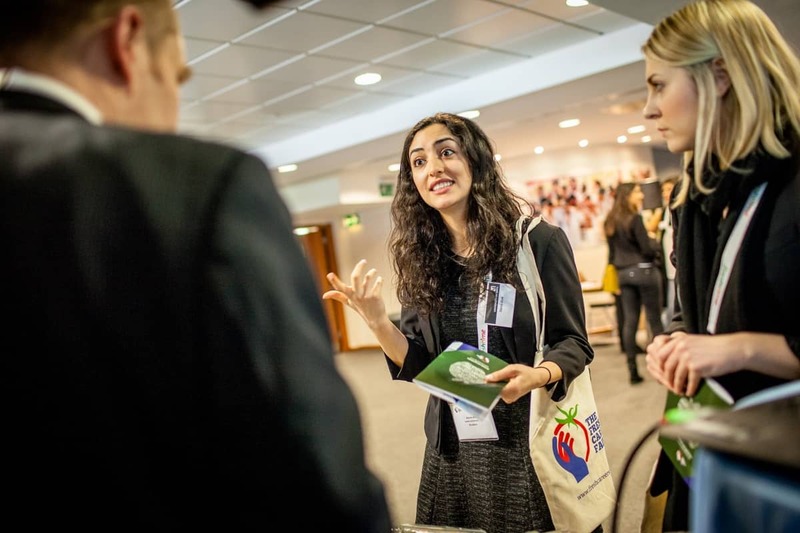 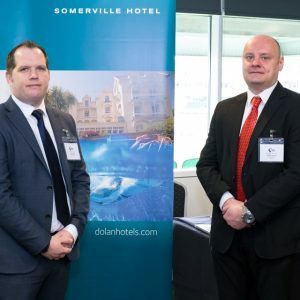 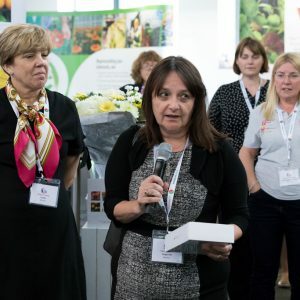 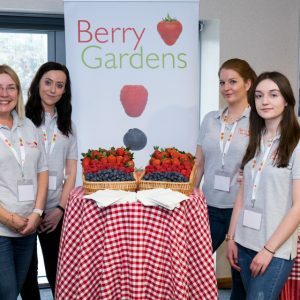 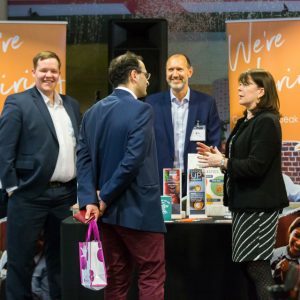 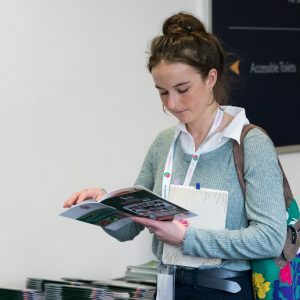 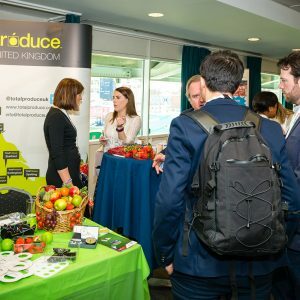 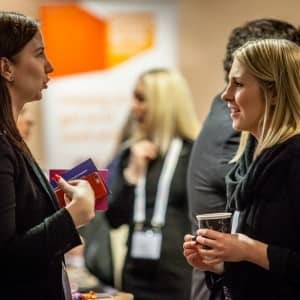 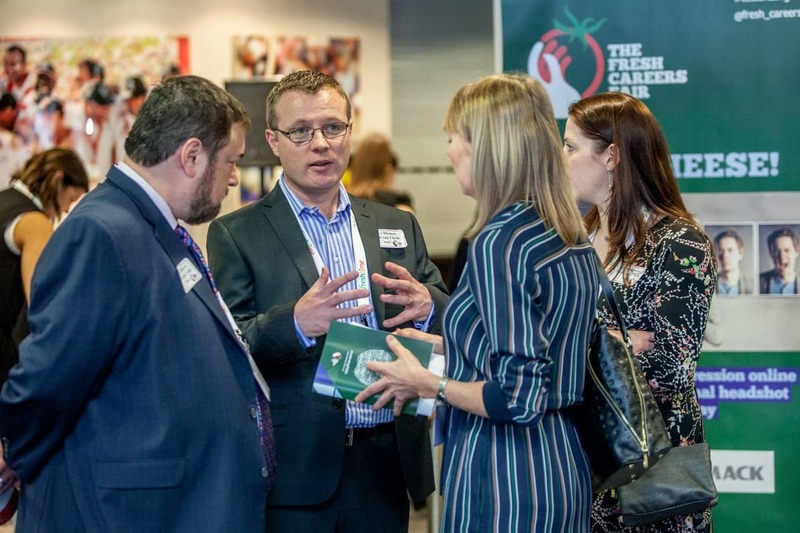 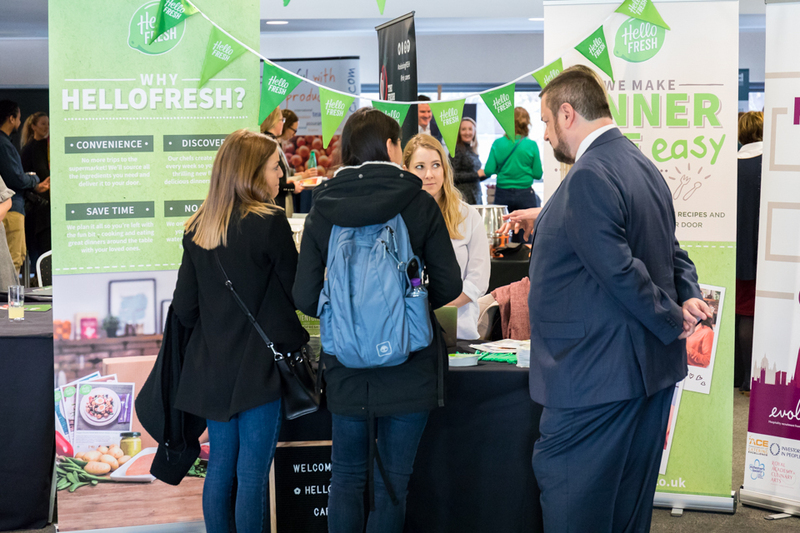 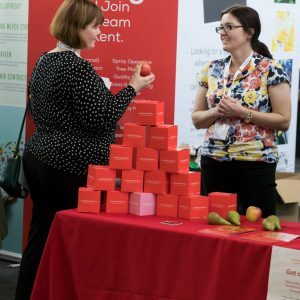 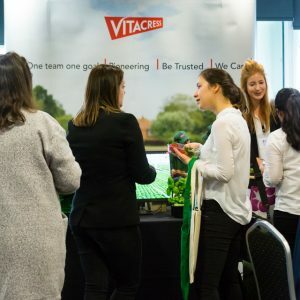 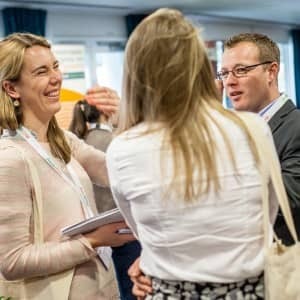 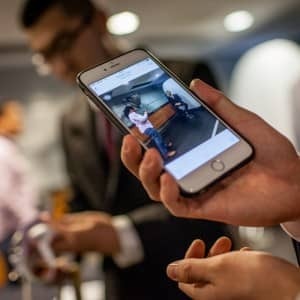 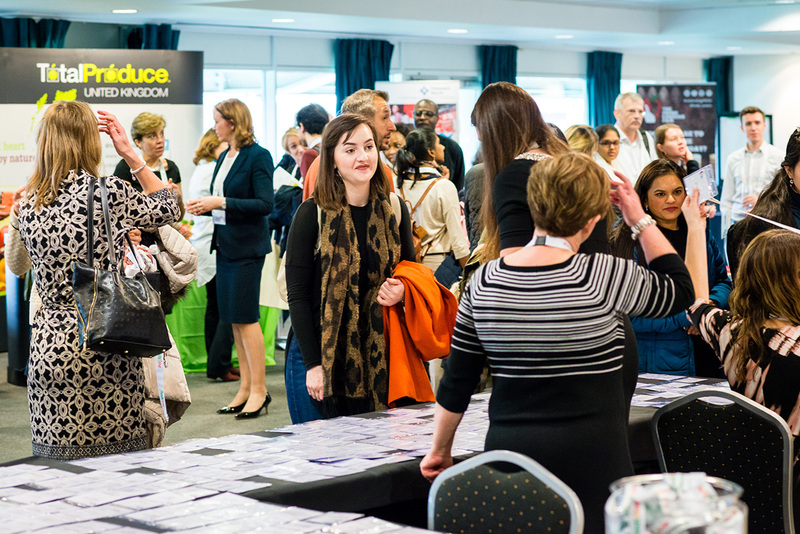 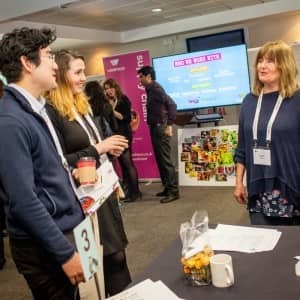 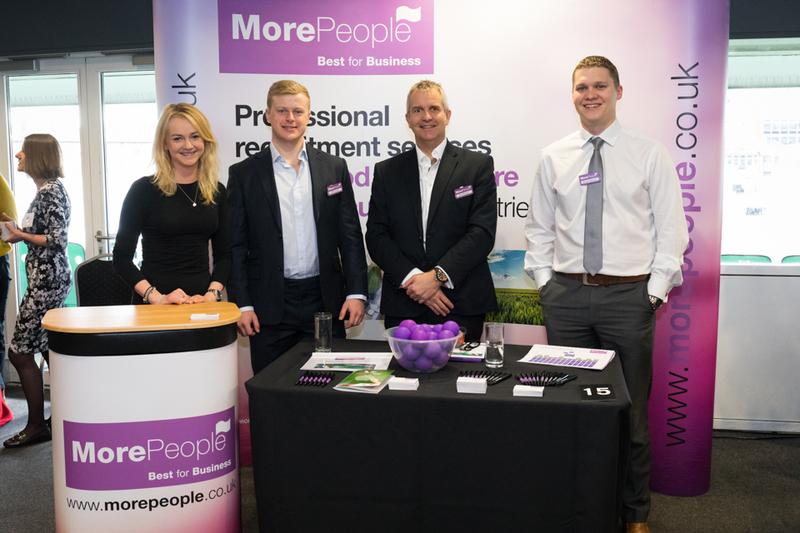 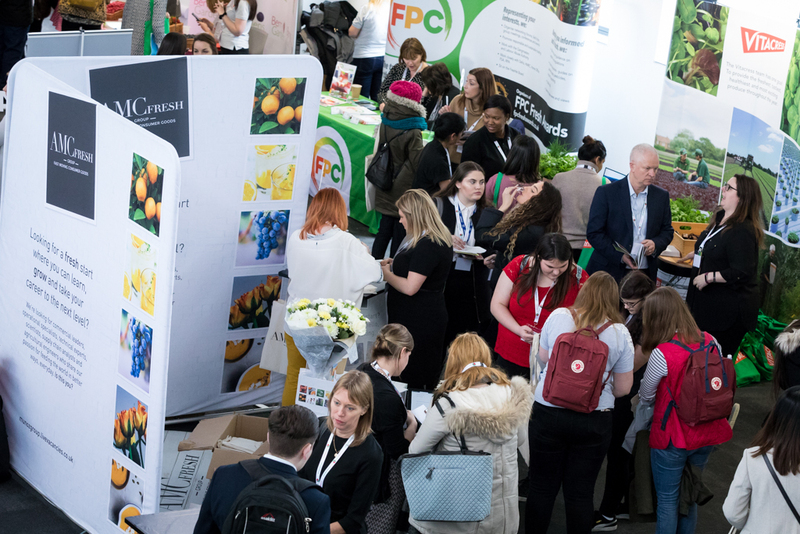 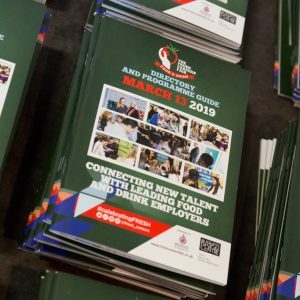 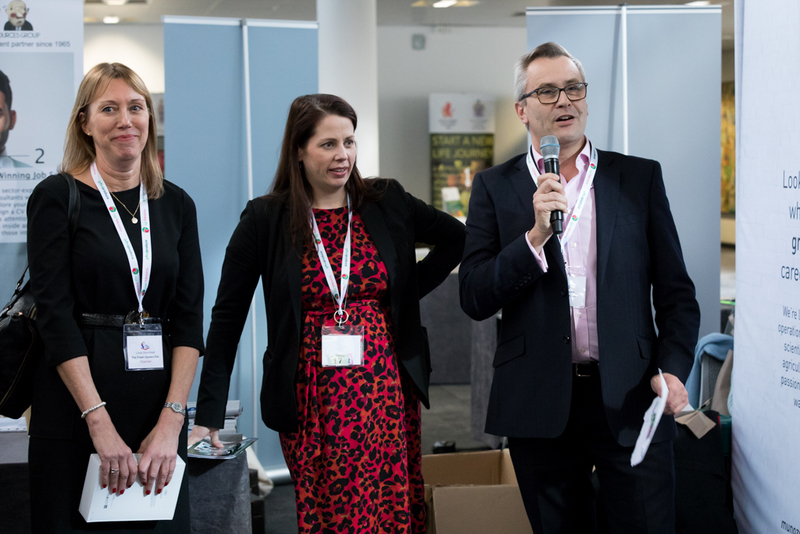 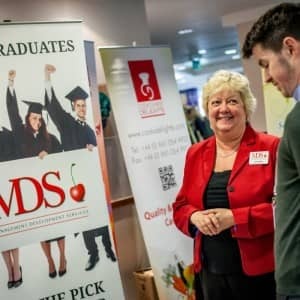 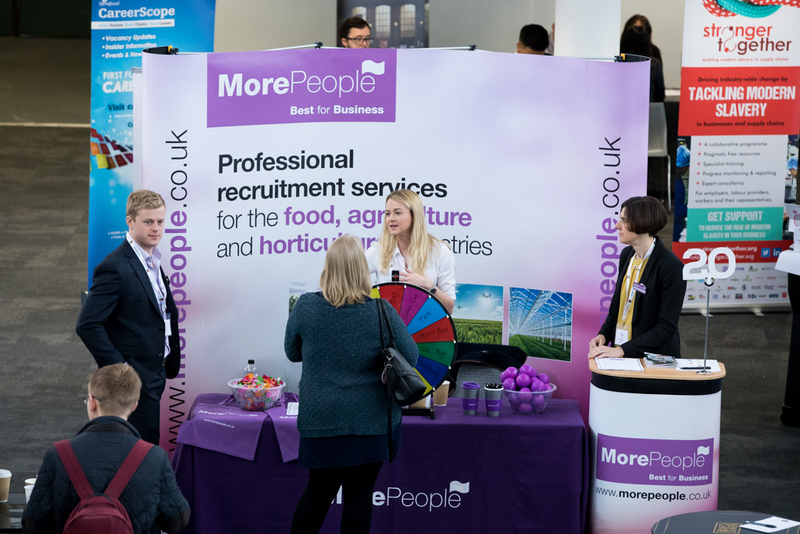 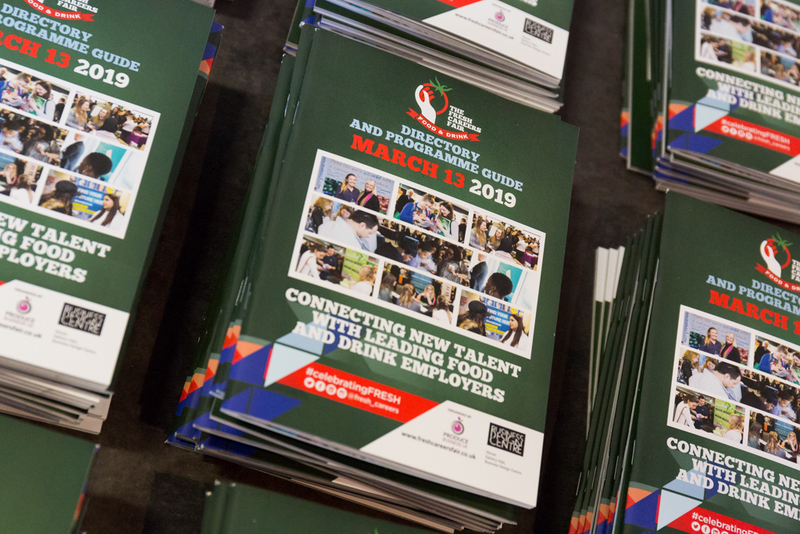 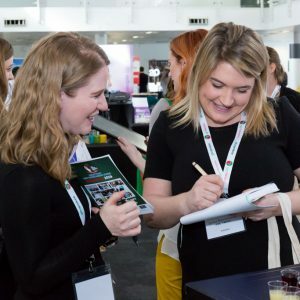 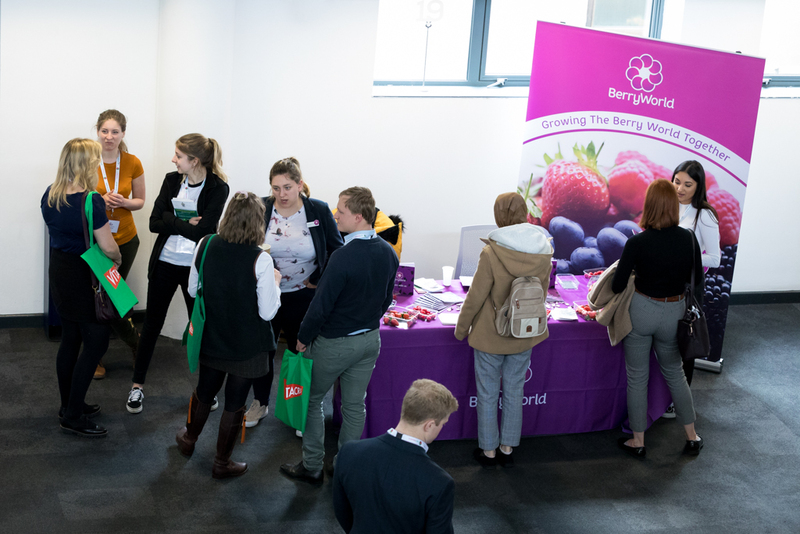 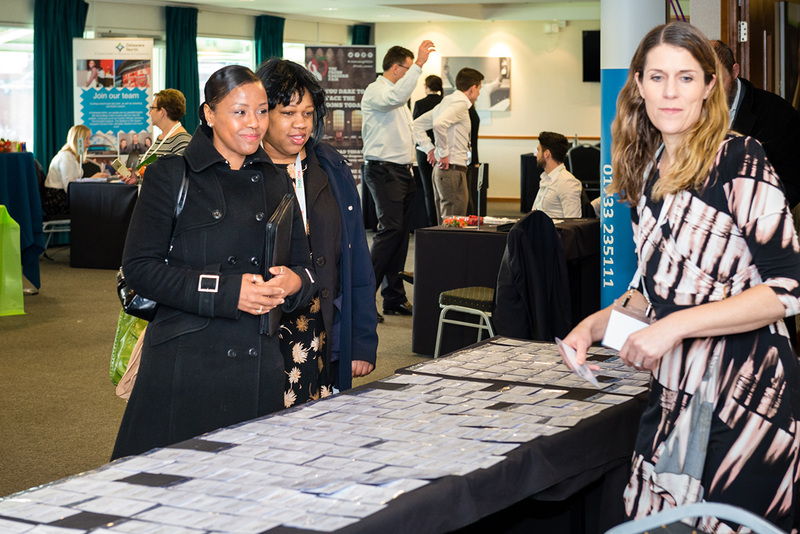 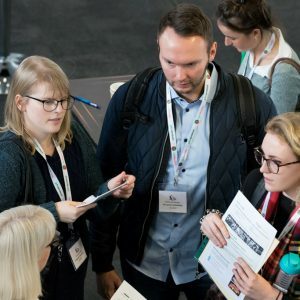 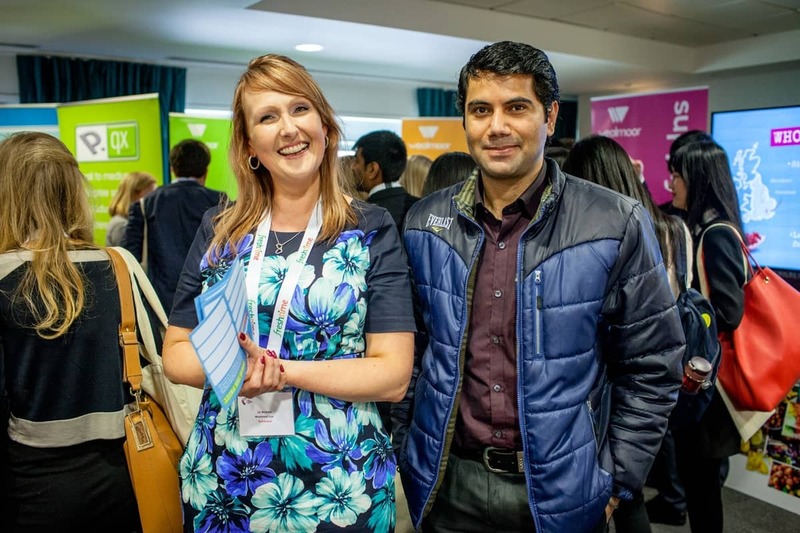 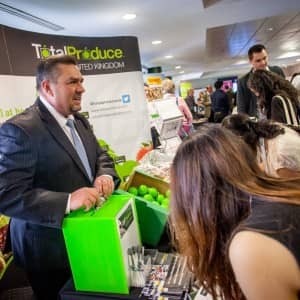 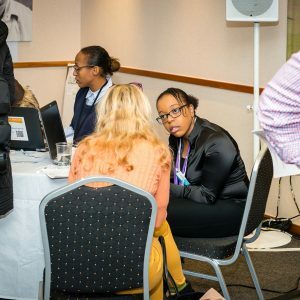 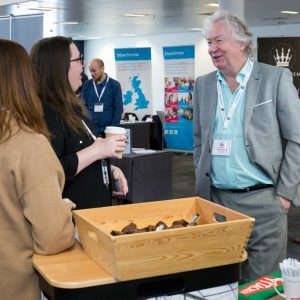 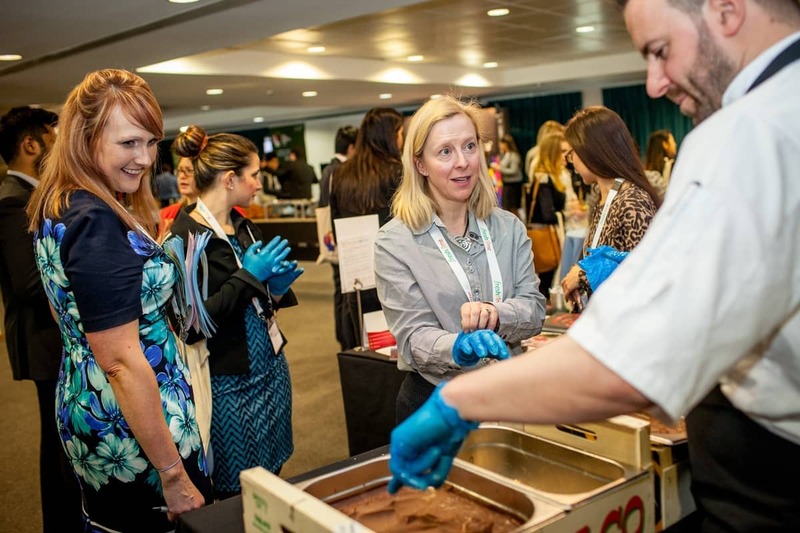 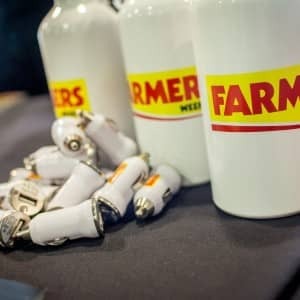 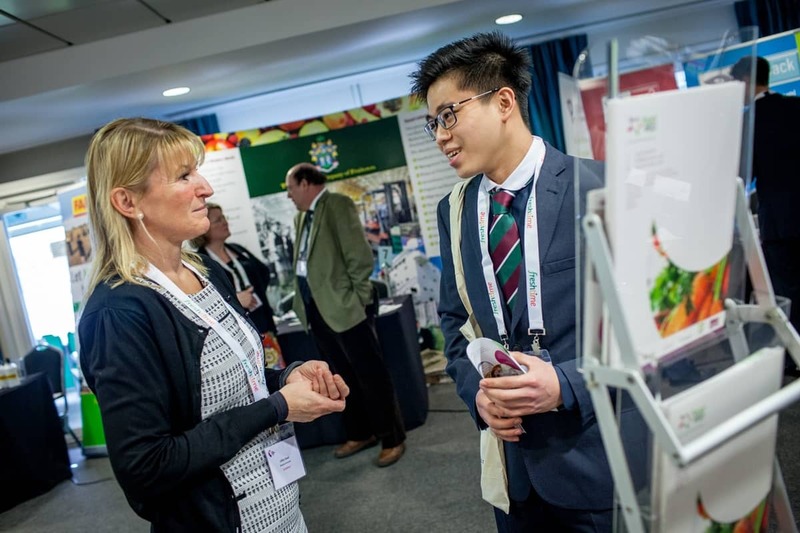 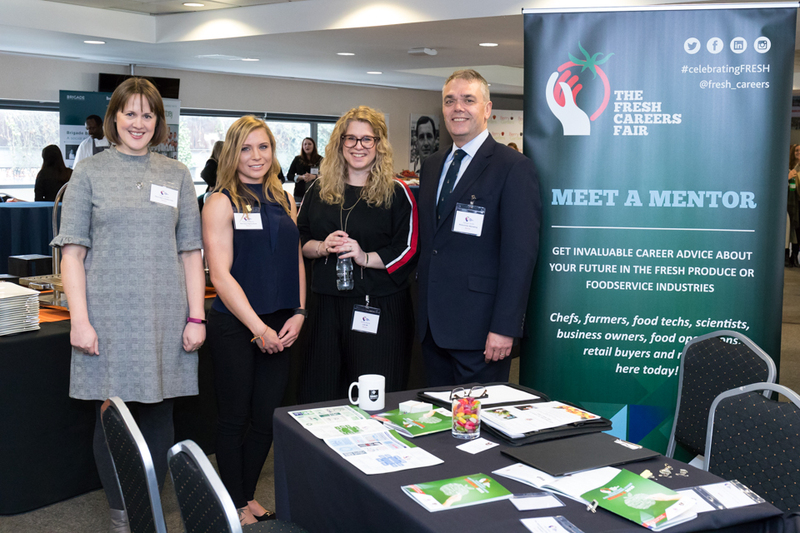 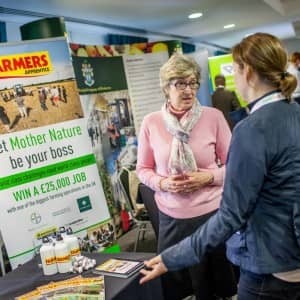 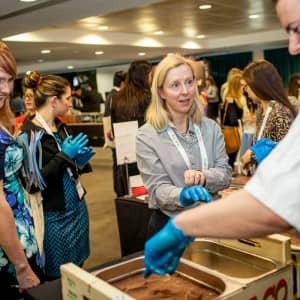 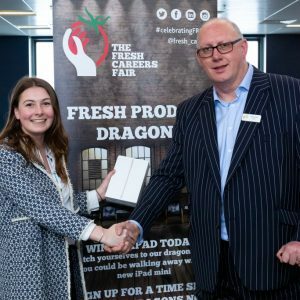 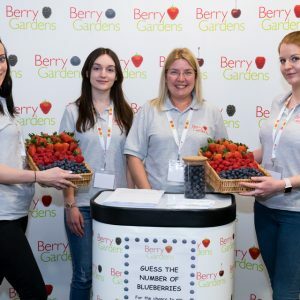 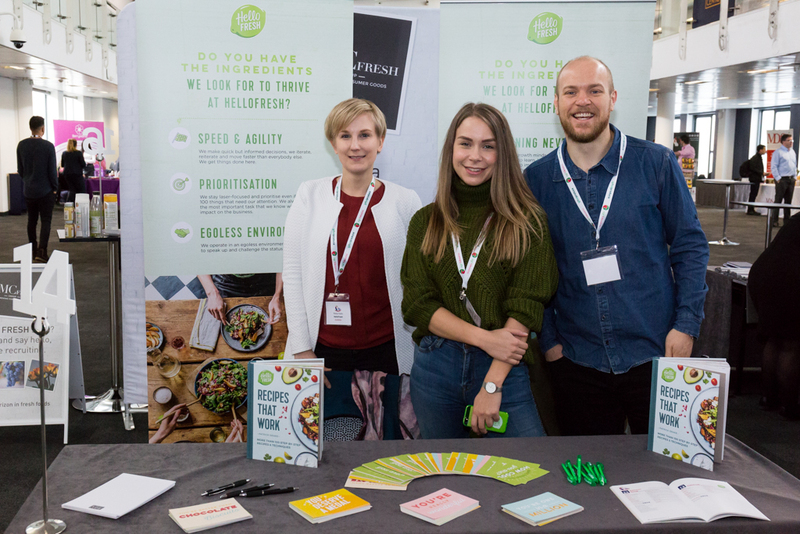 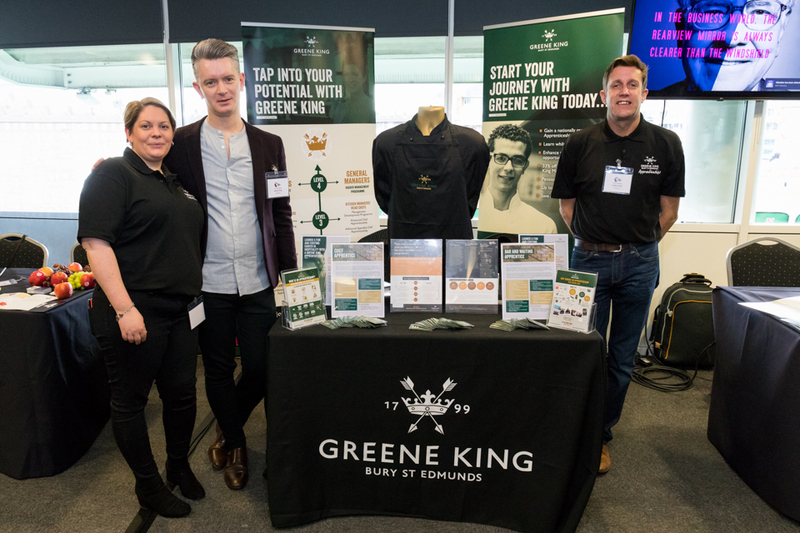 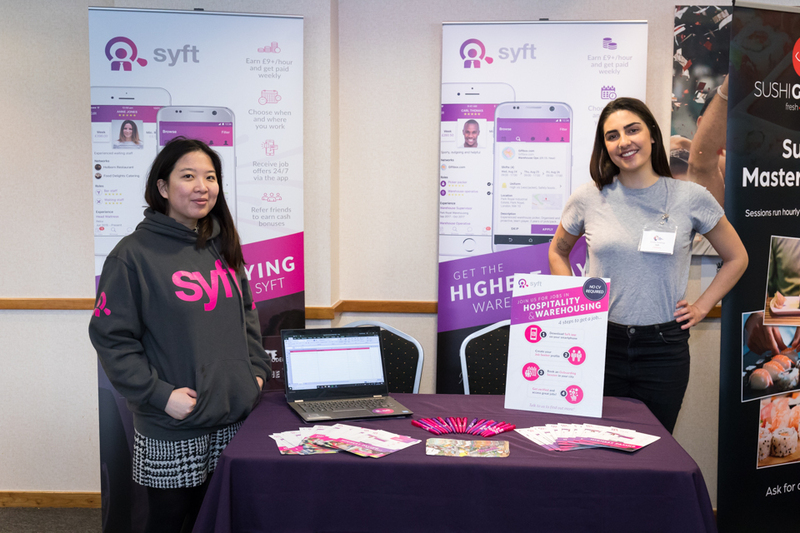 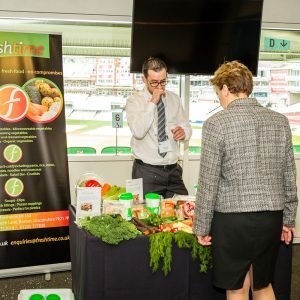 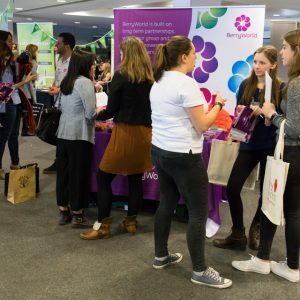 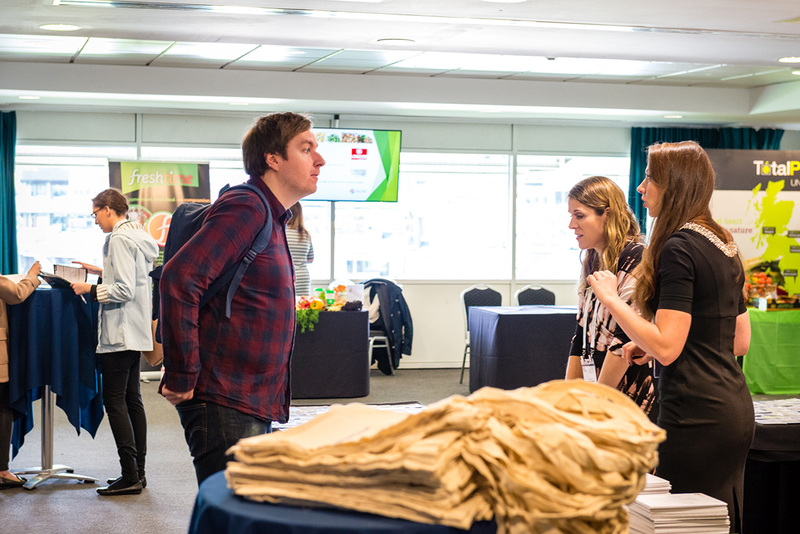 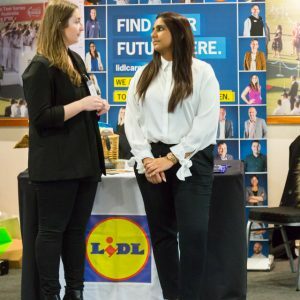 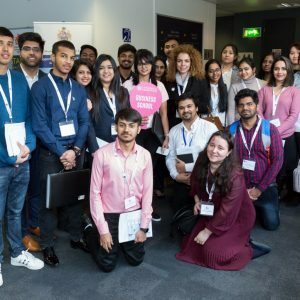 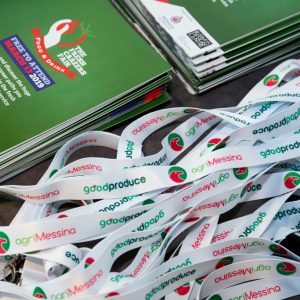 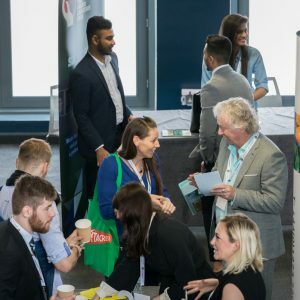 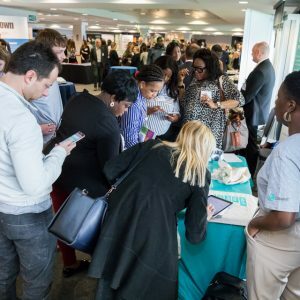 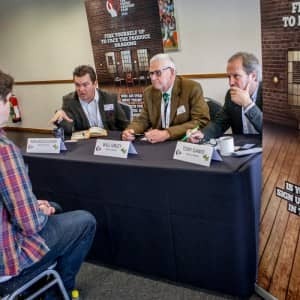 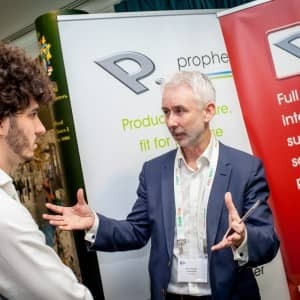 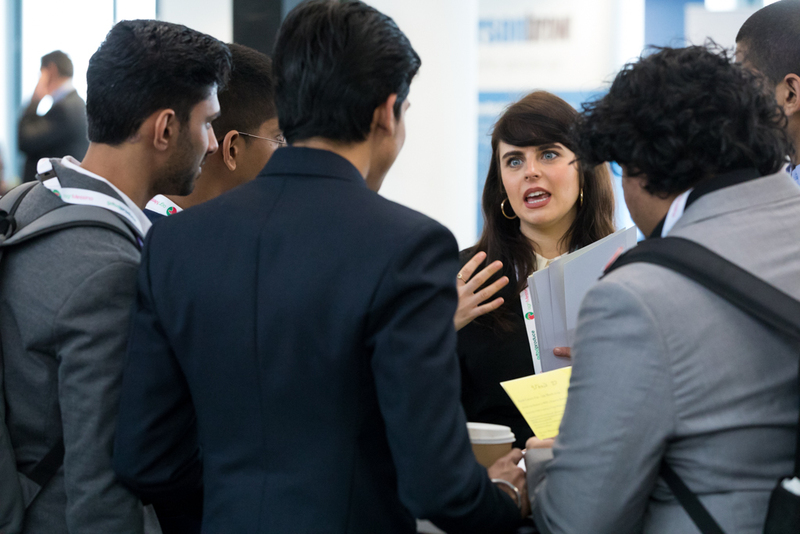 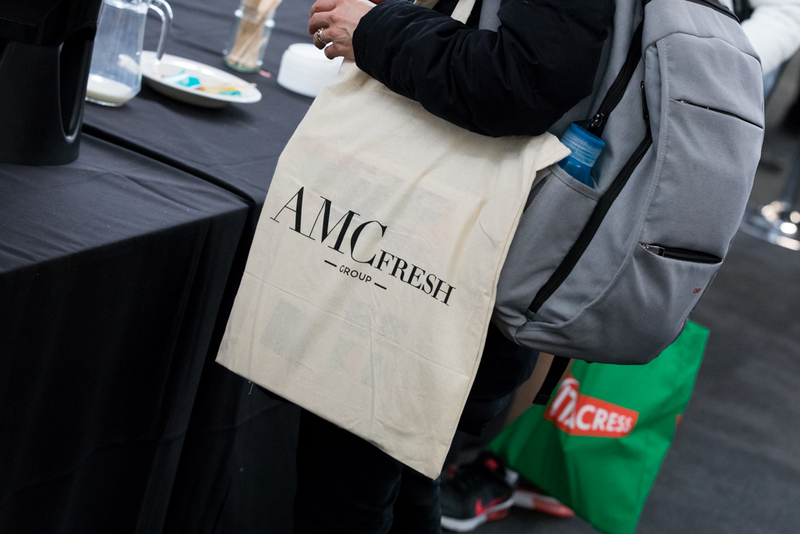 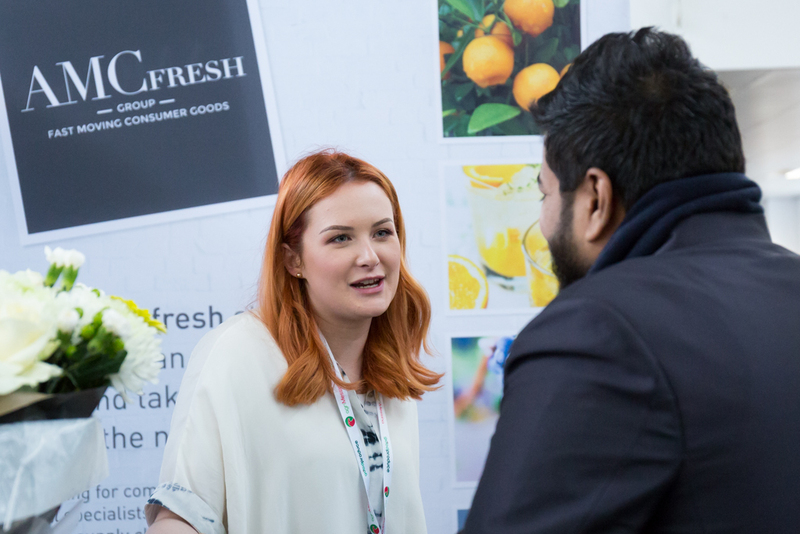 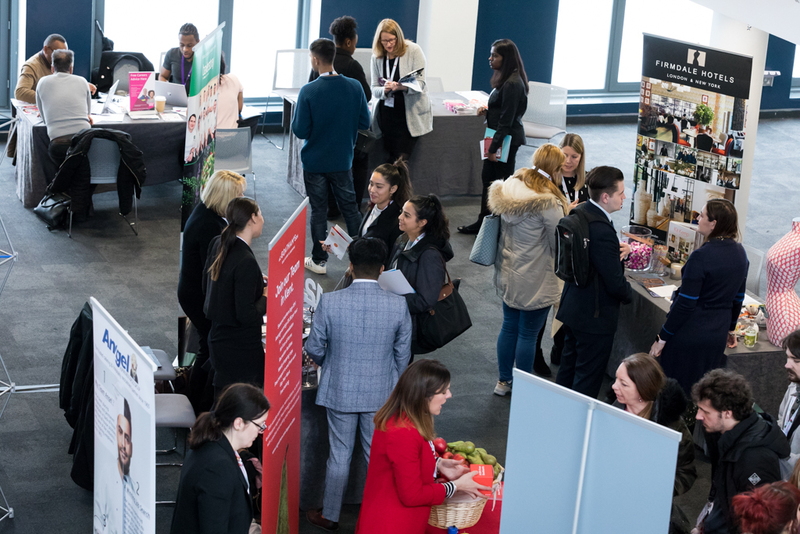 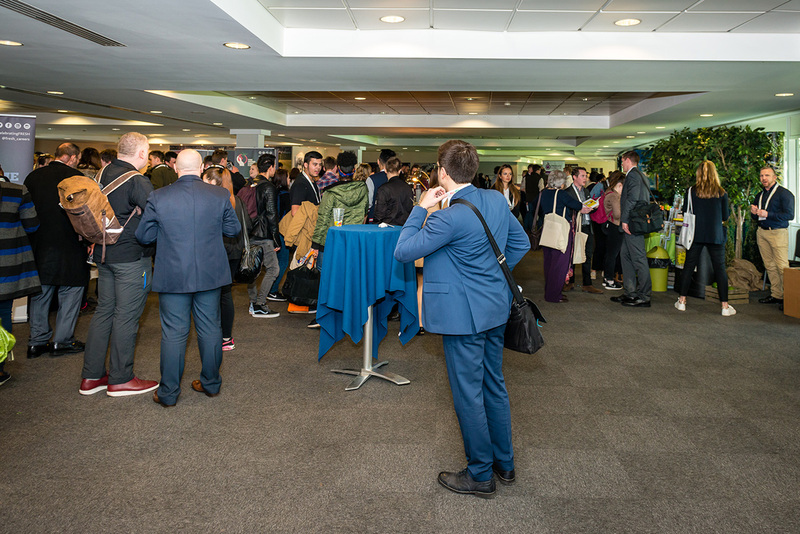 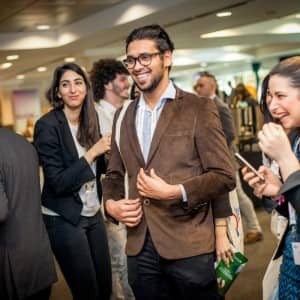 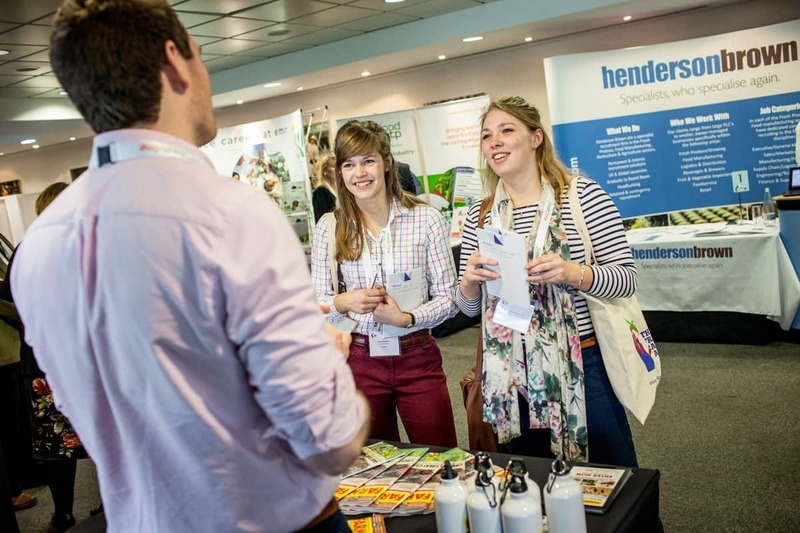 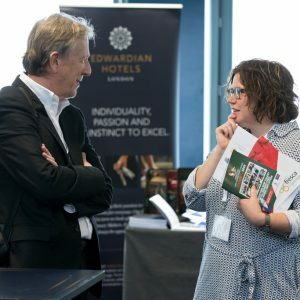 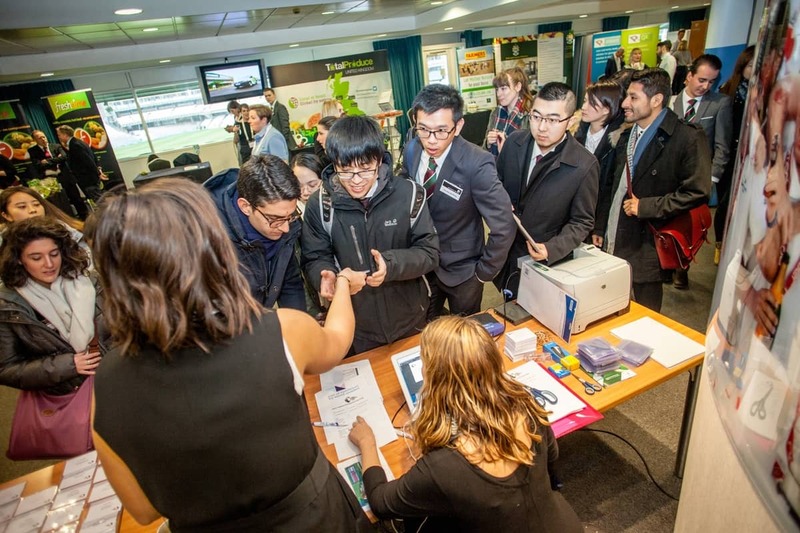 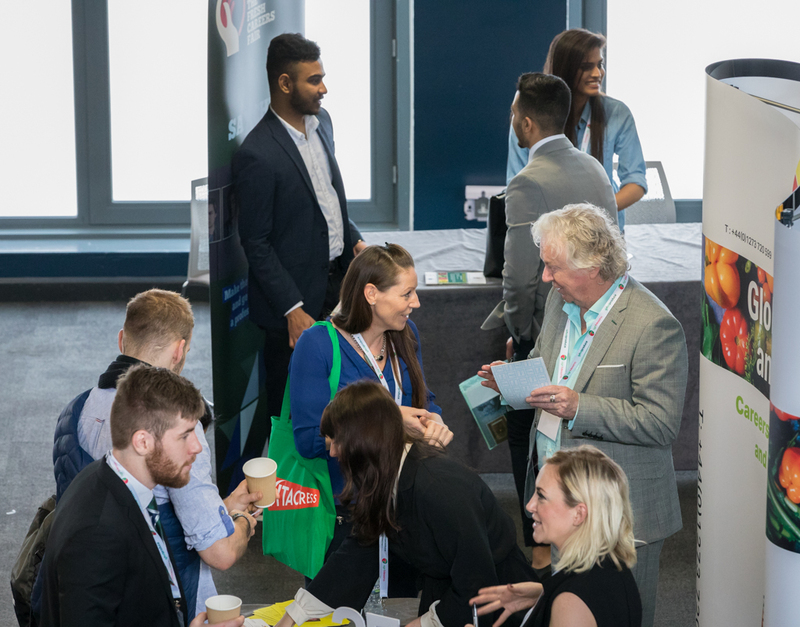 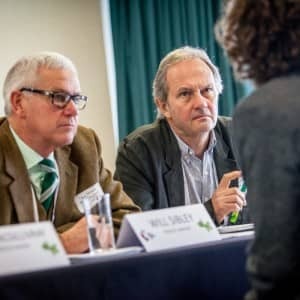 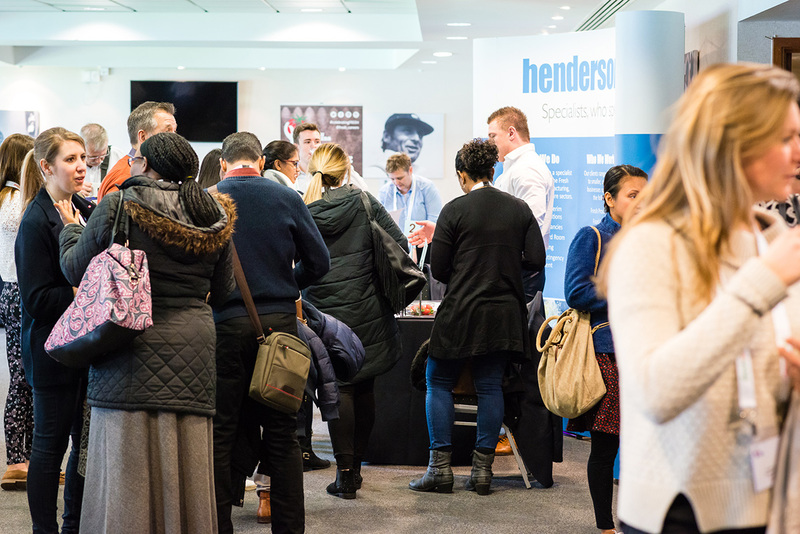 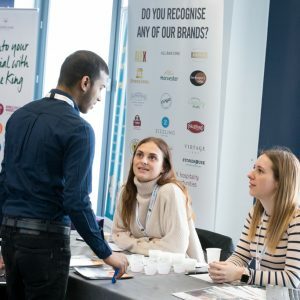 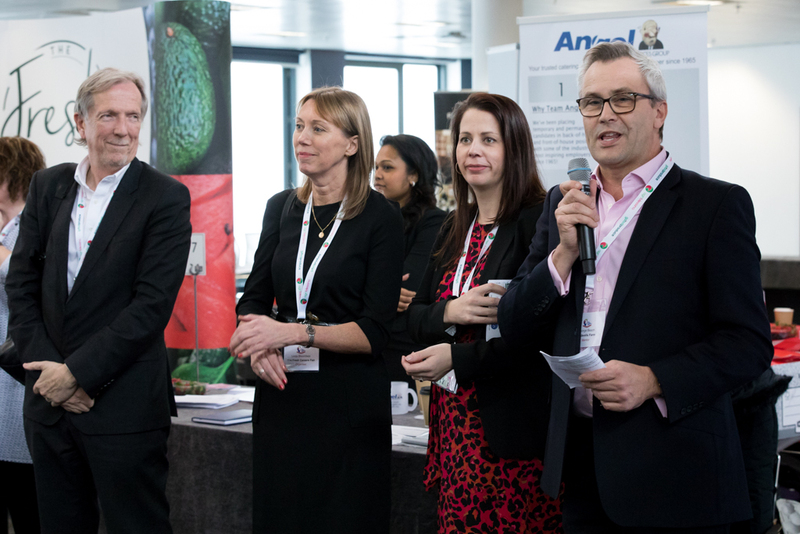 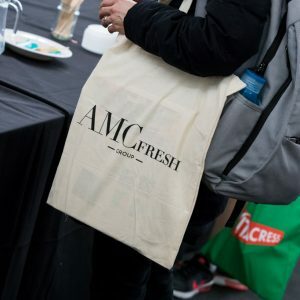 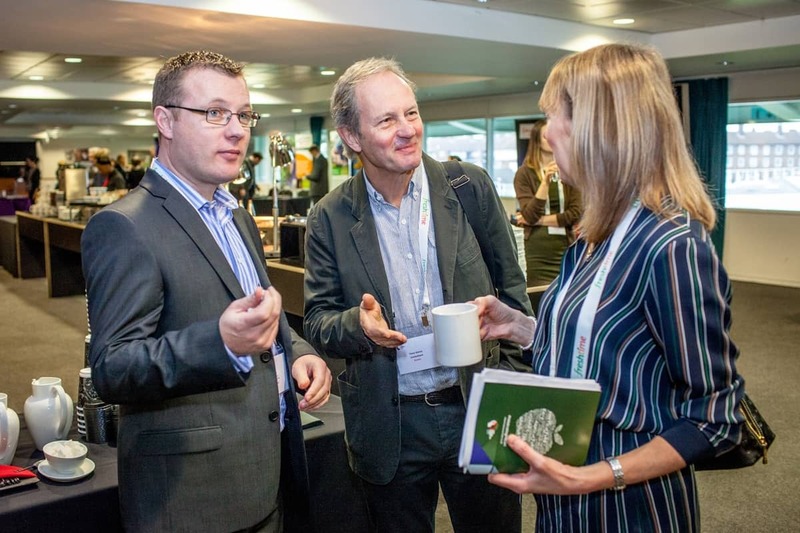 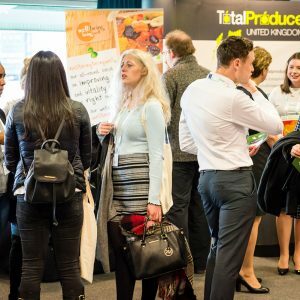 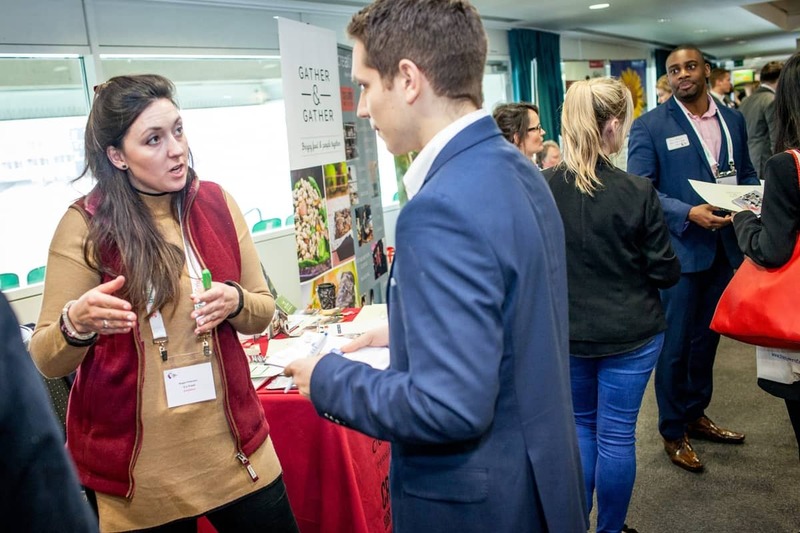 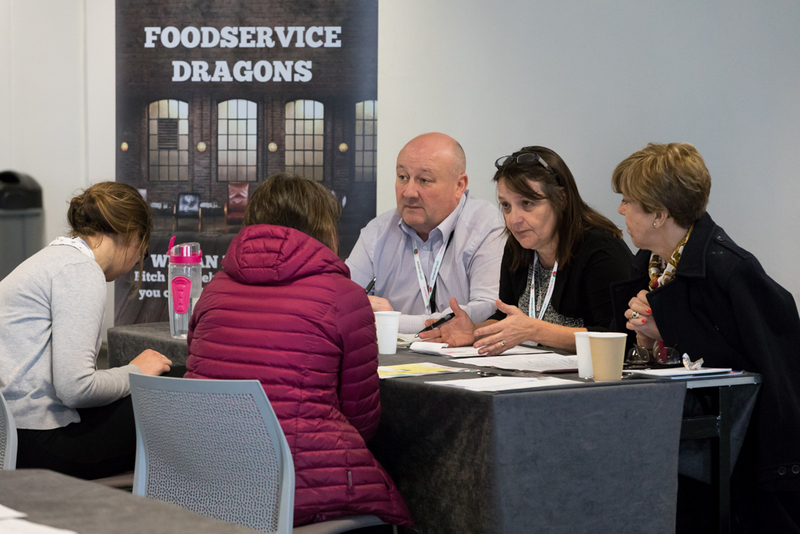 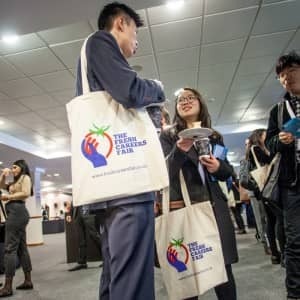 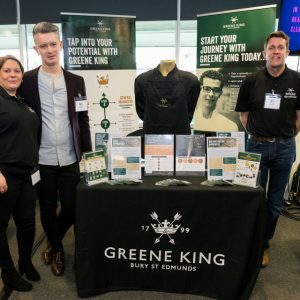 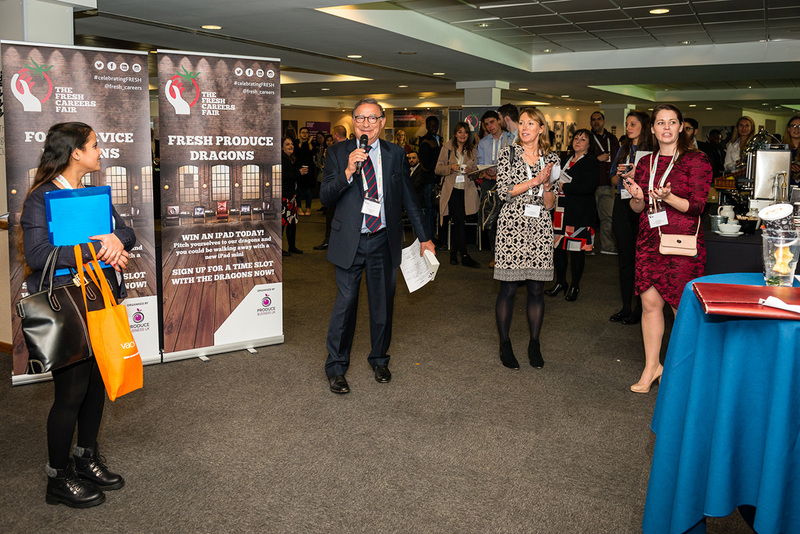 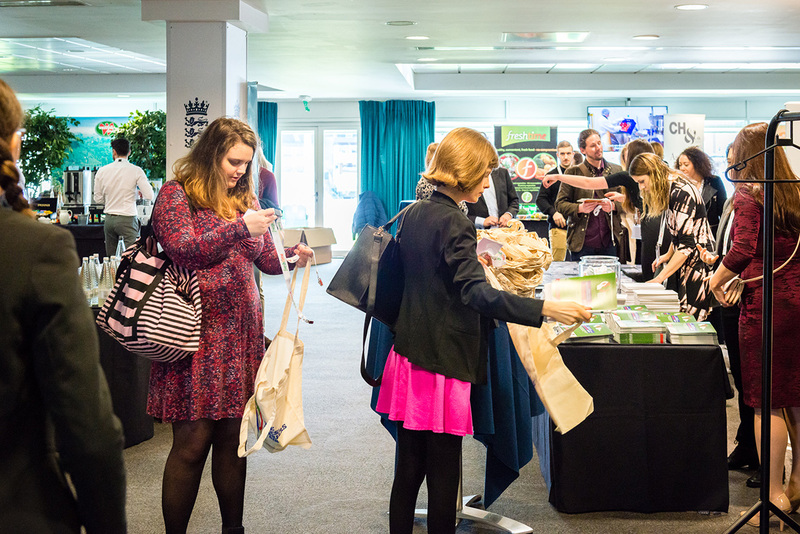 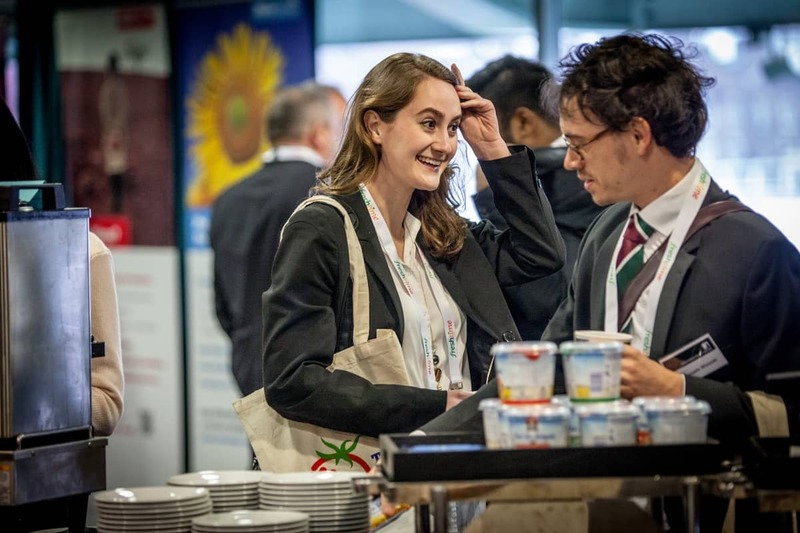 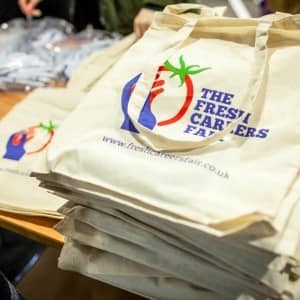 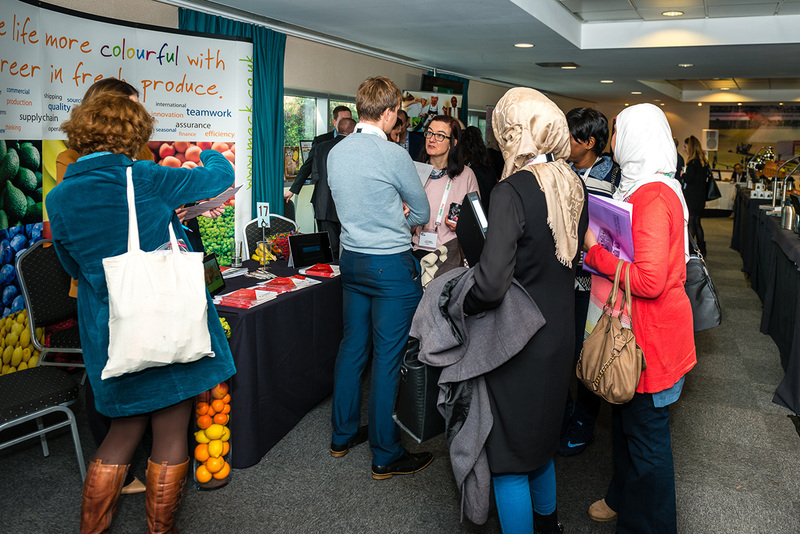 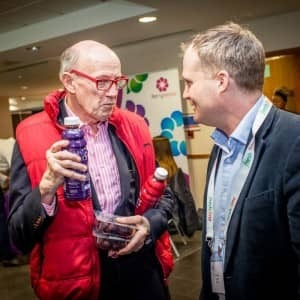 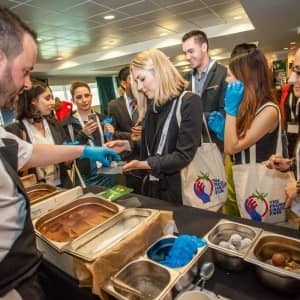 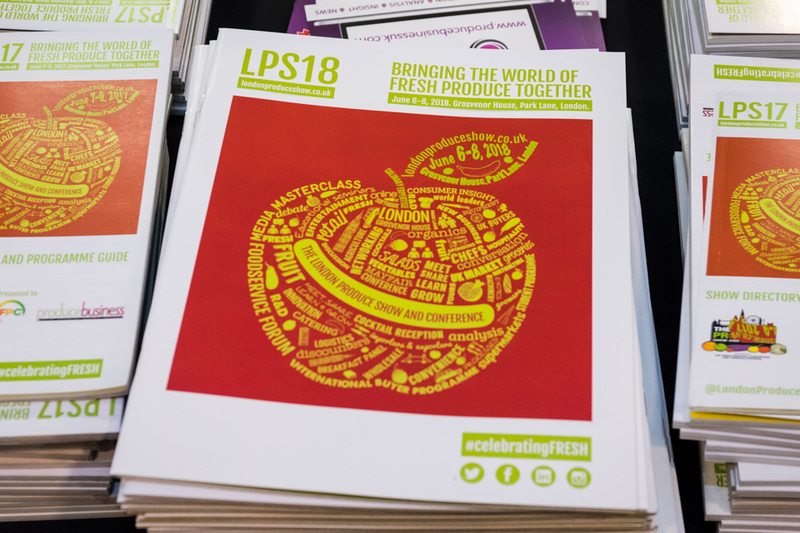 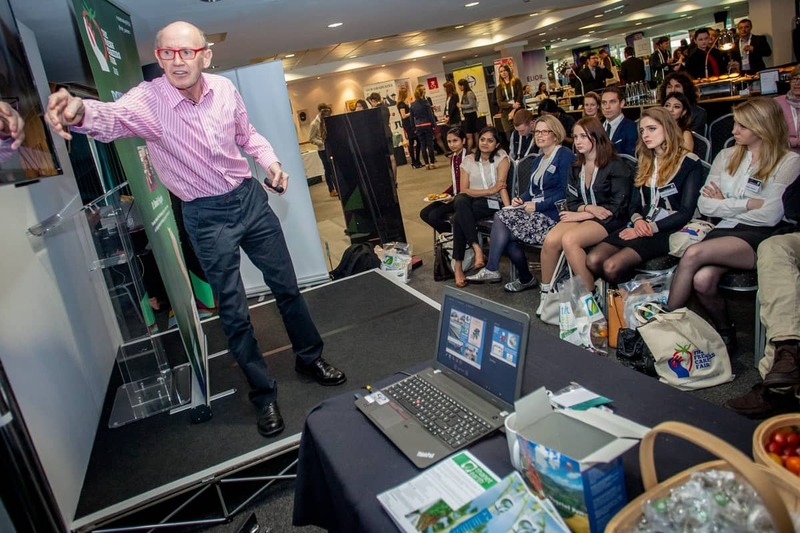 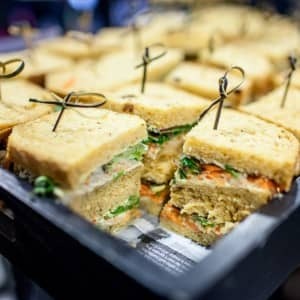 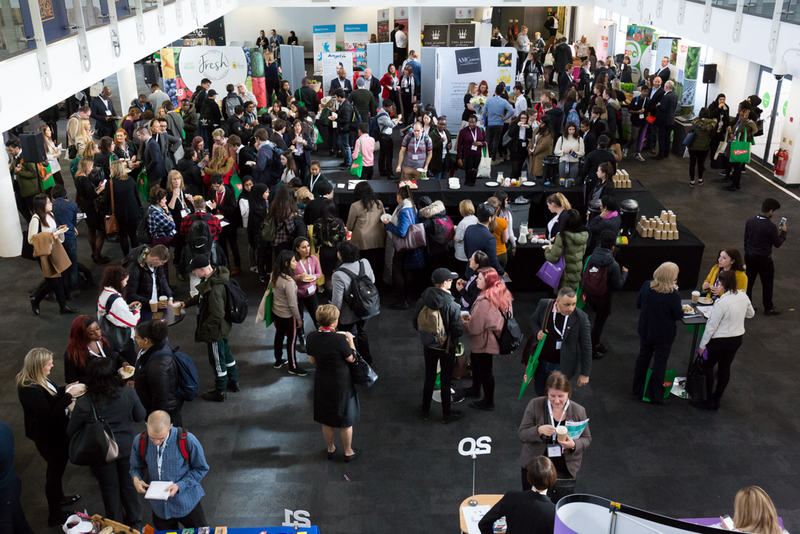 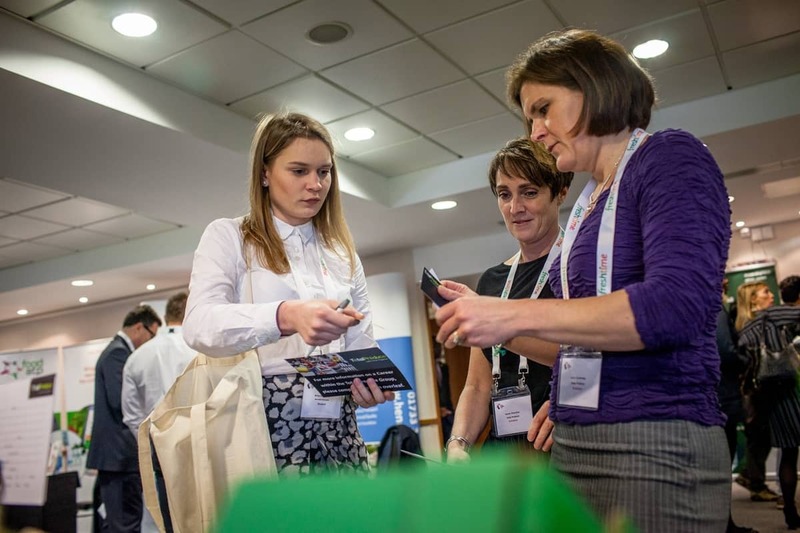 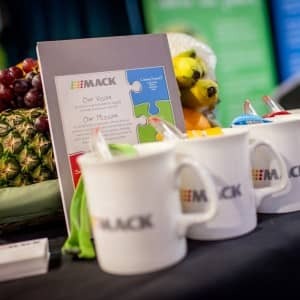 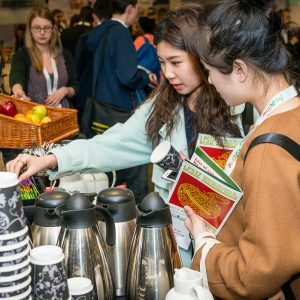 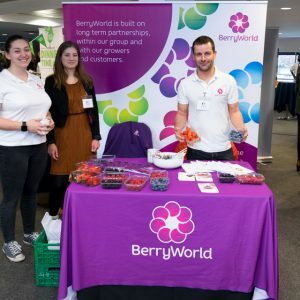 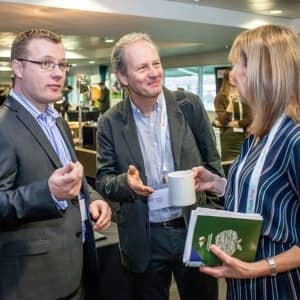 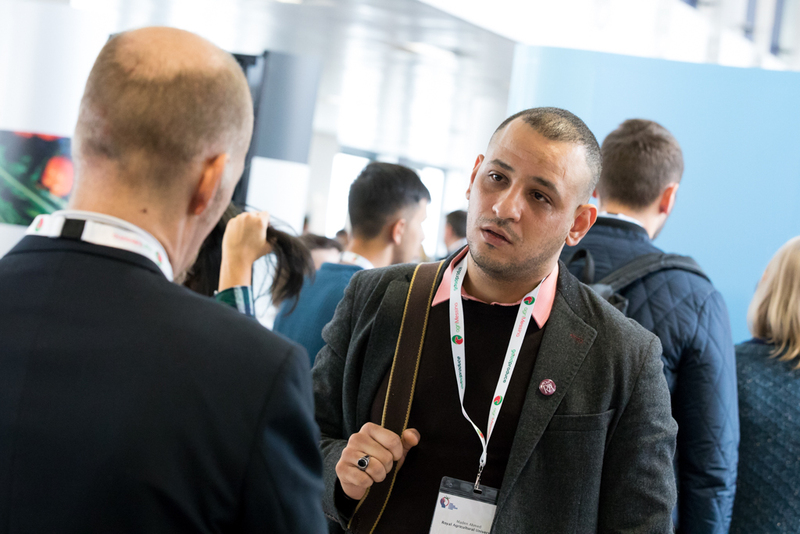 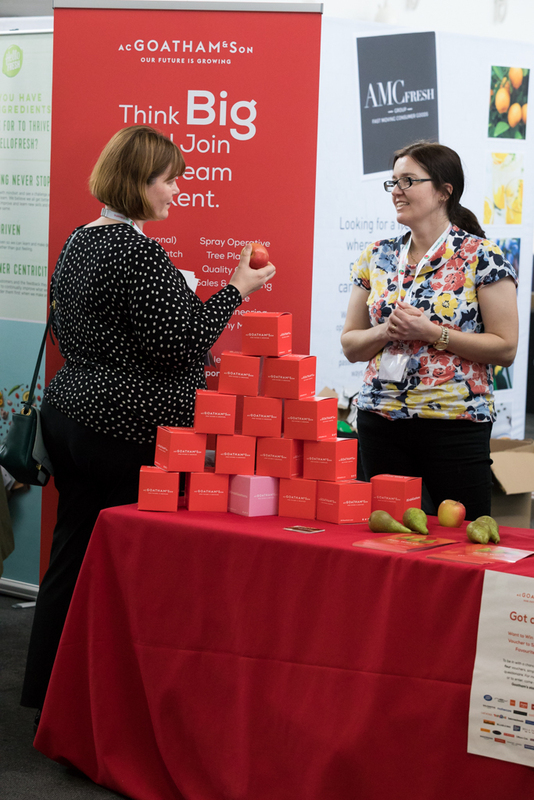 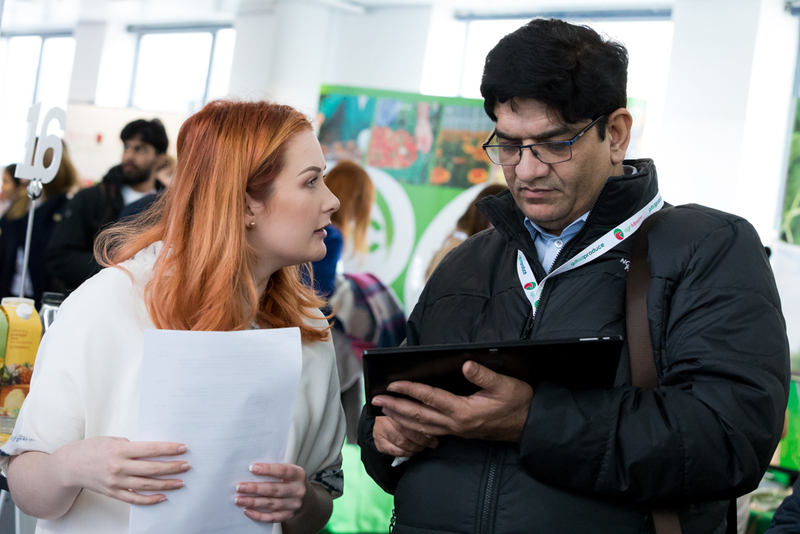 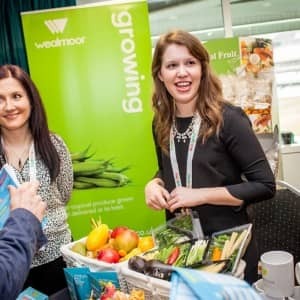 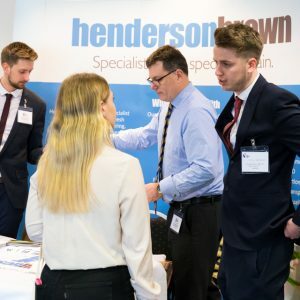 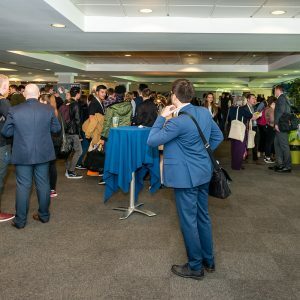 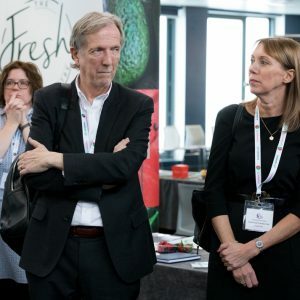 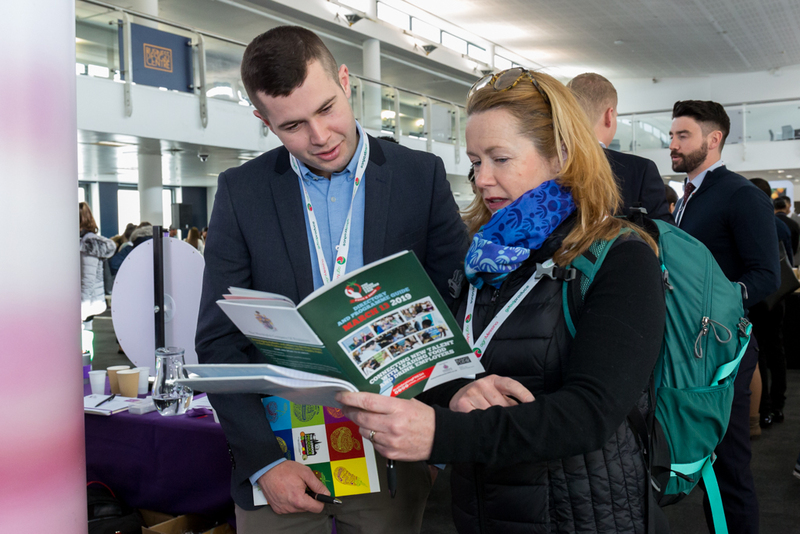 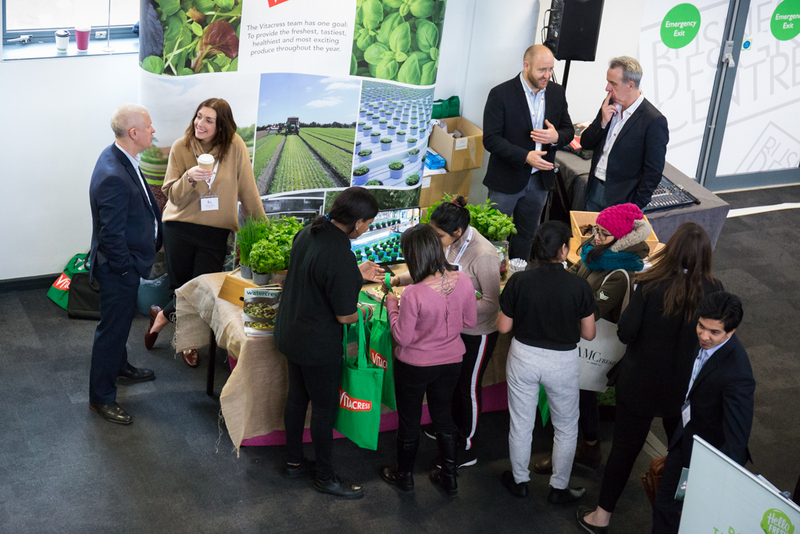 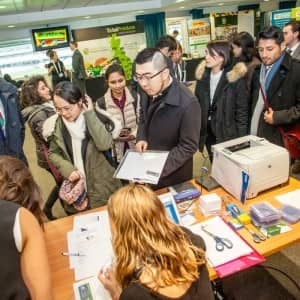 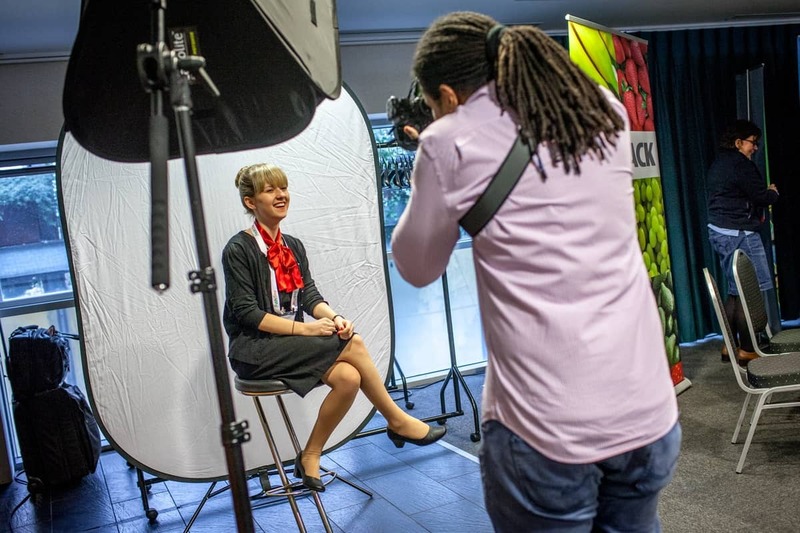 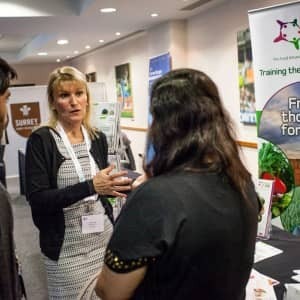 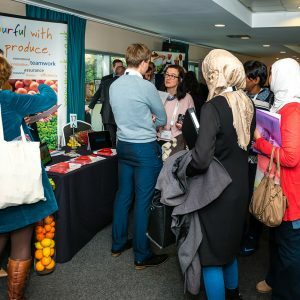 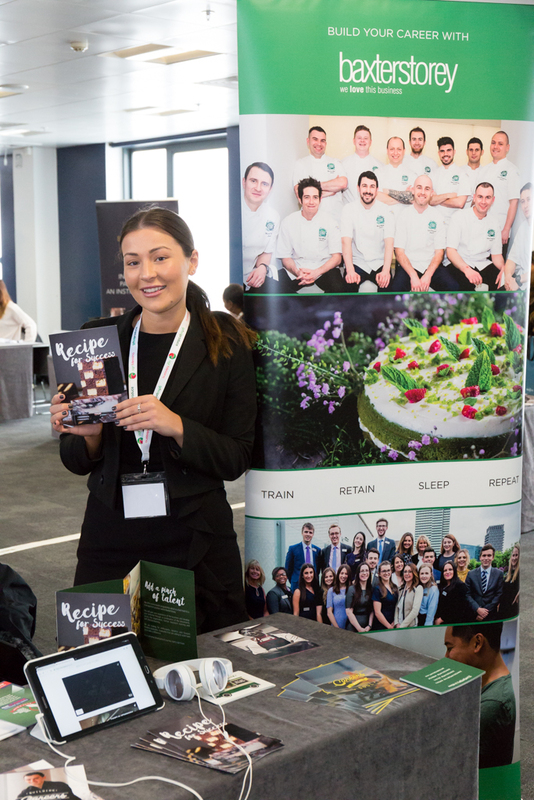 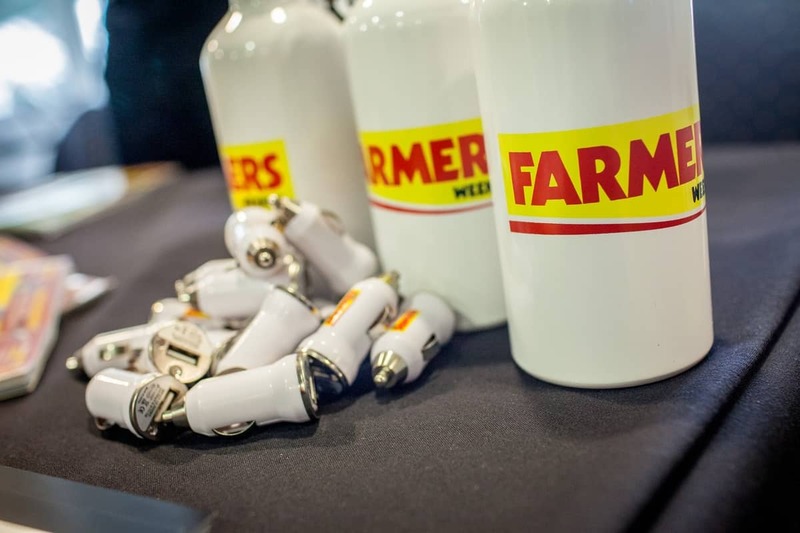 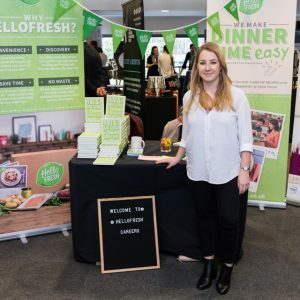 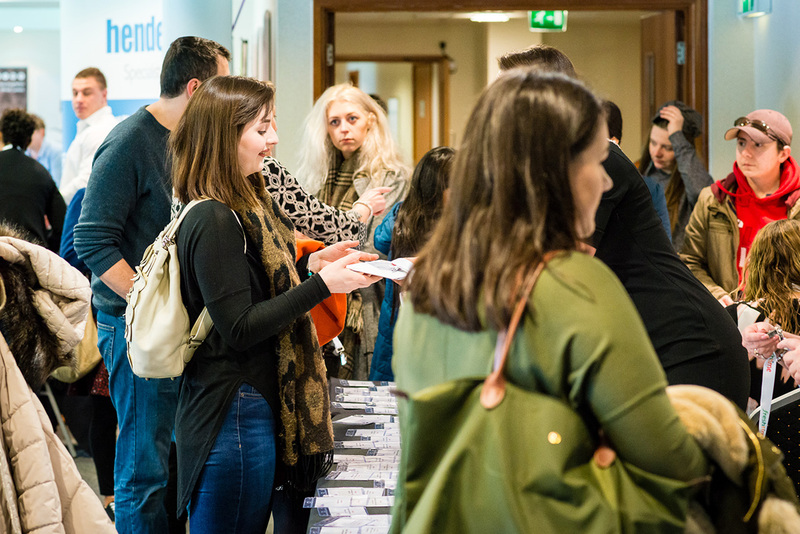 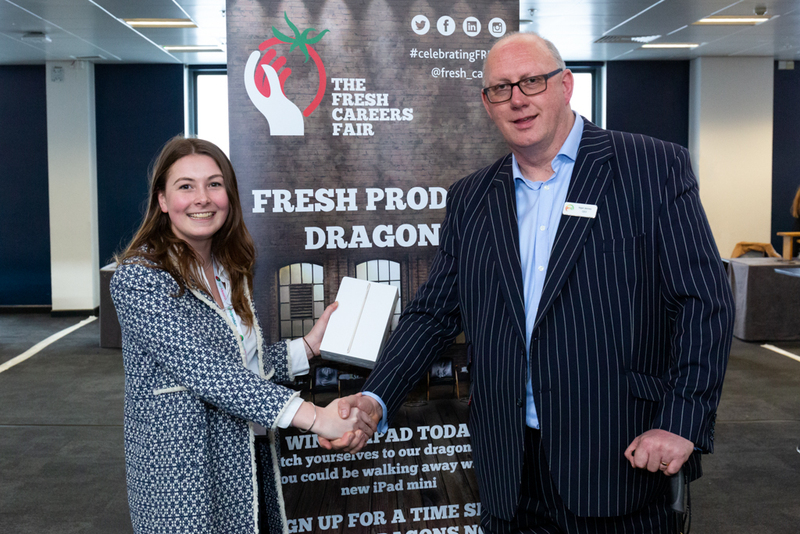 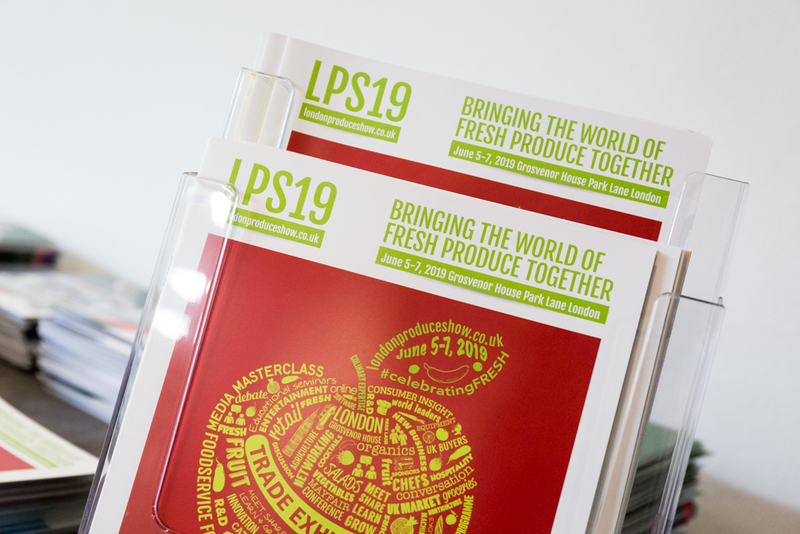 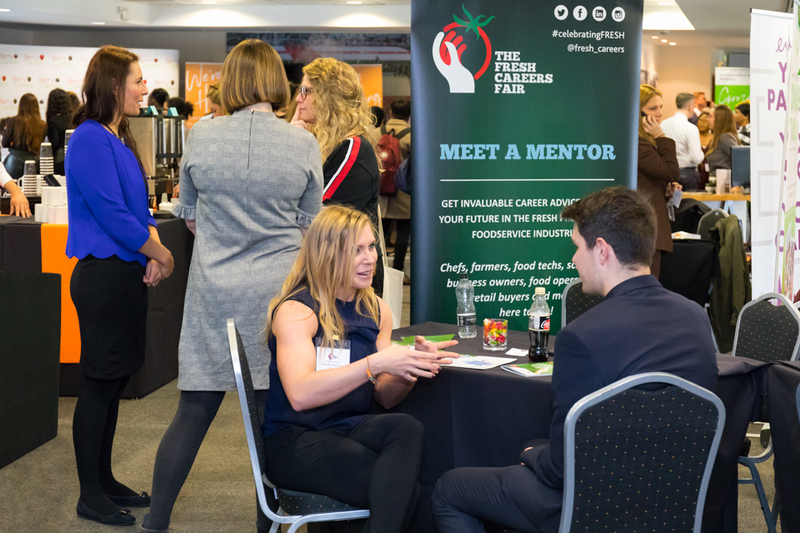 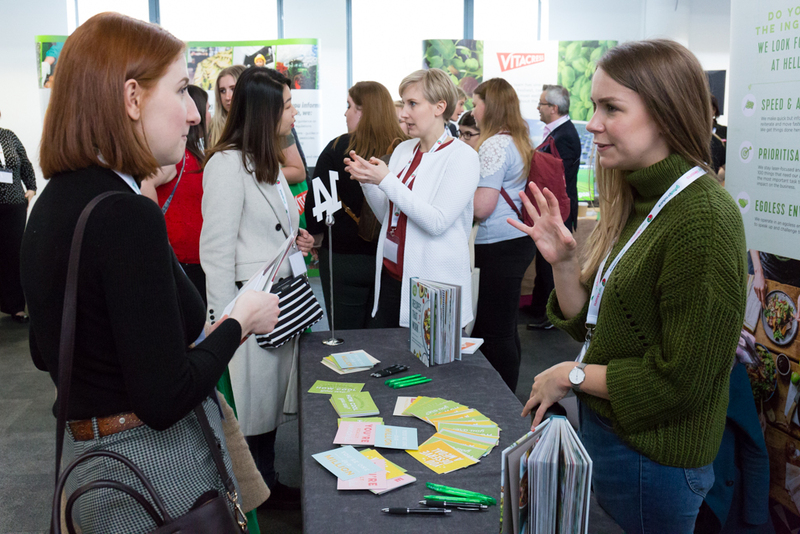 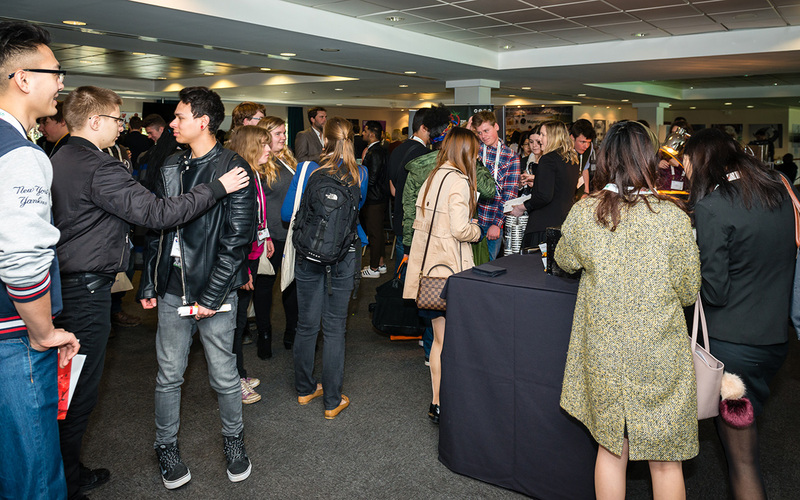 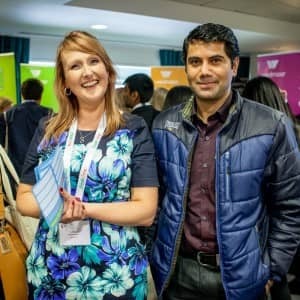 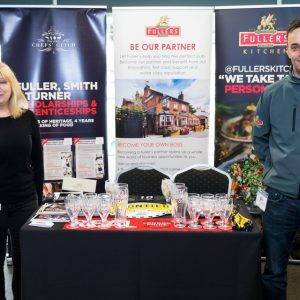 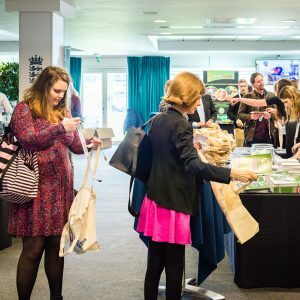 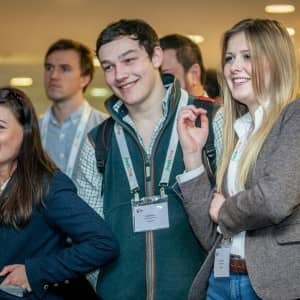 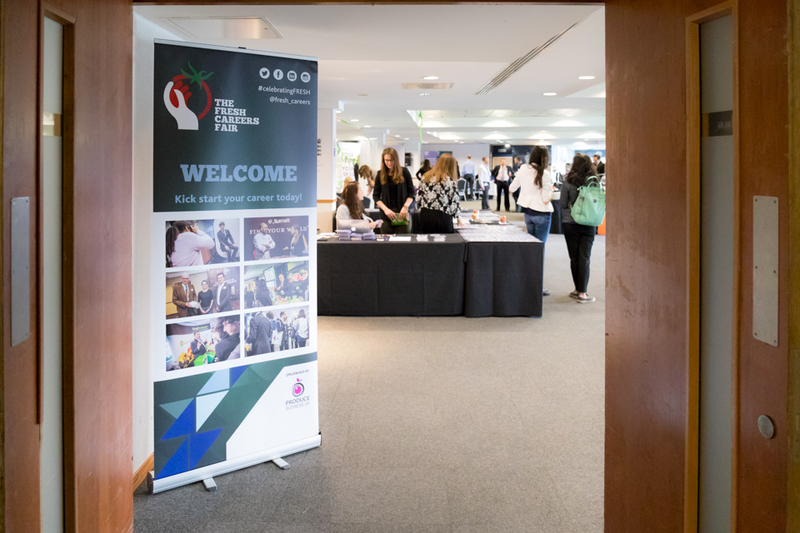 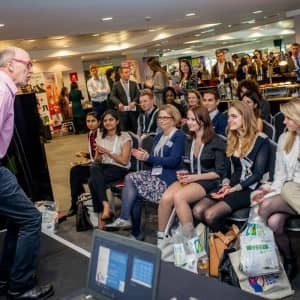 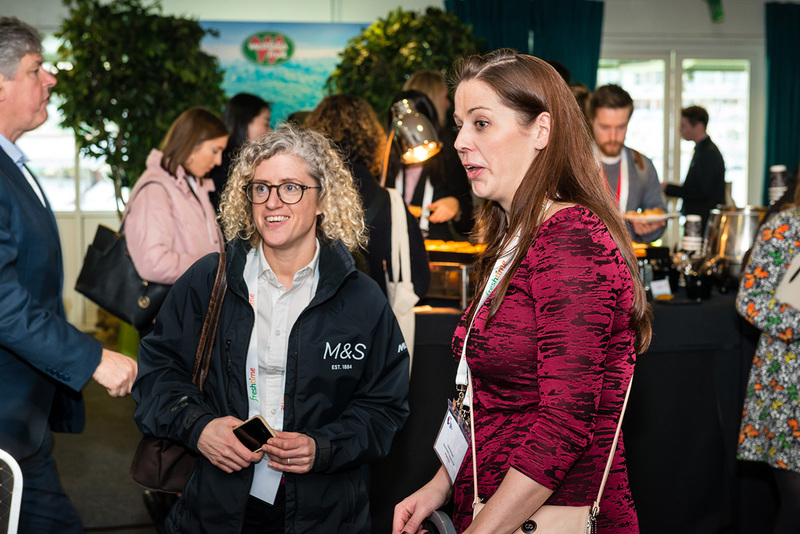 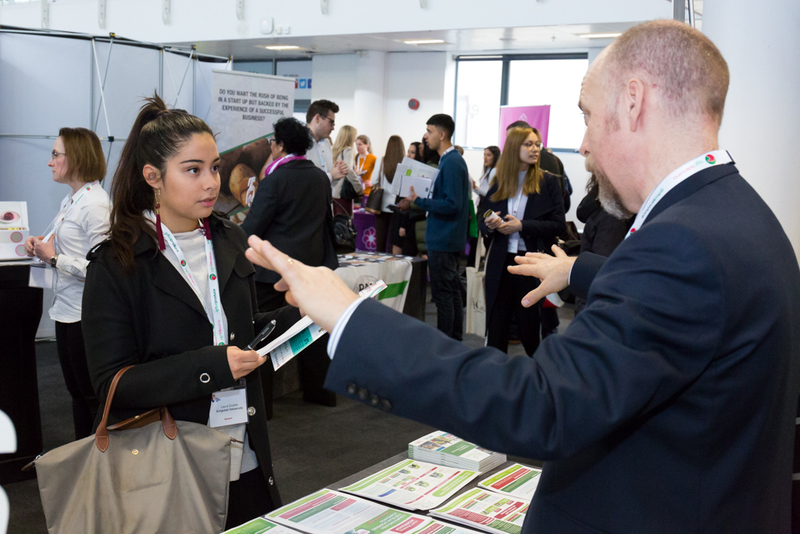 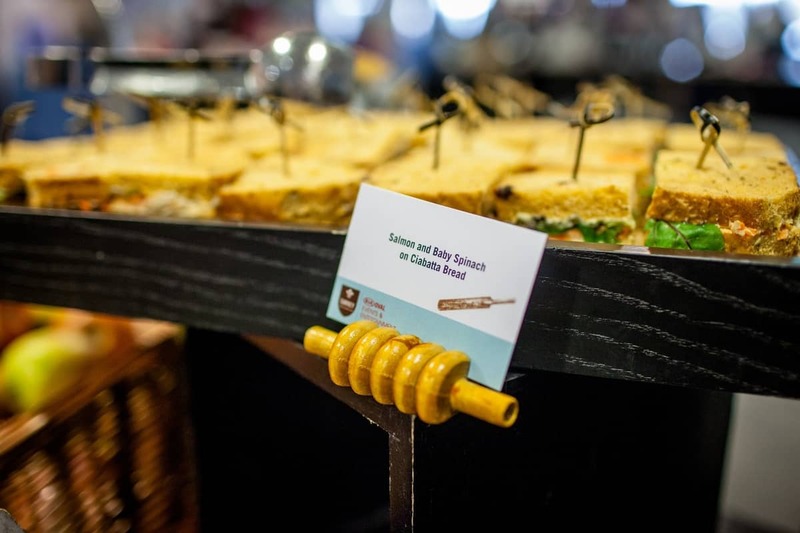 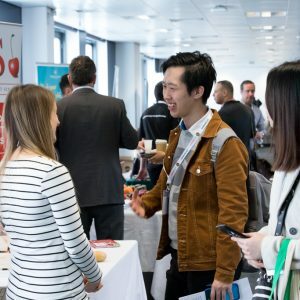 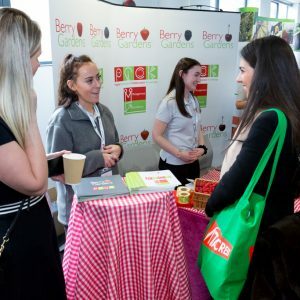 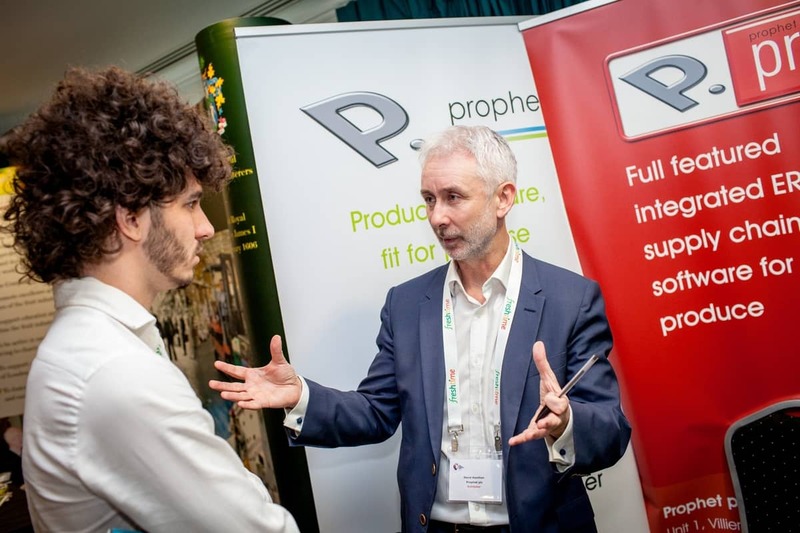 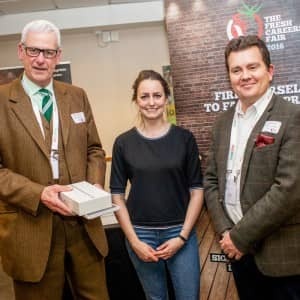 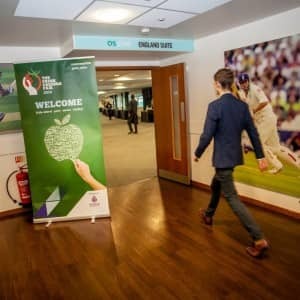 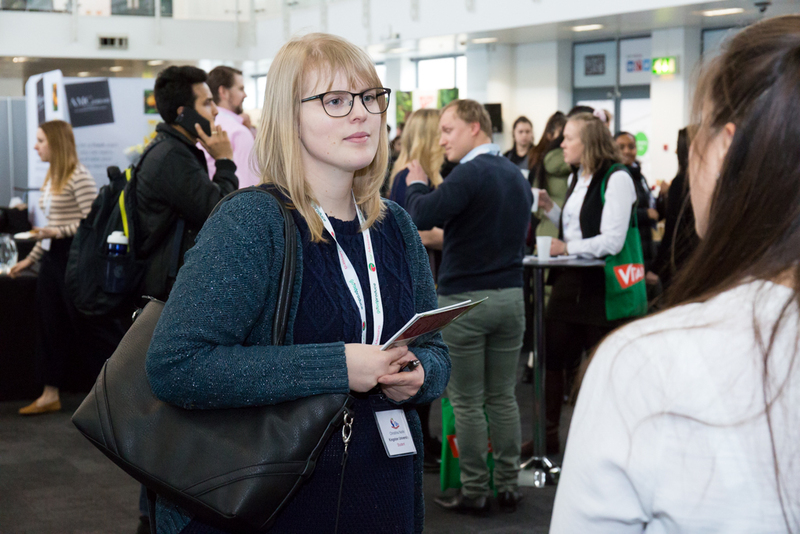 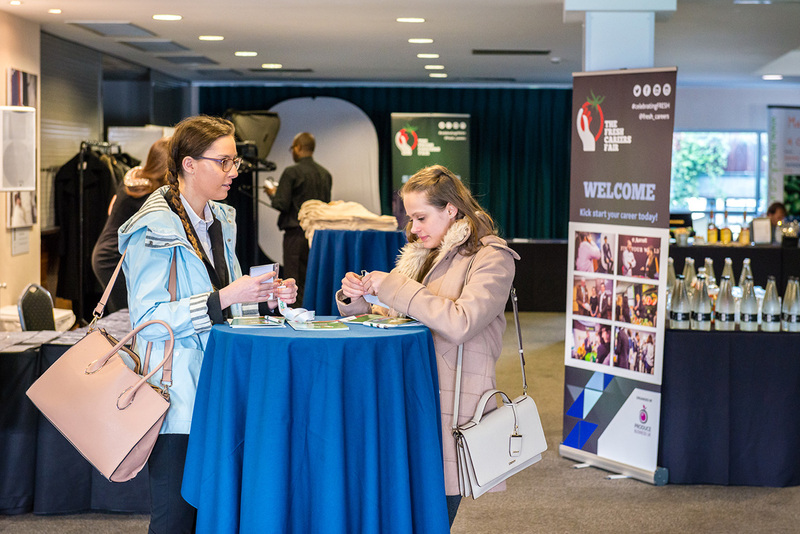 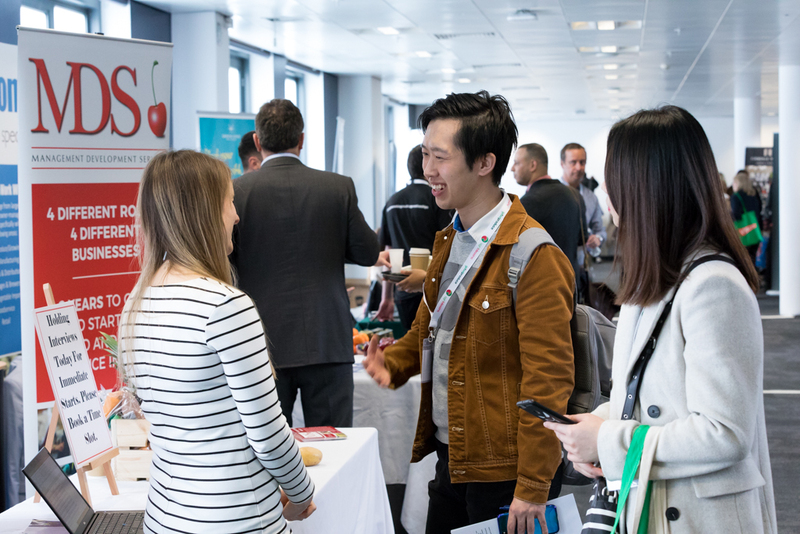 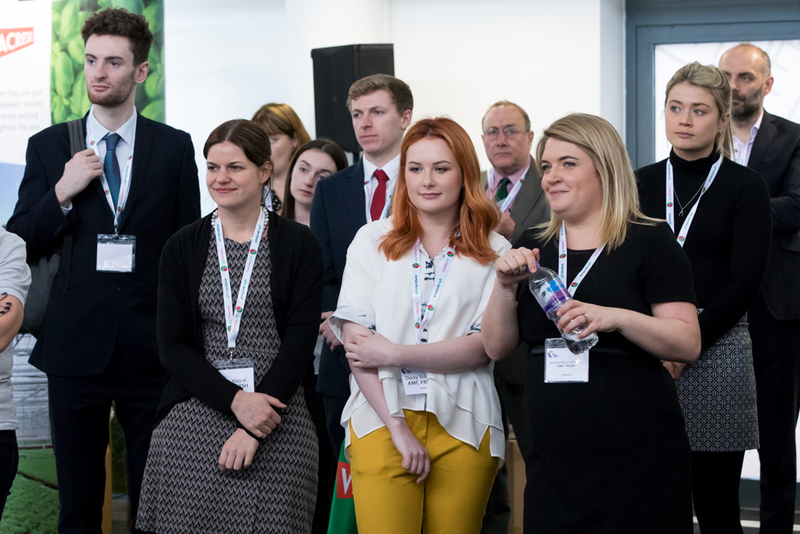 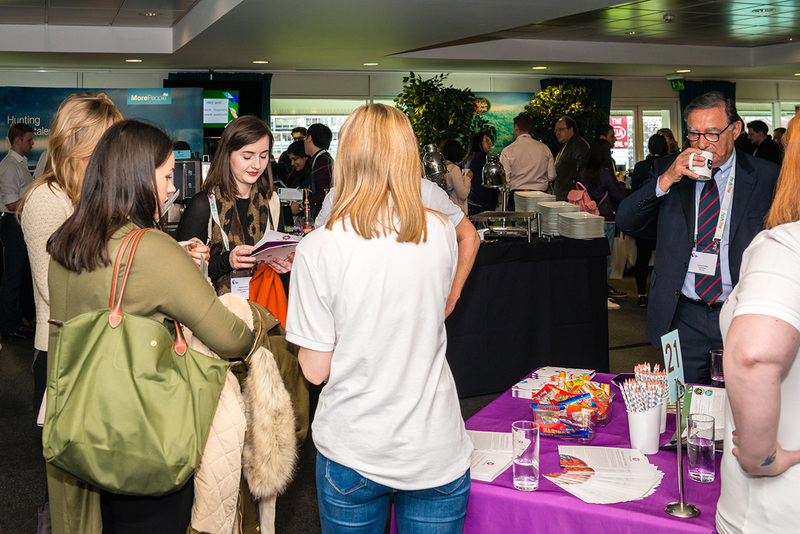 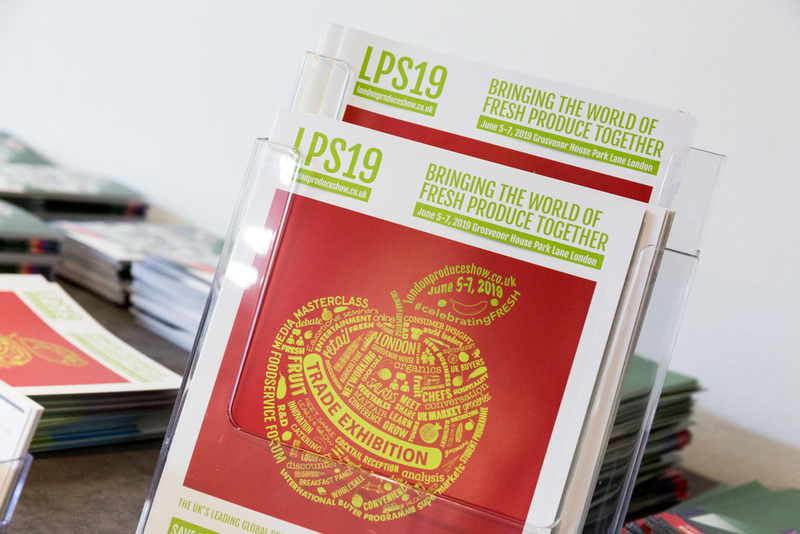 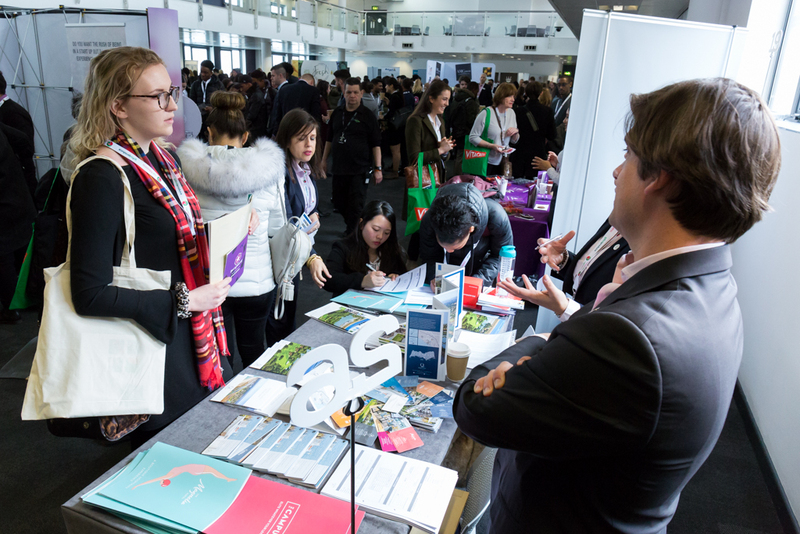 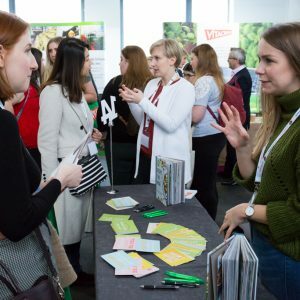 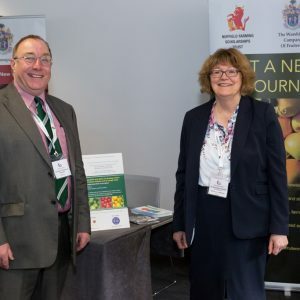 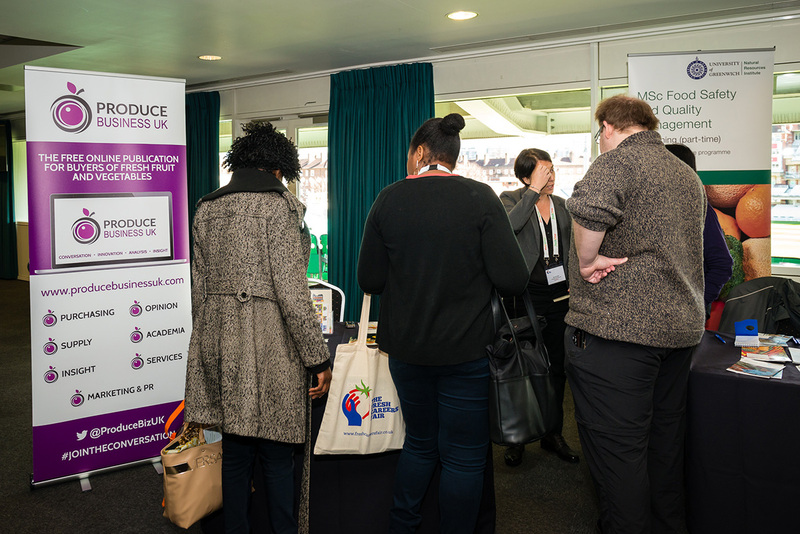 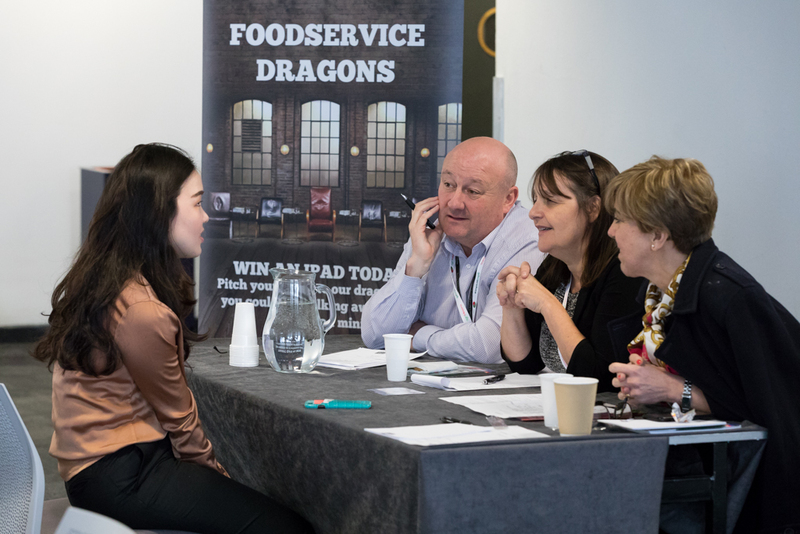 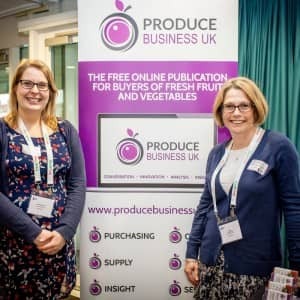 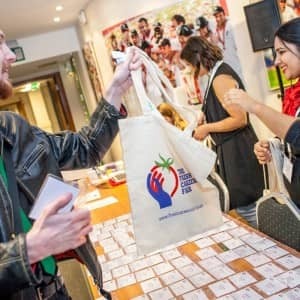 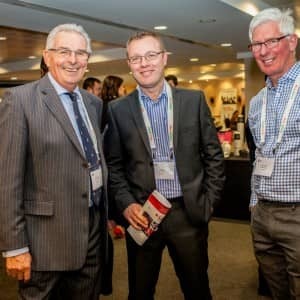 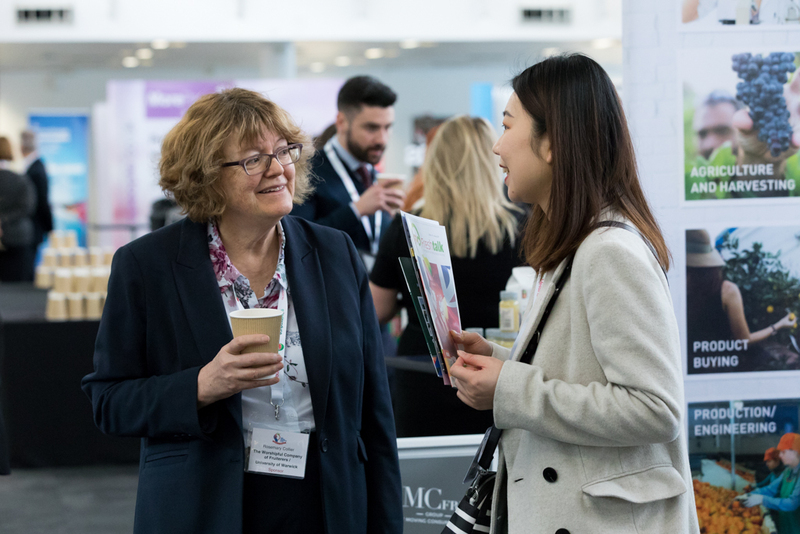 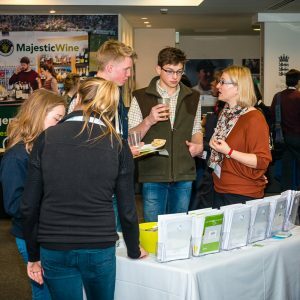 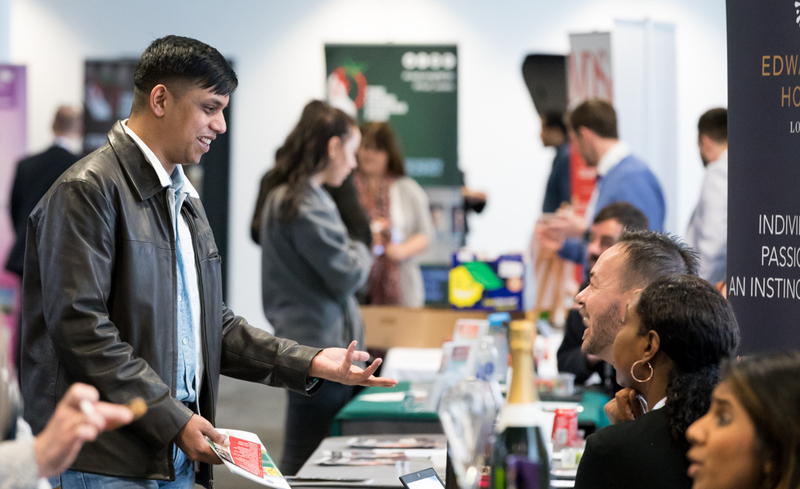 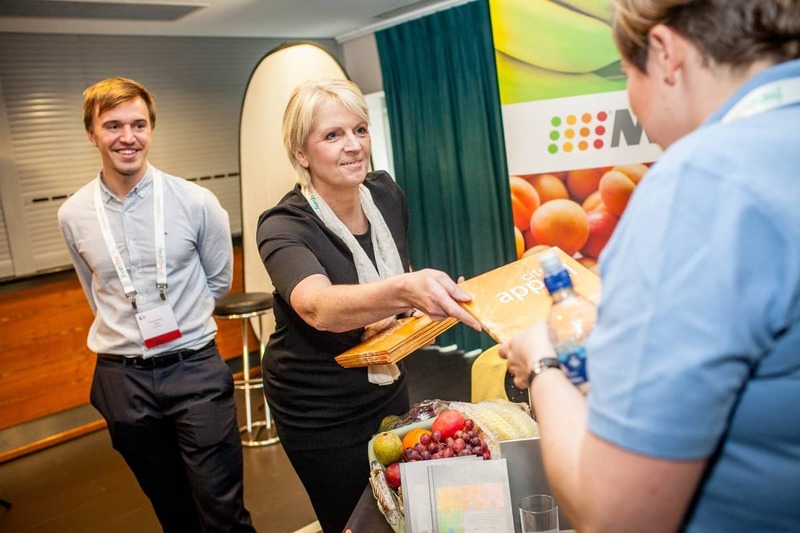 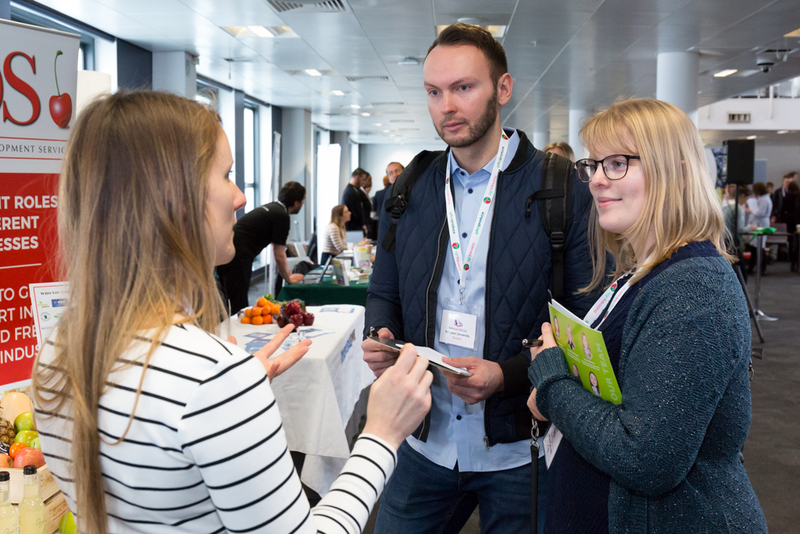 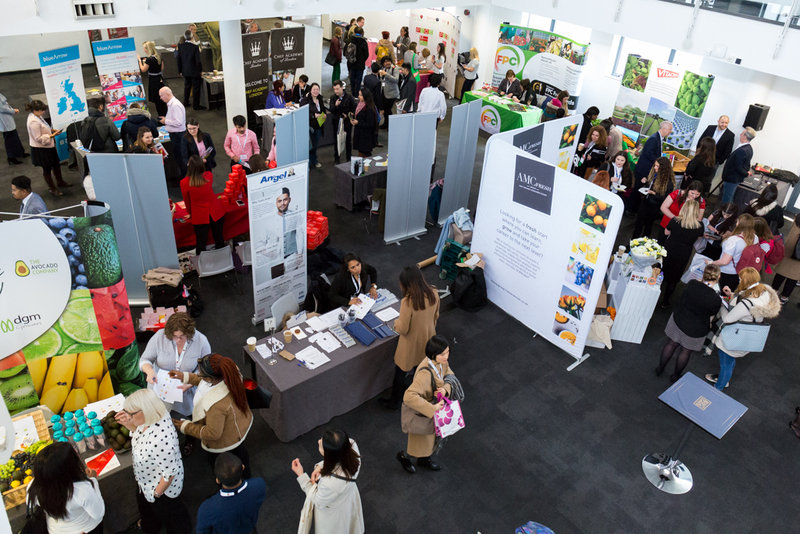 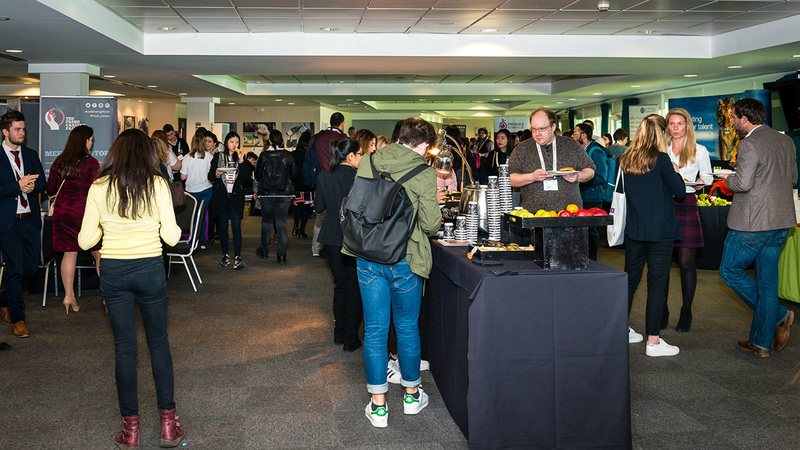 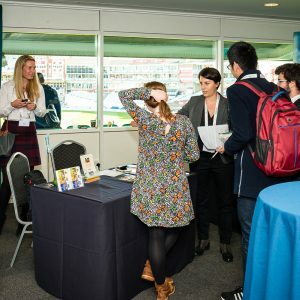 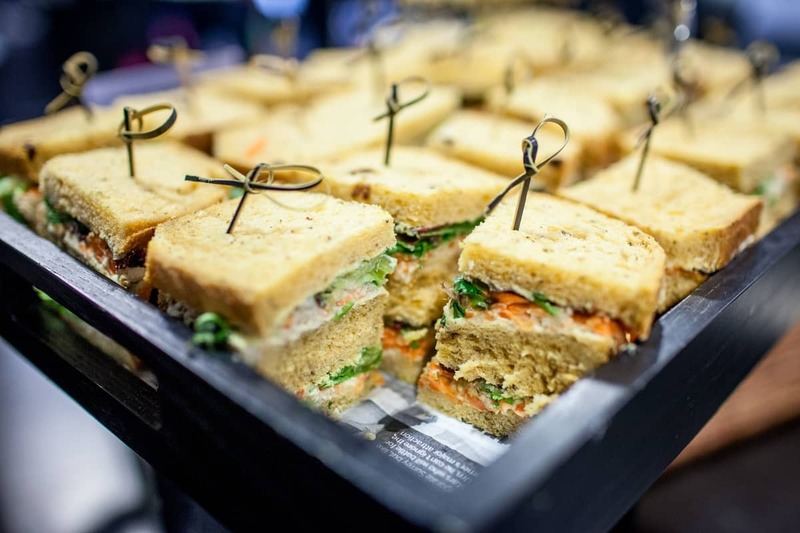 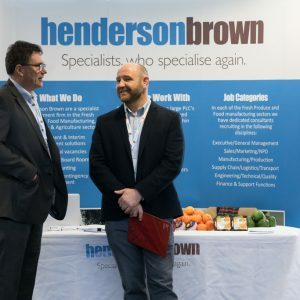 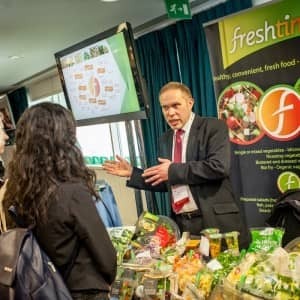 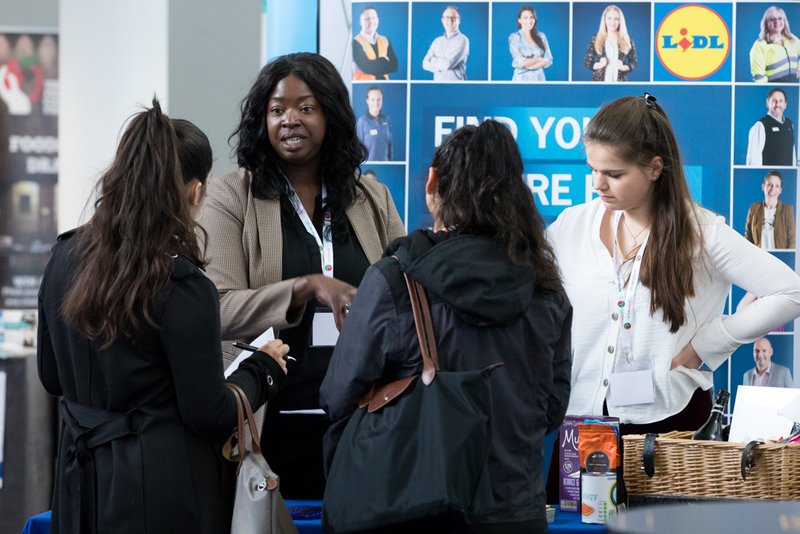 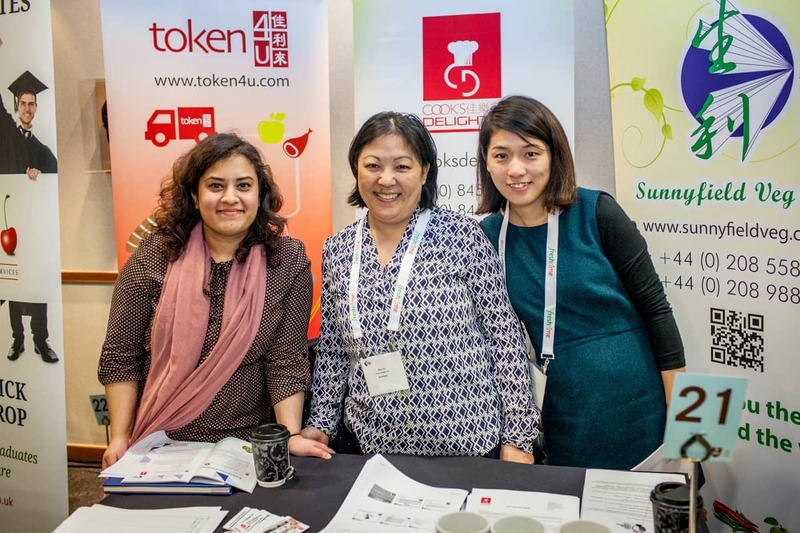 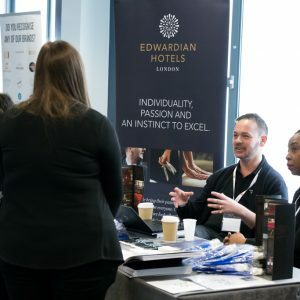 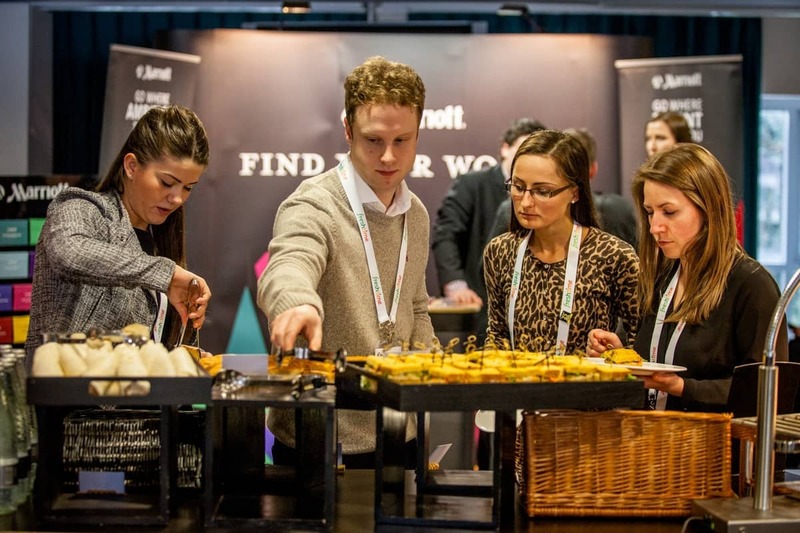 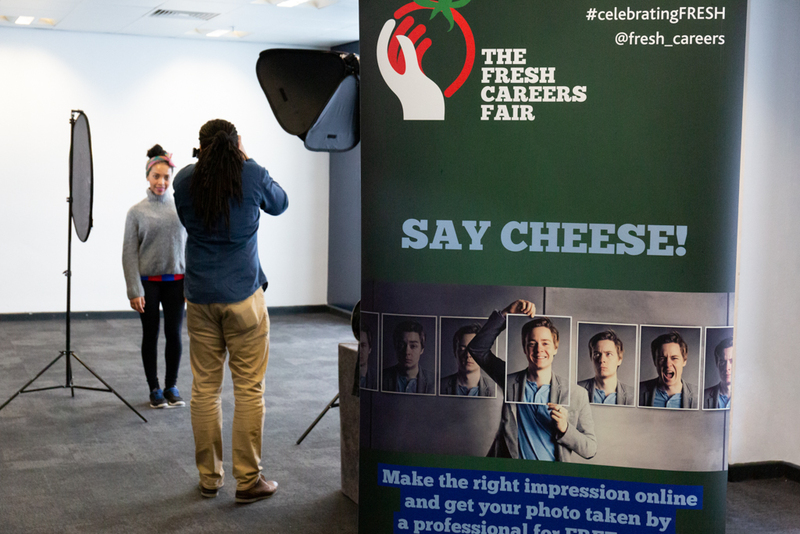 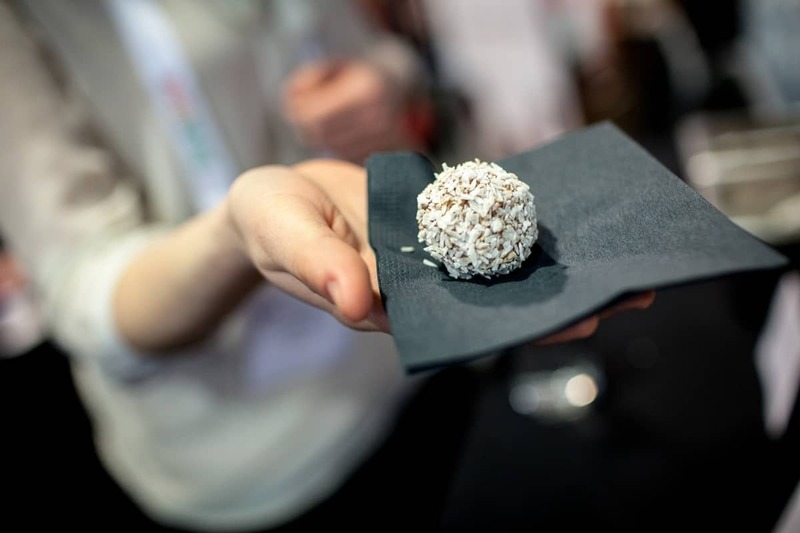 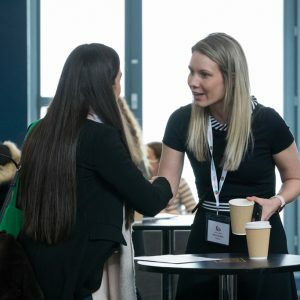 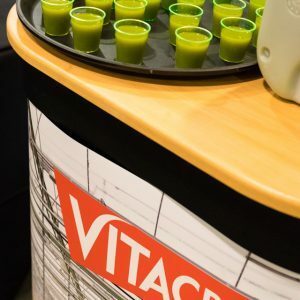 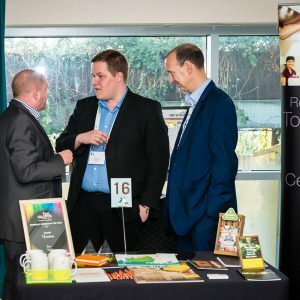 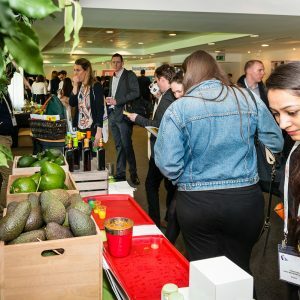 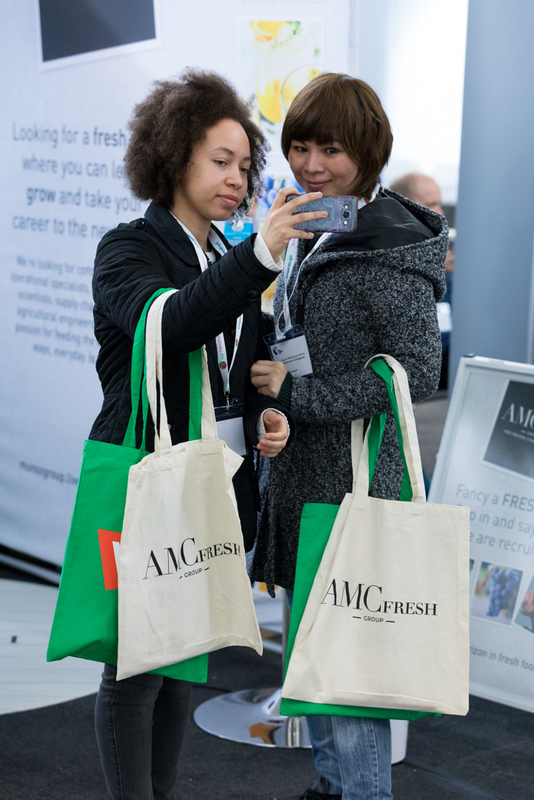 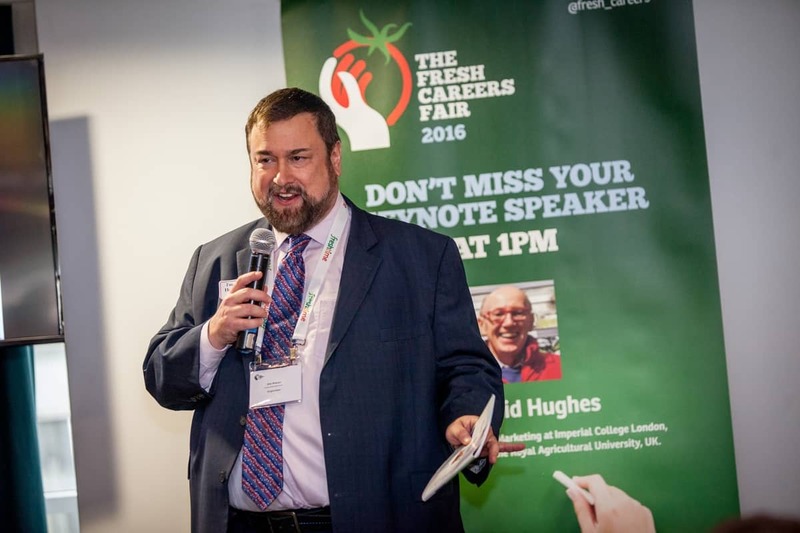 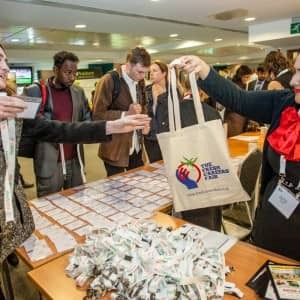 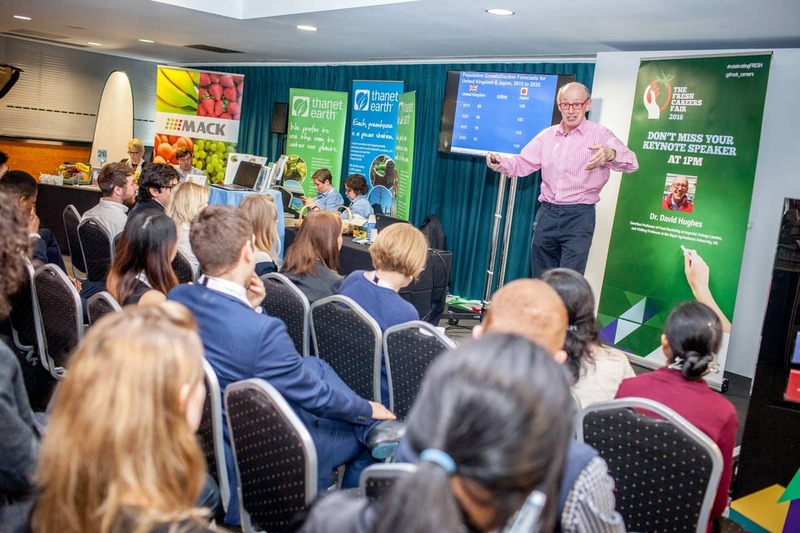 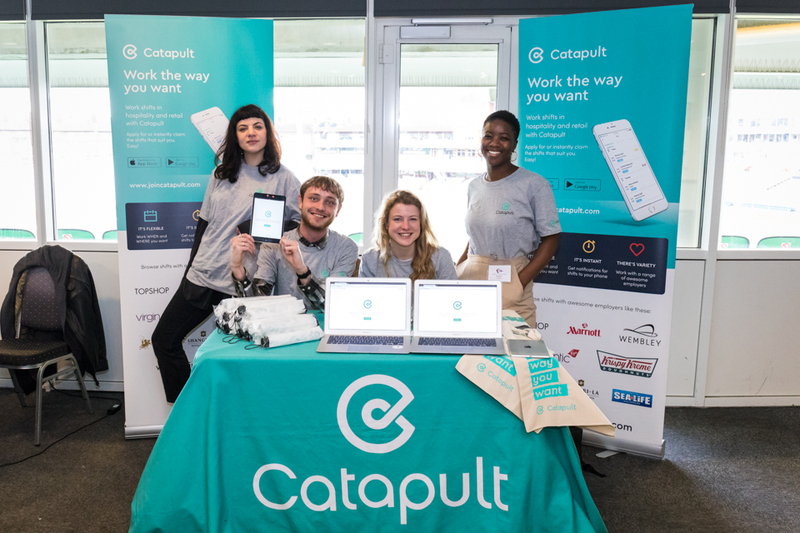 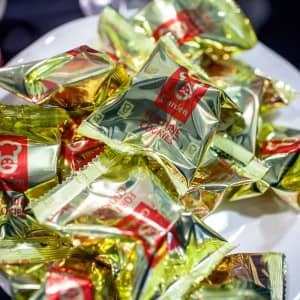 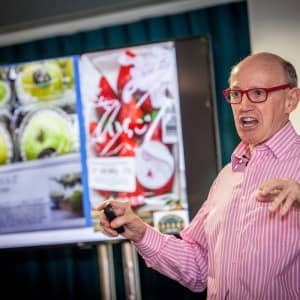 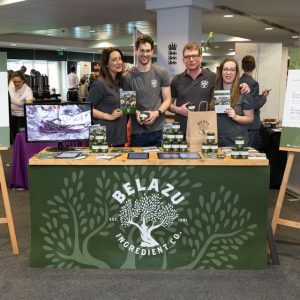 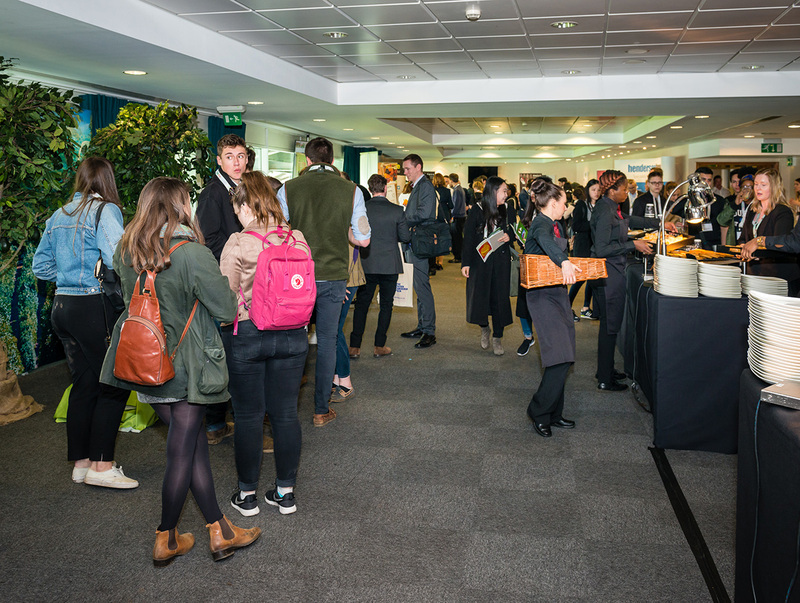 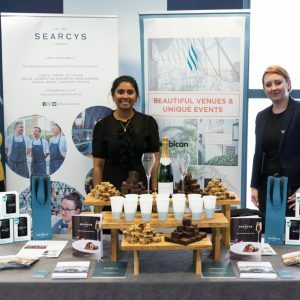 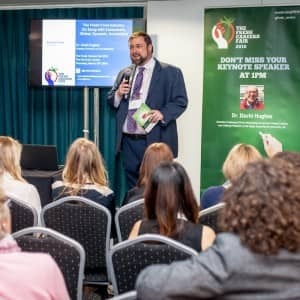 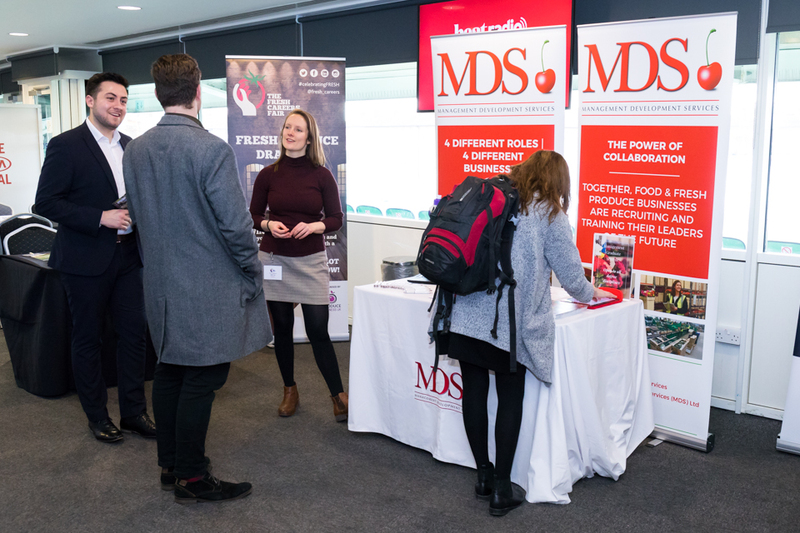 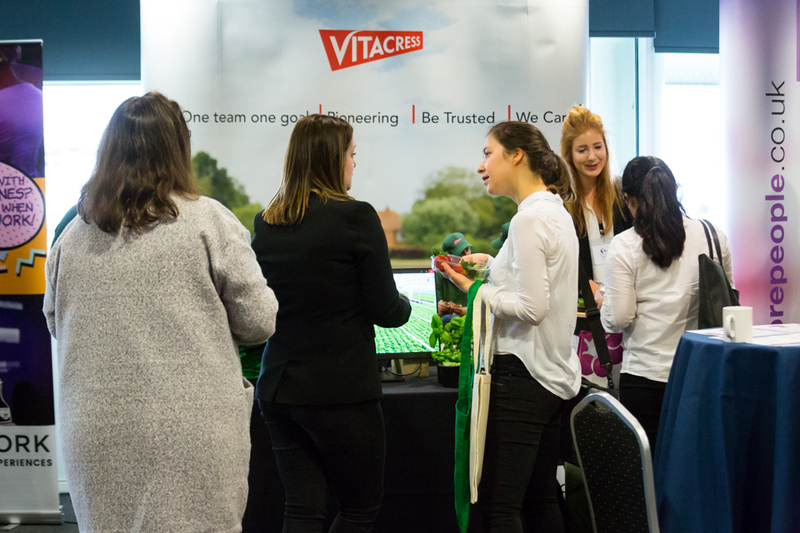 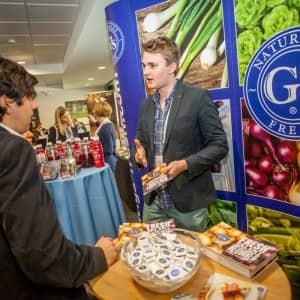 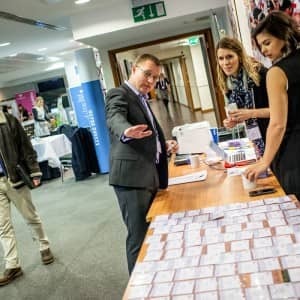 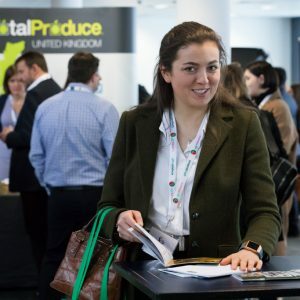 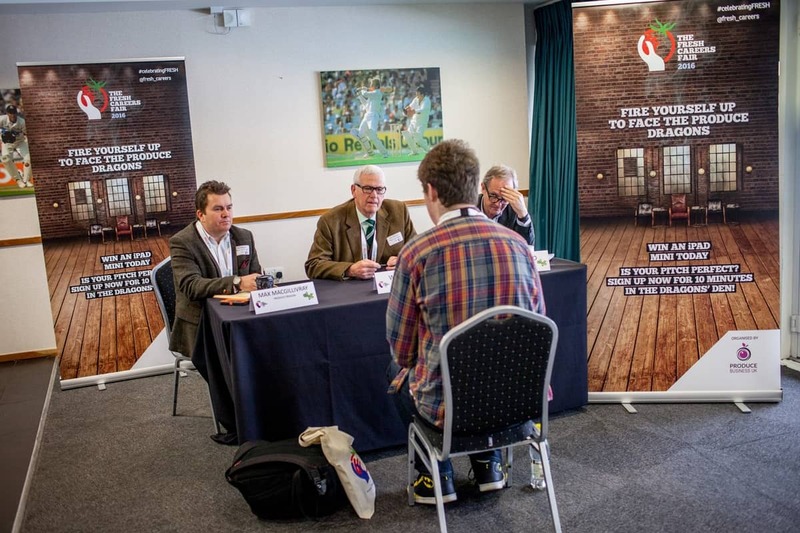 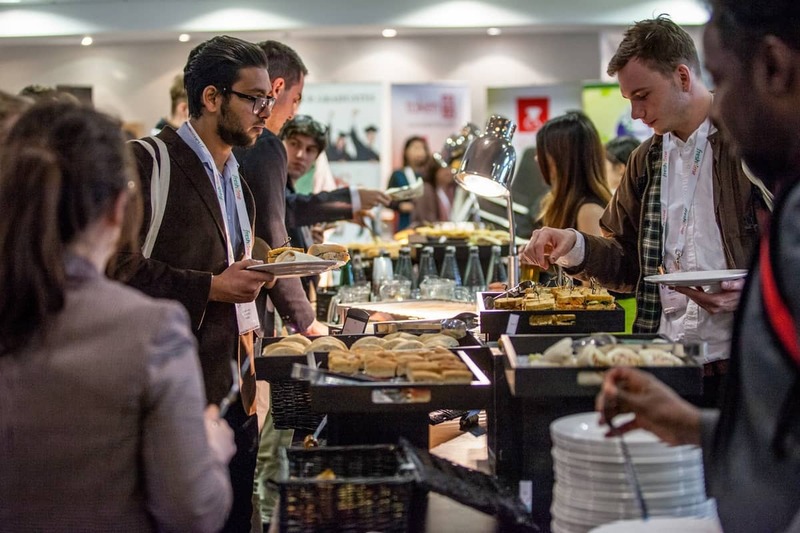 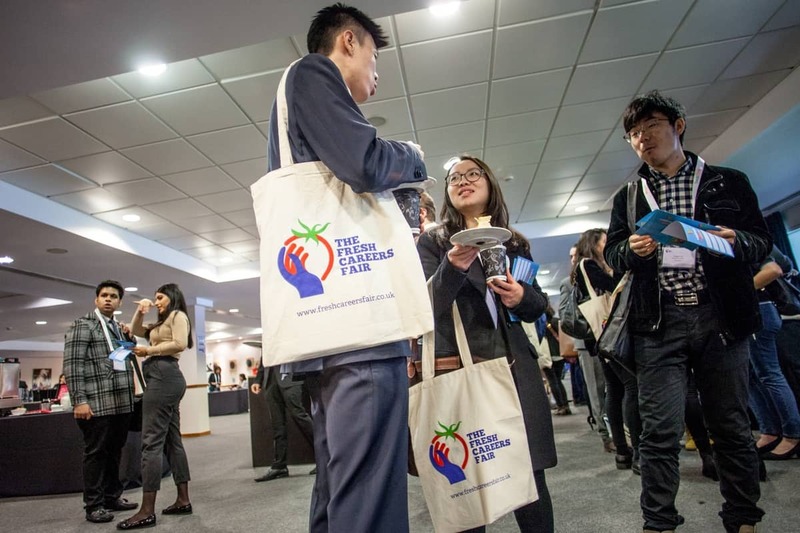 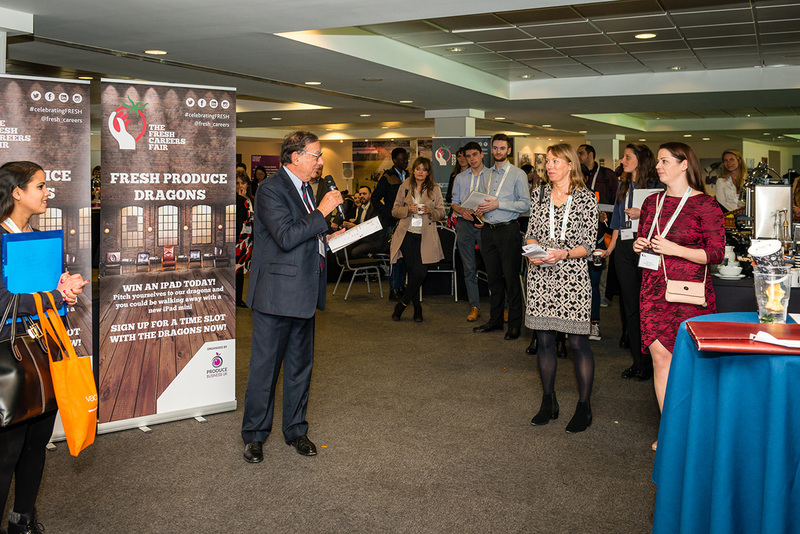 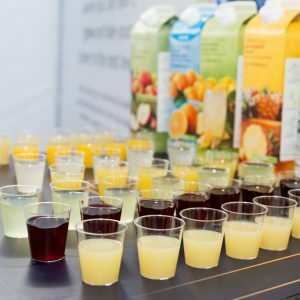 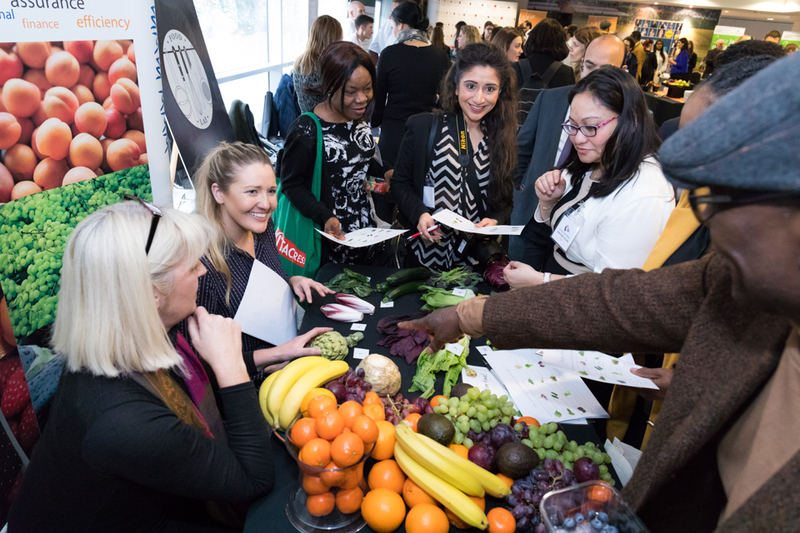 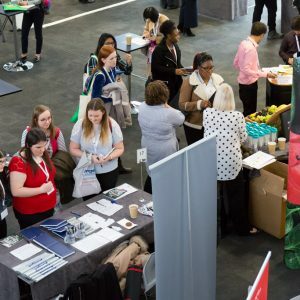 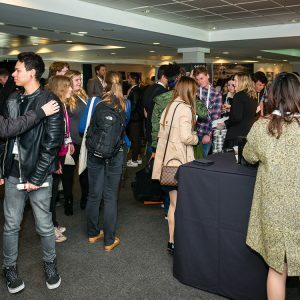 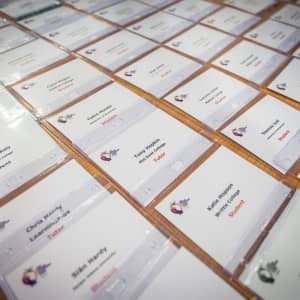 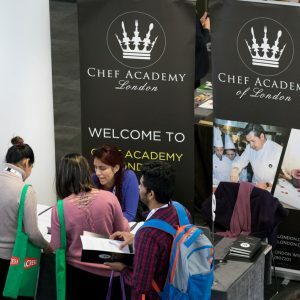 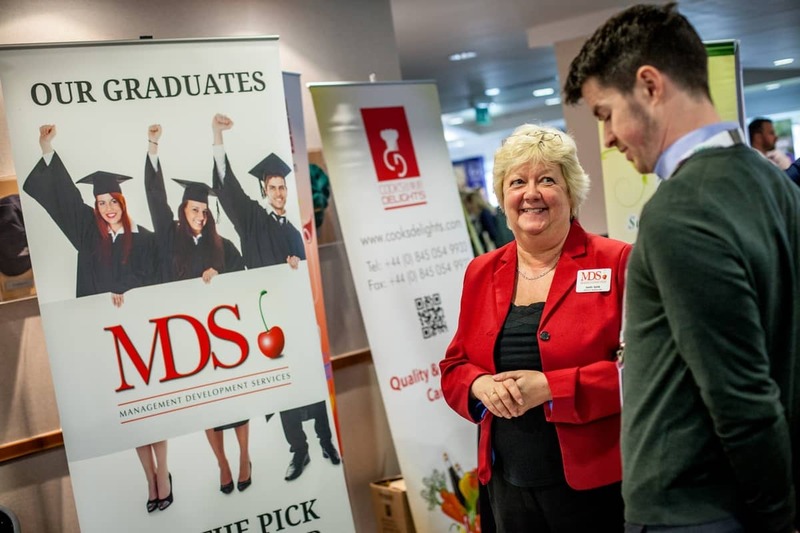 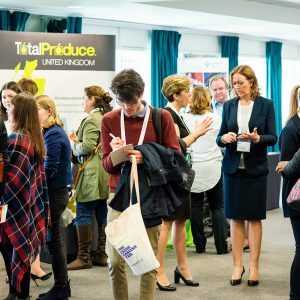 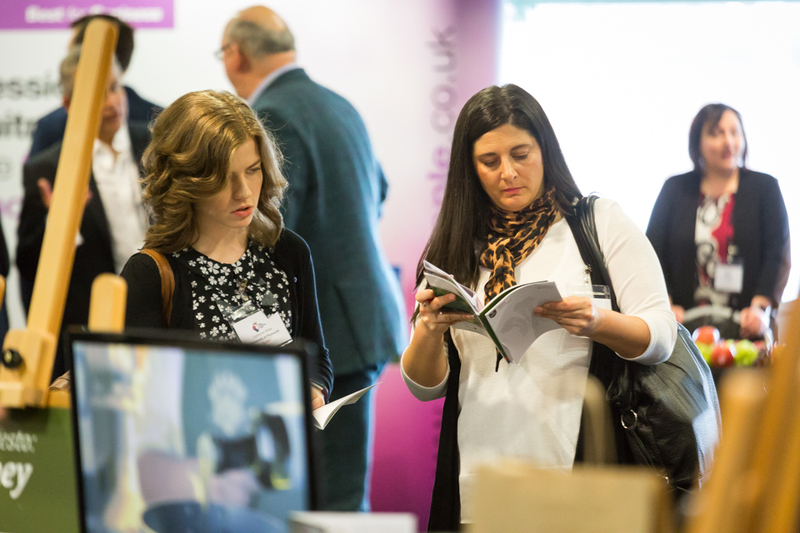 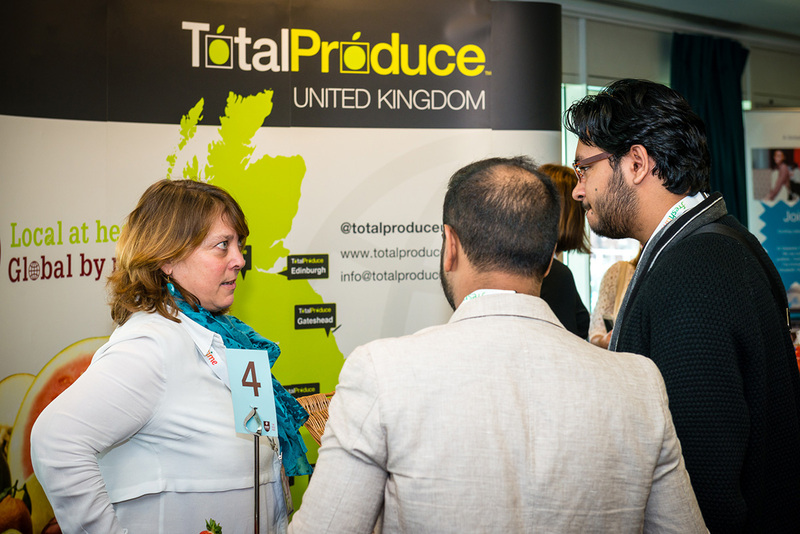 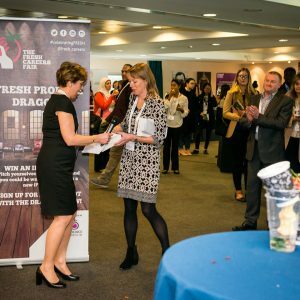 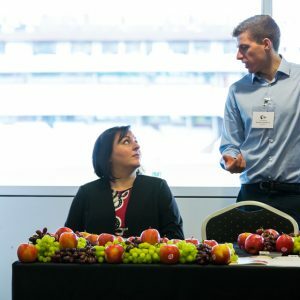 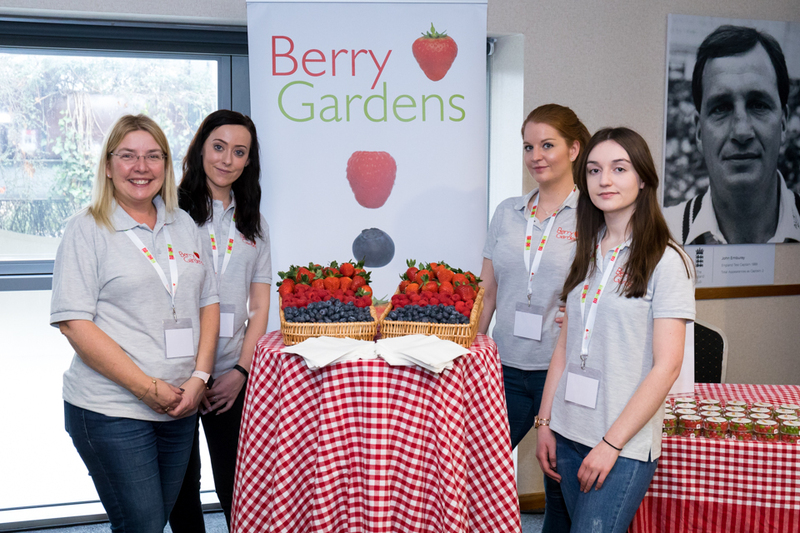 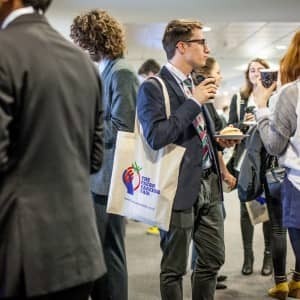 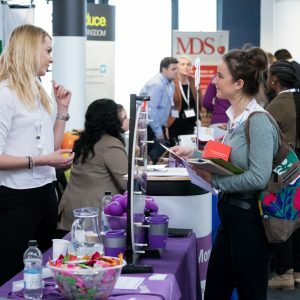 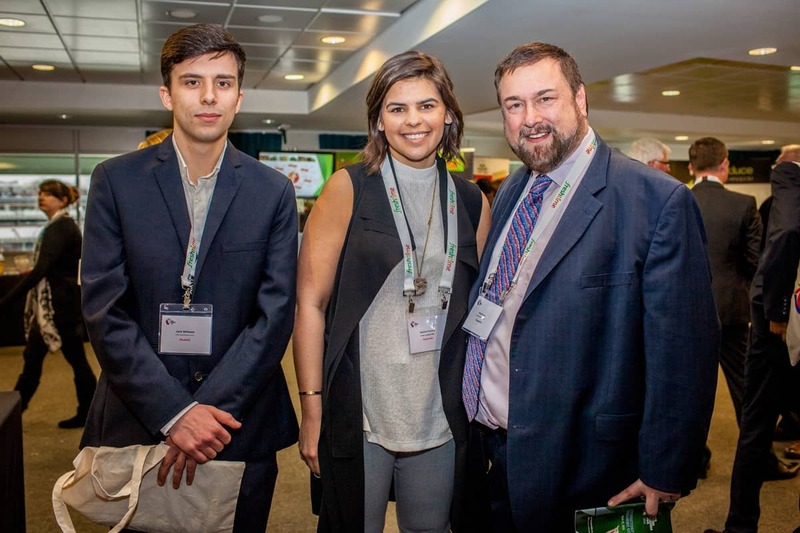 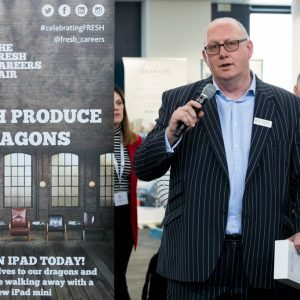 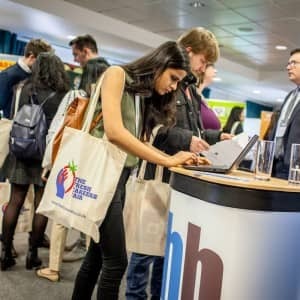 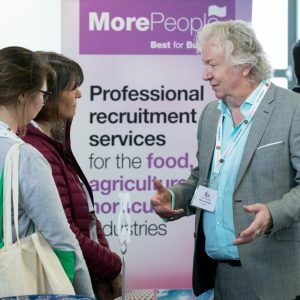 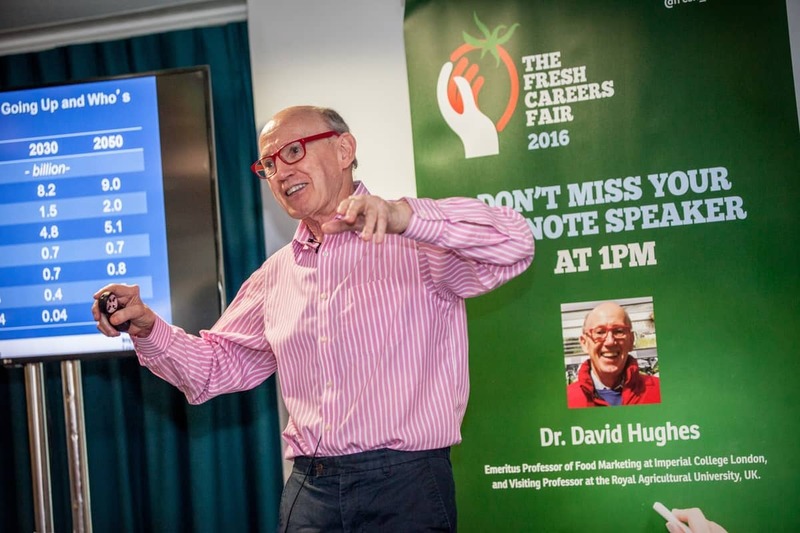 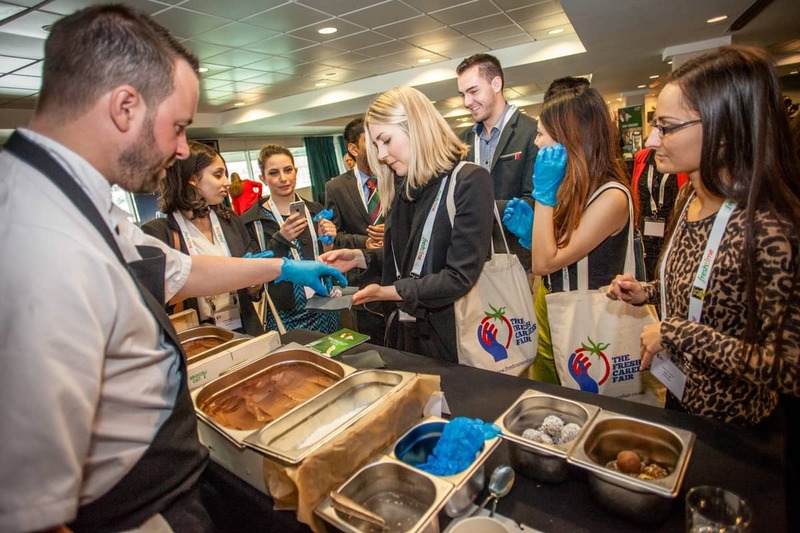 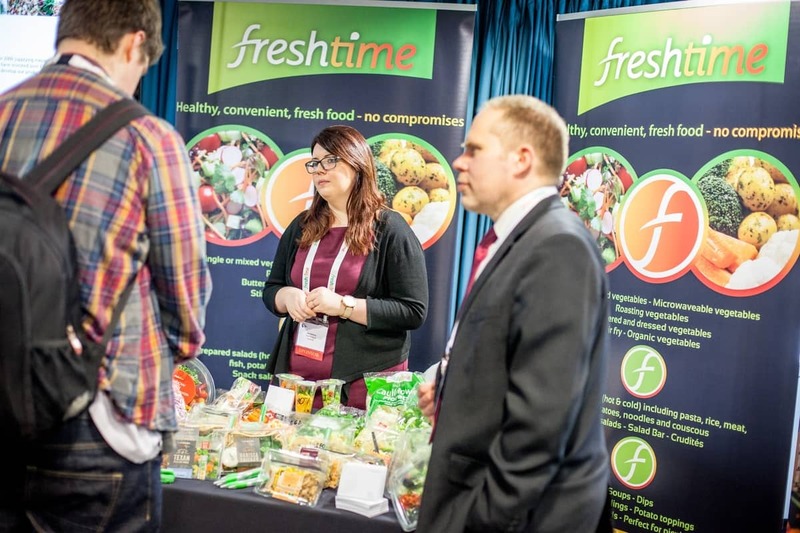 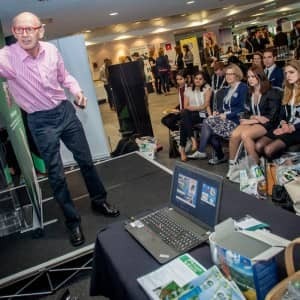 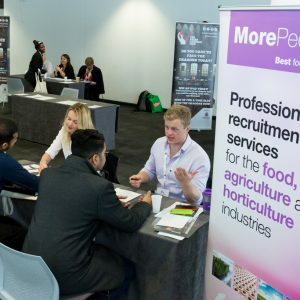 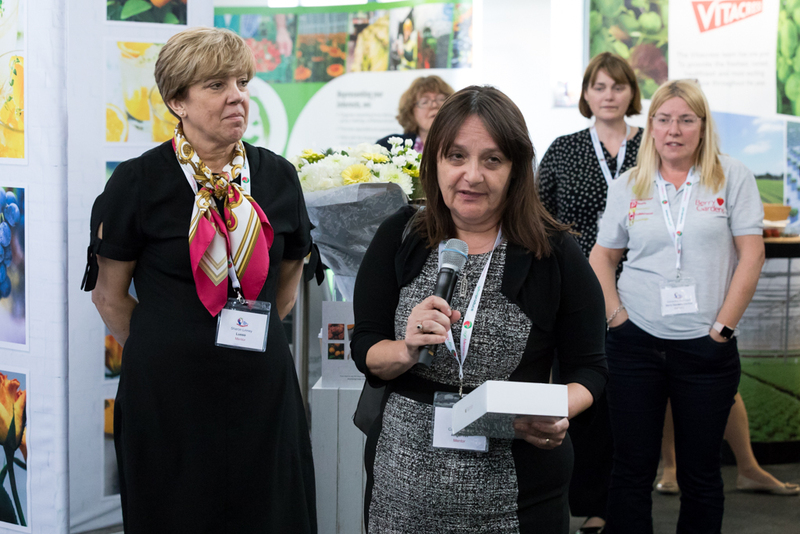 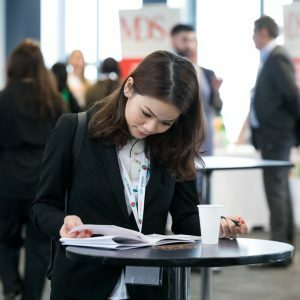 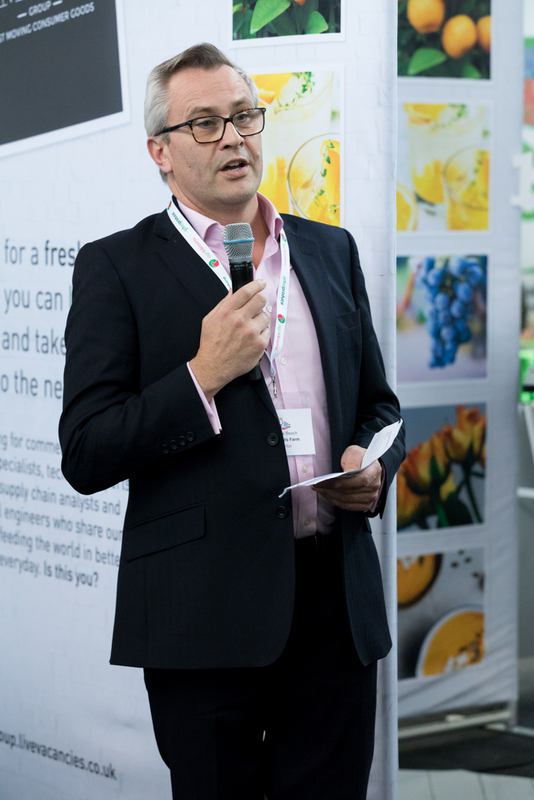 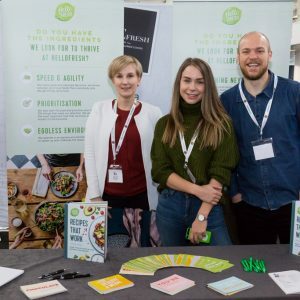 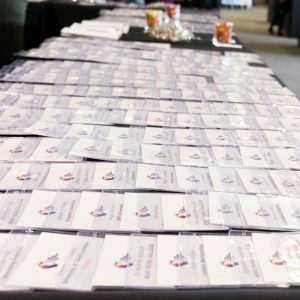 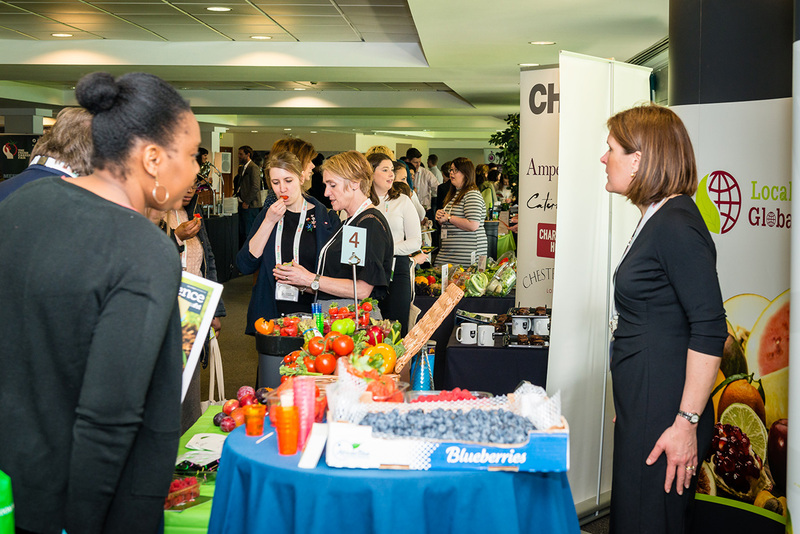 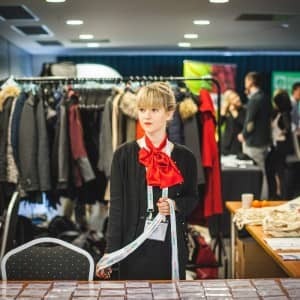 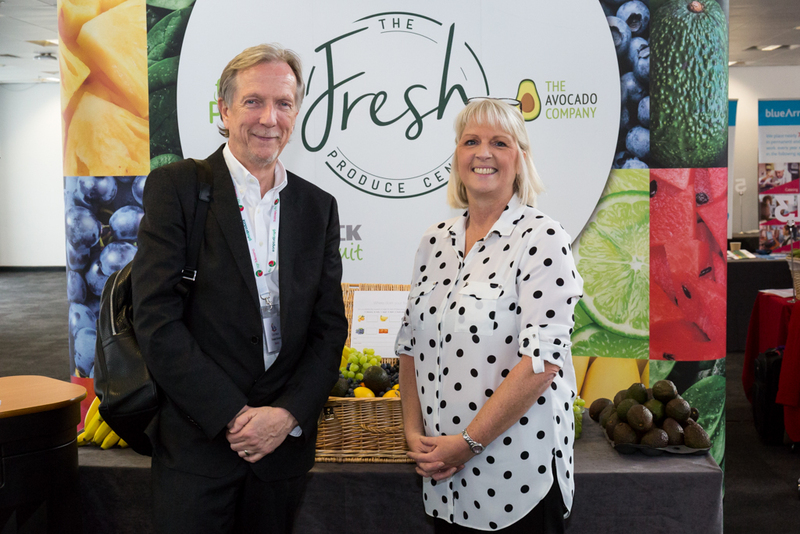 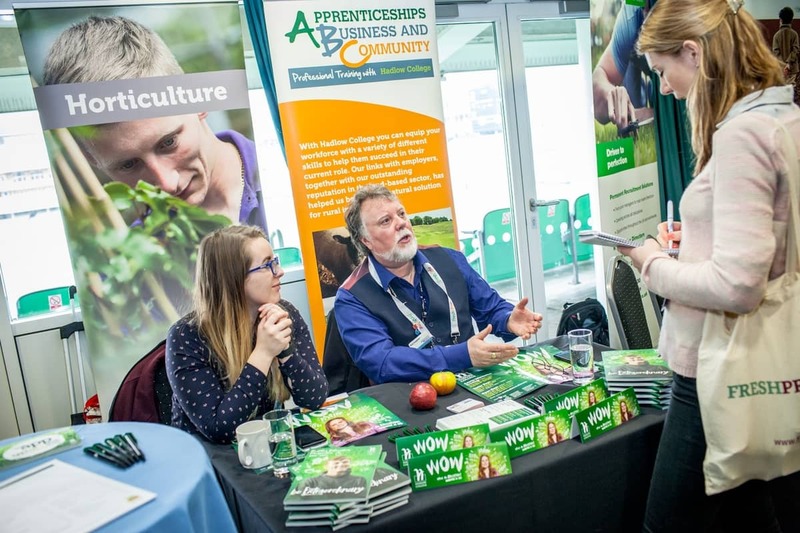 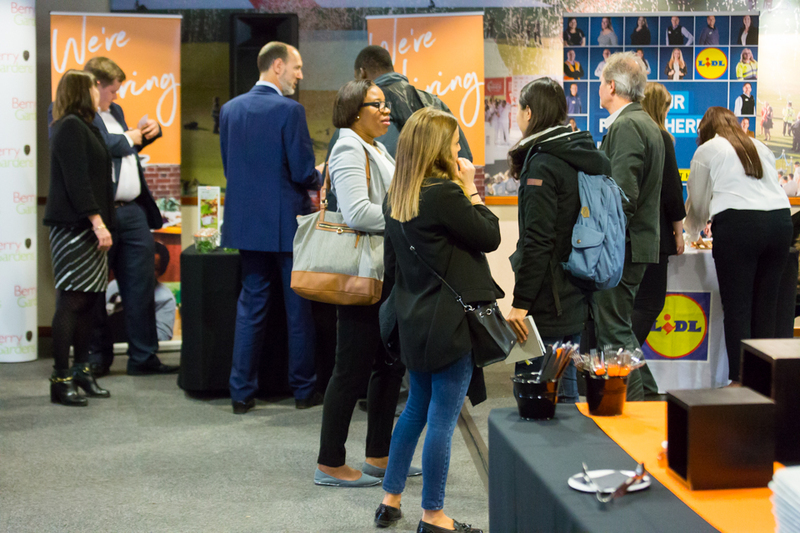 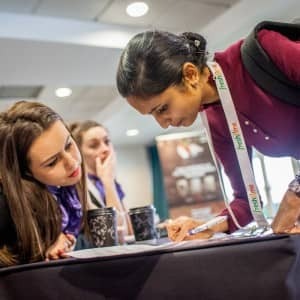 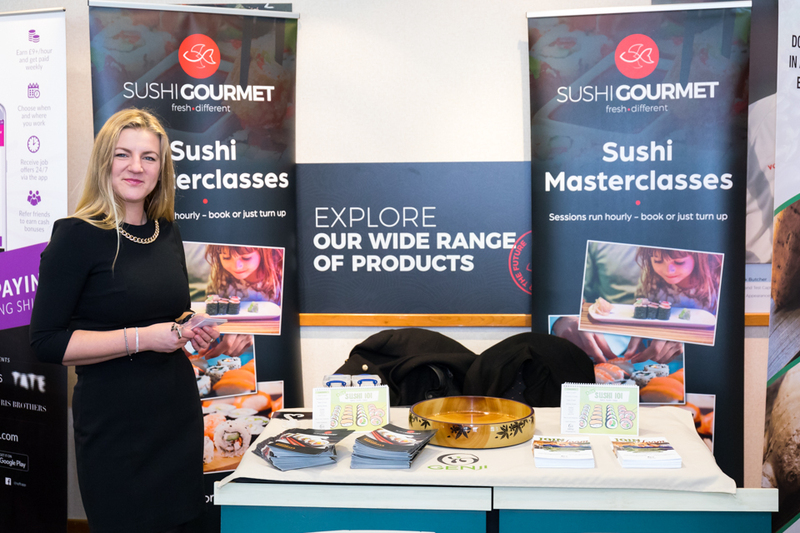 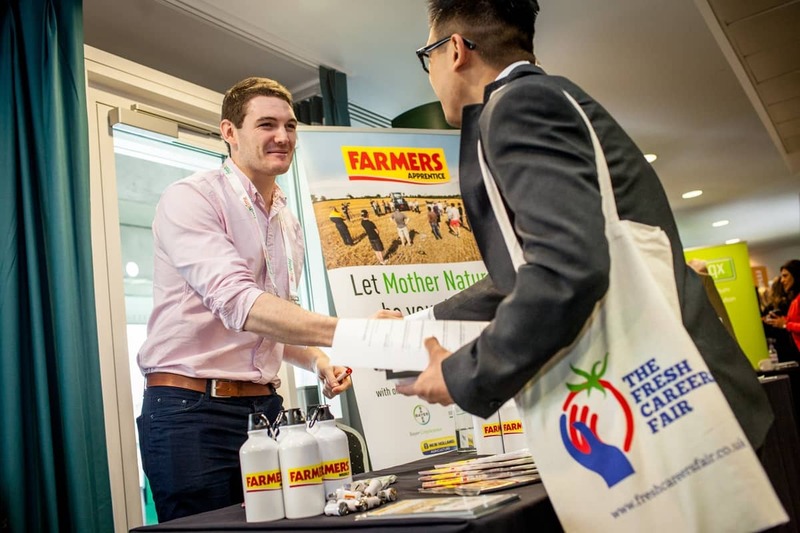 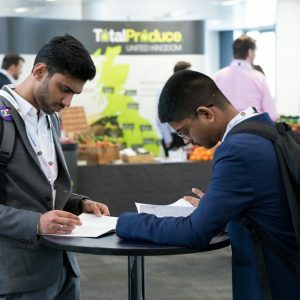 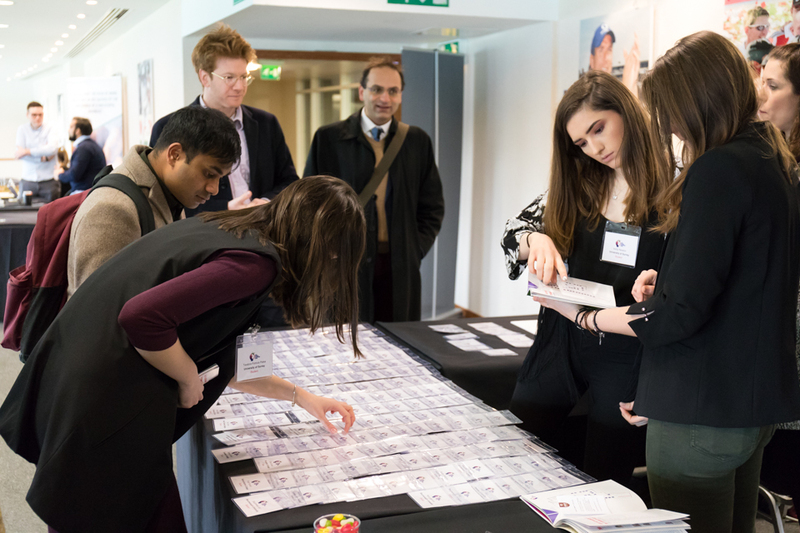 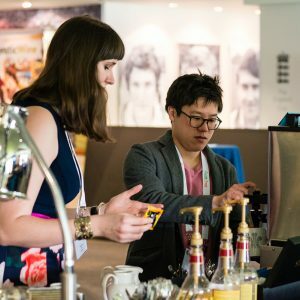 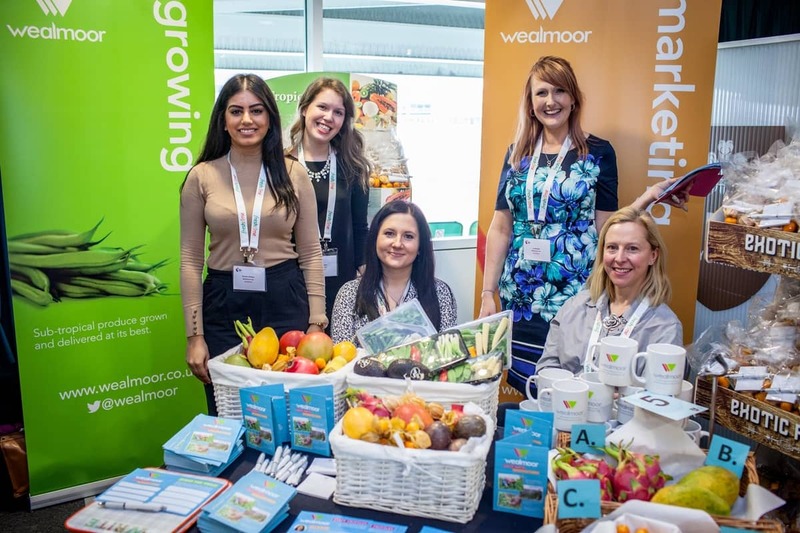 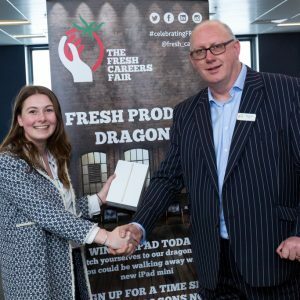 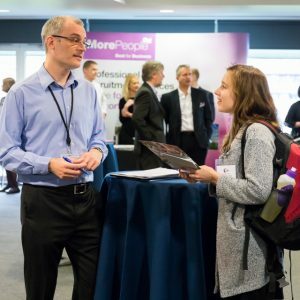 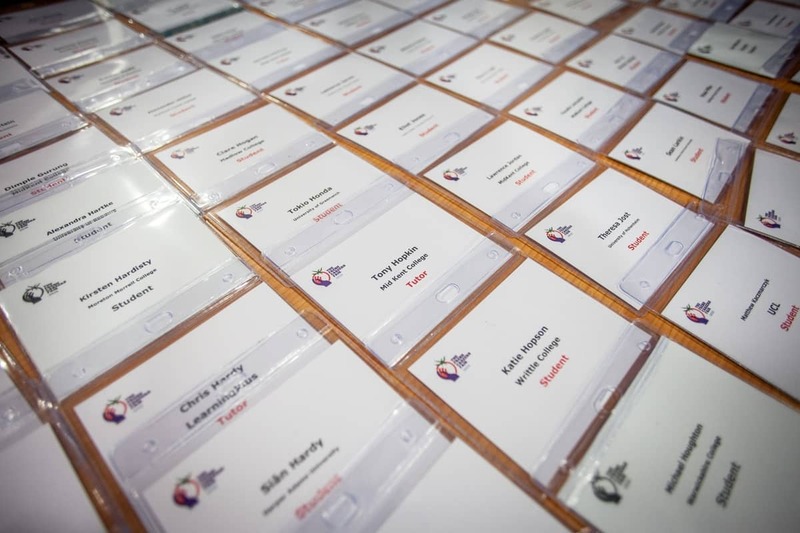 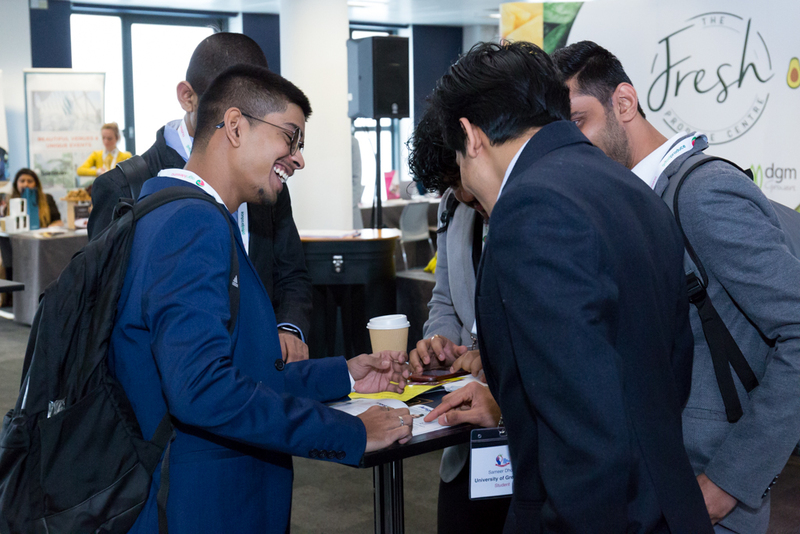 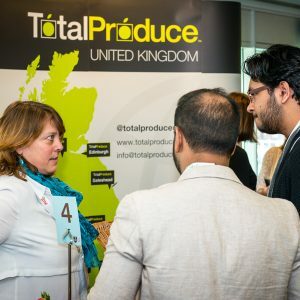 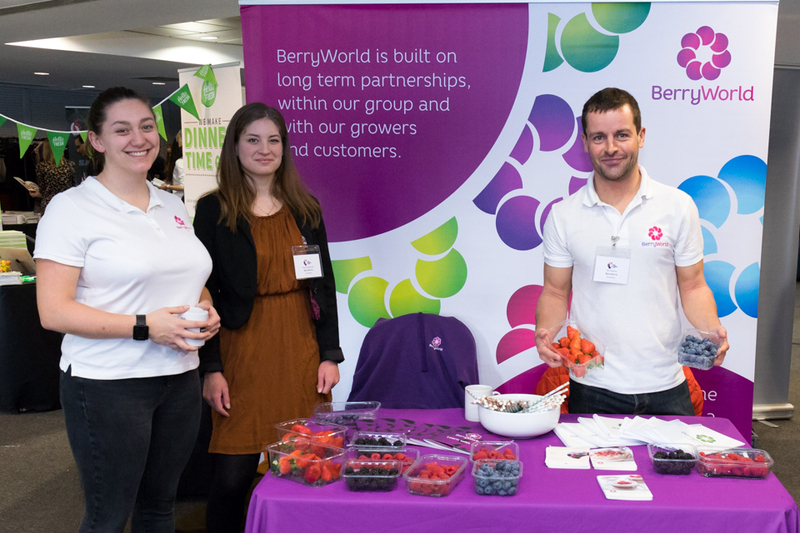 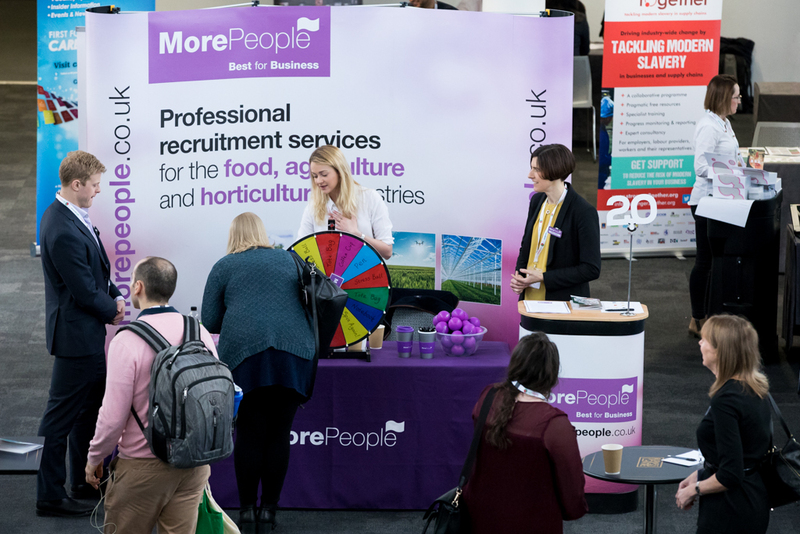 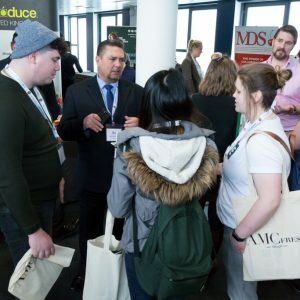 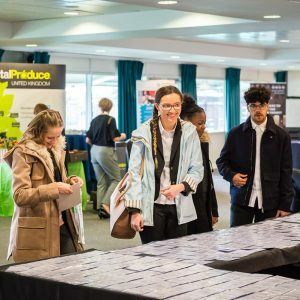 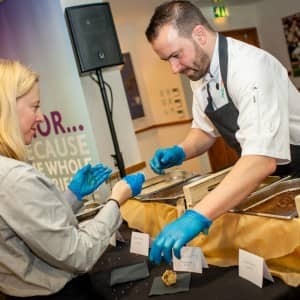 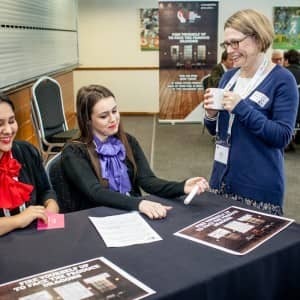 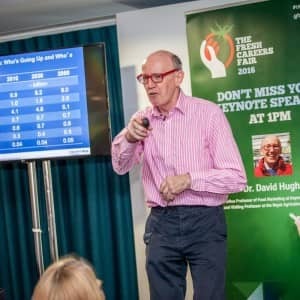 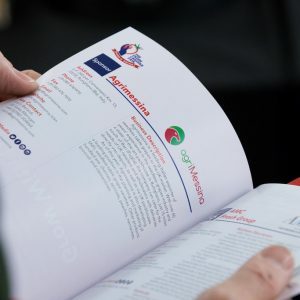 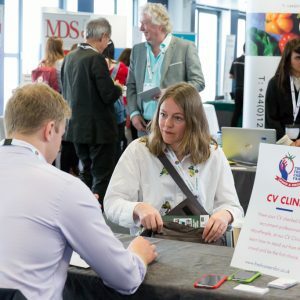 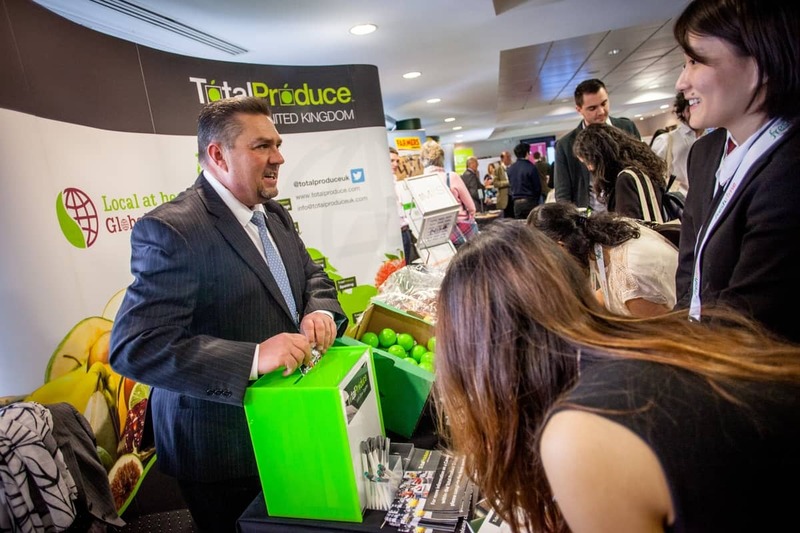 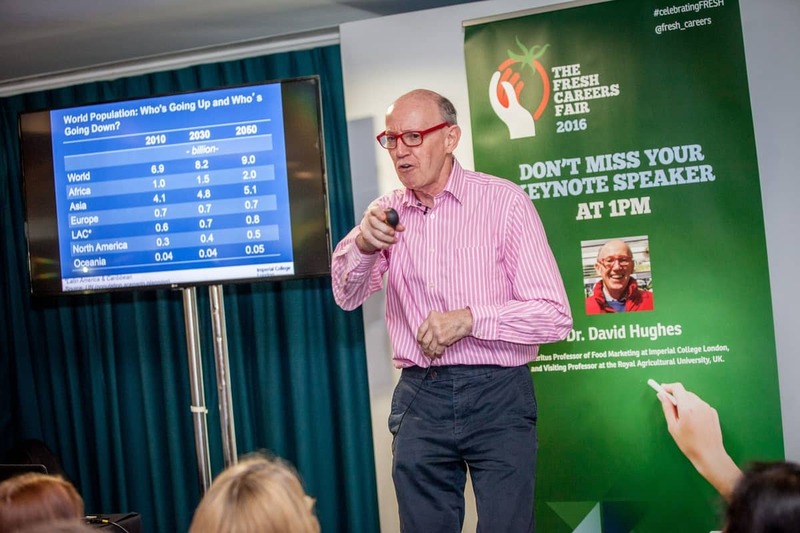 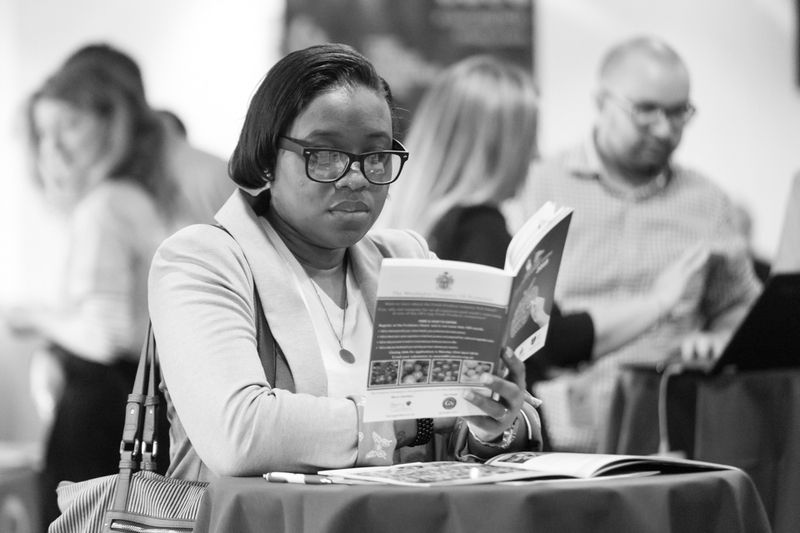 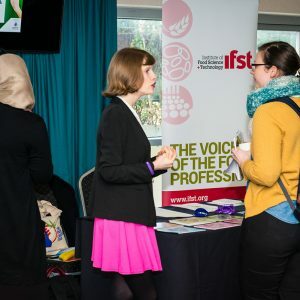 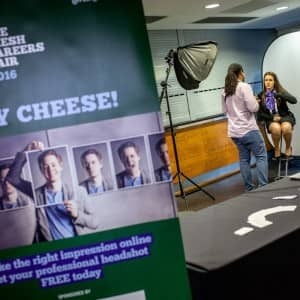 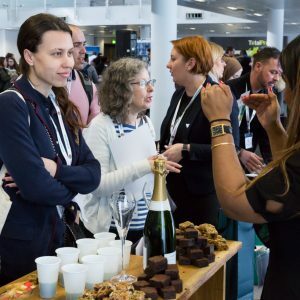 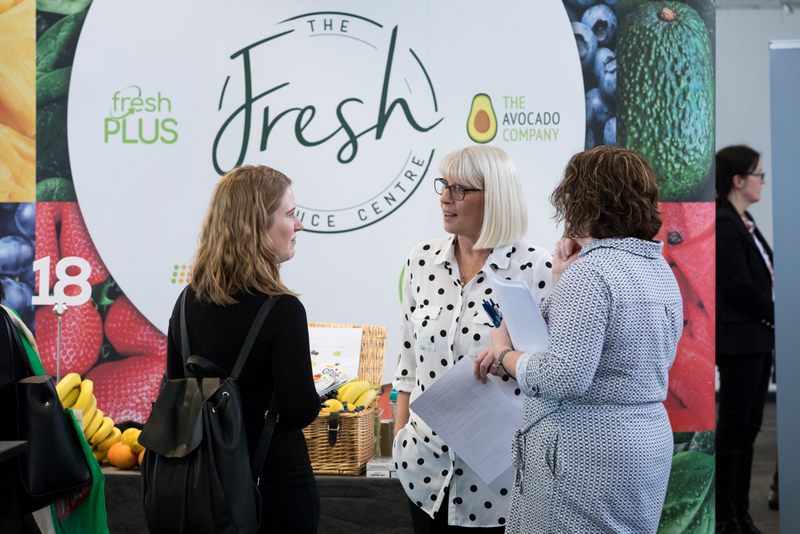 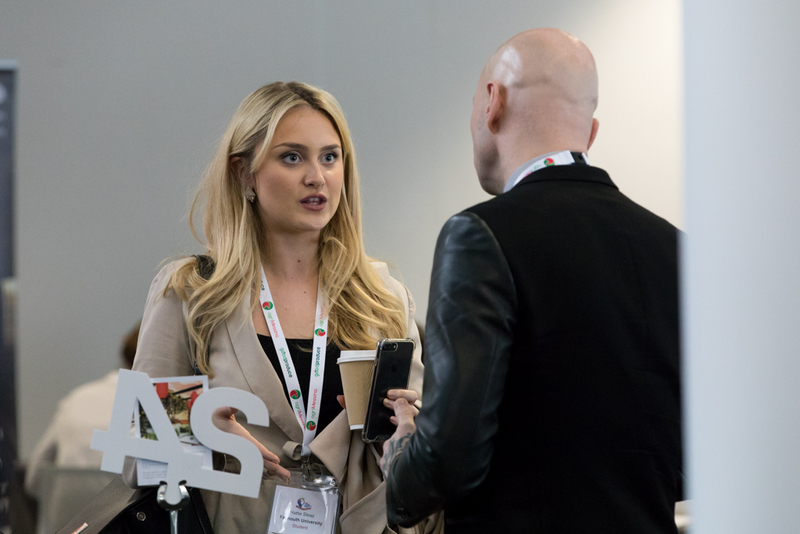 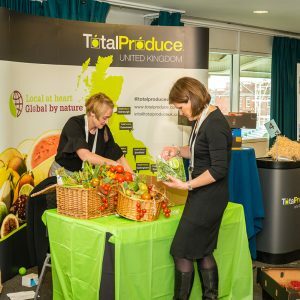 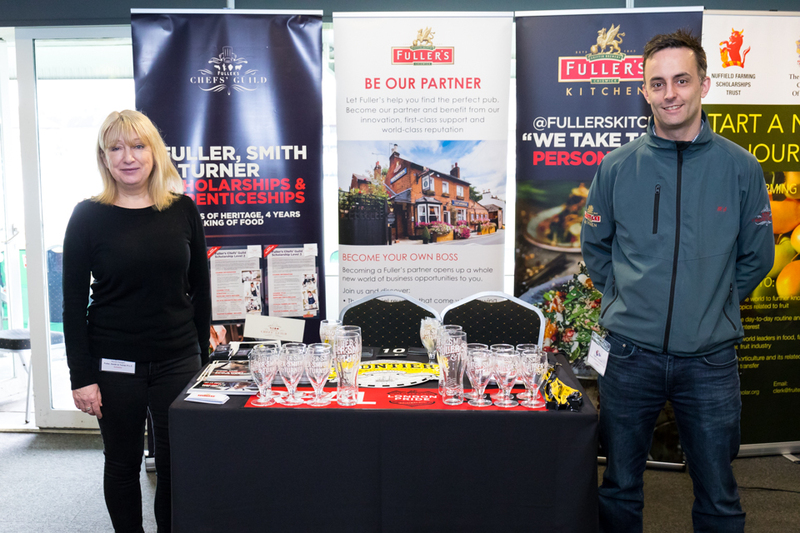 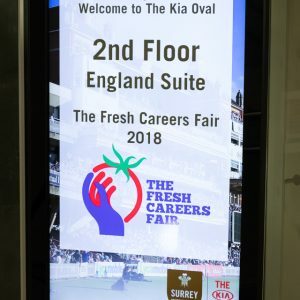 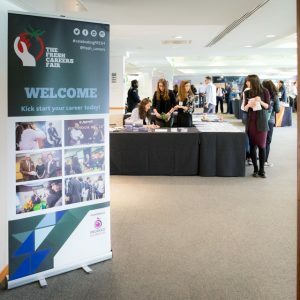 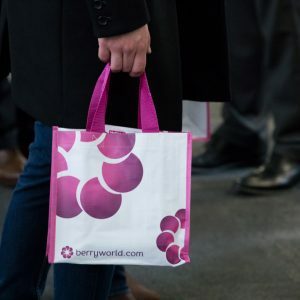 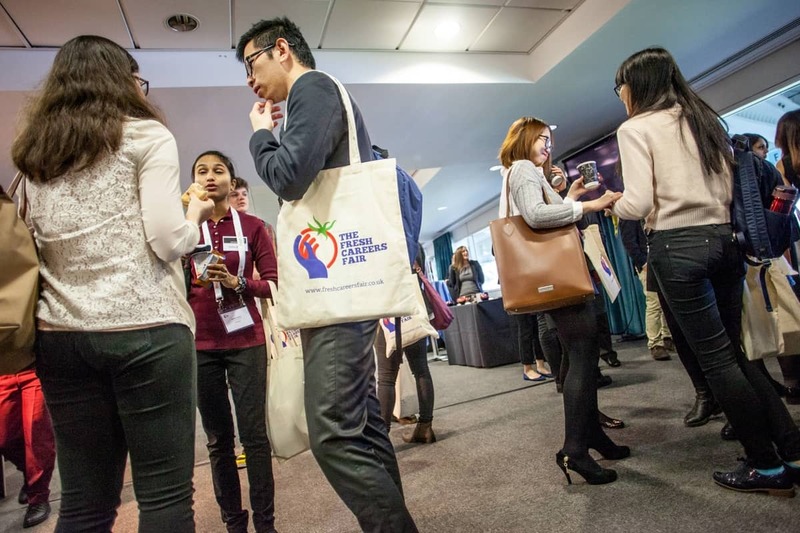 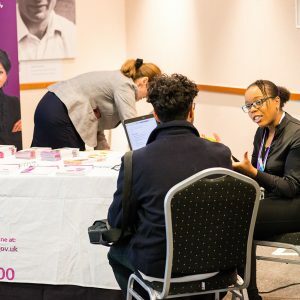 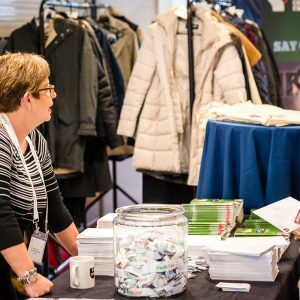 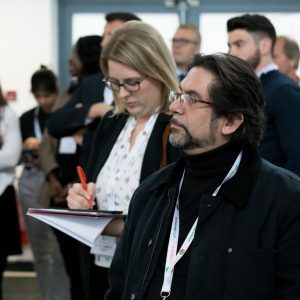 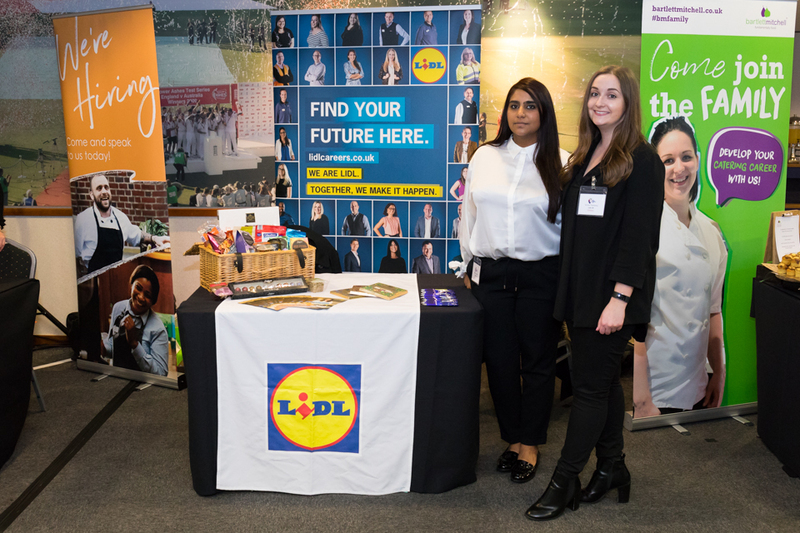 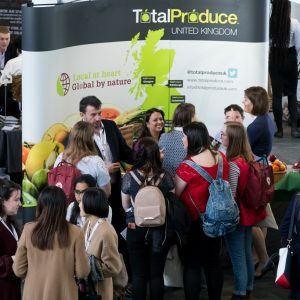 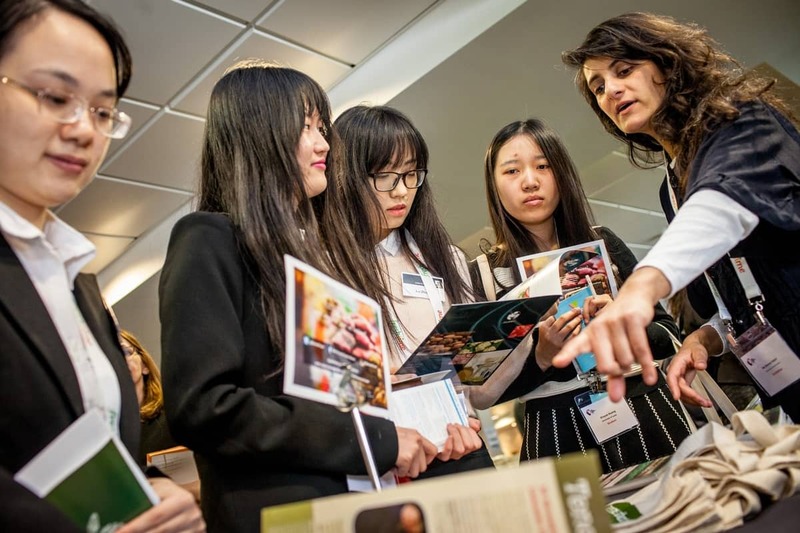 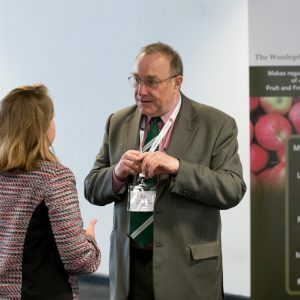 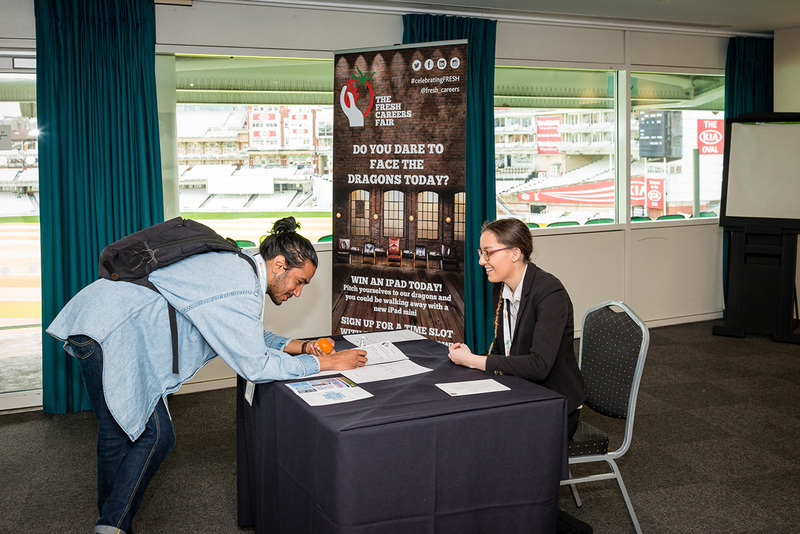 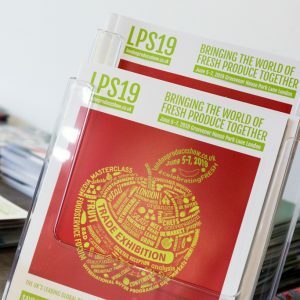 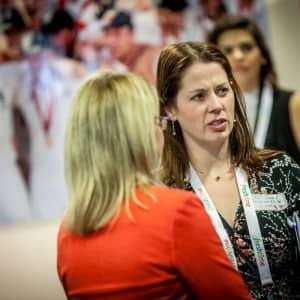 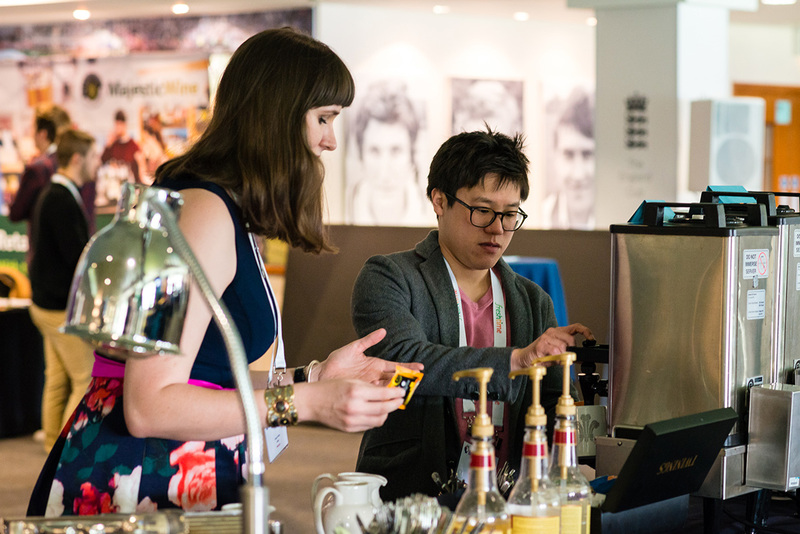 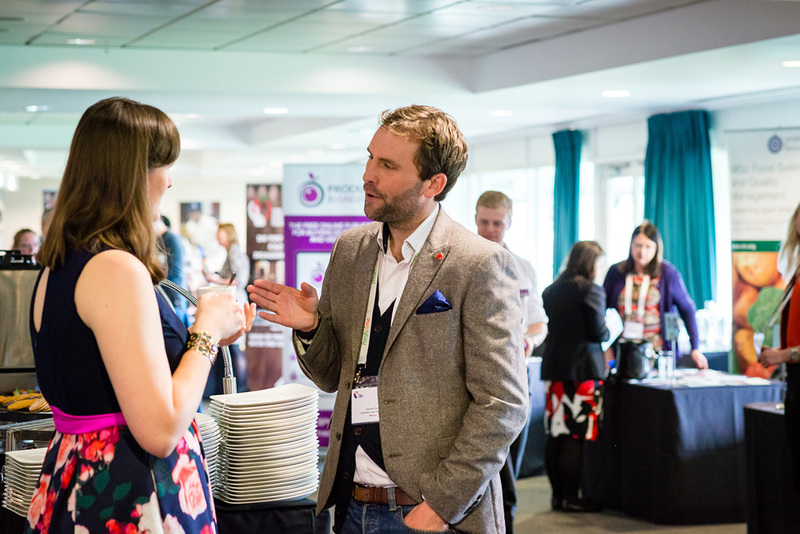 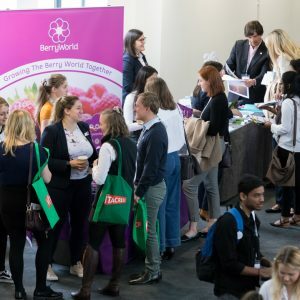 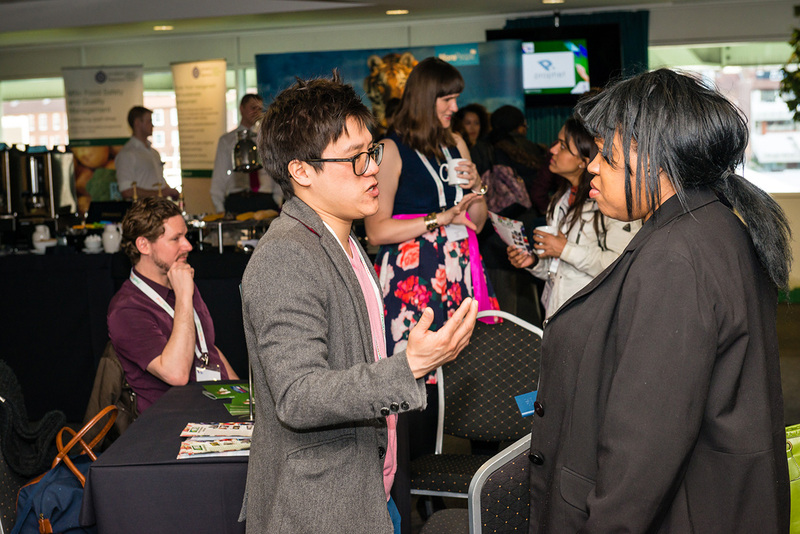 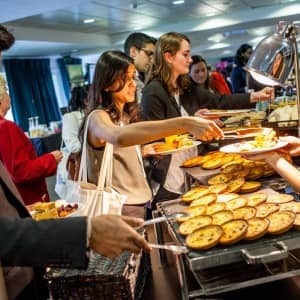 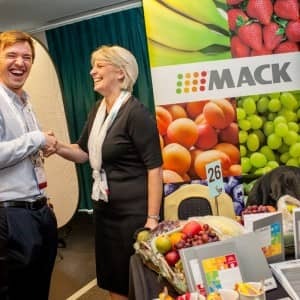 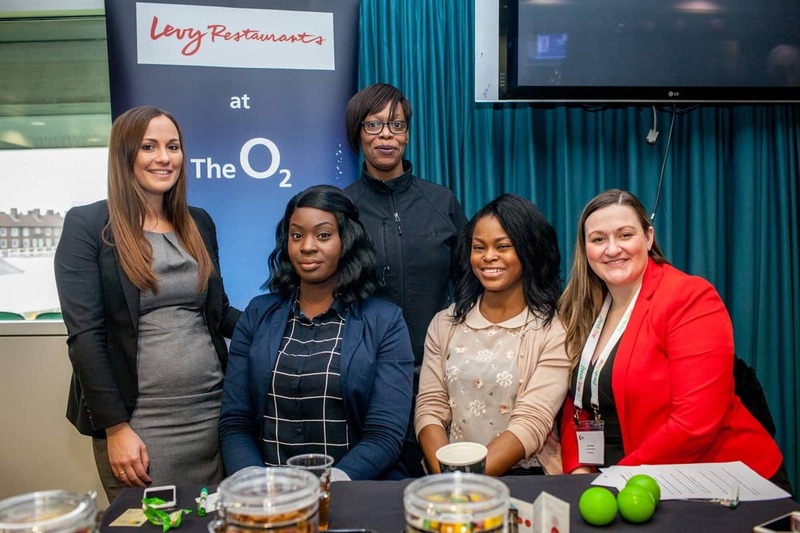 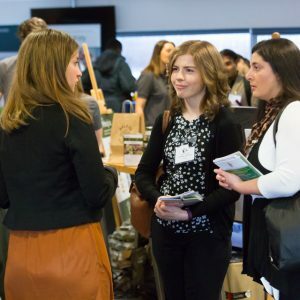 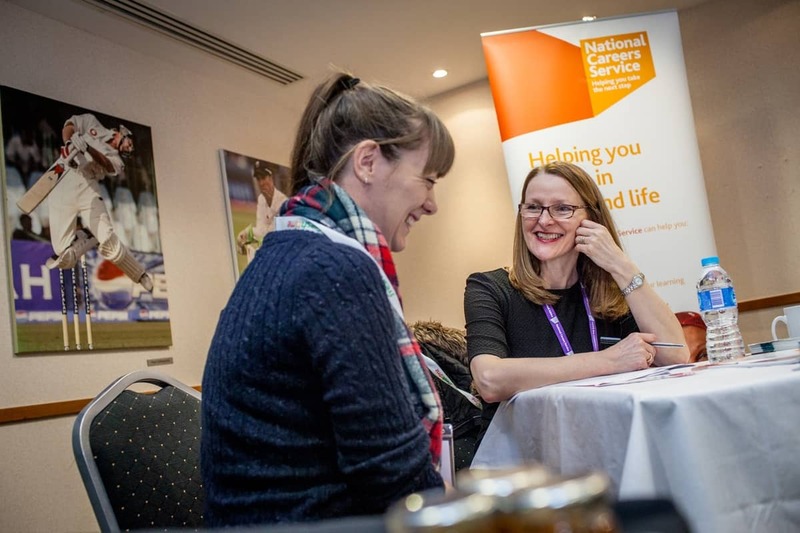 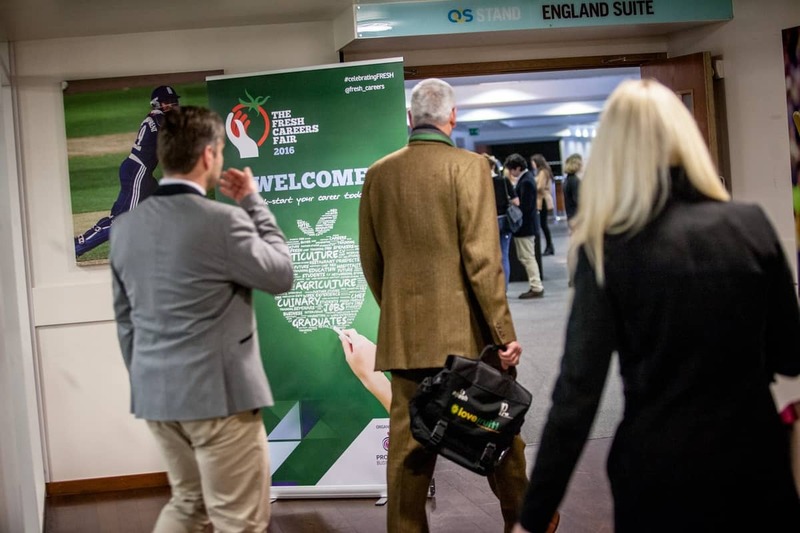 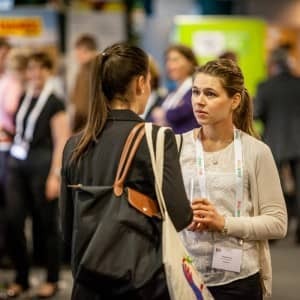 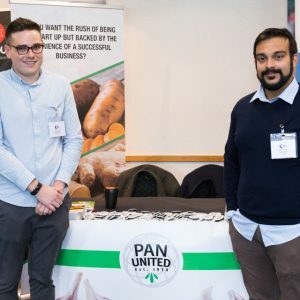 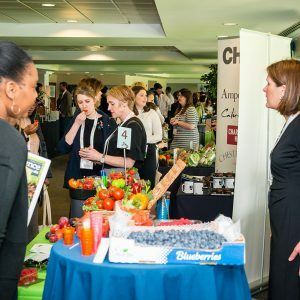 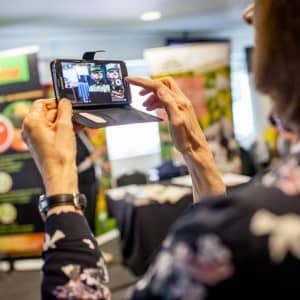 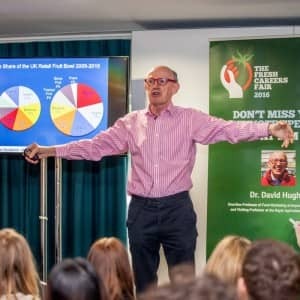 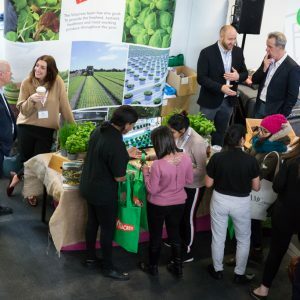 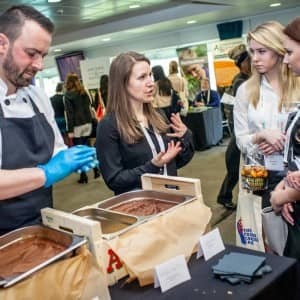 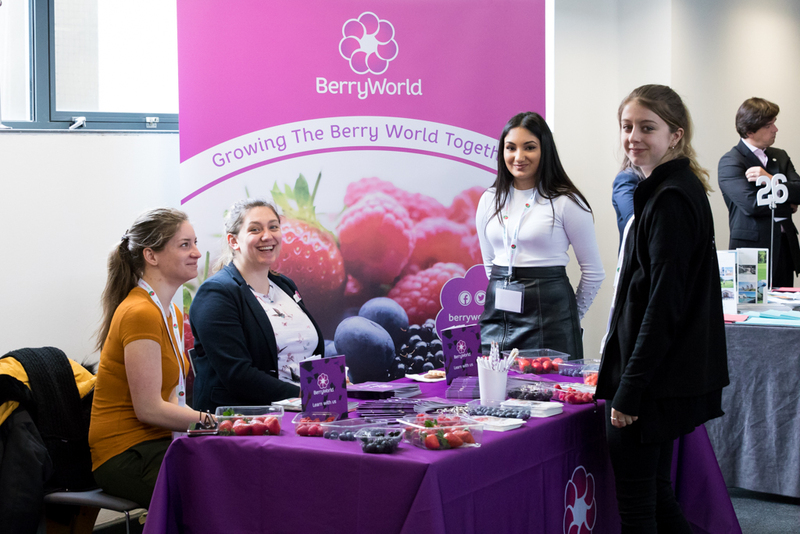 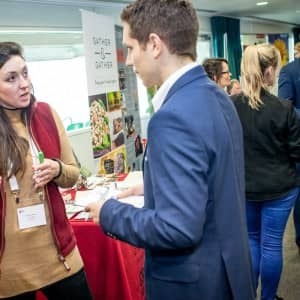 During The Fresh Careers Fair, attendees have the unique opportunity to gain invaluable job-seeking tips and careers guidance from experts in the fresh food and drink industry. 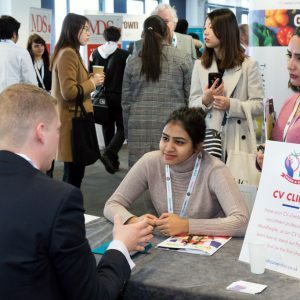 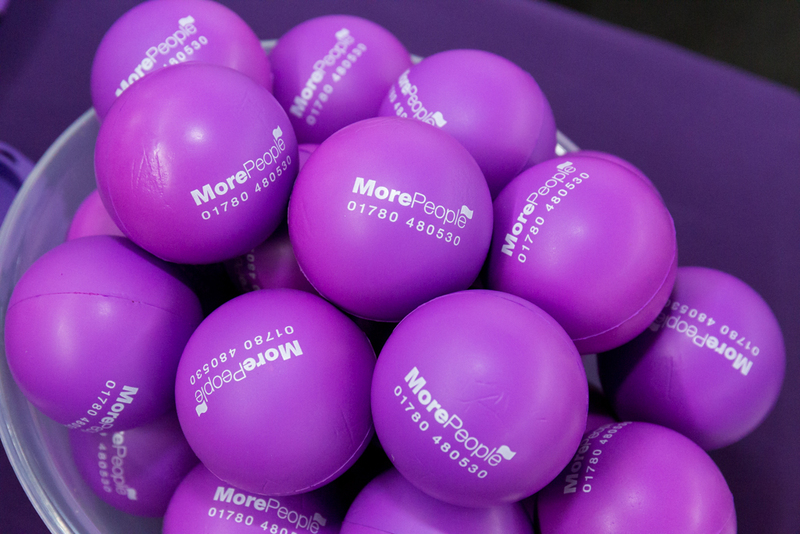 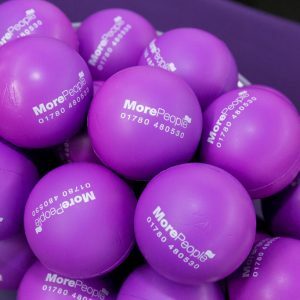 Have your CV checked by the recruitment professionals, MorePeople, at our CV Clinic and learn how to stand out from the crowd and be the first choice. 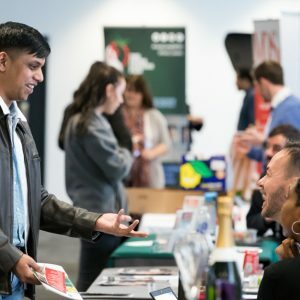 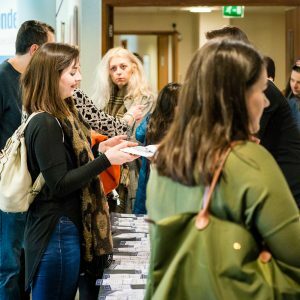 Talk with the specialists to gain best-practice advice for your job search, plus direction on writing stand-out CVs, interview techniques, using social media to find a job, and much more. 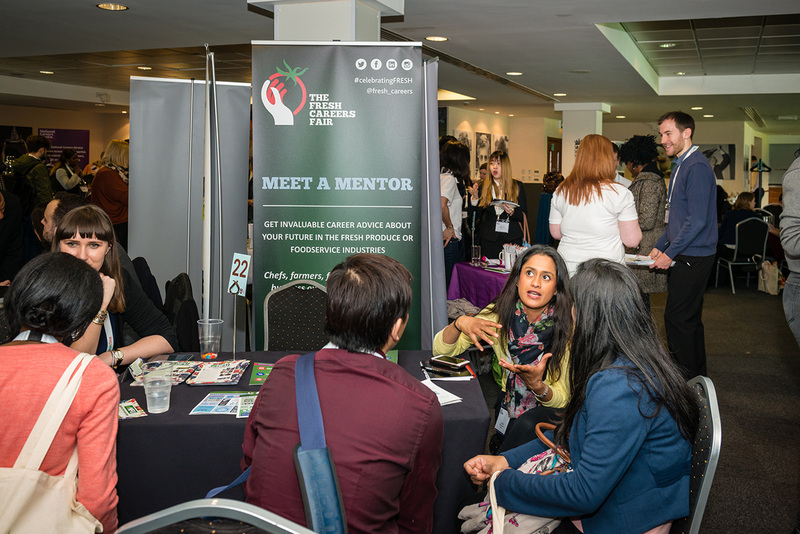 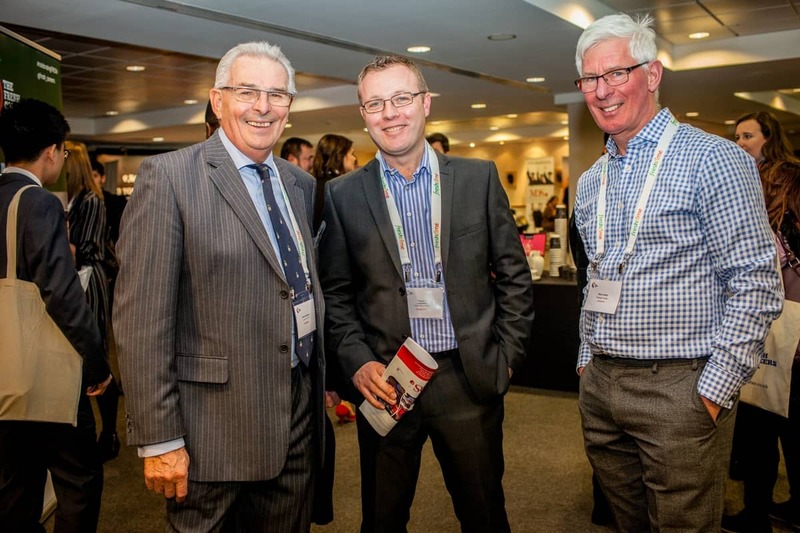 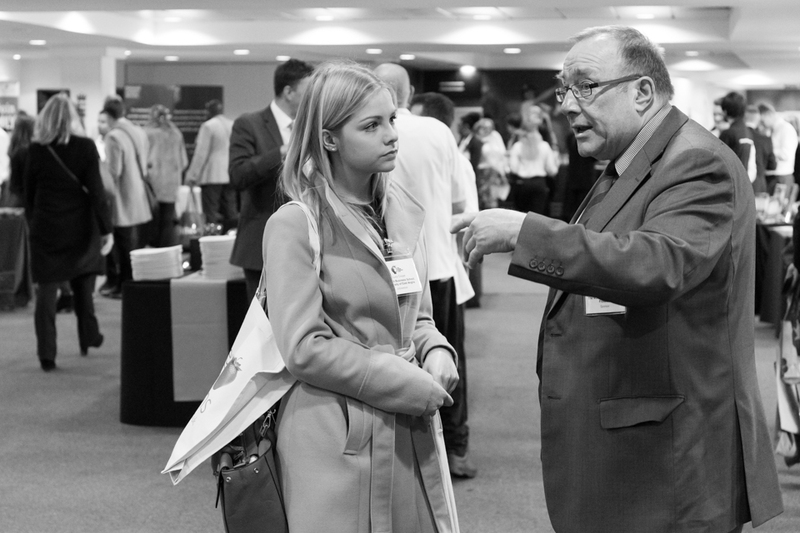 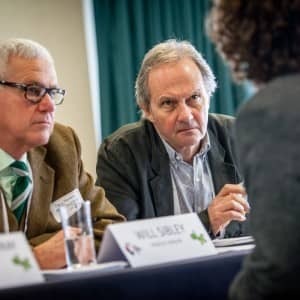 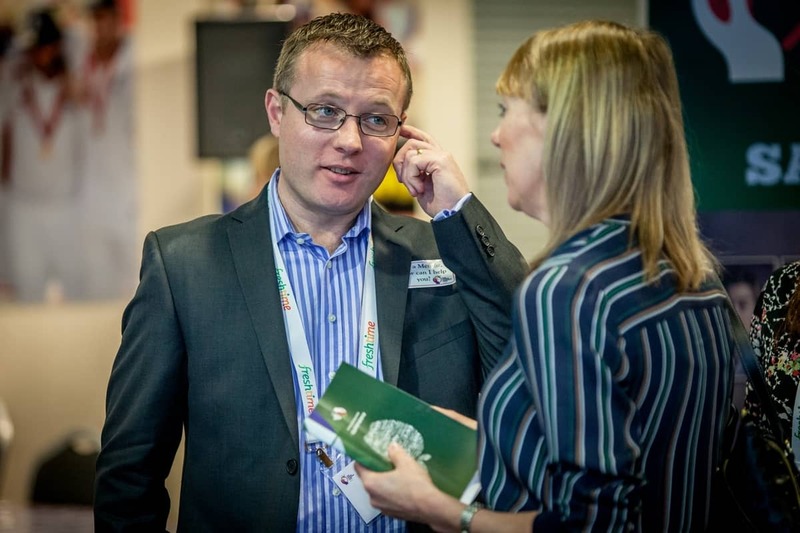 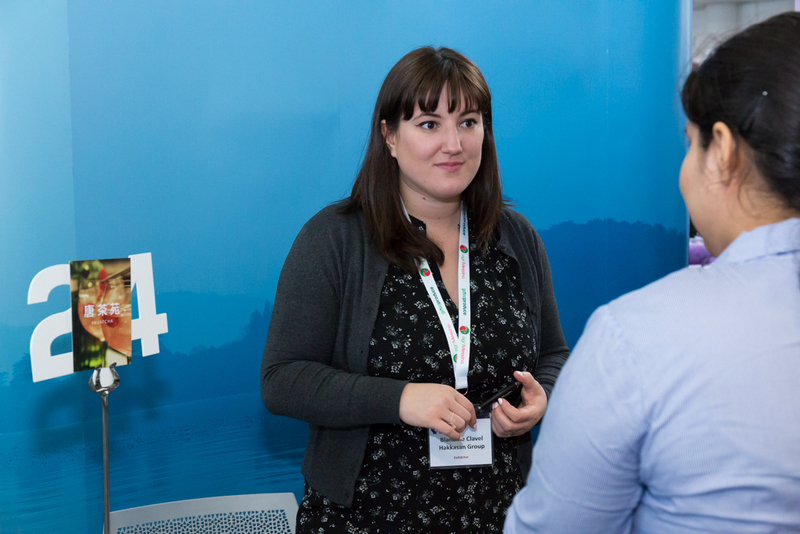 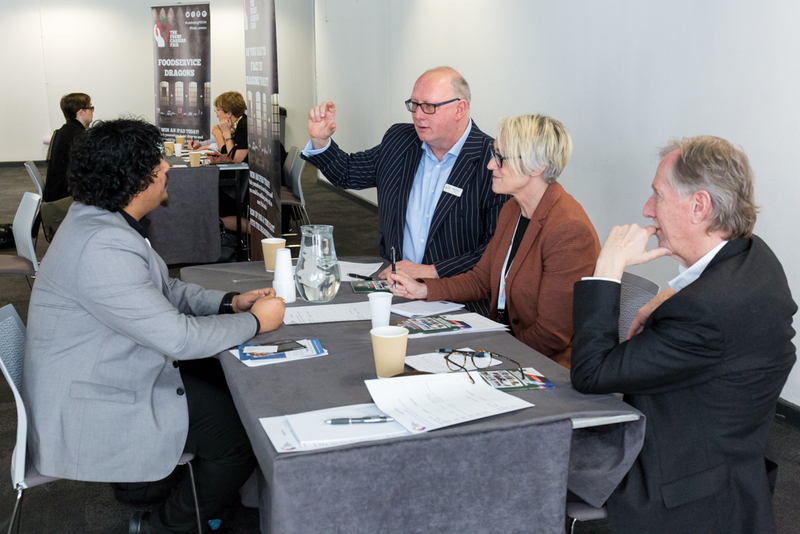 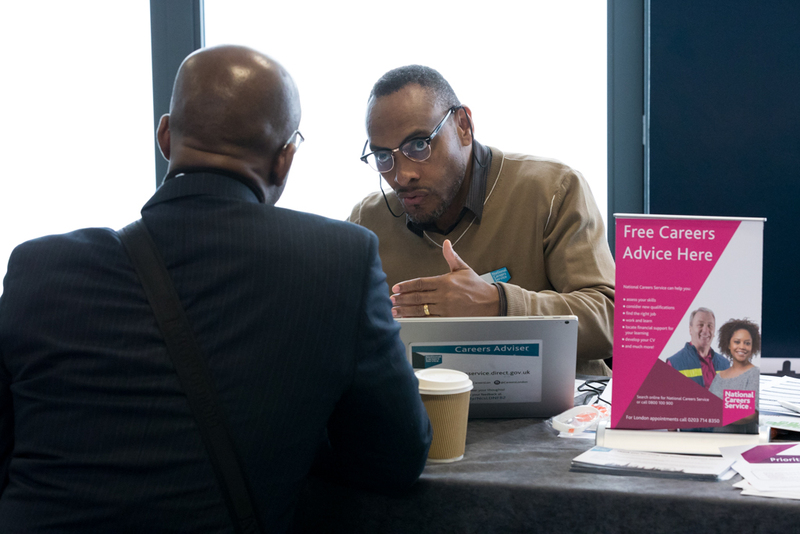 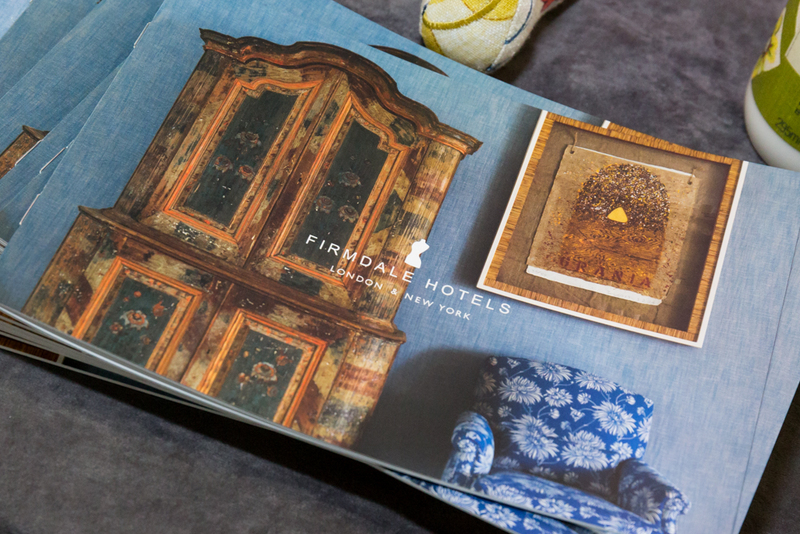 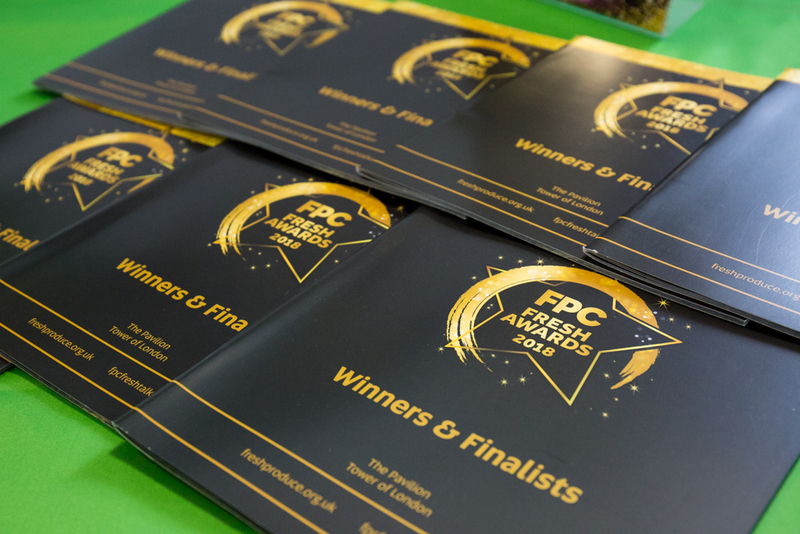 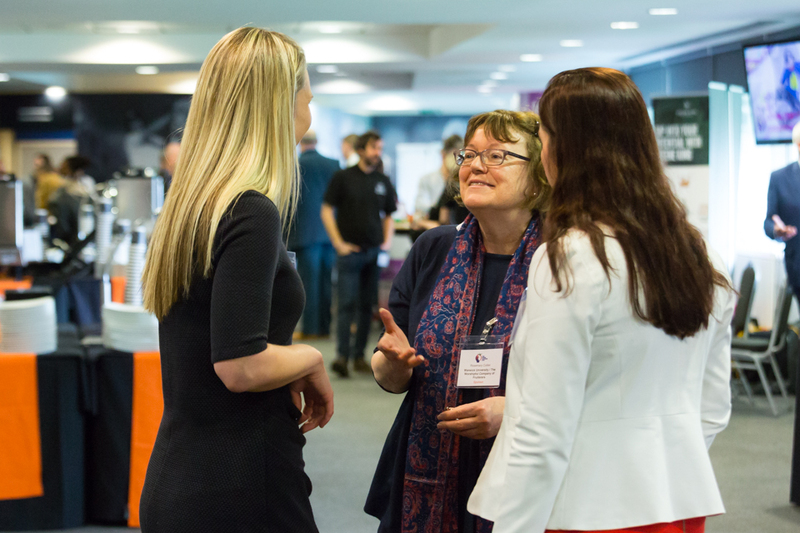 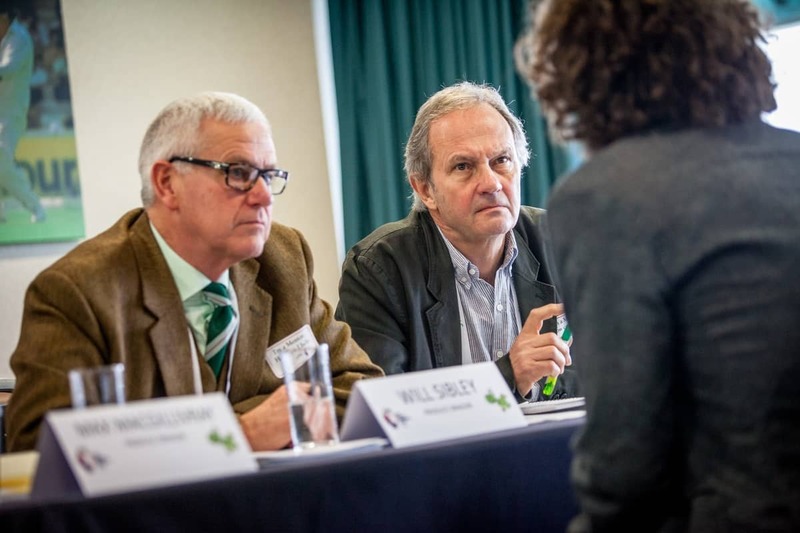 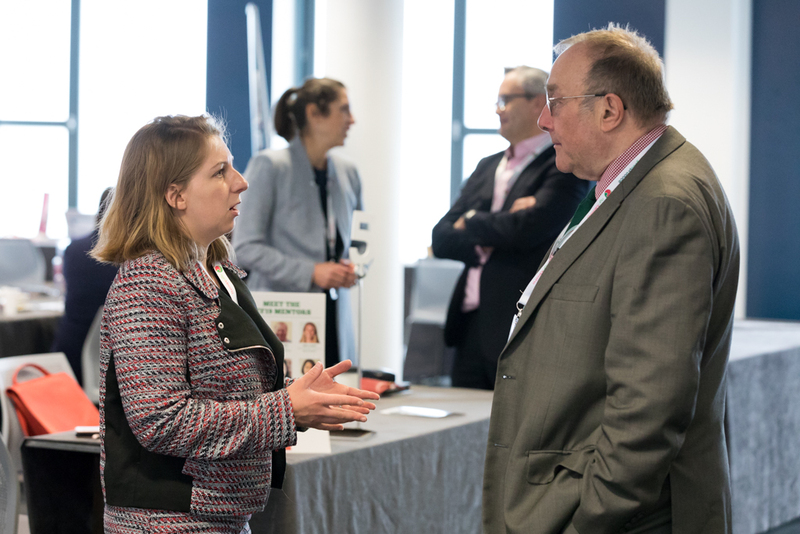 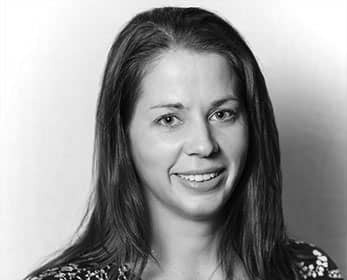 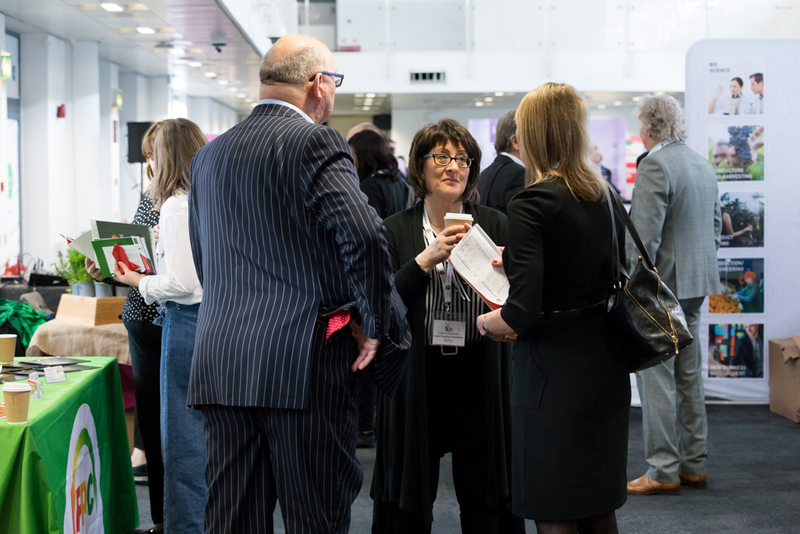 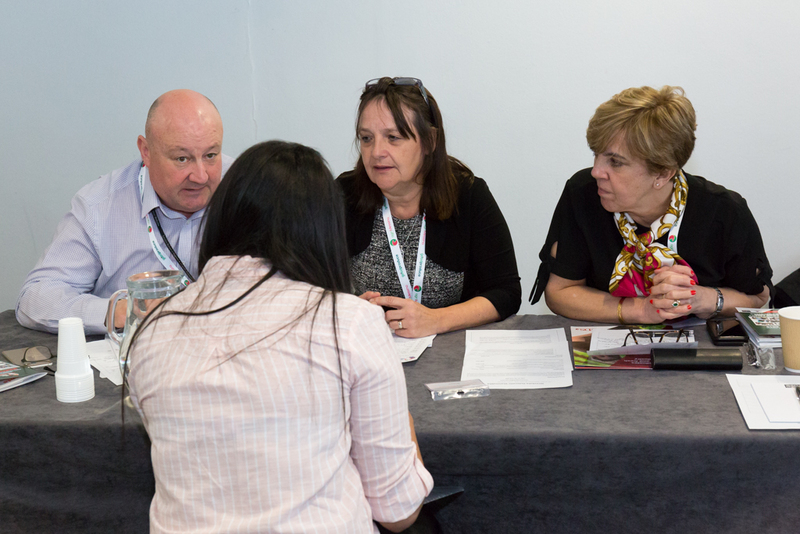 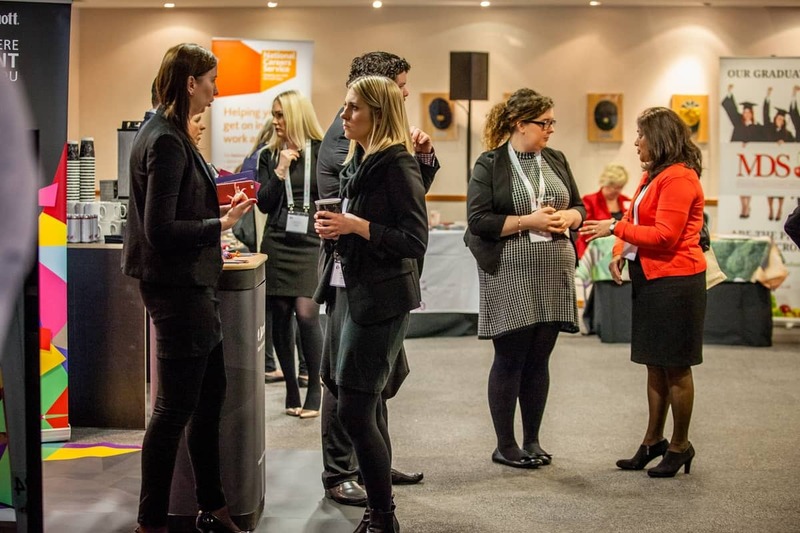 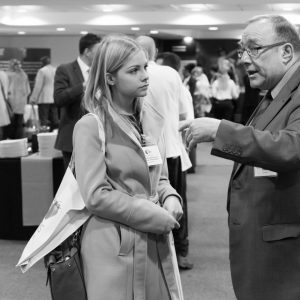 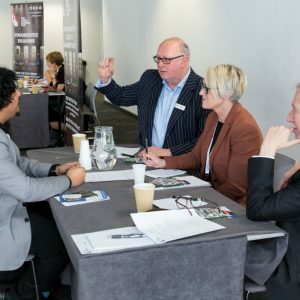 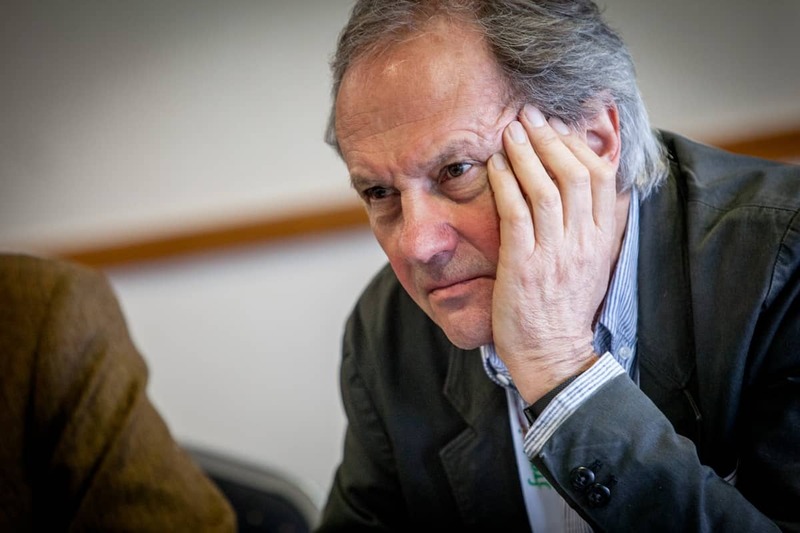 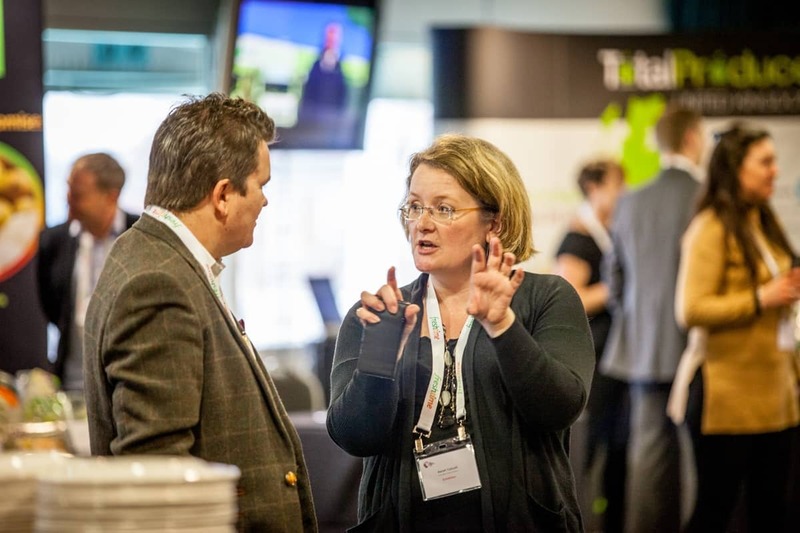 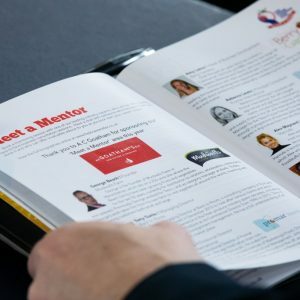 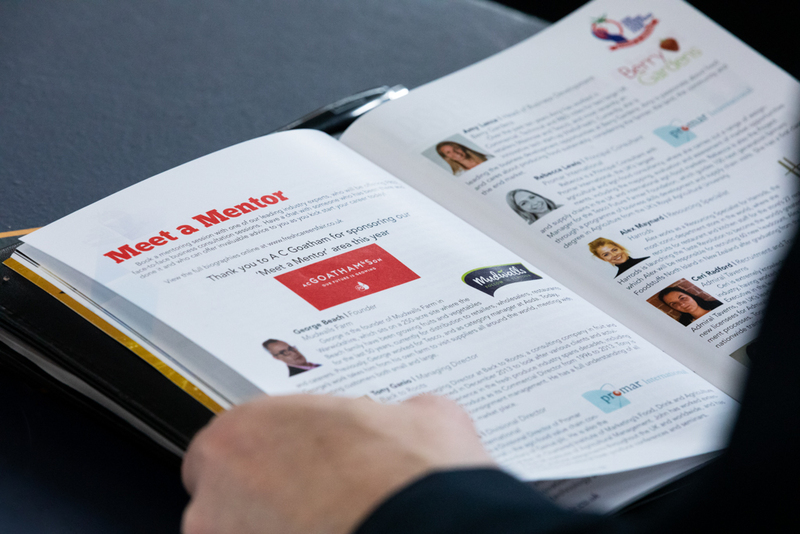 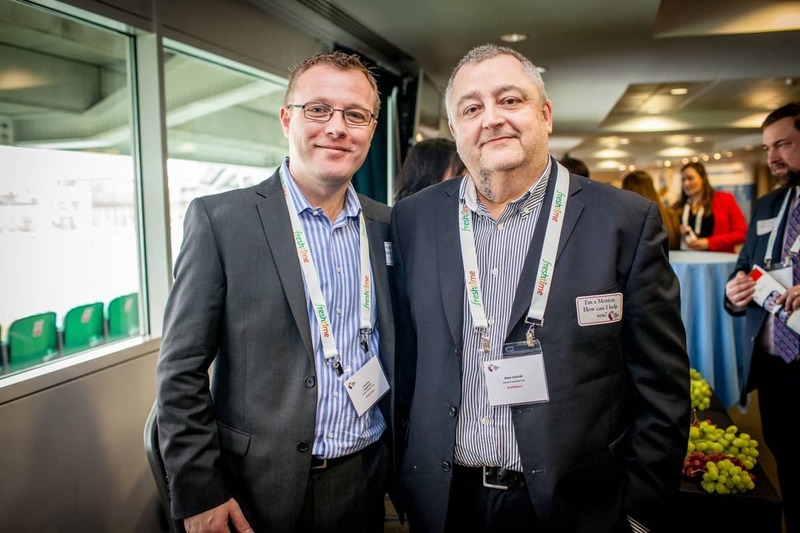 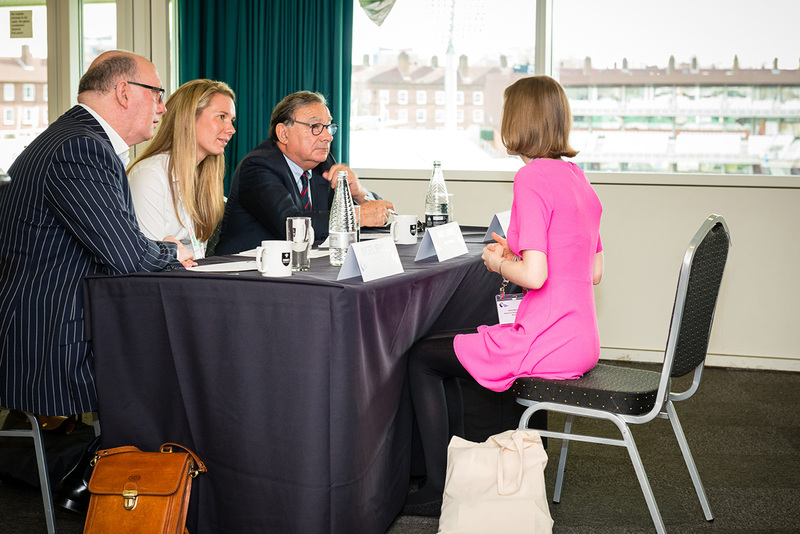 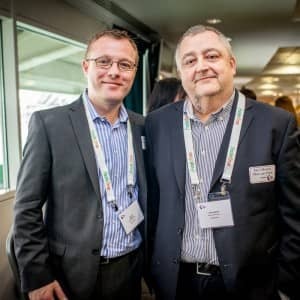 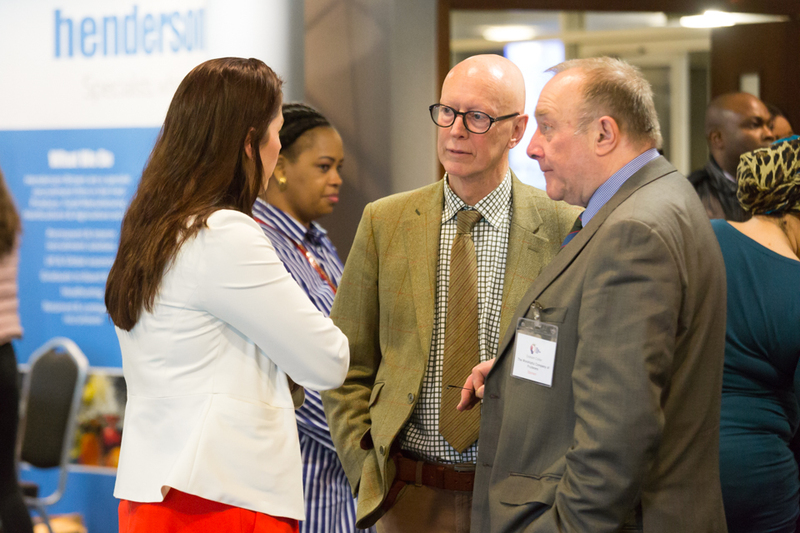 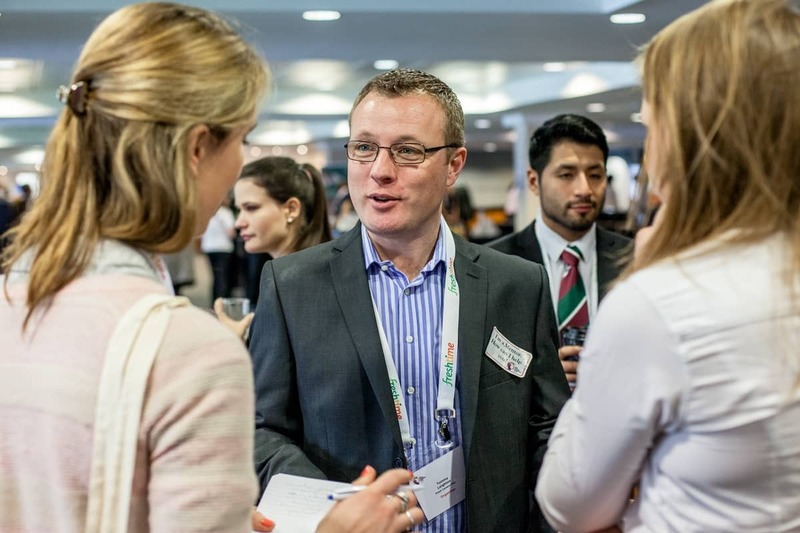 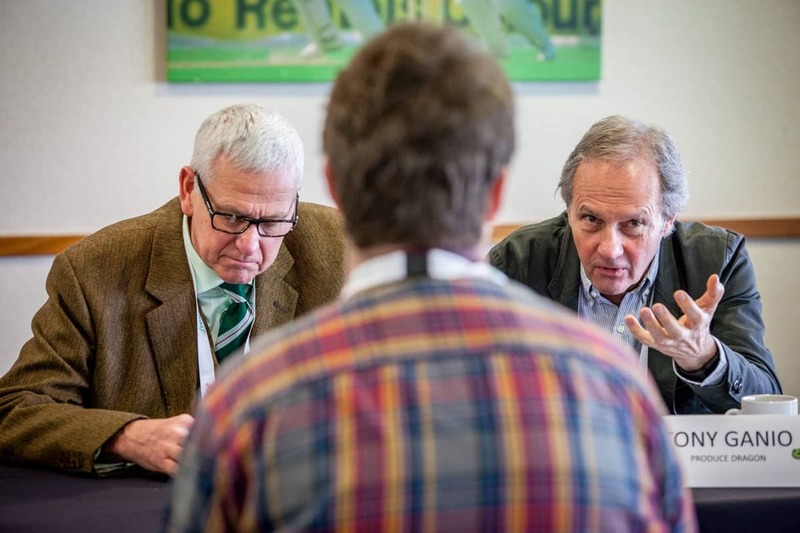 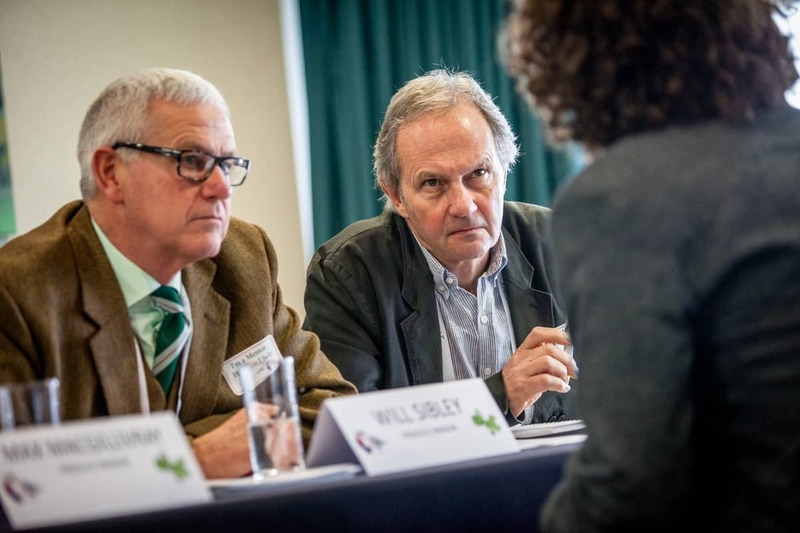 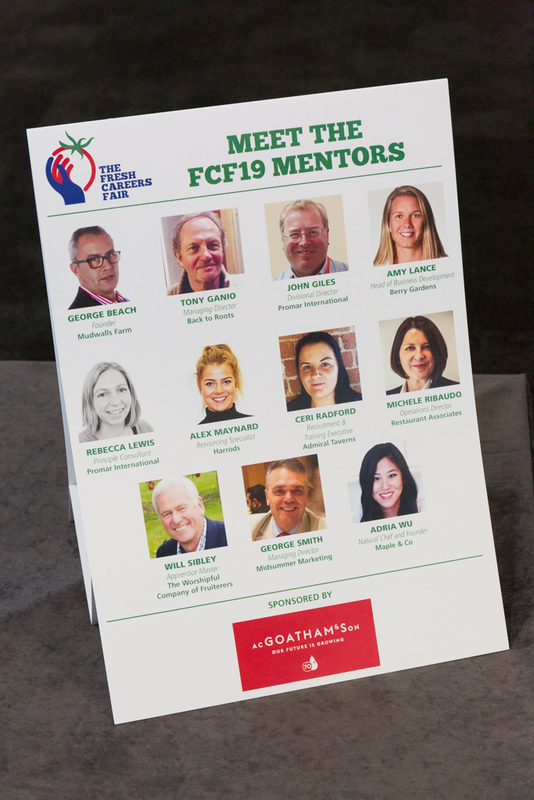 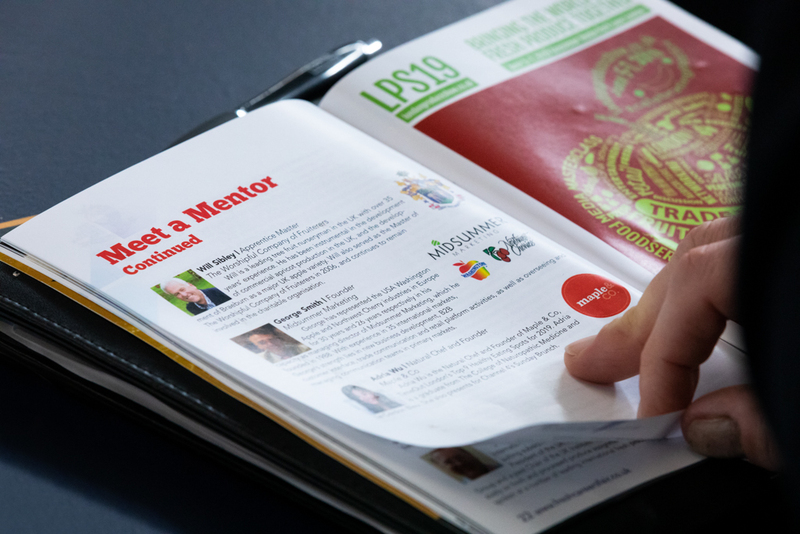 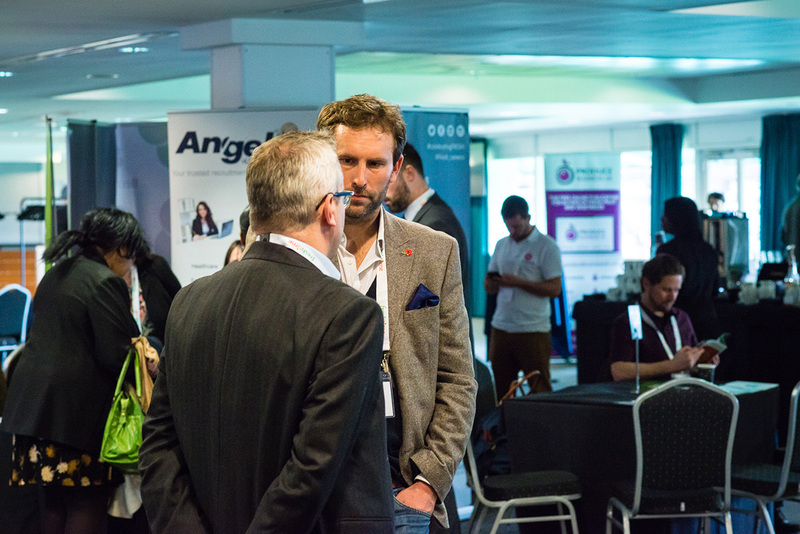 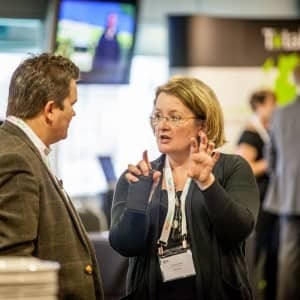 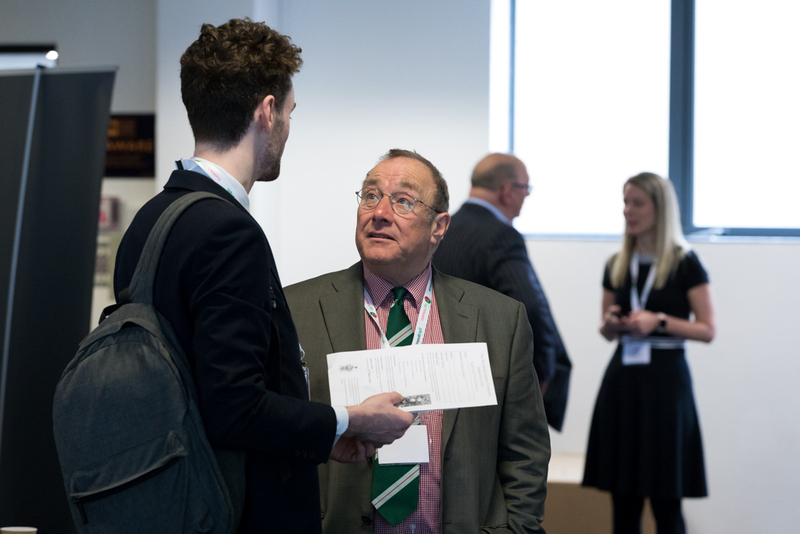 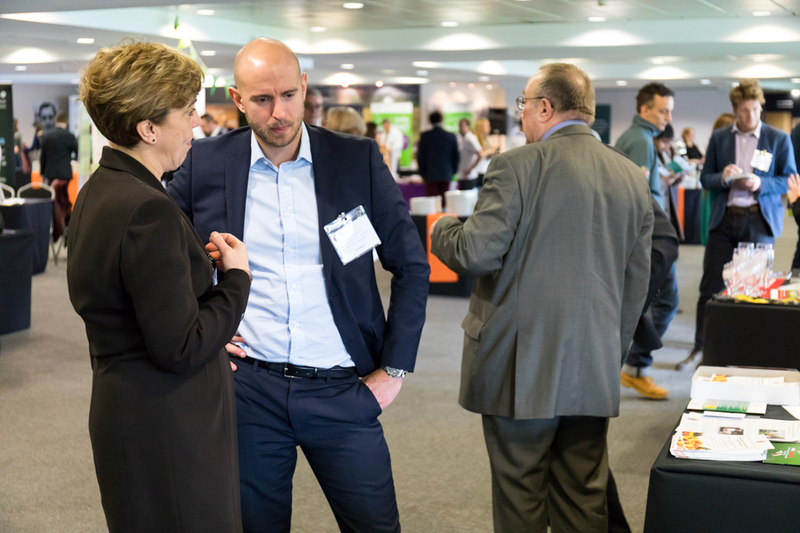 Speak with one of our industry mentors for guidance on the day. 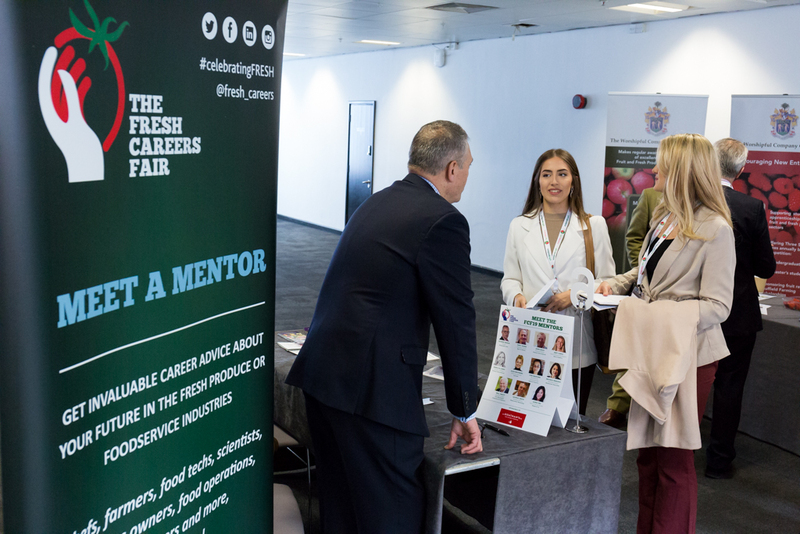 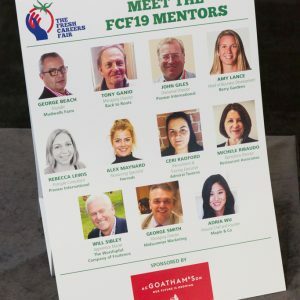 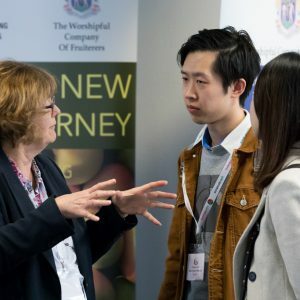 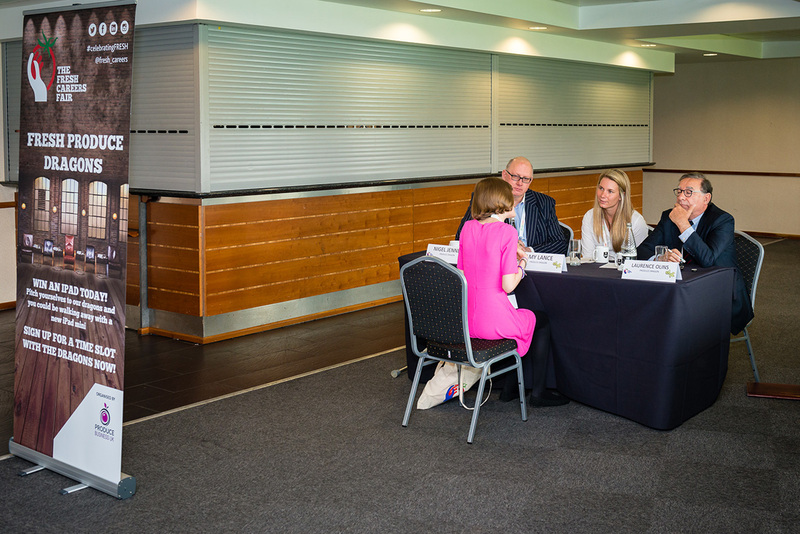 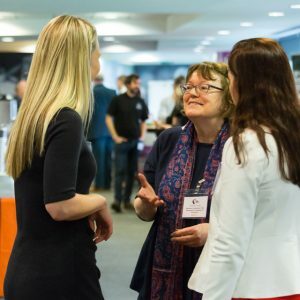 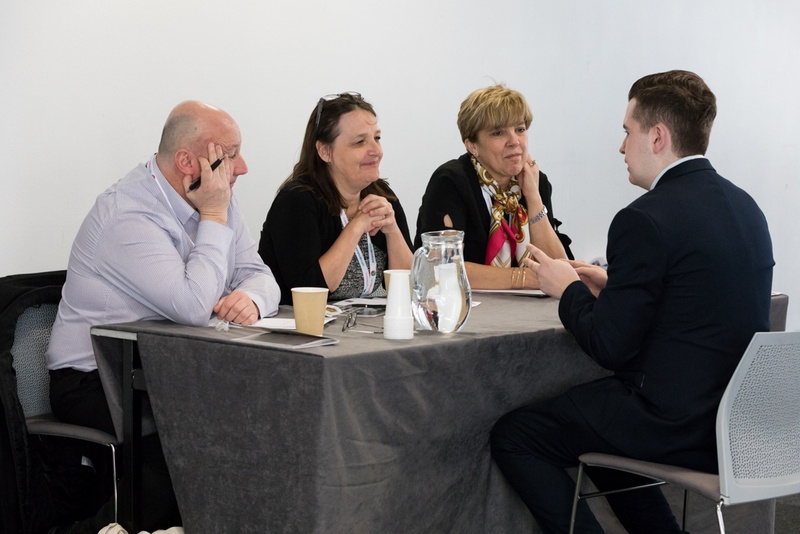 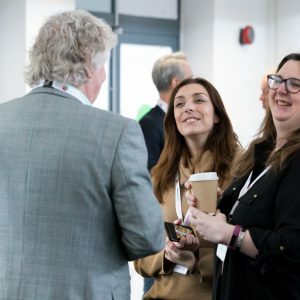 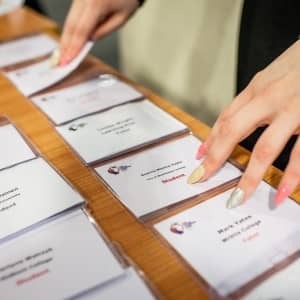 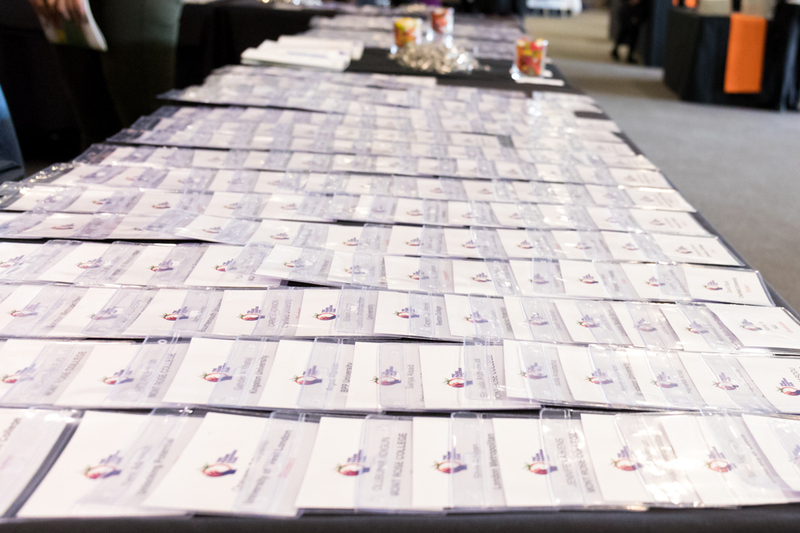 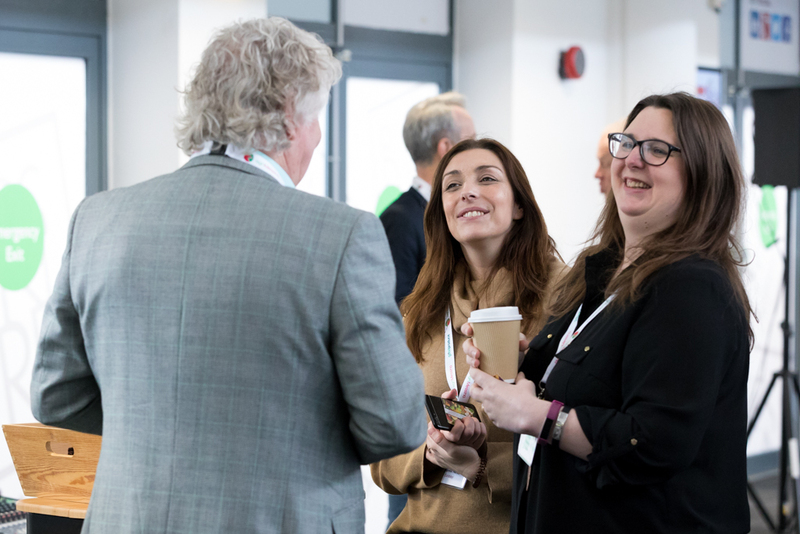 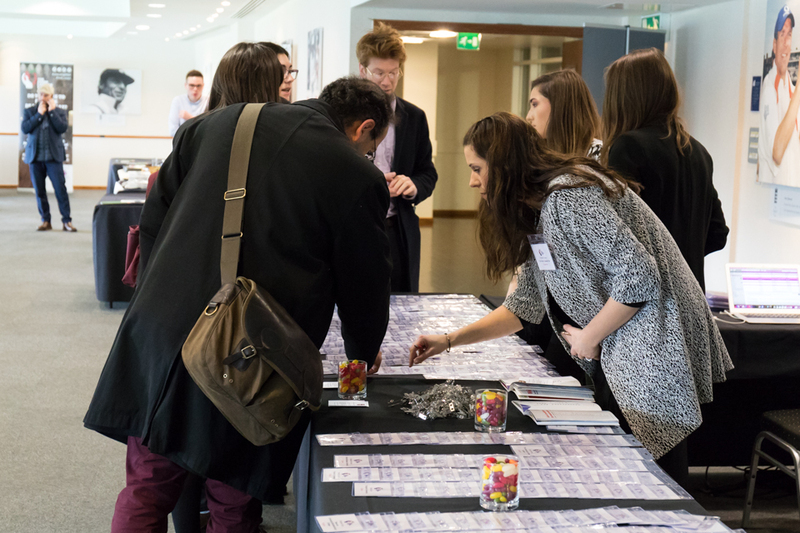 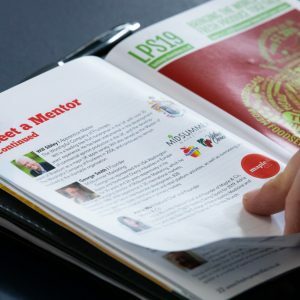 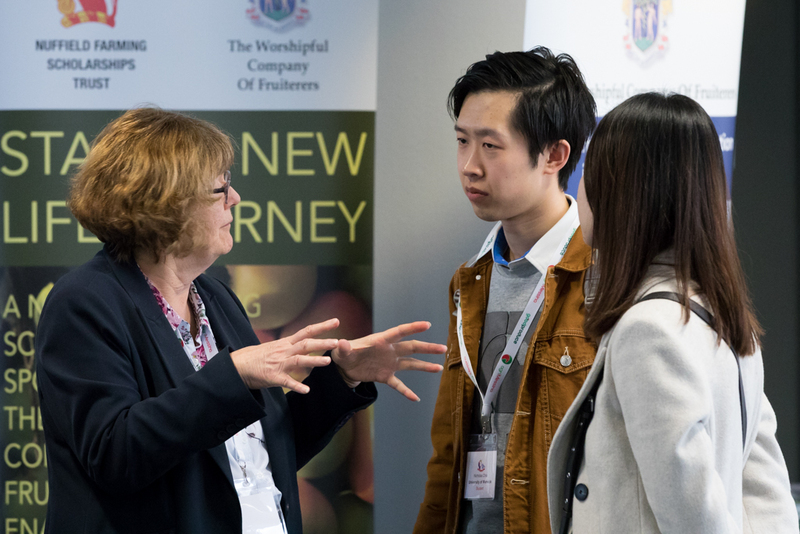 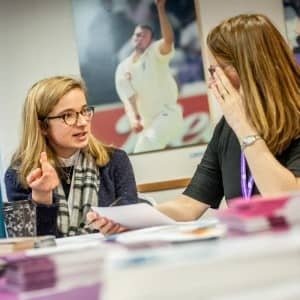 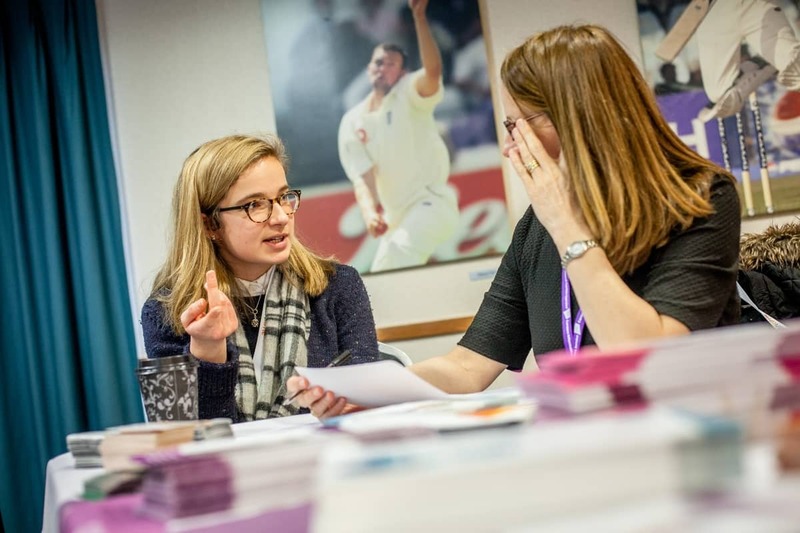 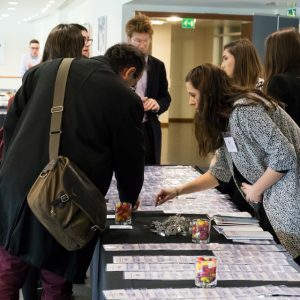 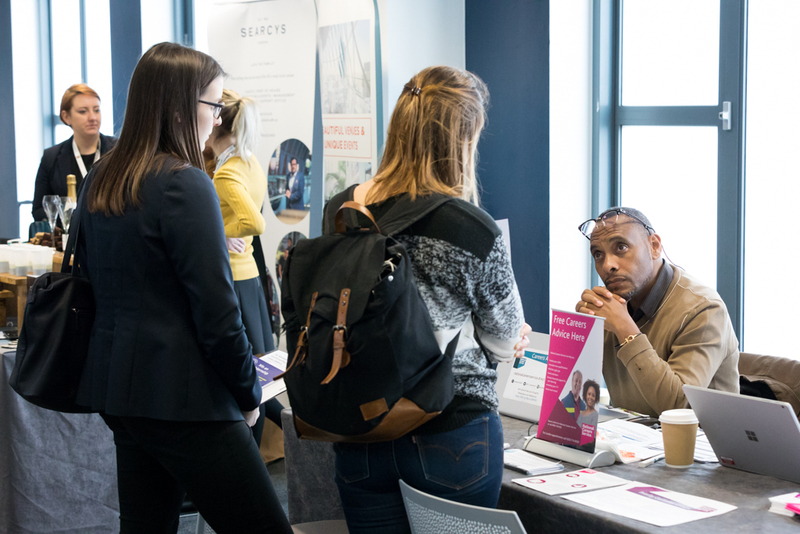 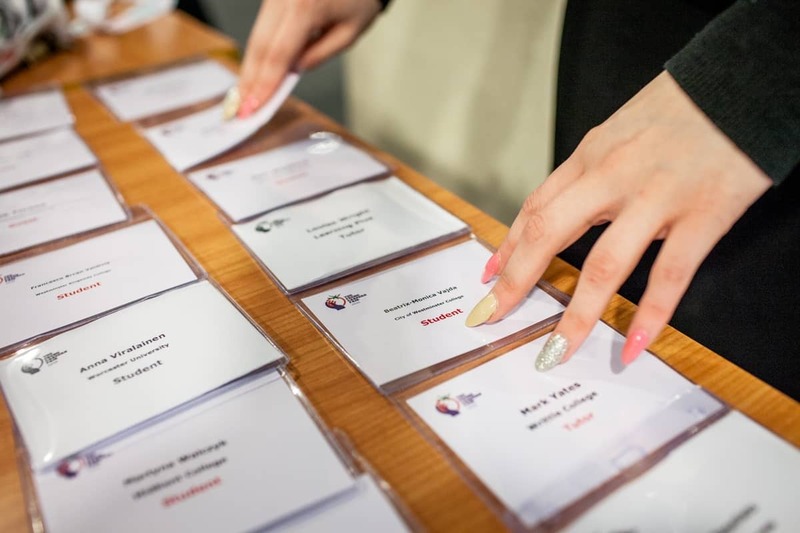 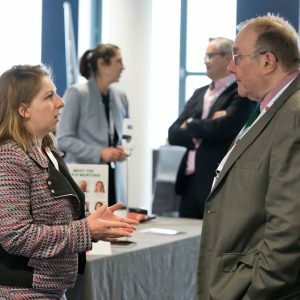 Hand-picked for their knowledge and experience, the mentors are available to make suggestions for your career path and introductions with prospective employers. 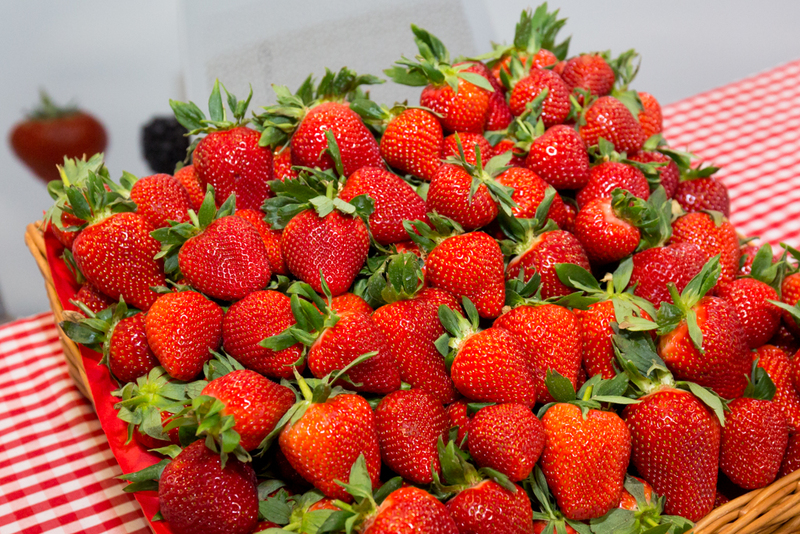 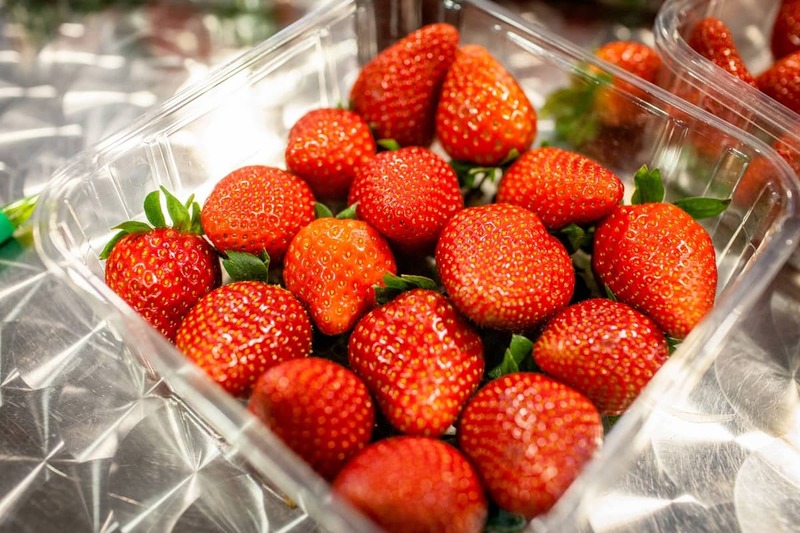 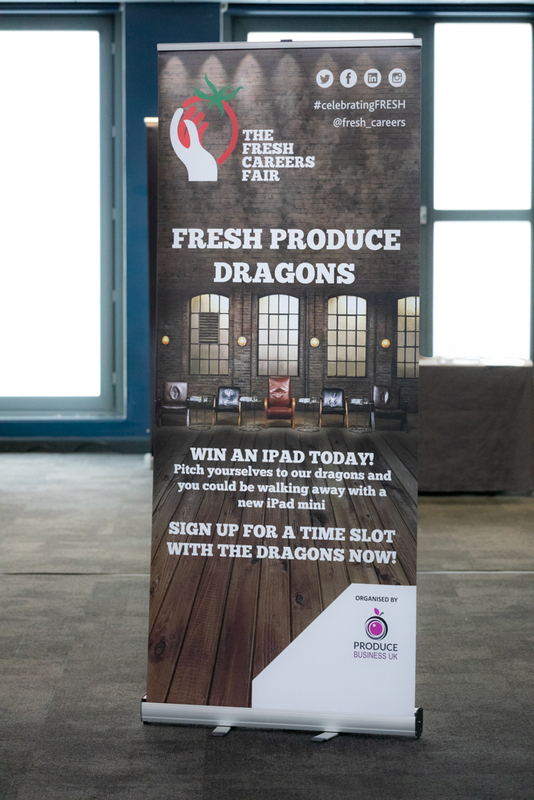 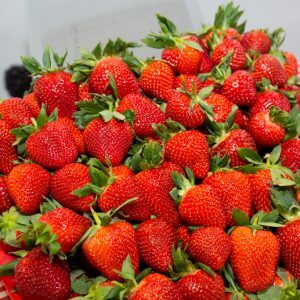 Face either a panel of fresh produce or foodservice ‘dragons’ – don’t worry, they’re friendly! 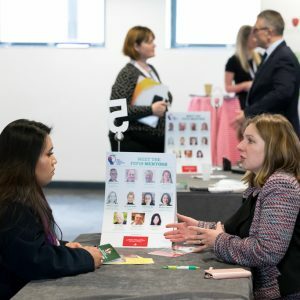 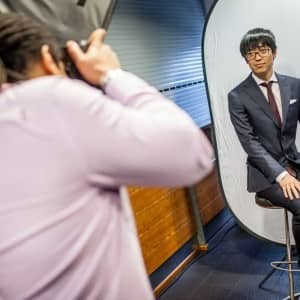 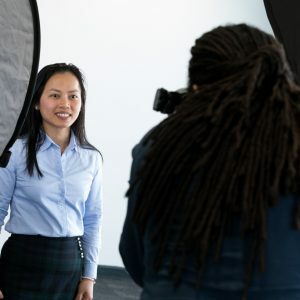 Pretend you’re in an interview and present yourself, your background and your career aspirations via an ‘elevator pitch’* to receive honest and constructive feedback. 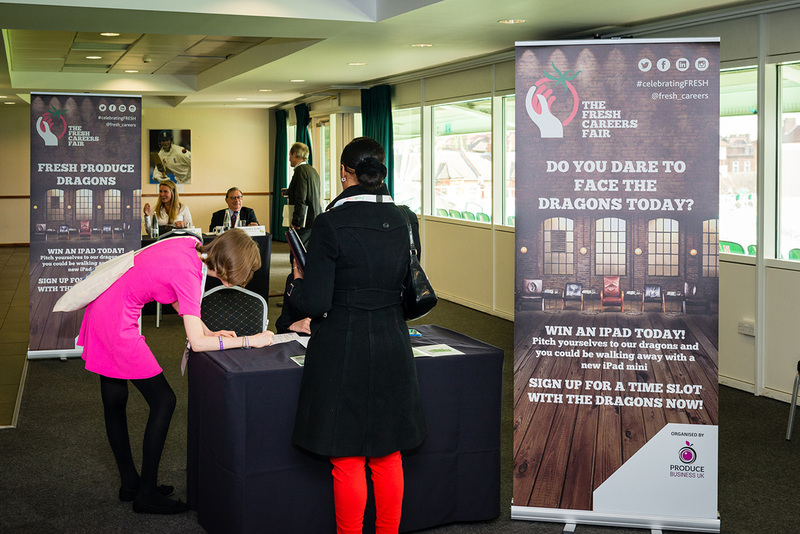 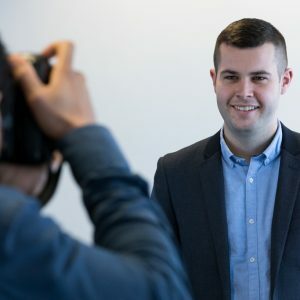 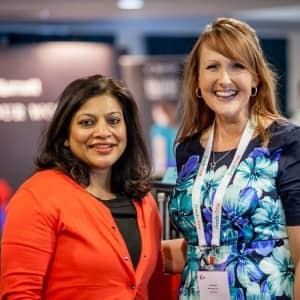 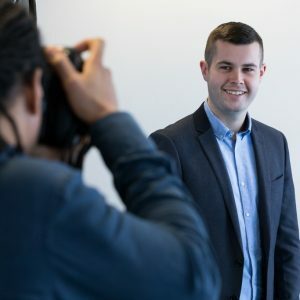 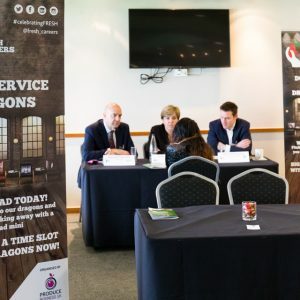 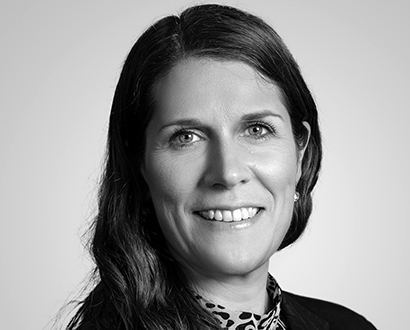 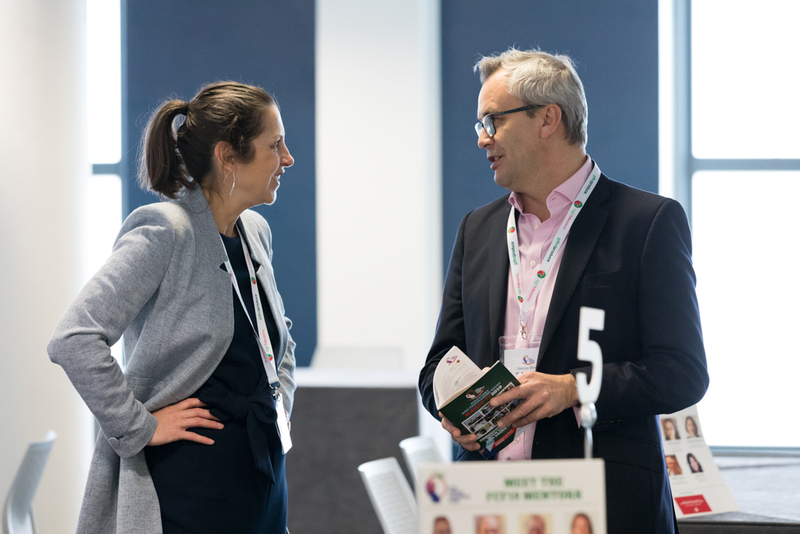 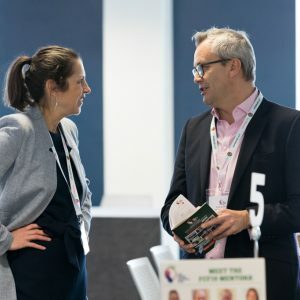 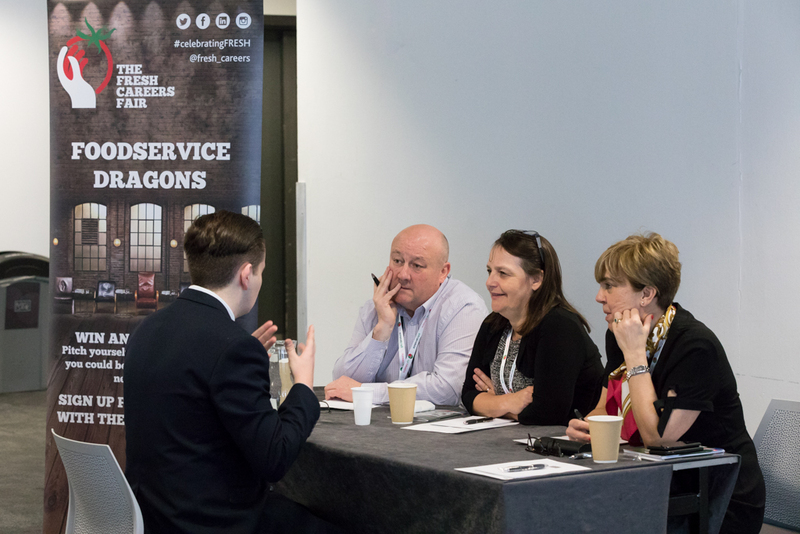 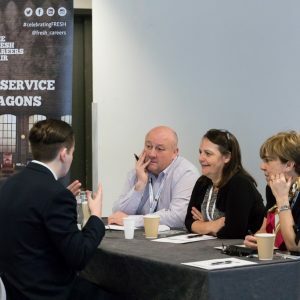 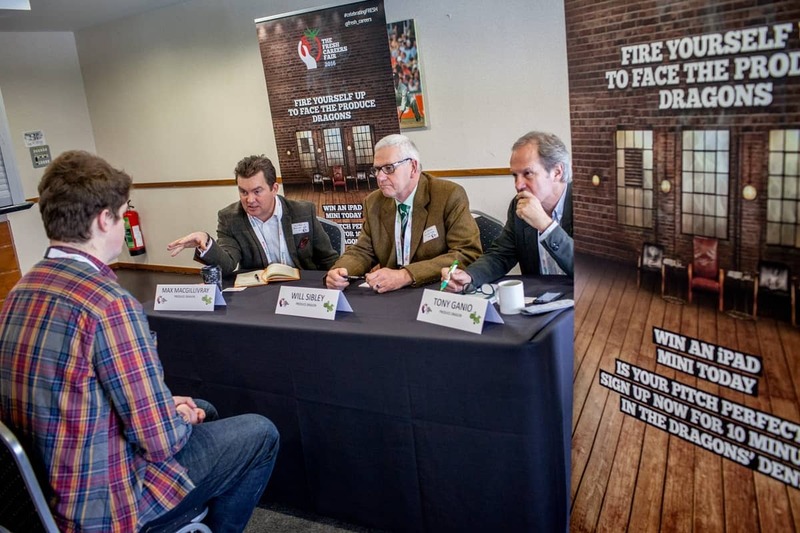 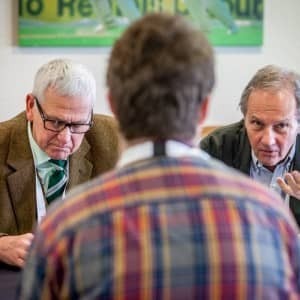 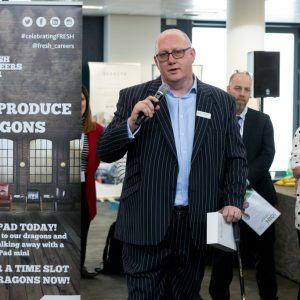 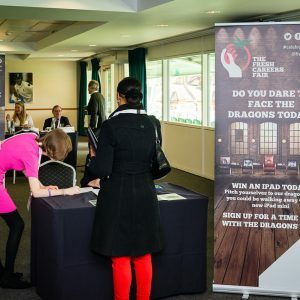 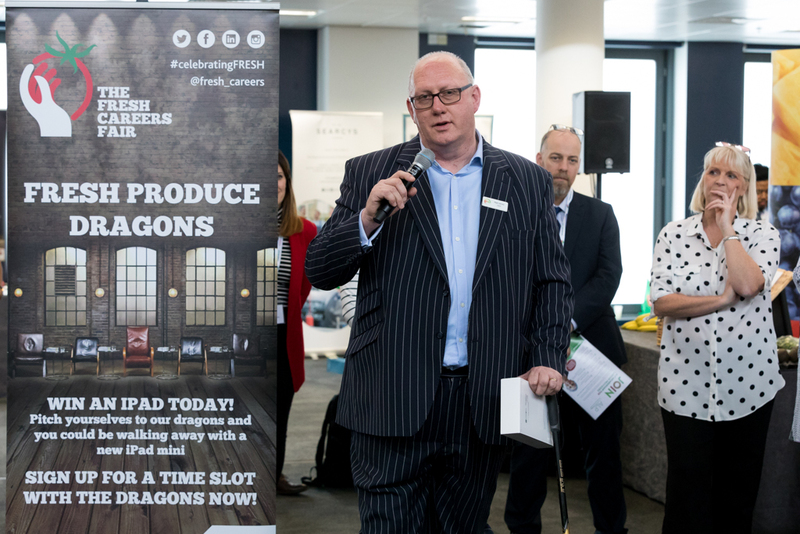 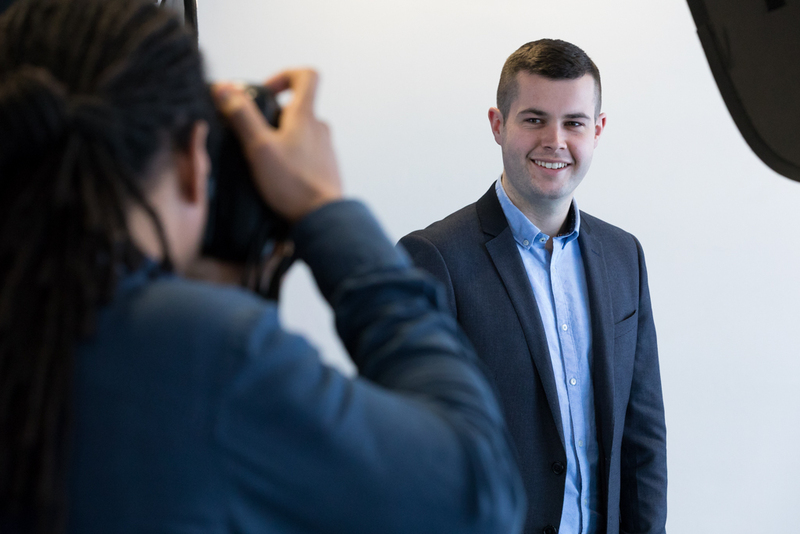 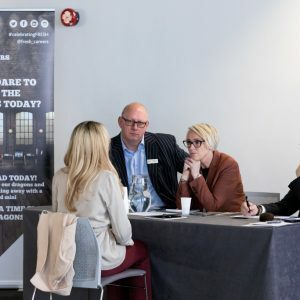 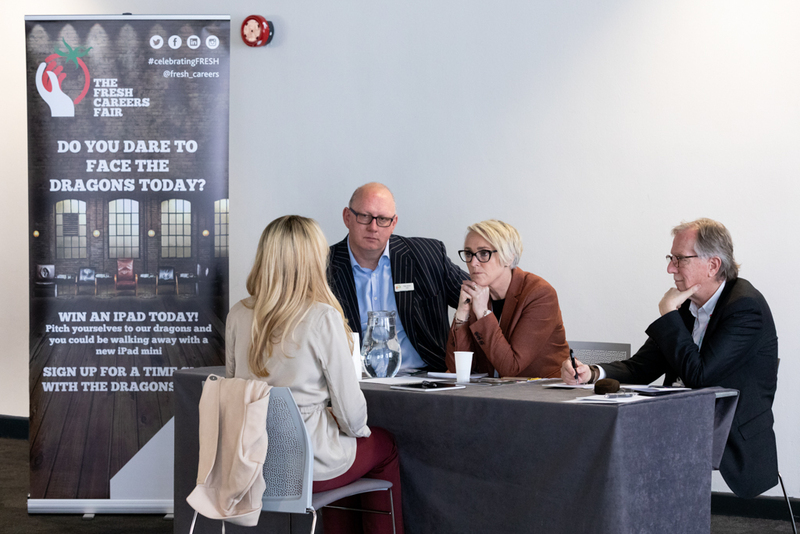 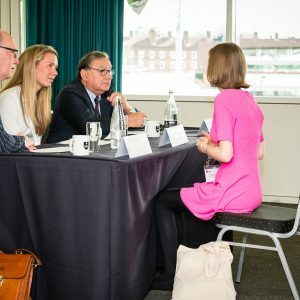 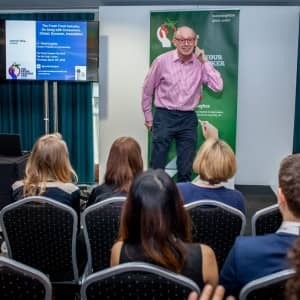 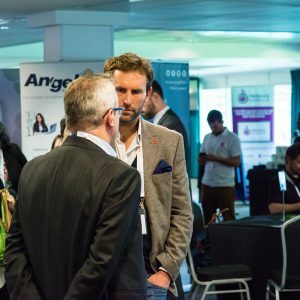 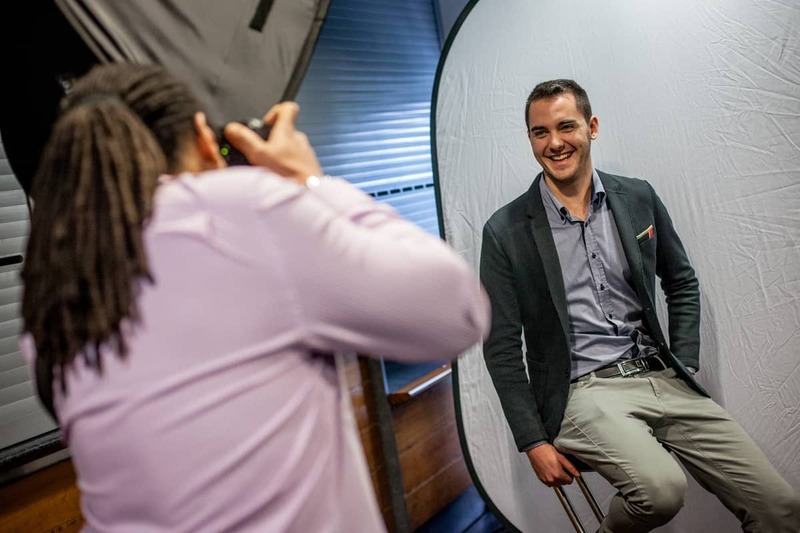 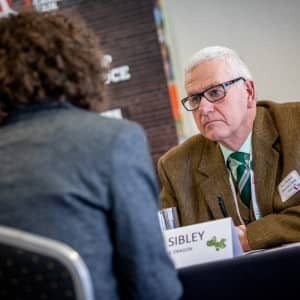 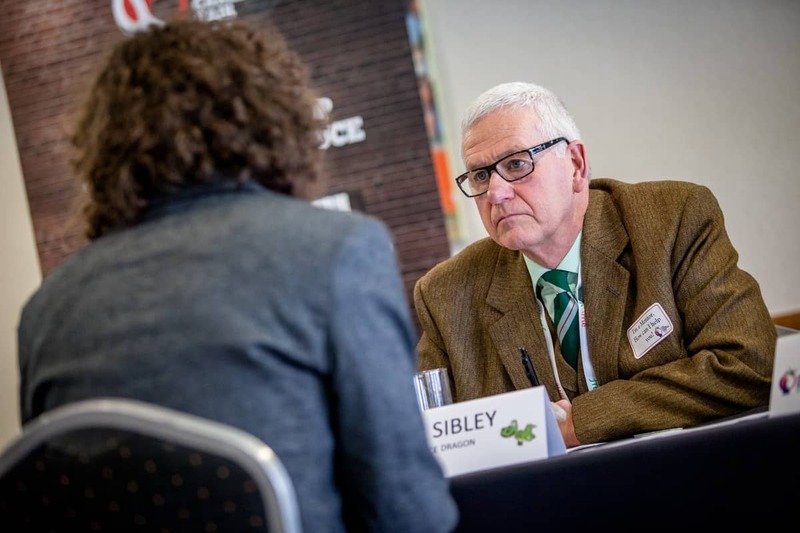 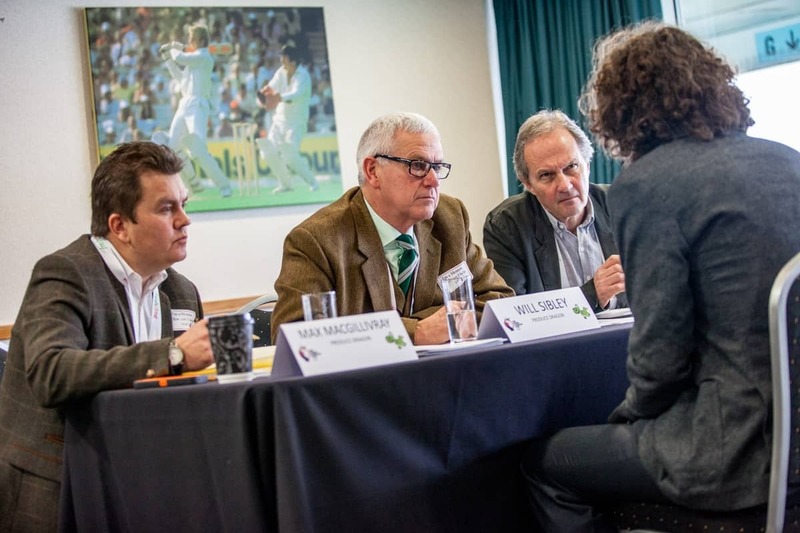 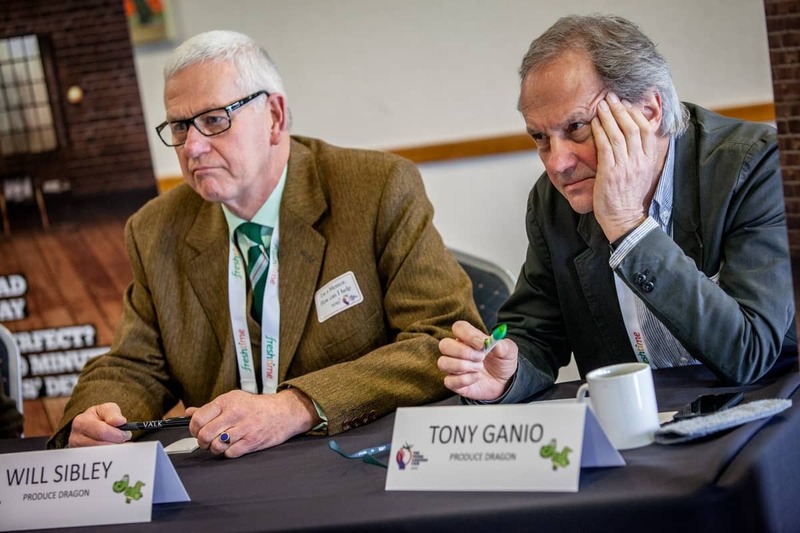 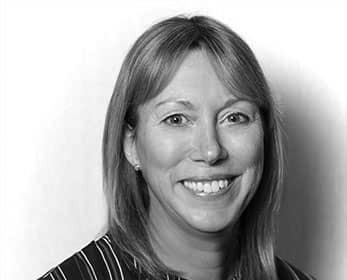 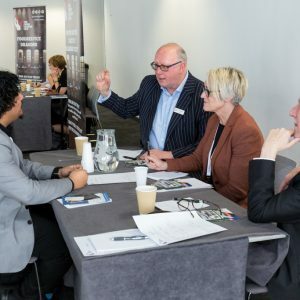 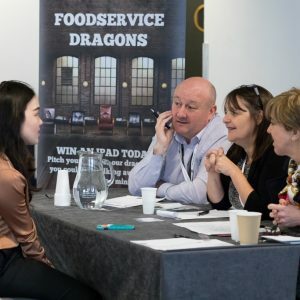 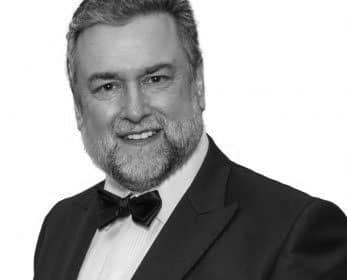 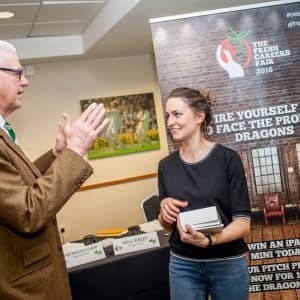 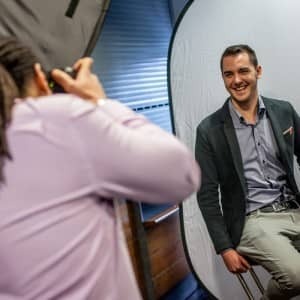 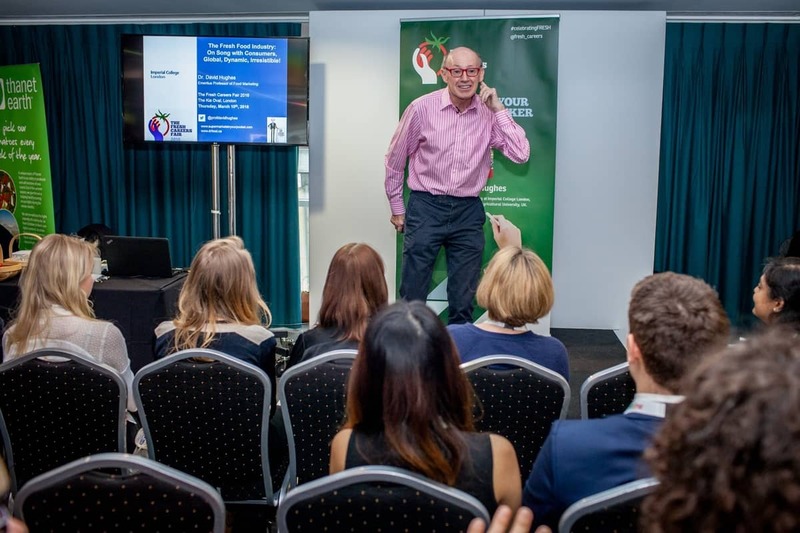 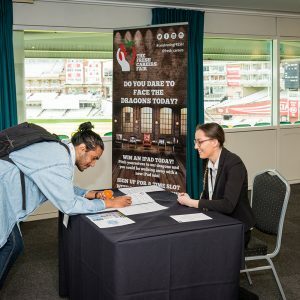 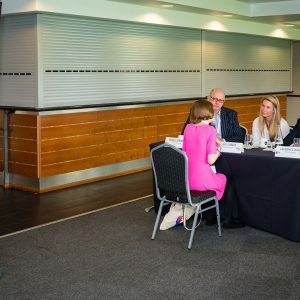 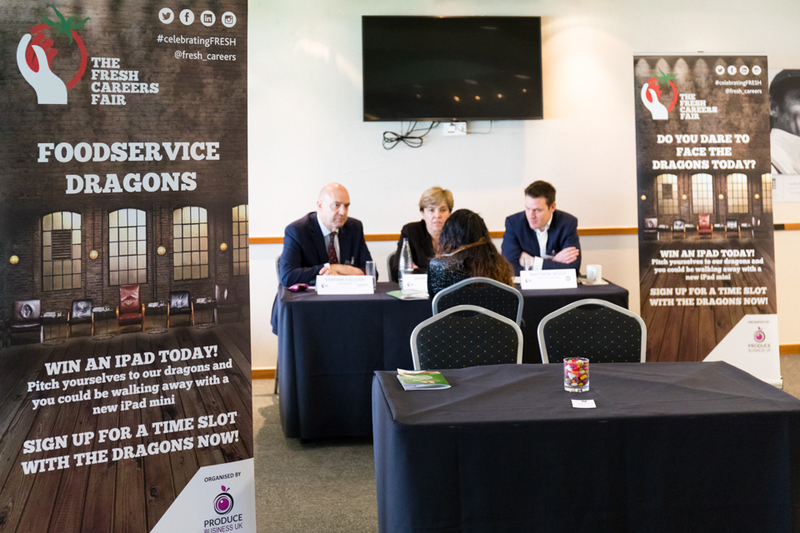 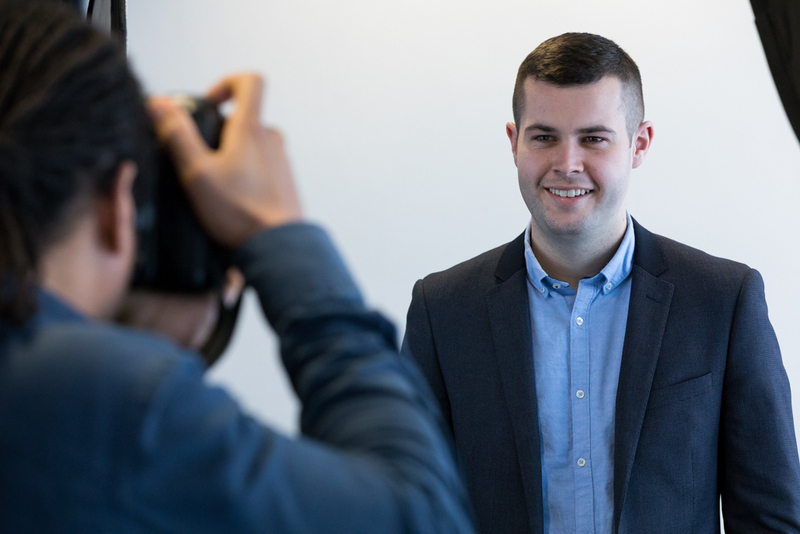 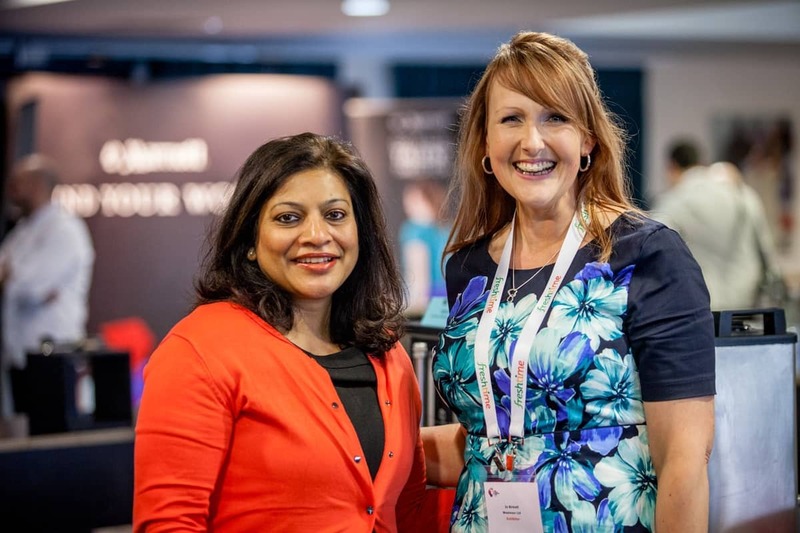 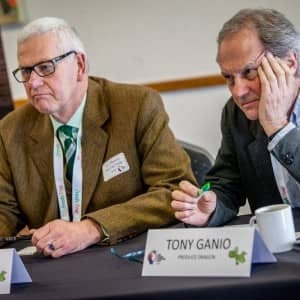 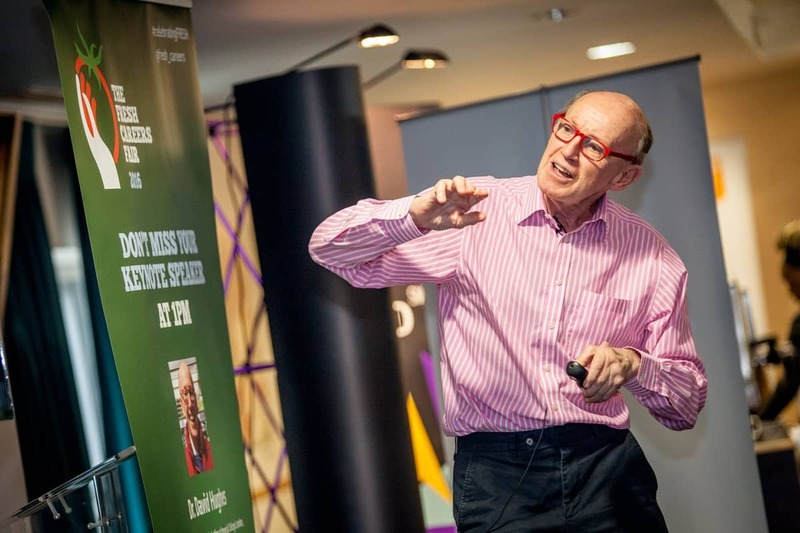 As highly-experienced industry leaders, our dragons are well-placed to help you improve your interview technique and provide focus for your career progression. 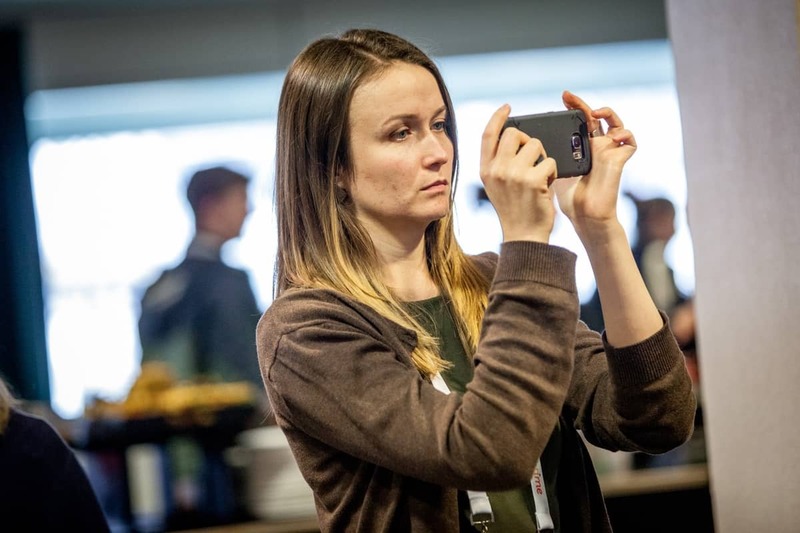 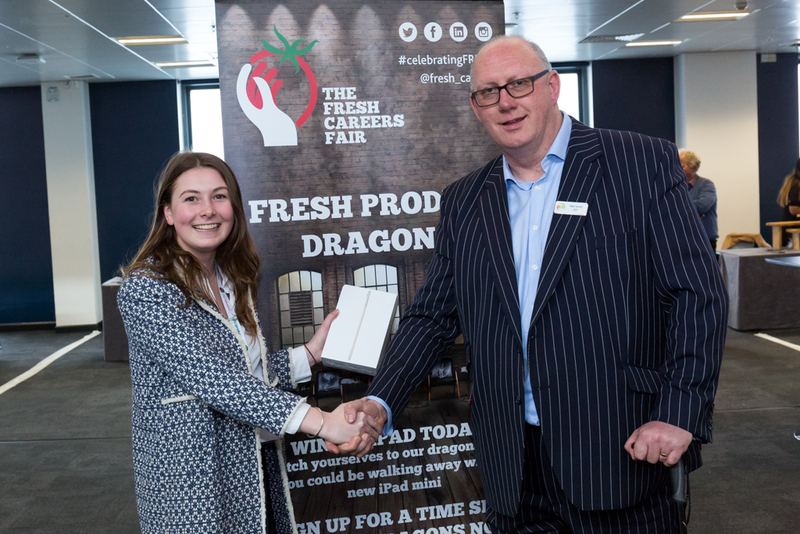 The best pitch wins an iPad mini! 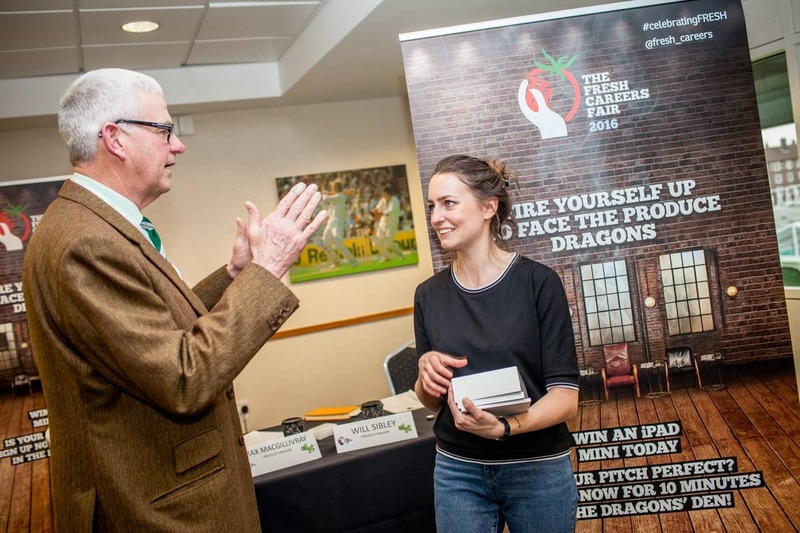 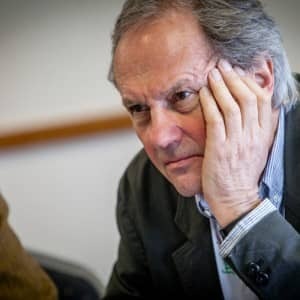 *An ‘elevator pitch’ should last as long as an elevator ride, or, in our case, 2-3 minutes! 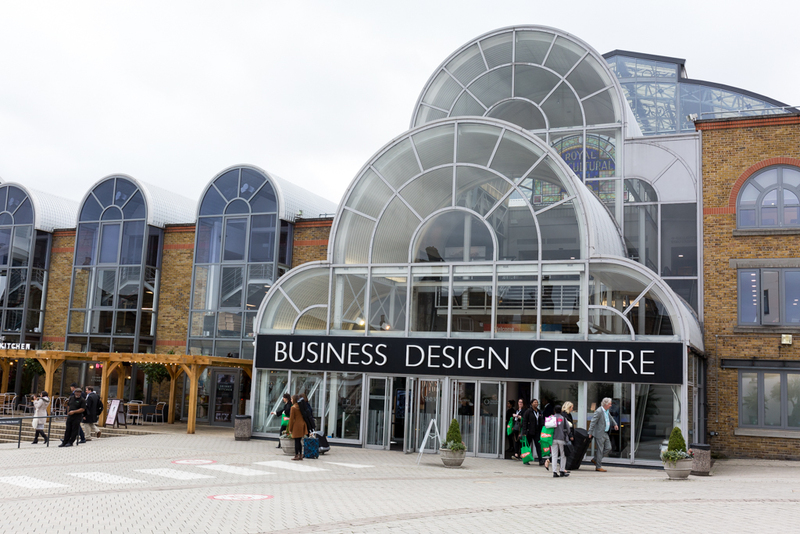 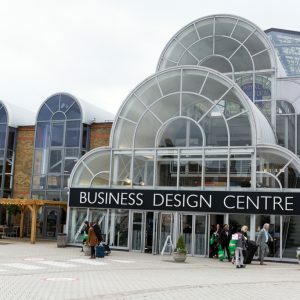 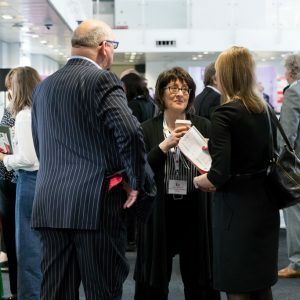 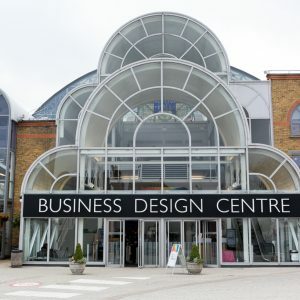 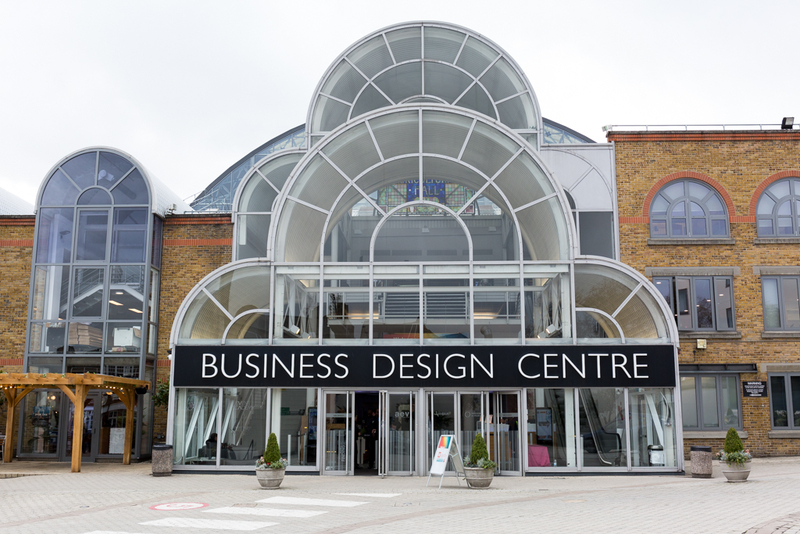 The London Business Design Centre is a five minute walk from Angel tube station on the Northern Line.